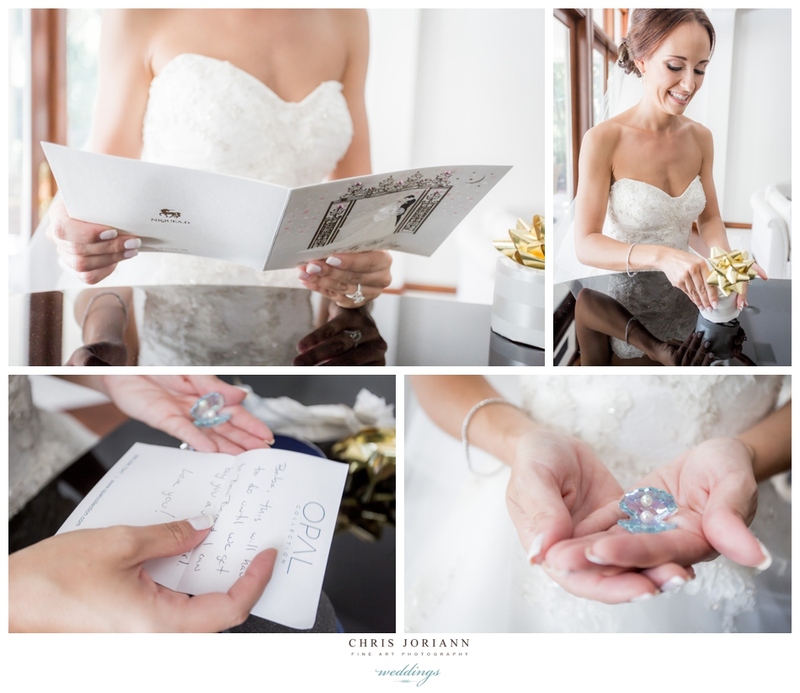 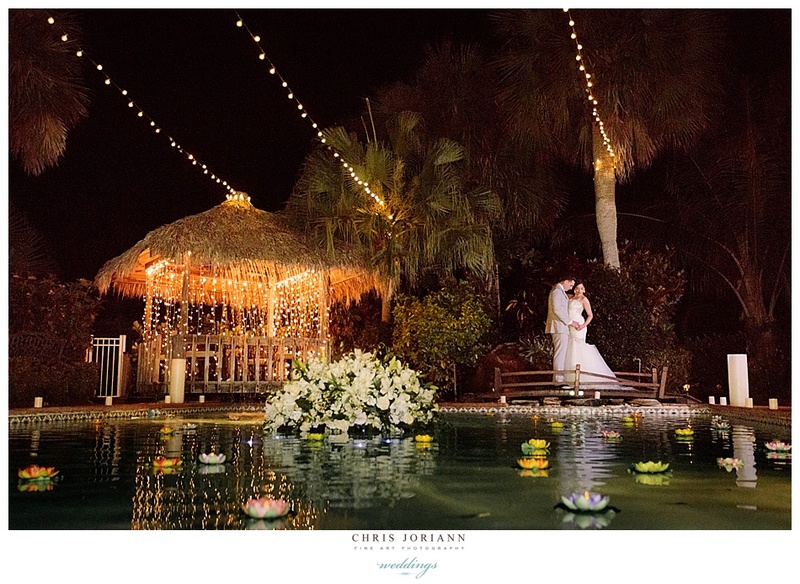 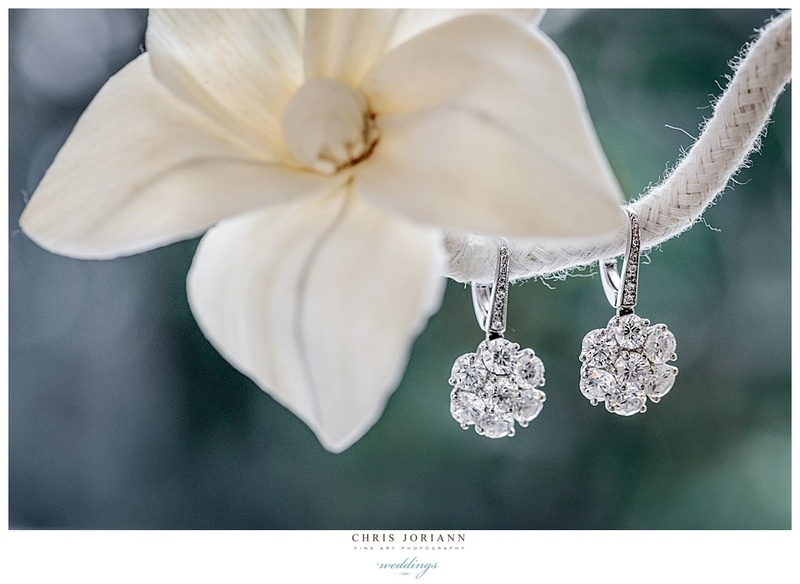 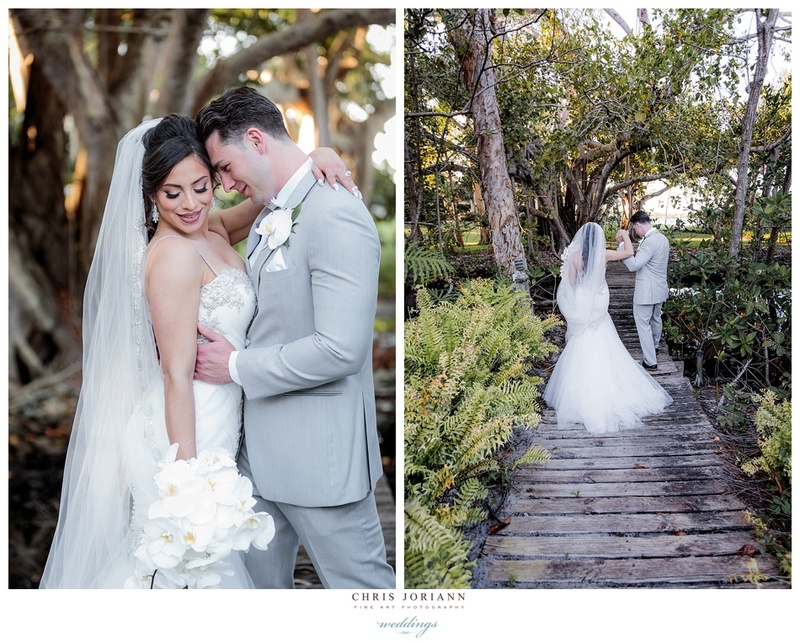 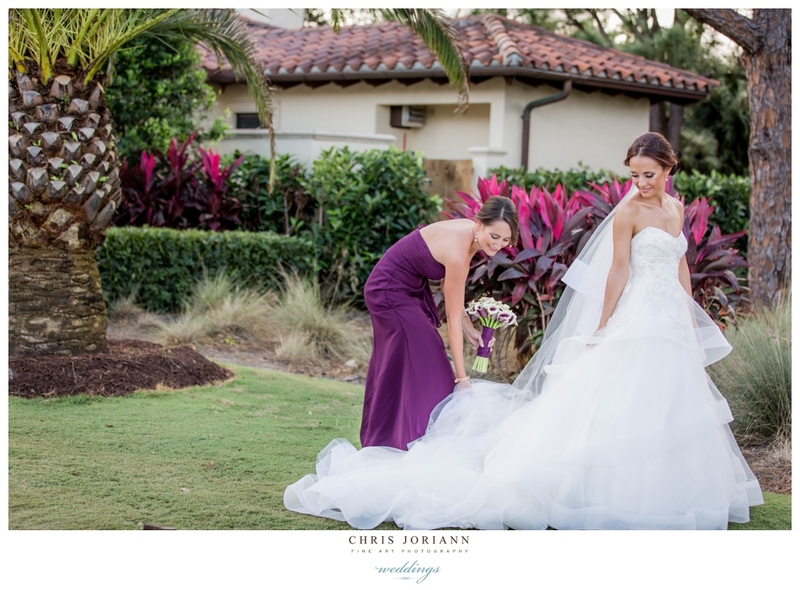 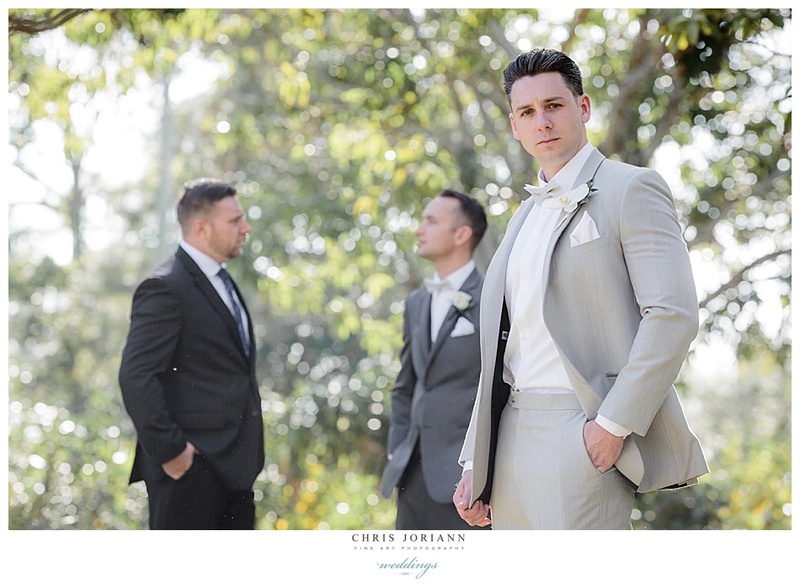 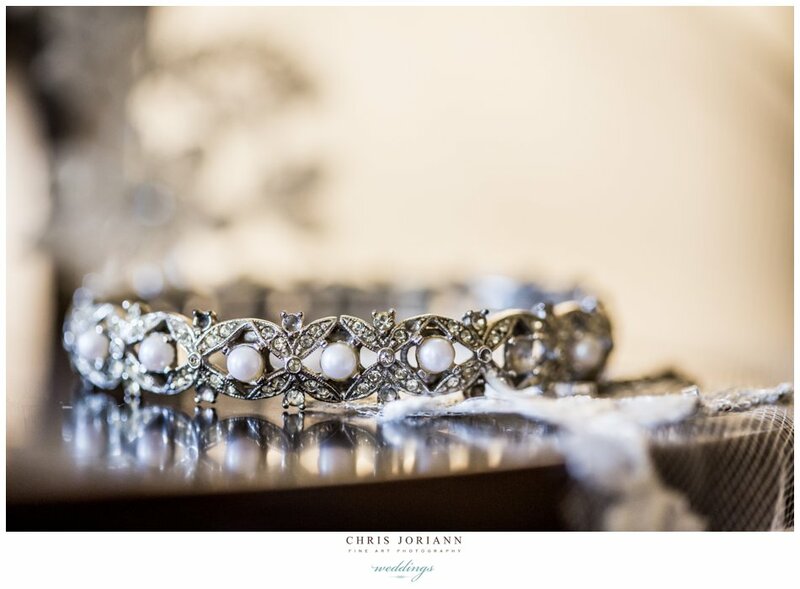 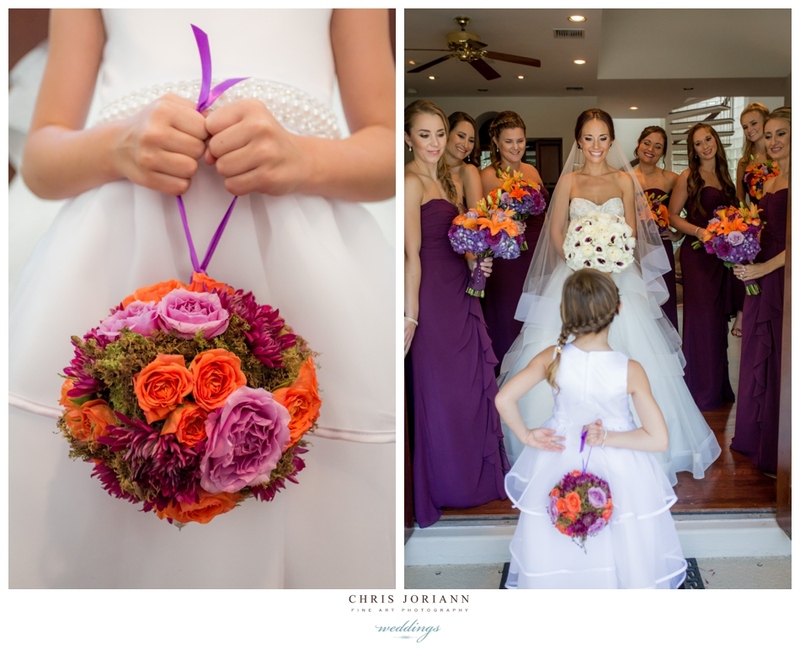 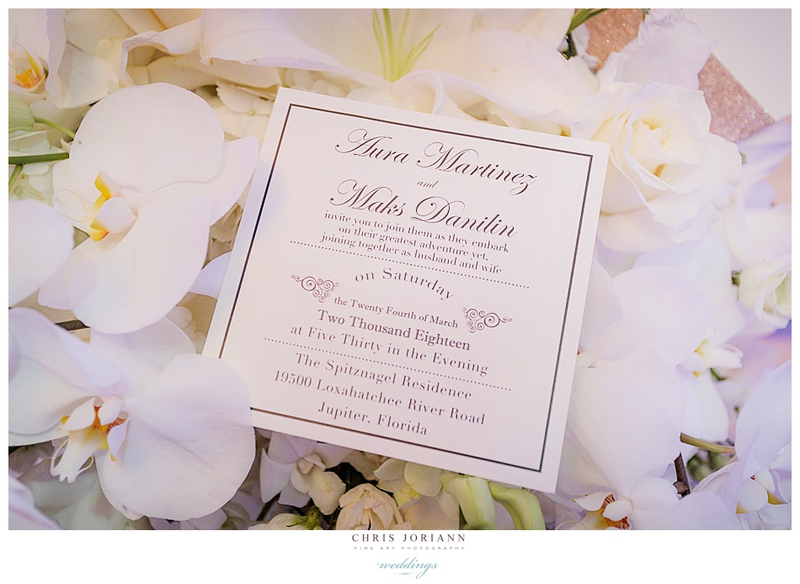 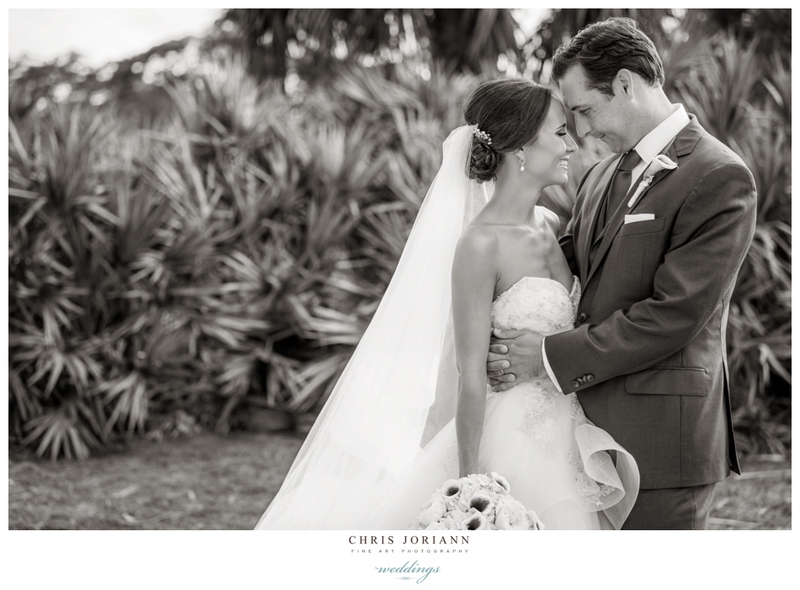 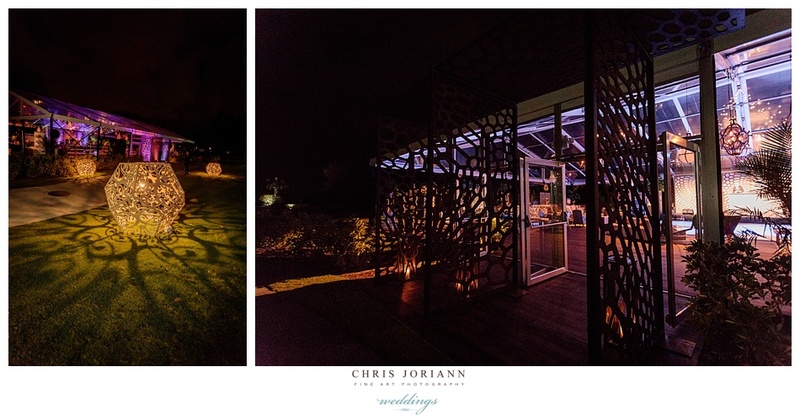 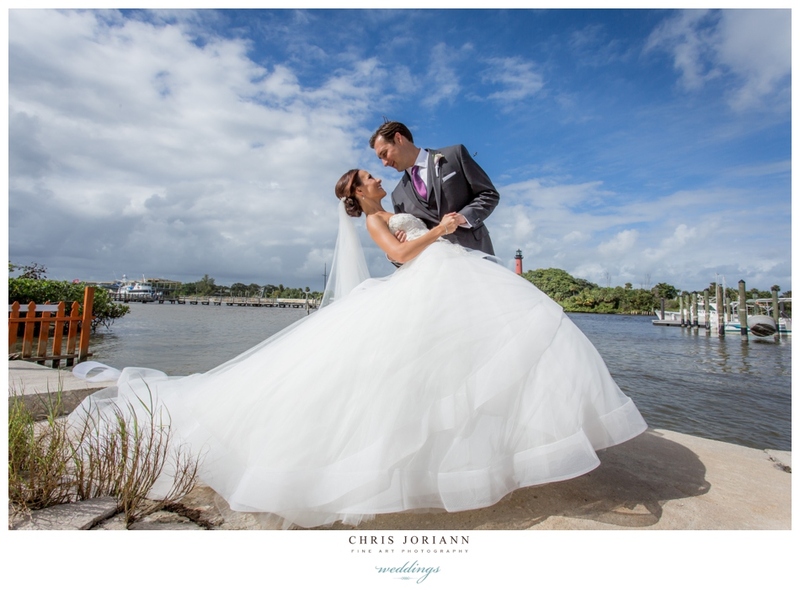 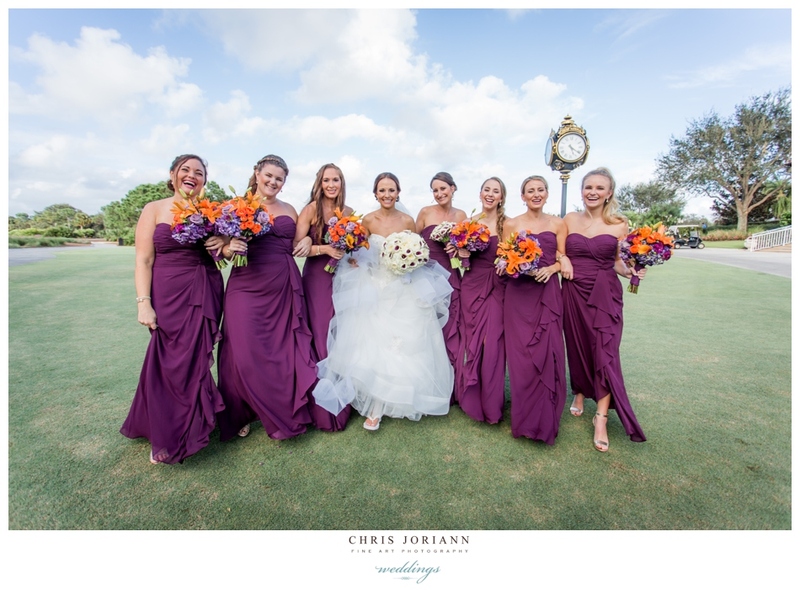 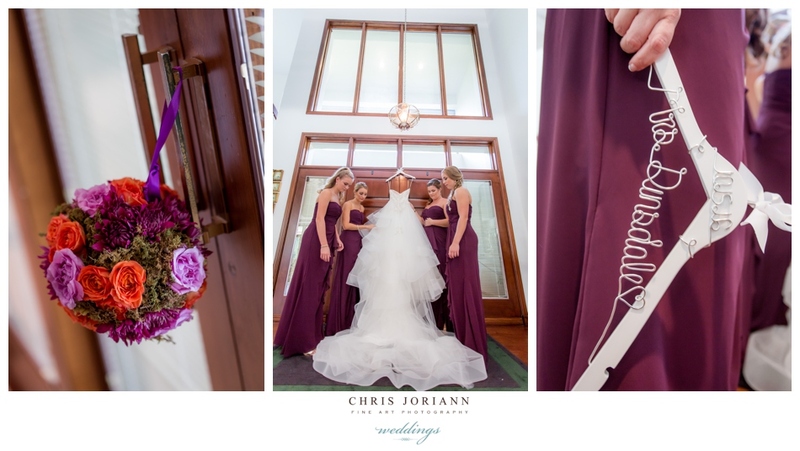 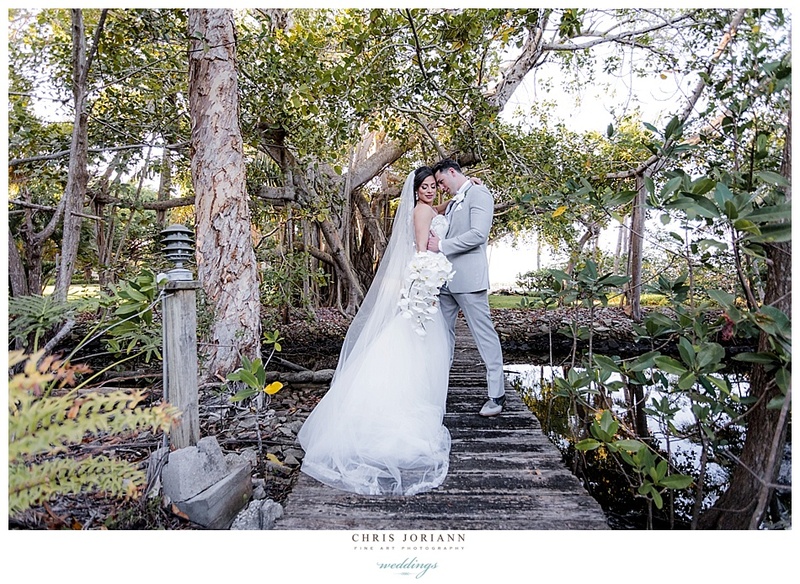 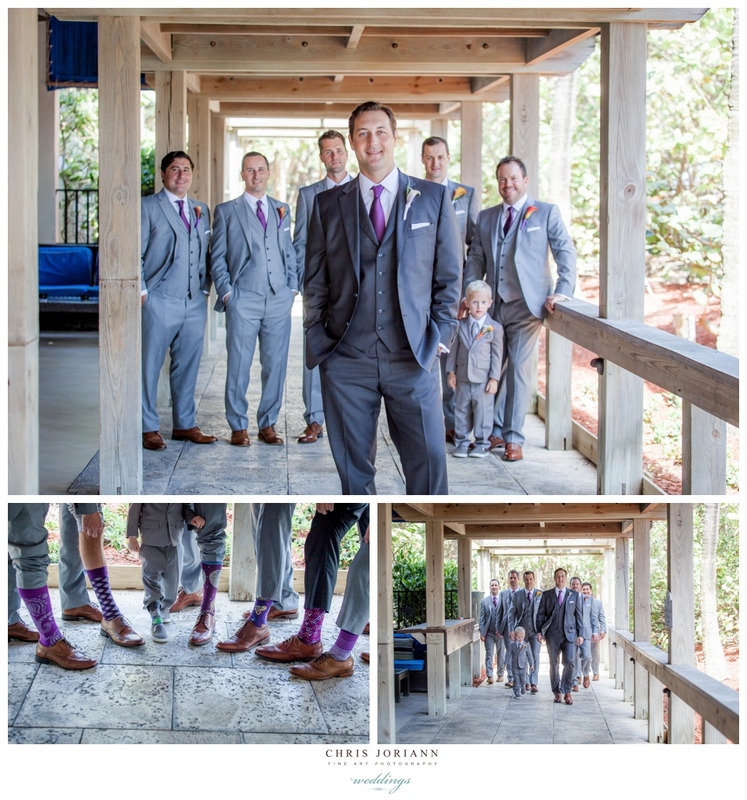 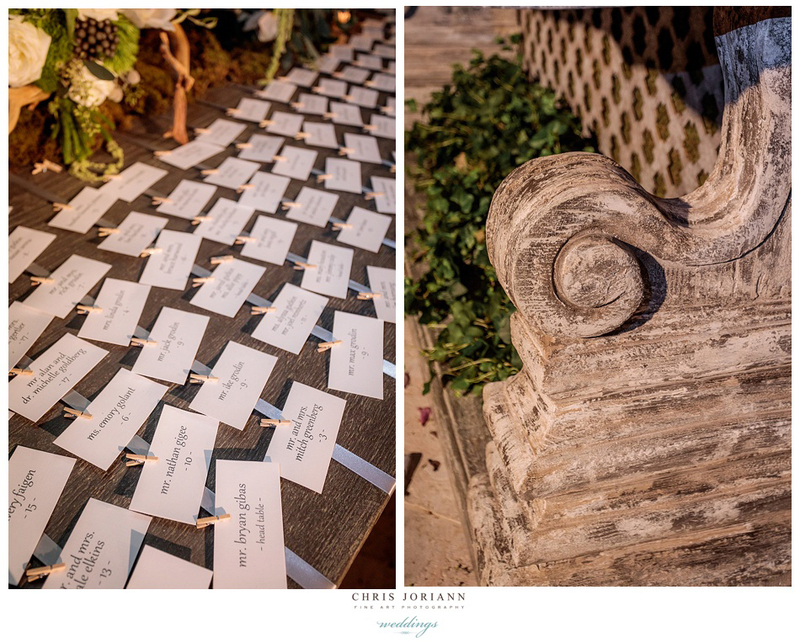 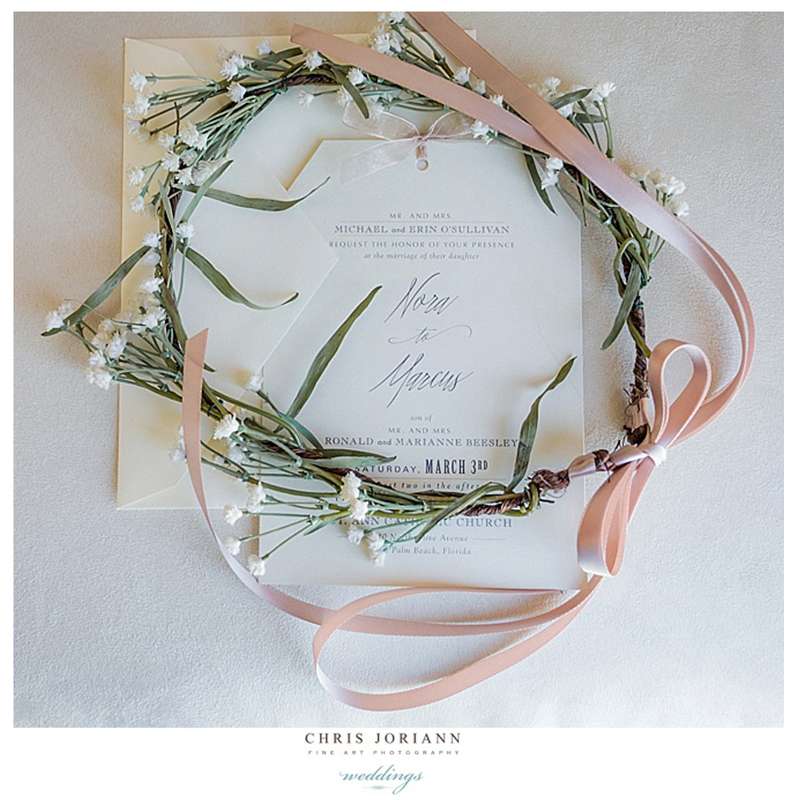 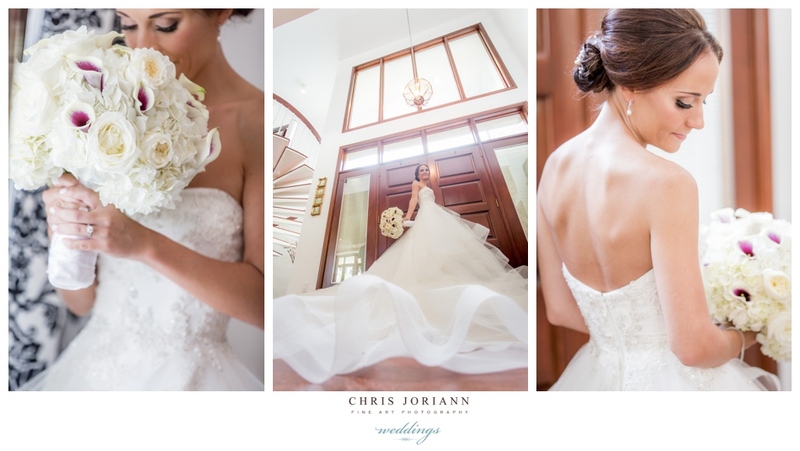 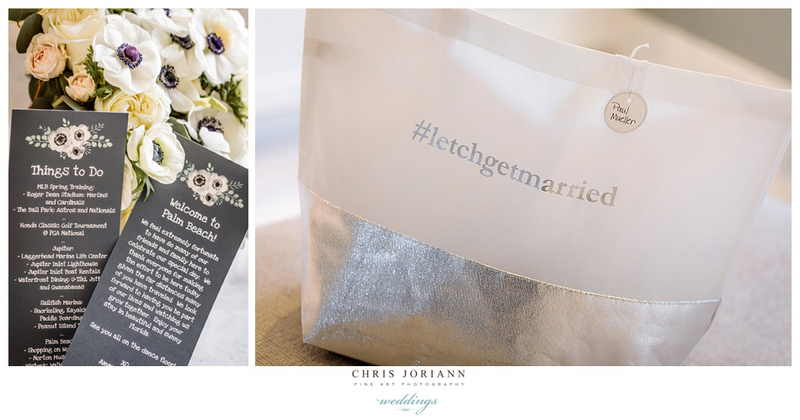 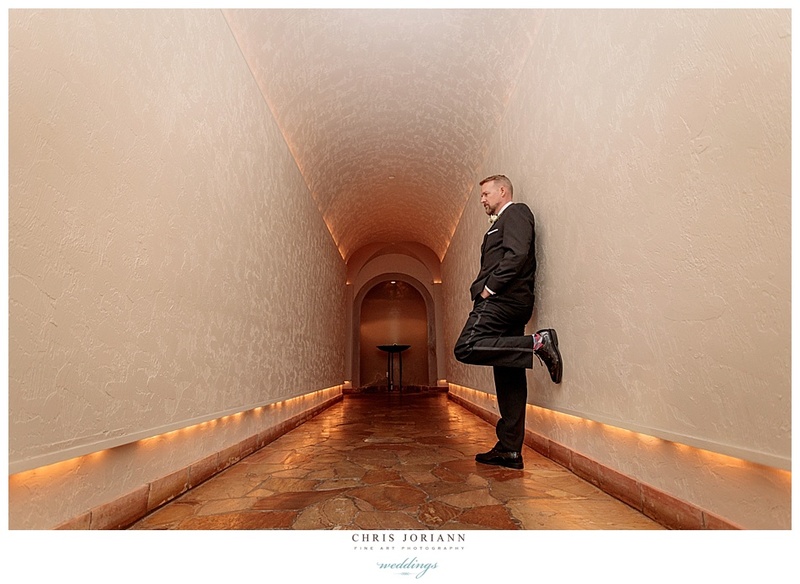 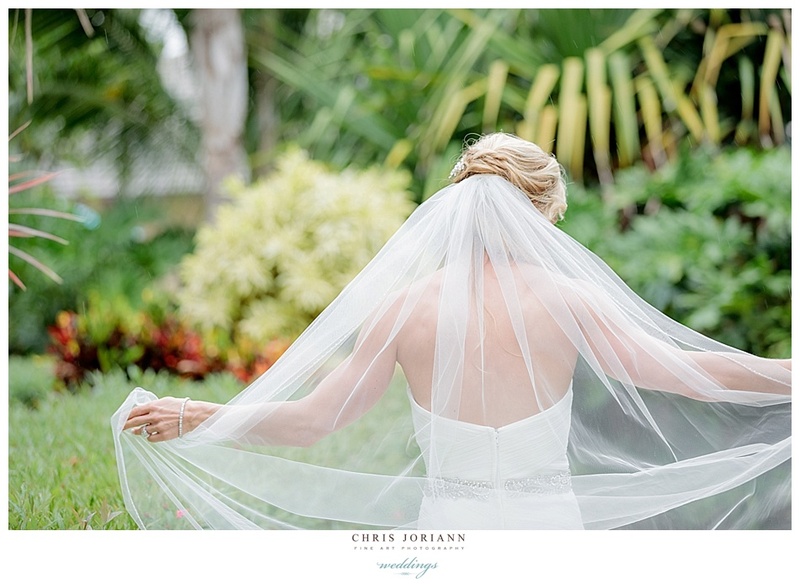 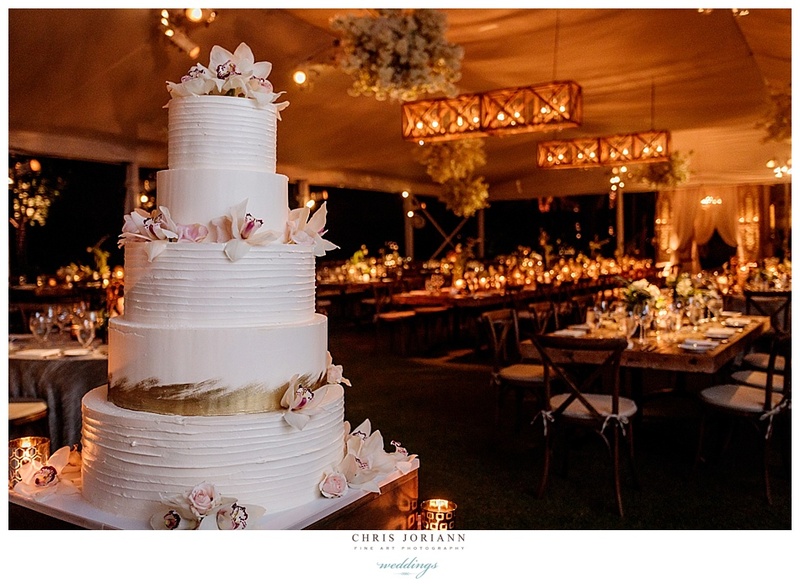 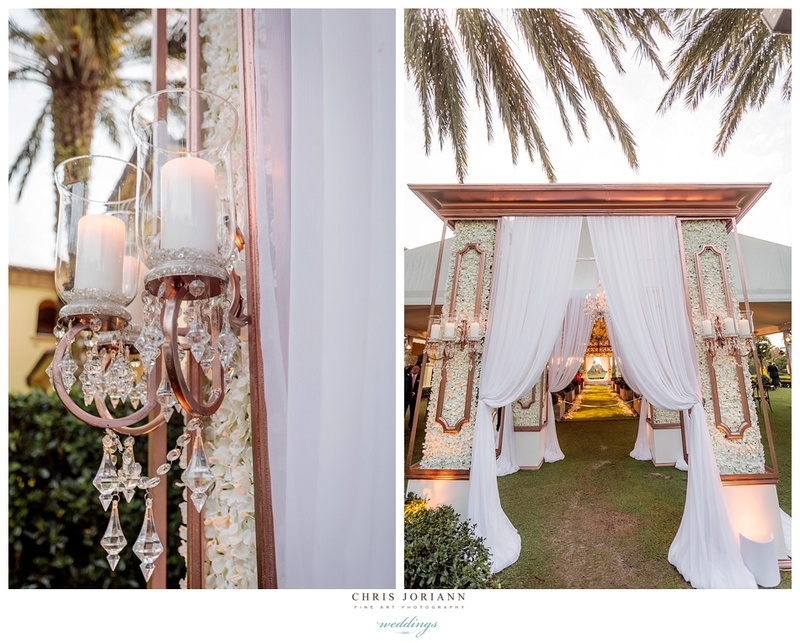 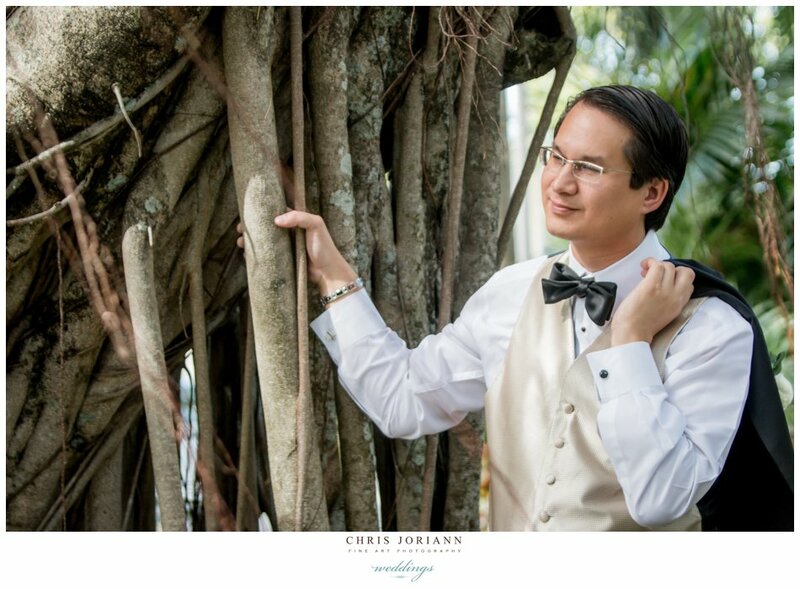 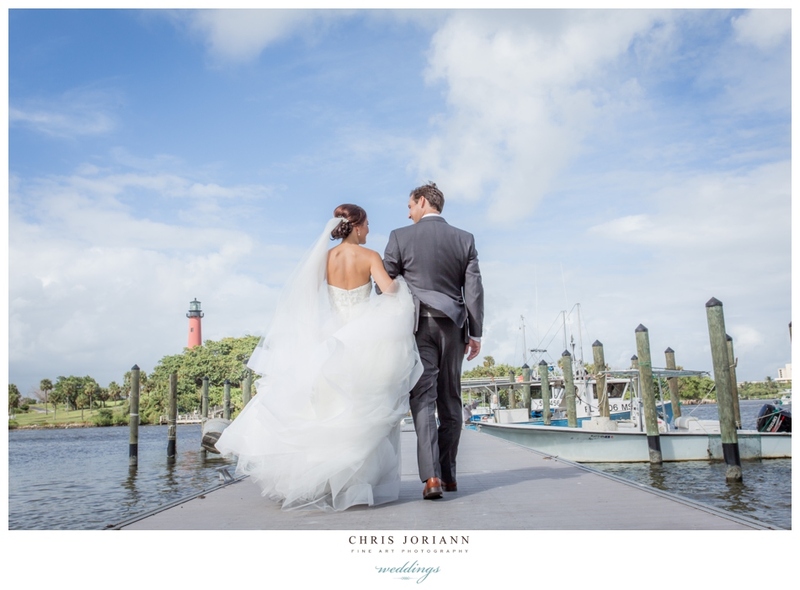 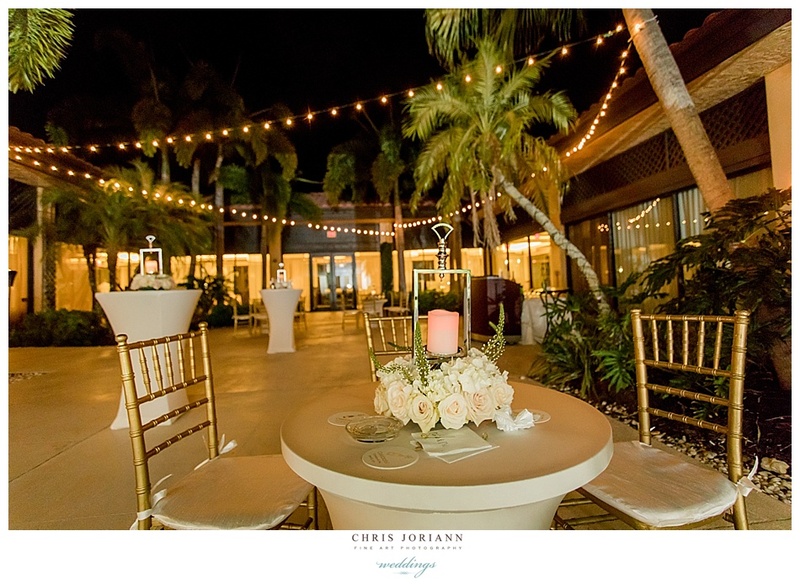 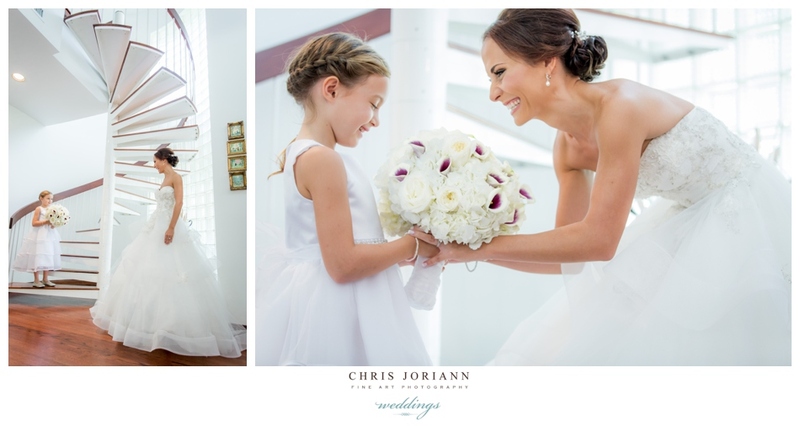 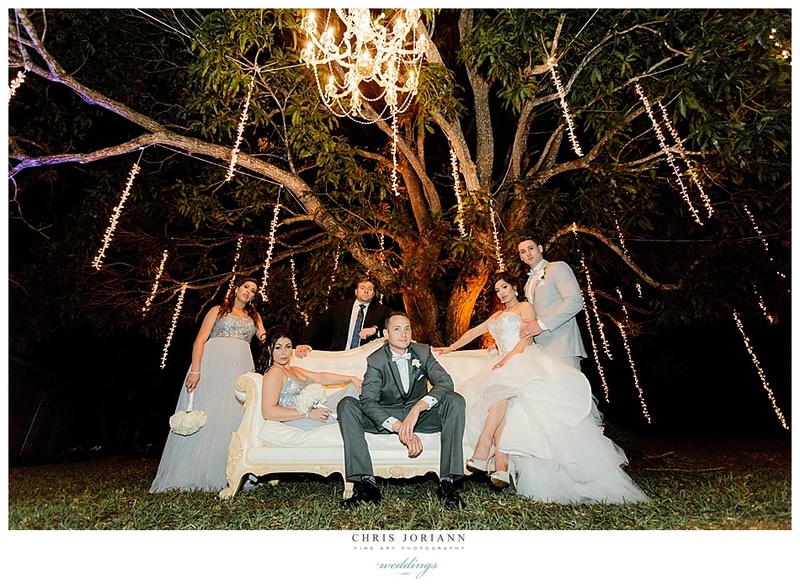 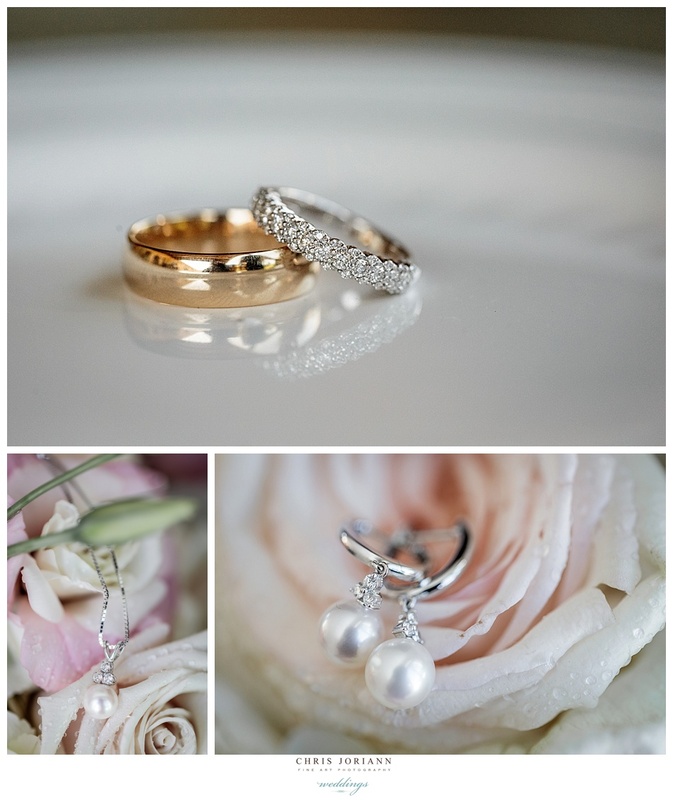 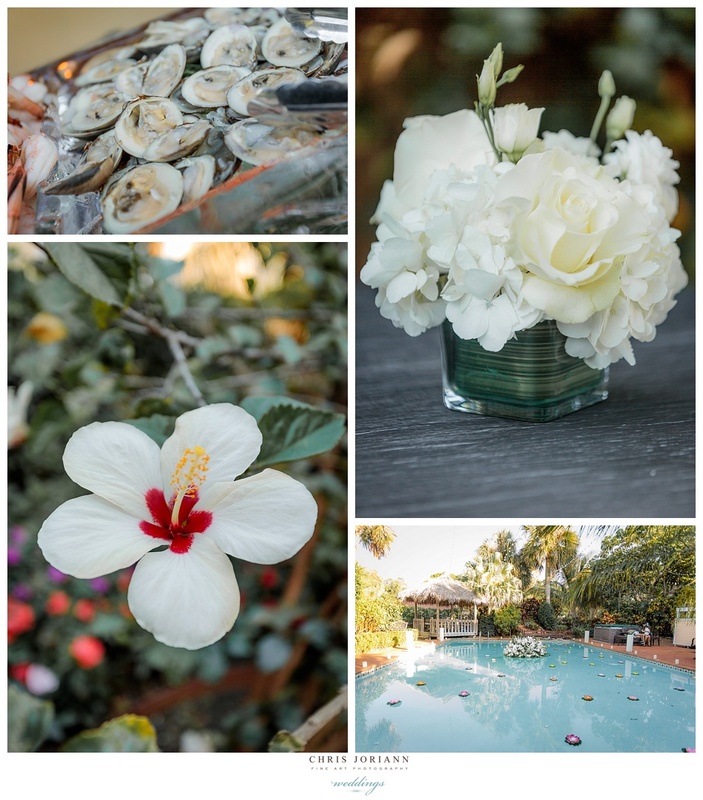 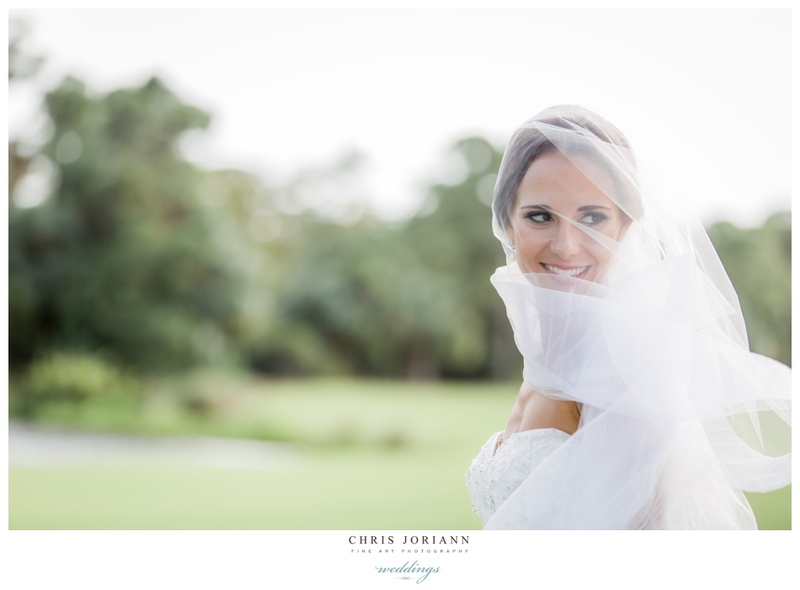 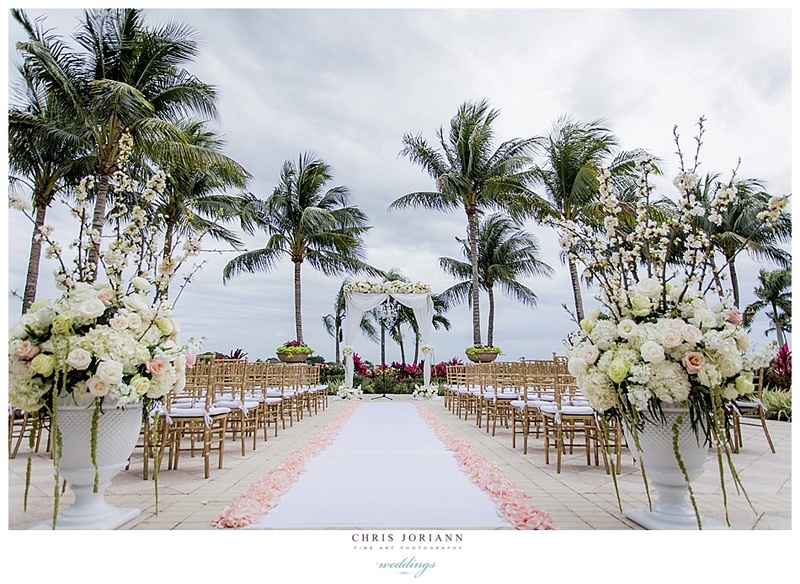 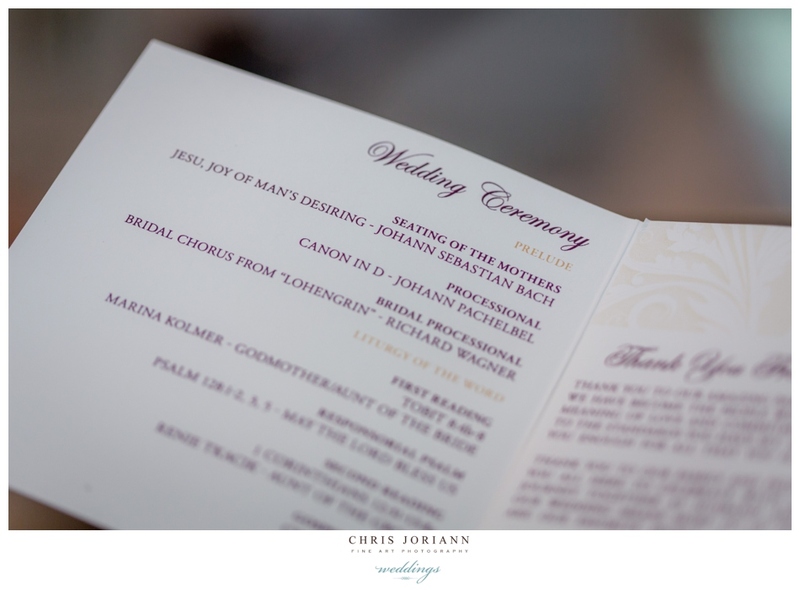 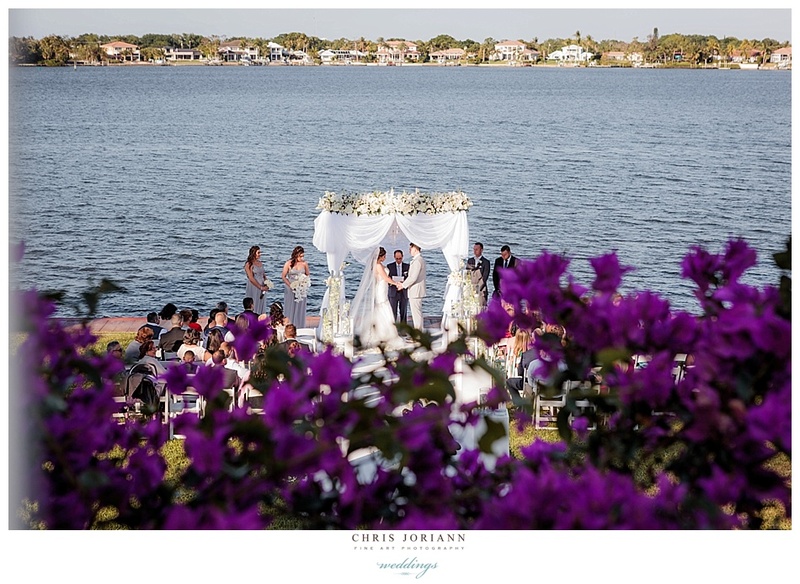 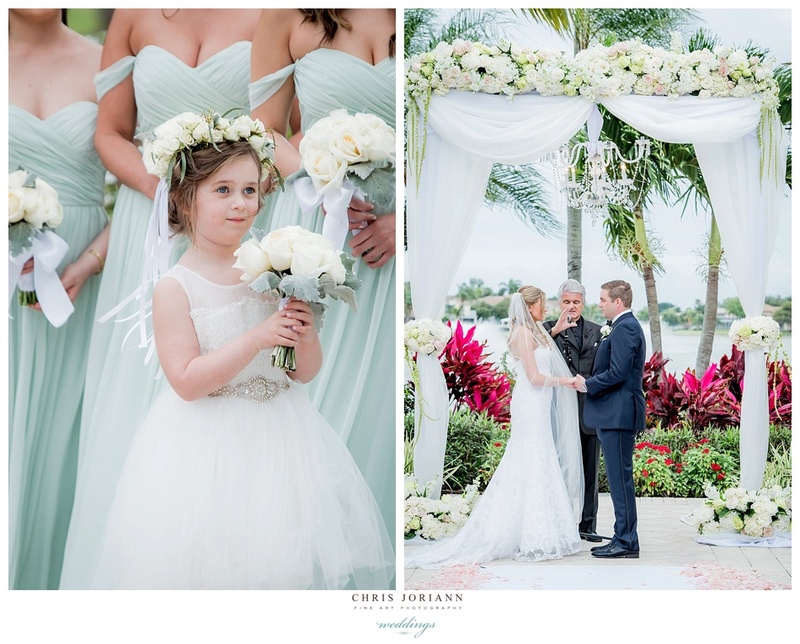 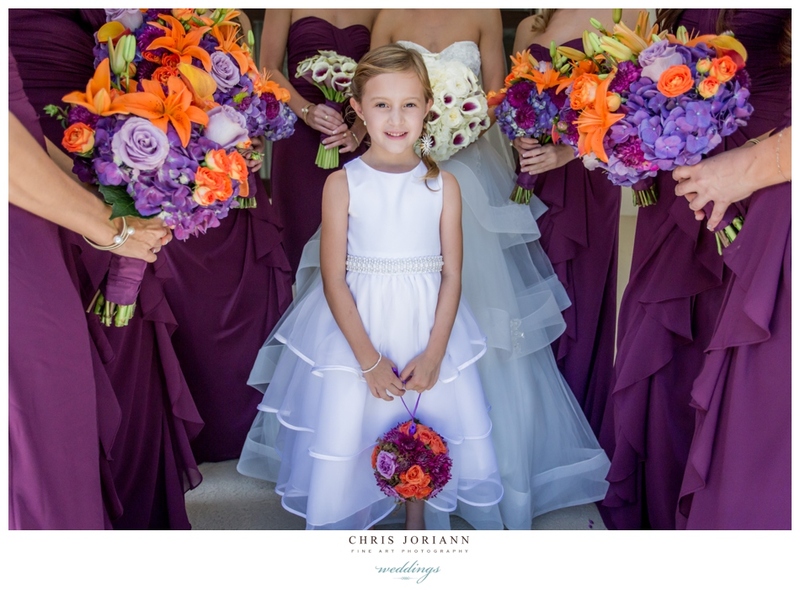 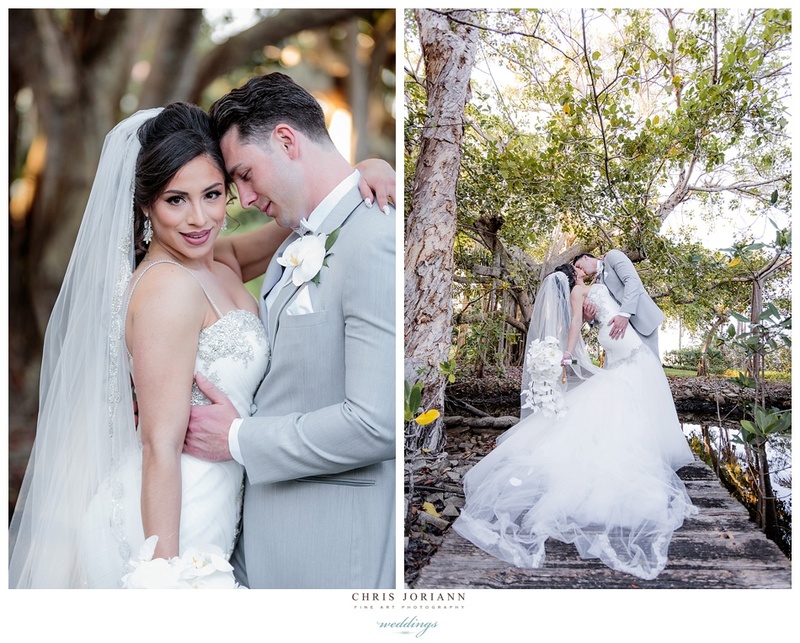 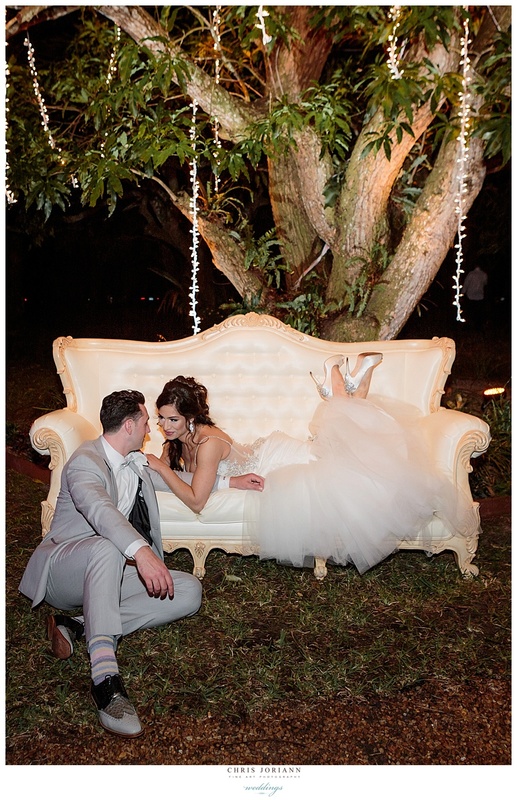 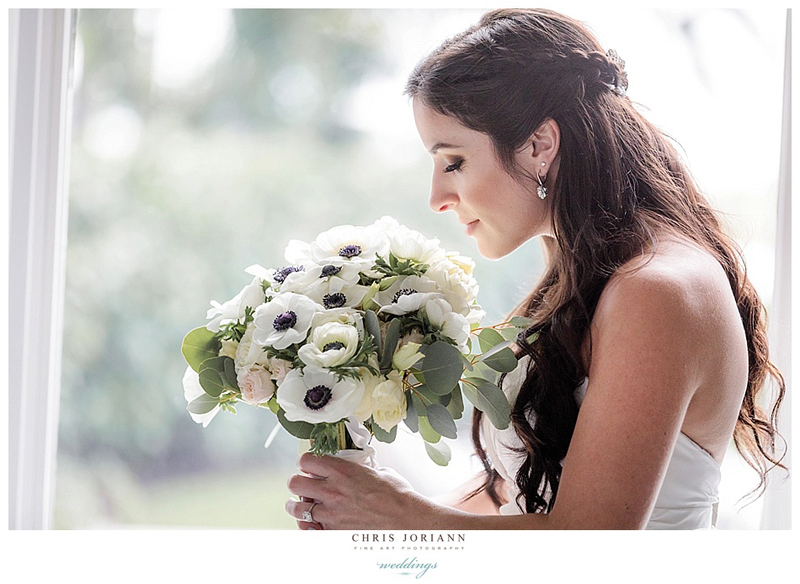 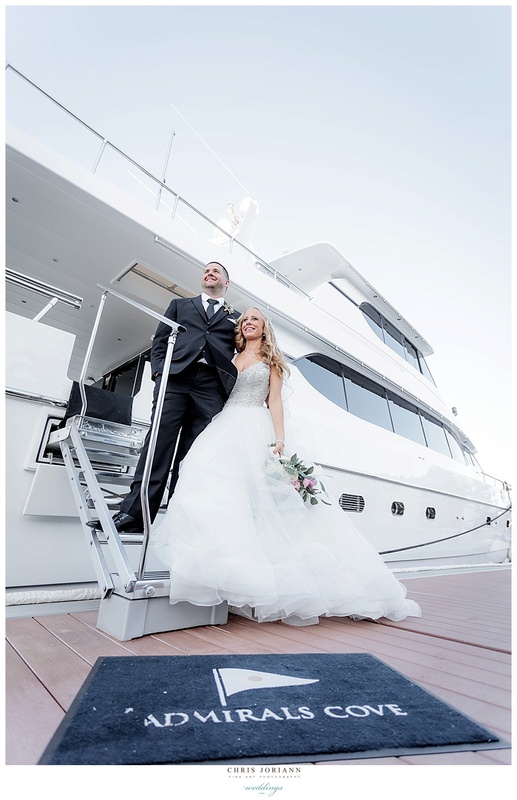 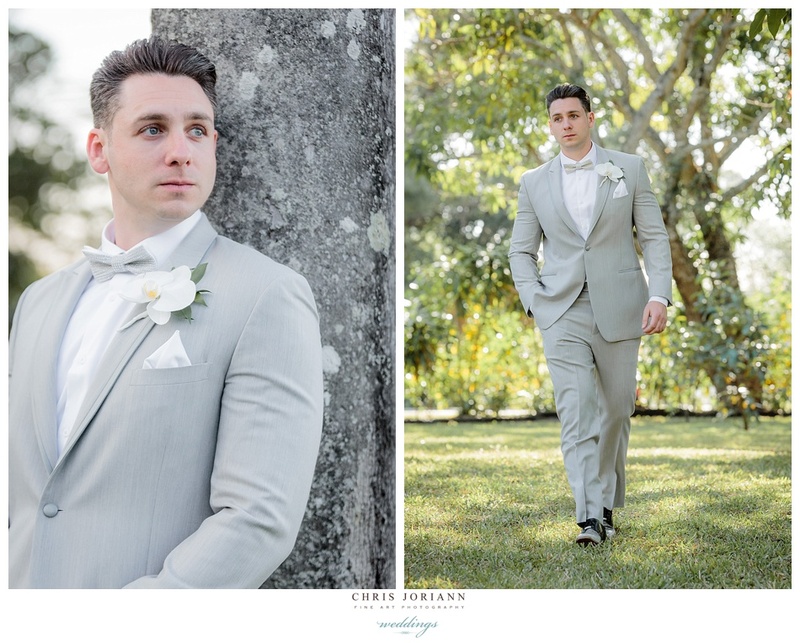 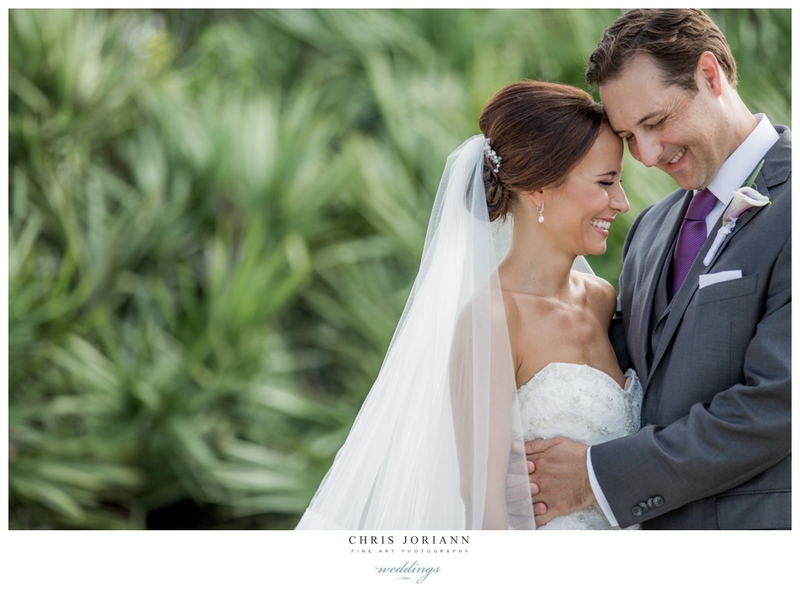 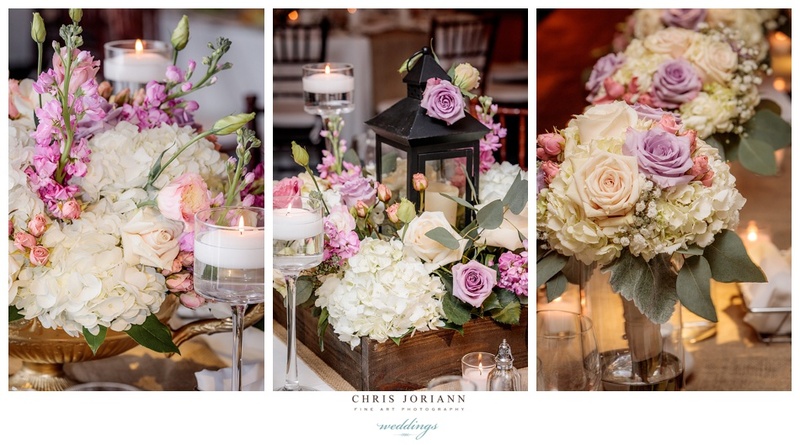 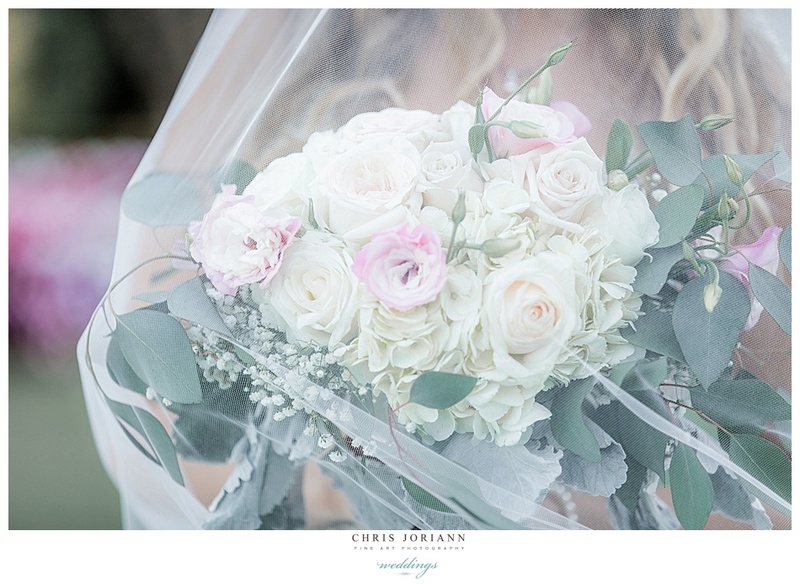 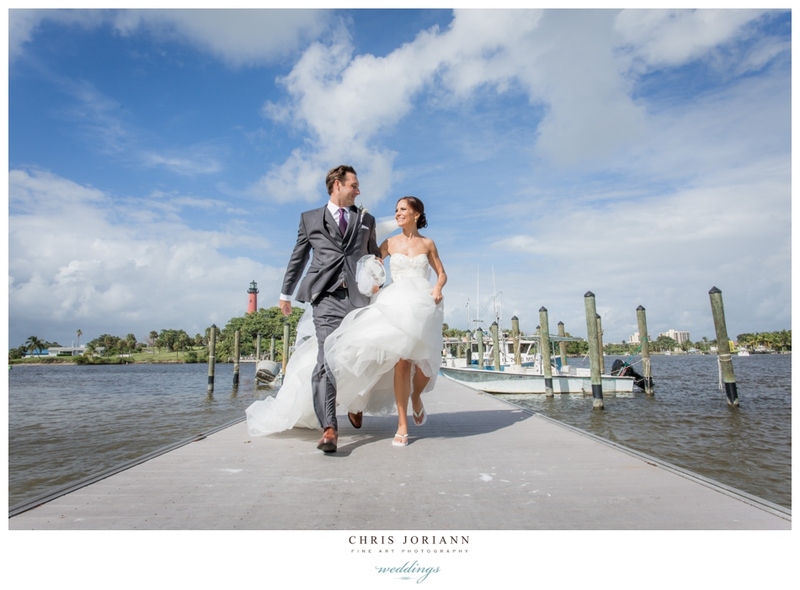 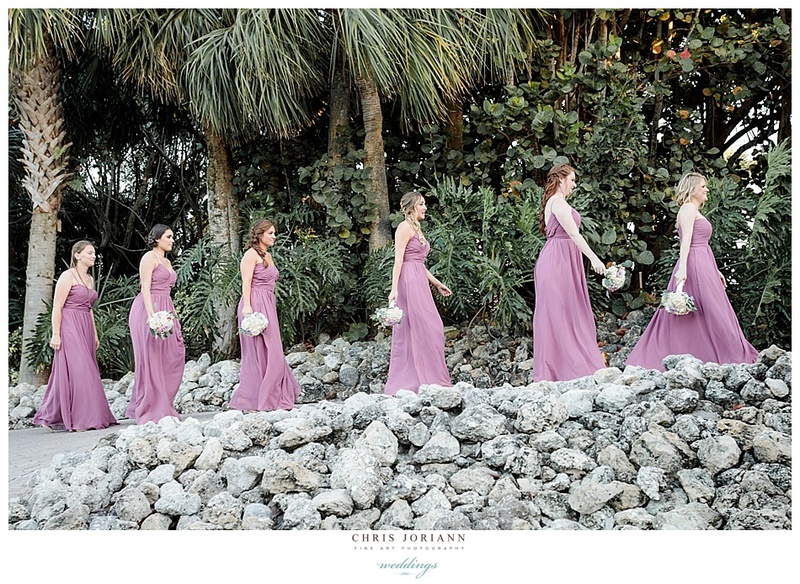 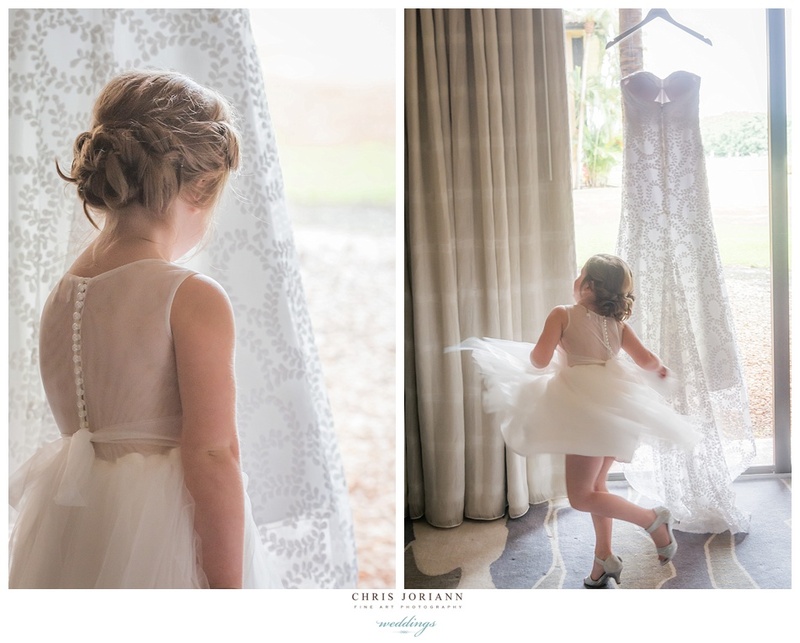 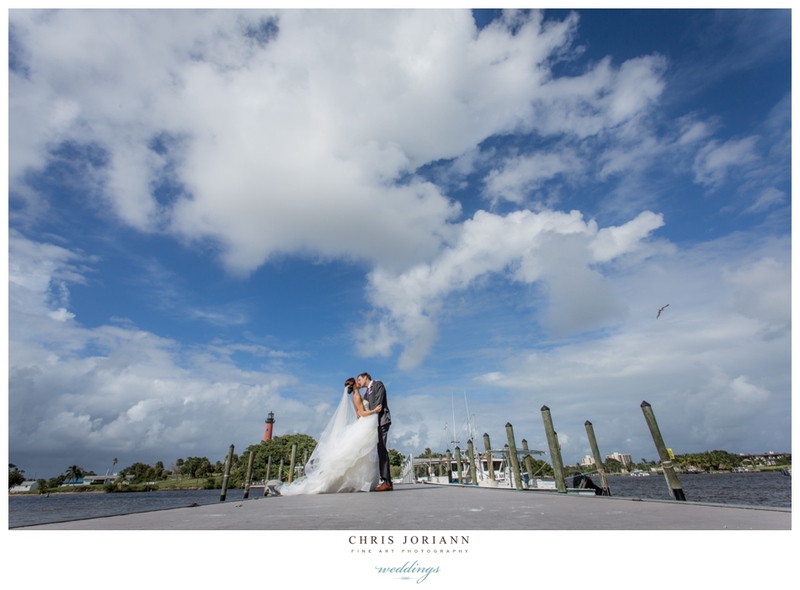 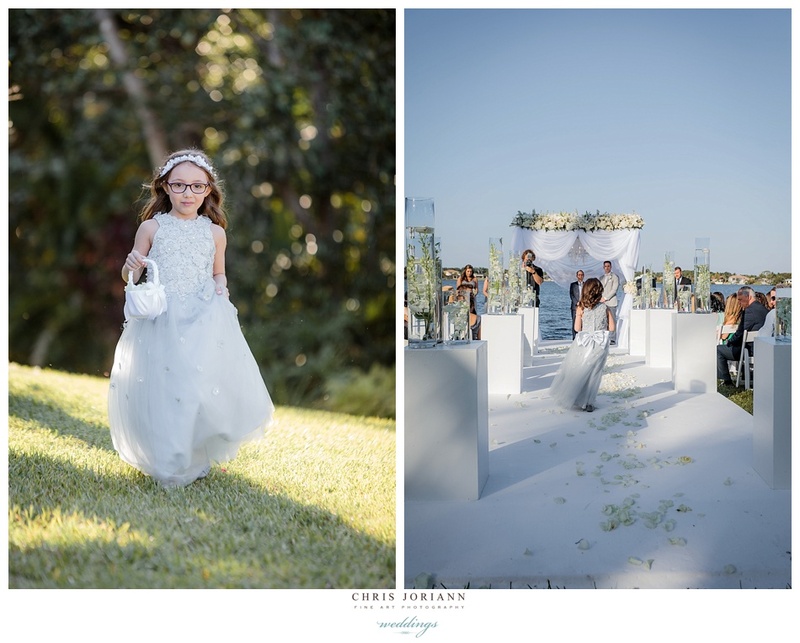 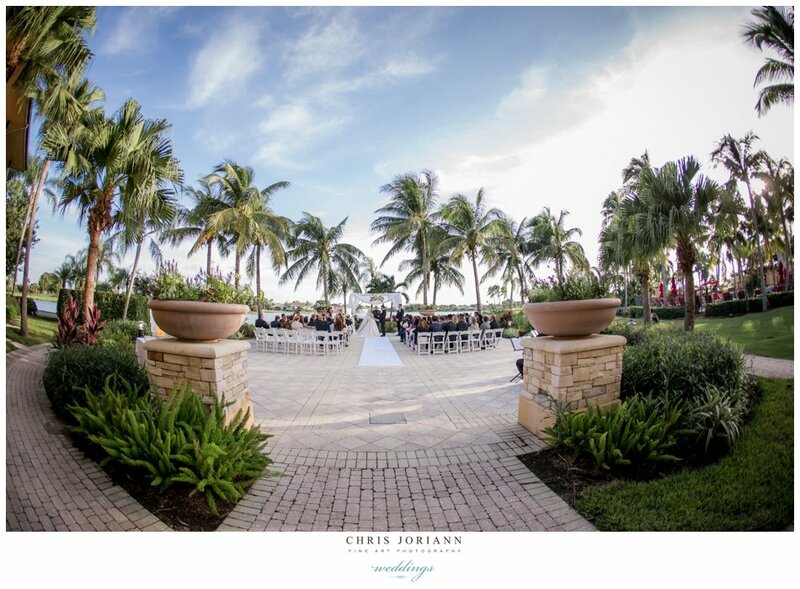 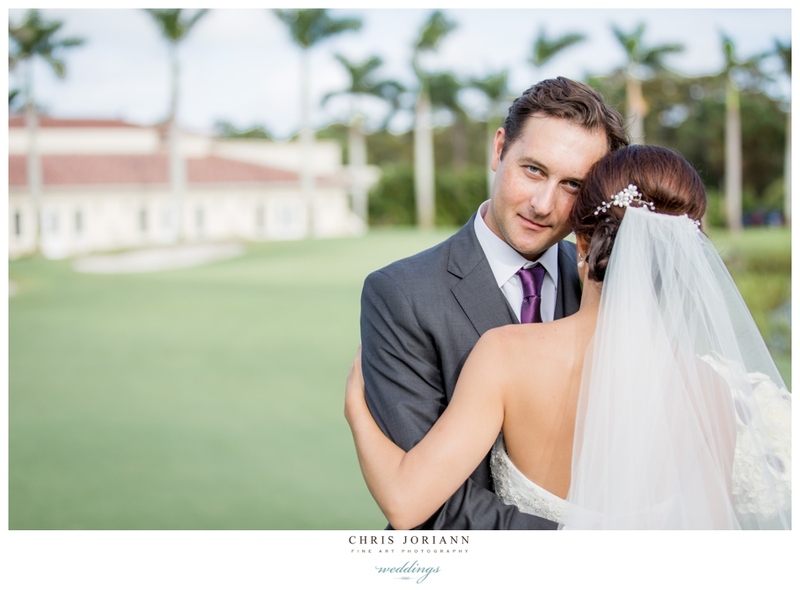 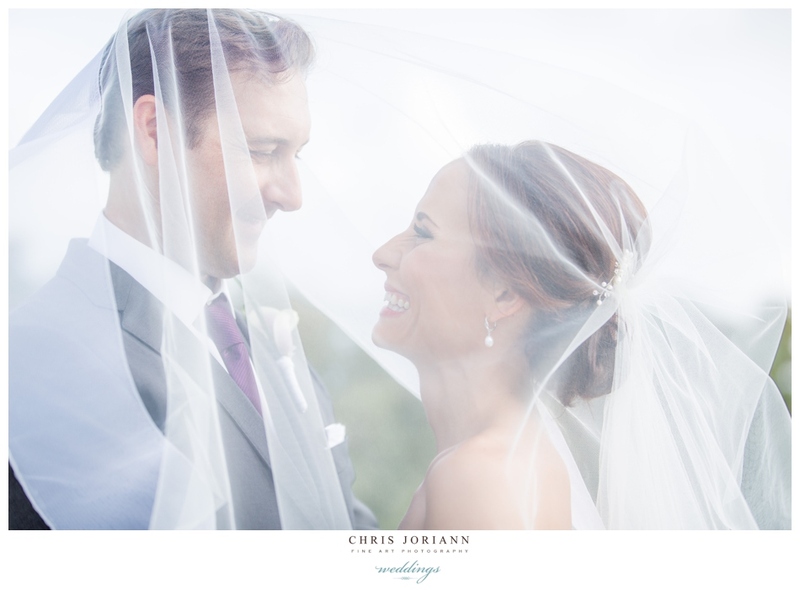 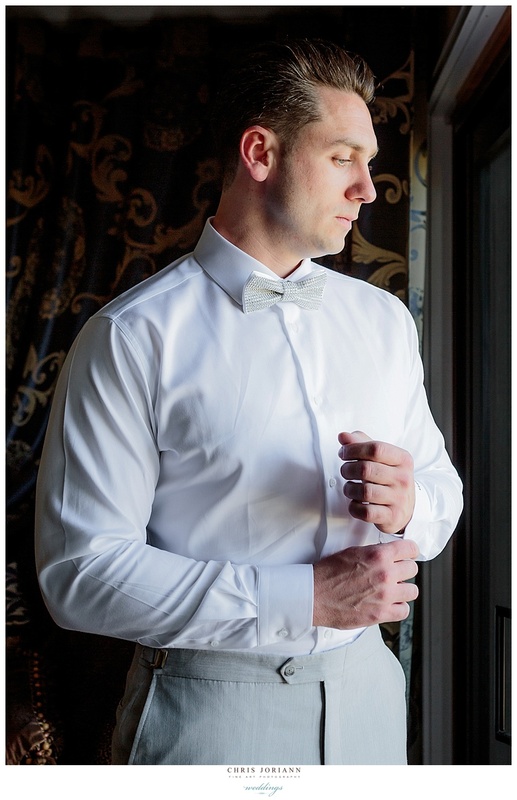 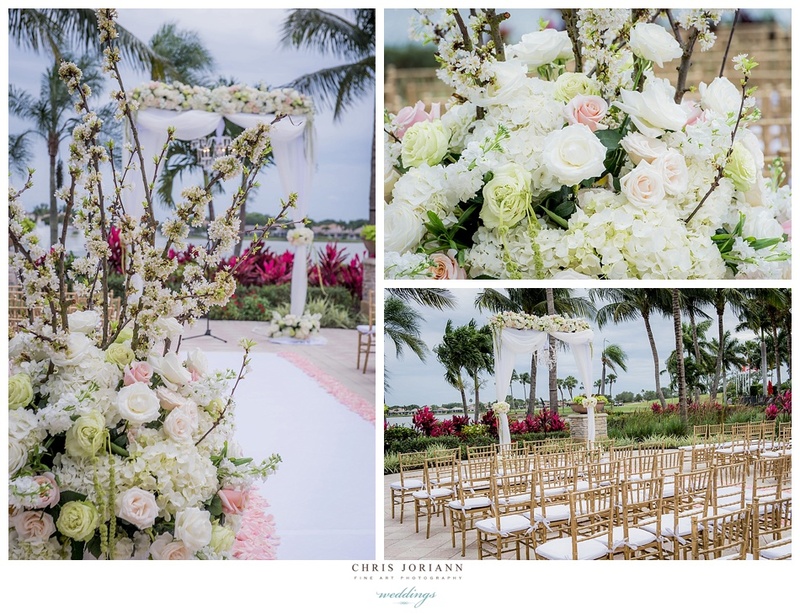 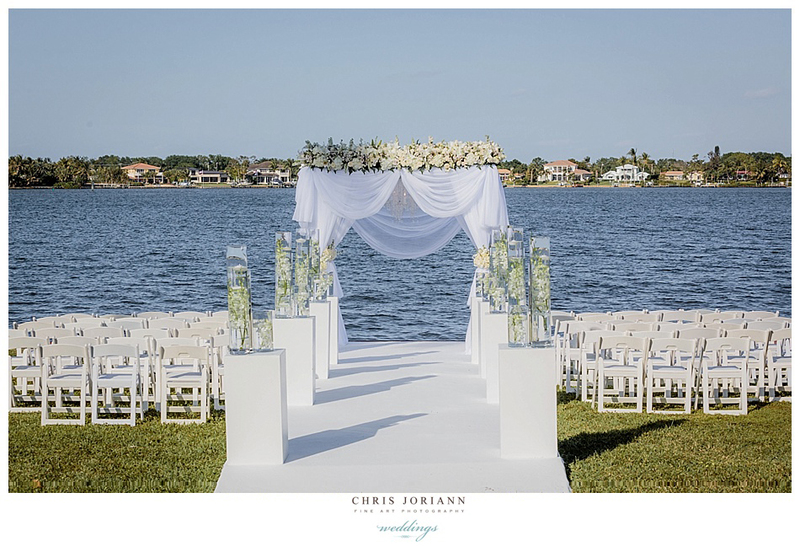 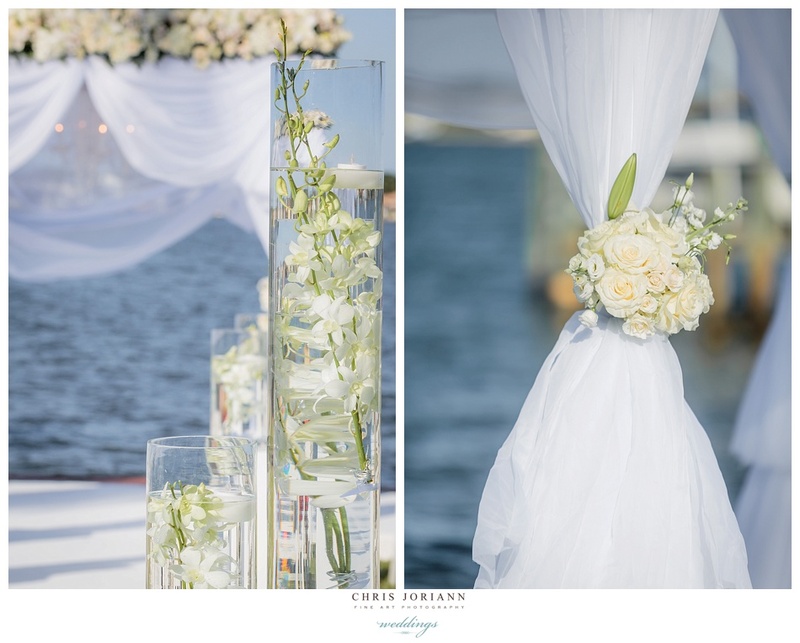 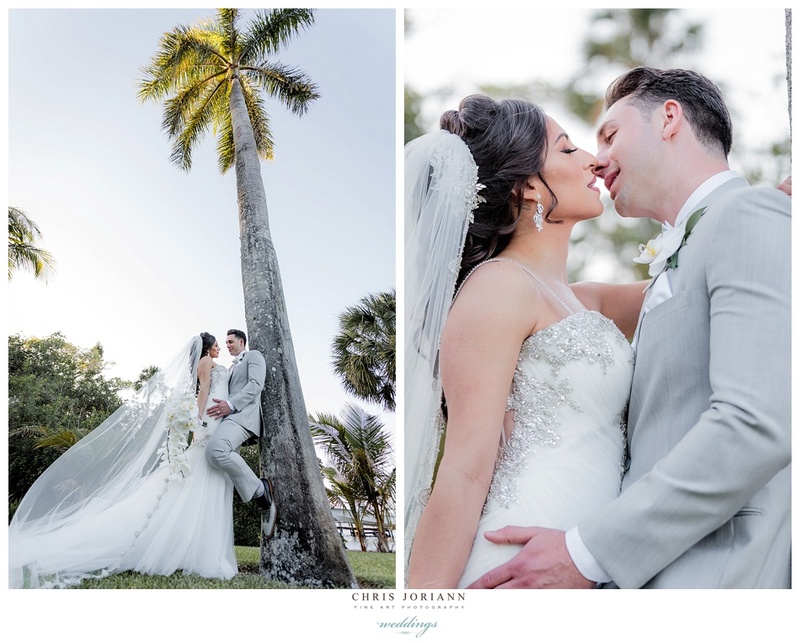 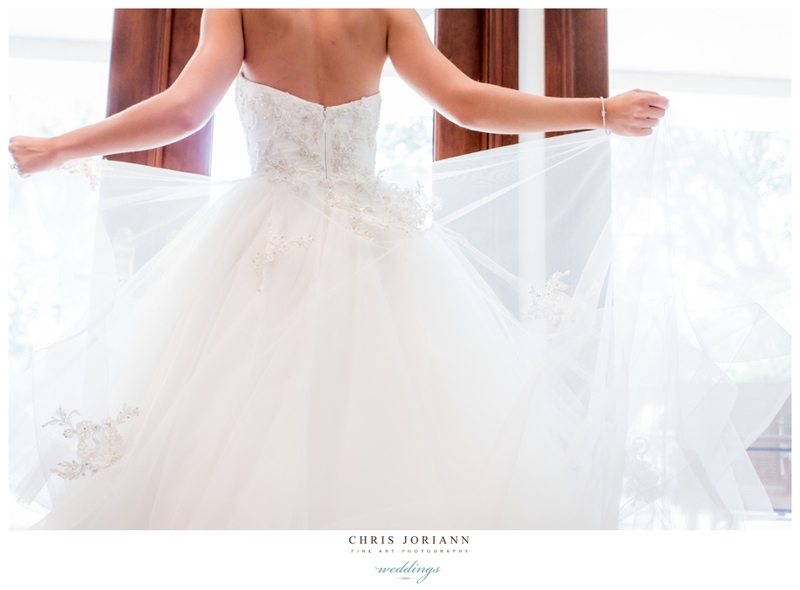 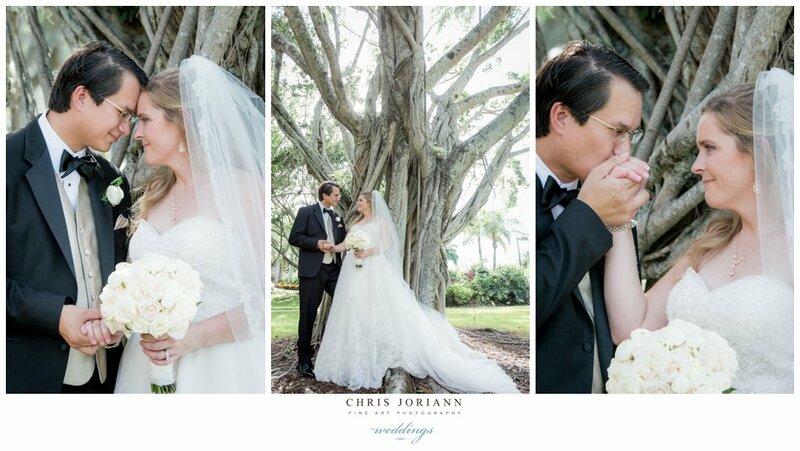 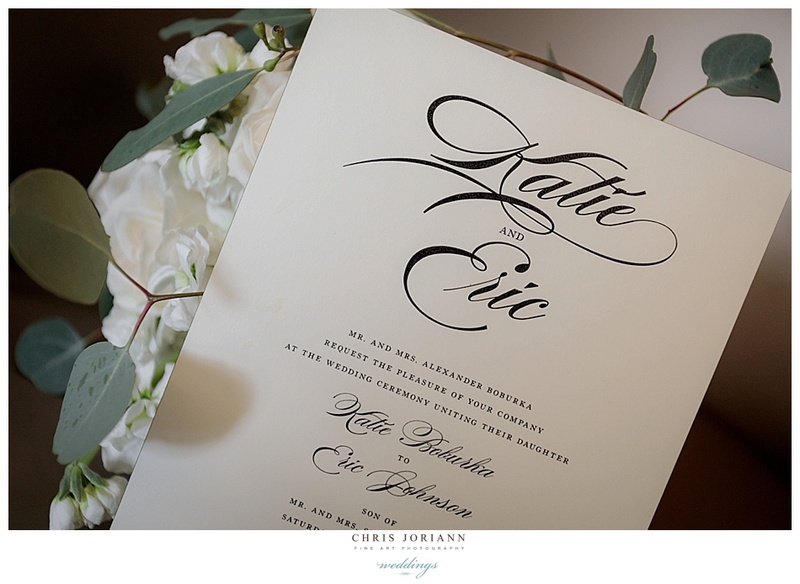 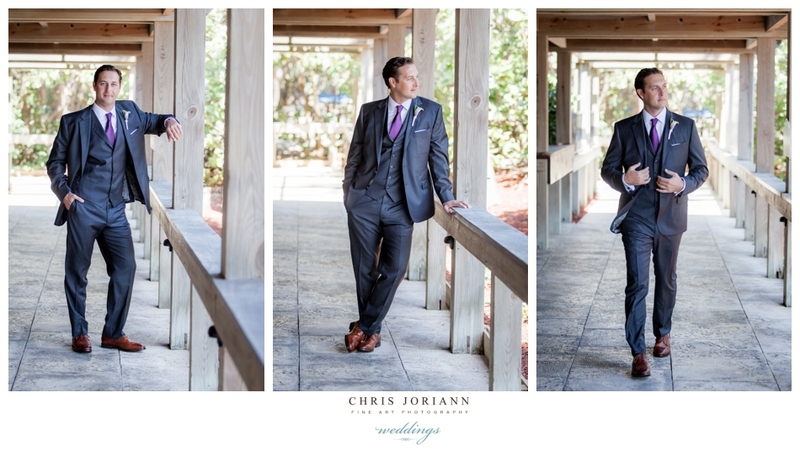 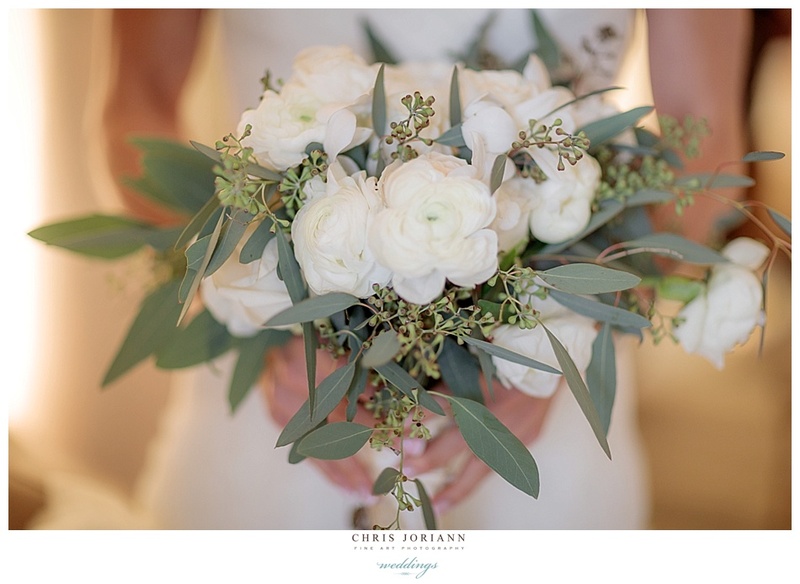 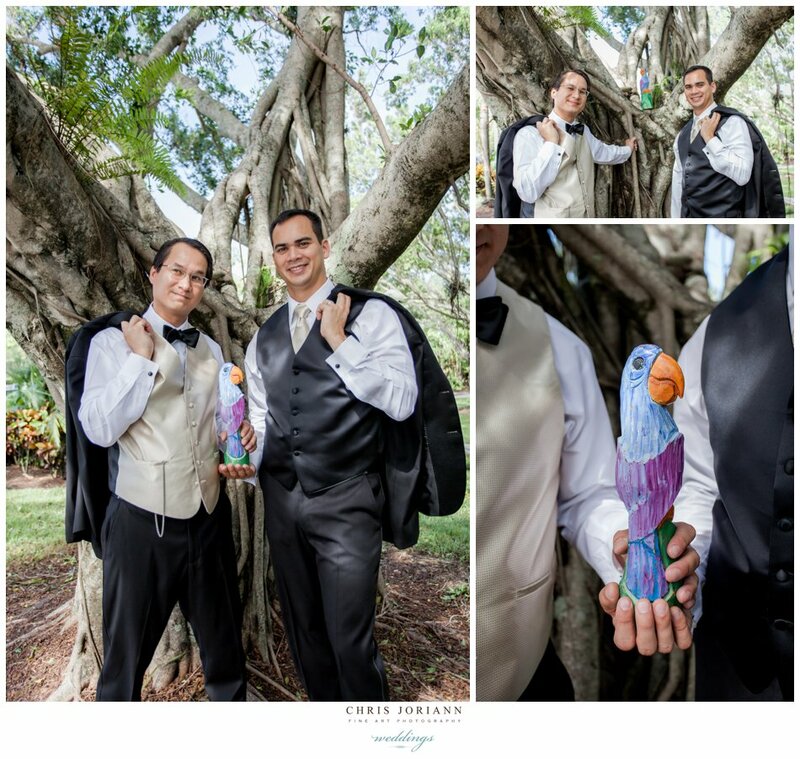 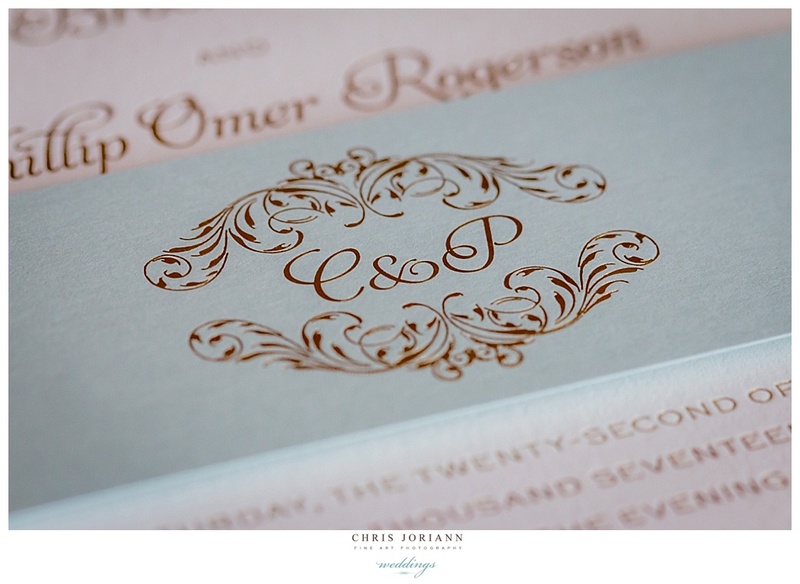 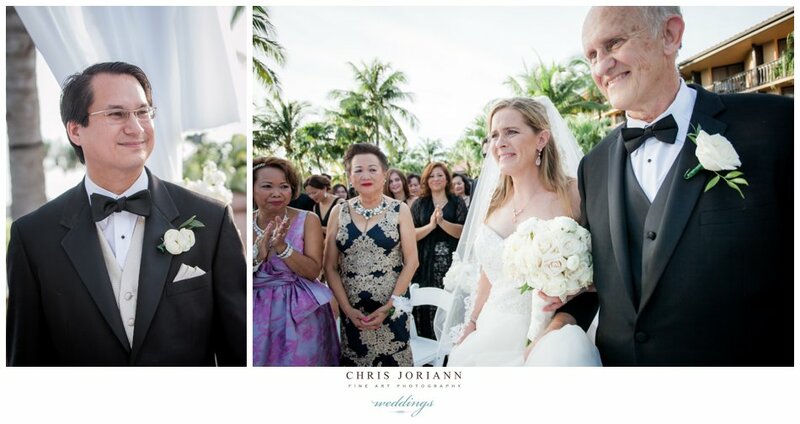 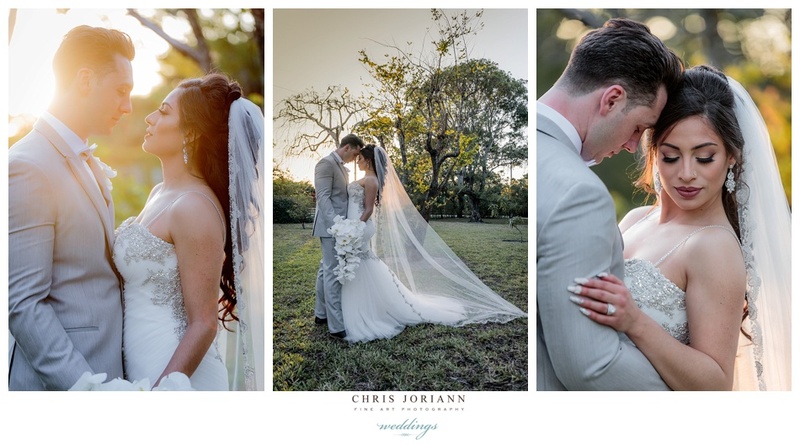 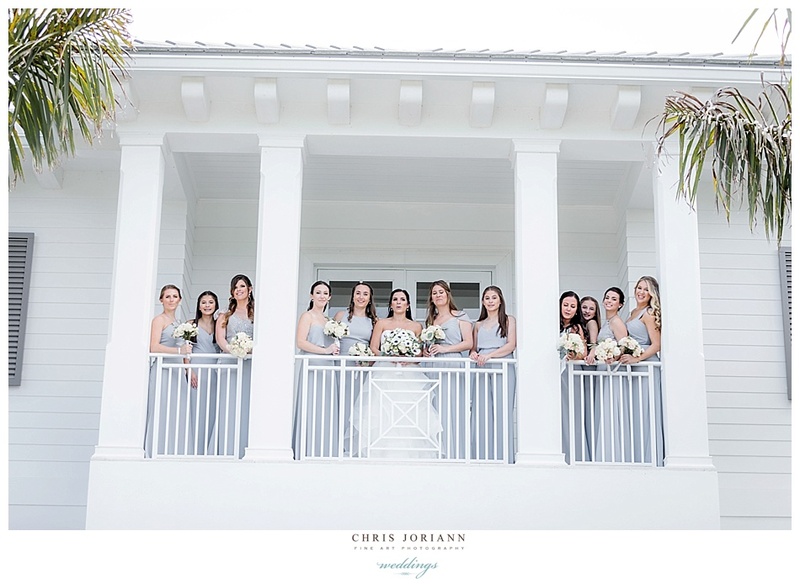 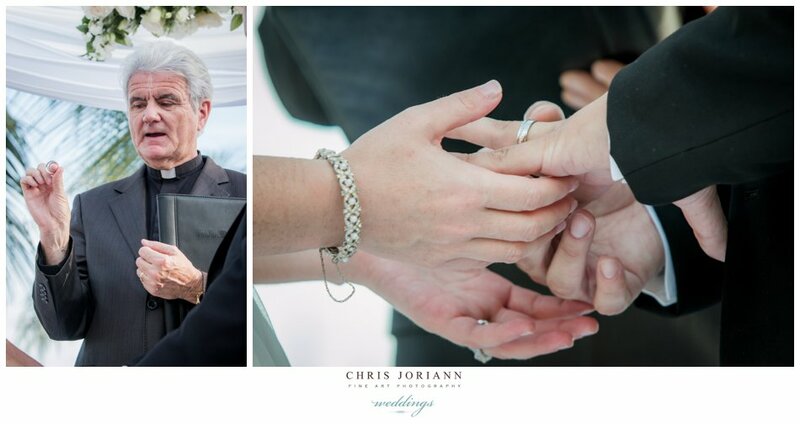 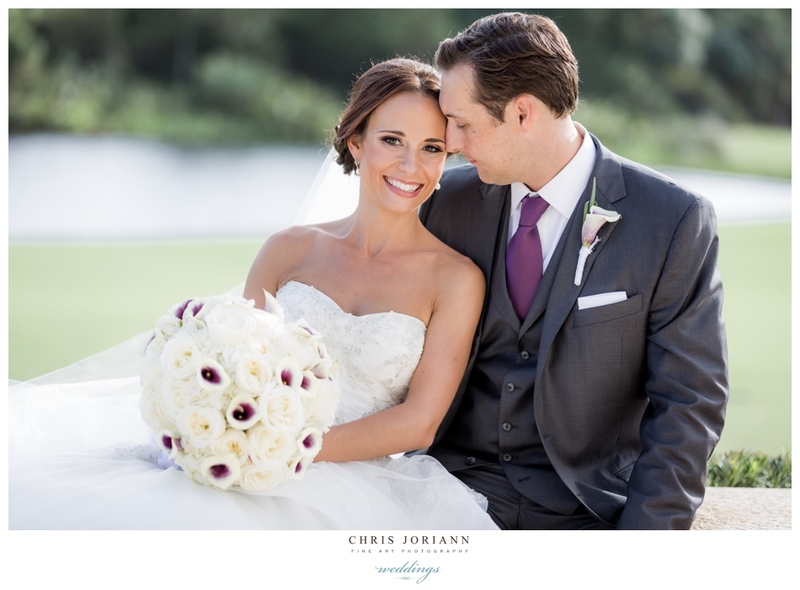 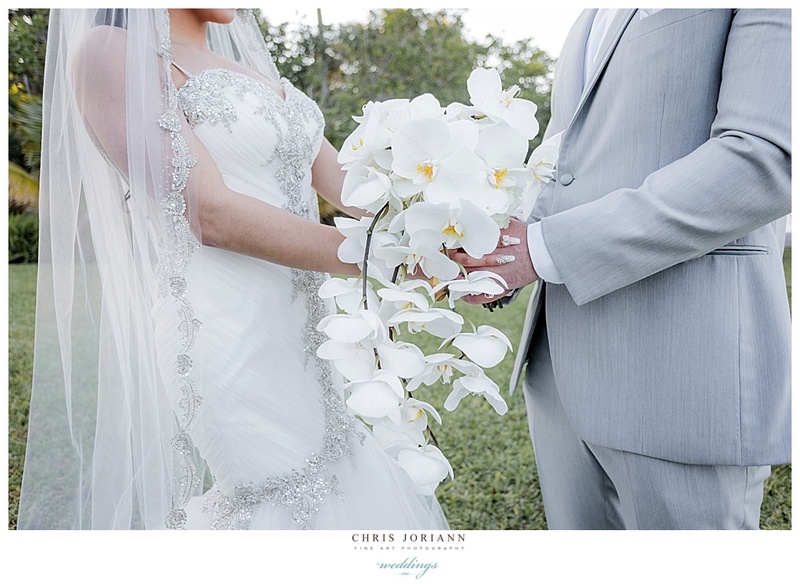 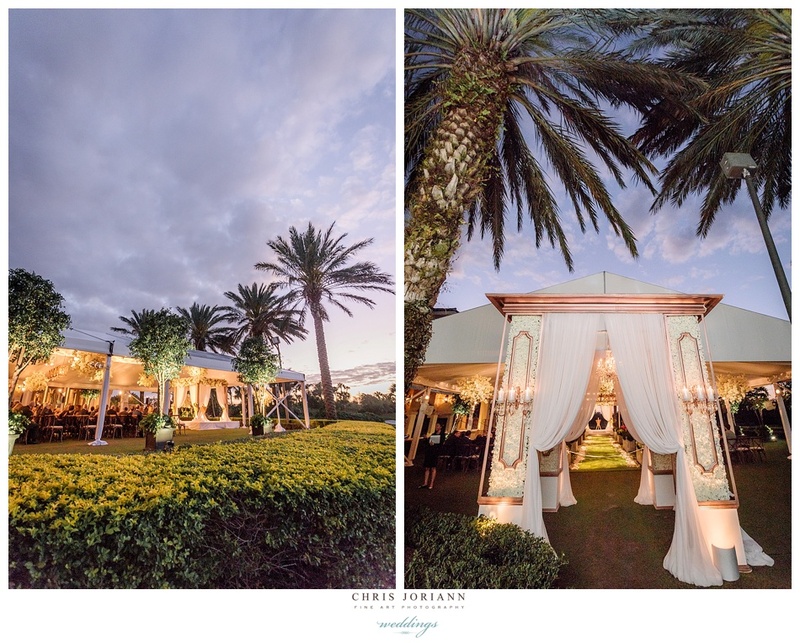 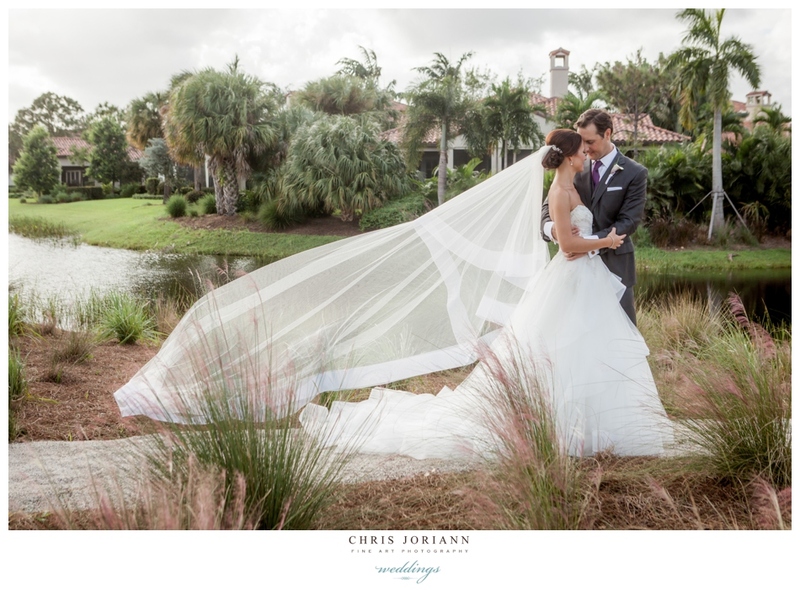 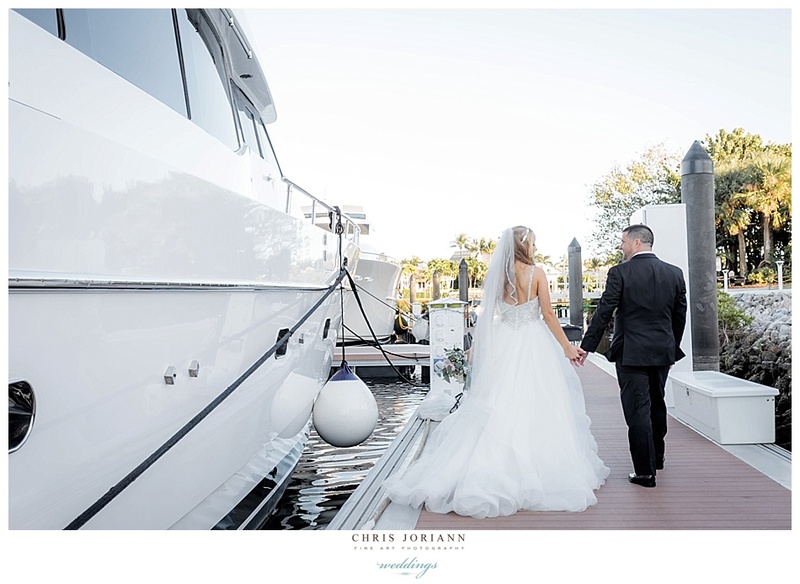 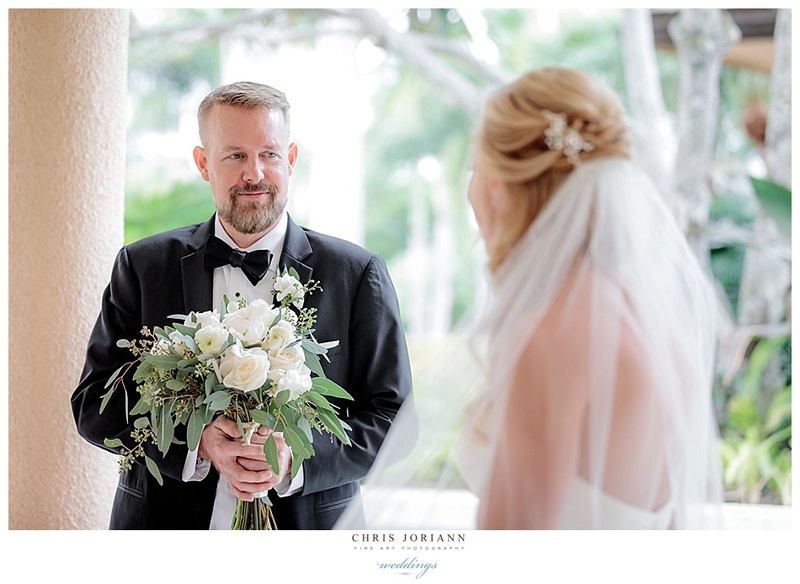 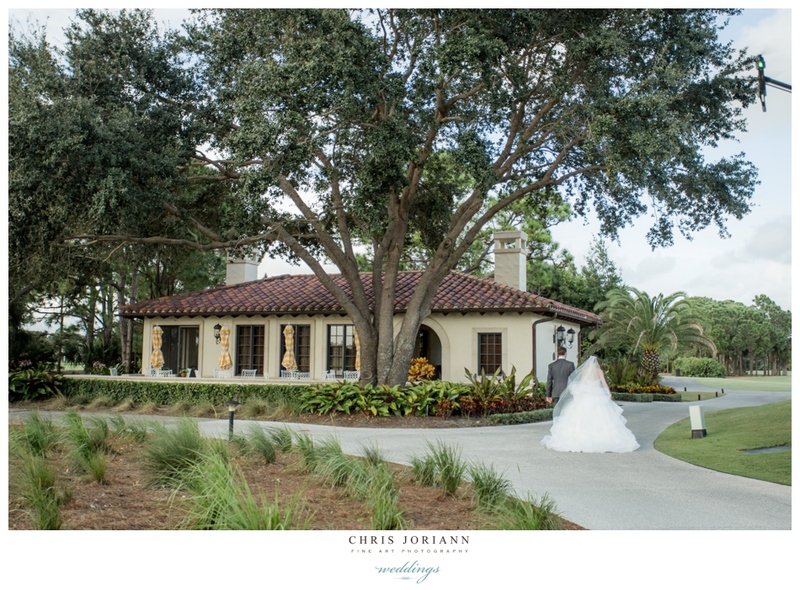 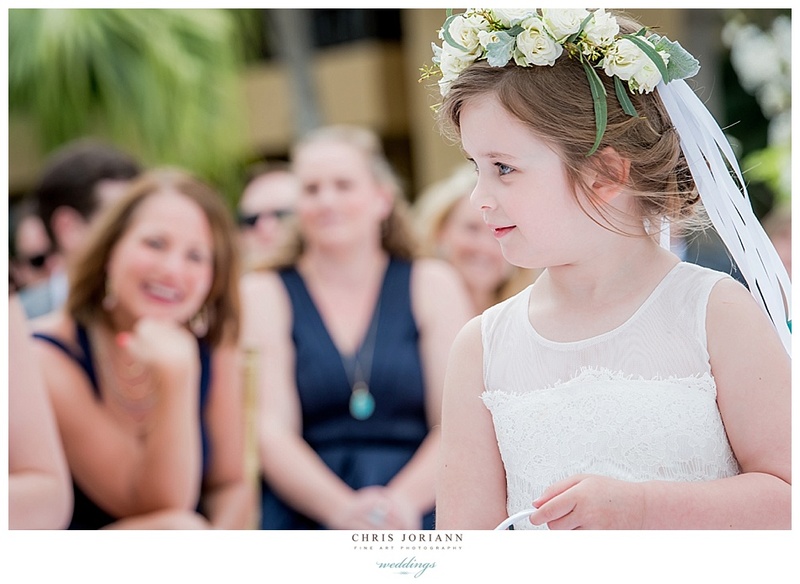 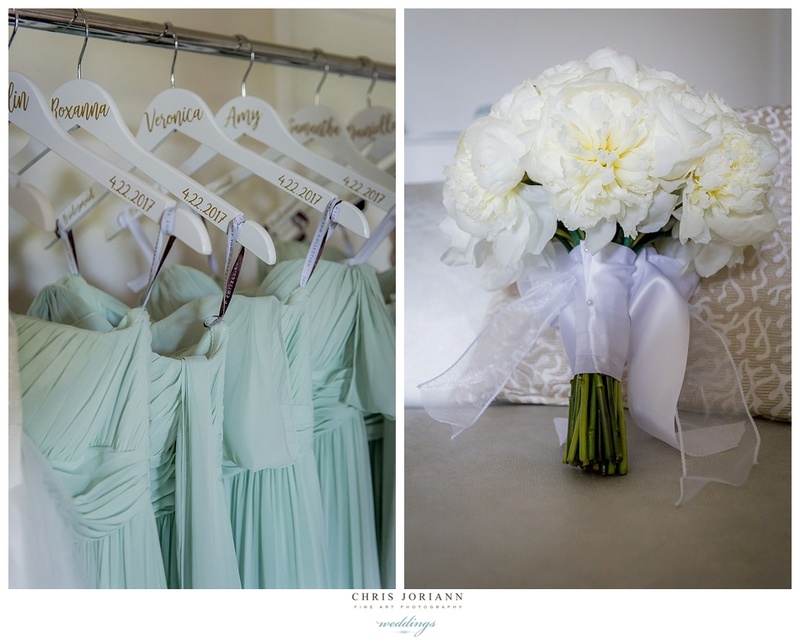 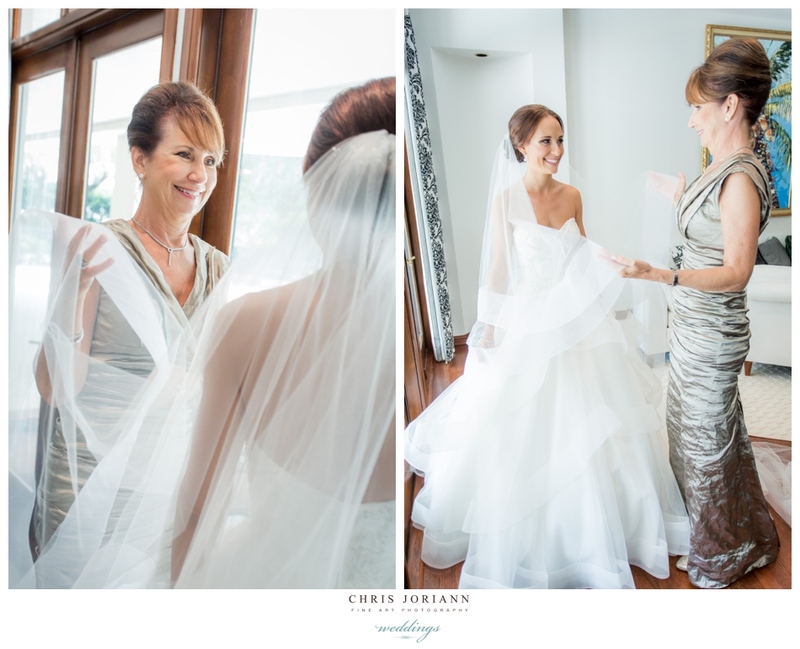 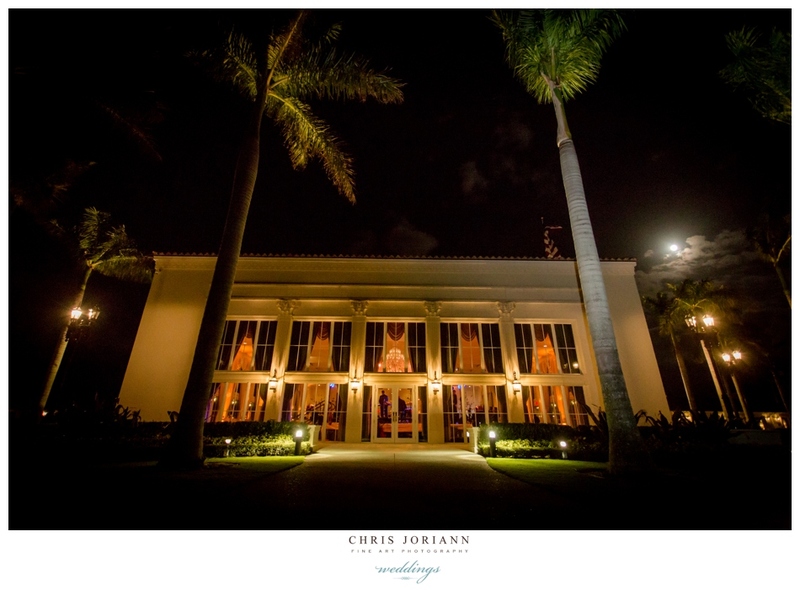 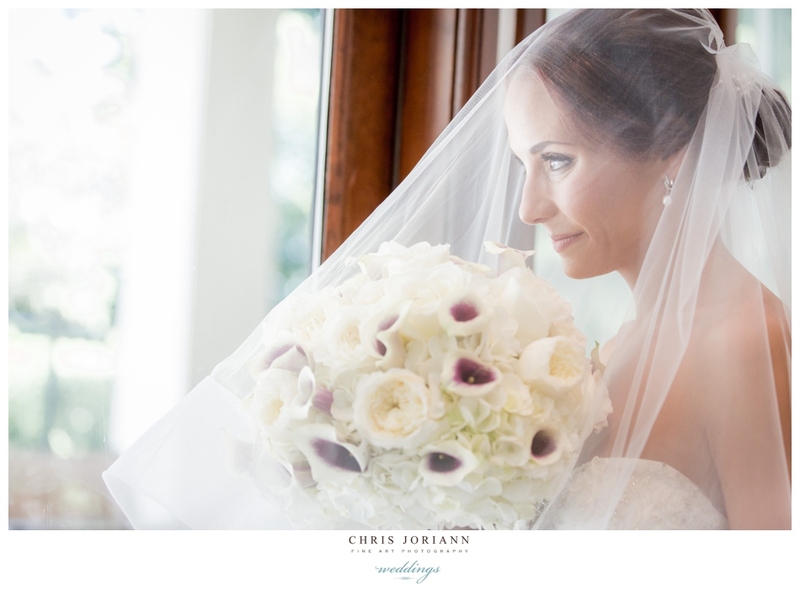 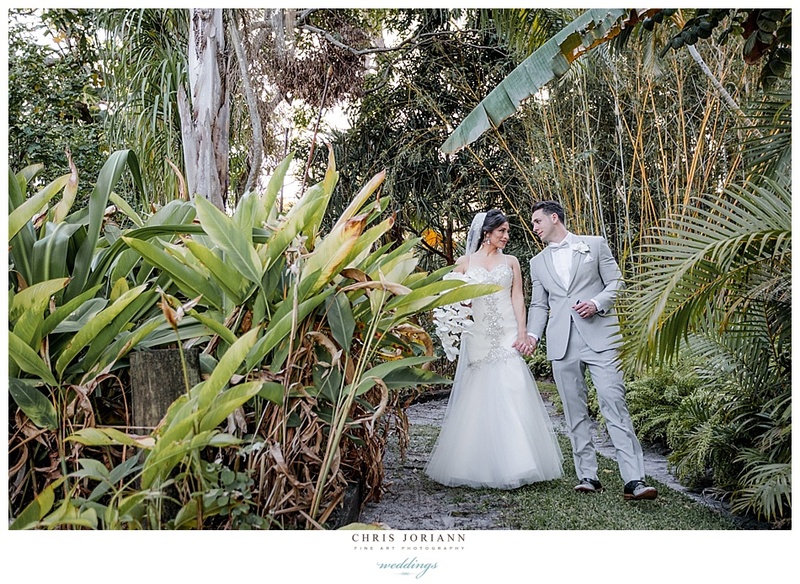 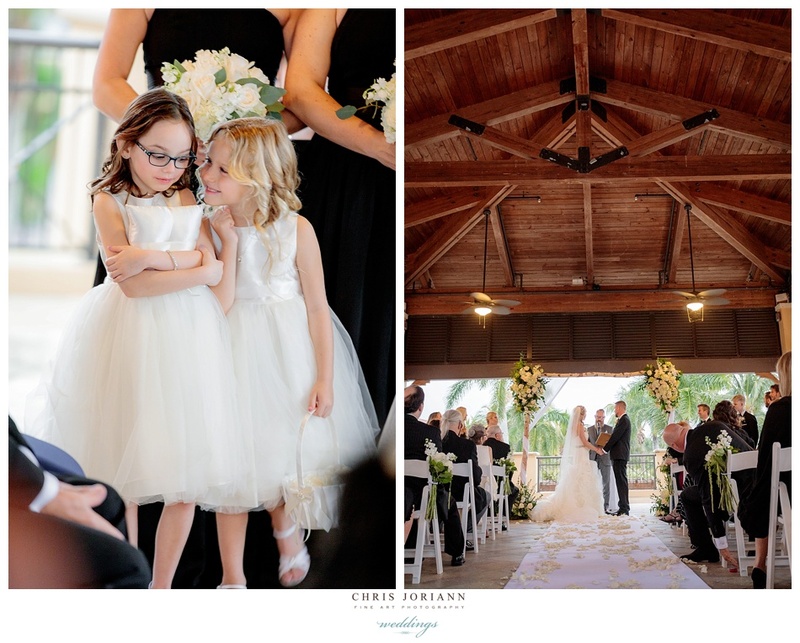 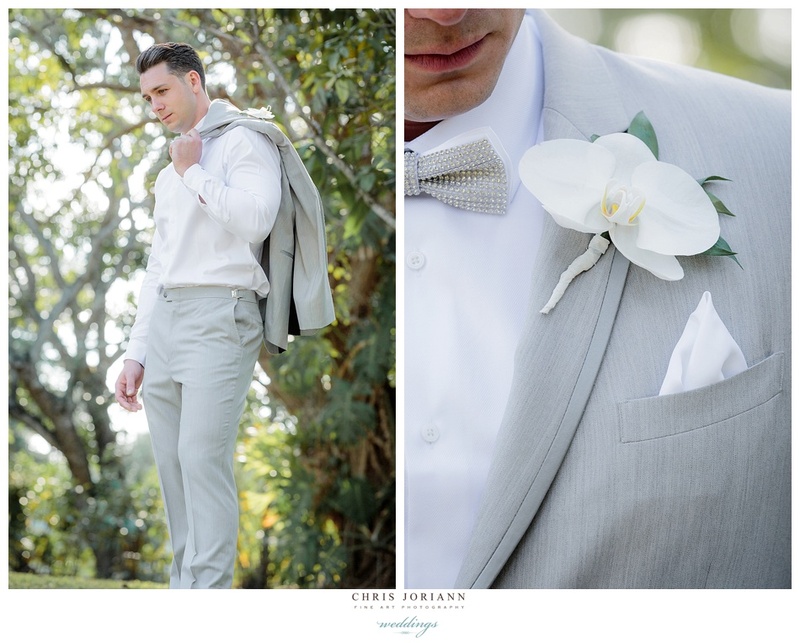 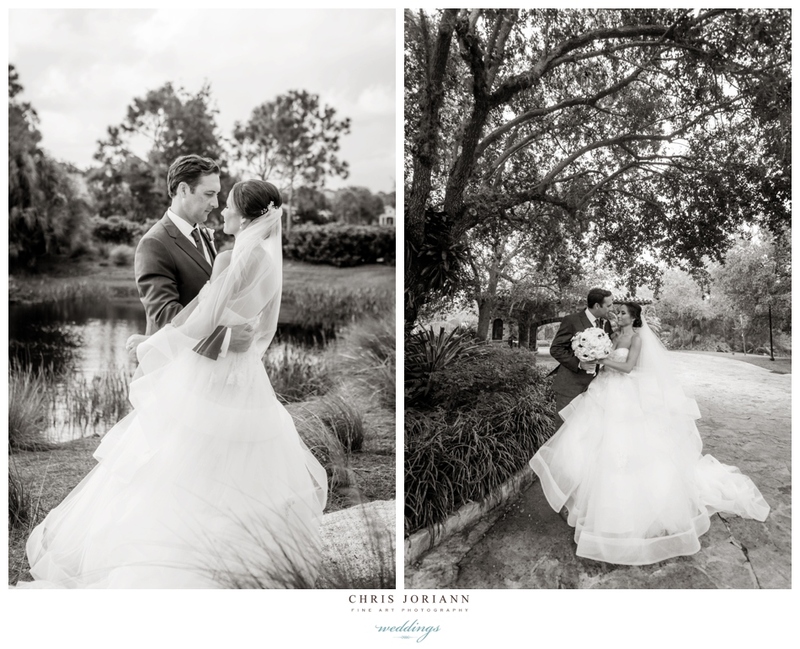 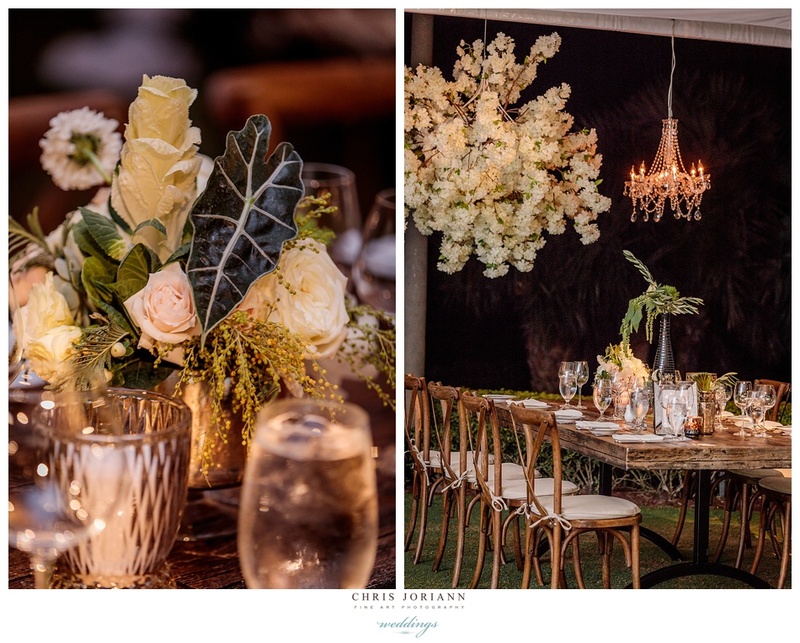 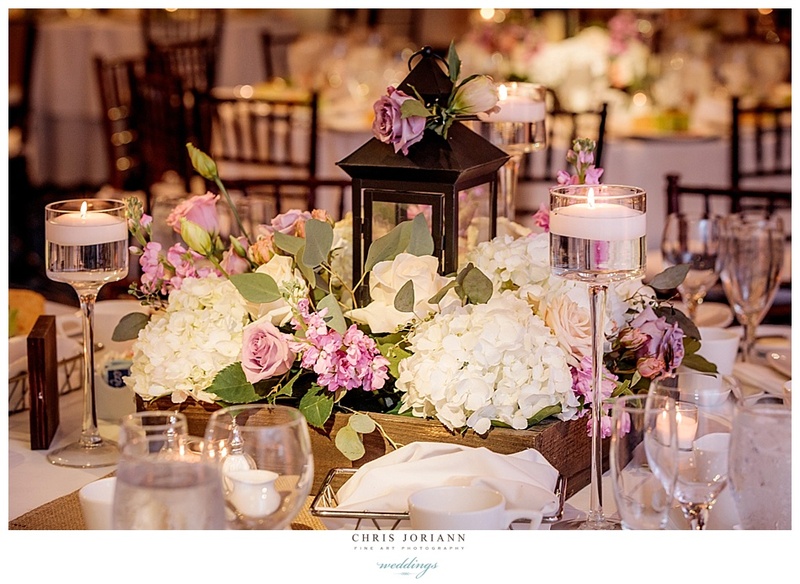 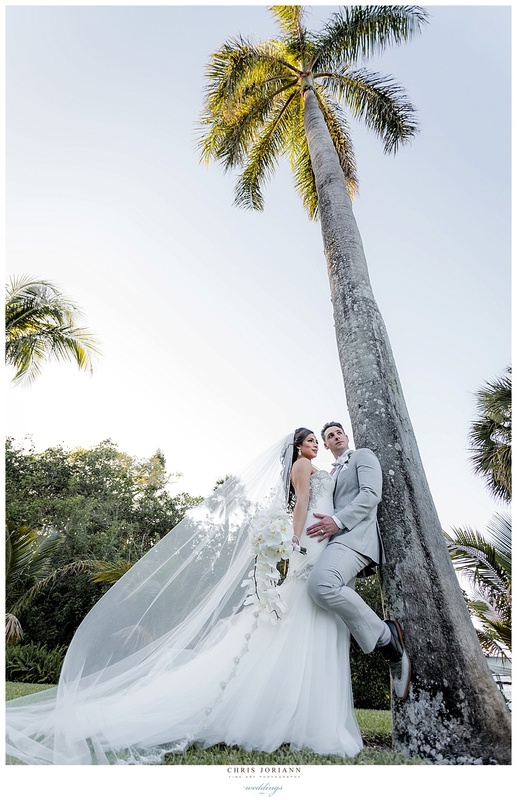 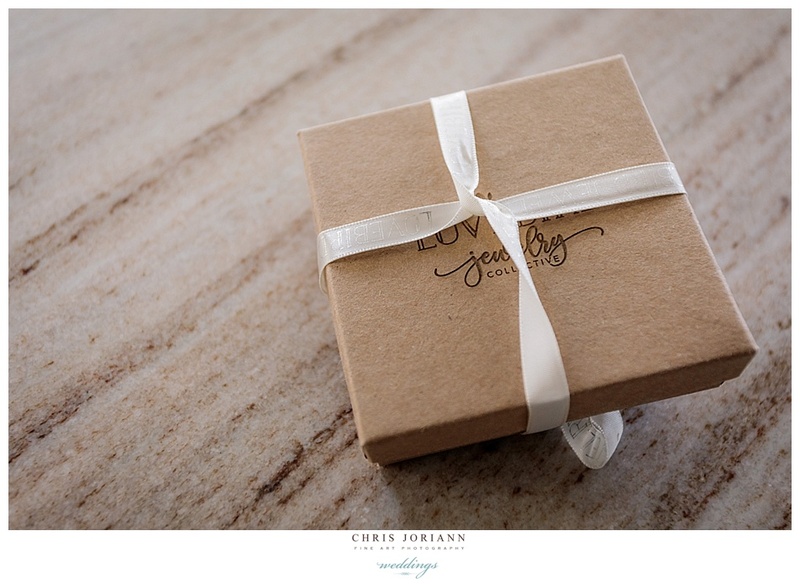 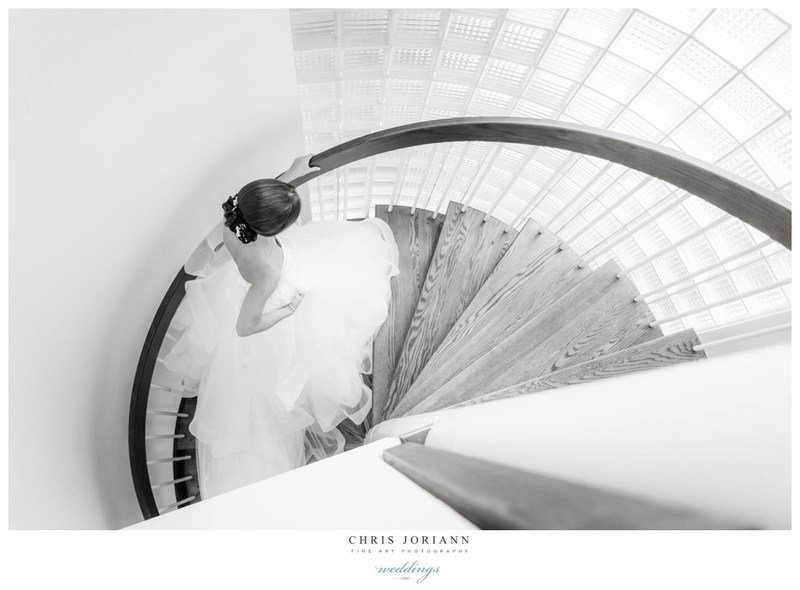 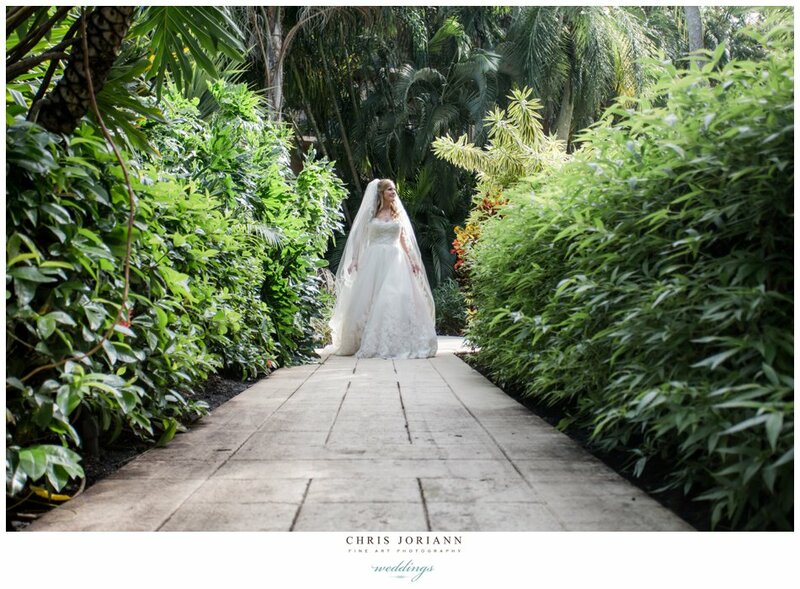 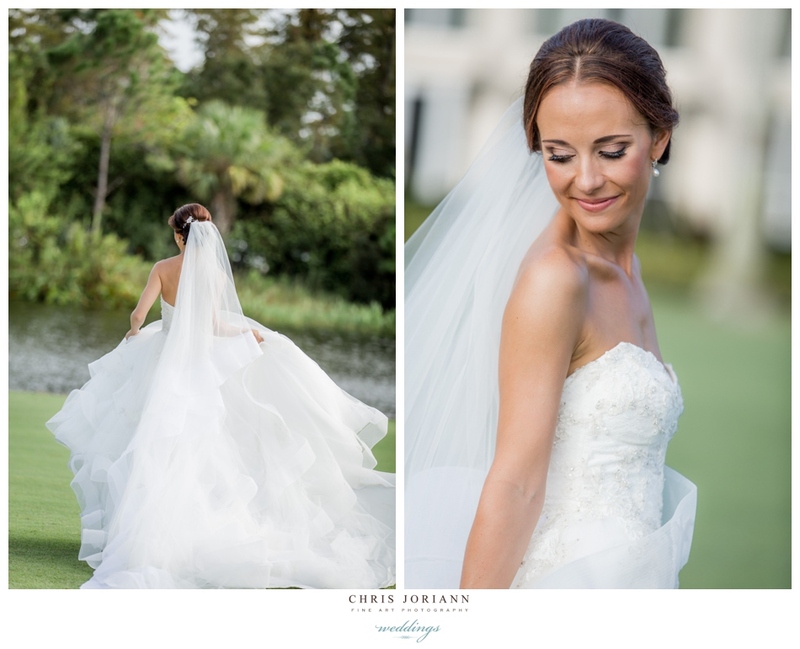 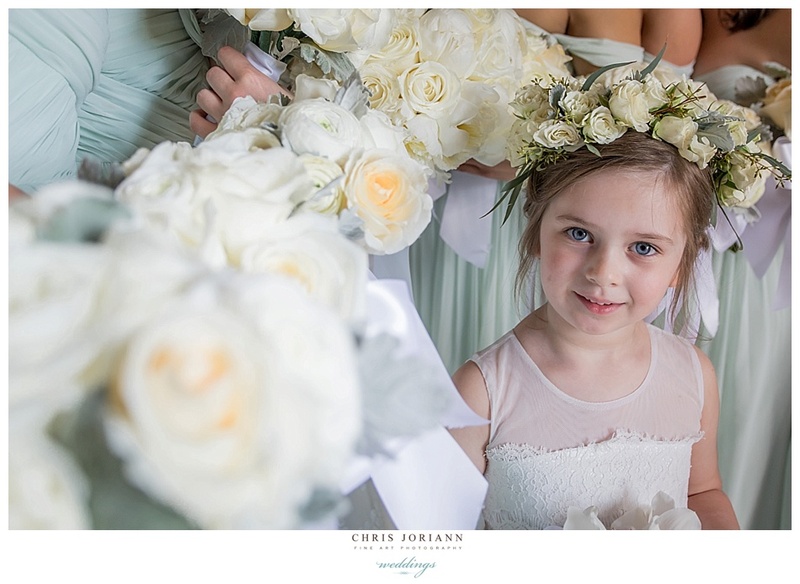 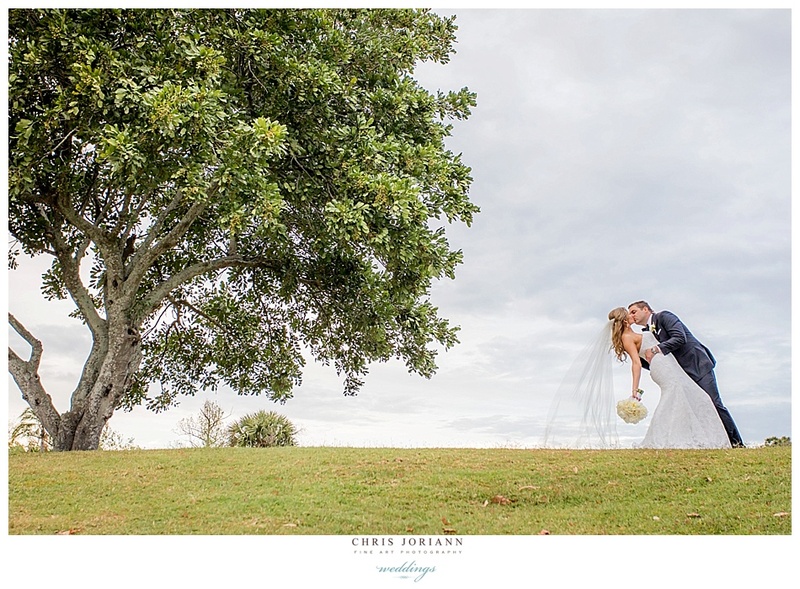 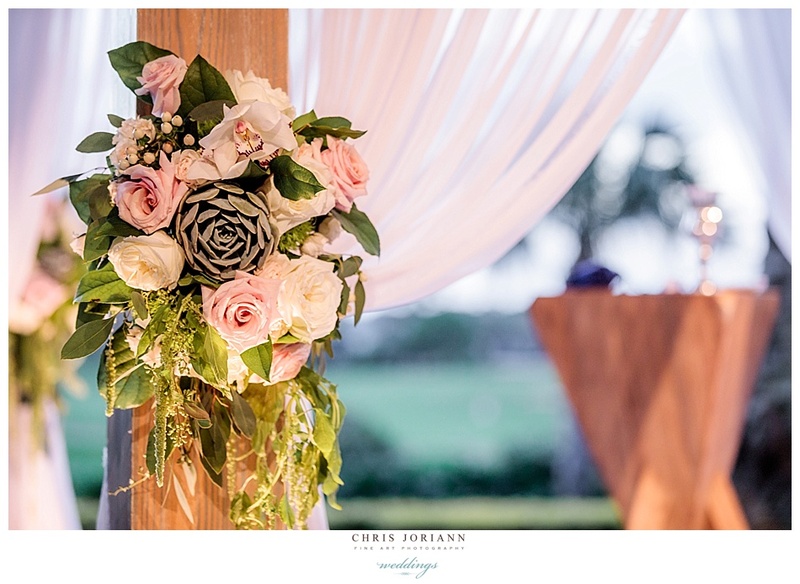 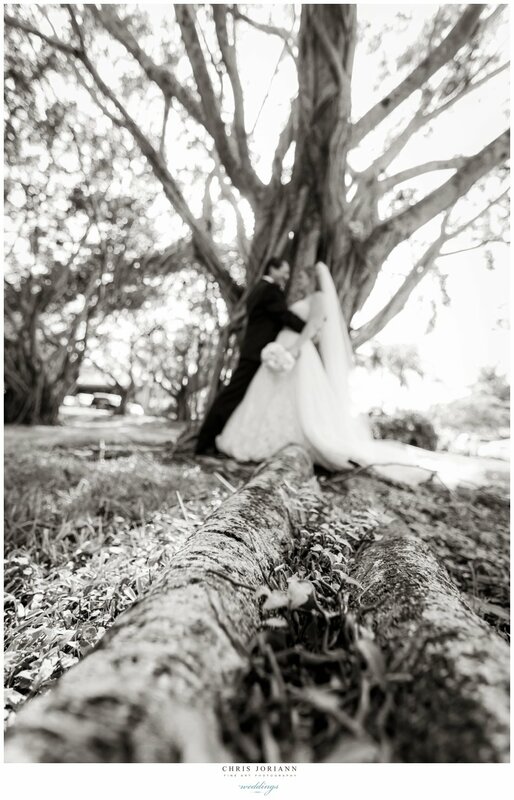 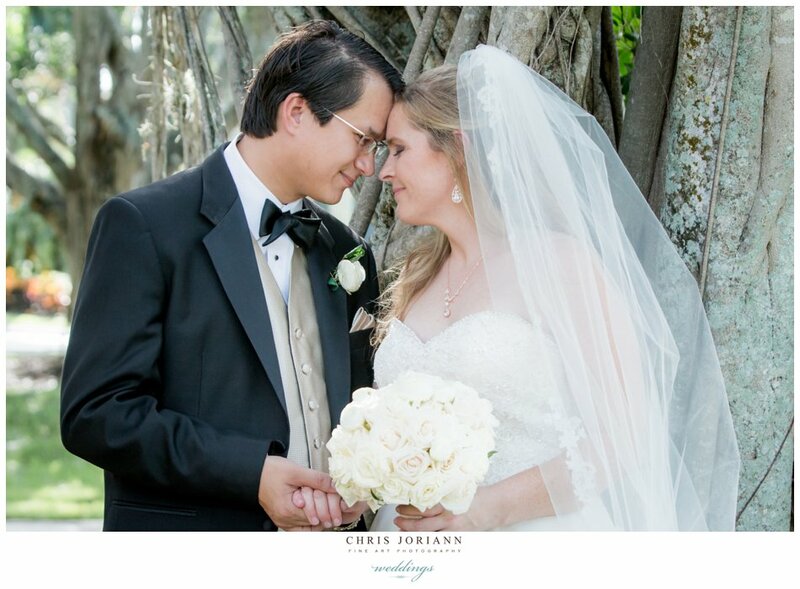 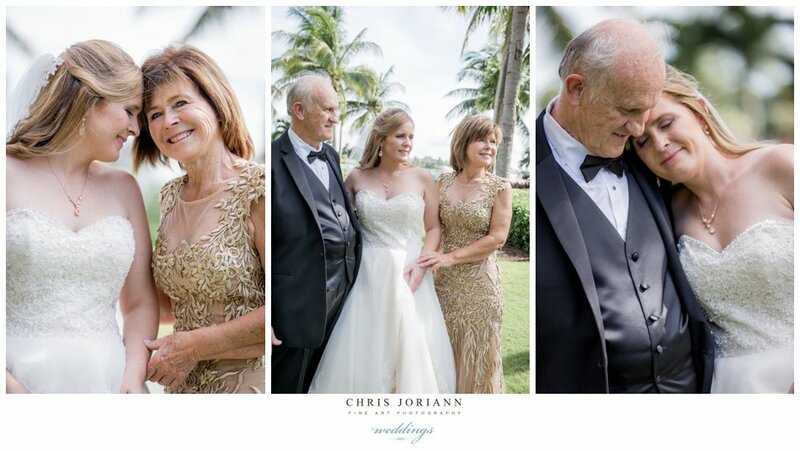 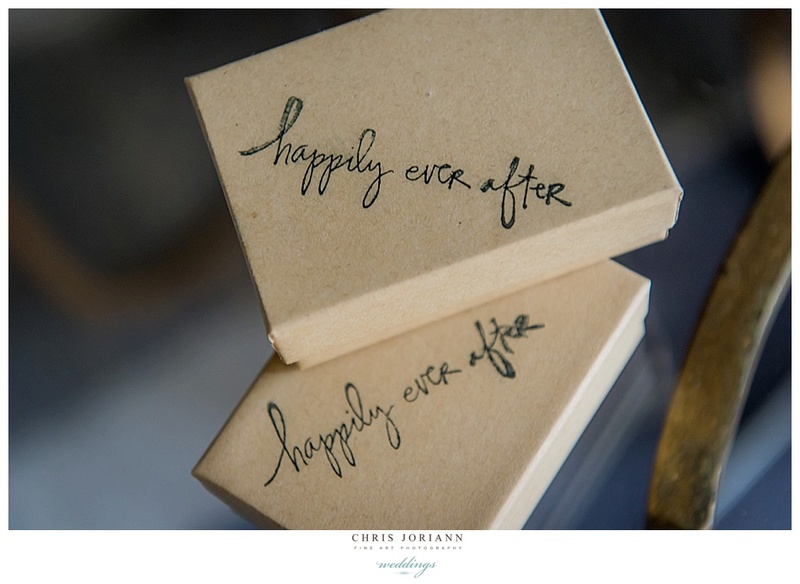 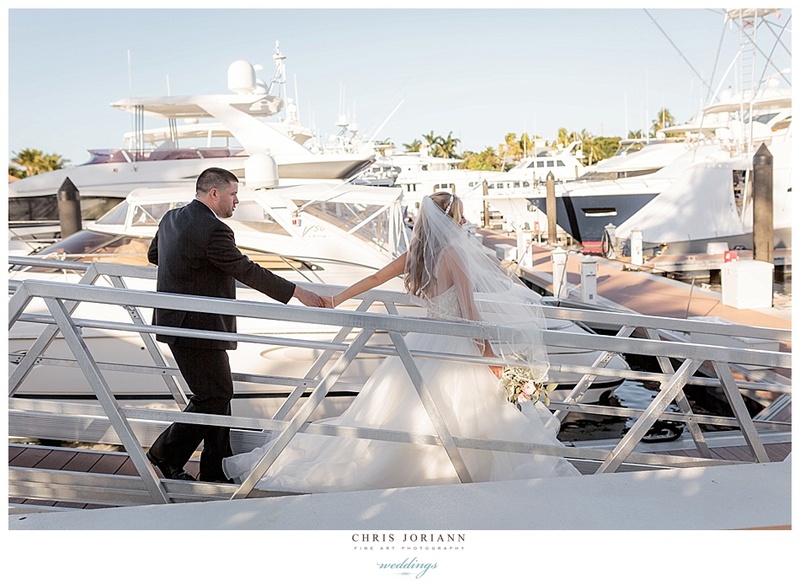 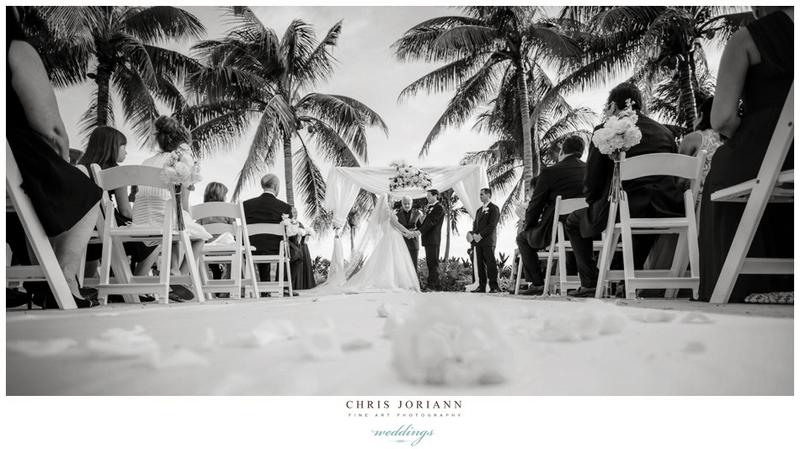 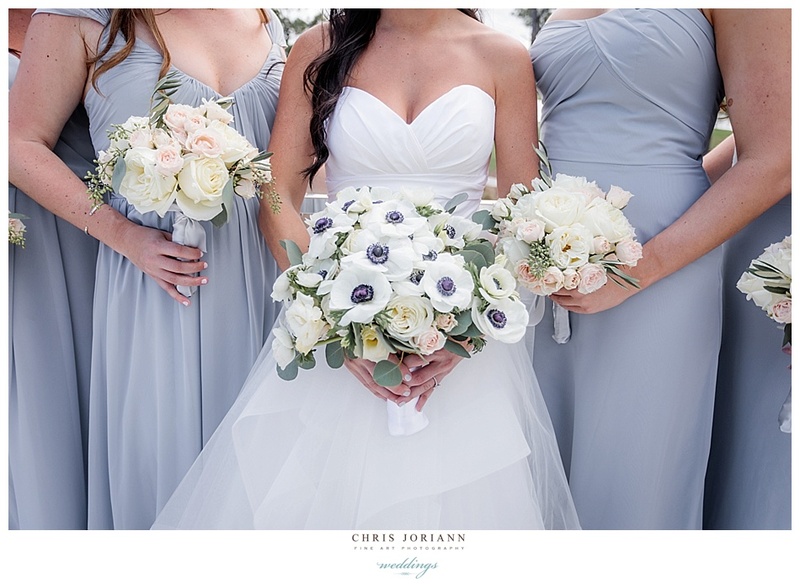 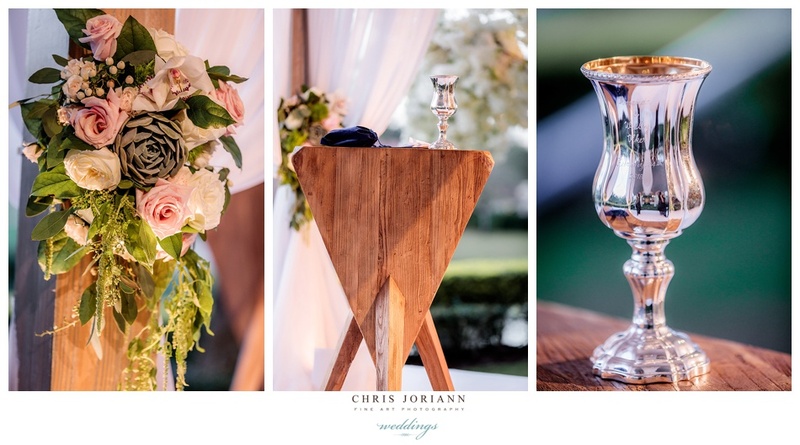 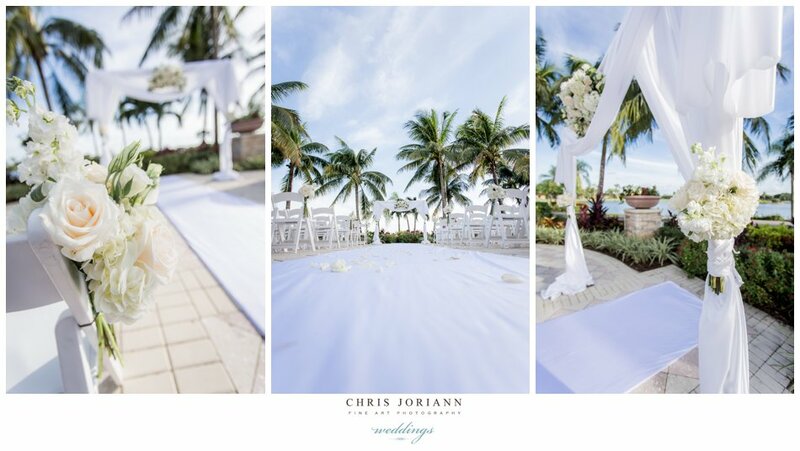 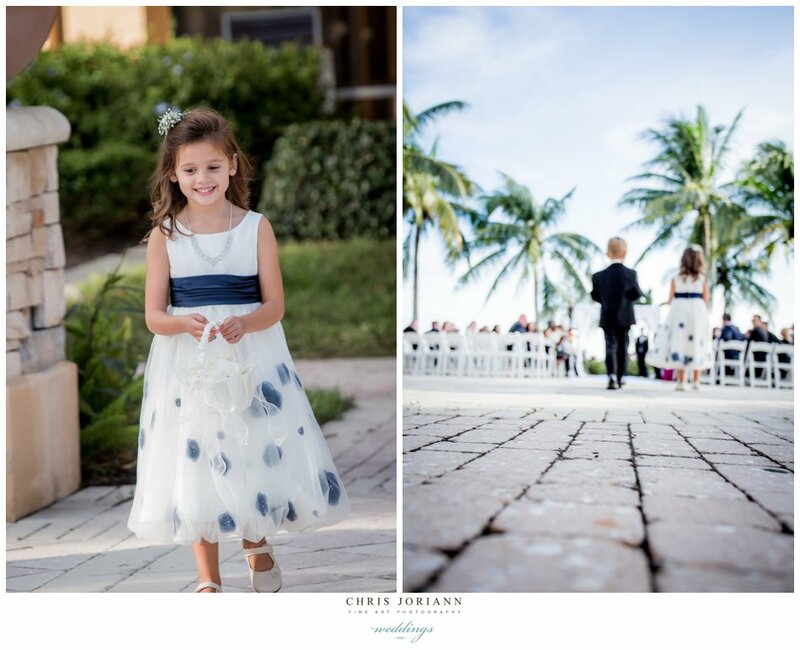 Aura + Maks’ waterfront wedding, took place at a beautiful private Jupiter Island estate. 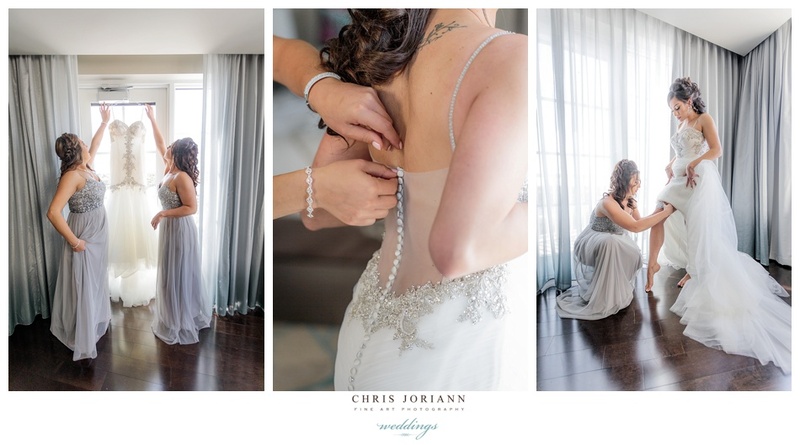 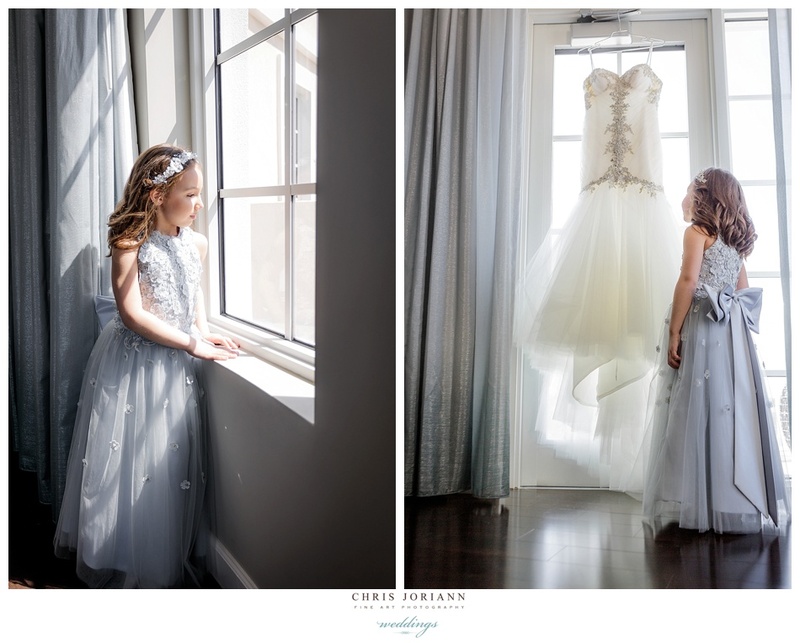 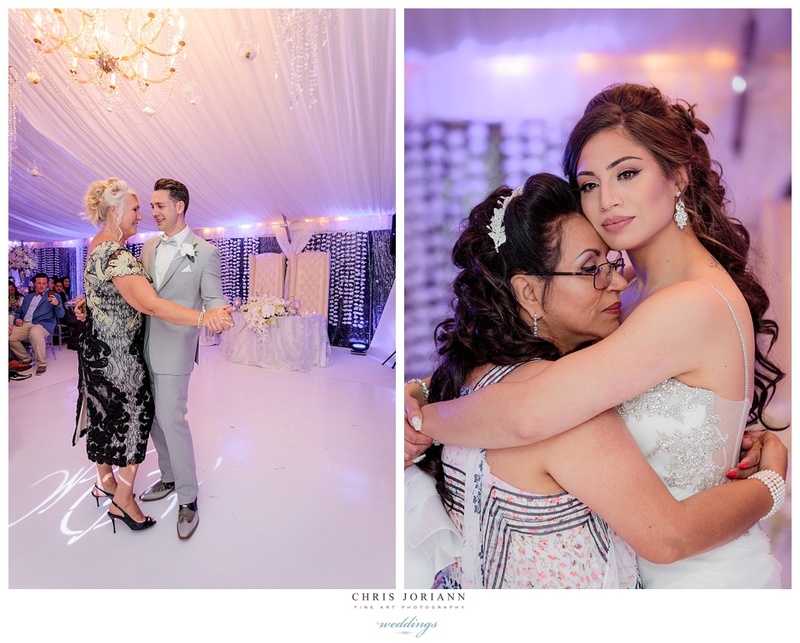 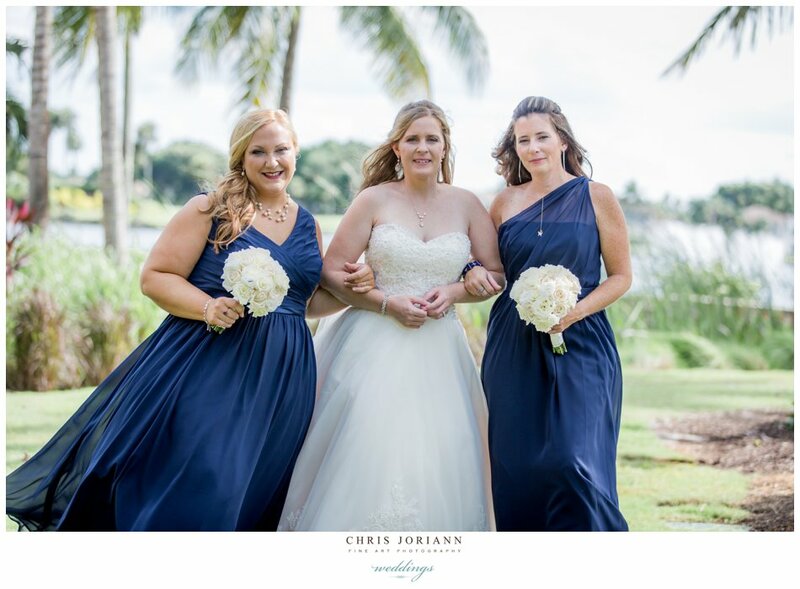 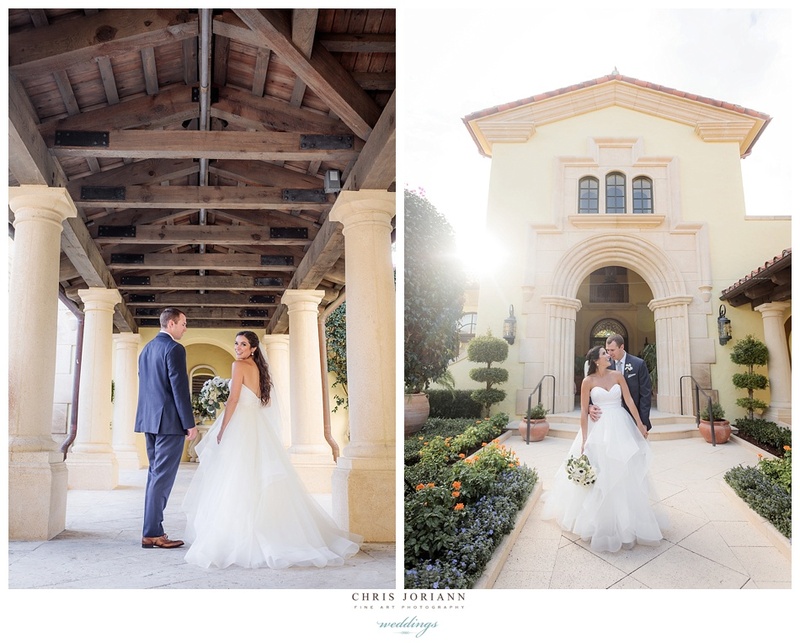 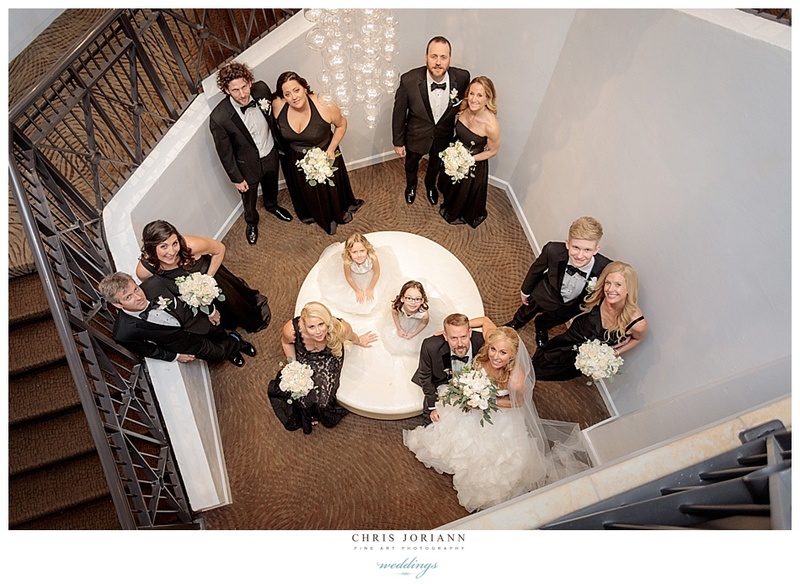 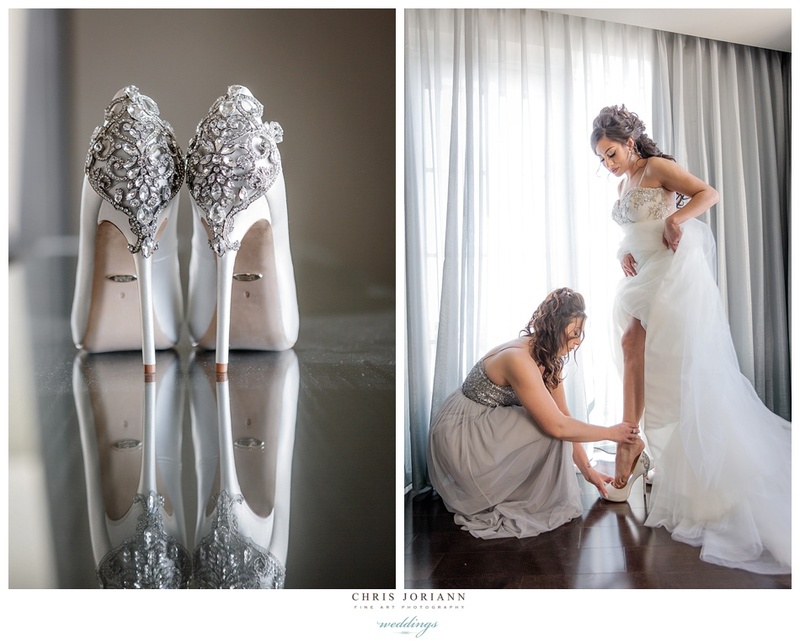 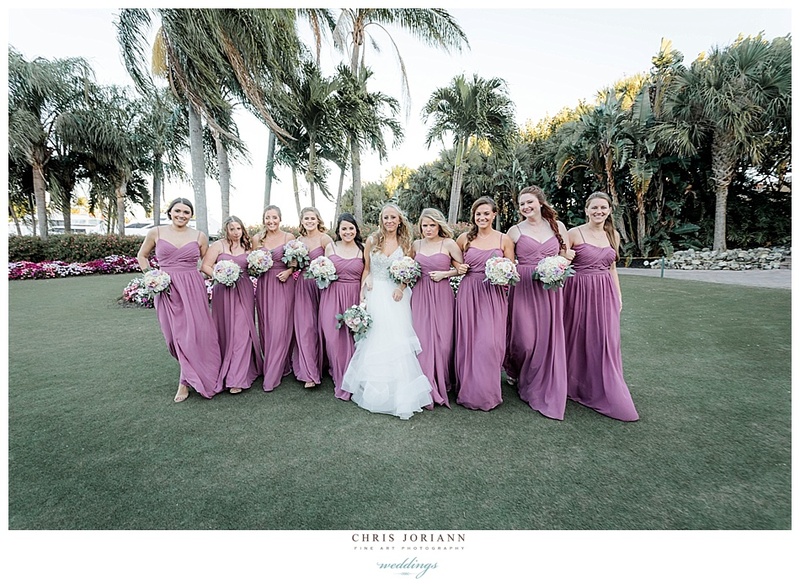 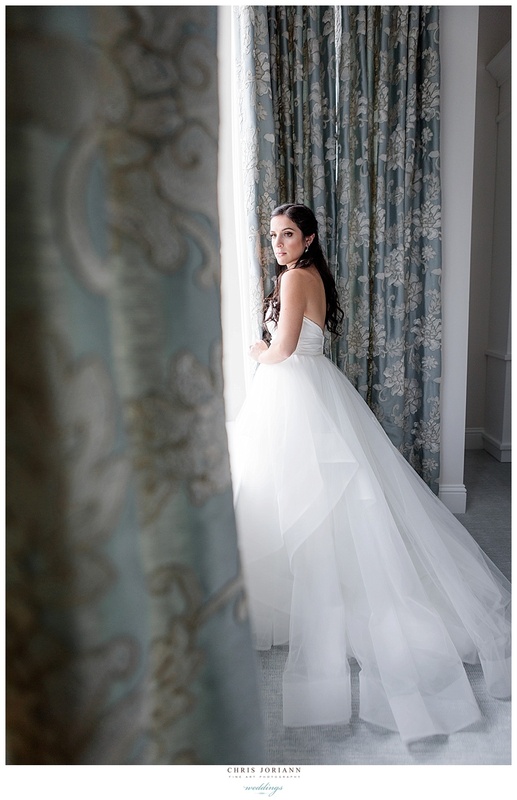 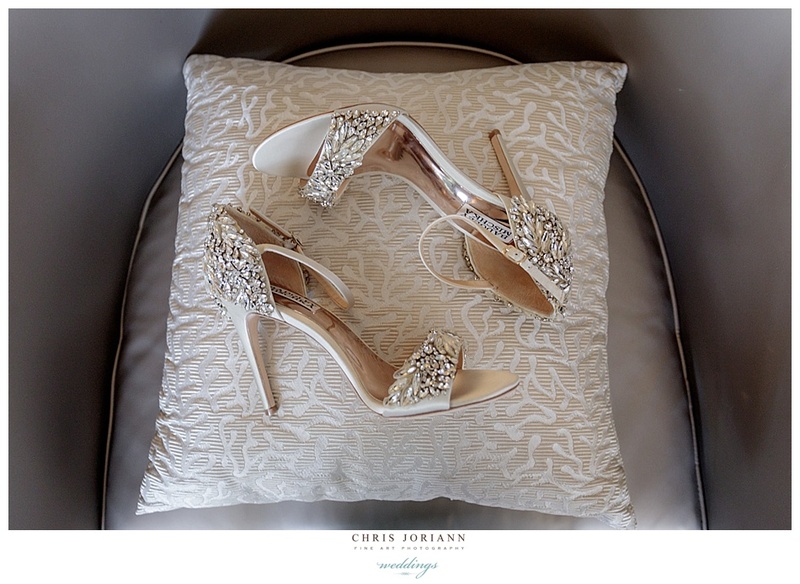 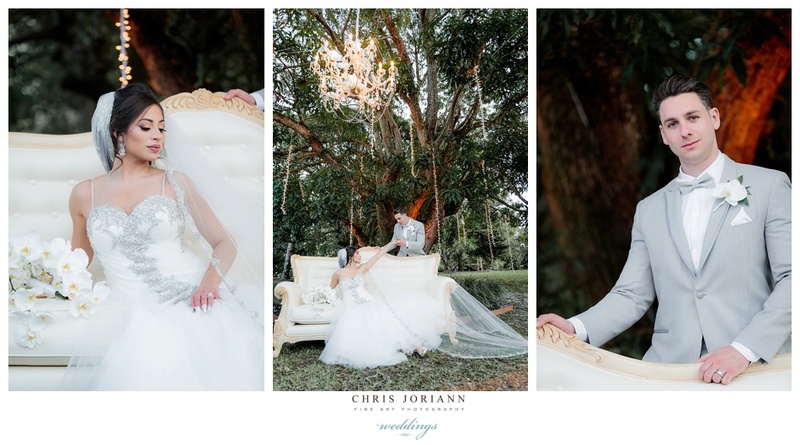 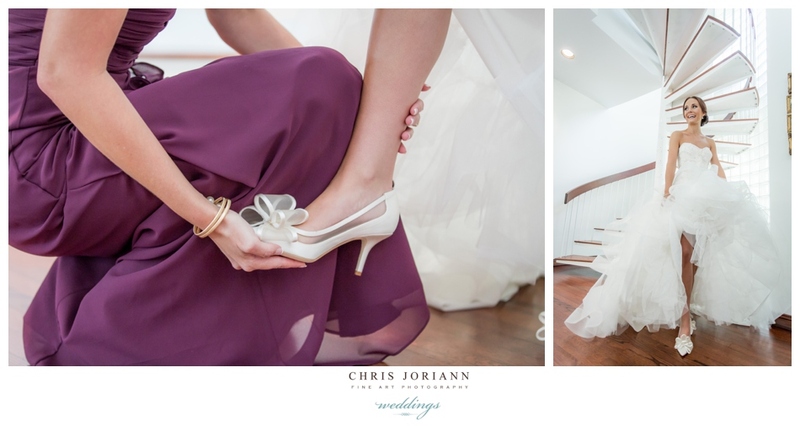 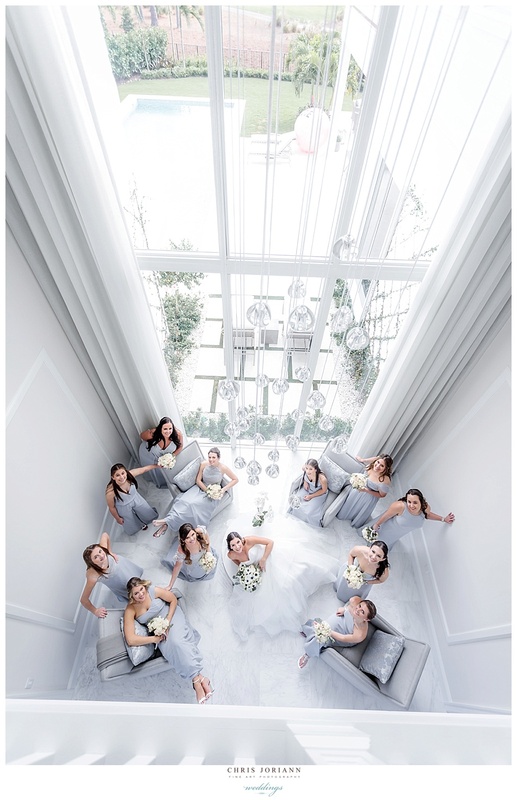 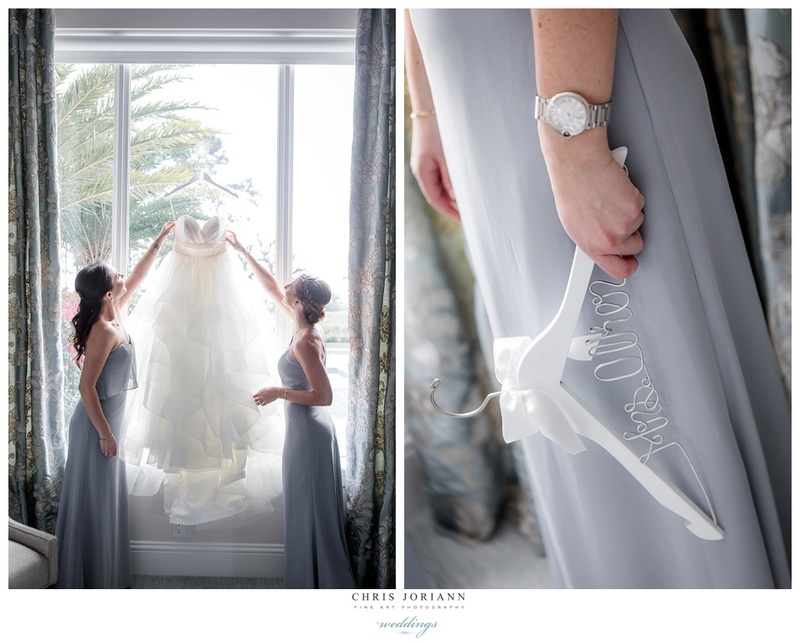 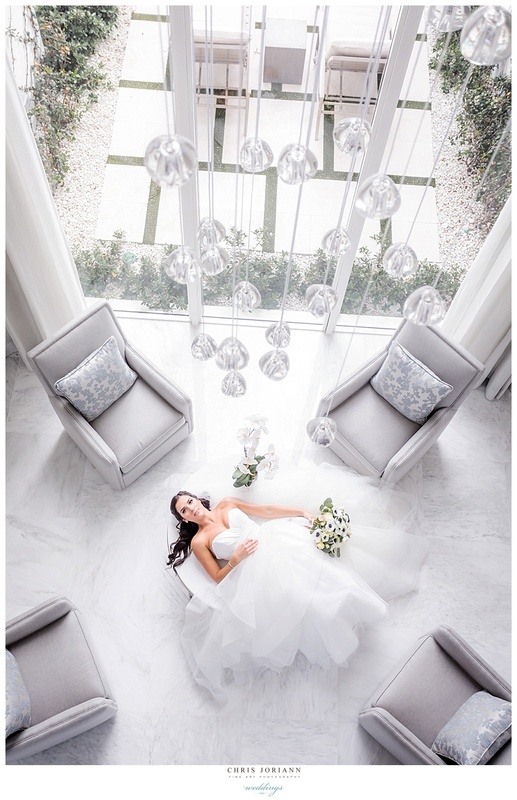 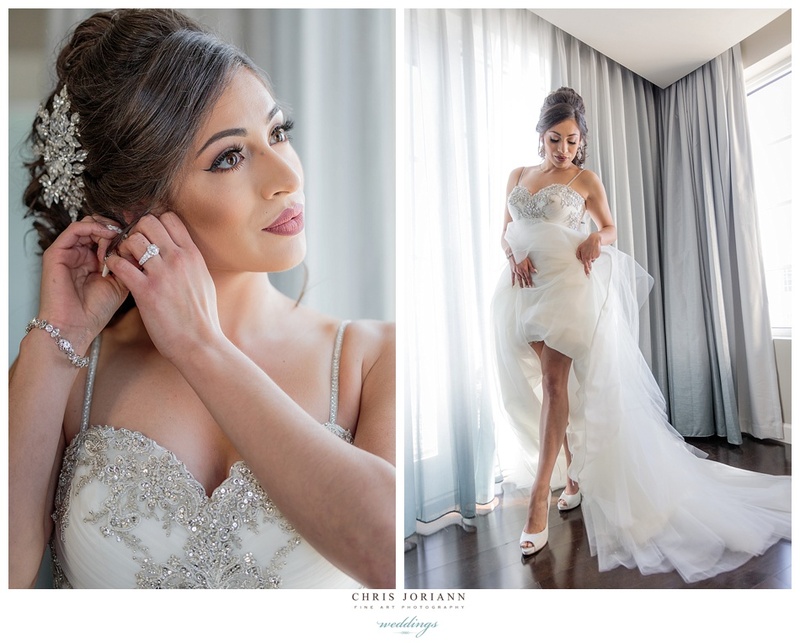 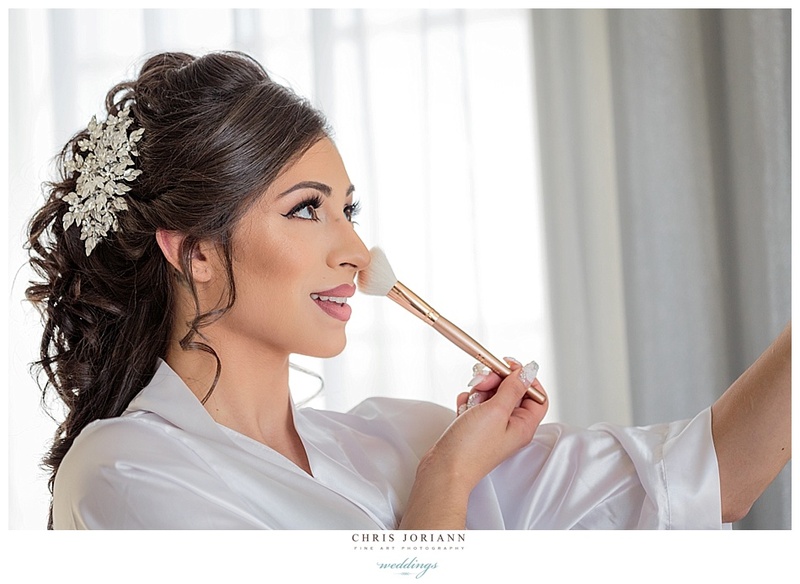 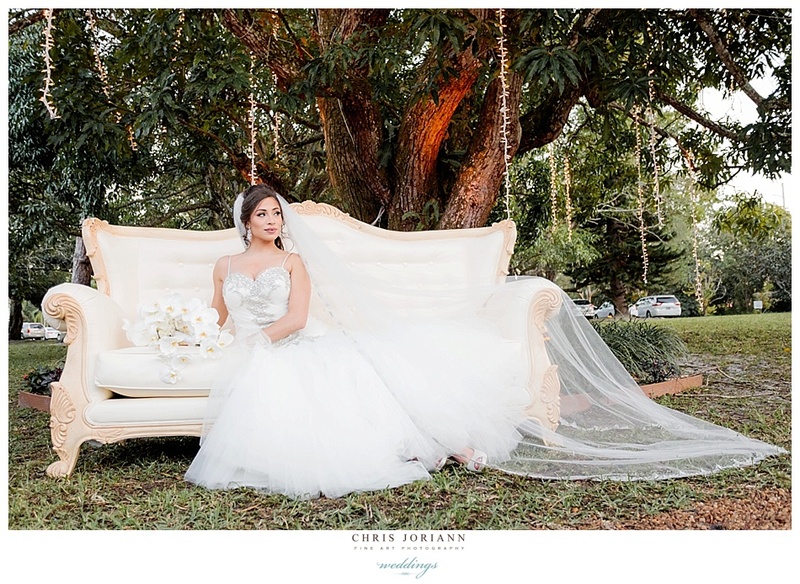 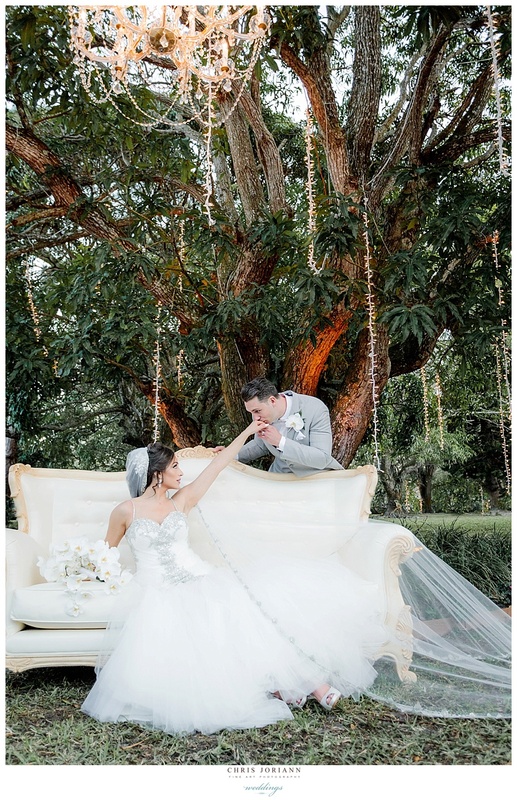 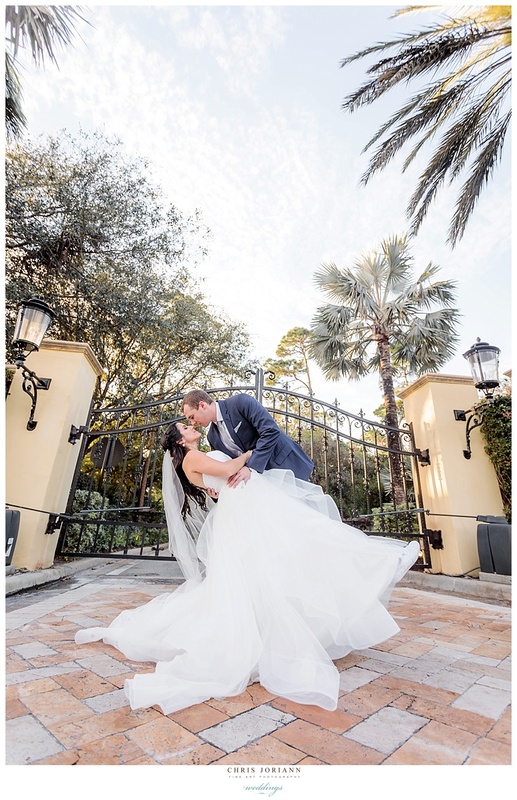 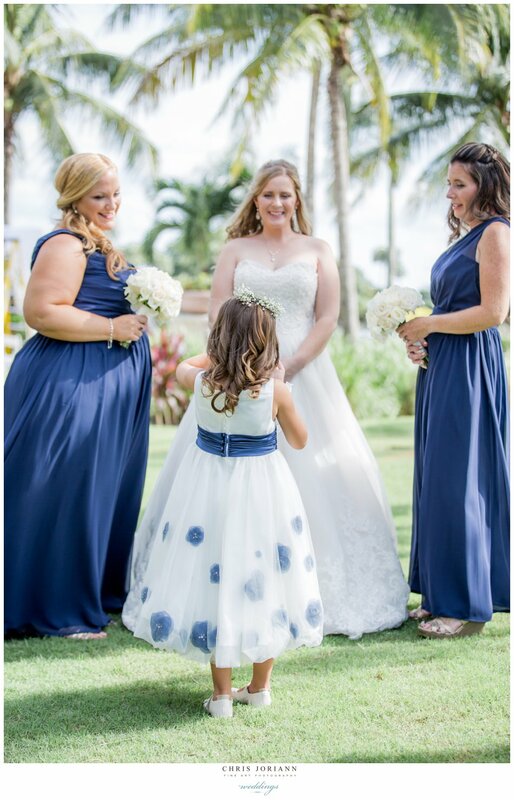 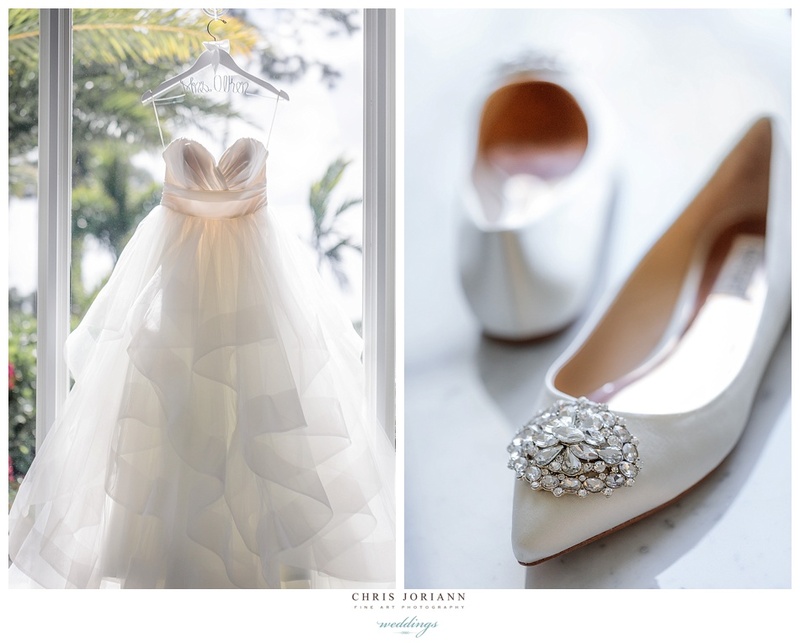 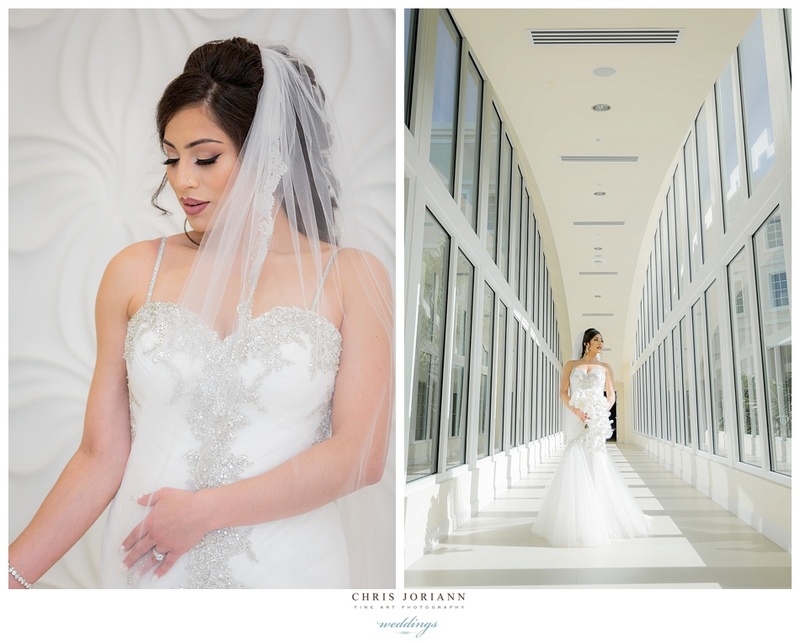 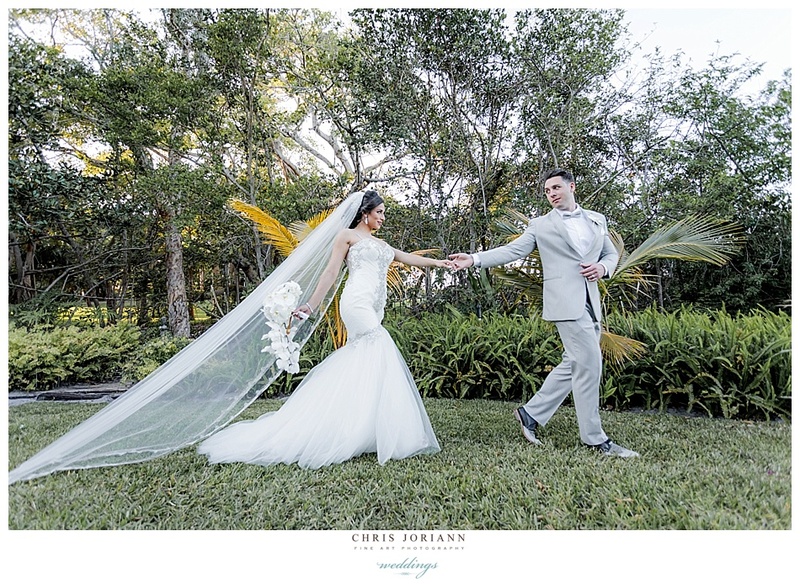 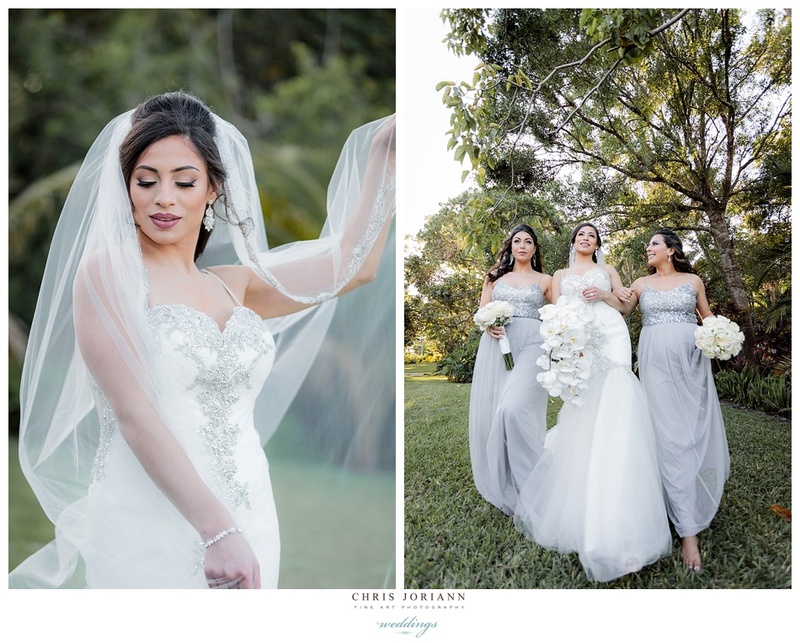 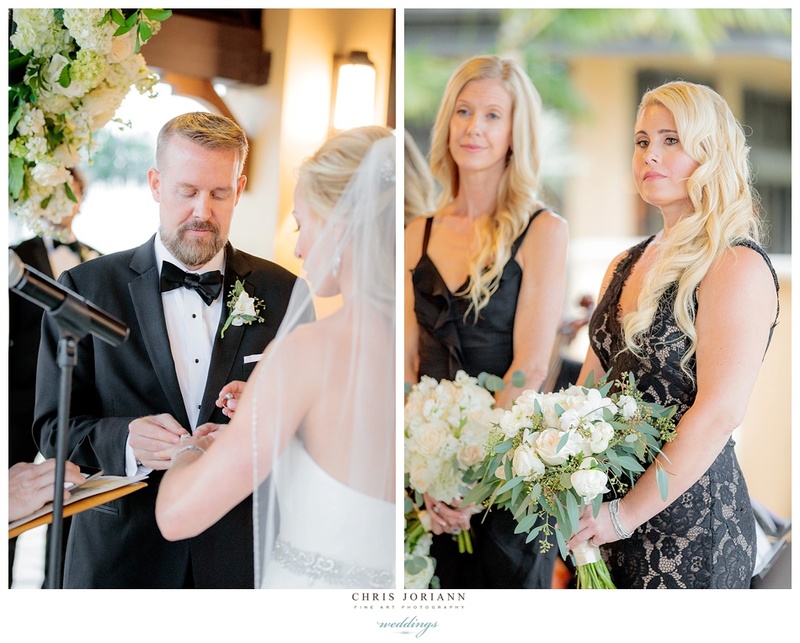 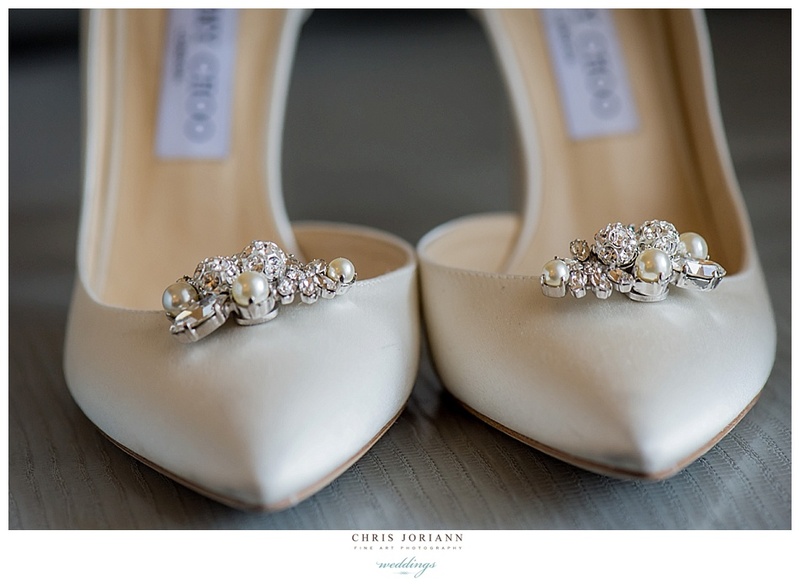 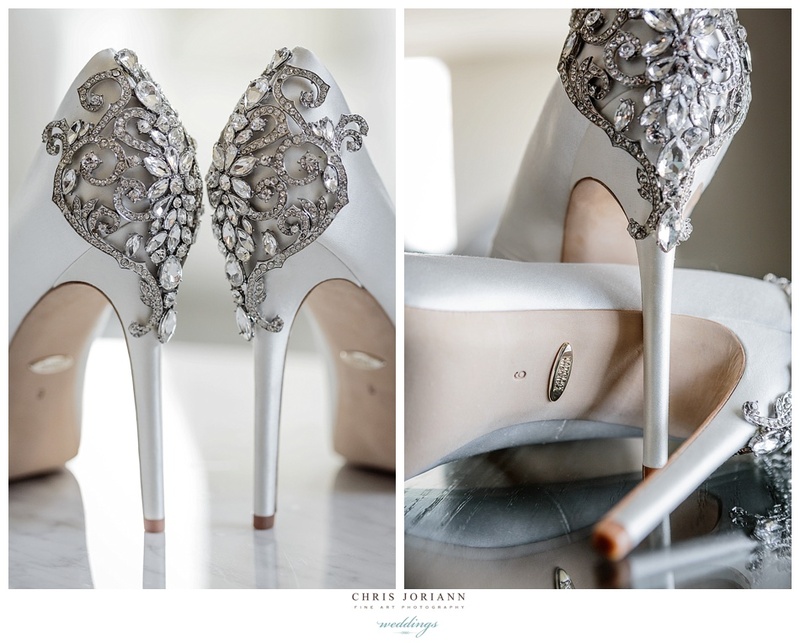 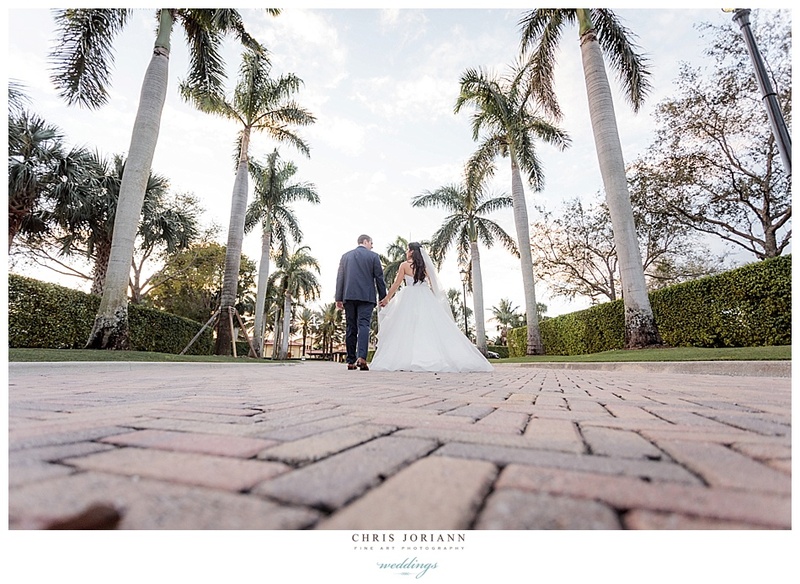 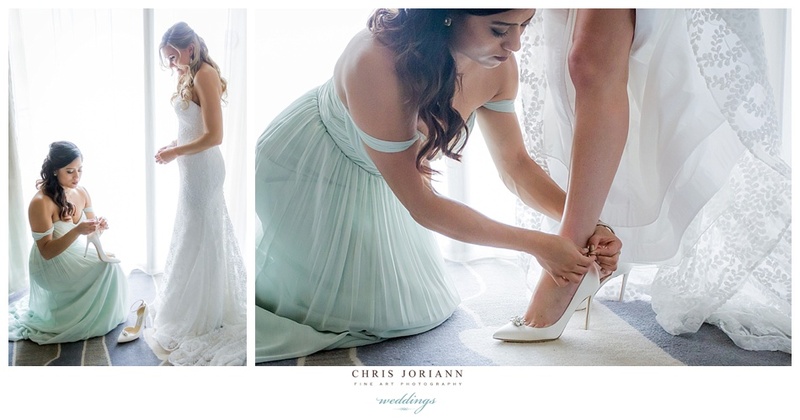 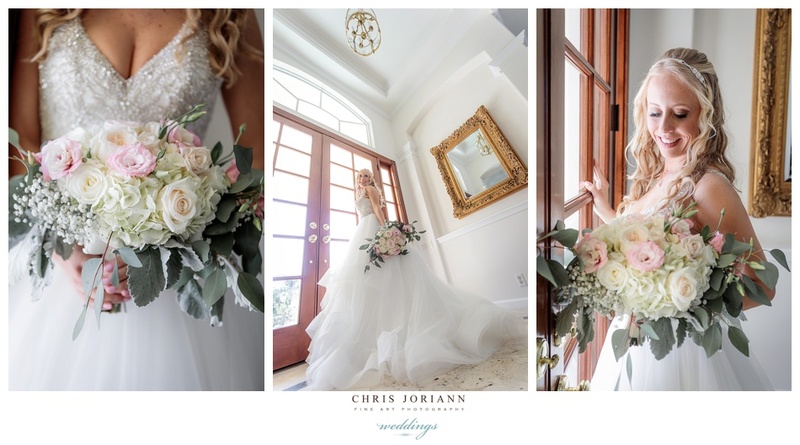 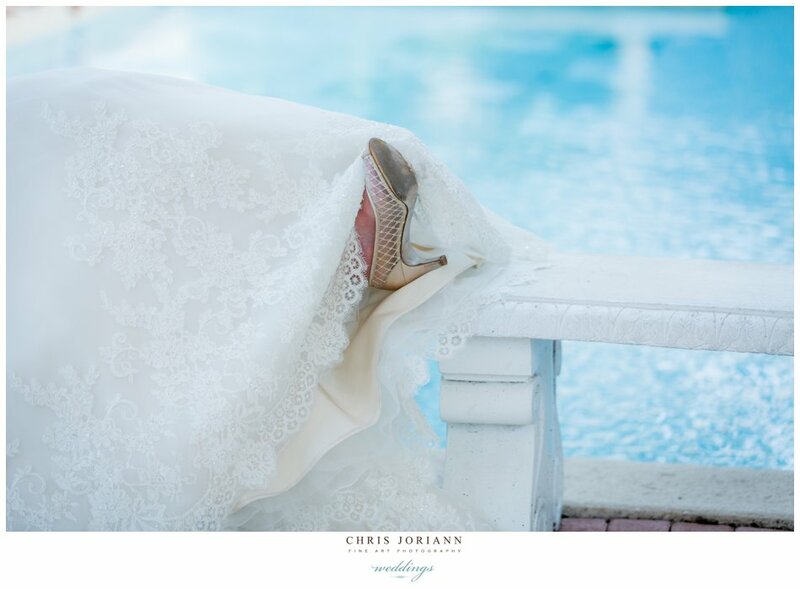 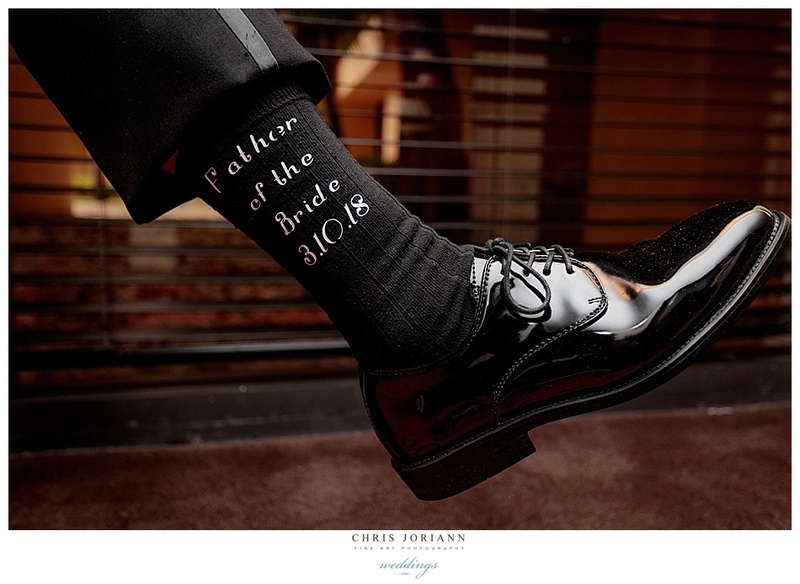 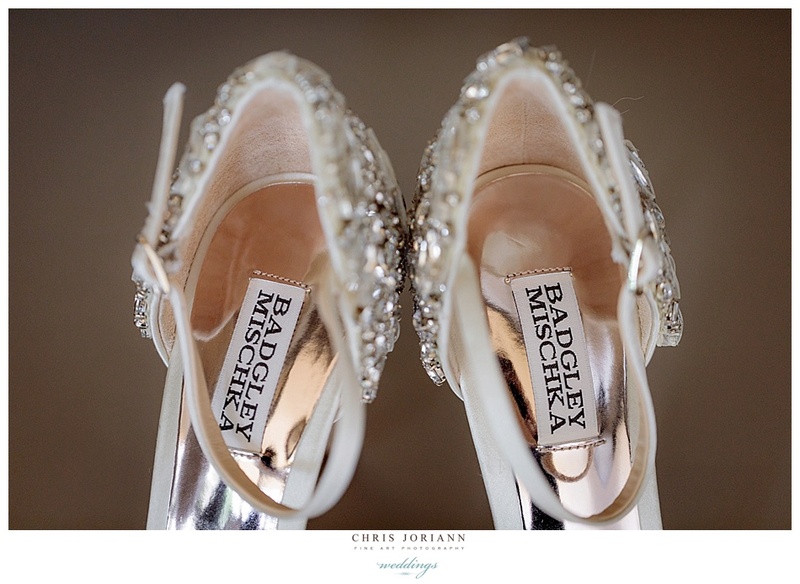 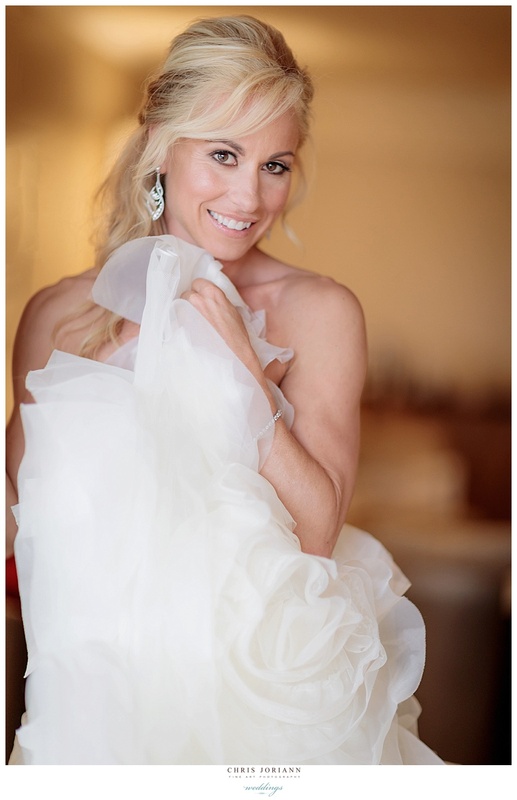 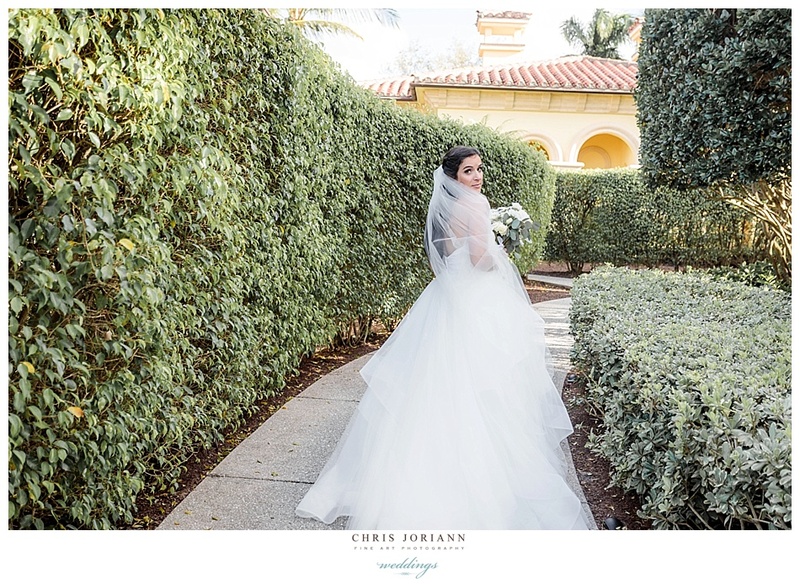 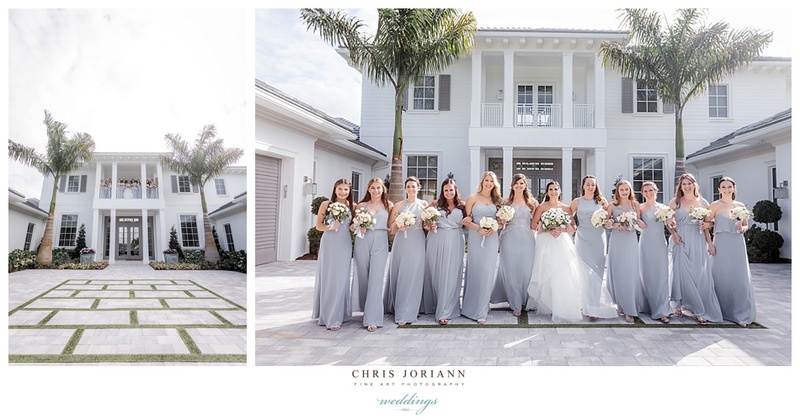 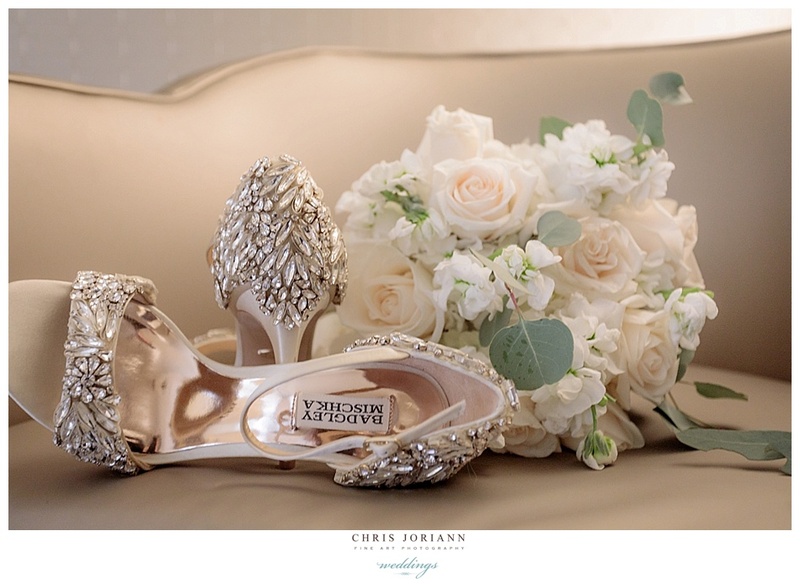 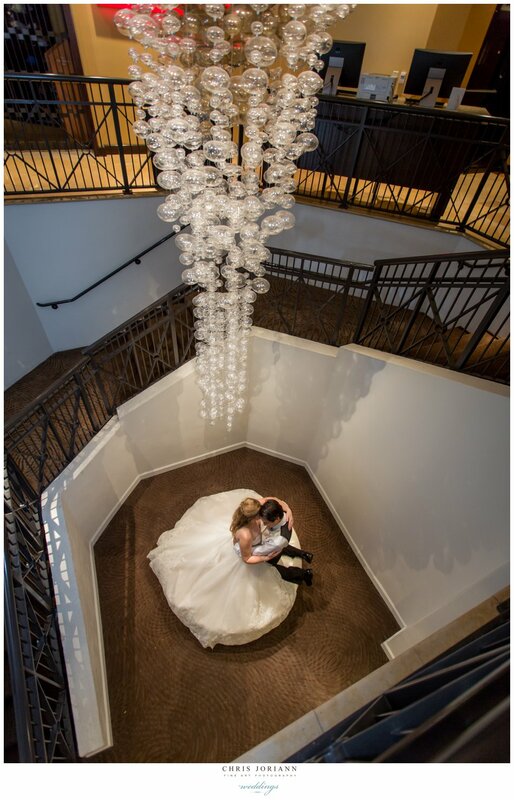 The bride prepped at nearby the Wyndham Grand Jupiter and wore a stunning couture gown by from Klienfeld New York and killer shoes by Badgley Mischka). 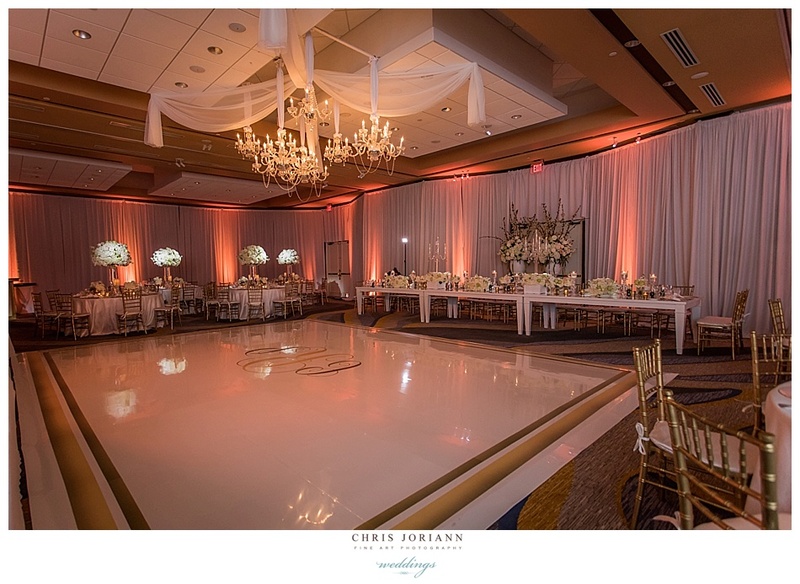 The unique event was coordinated by Above the Rest Events and perfectly managed by Lourdes Farina. 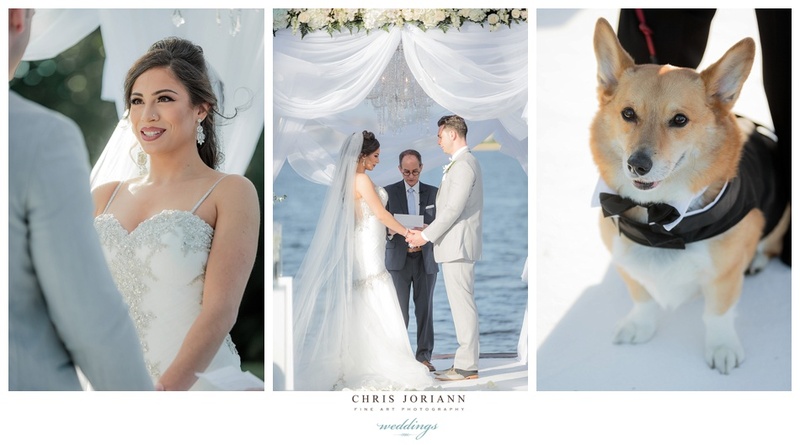 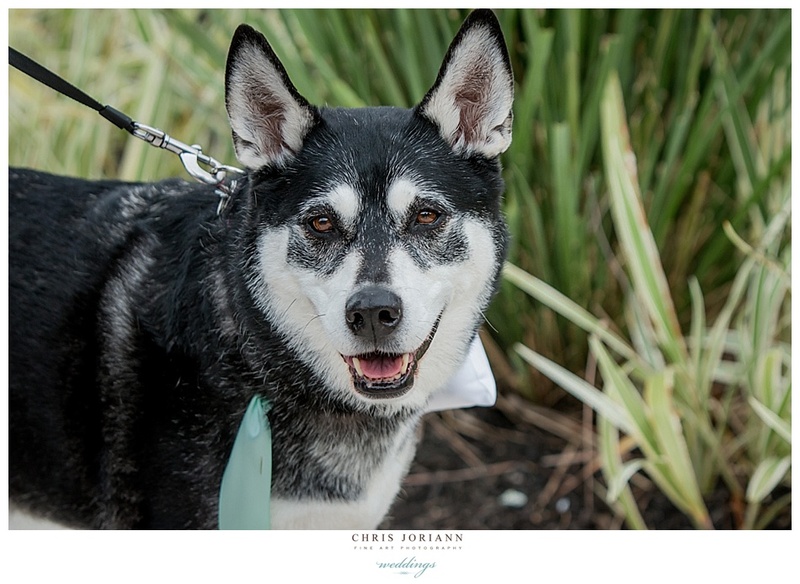 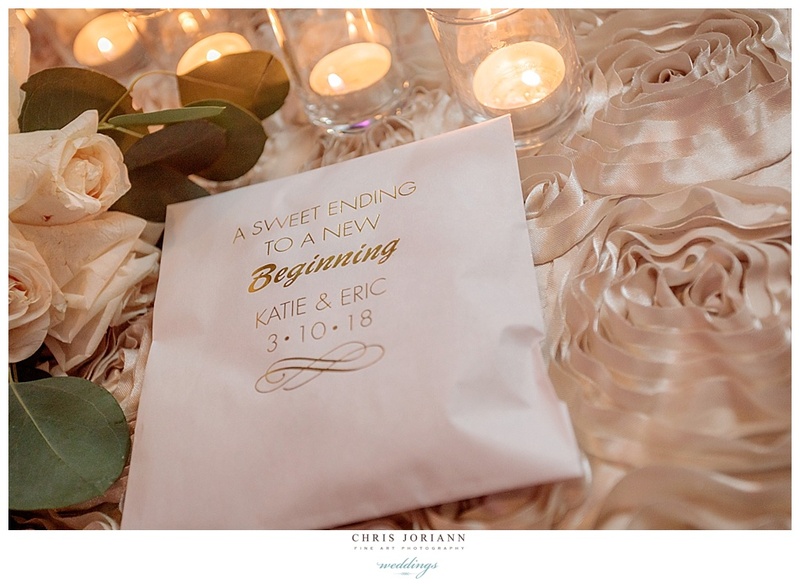 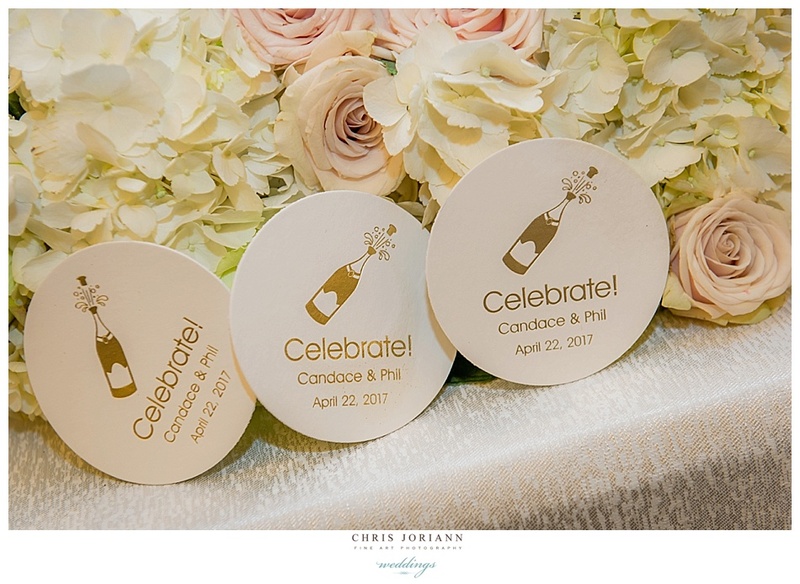 After the romantic waterfront ceremony, complete with adorable, tuxedo clad four-legged “corgie” ring bearer, guests enjoyed cocktails poolside, with floating candles and lotus flowers. 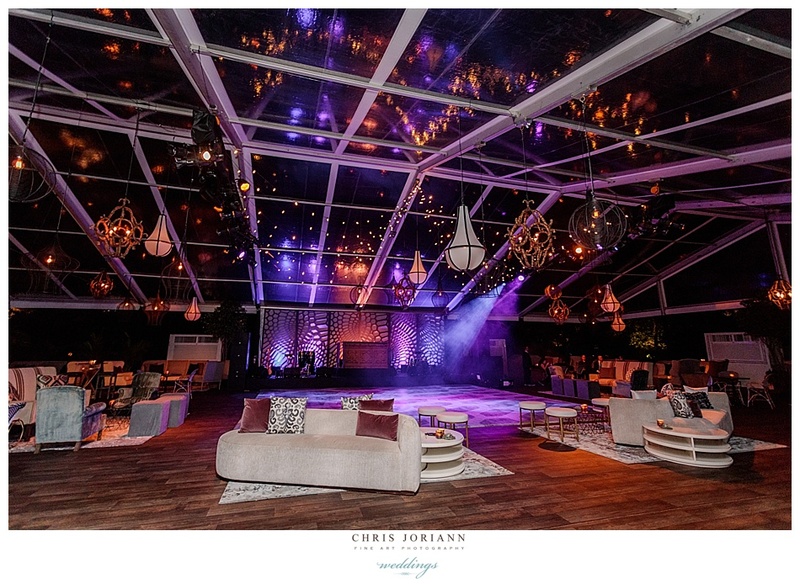 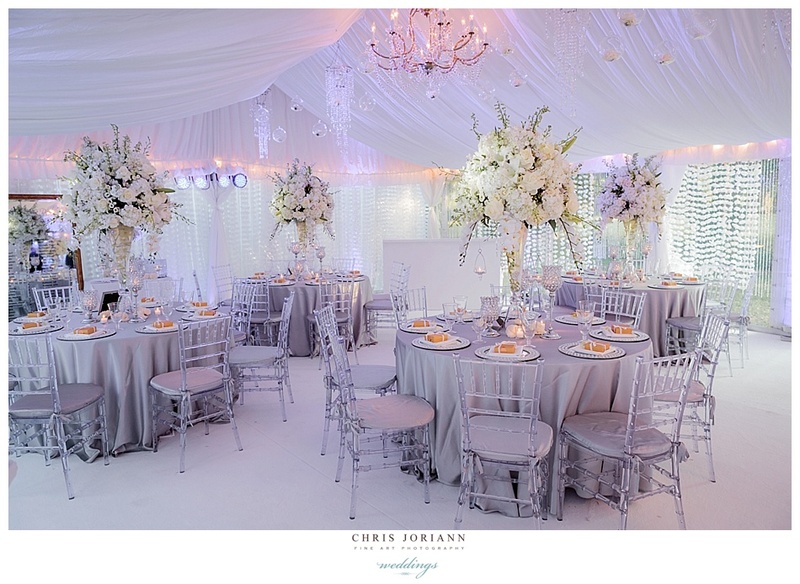 Later a tented reception uplit in hues of lavender featured white and silver decor, by Daniel Events with falling petals, white draping and dance floor, and orchids galore. 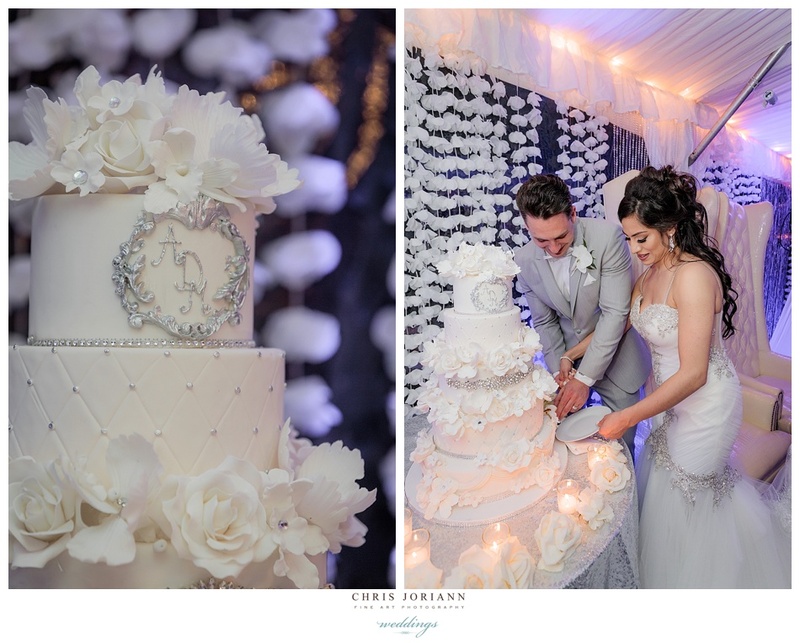 The romantic 4-tier silver and ivory cake with spun sugar flowers by Johnson’s Custom Cakes was bejeweled to confectionary perfection. 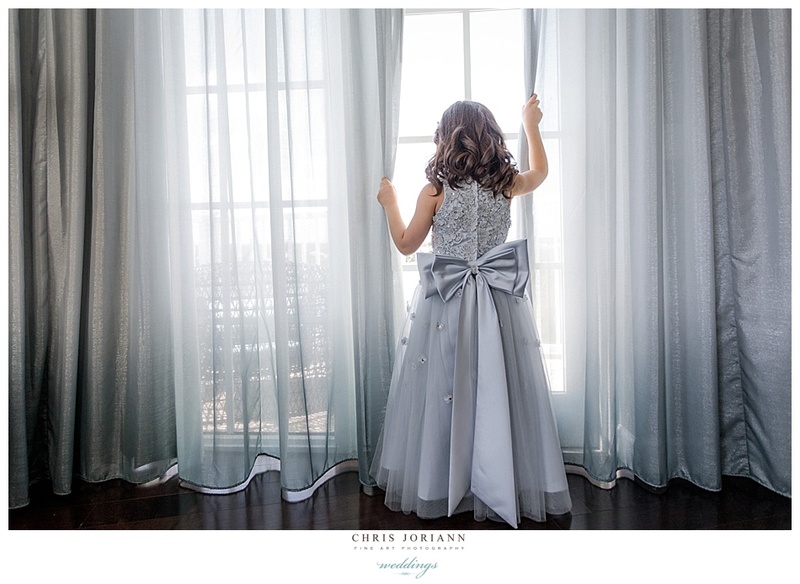 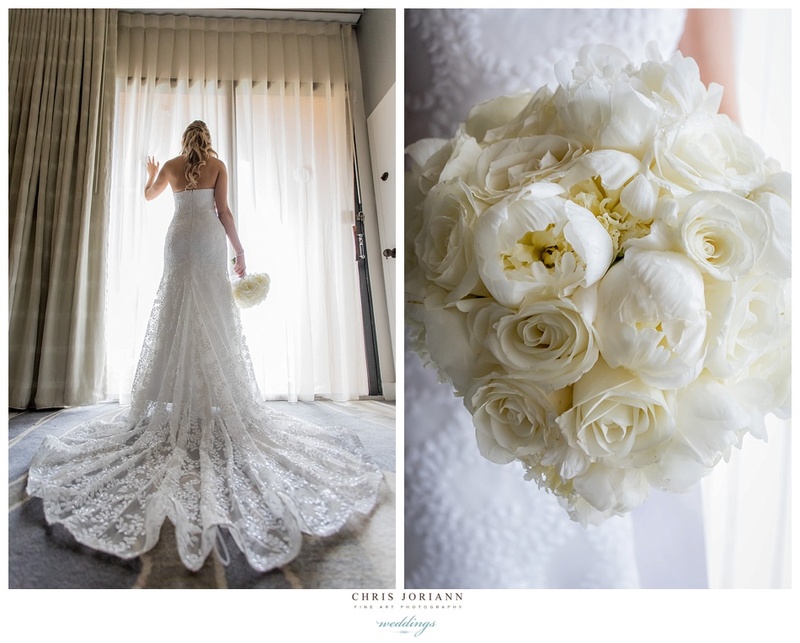 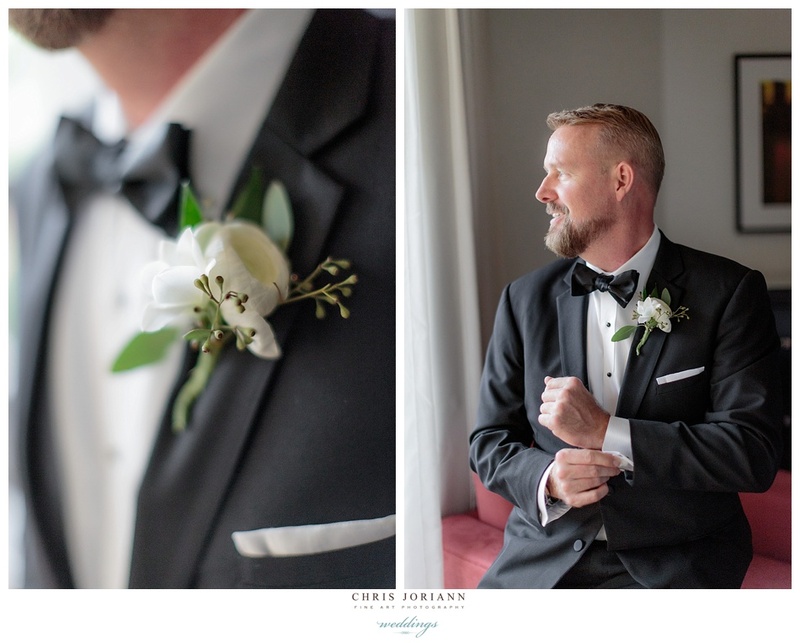 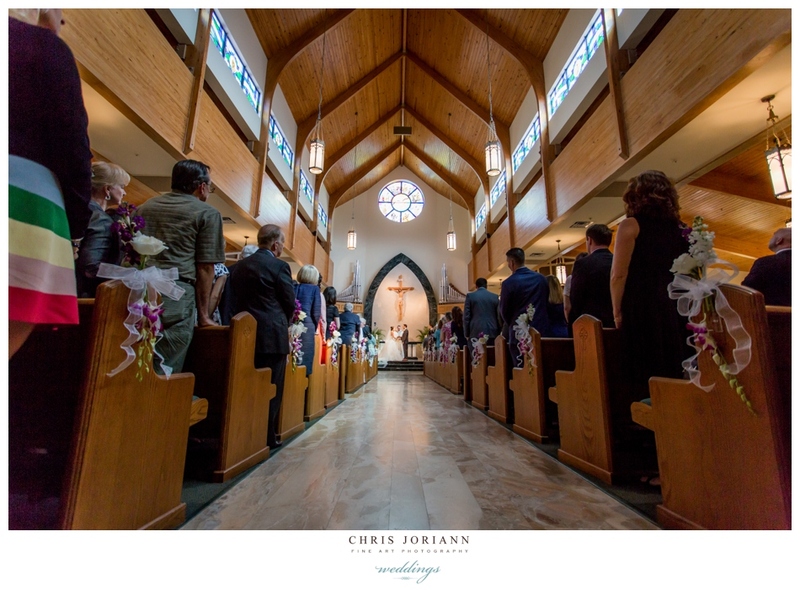 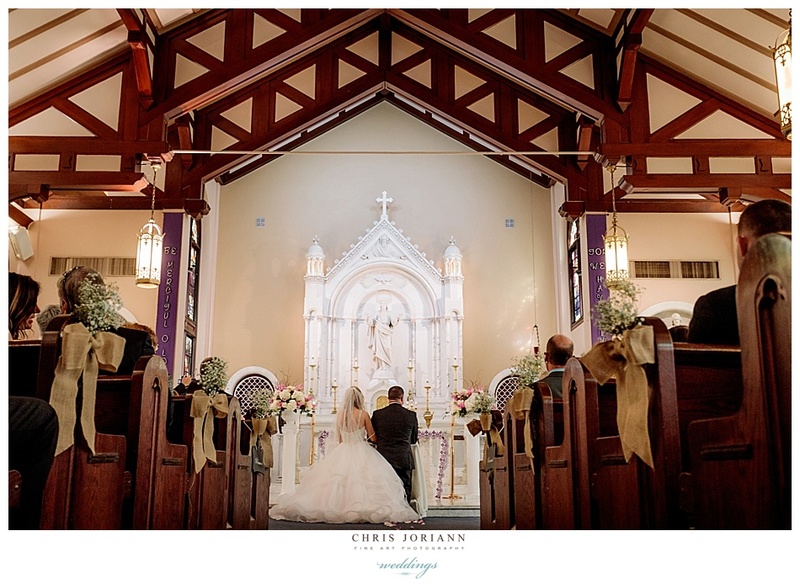 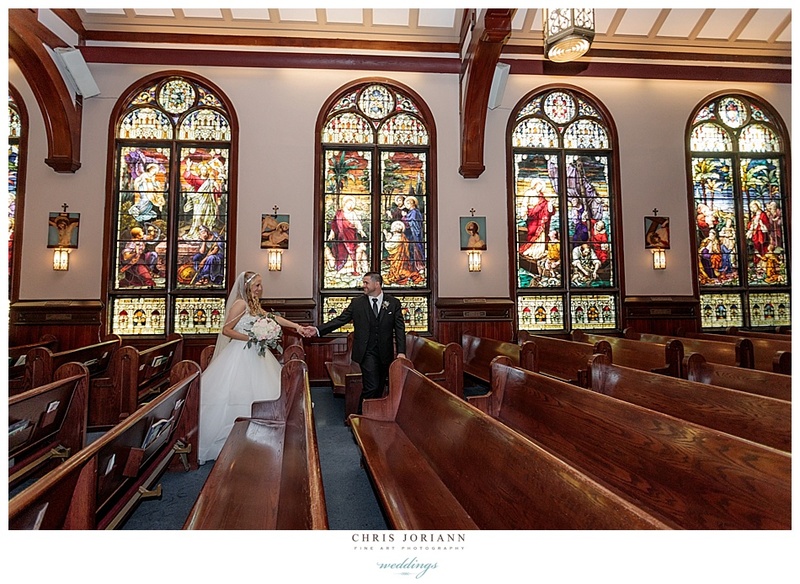 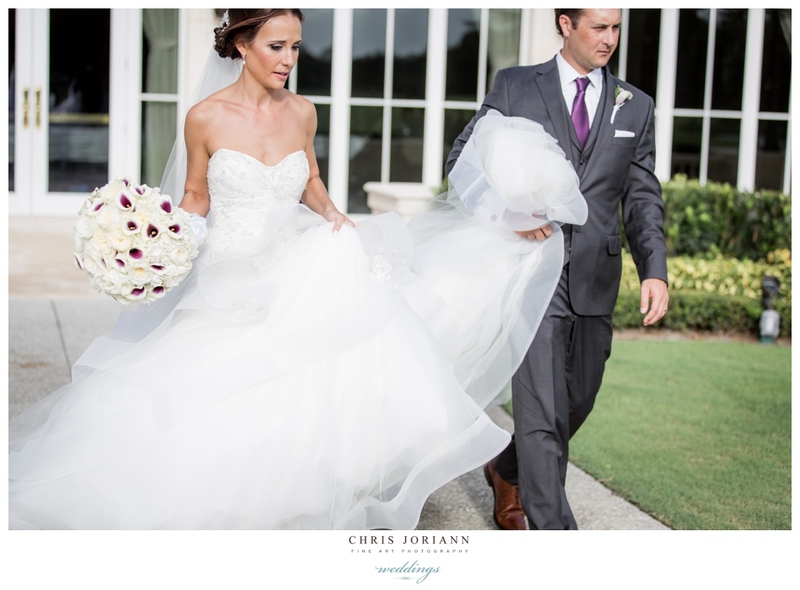 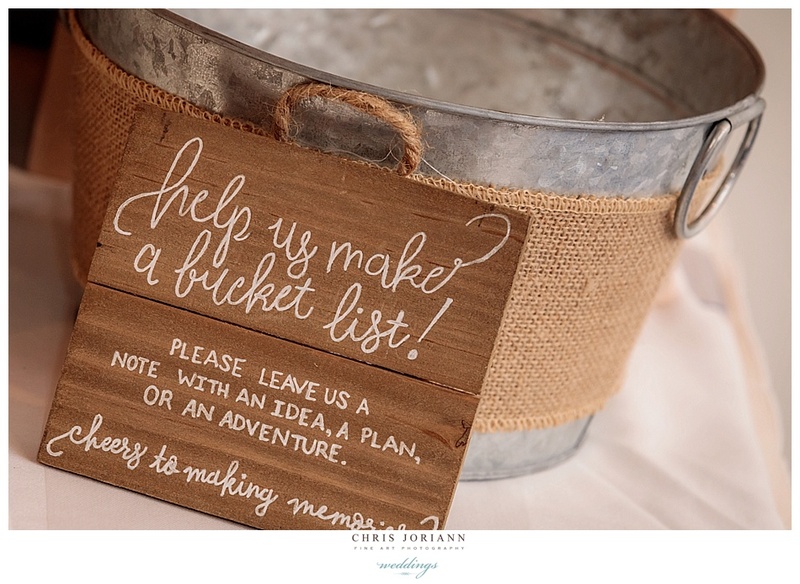 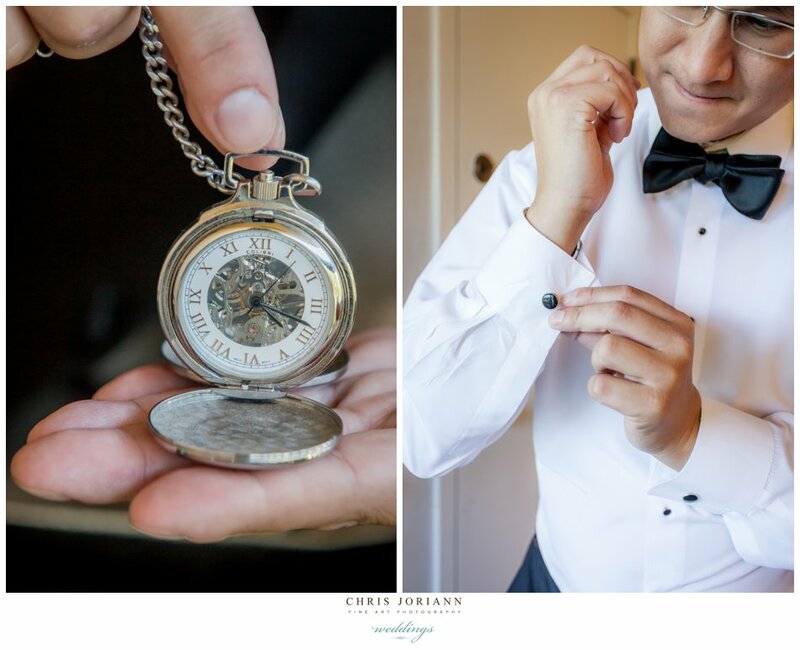 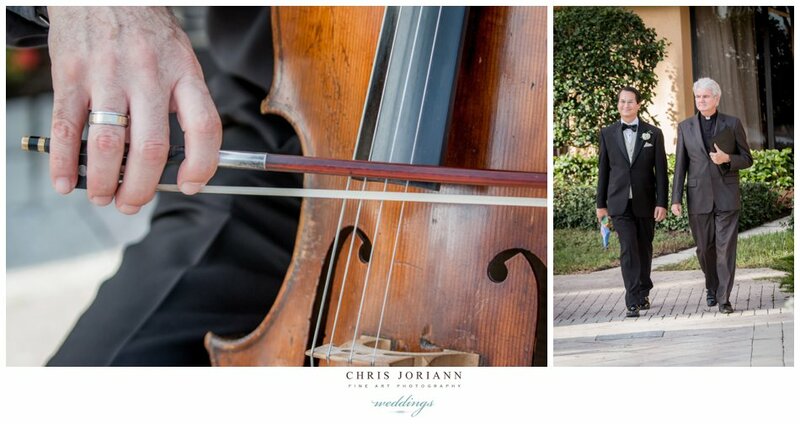 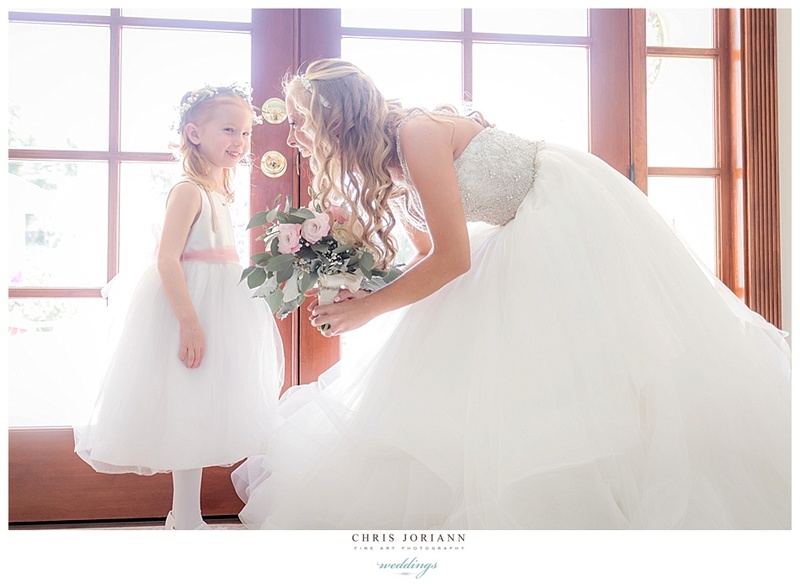 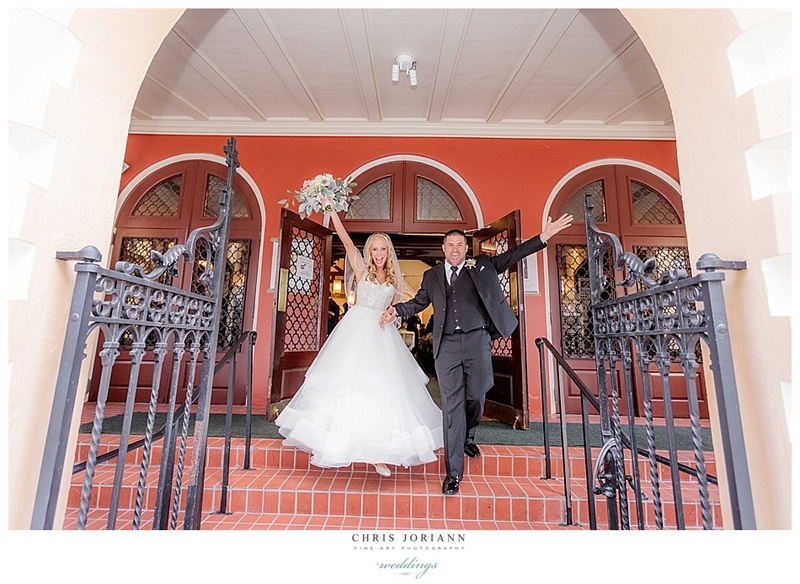 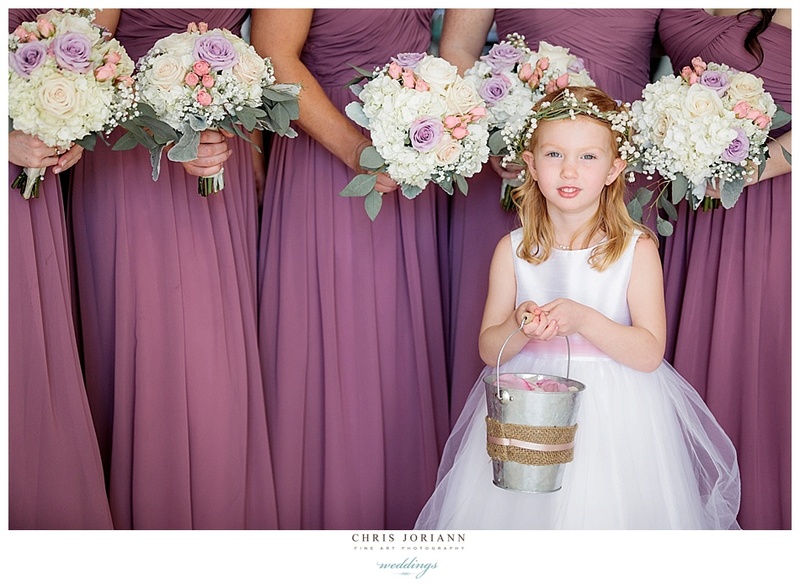 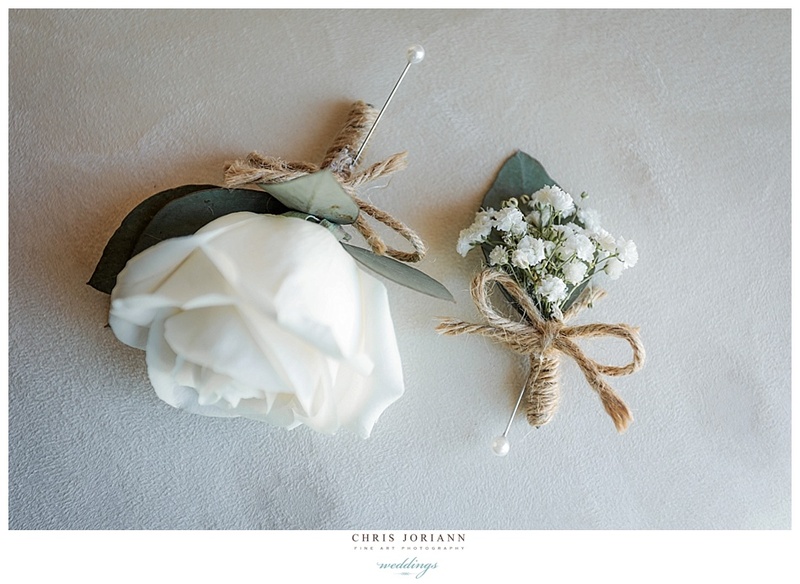 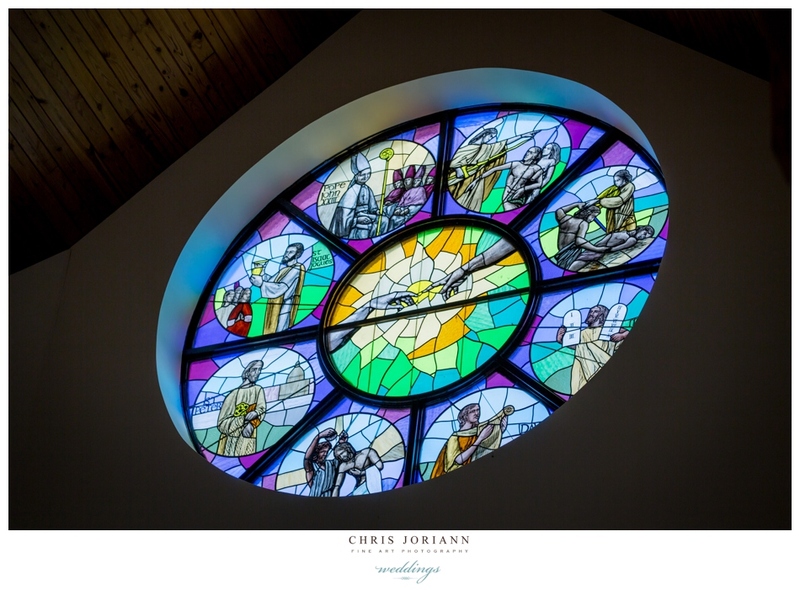 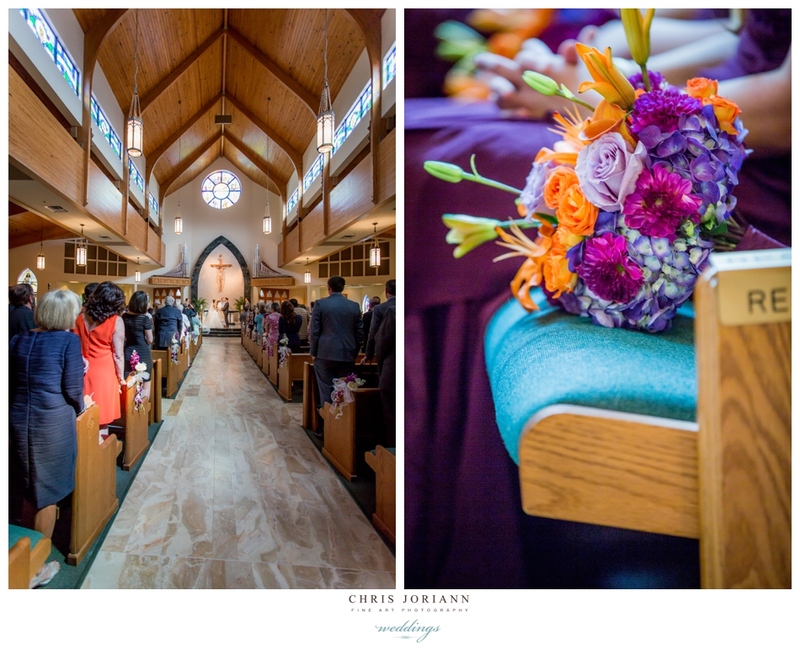 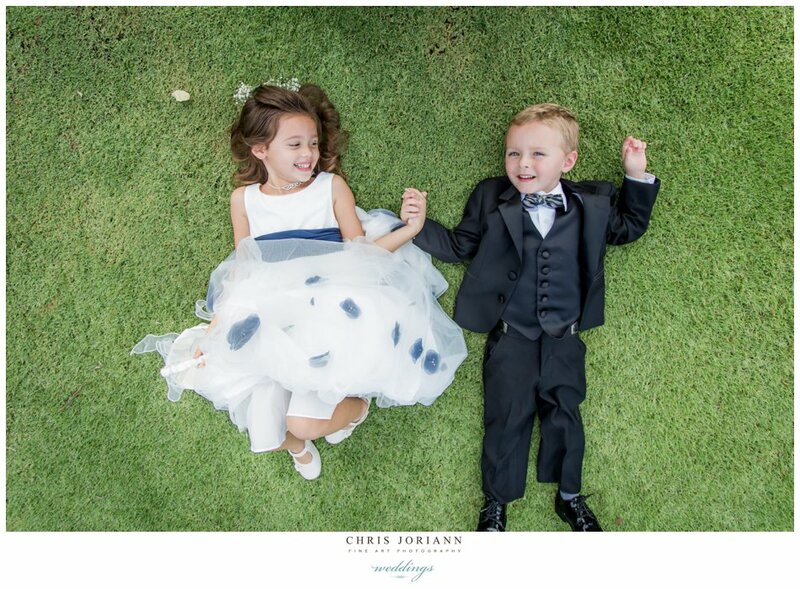 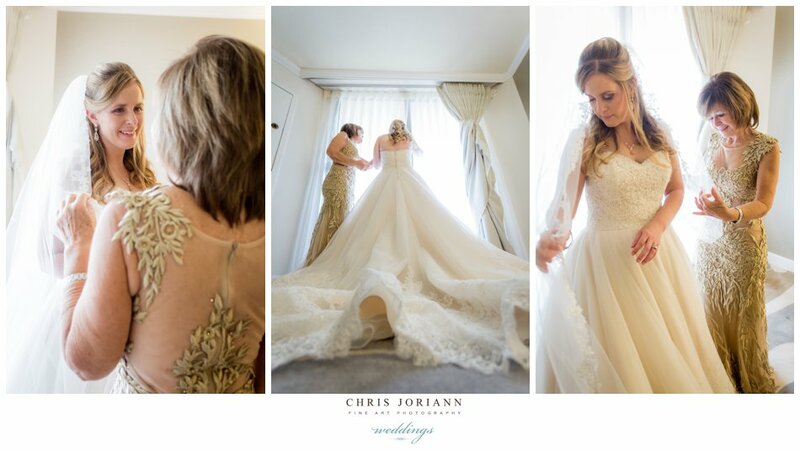 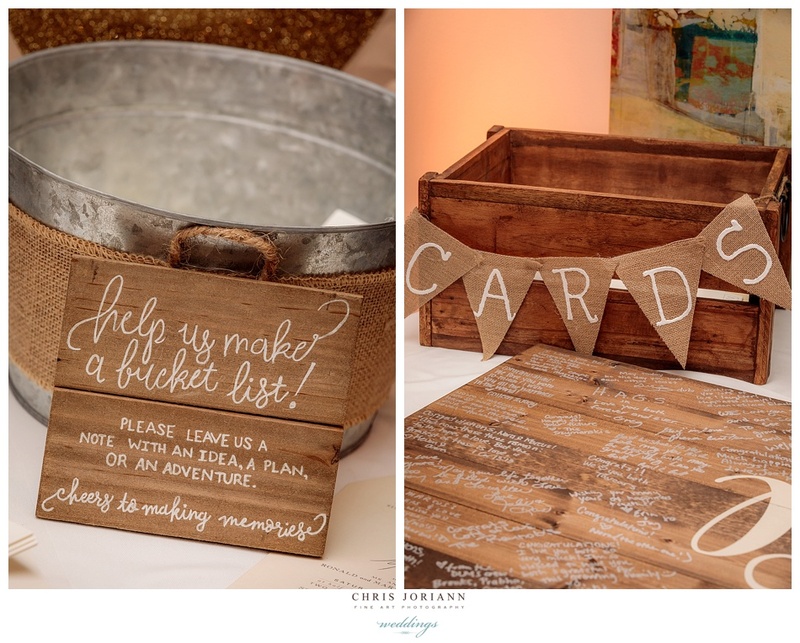 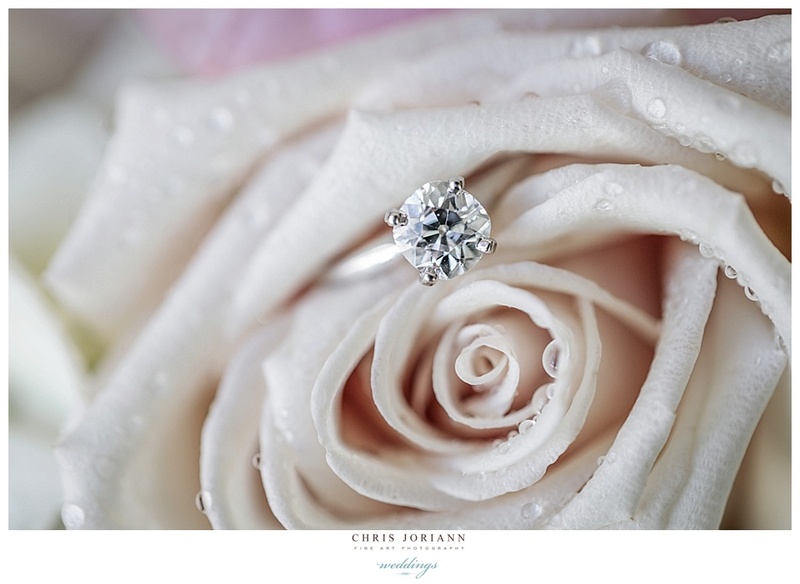 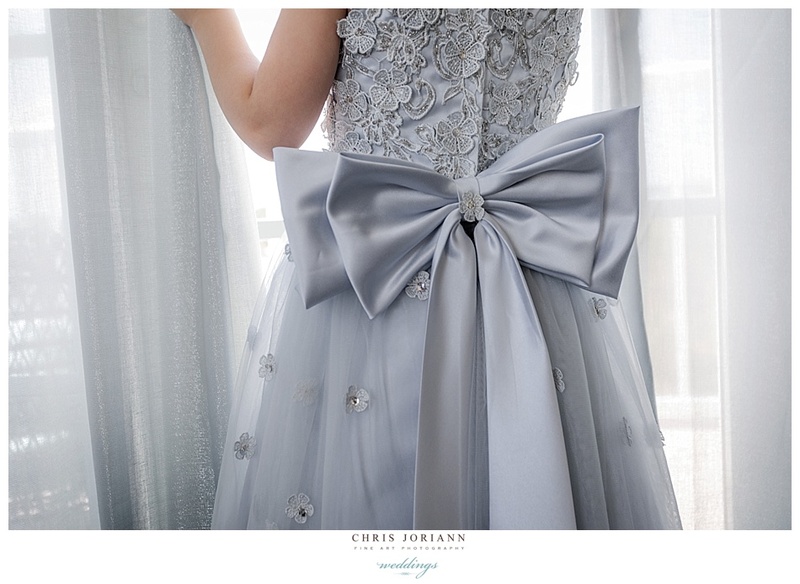 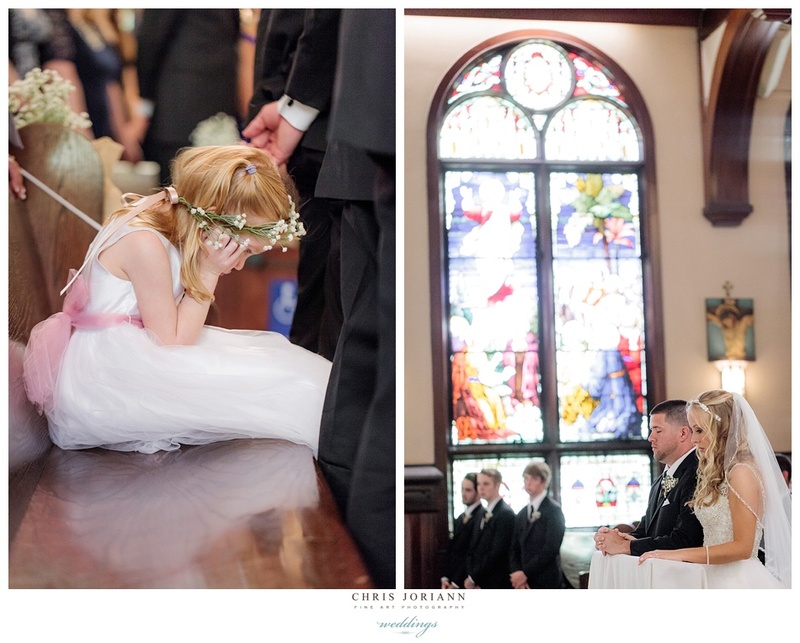 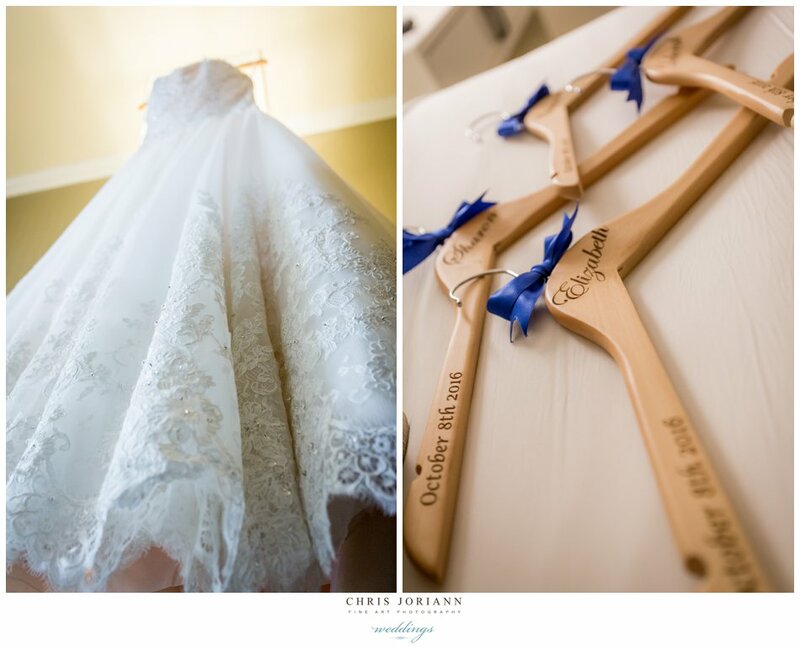 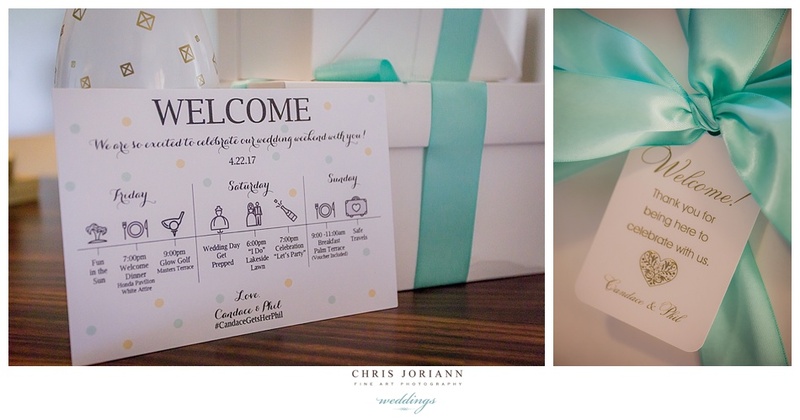 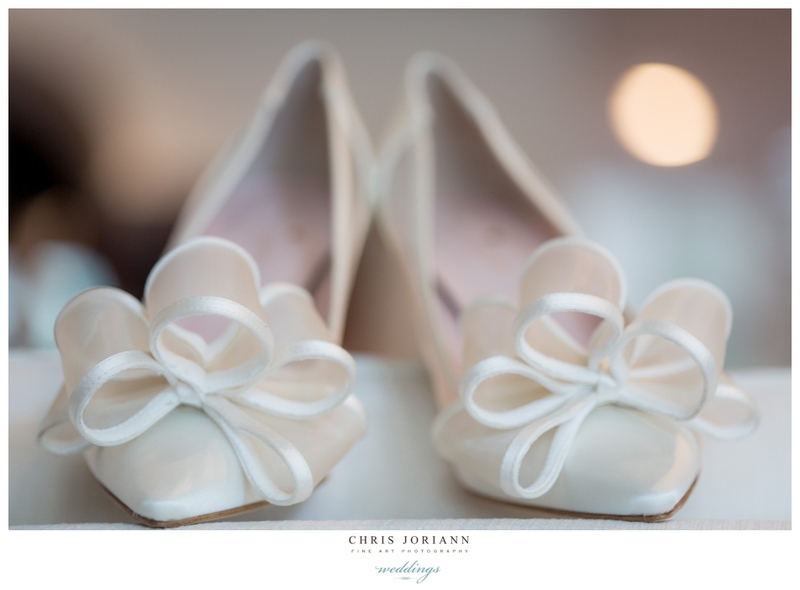 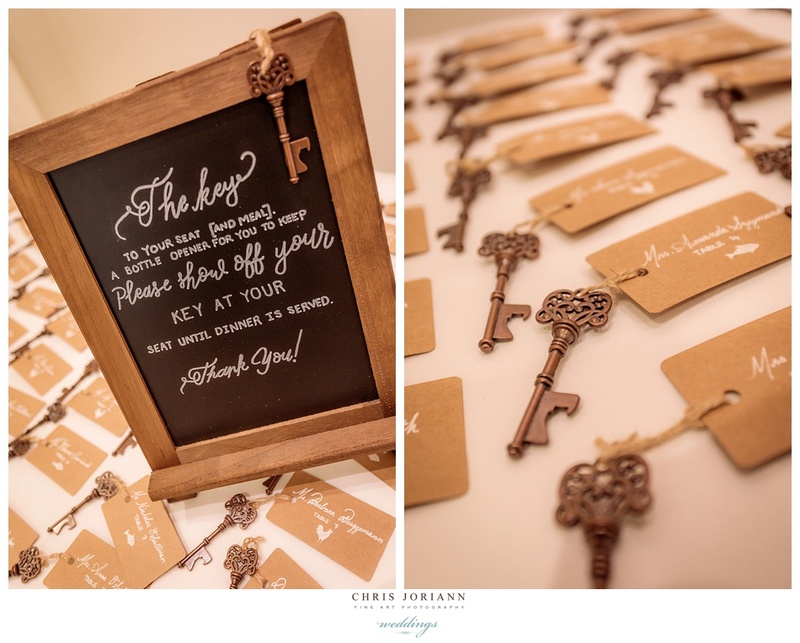 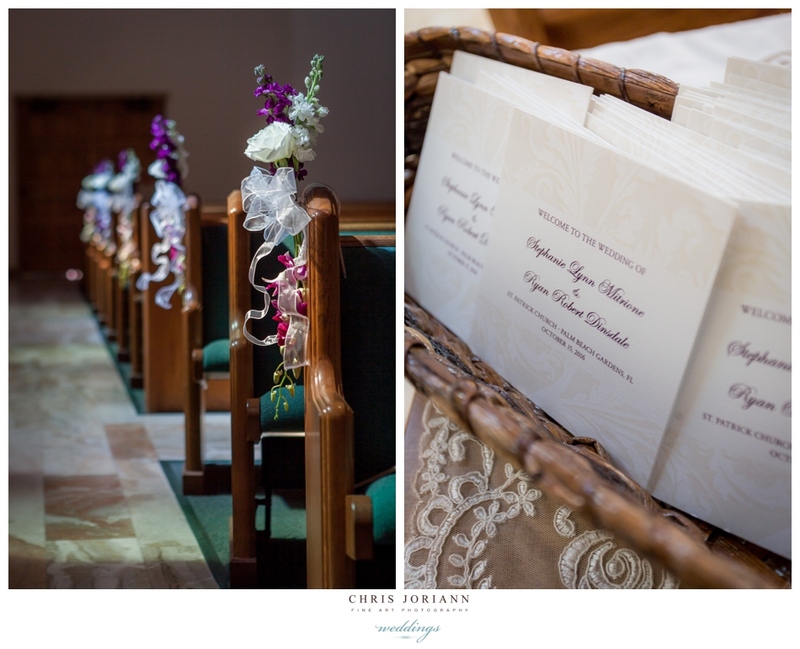 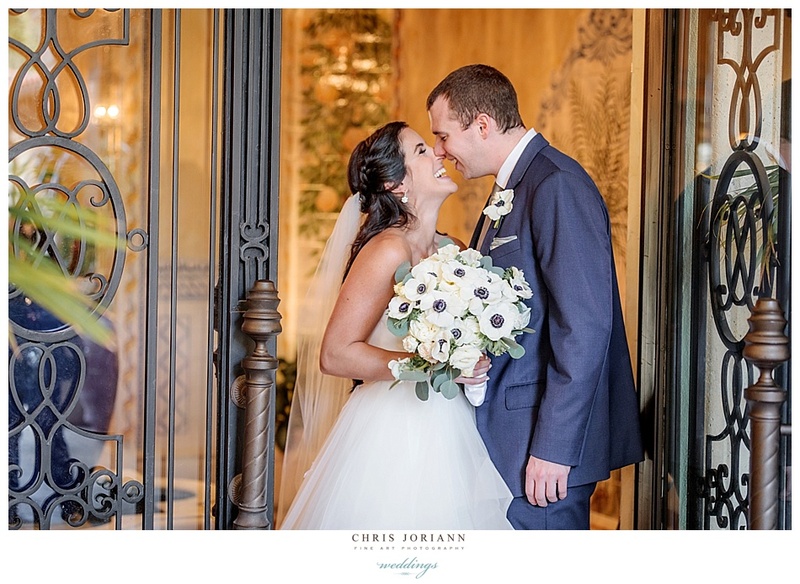 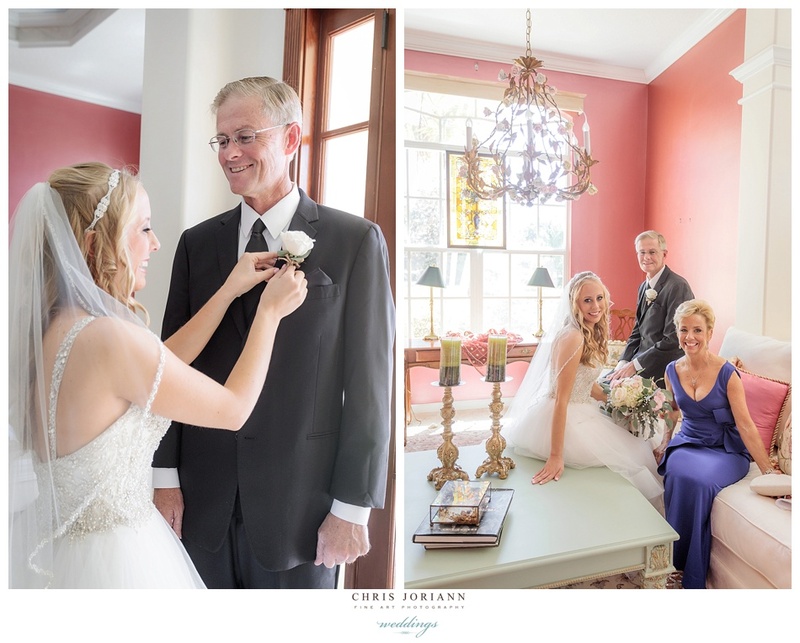 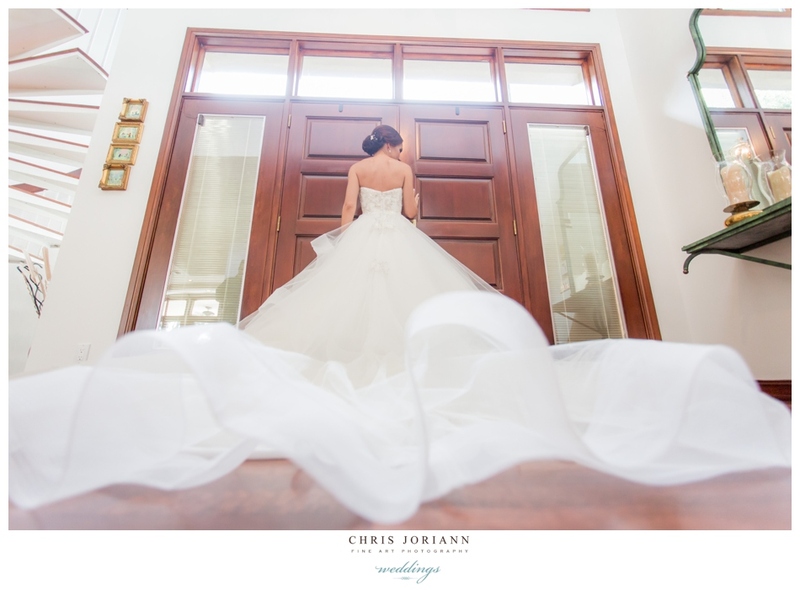 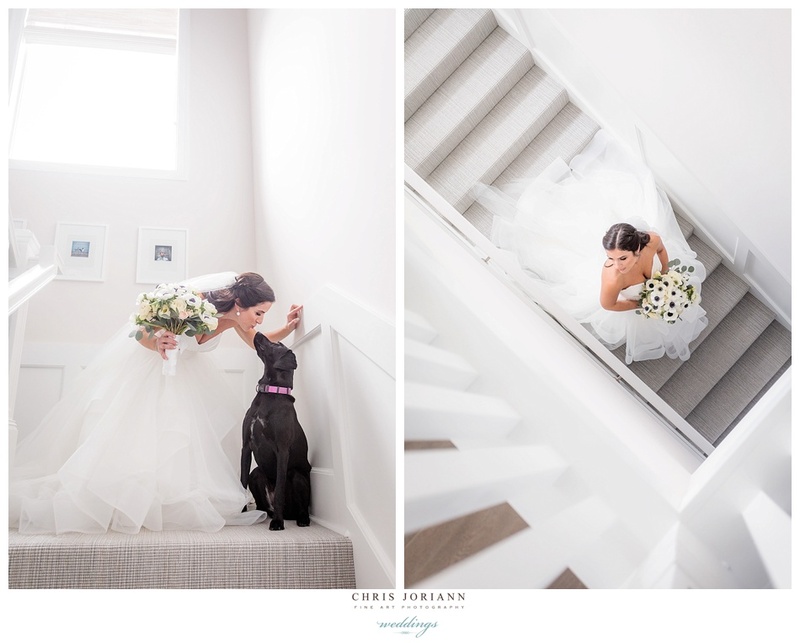 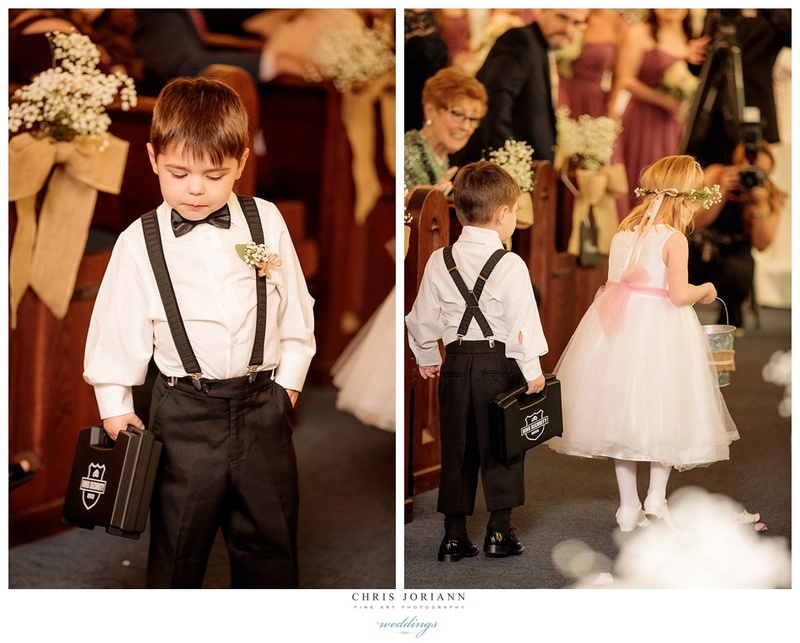 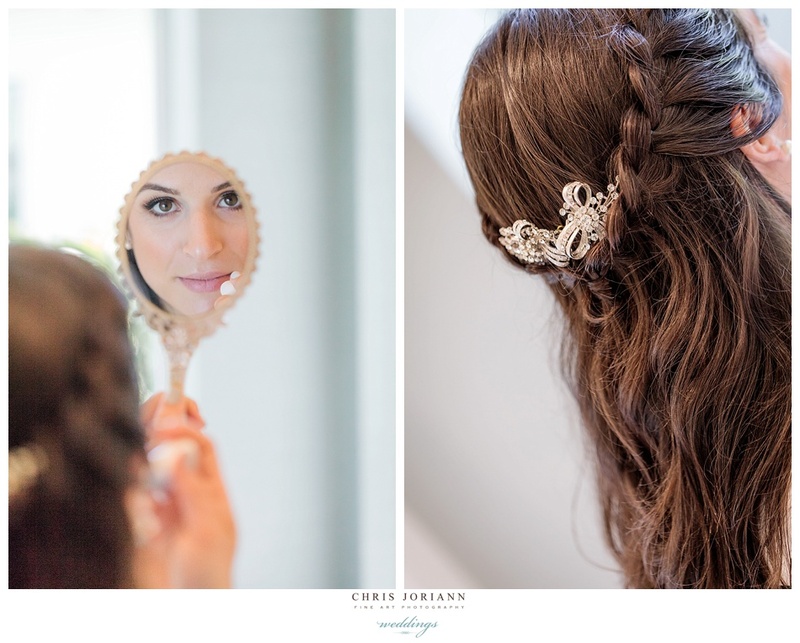 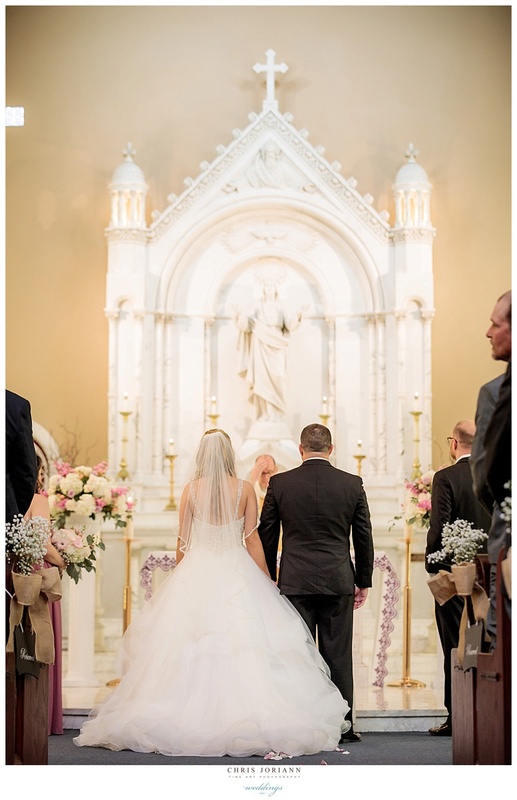 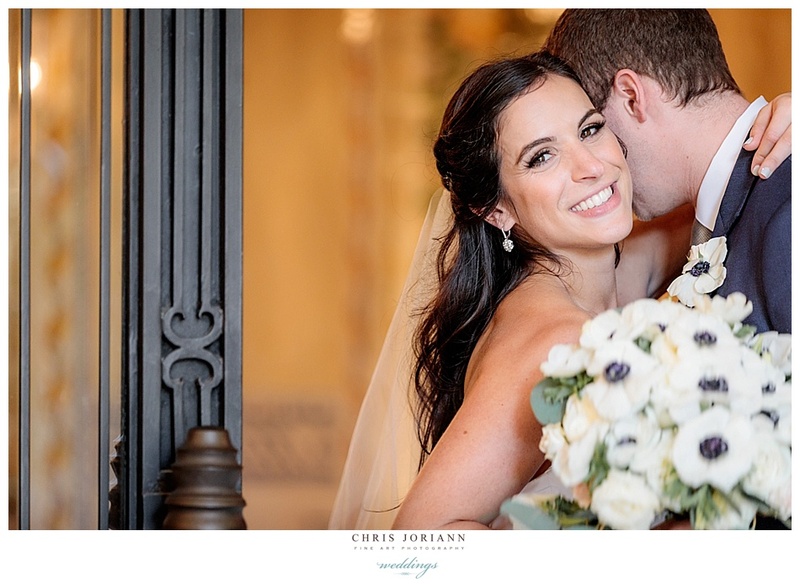 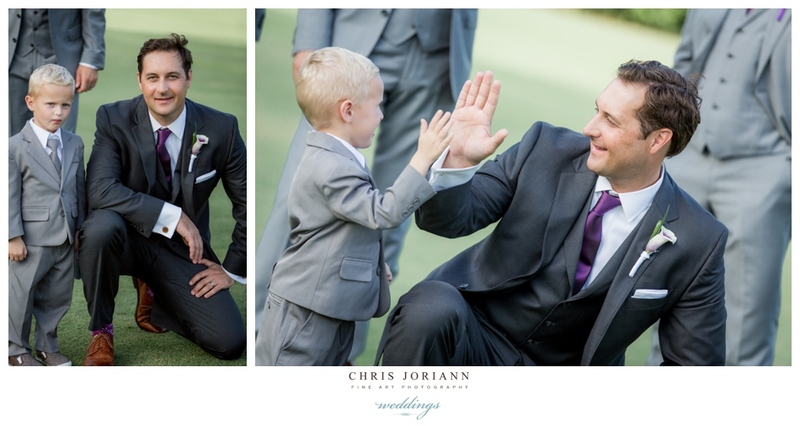 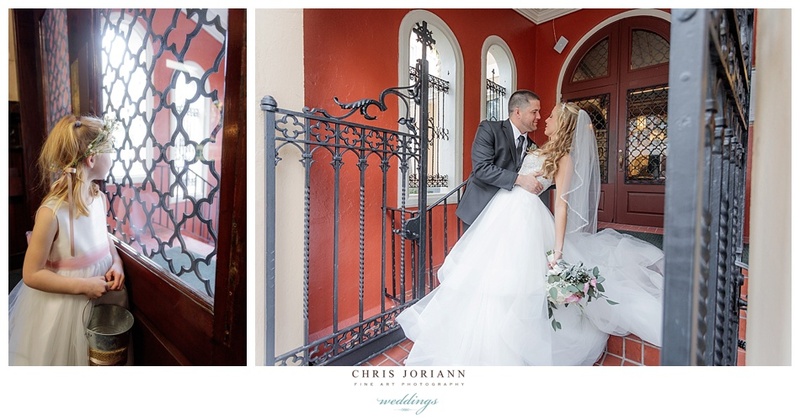 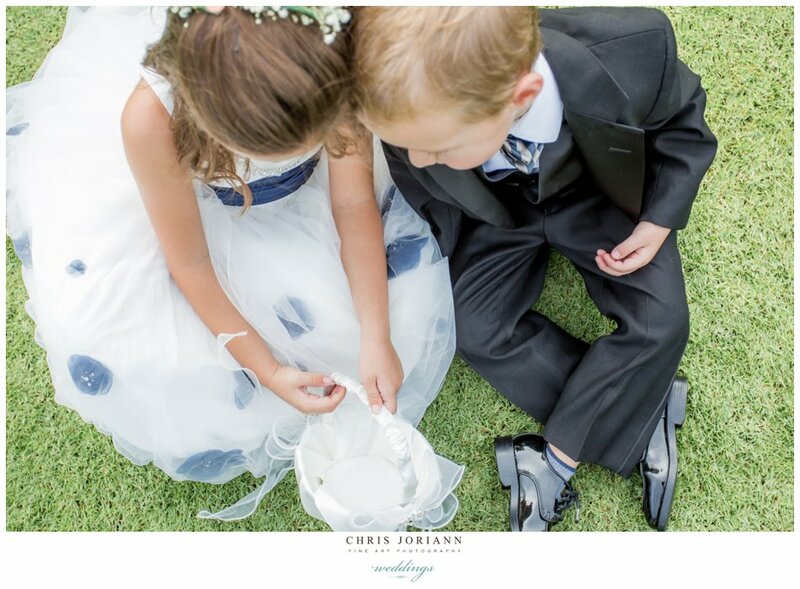 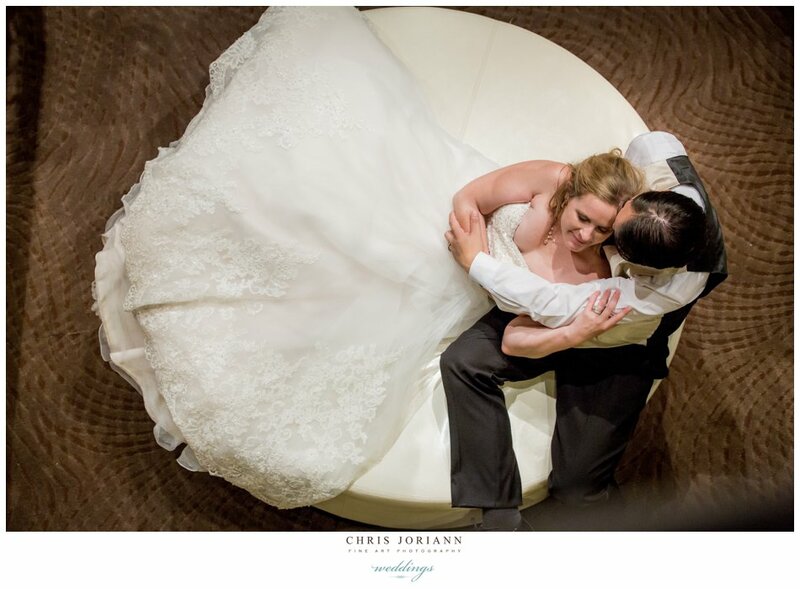 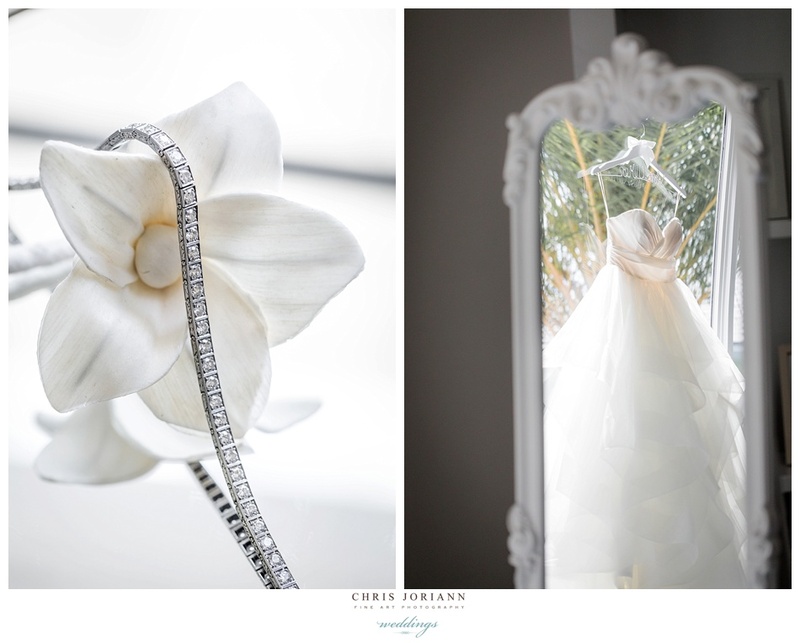 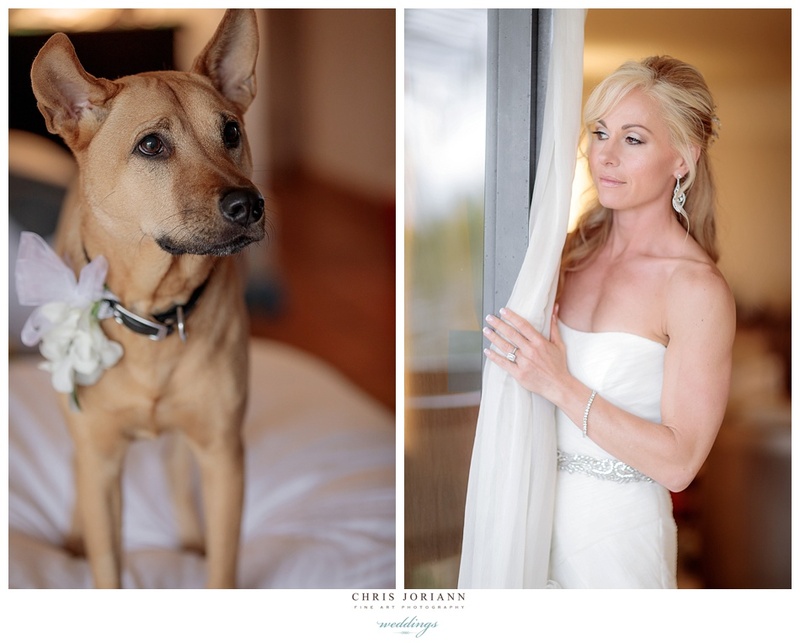 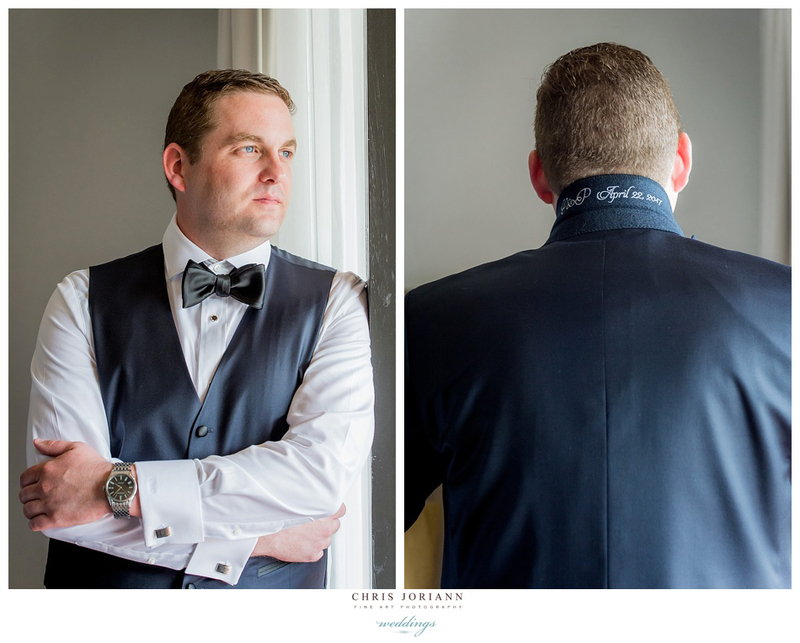 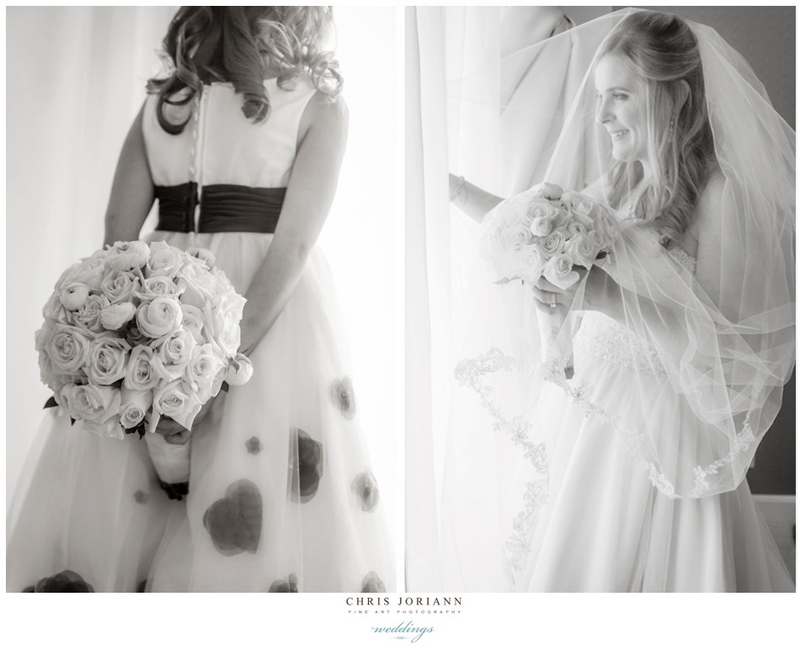 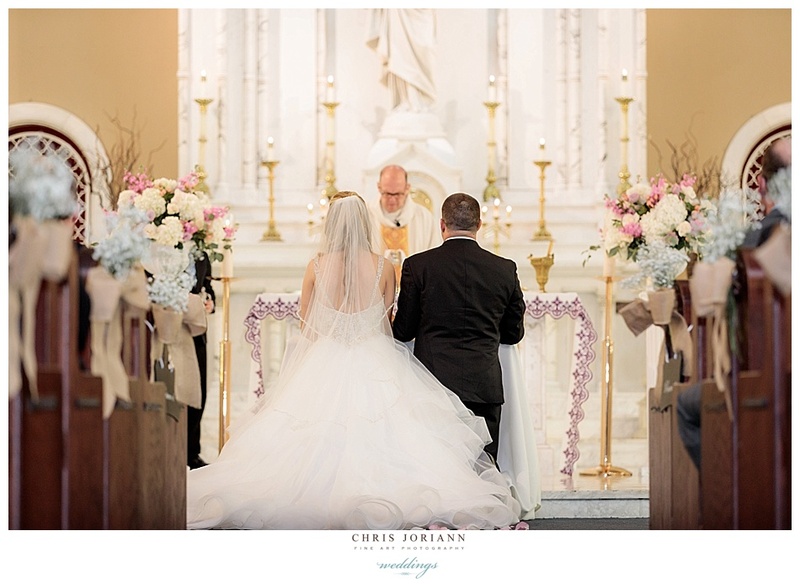 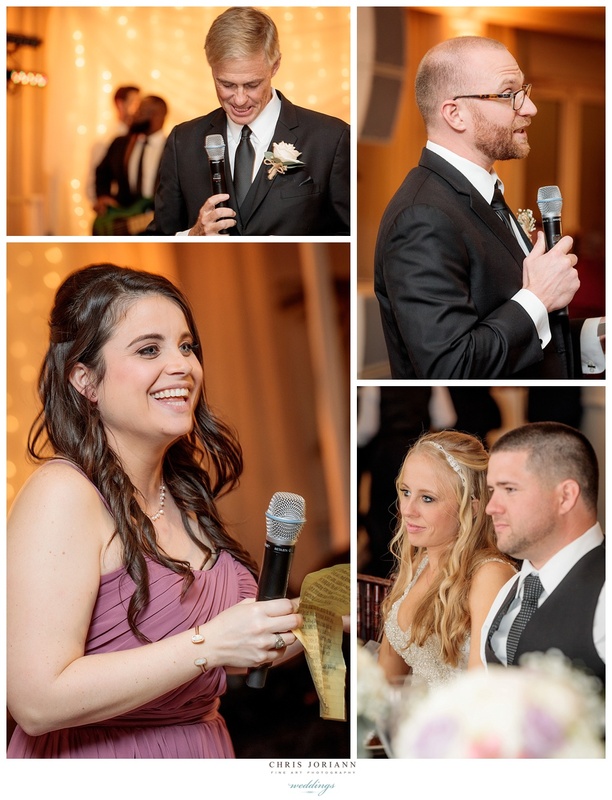 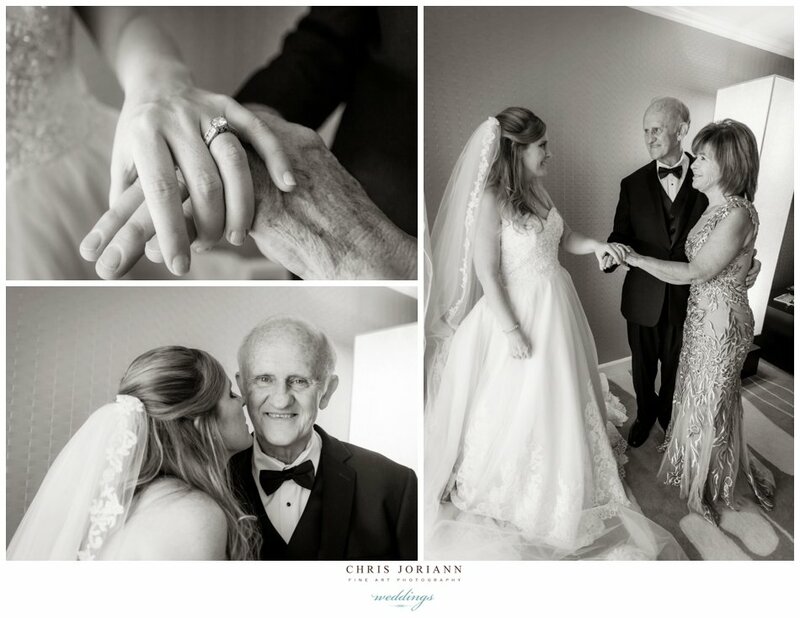 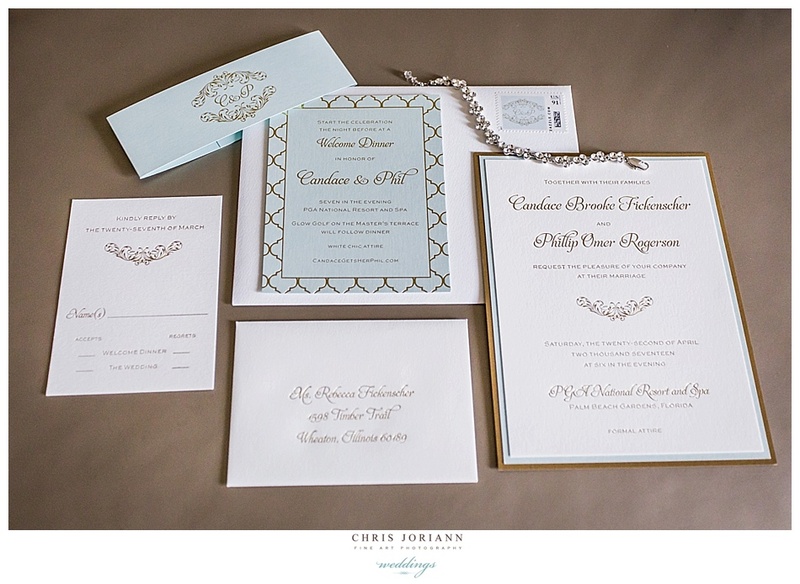 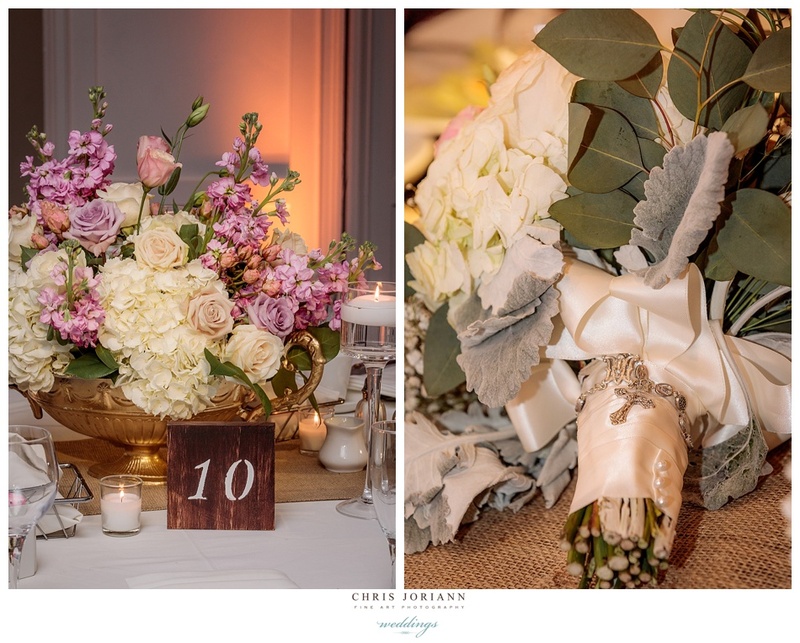 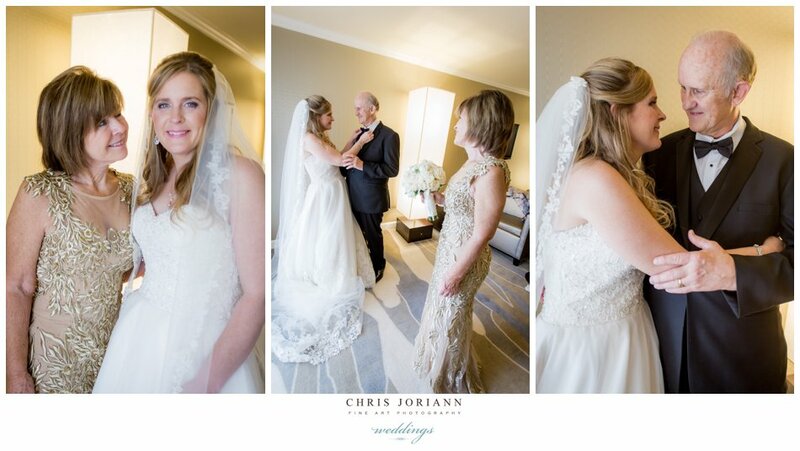 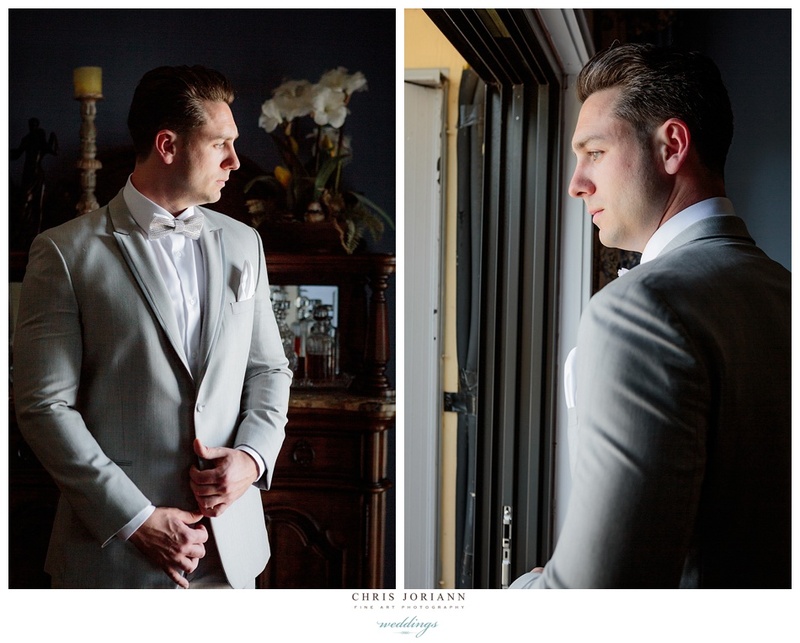 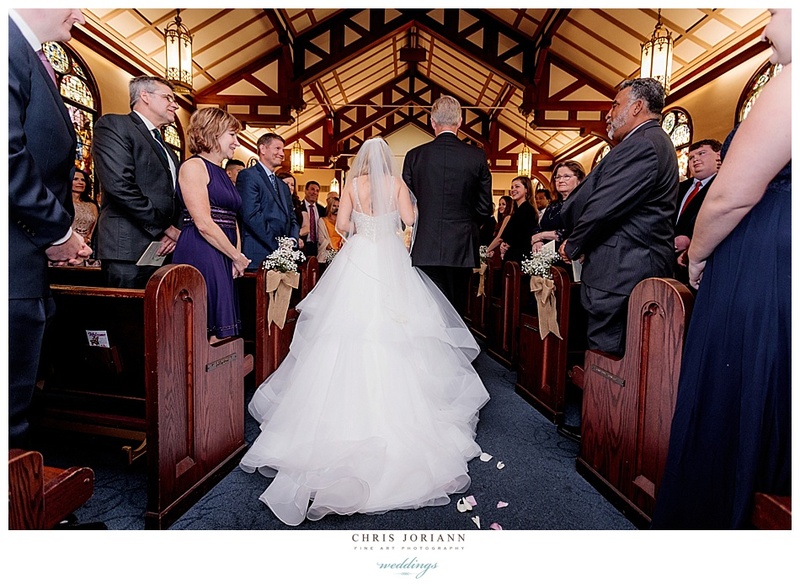 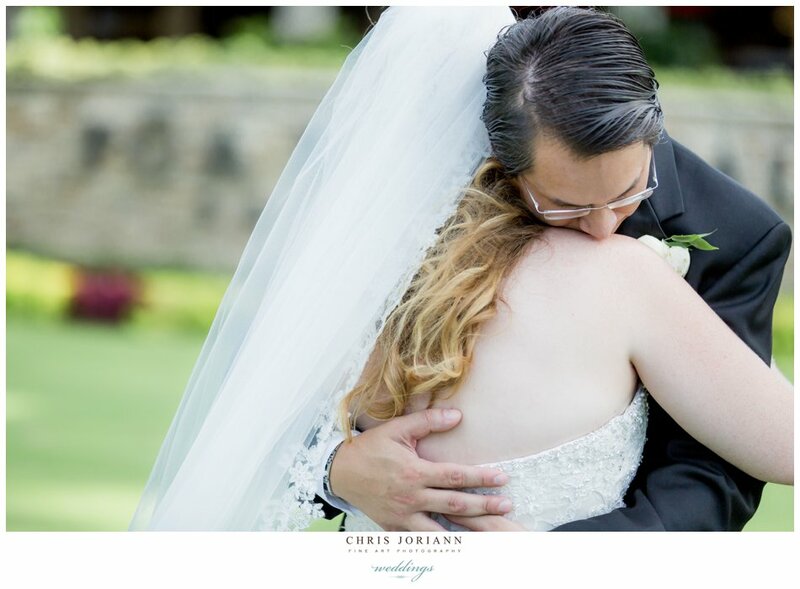 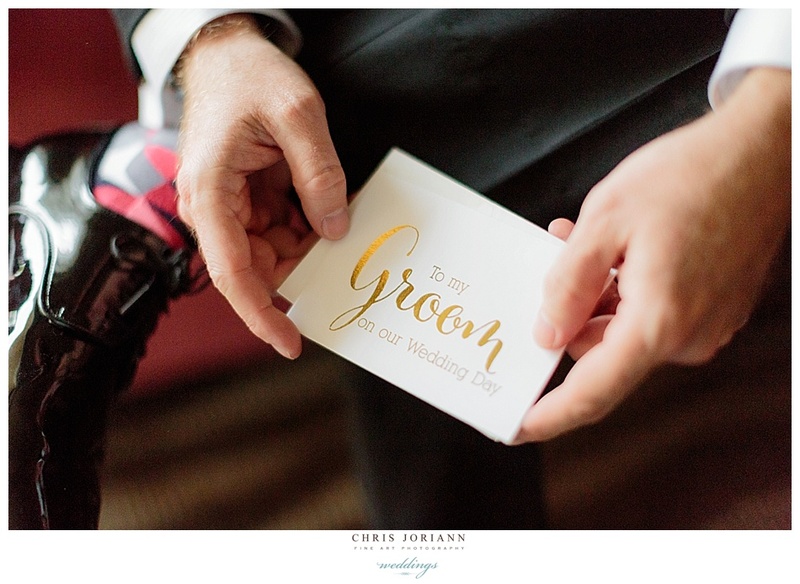 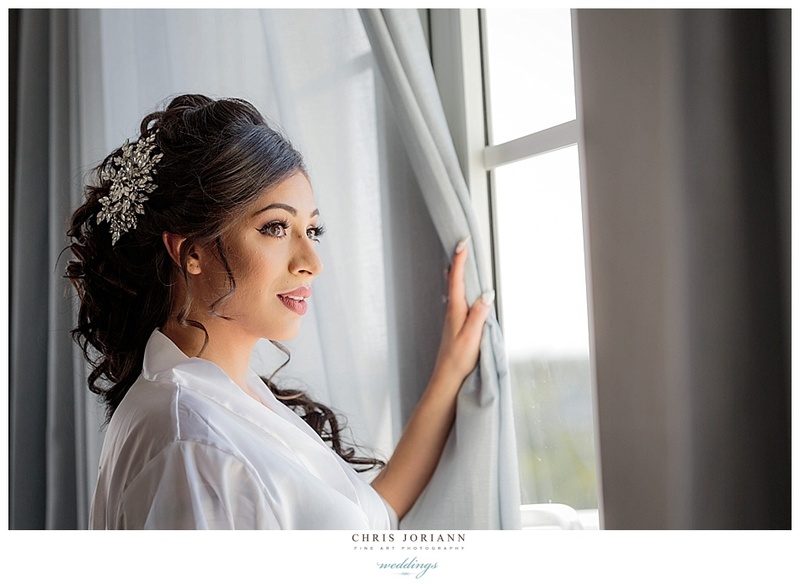 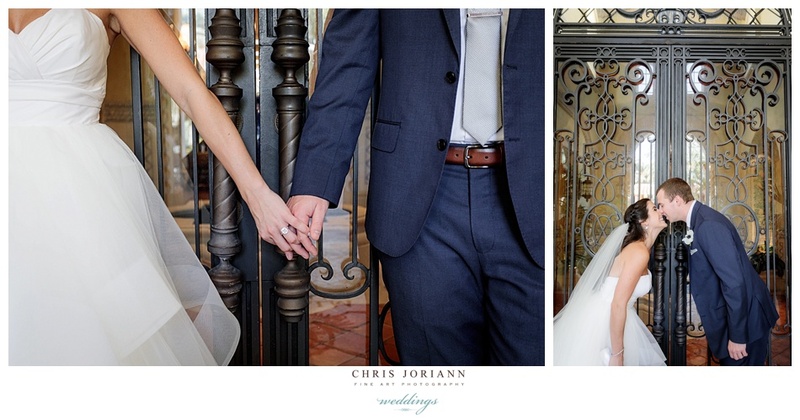 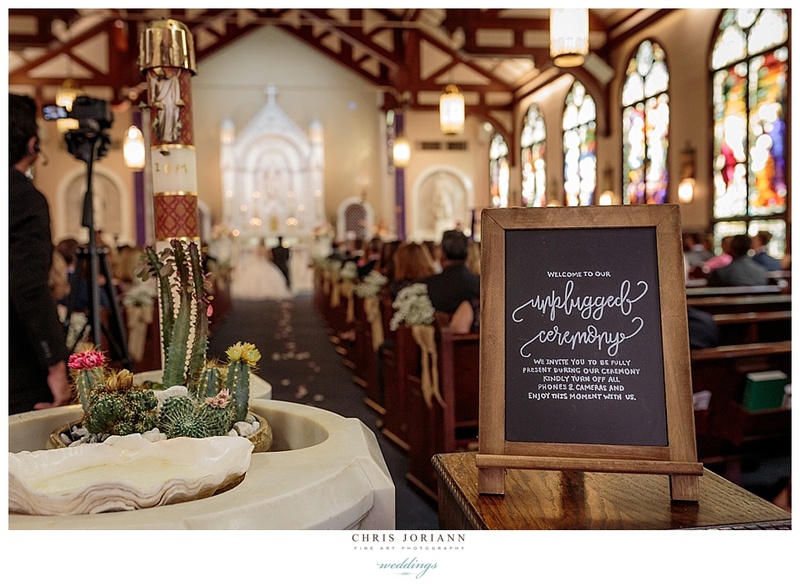 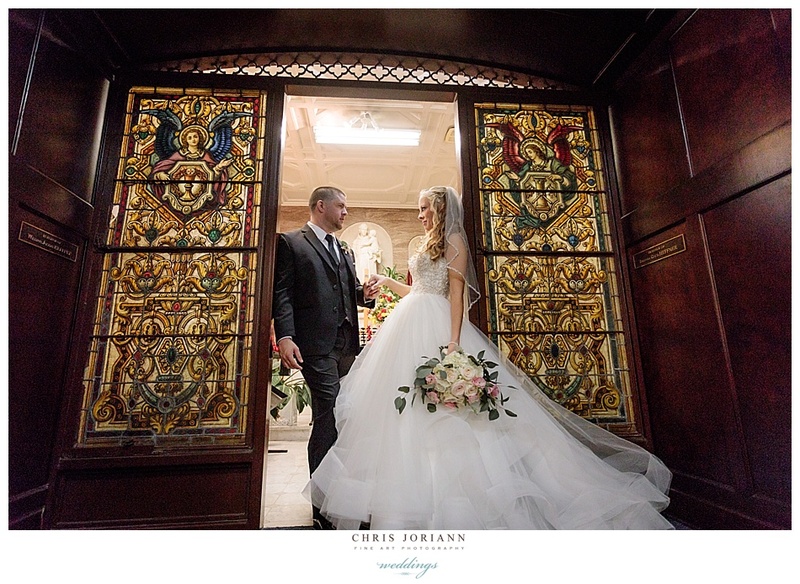 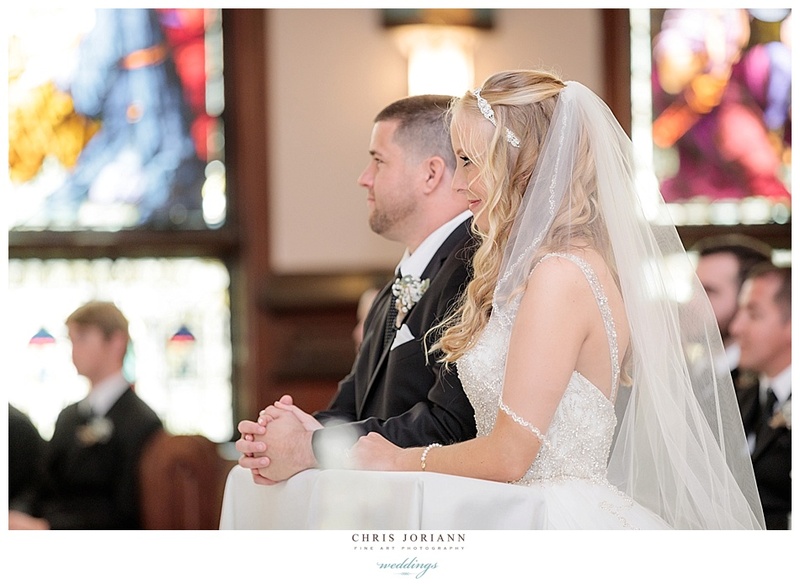 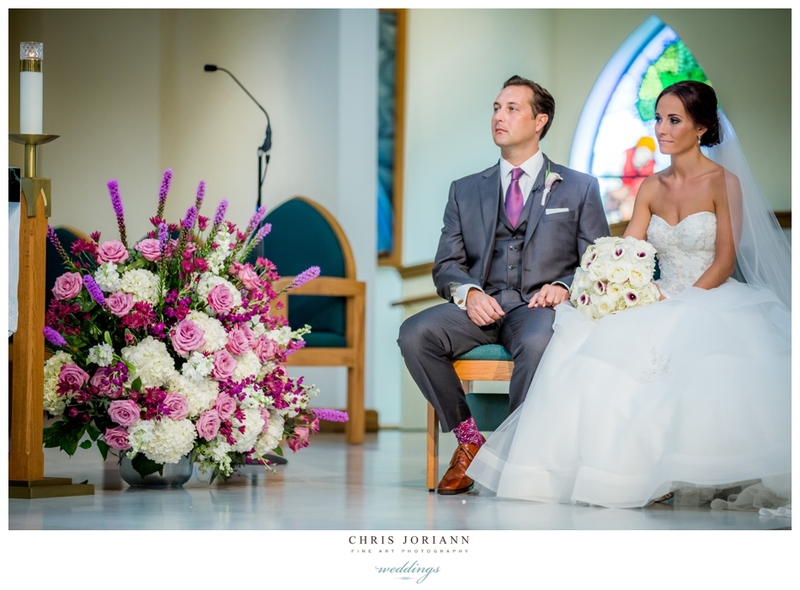 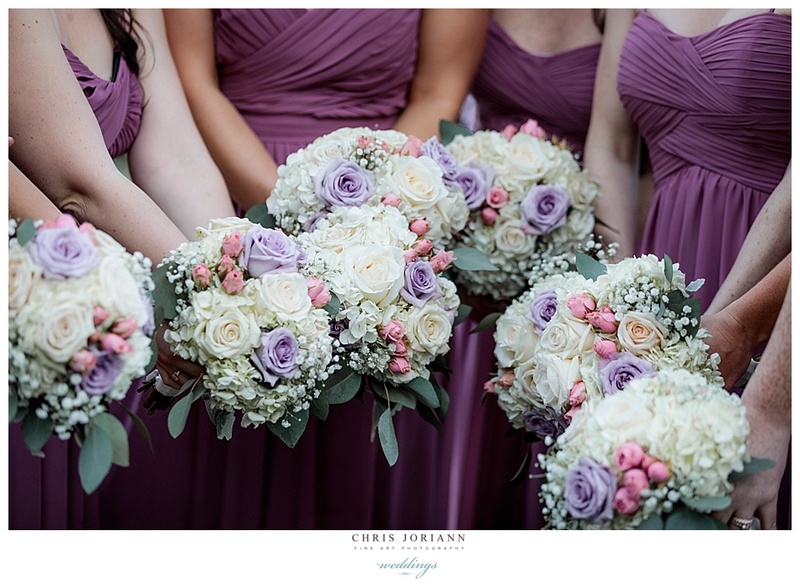 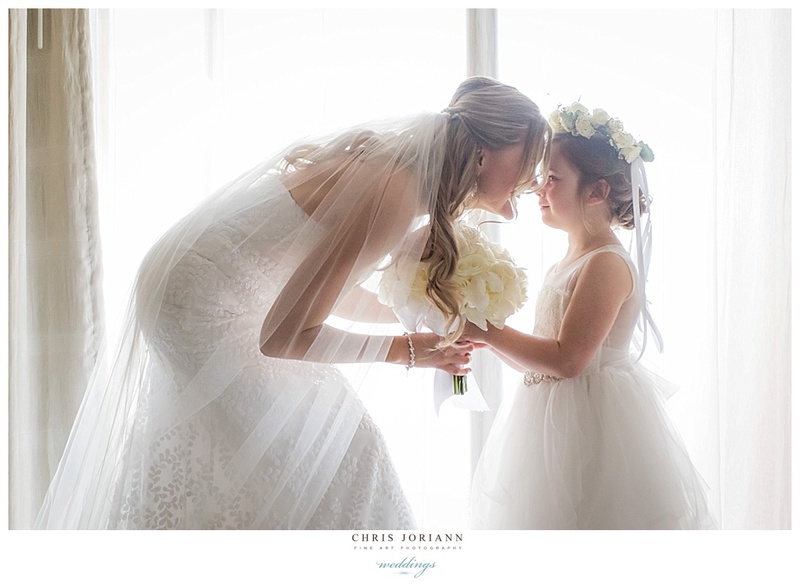 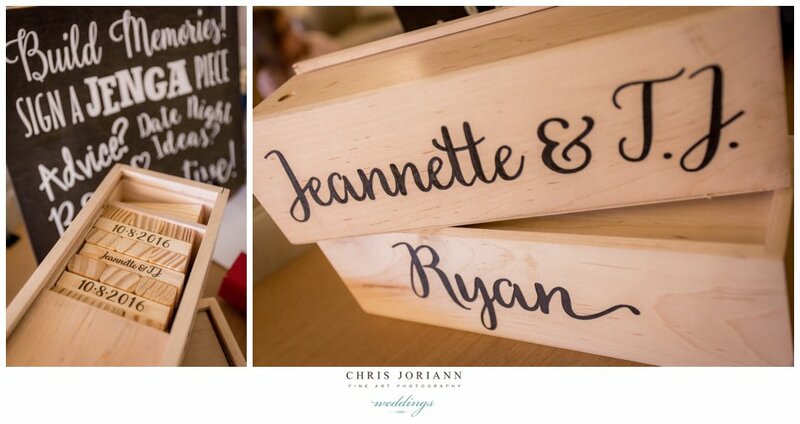 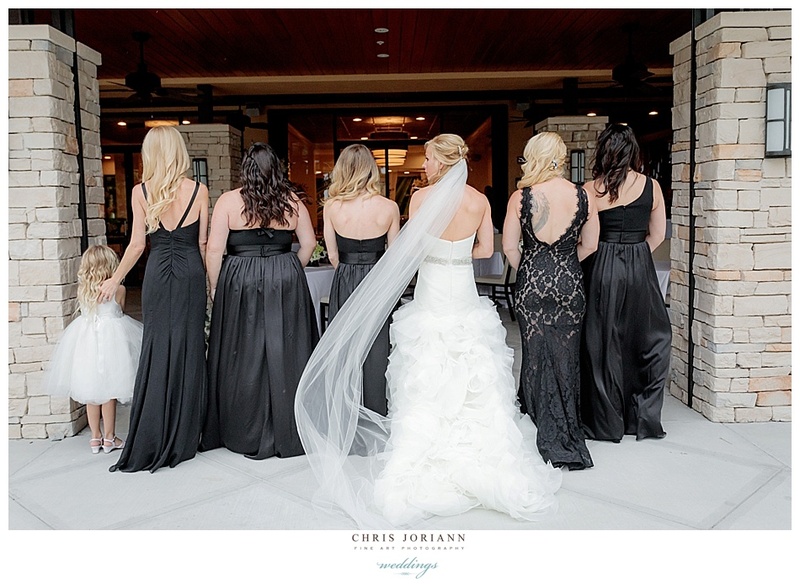 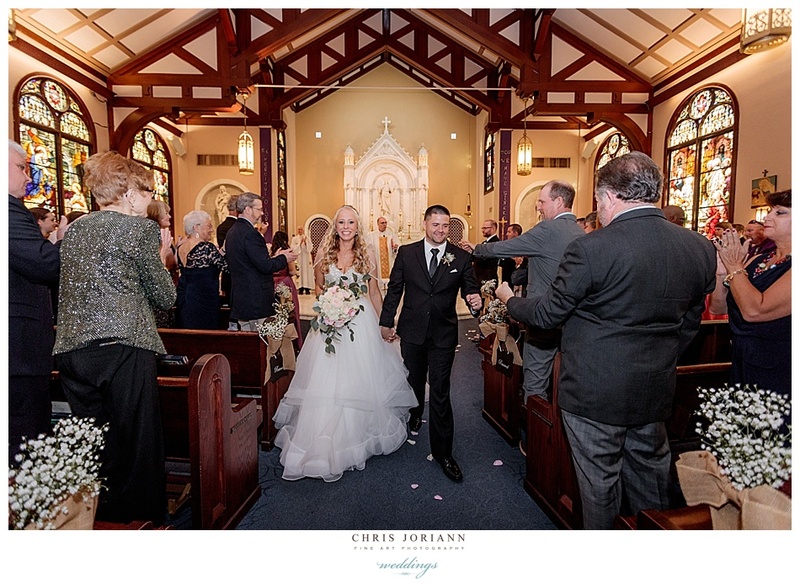 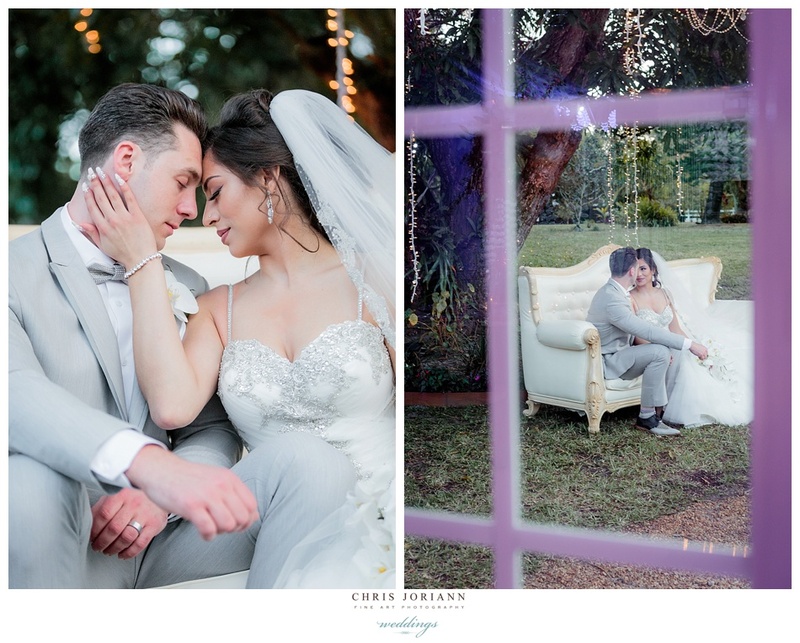 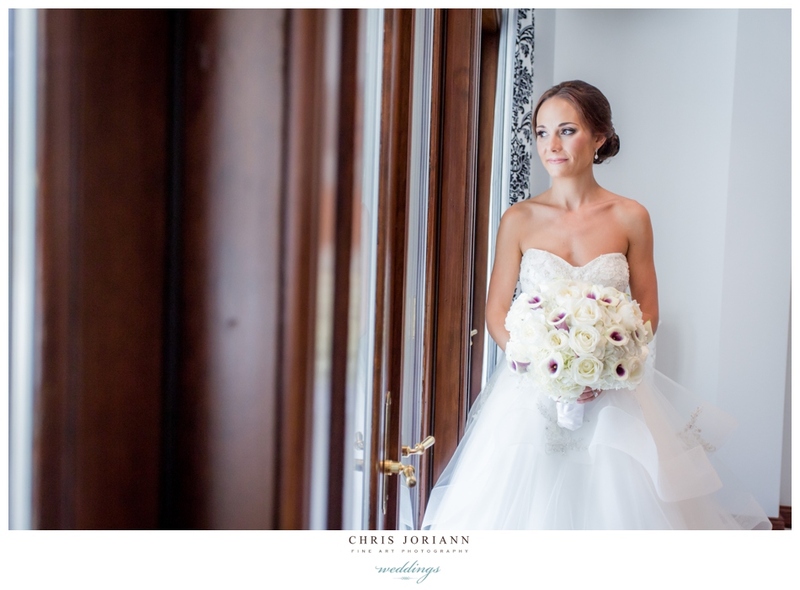 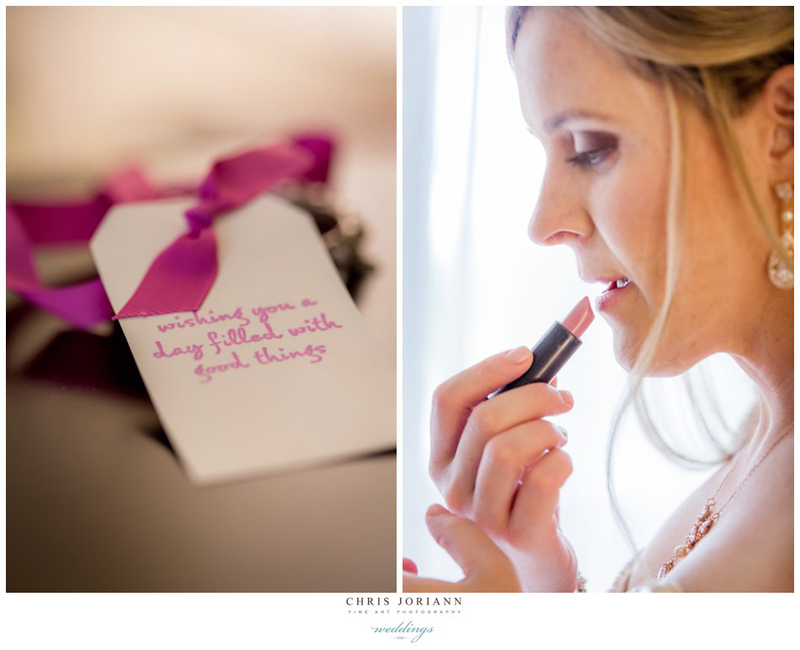 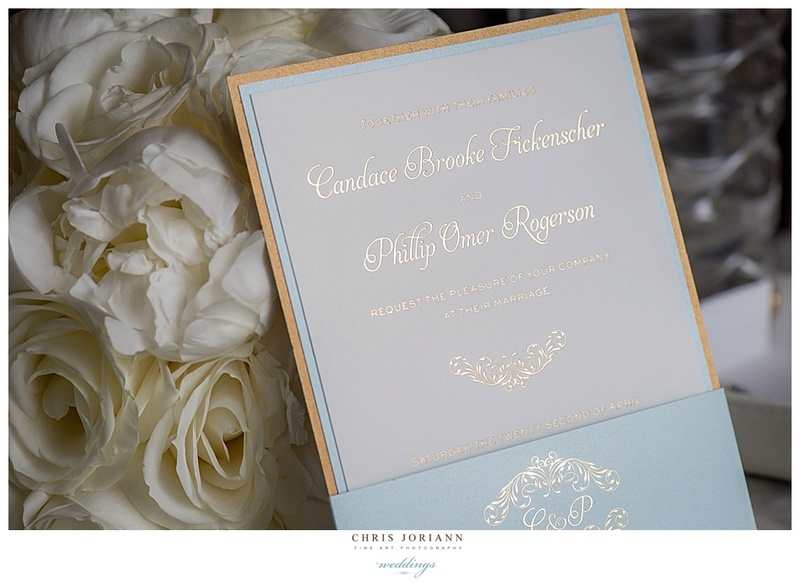 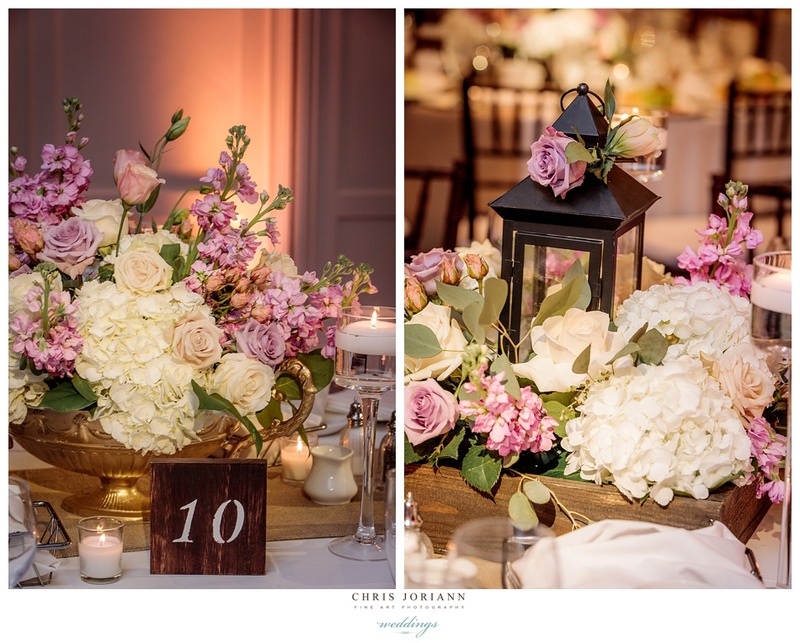 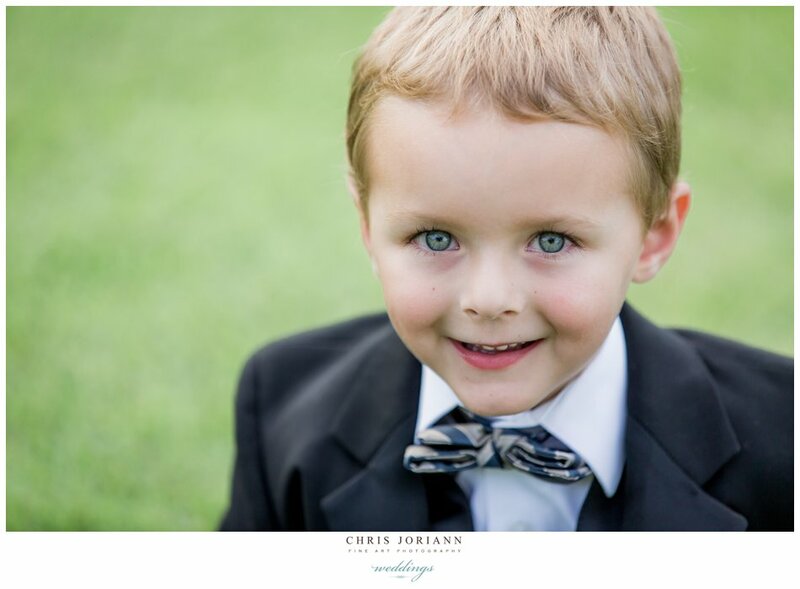 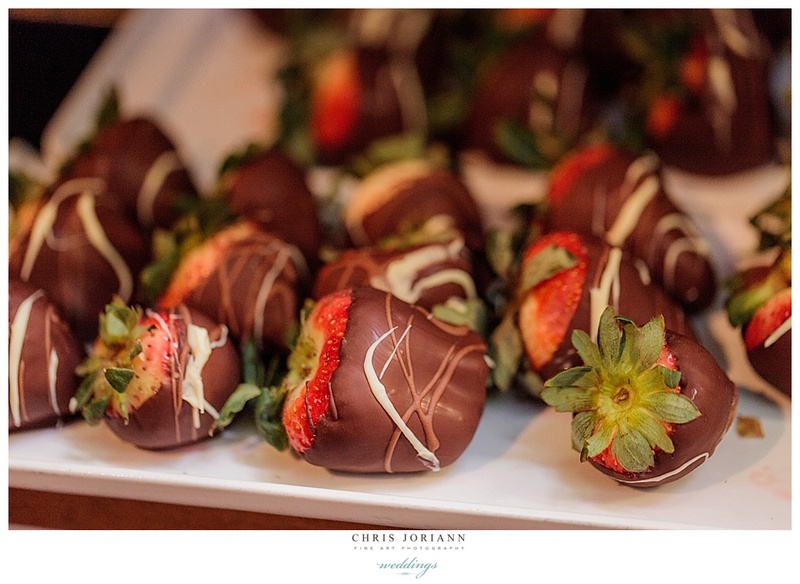 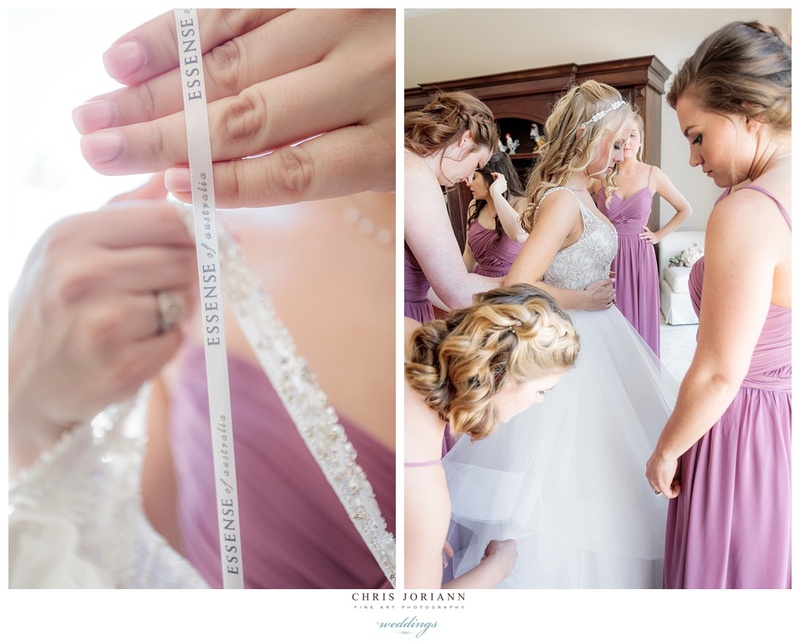 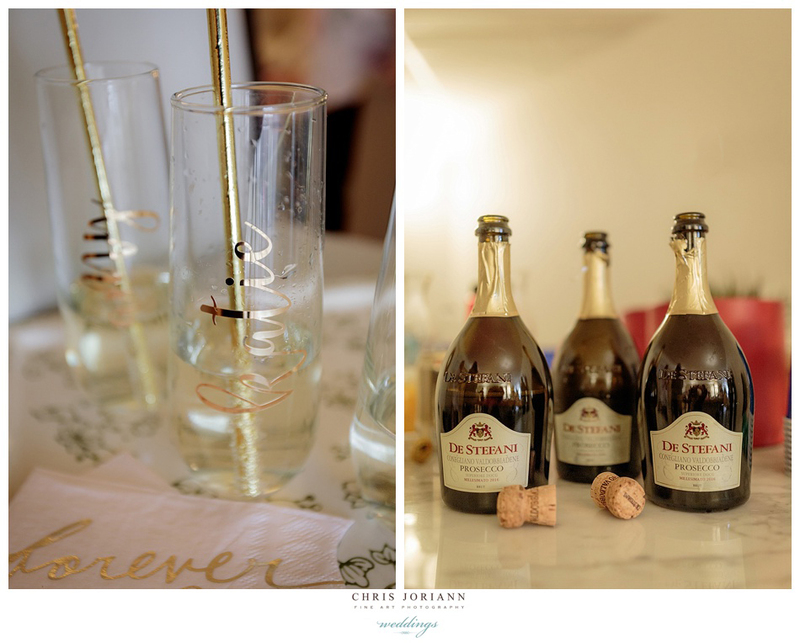 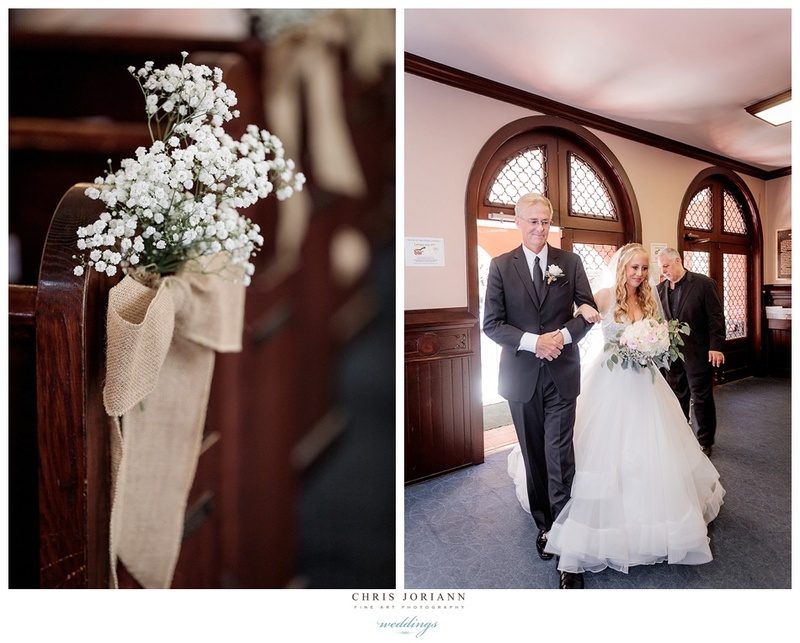 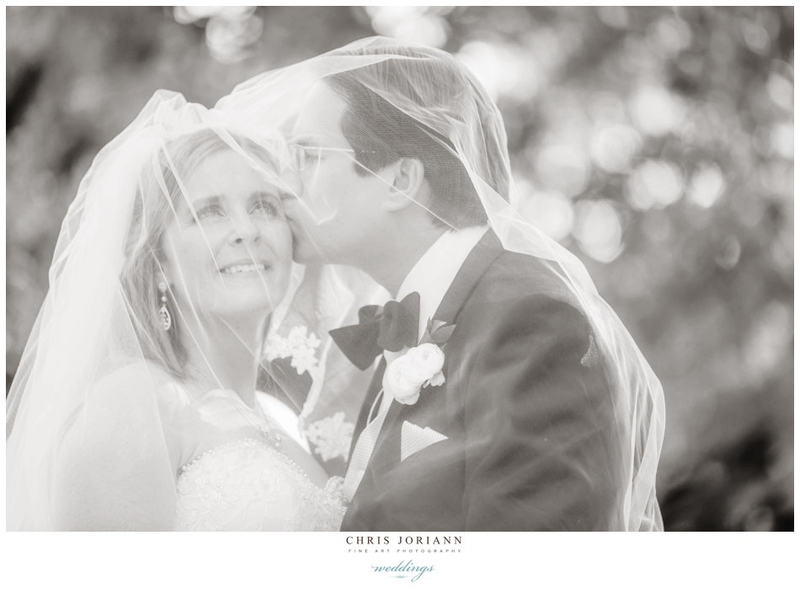 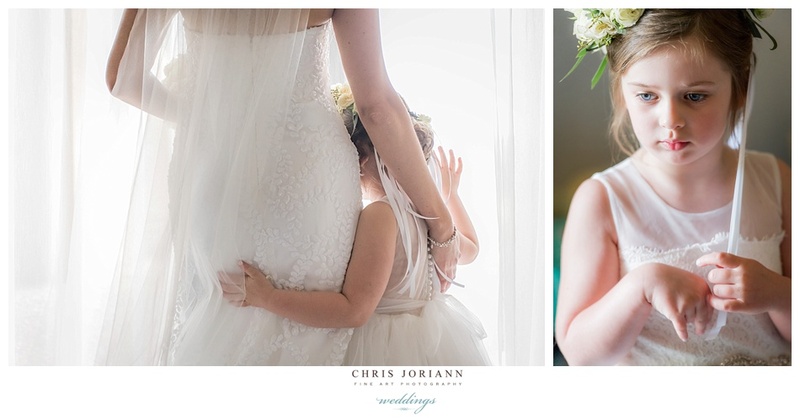 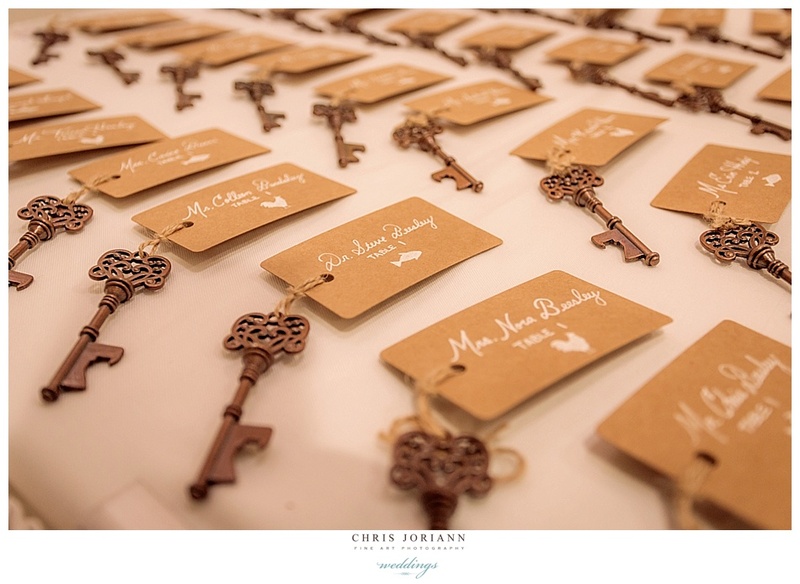 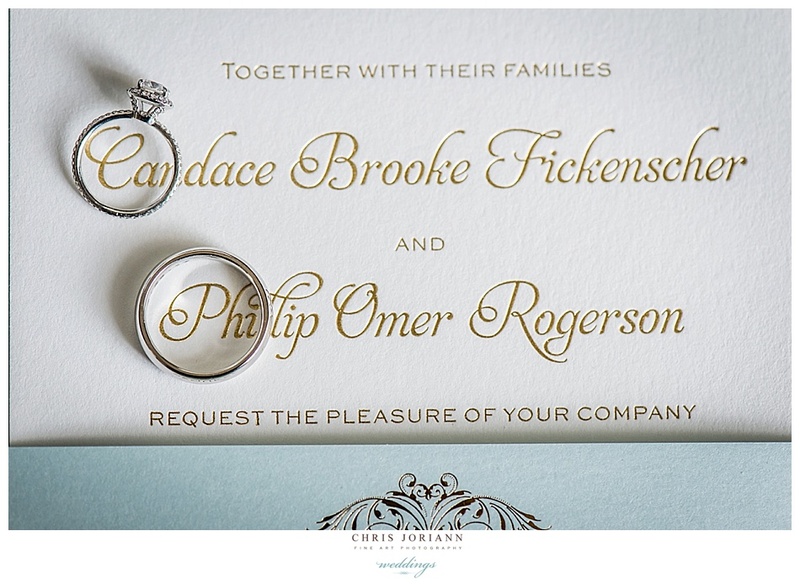 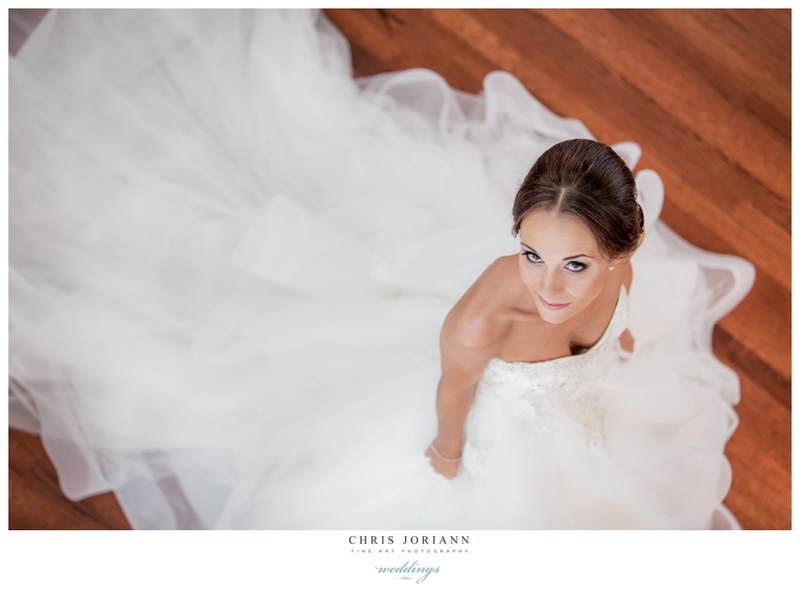 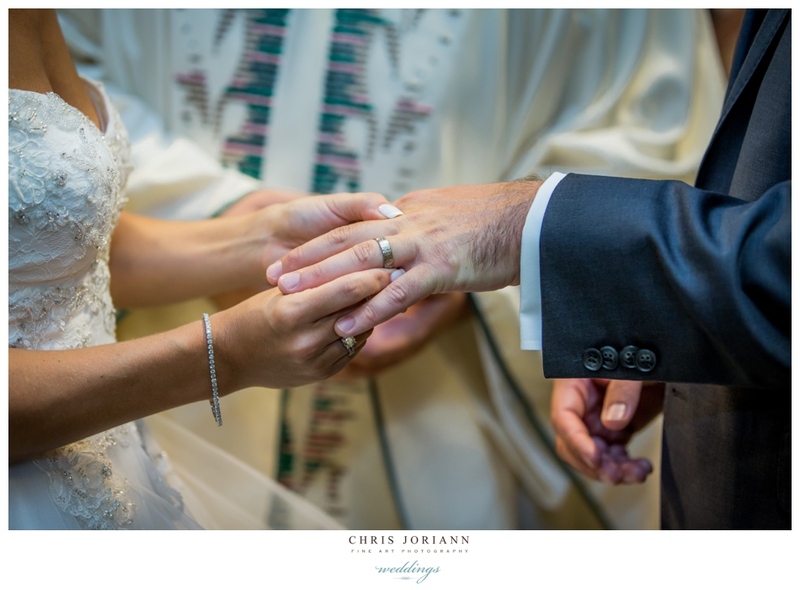 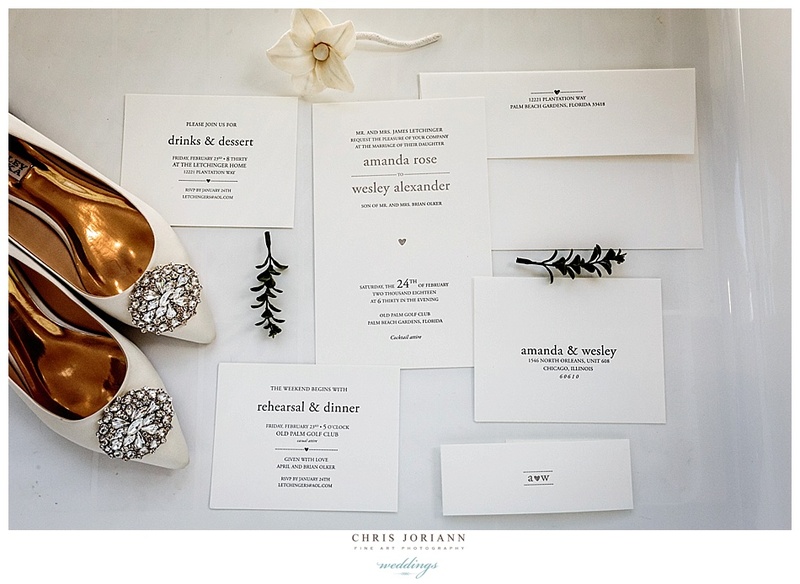 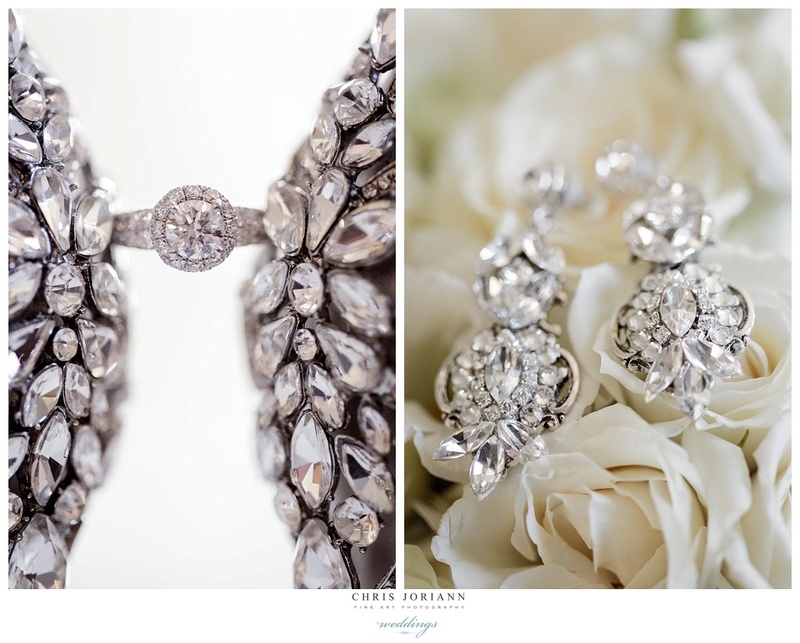 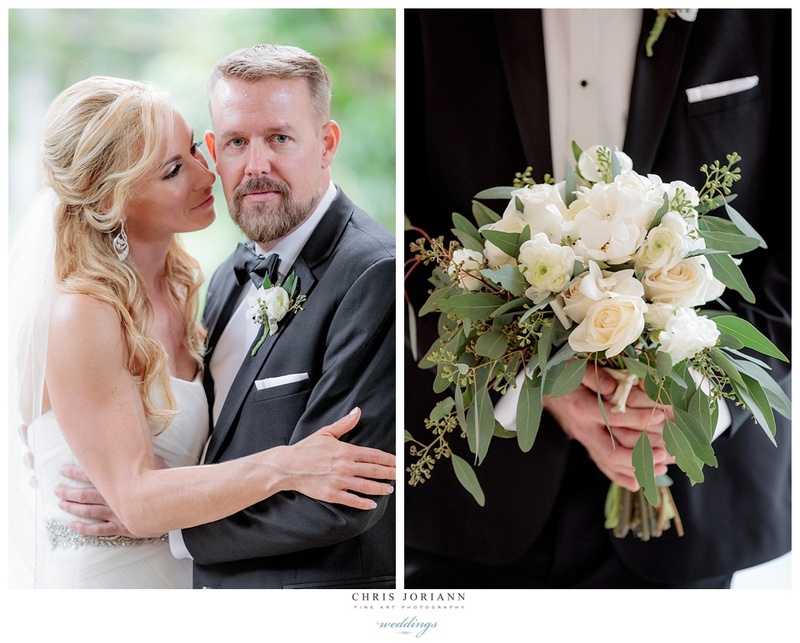 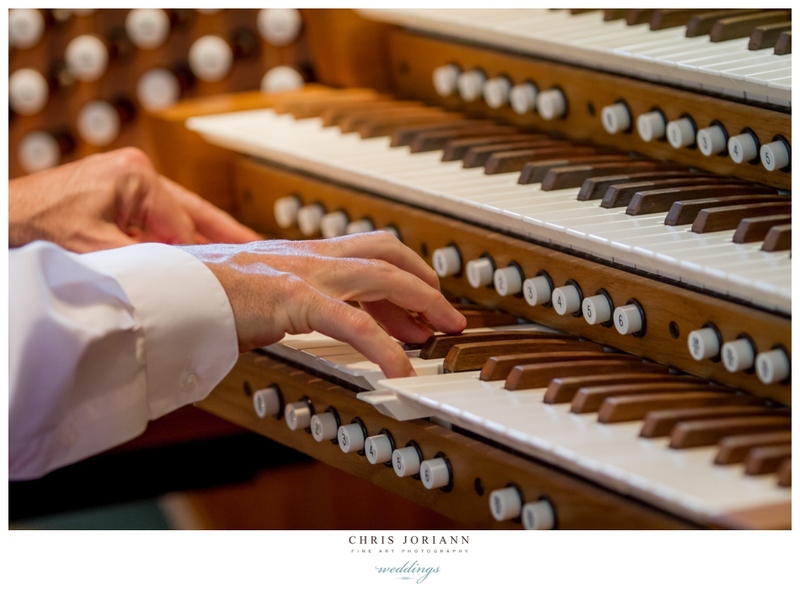 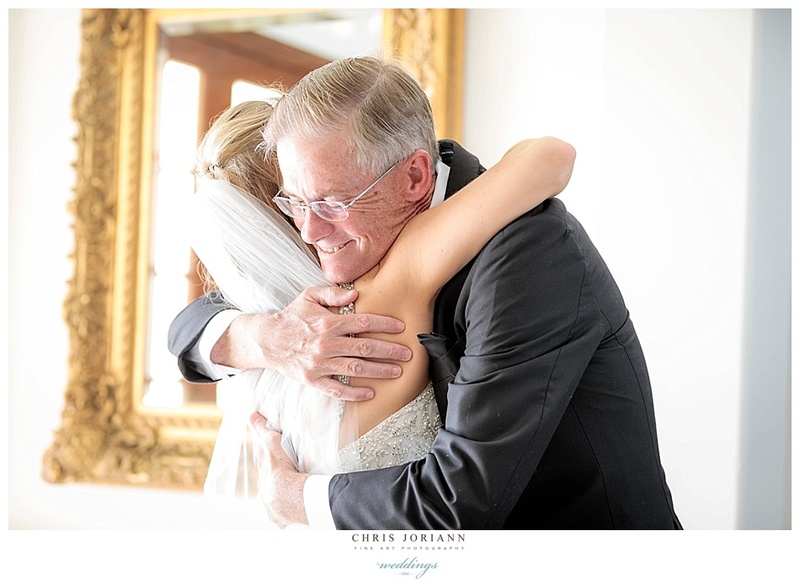 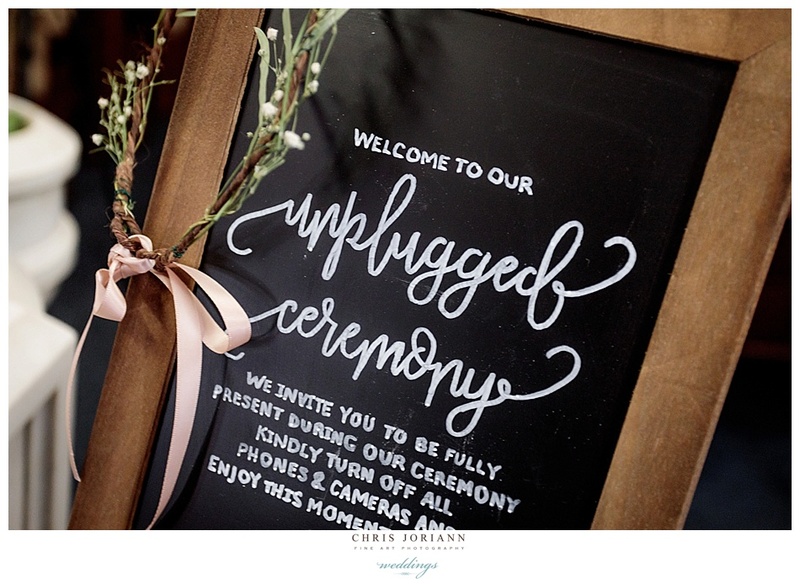 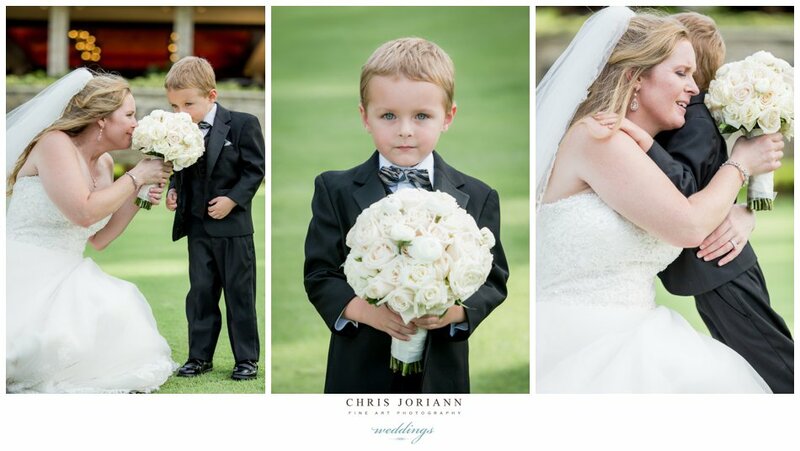 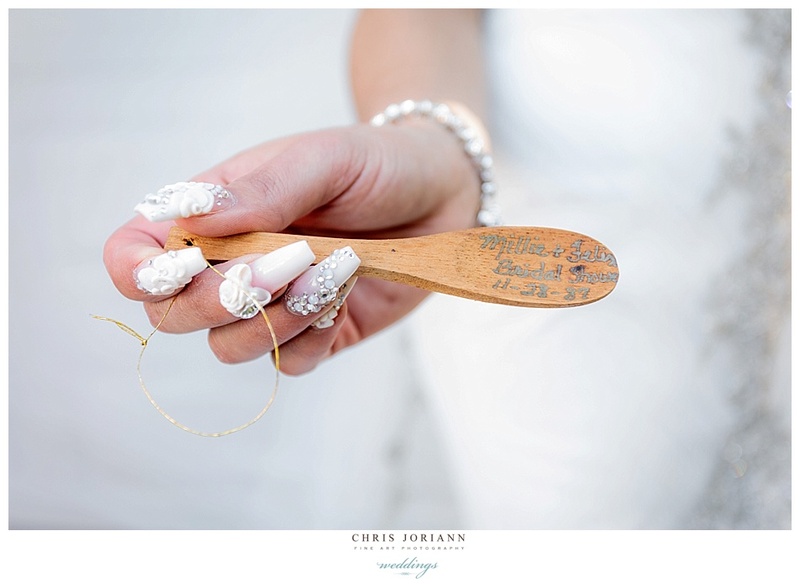 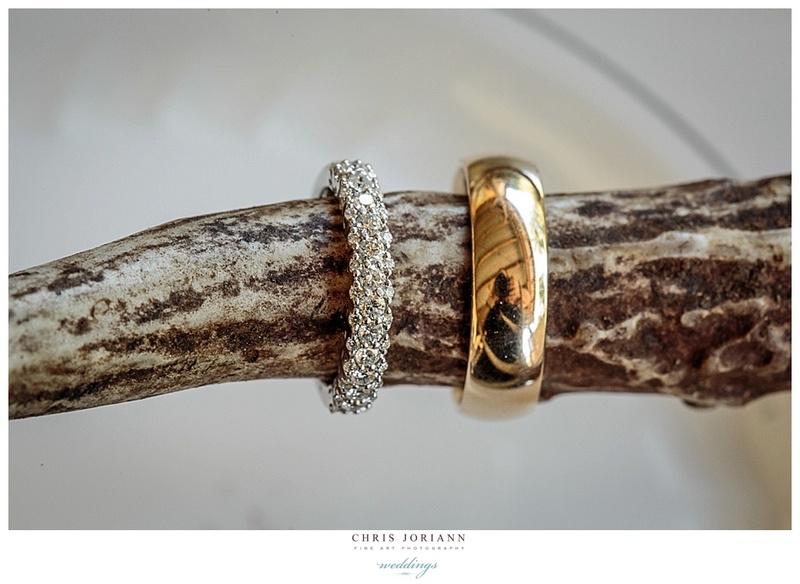 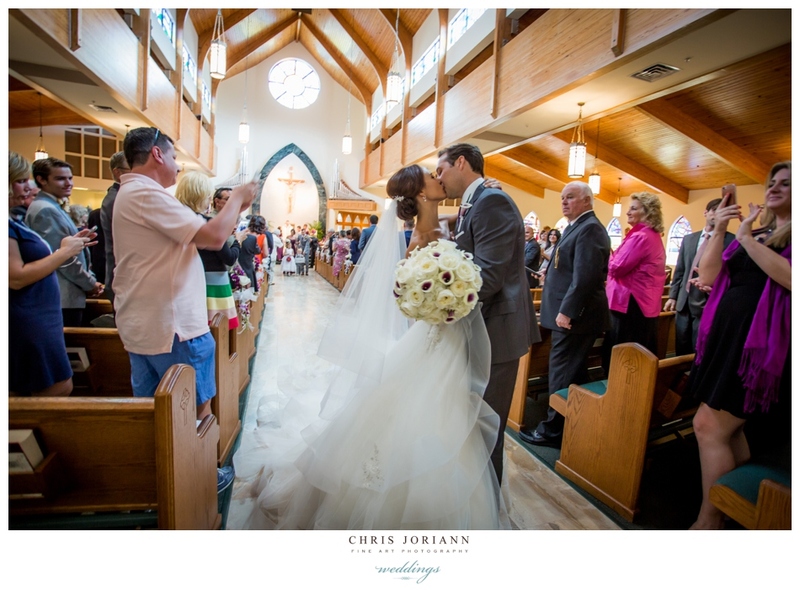 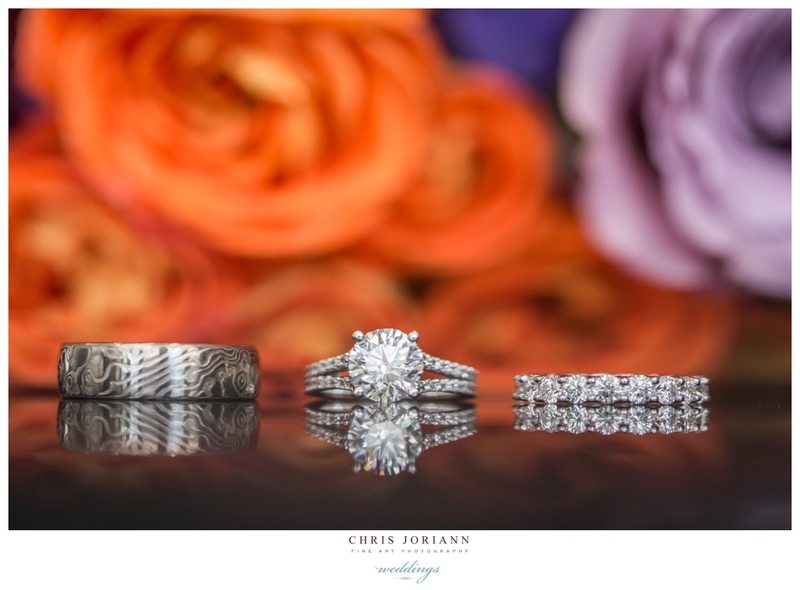 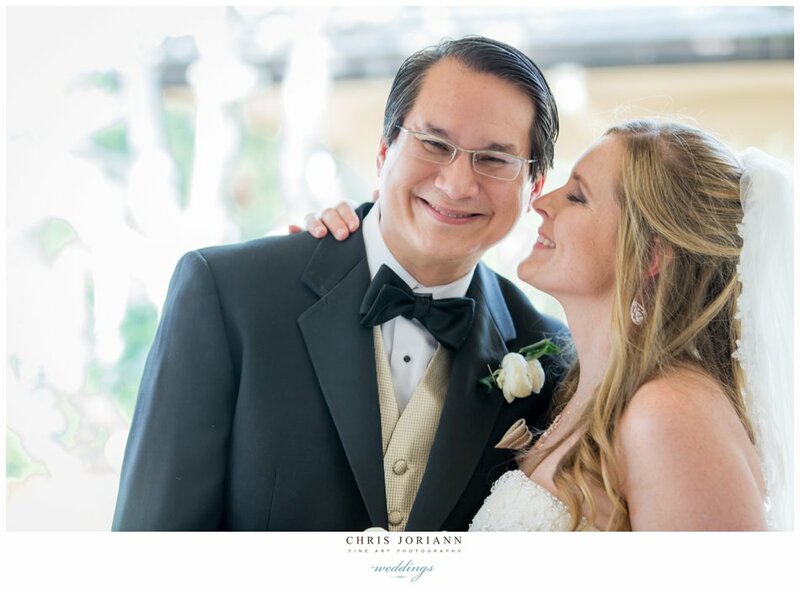 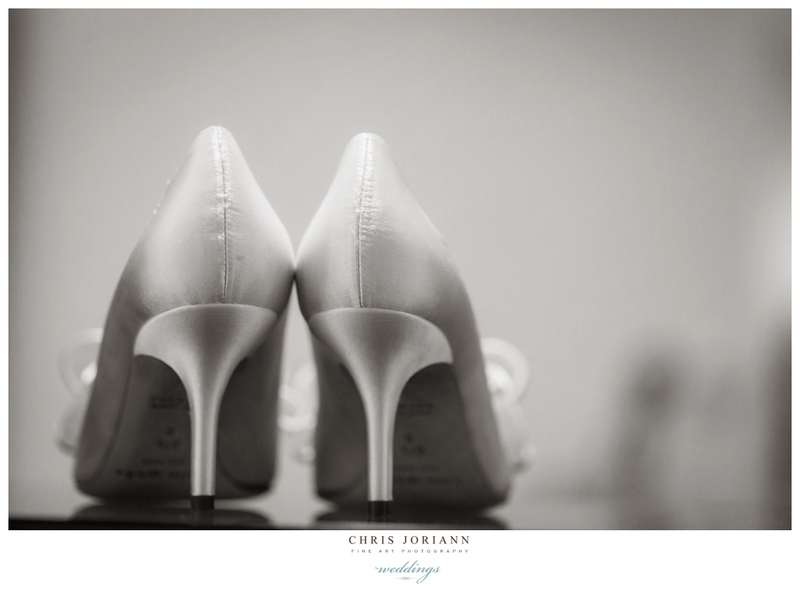 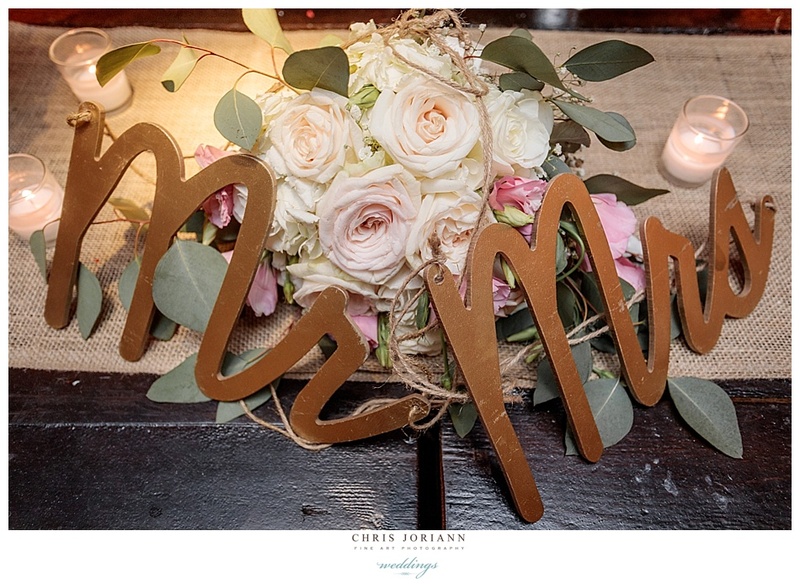 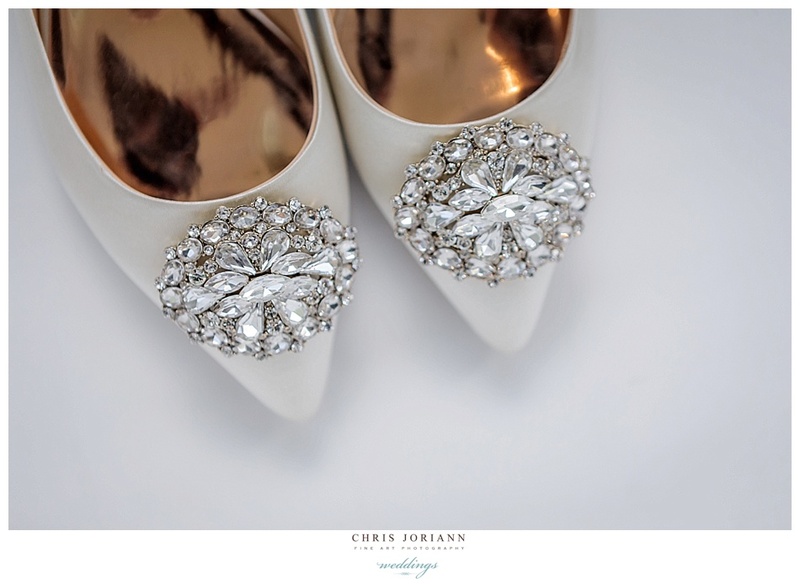 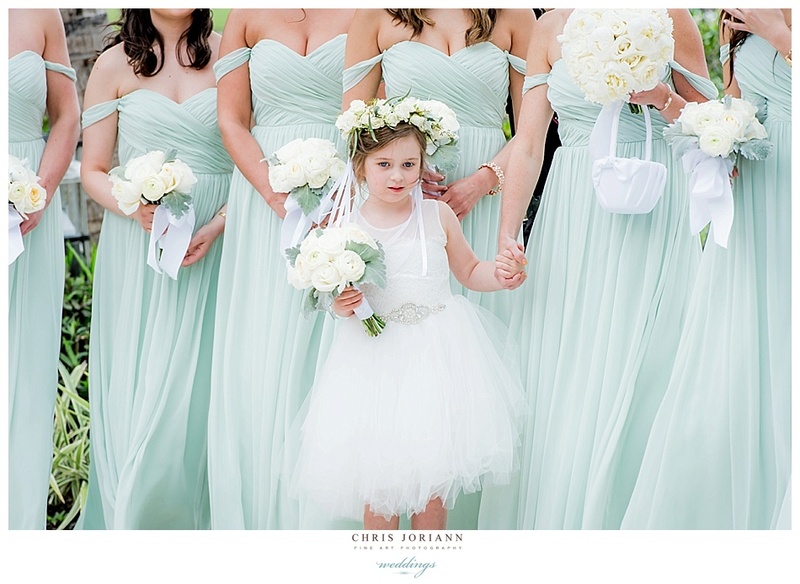 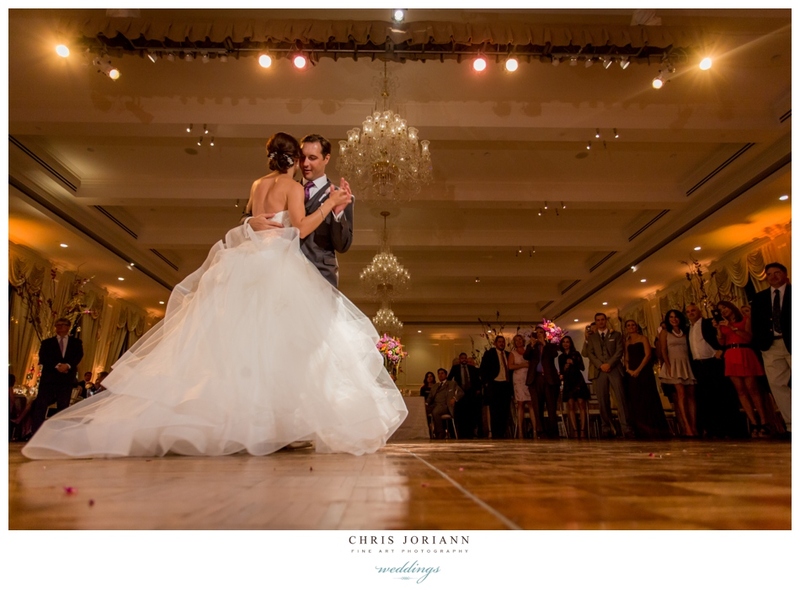 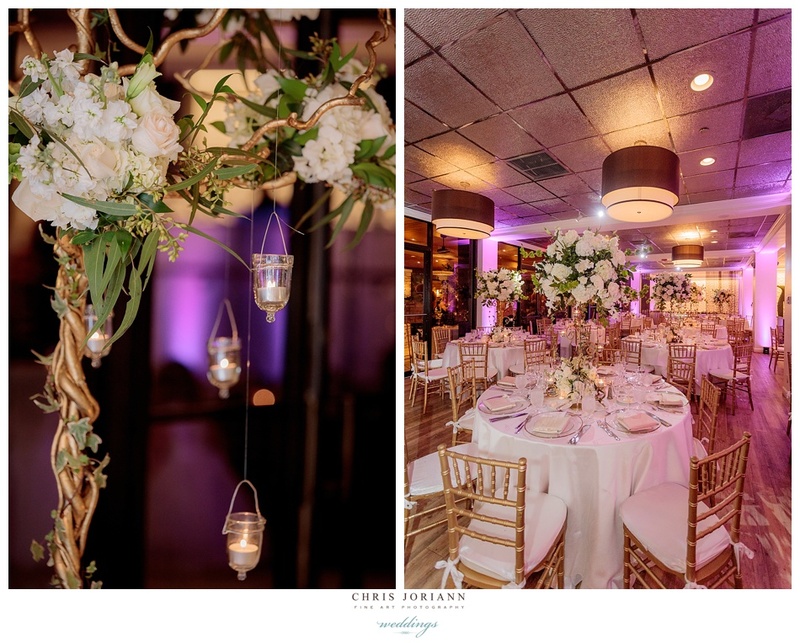 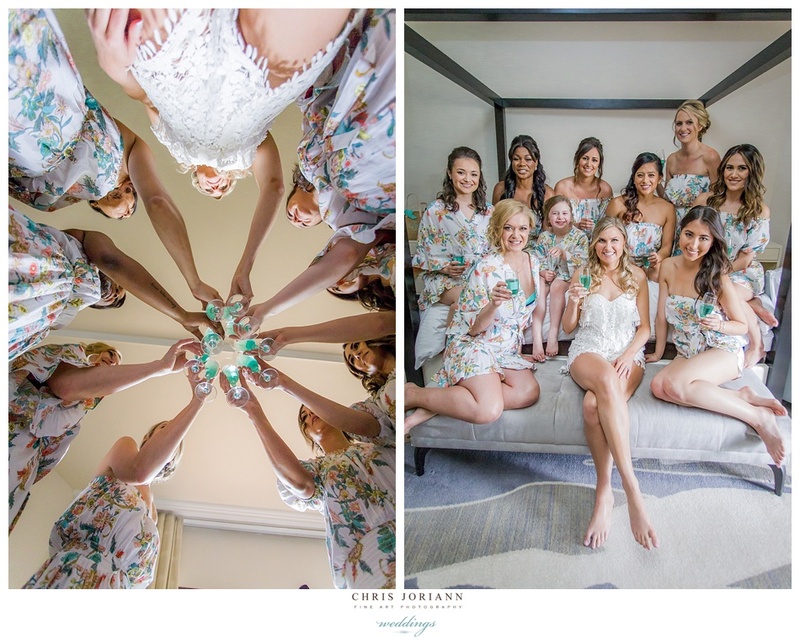 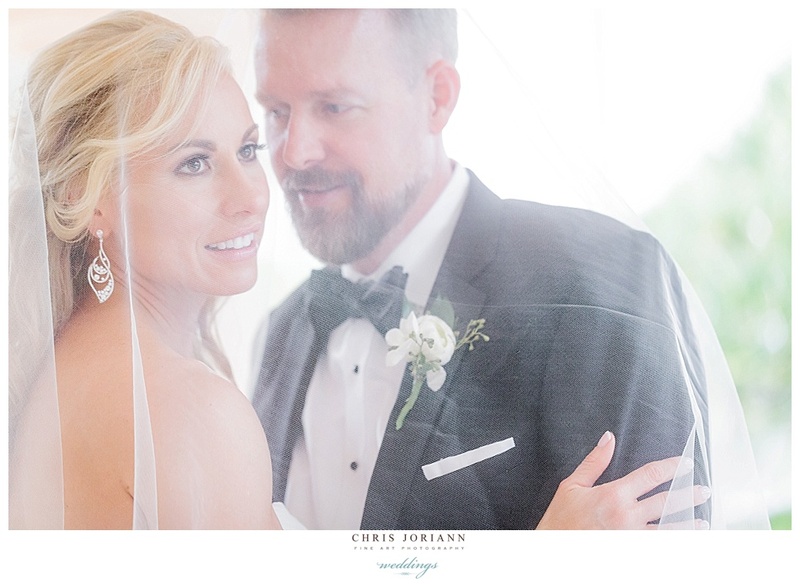 Amanda + Wesley’s wedding weekend was truly extraordinary! 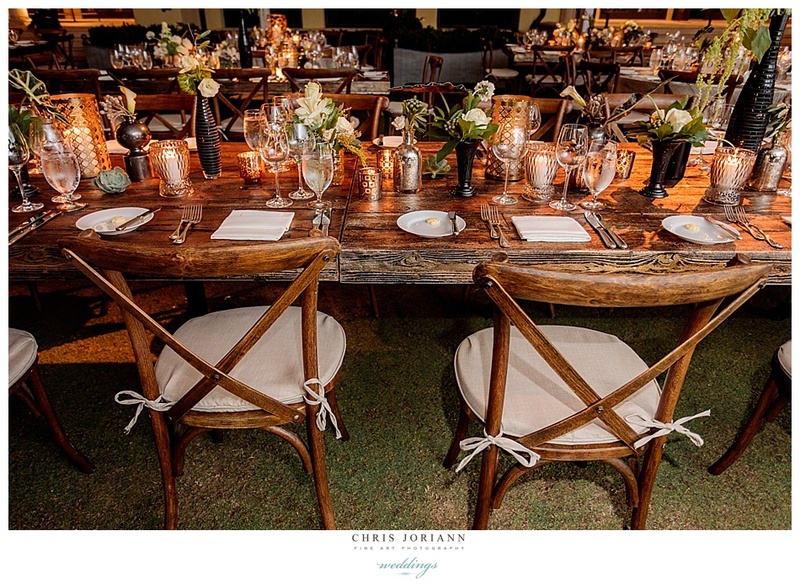 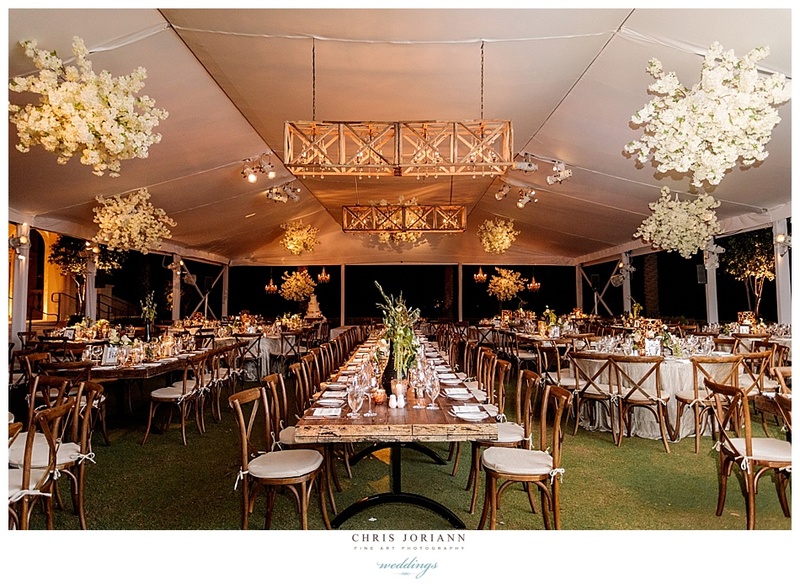 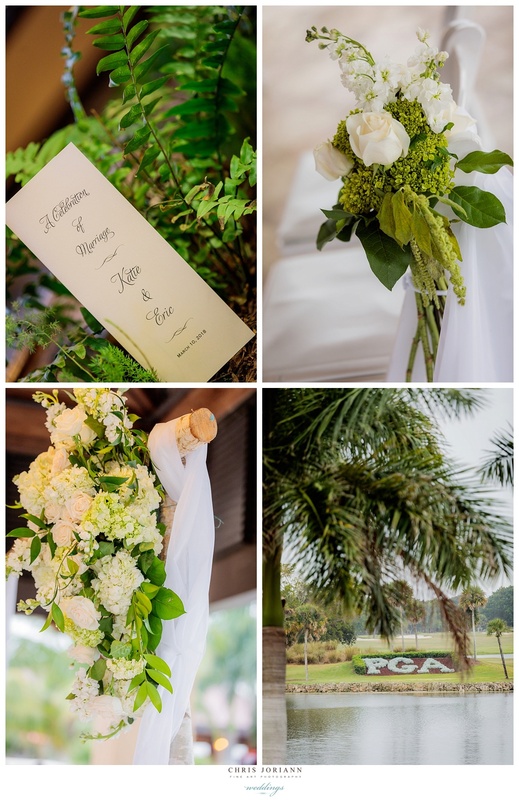 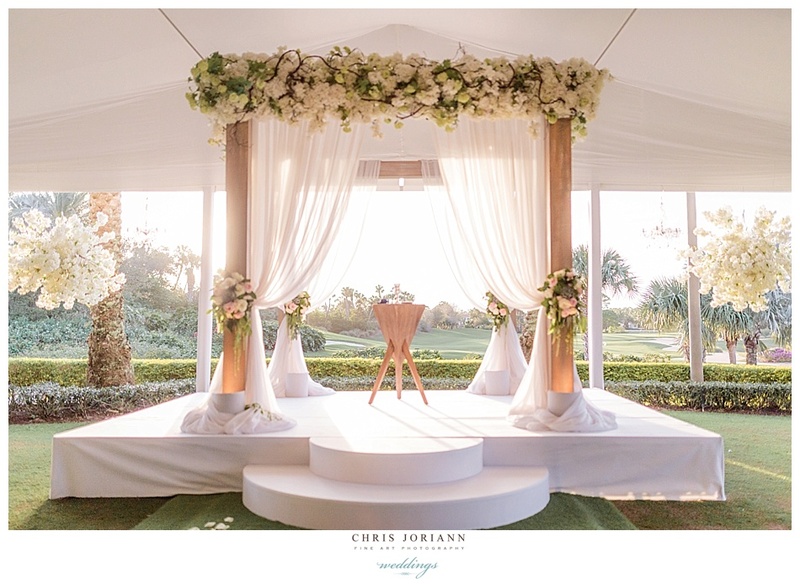 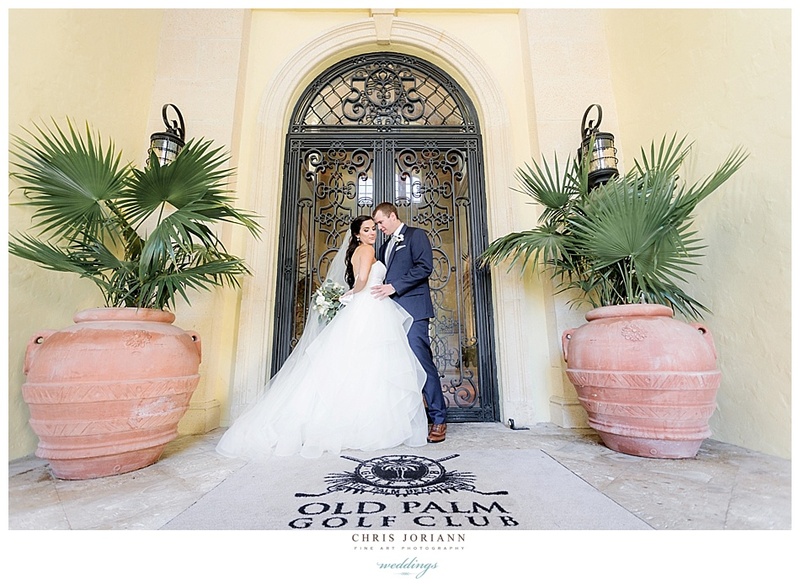 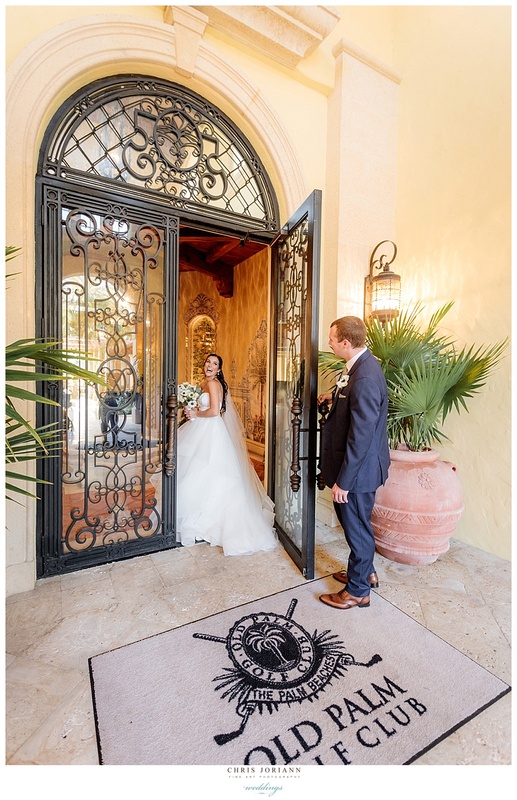 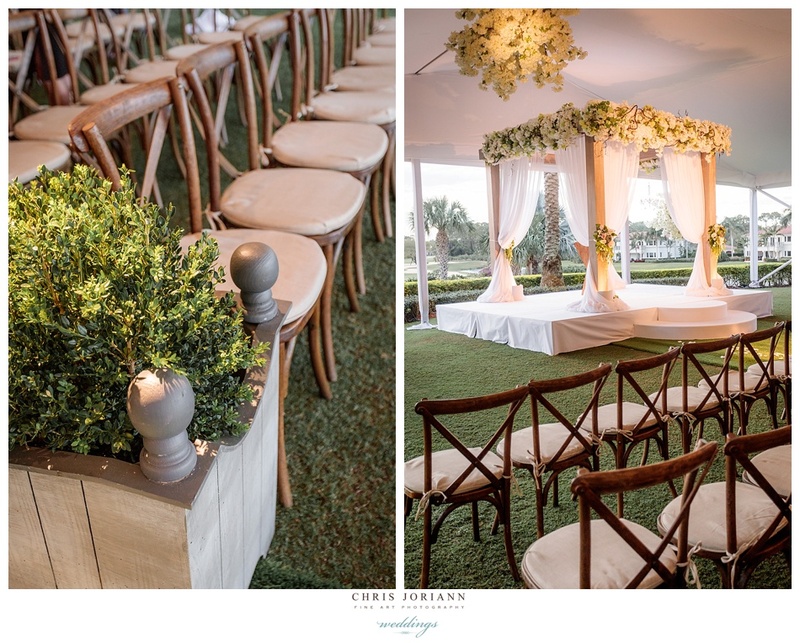 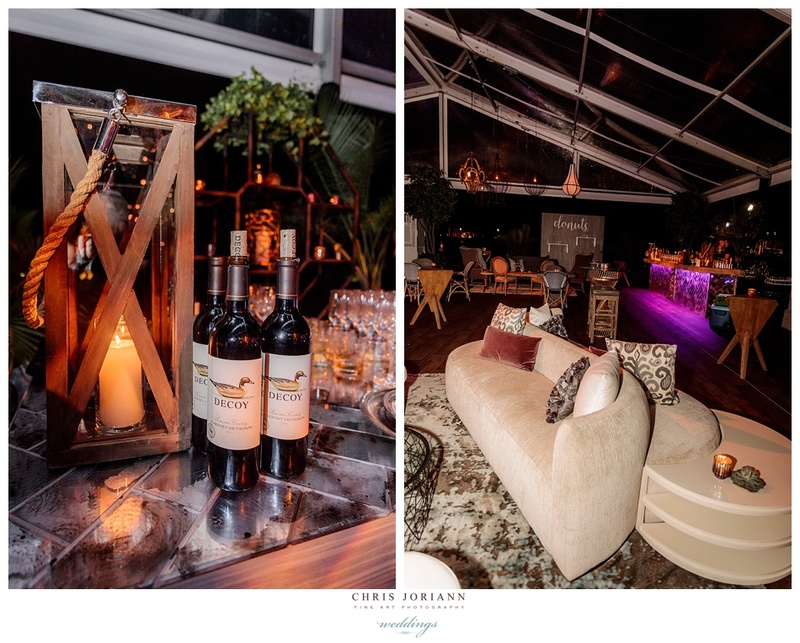 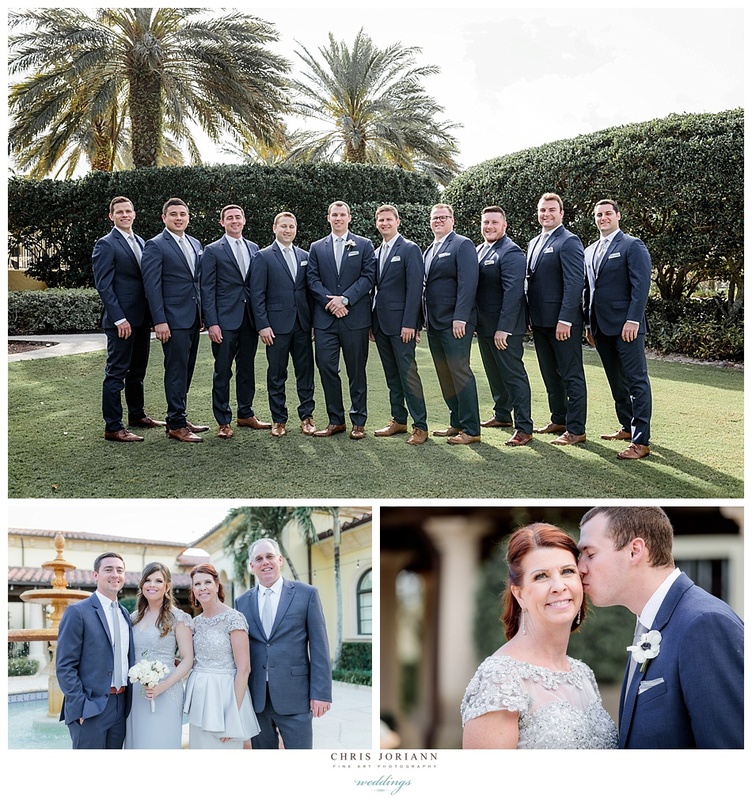 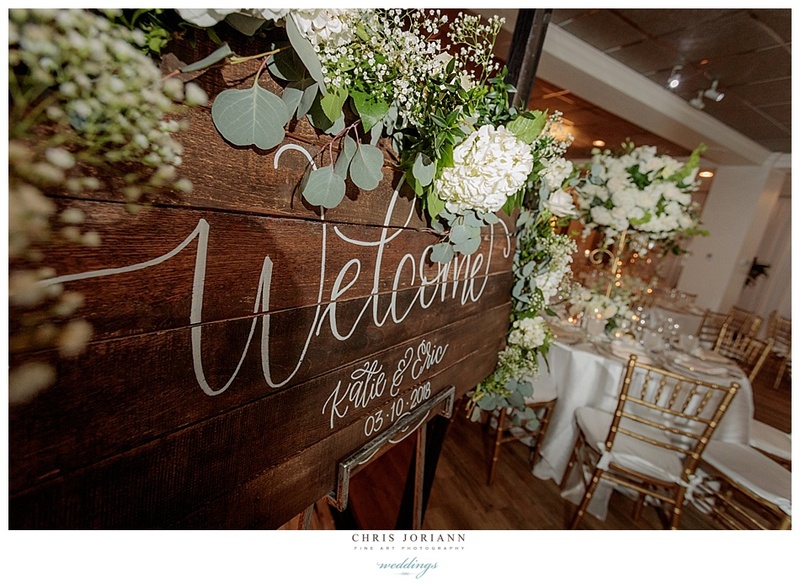 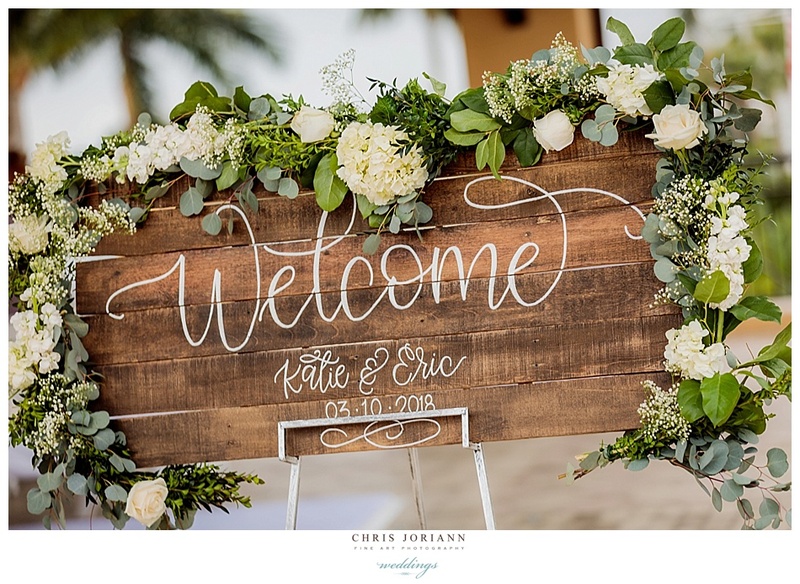 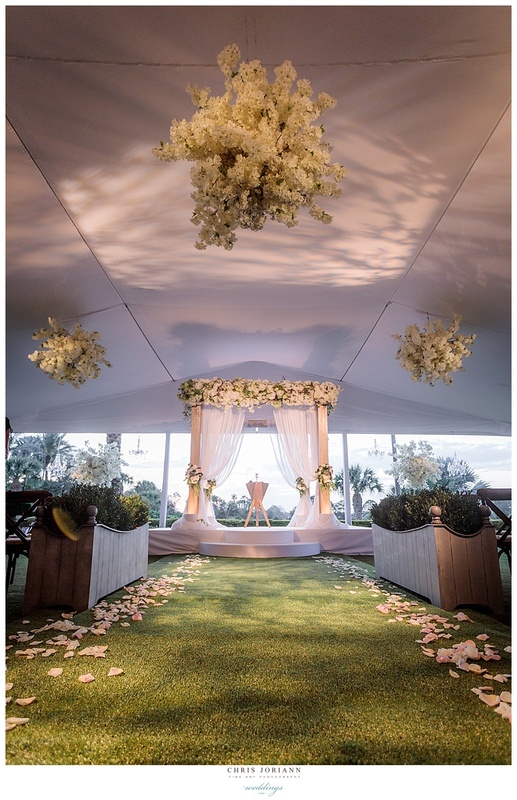 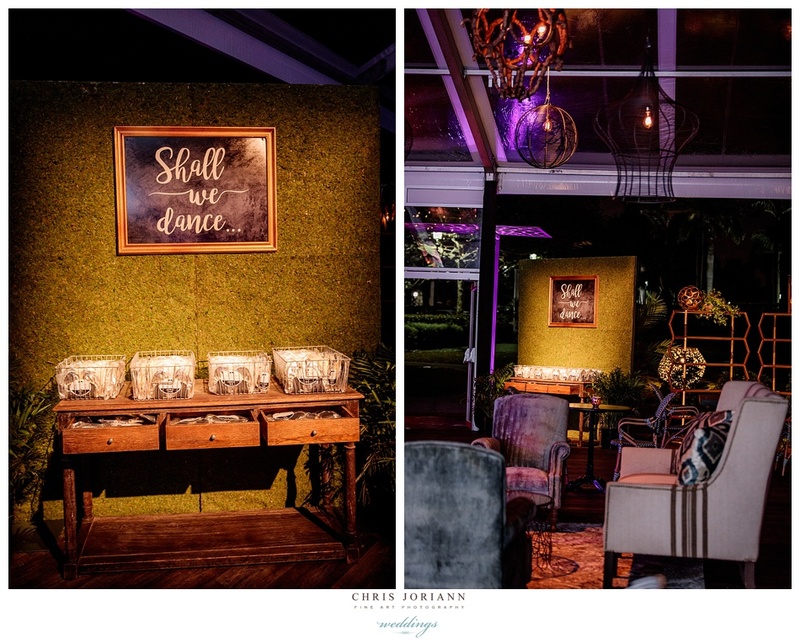 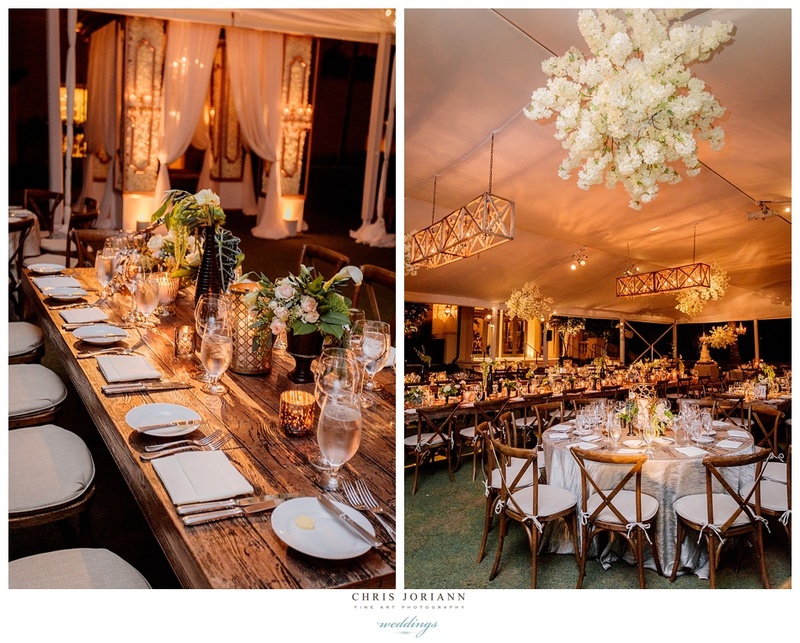 They took Rustic Chic to the next level, as Old Palm Golf Club’s lush grounds were transformed, by Chicago designer Tom Kehoe, for Kehoe Designs. 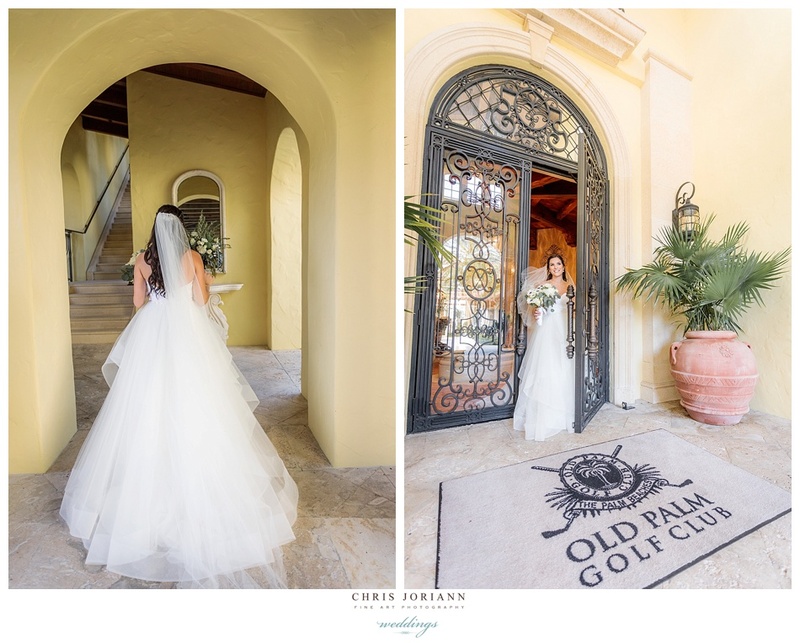 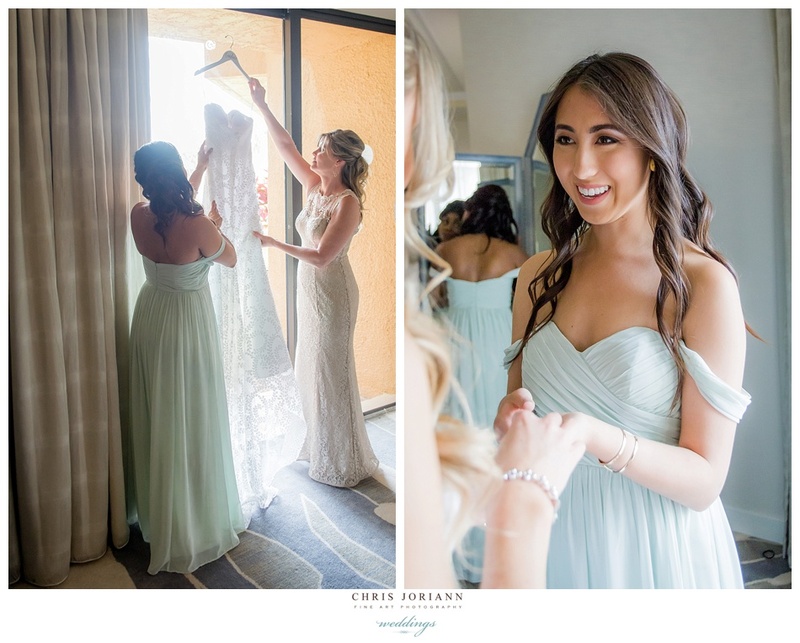 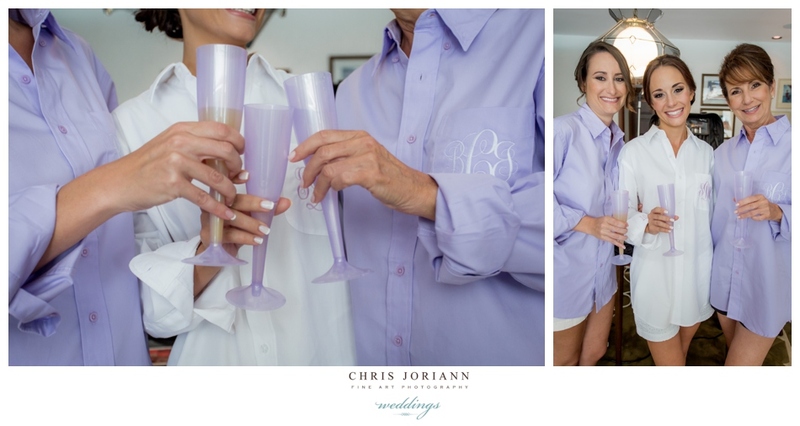 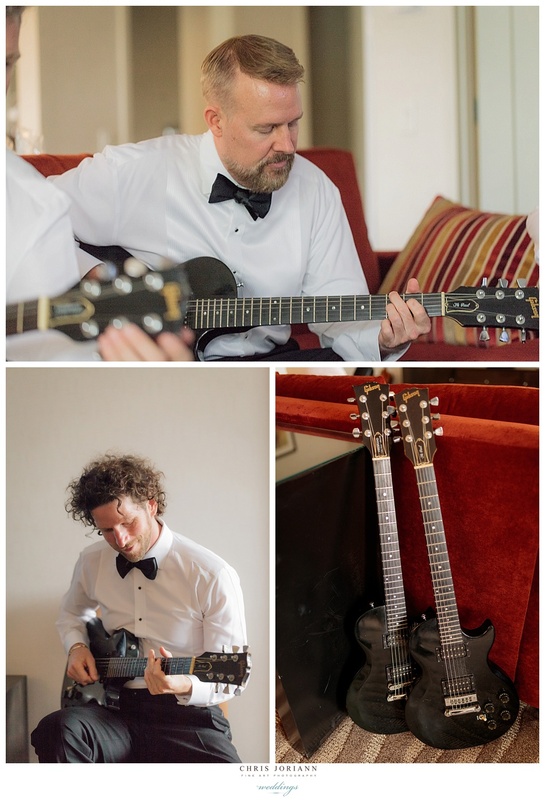 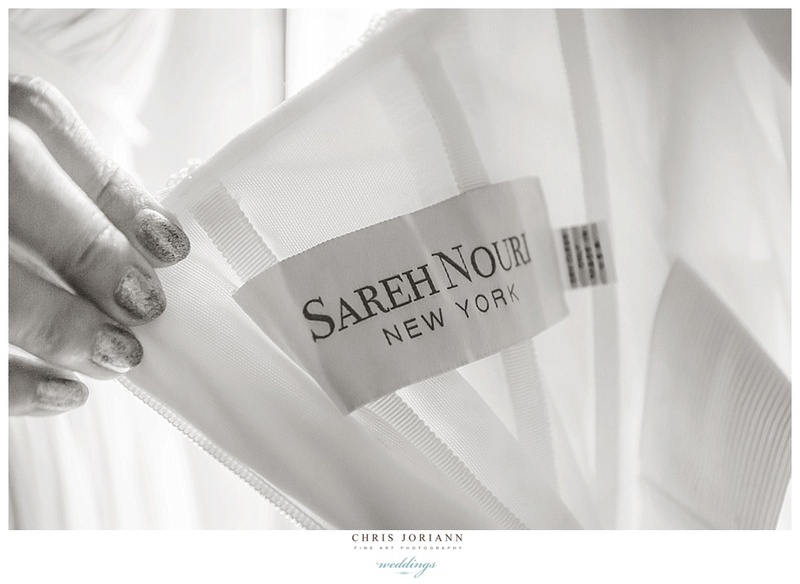 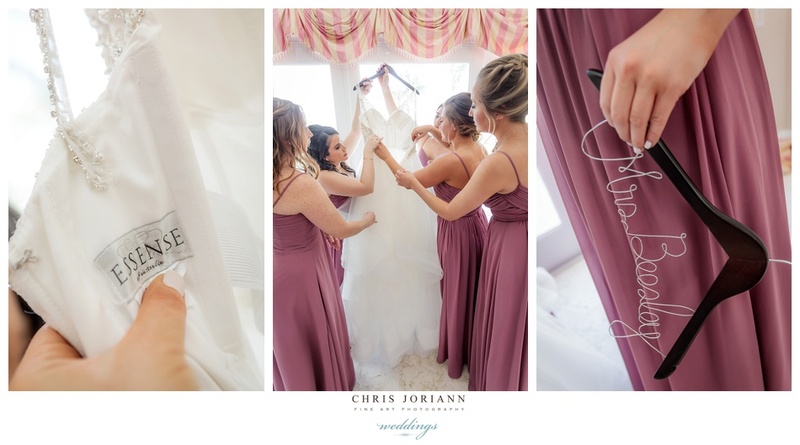 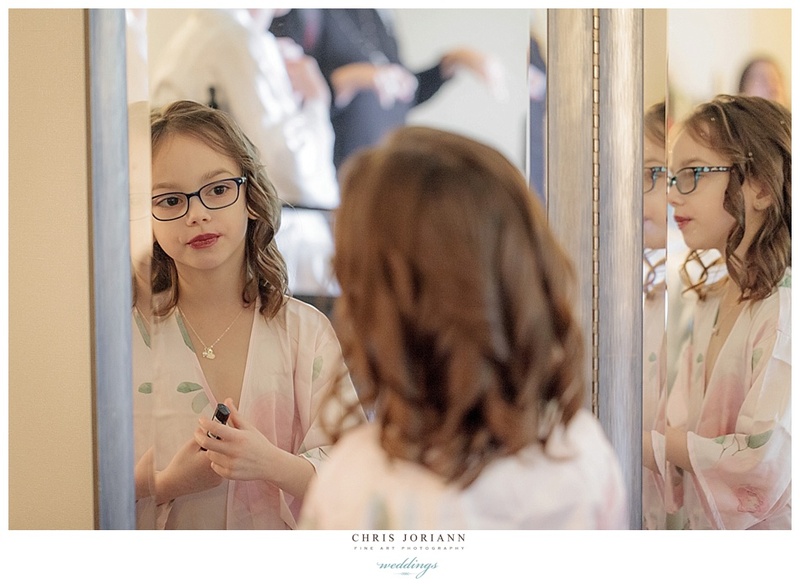 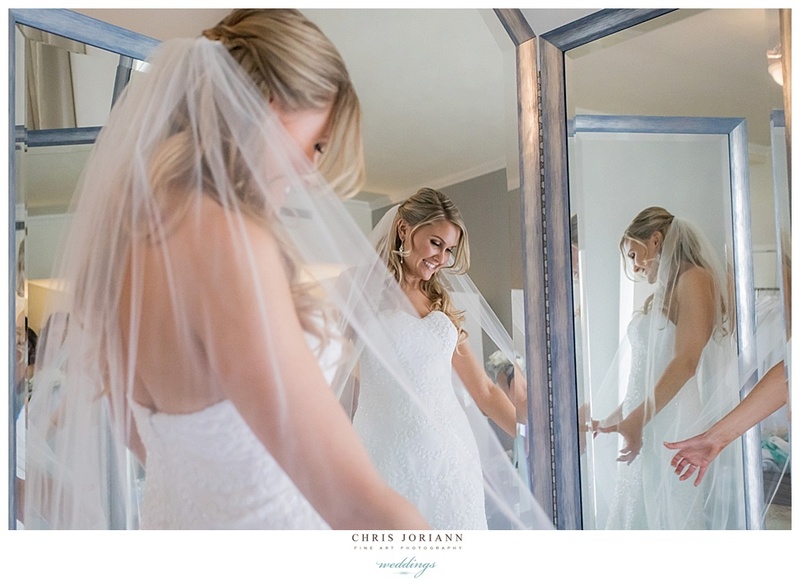 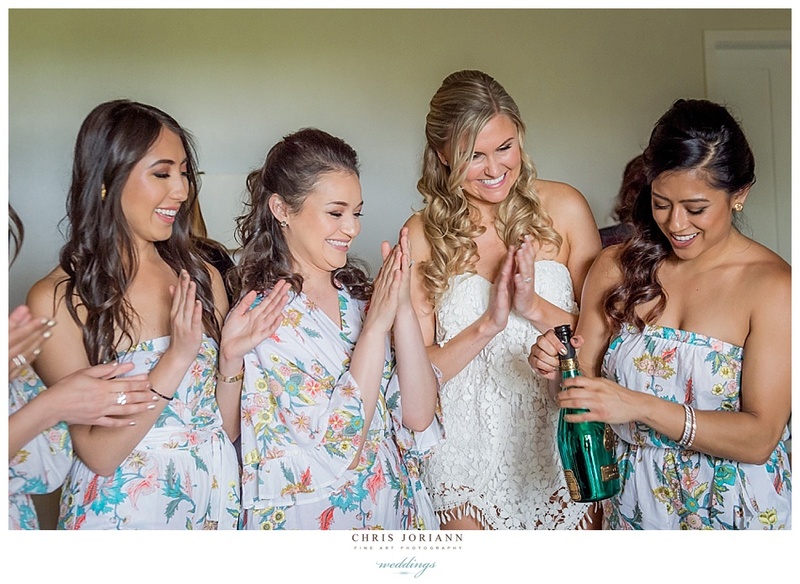 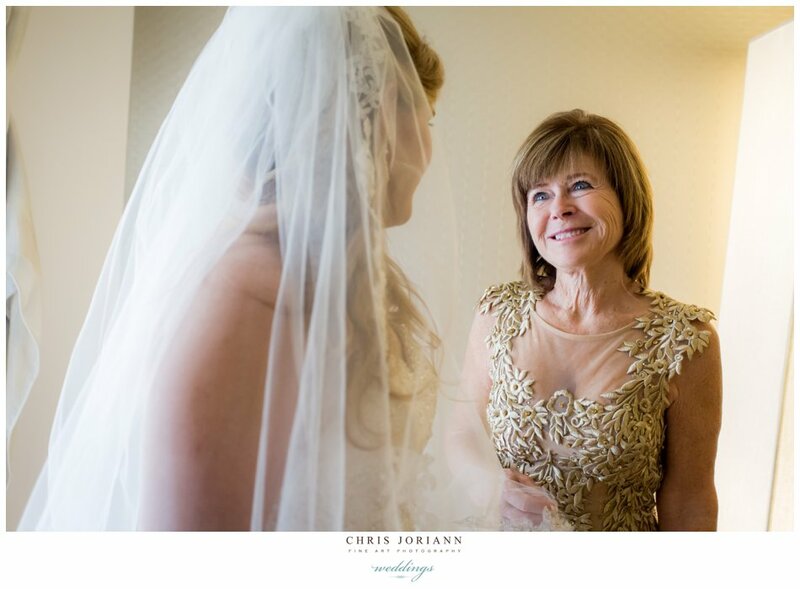 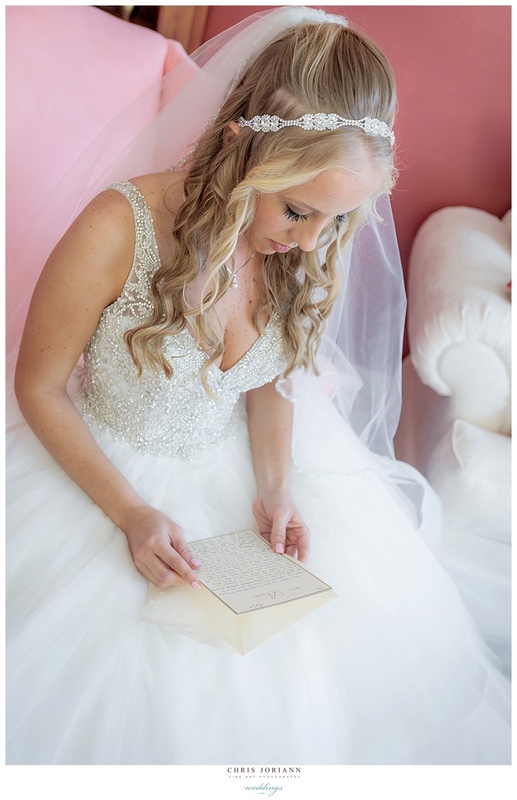 The bride readied earlier in the day at her parents Old Palm residence, and was stunning in a couture gown by Hayley Paige and satin jeweled flats by Badgley Mischka. 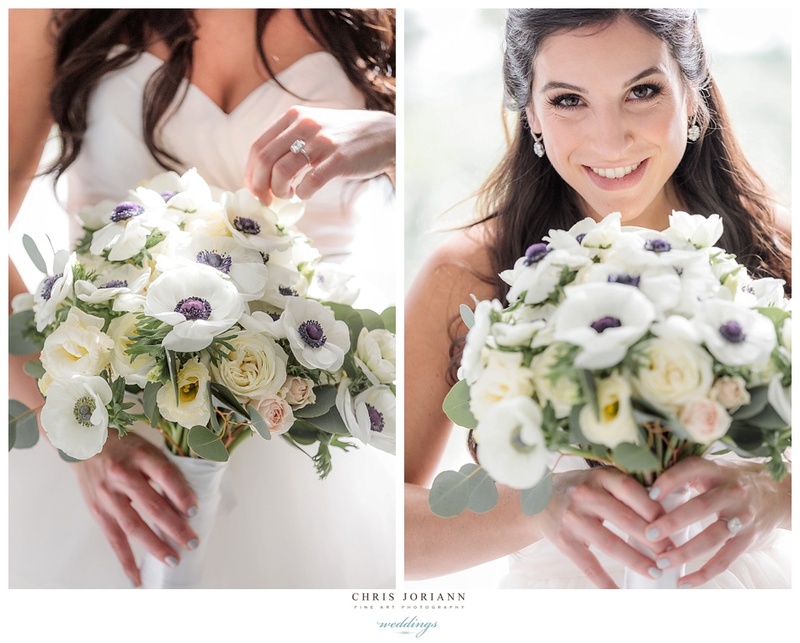 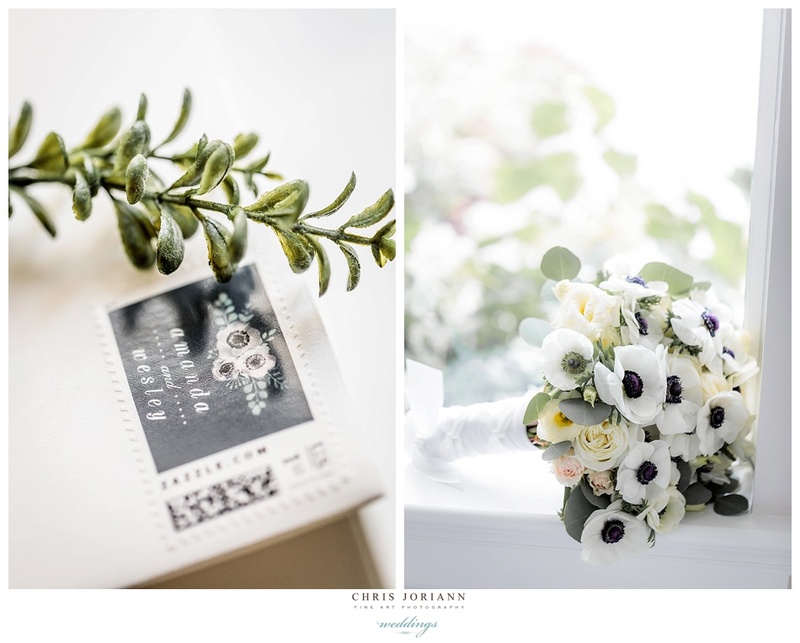 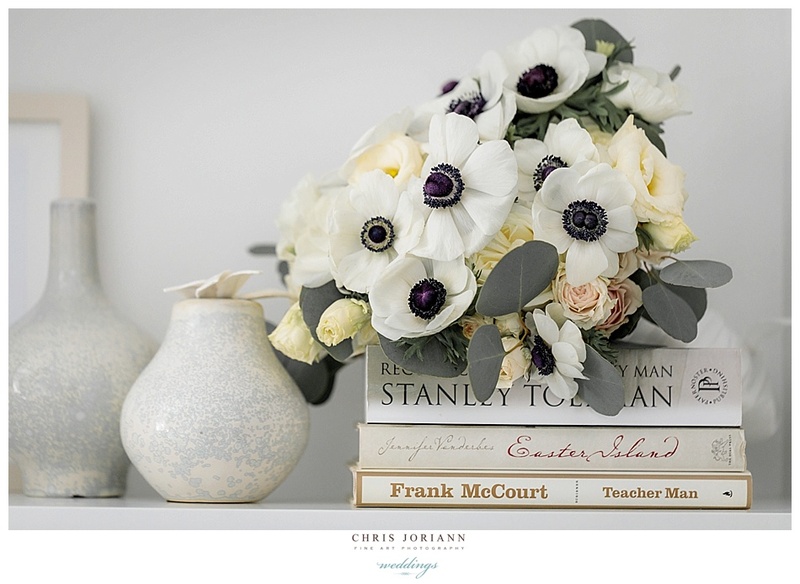 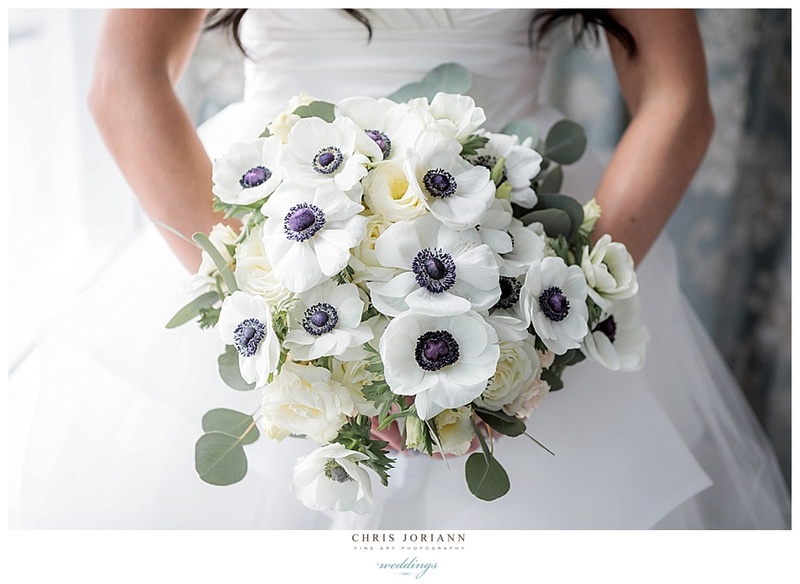 Her bouquet of mostly black and white poppies, mixed white lilies, and garden roses was a standout. 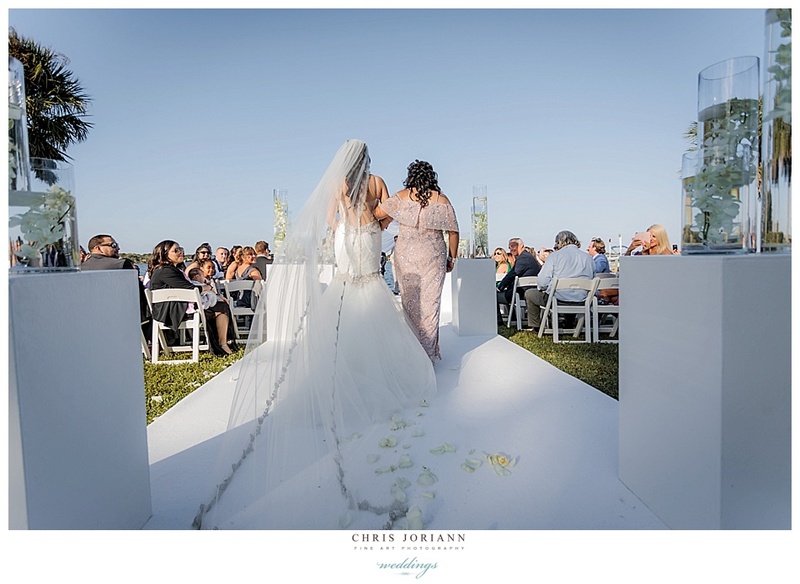 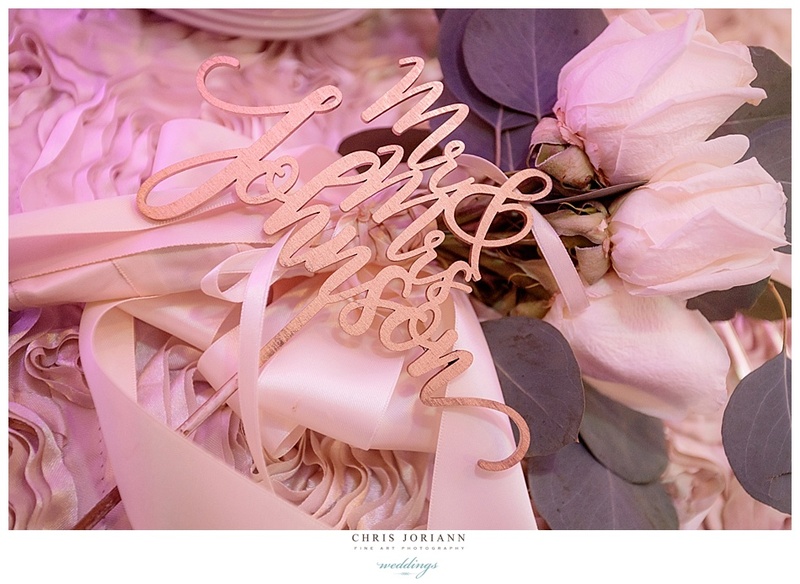 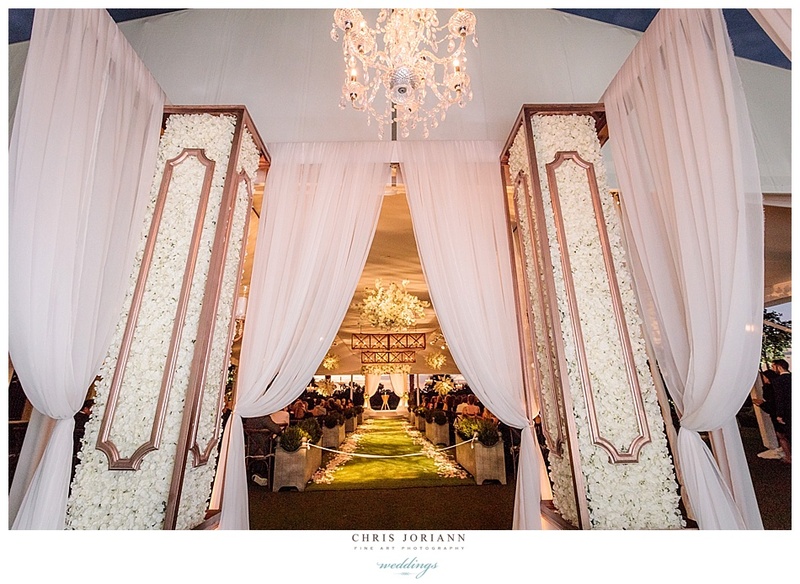 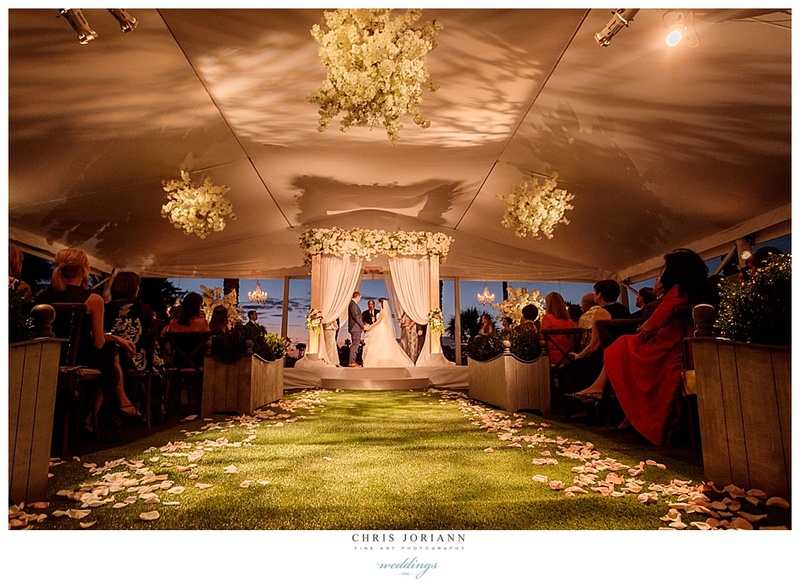 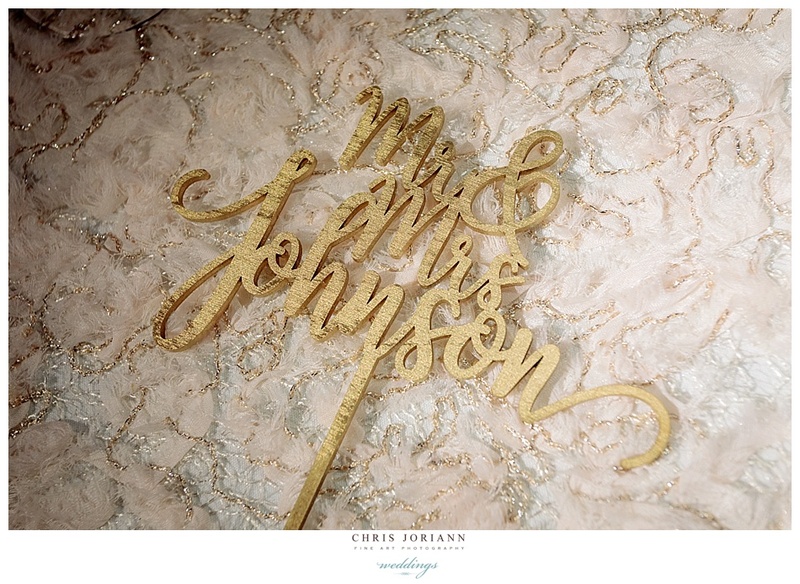 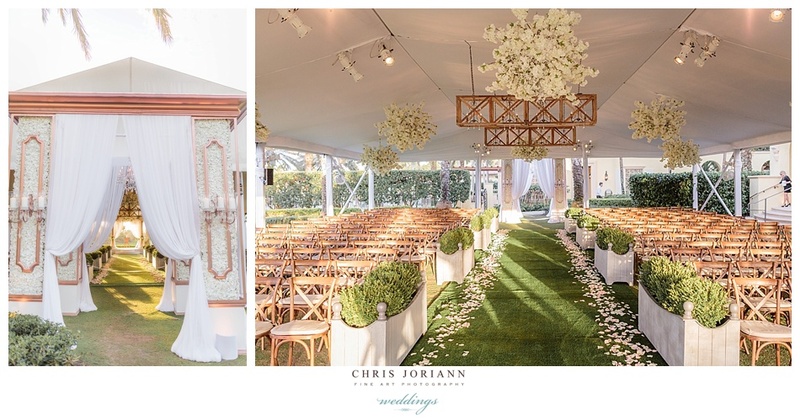 Guest entered the tented ceremony through a custom gold and white foyer draped in flowers and white organza, the down the petal strewn grass aisle, beneath wooden and floral chandeliers. 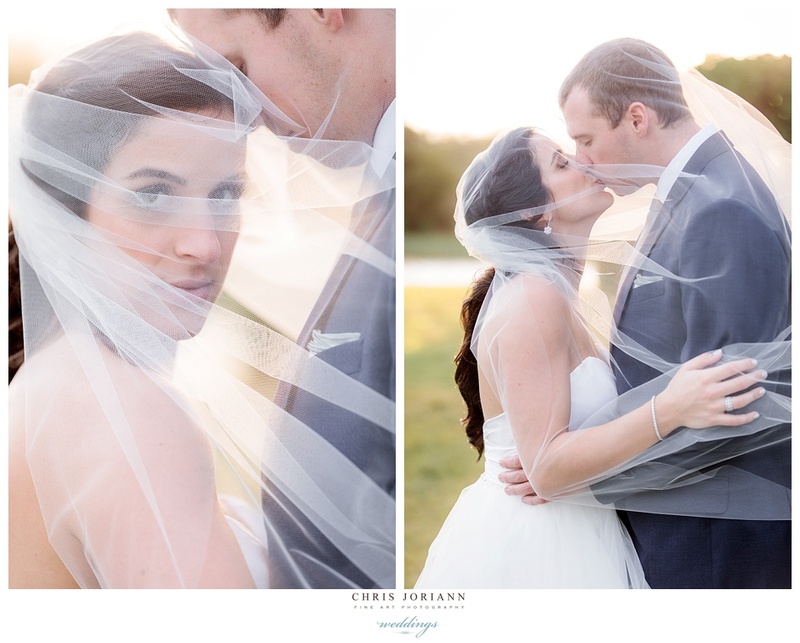 The couple exchanged vows just before sunset. 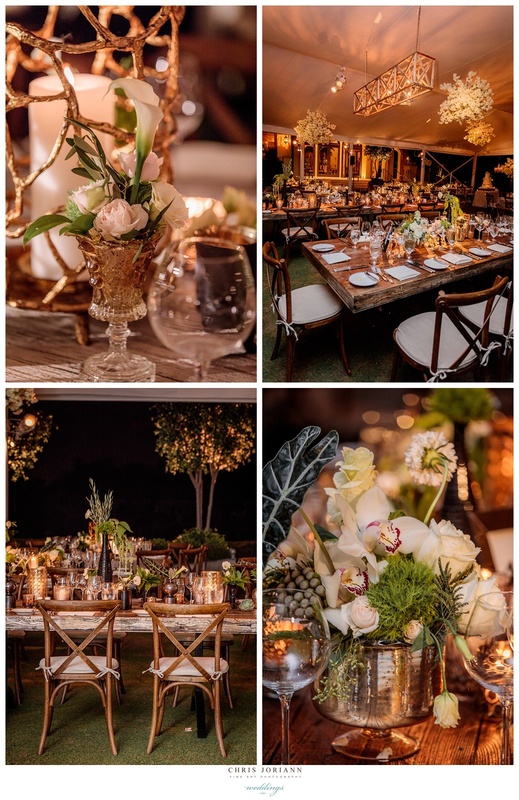 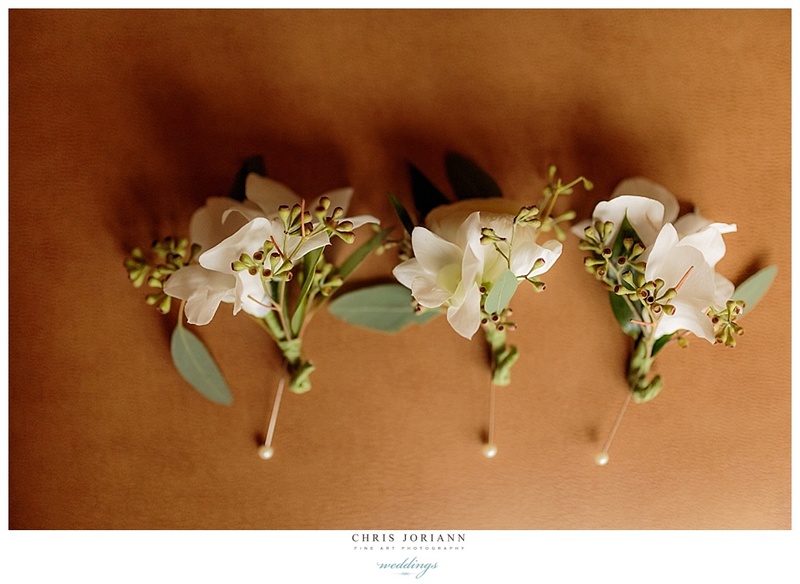 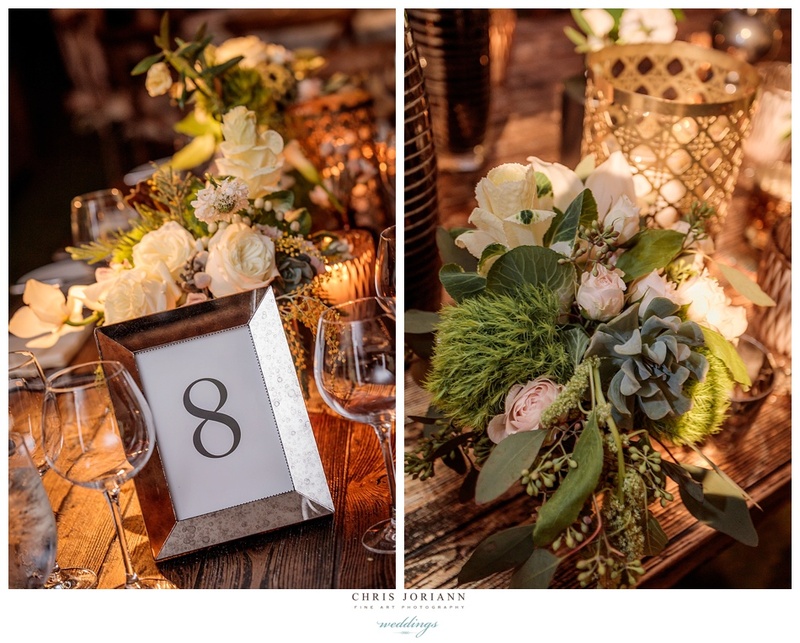 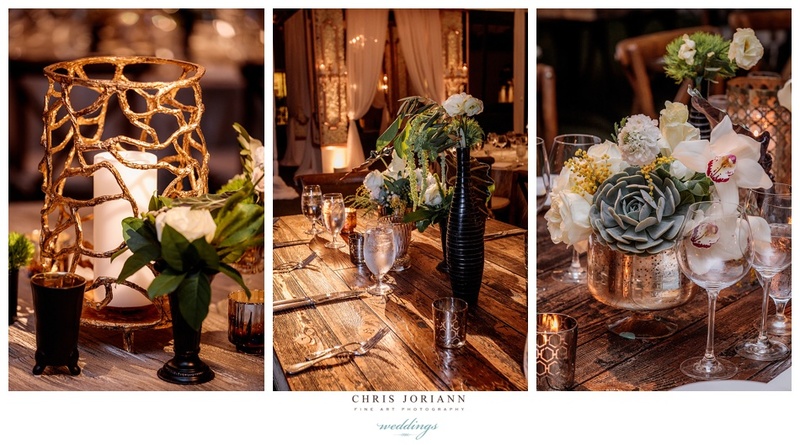 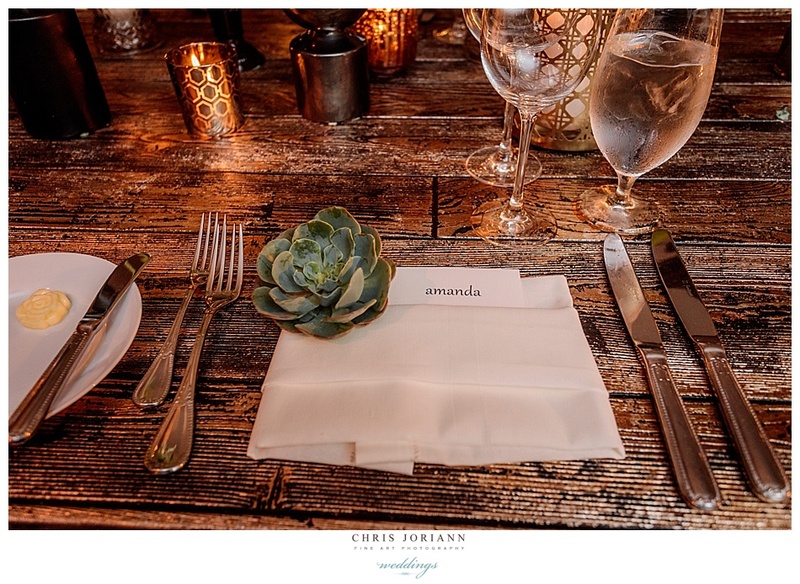 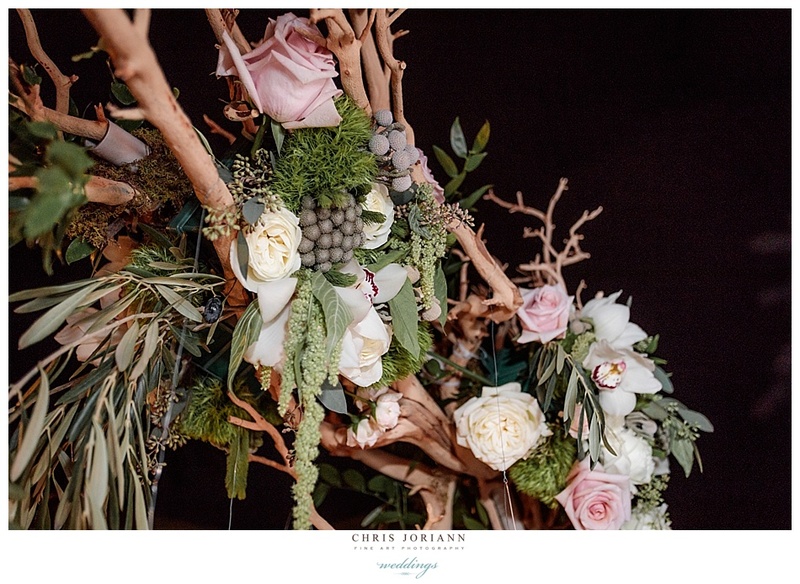 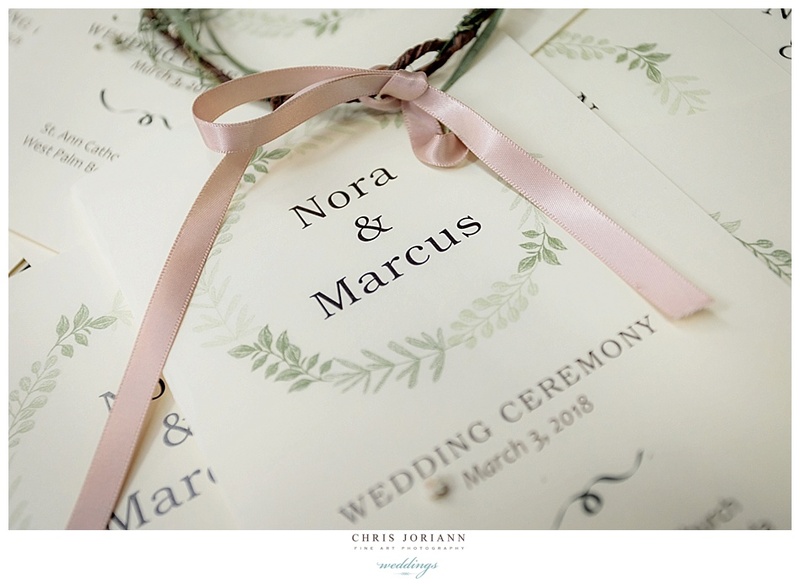 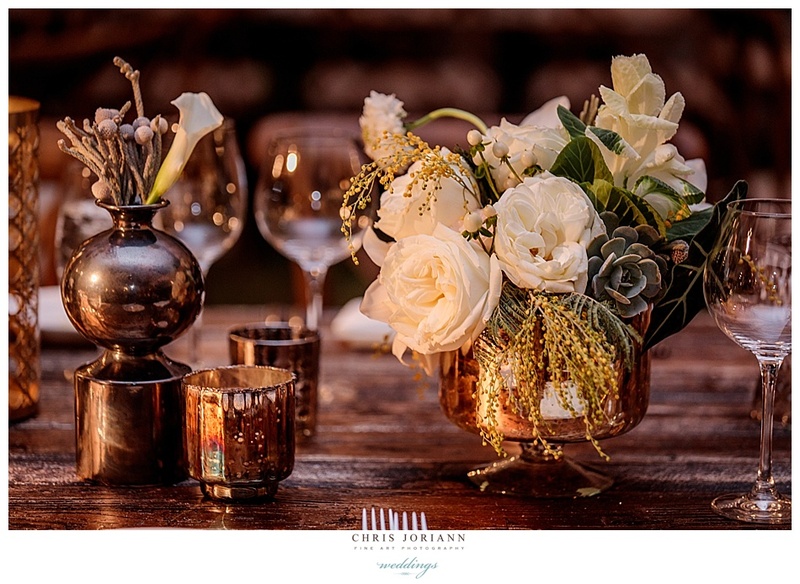 Cocktails poolside, were followed by a candlelit dinner held in a white open walled tent, filled with reclaimed wood tables and farm chairs, topped with mercury glass votives, candles, and various arrangements of succulents, lilies, white roses and silver brunia. 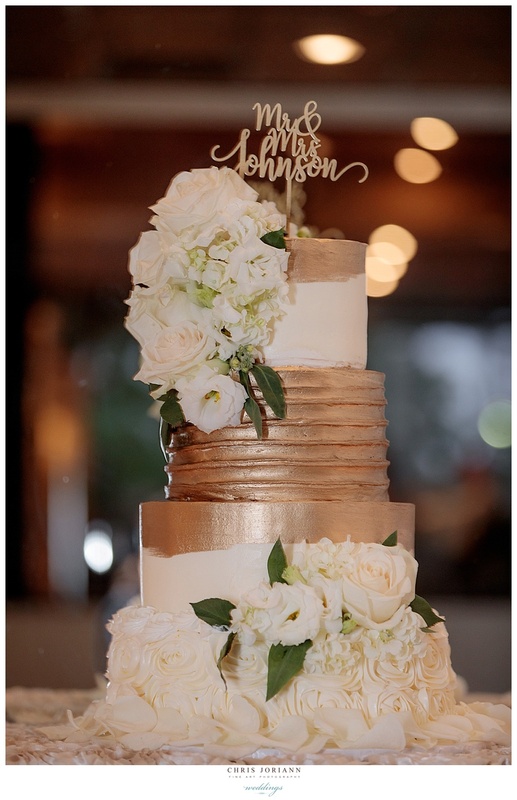 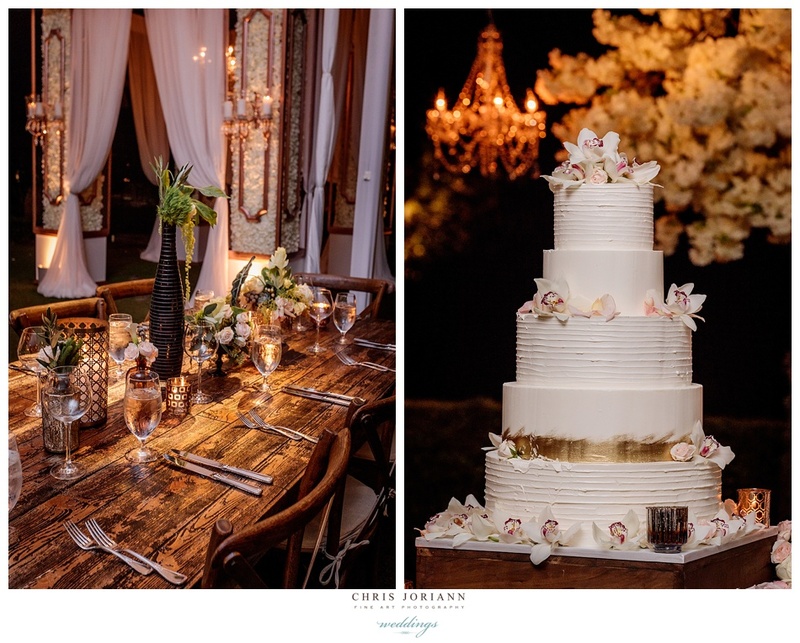 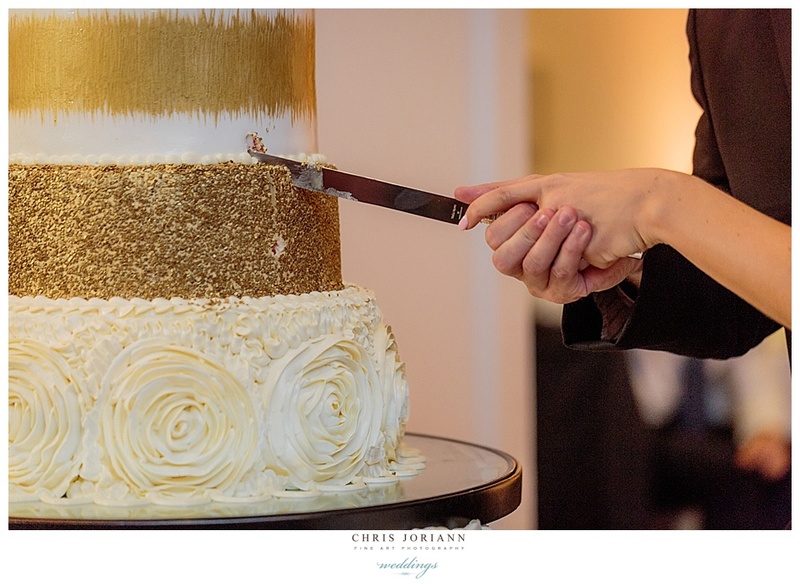 Earth + Sugar created the 4-tier orchid topped white buttercream and painted gold cake. 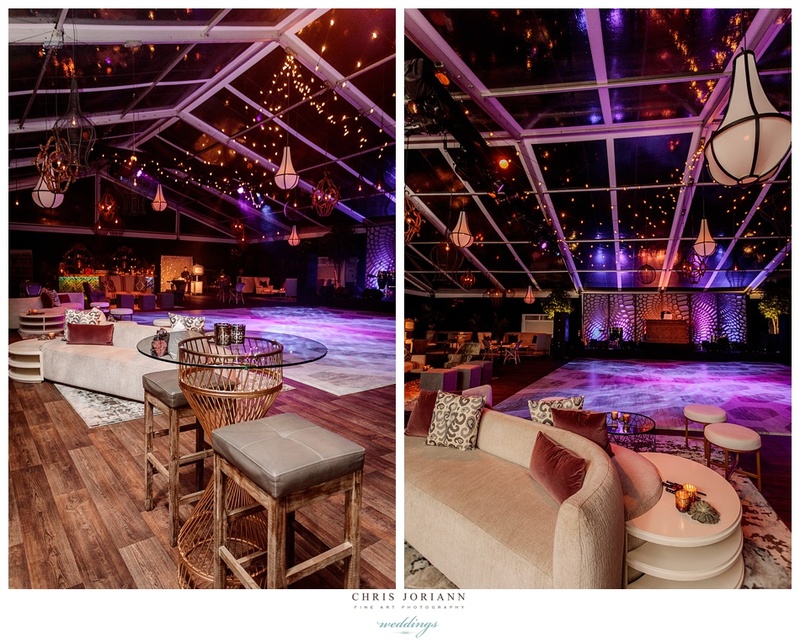 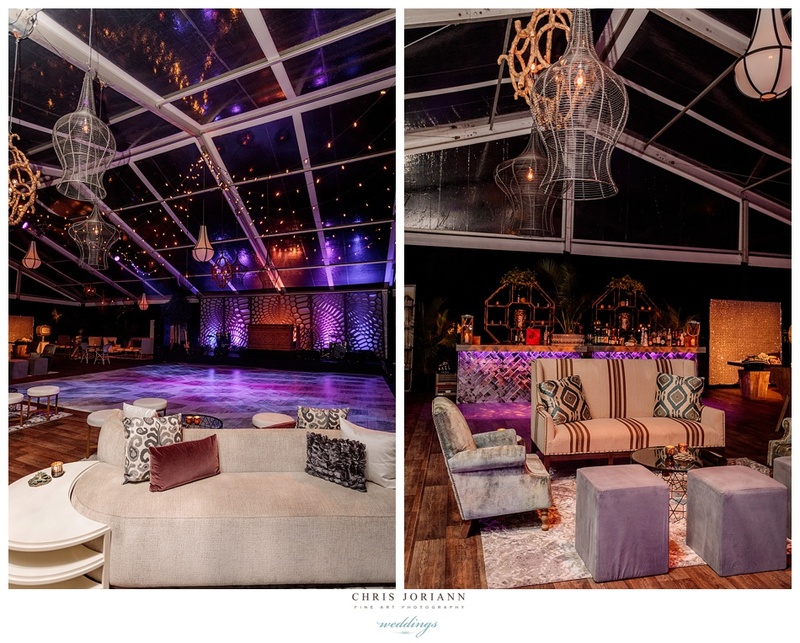 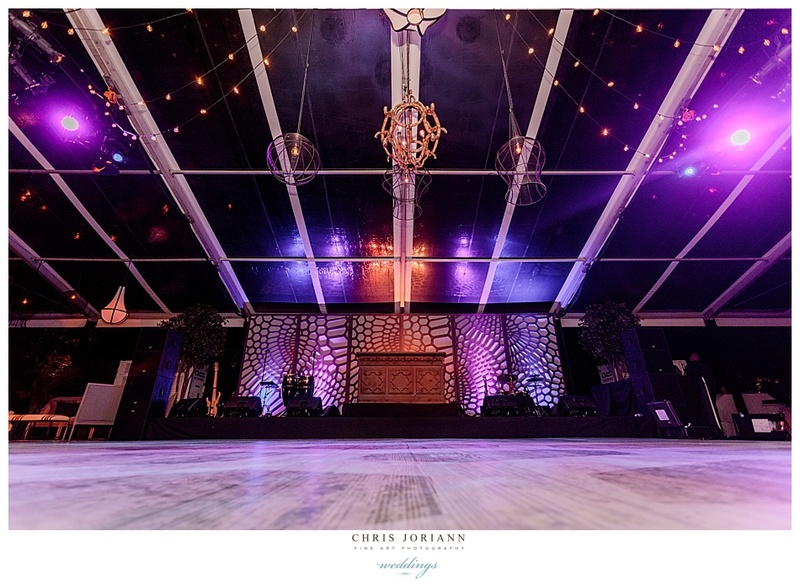 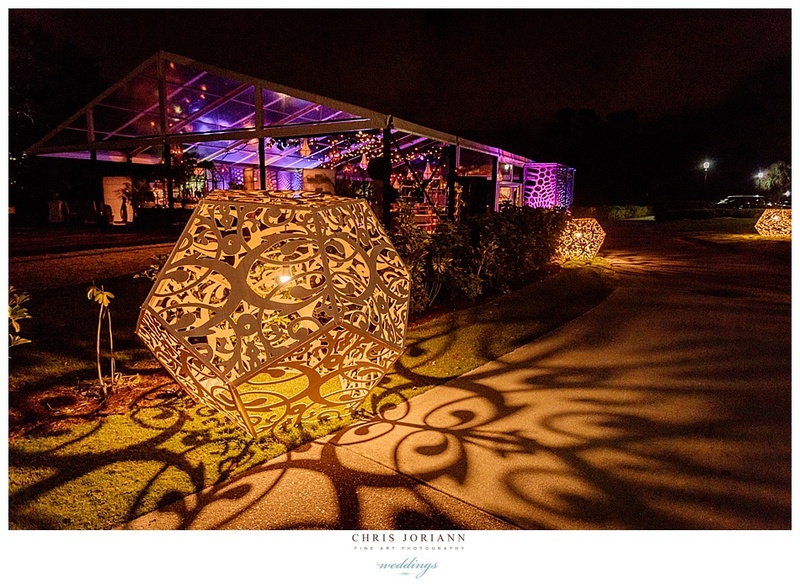 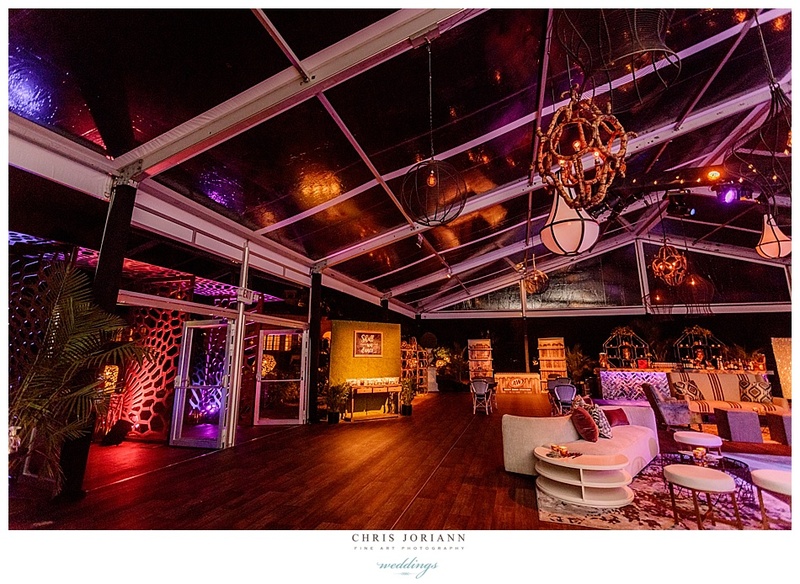 After dinner, guests followed the winding art deco lit path, to a clear greenhouse style tent for dancing and desserts. 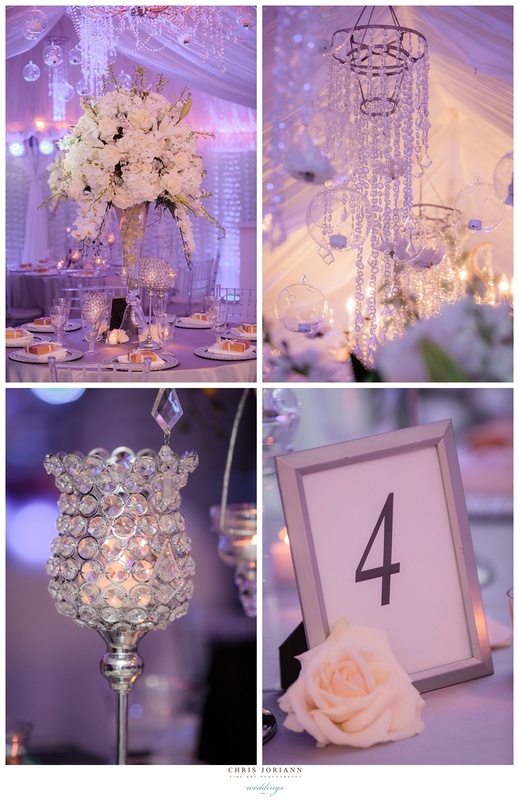 The décor was to die for. 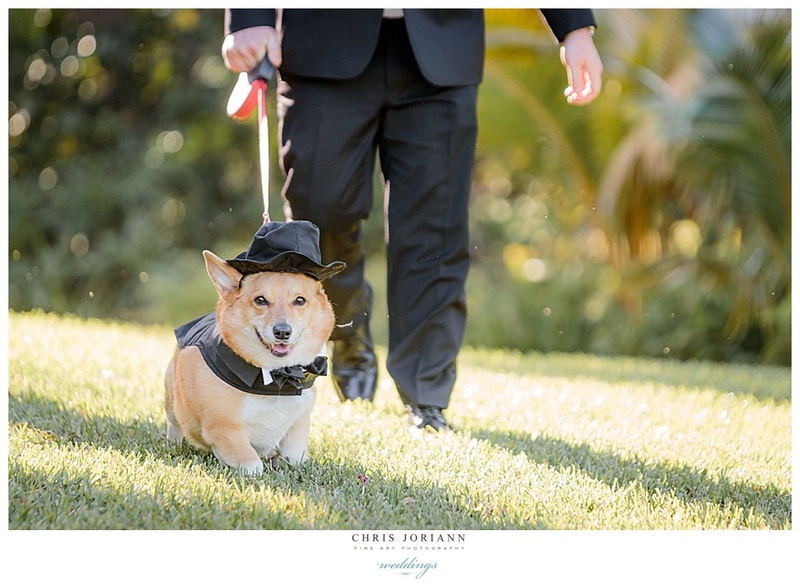 Seriously, I wanted to live there. 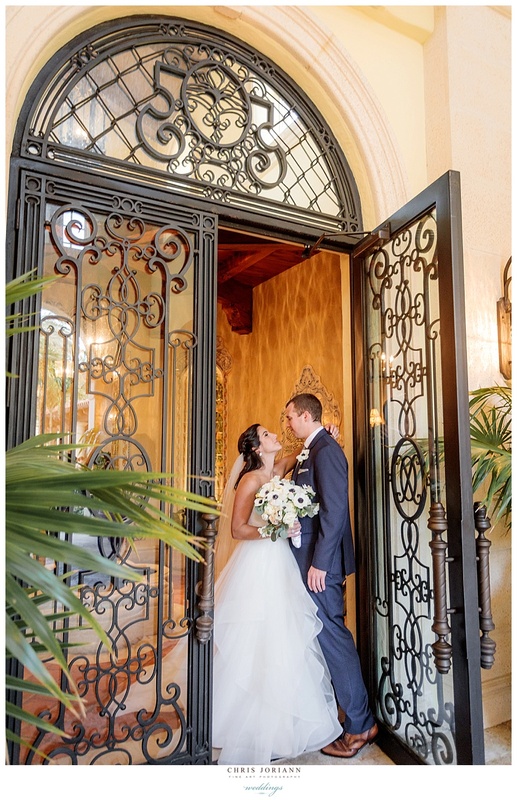 It was like a “Restoration Hardware” dream come true!!! 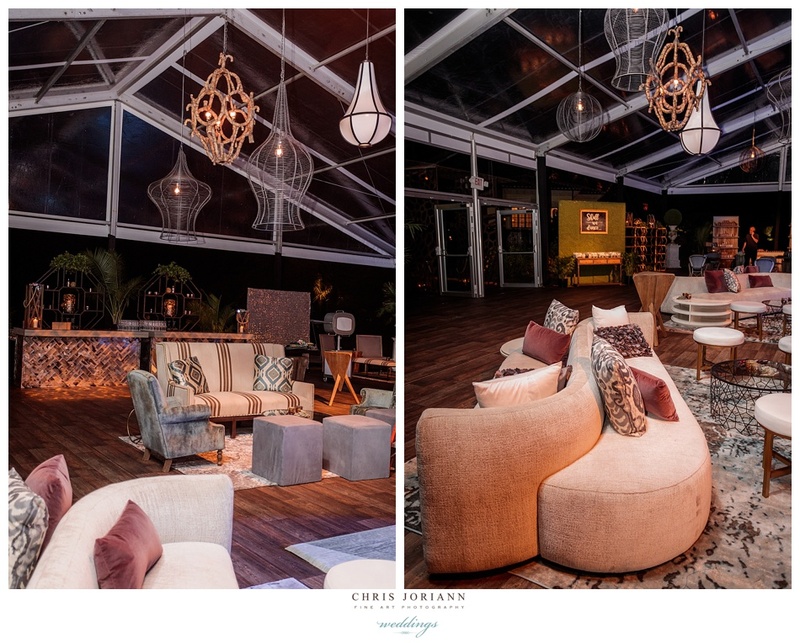 Creatively crafted by Kehoe Designs, with coordination by Susan Davidson, this fully furnished space, had a natural wood floor, rustic white couches, deconstructed chairs, custom made bars, and an assortment of eclectic chandeliers. 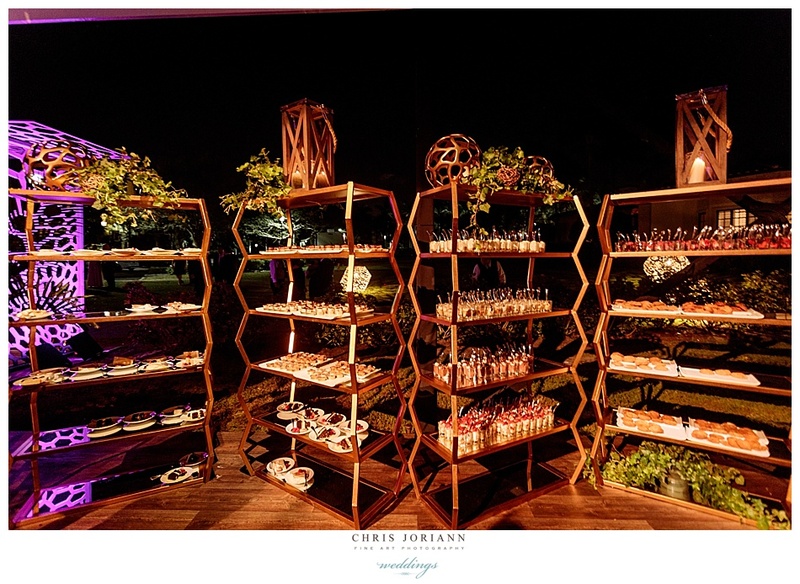 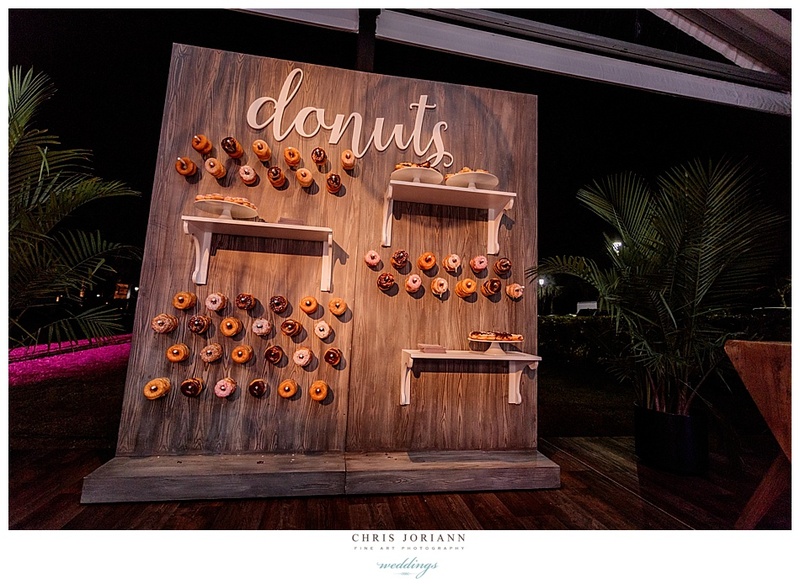 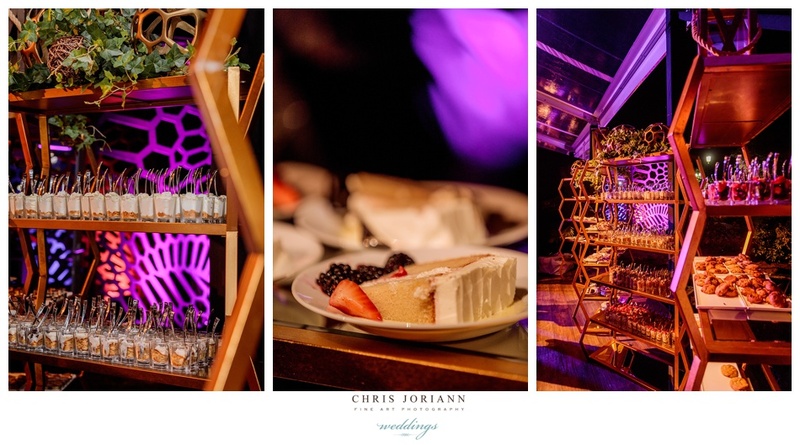 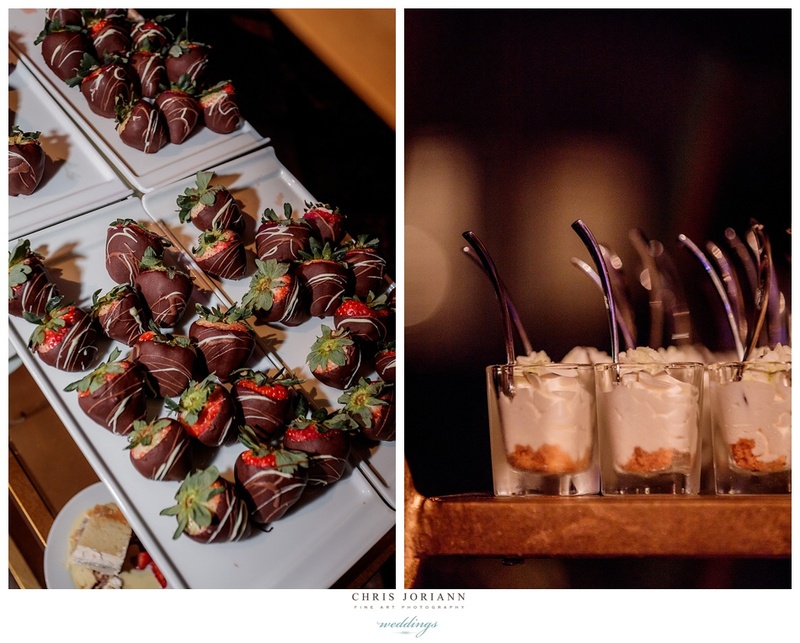 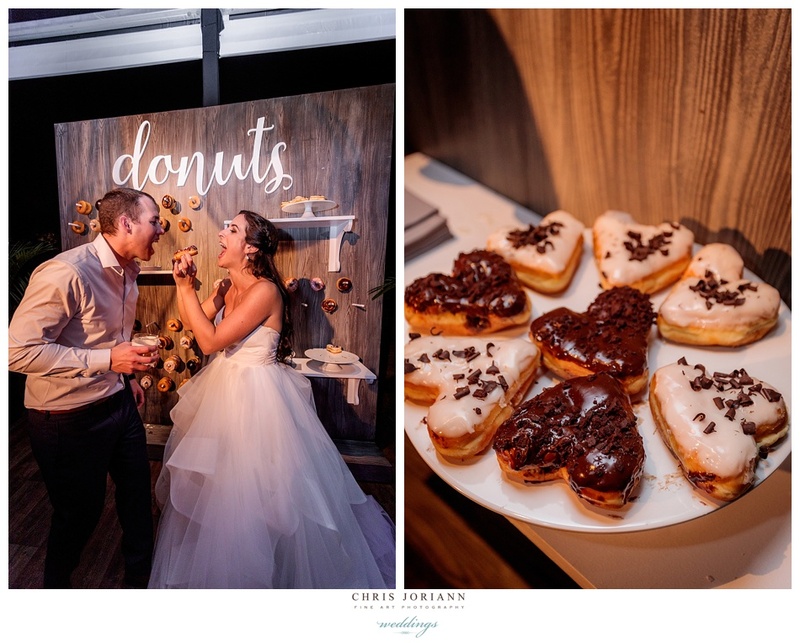 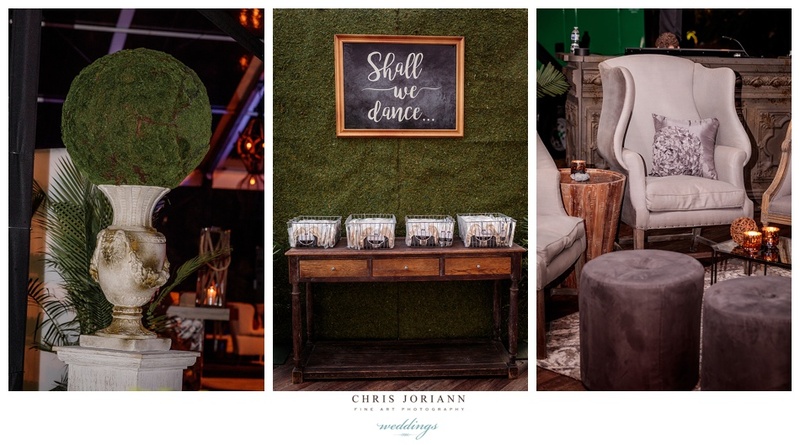 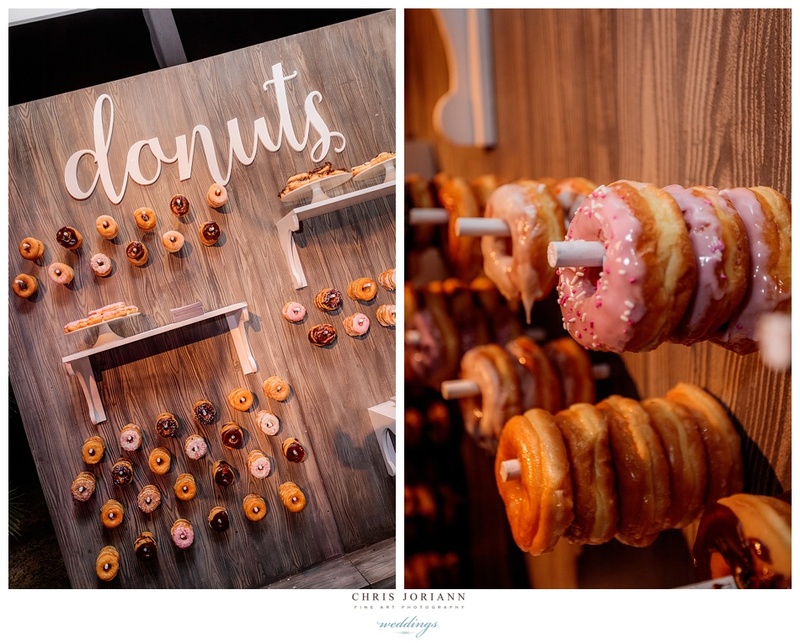 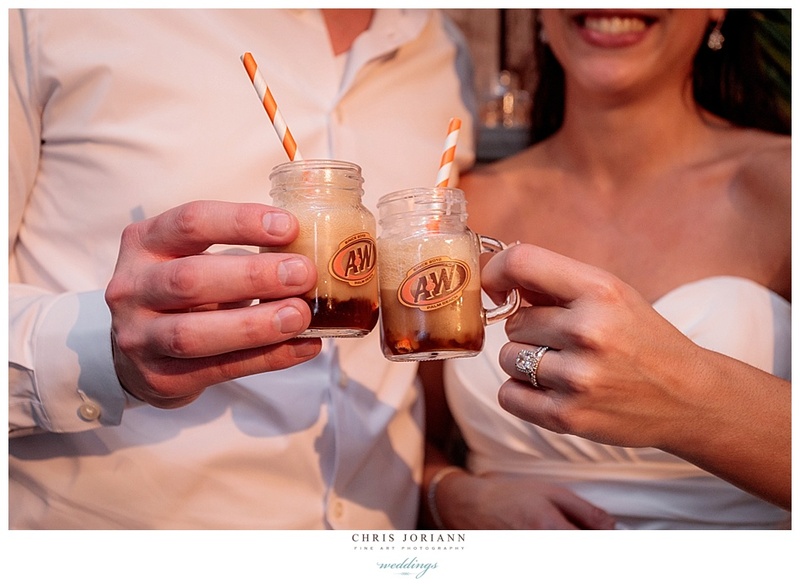 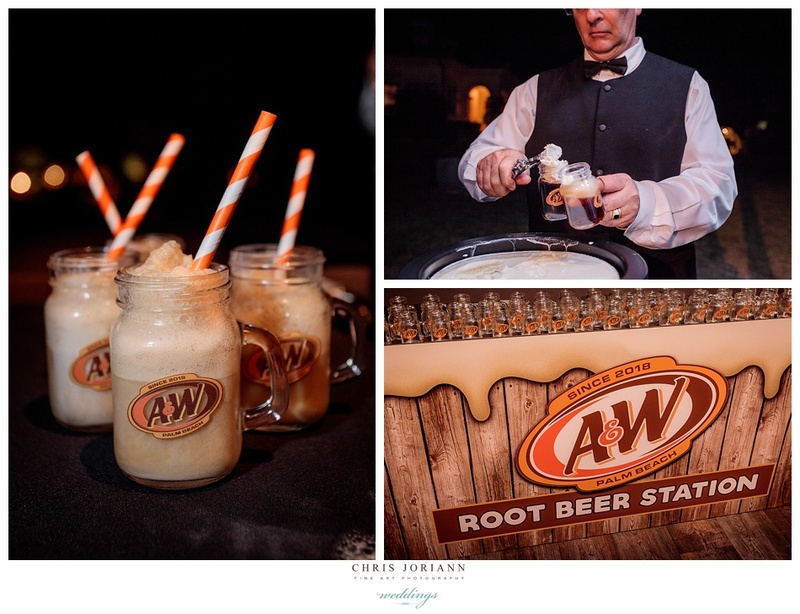 There was alsop, a shoe bar, a dessert bar, and a donut wall, along with an ingenius A+W Rootbeer float station, for Amanda + Wesley, complete with custom glasses. 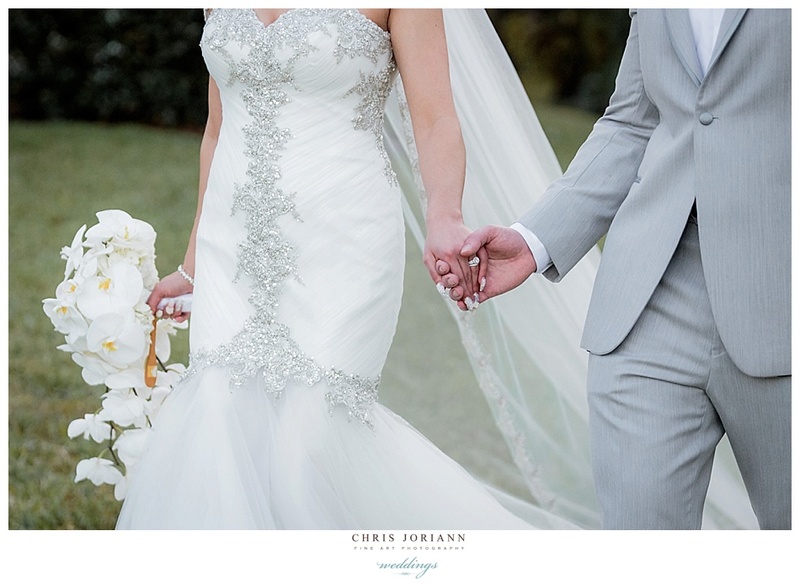 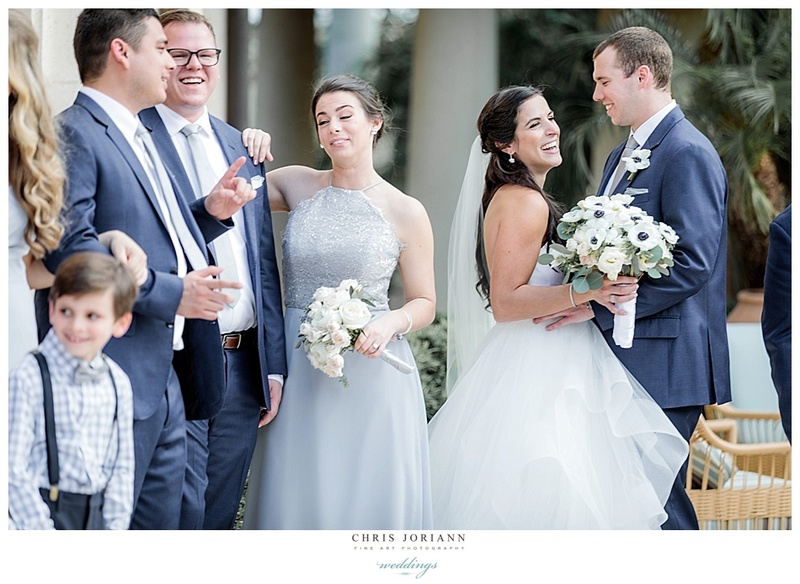 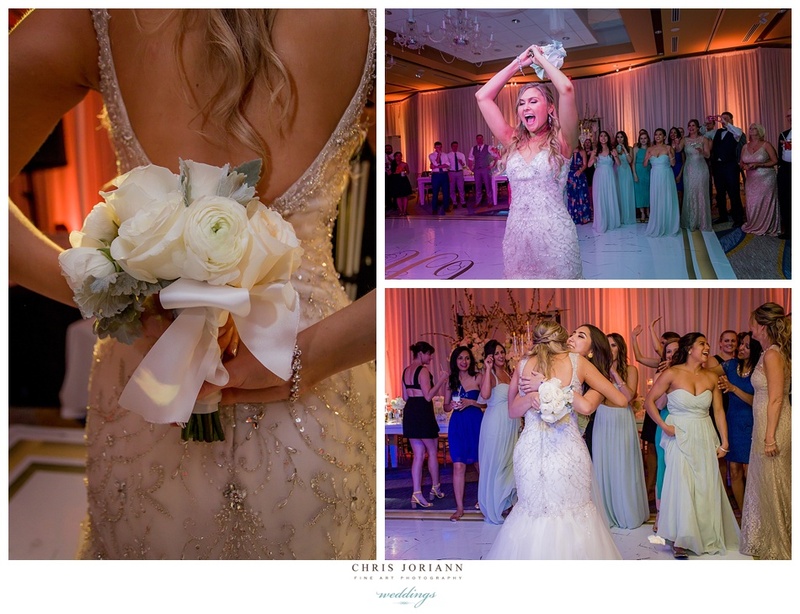 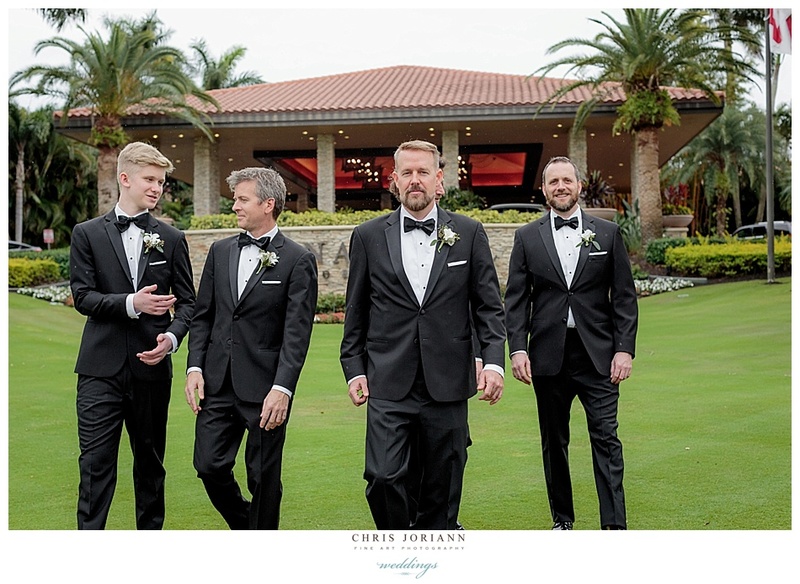 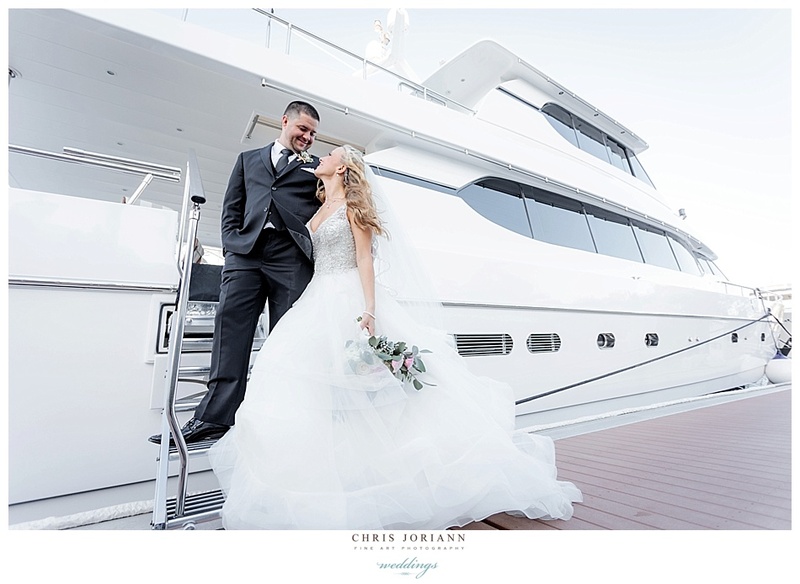 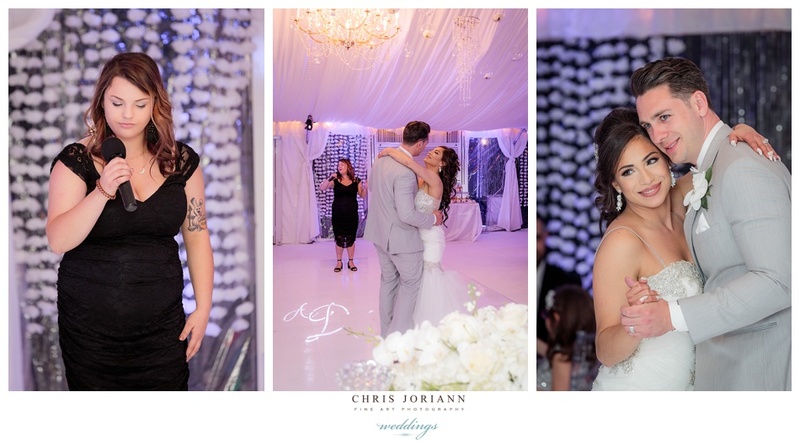 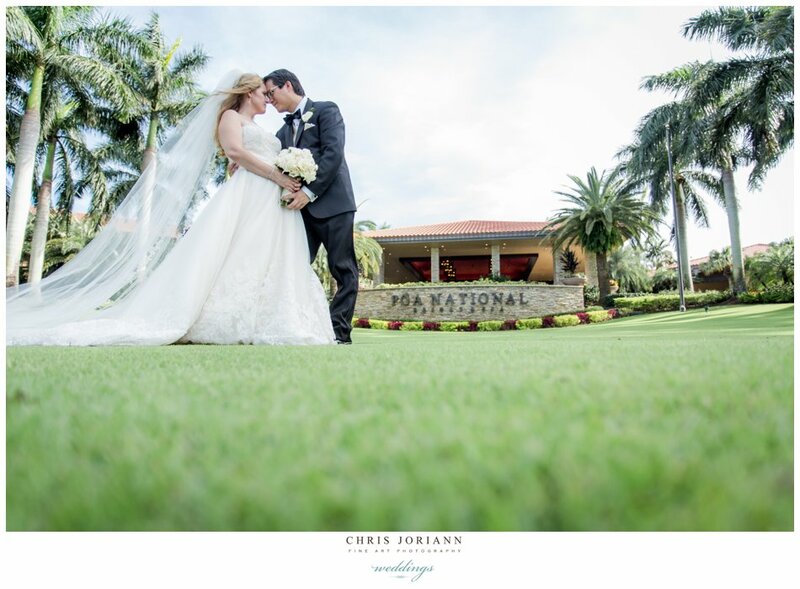 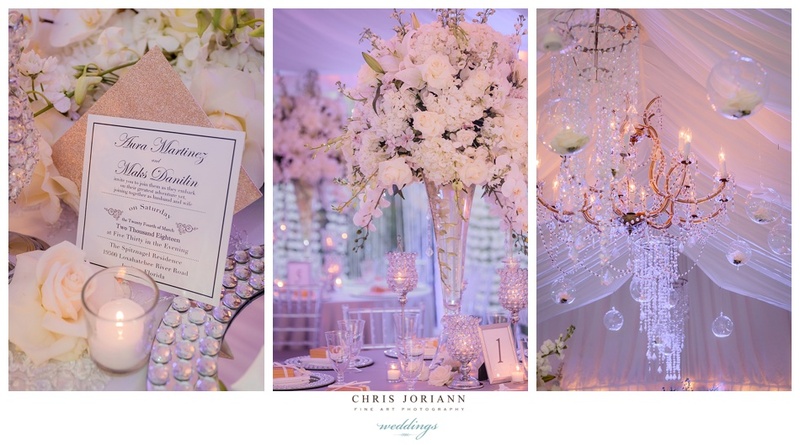 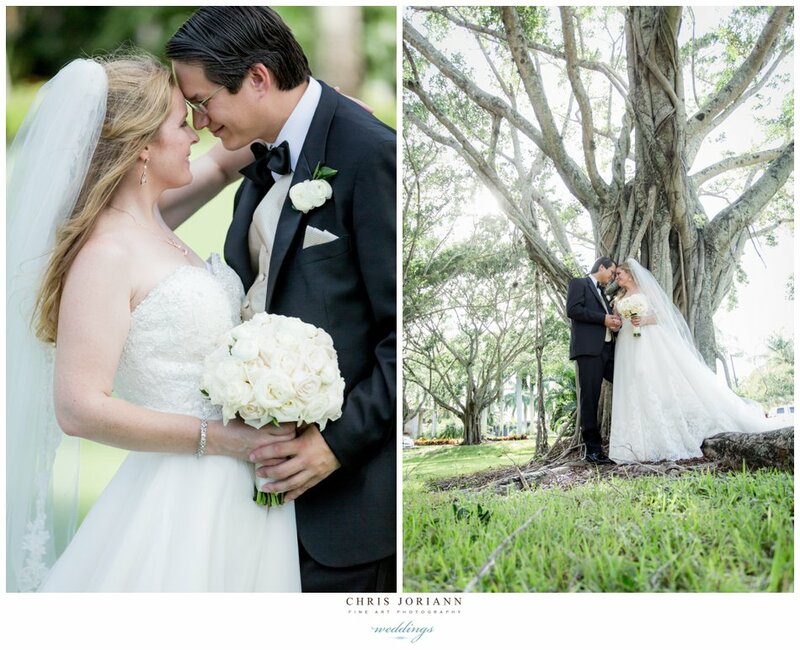 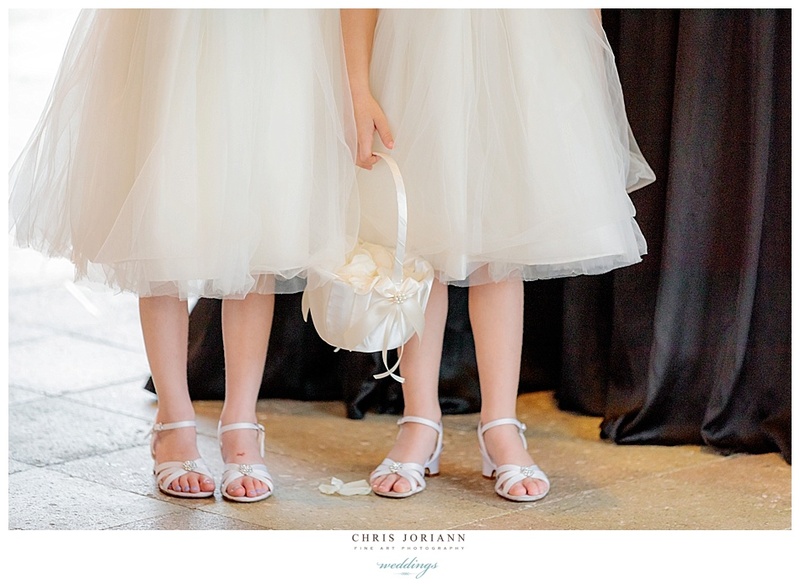 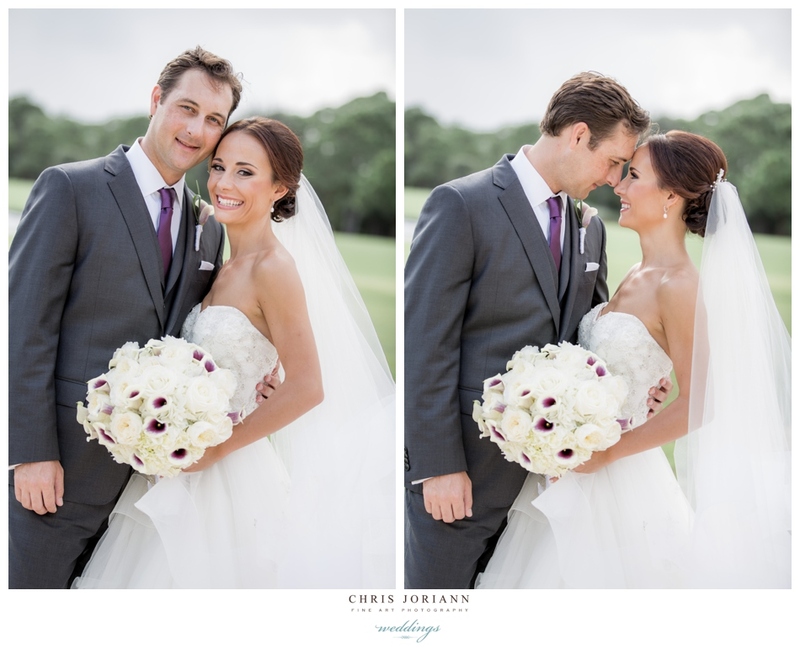 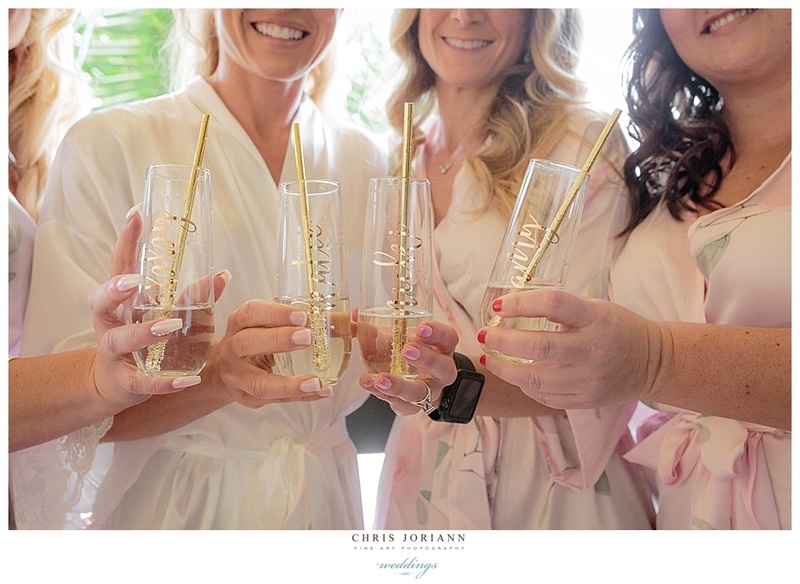 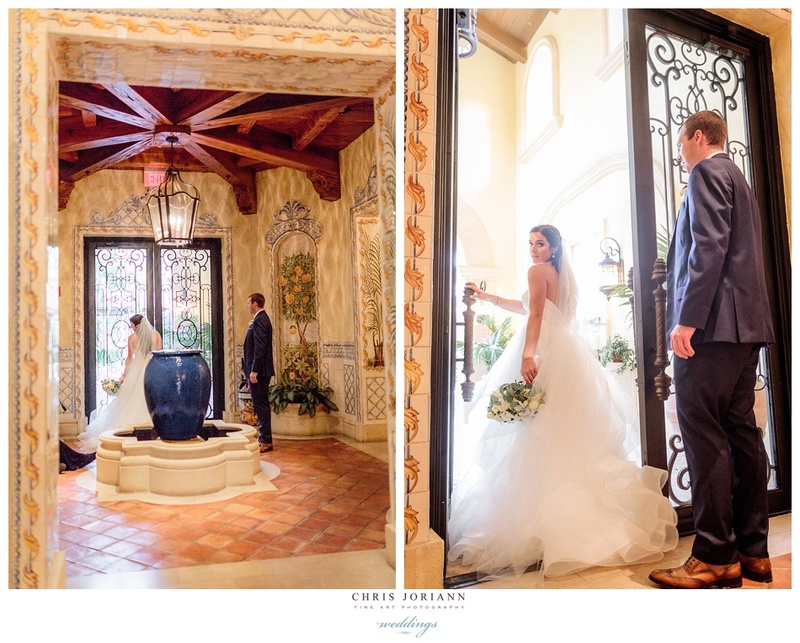 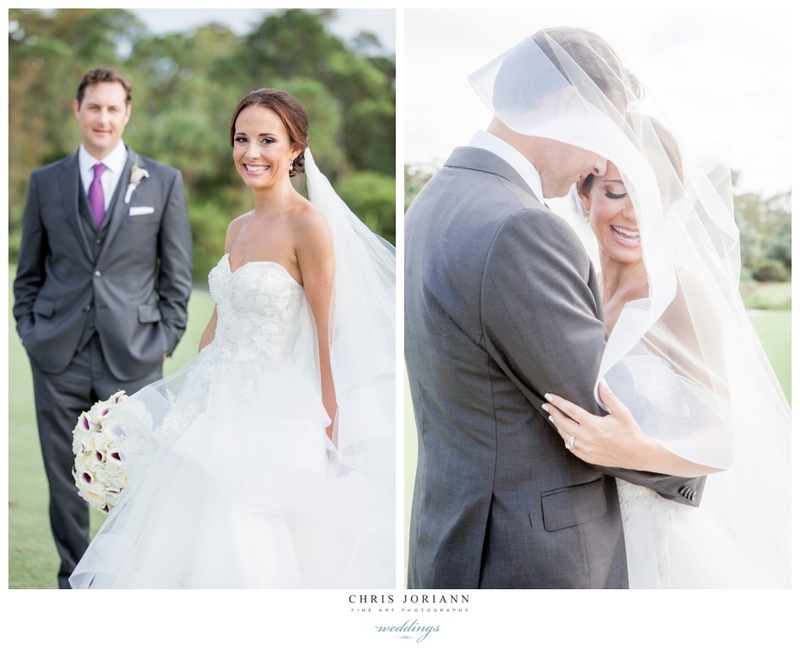 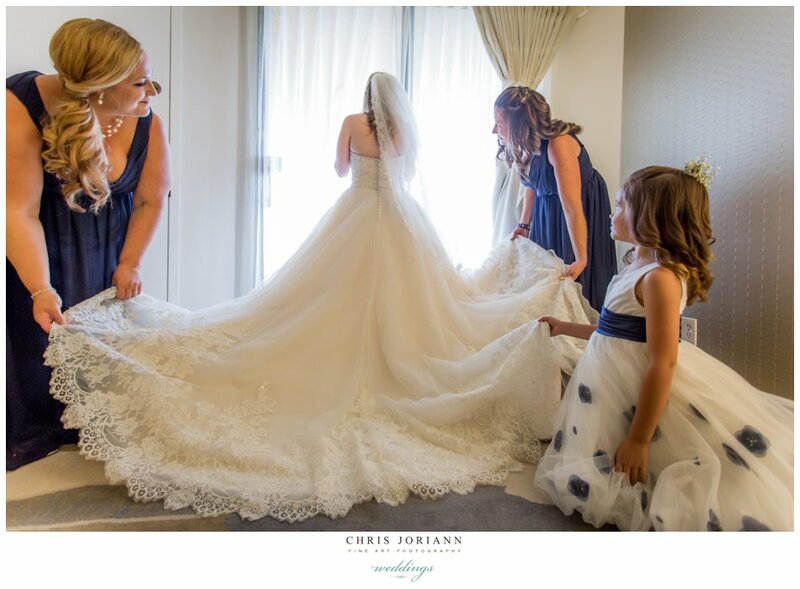 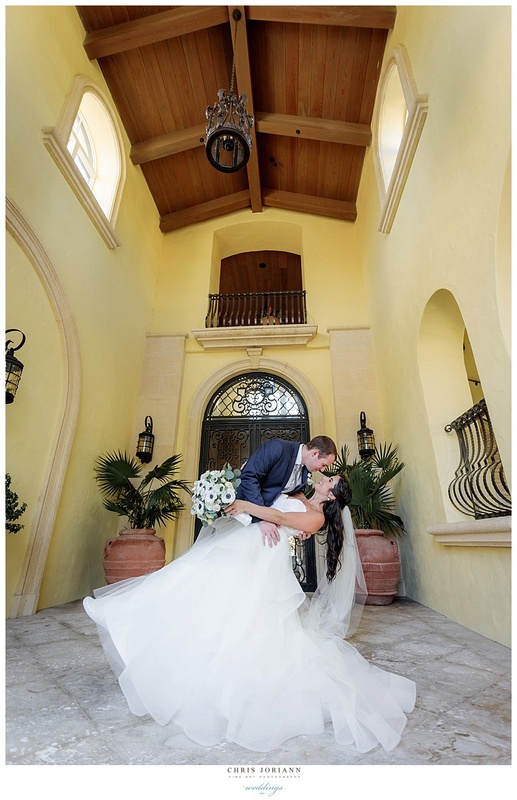 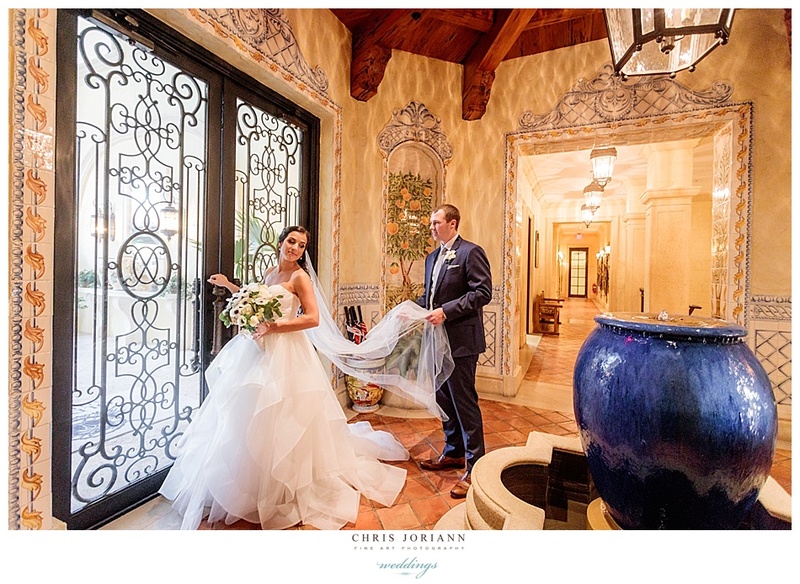 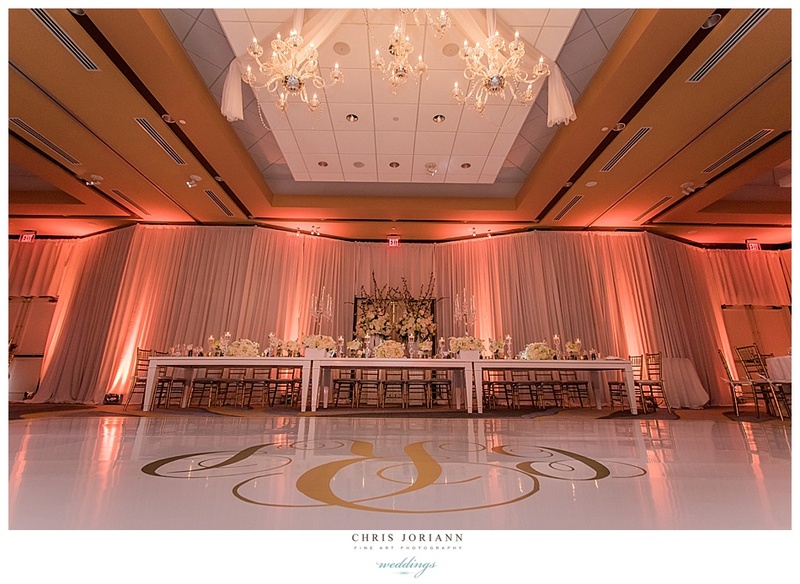 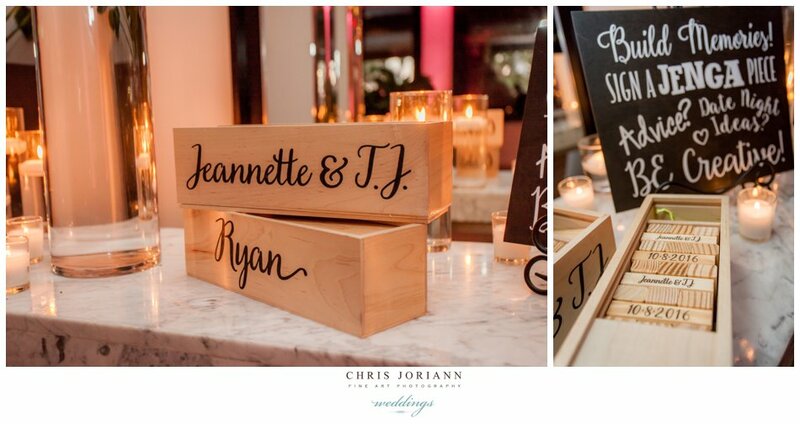 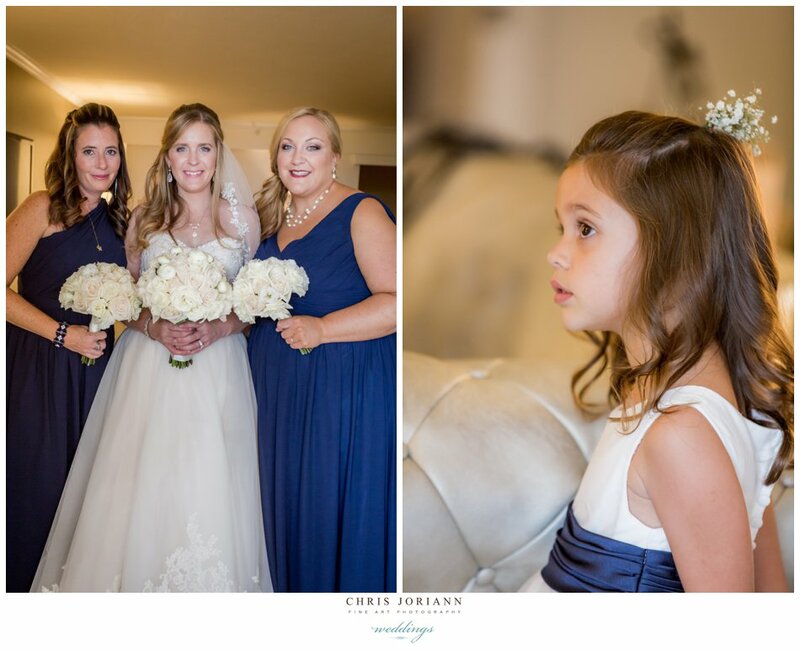 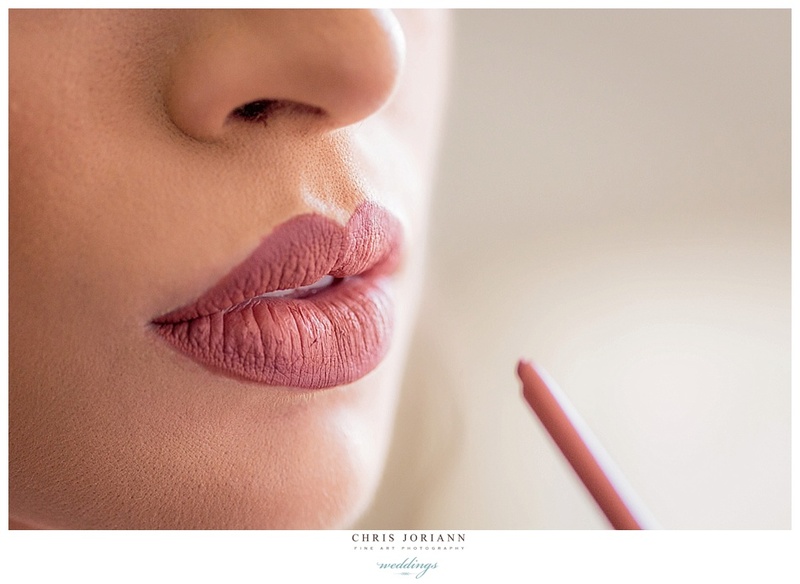 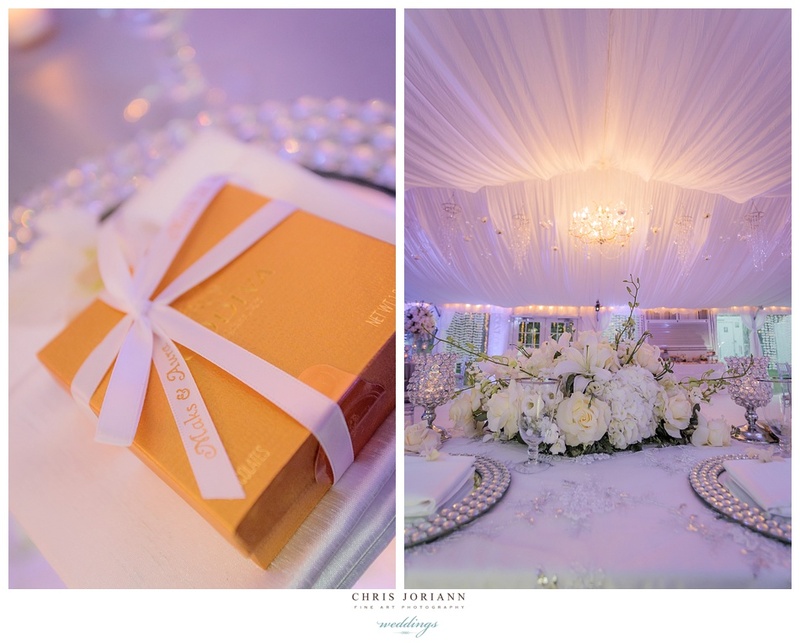 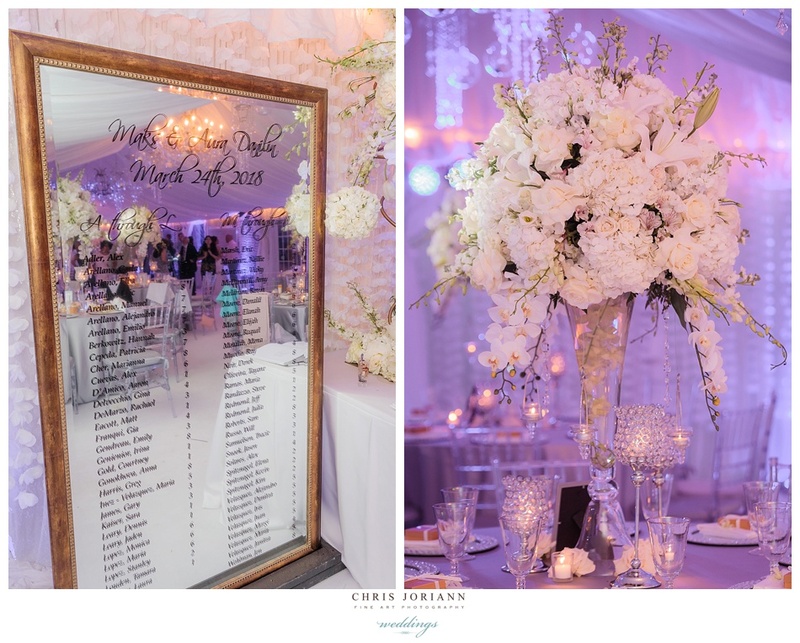 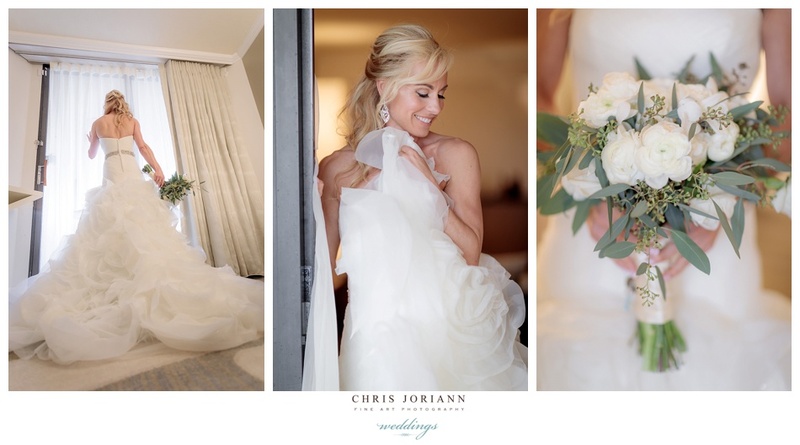 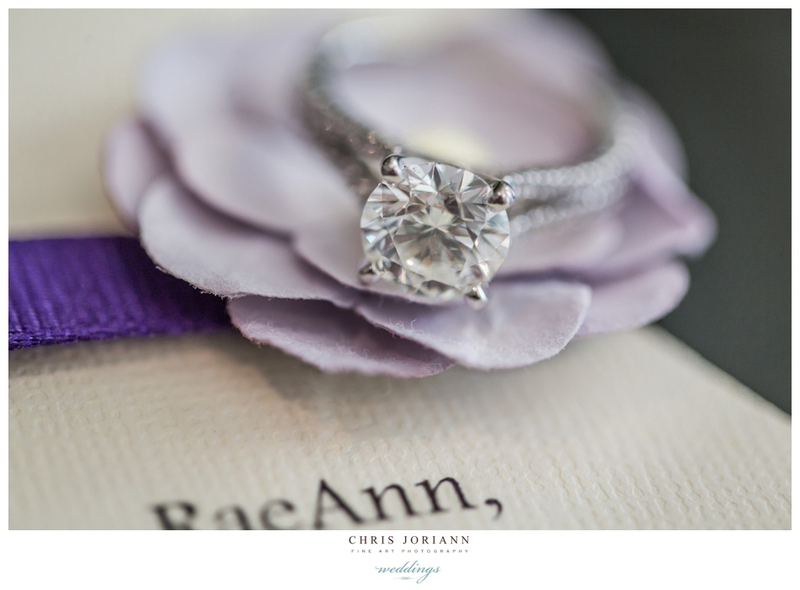 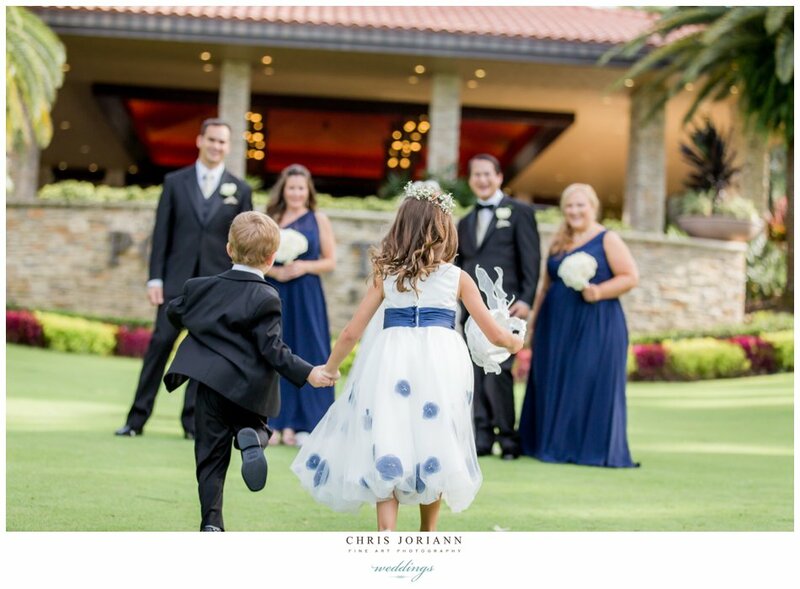 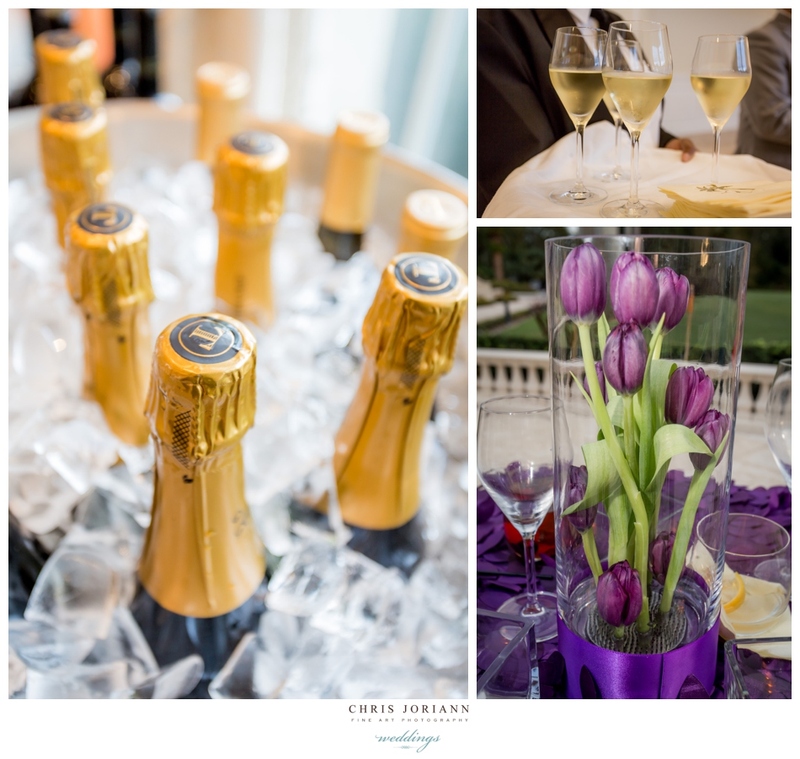 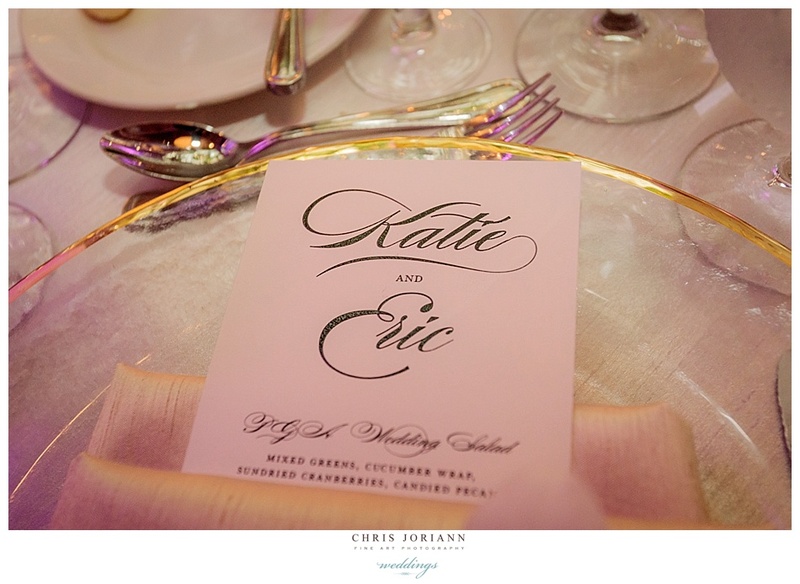 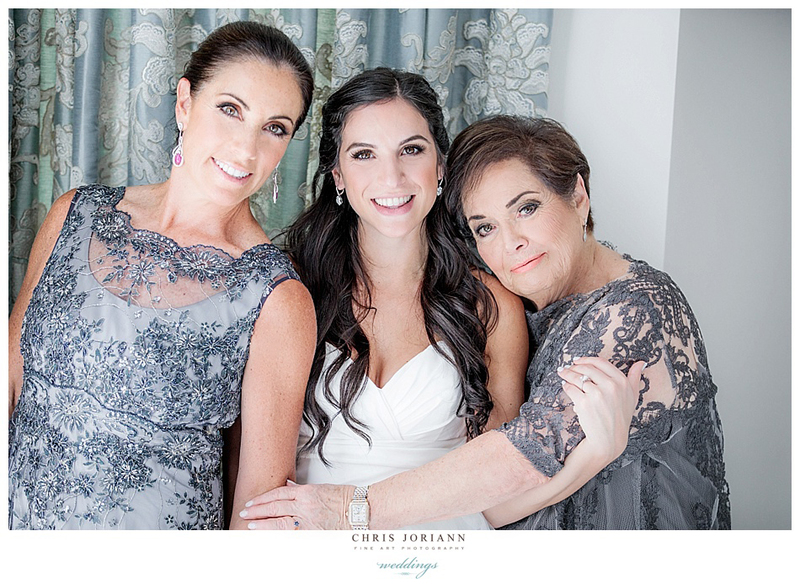 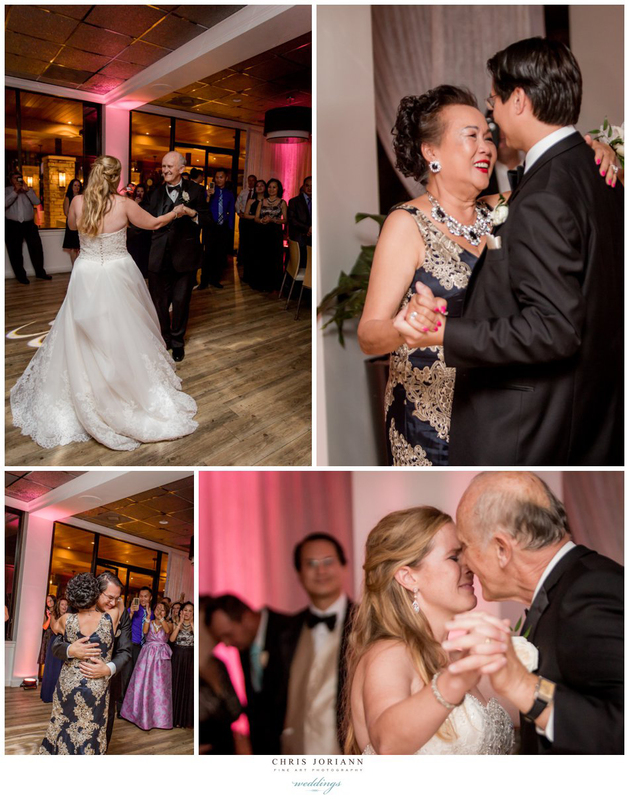 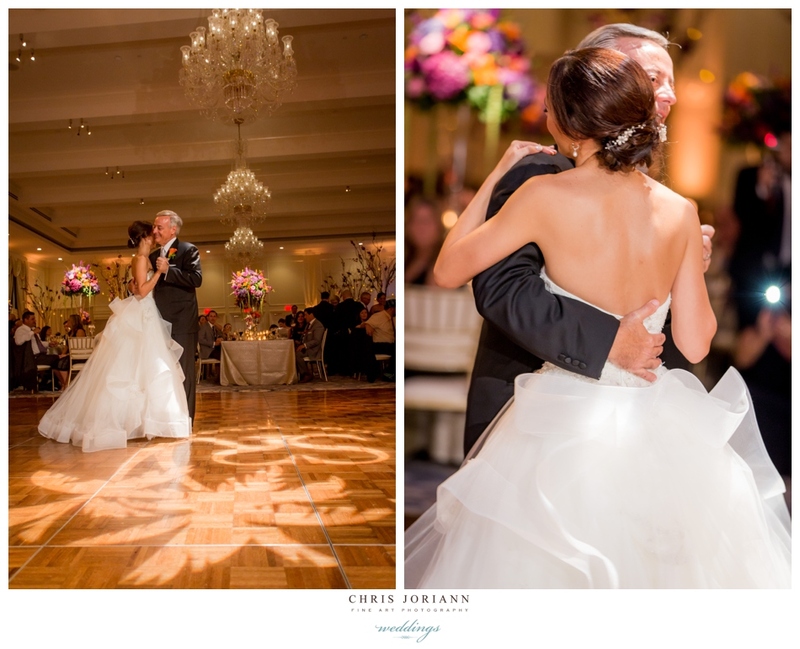 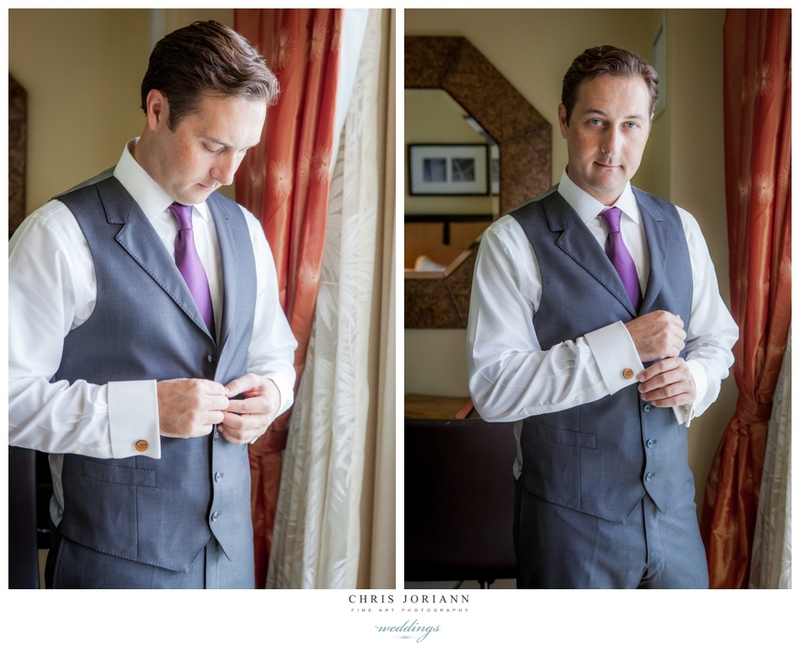 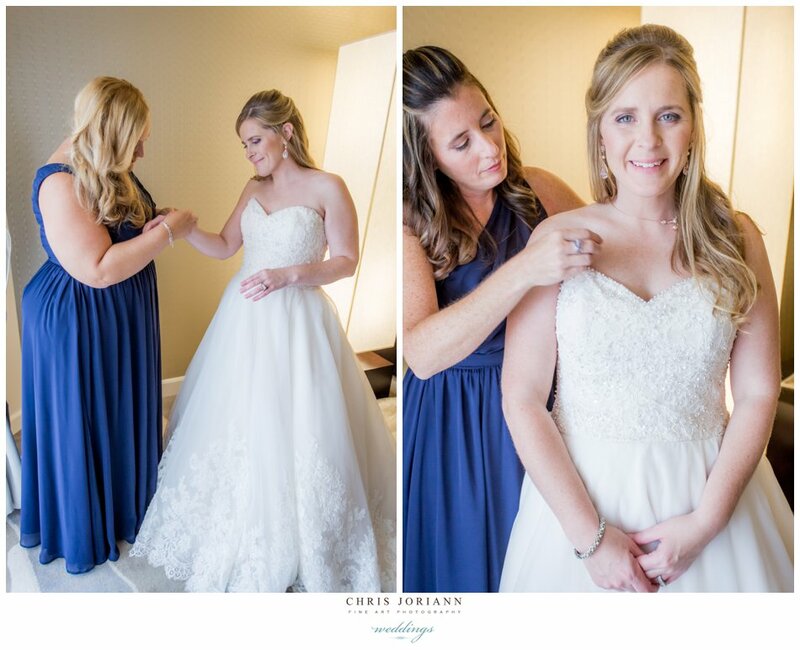 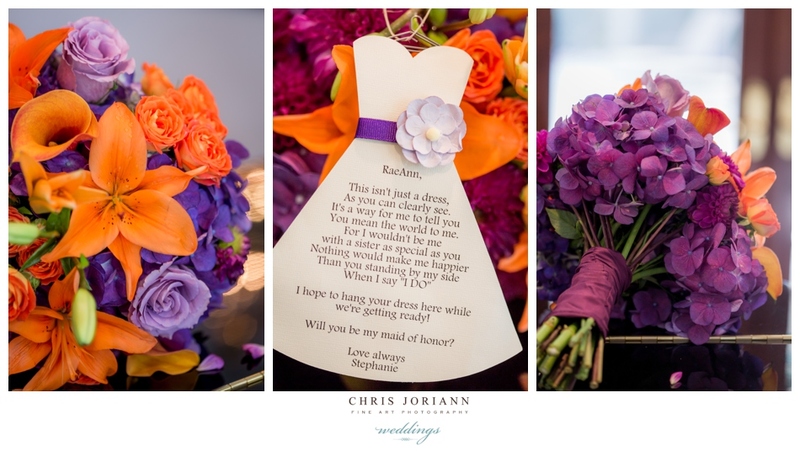 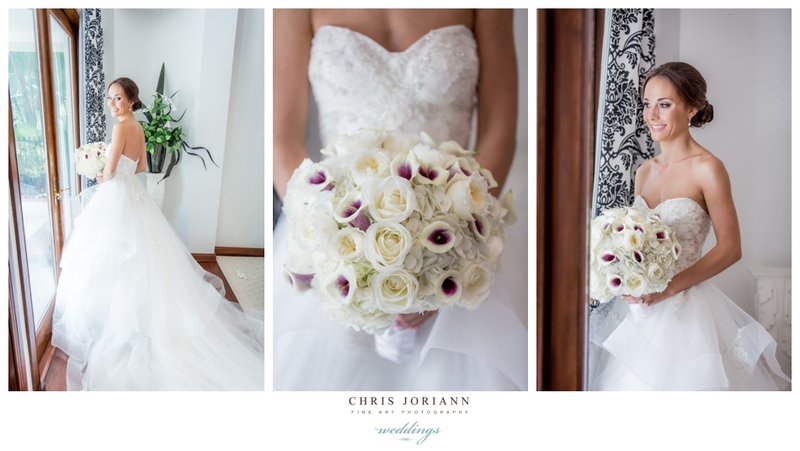 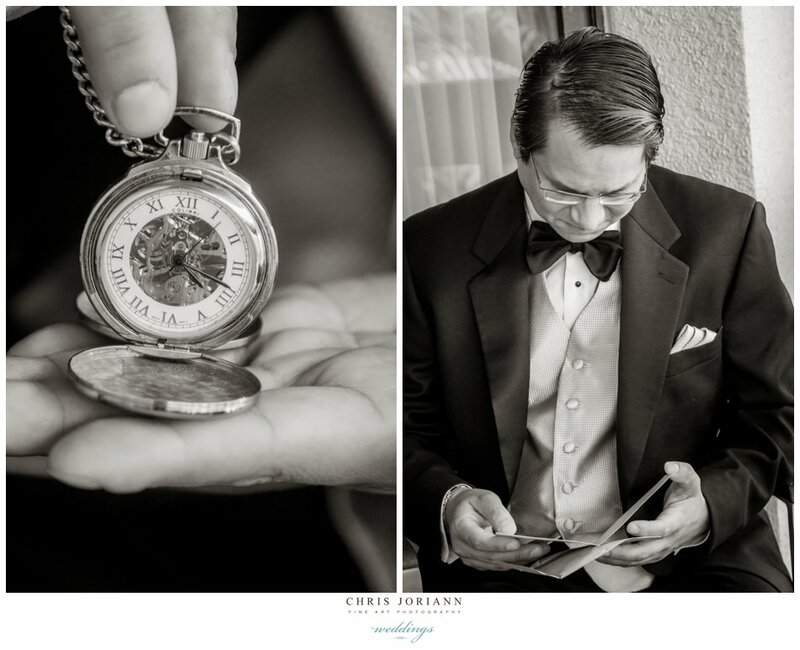 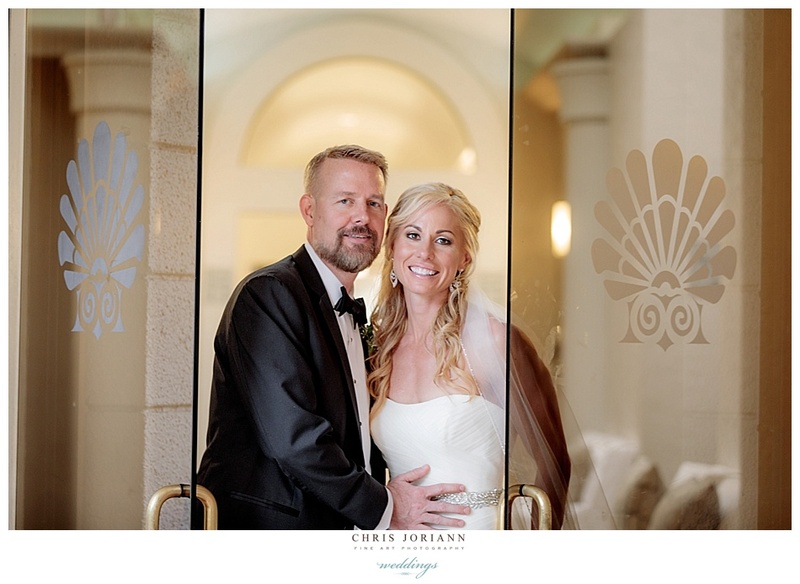 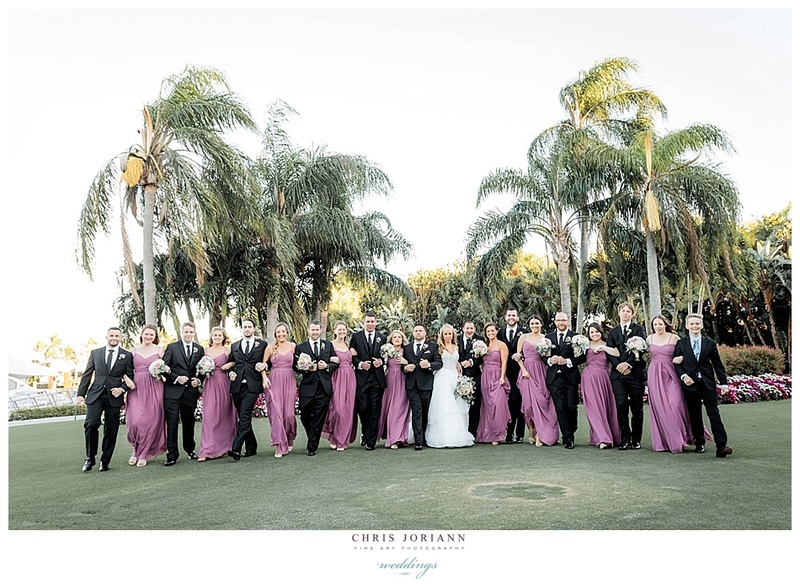 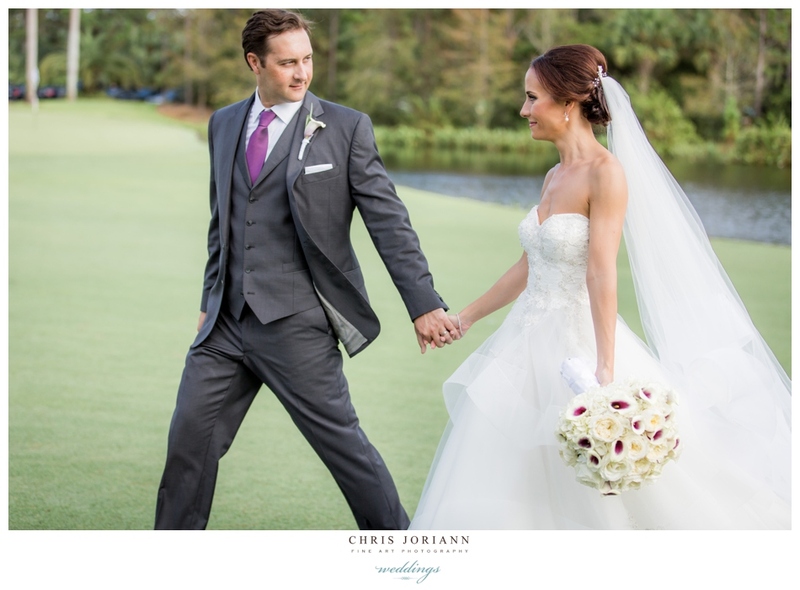 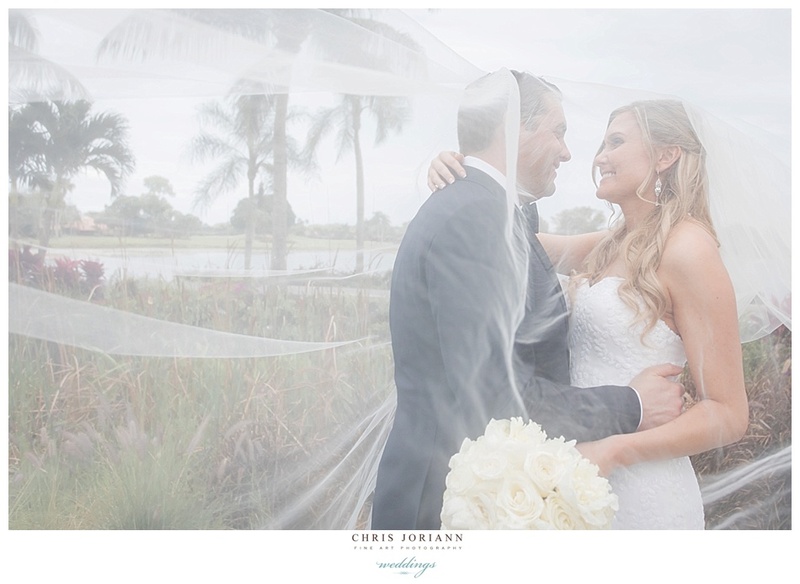 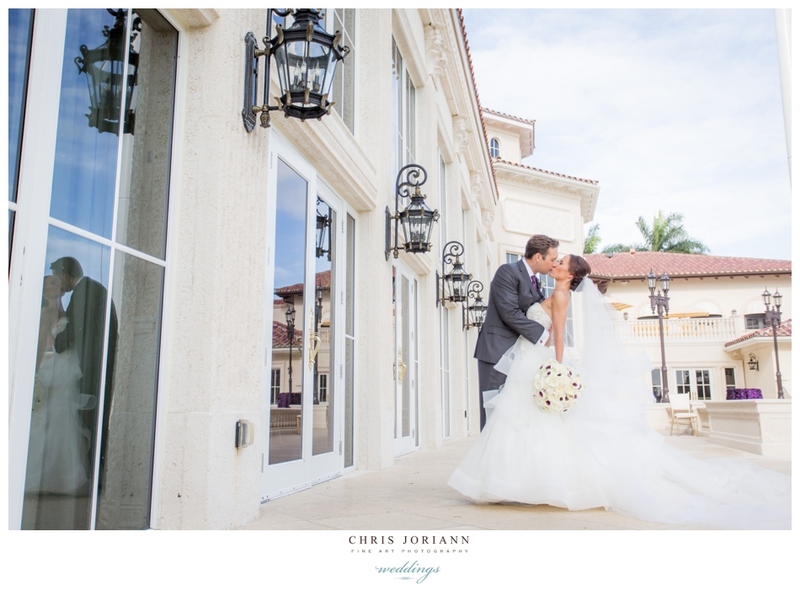 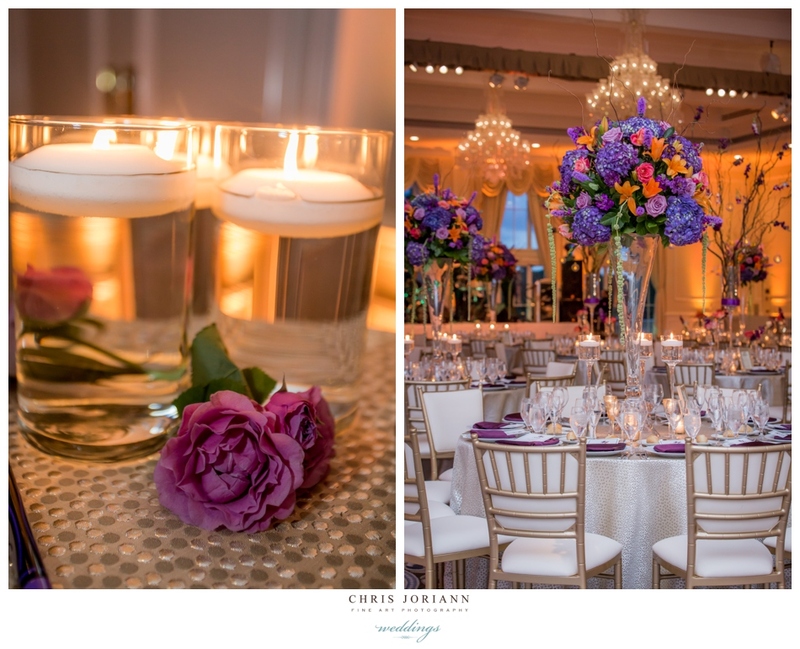 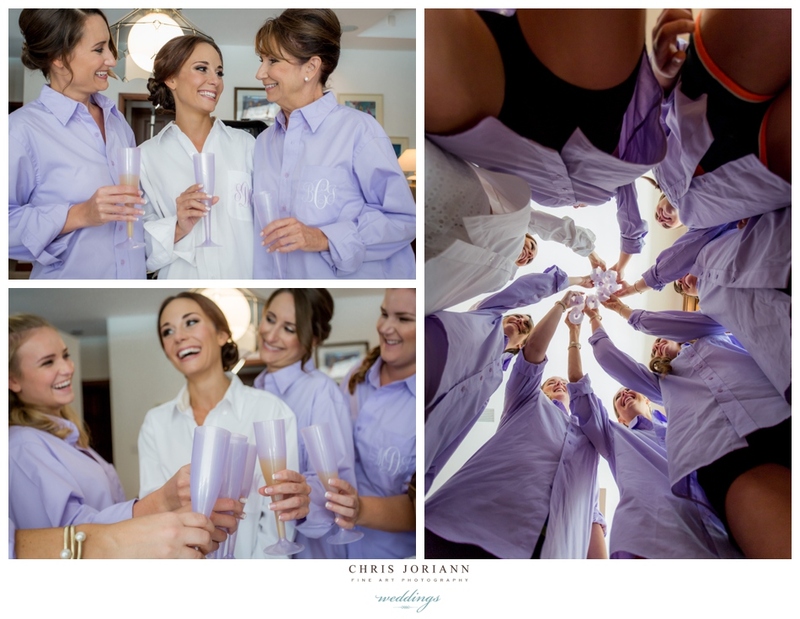 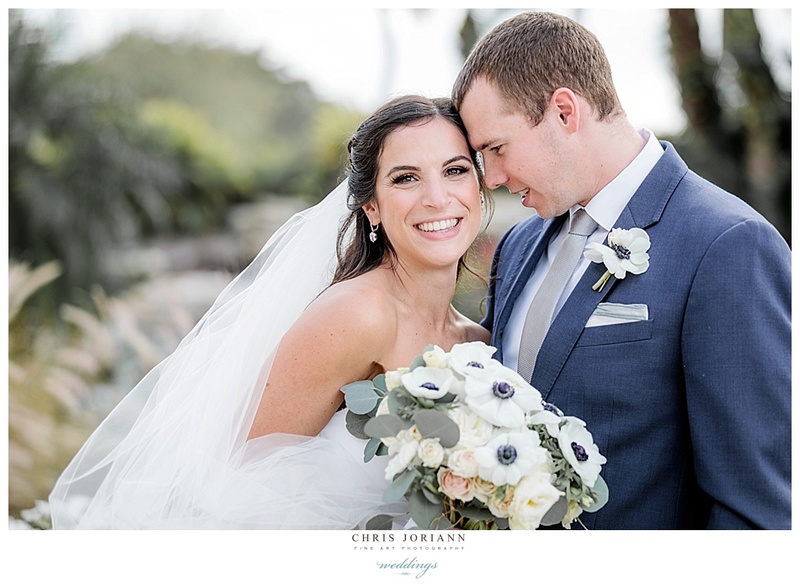 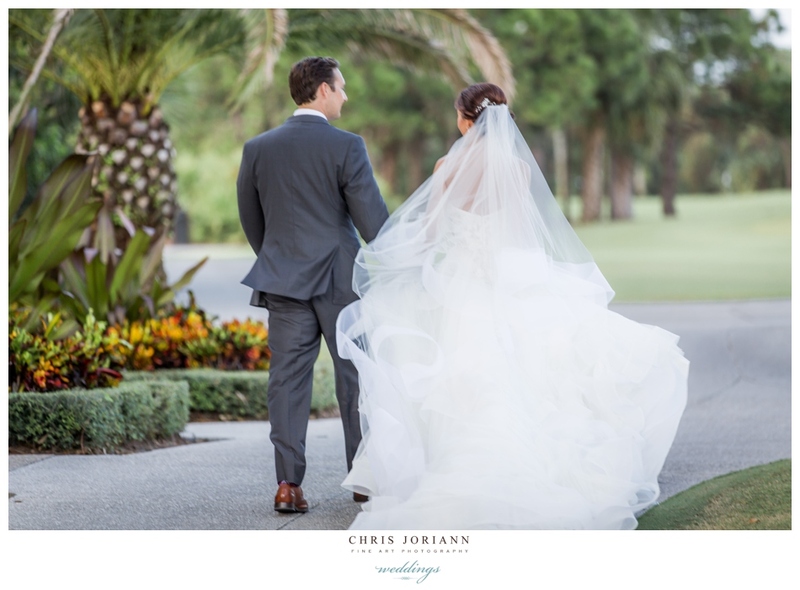 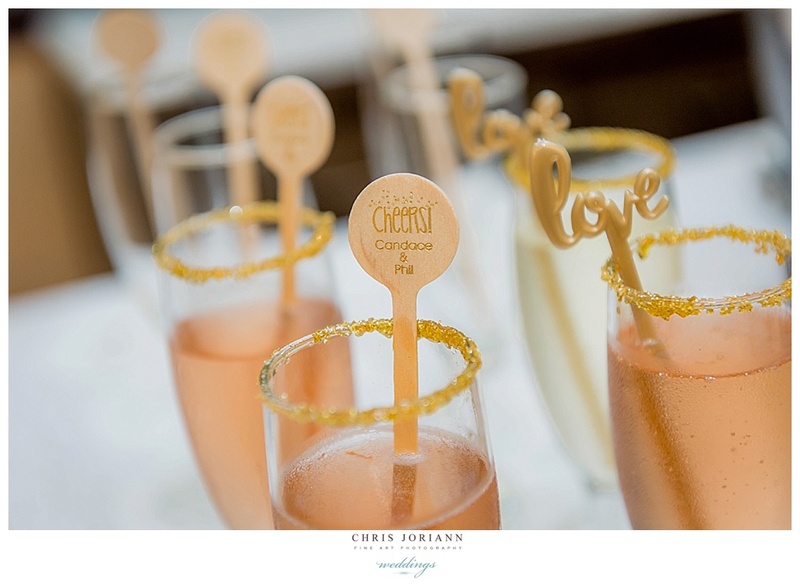 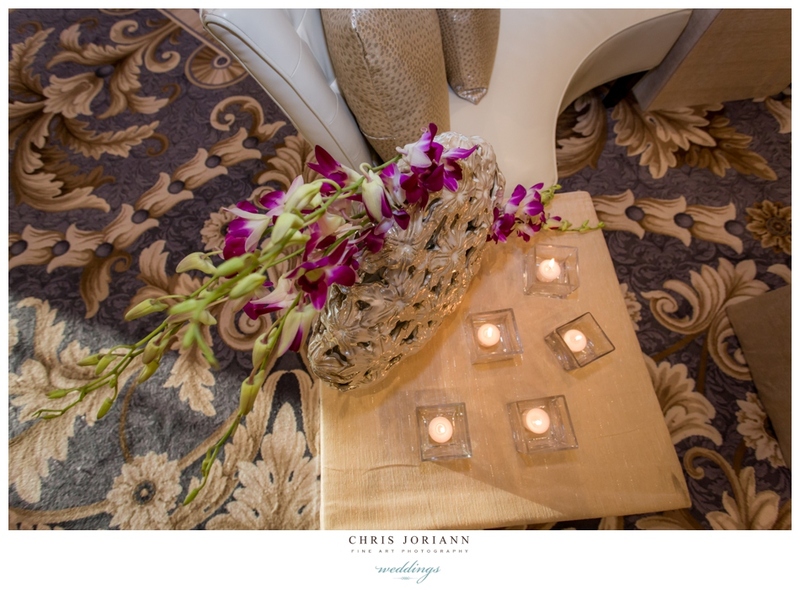 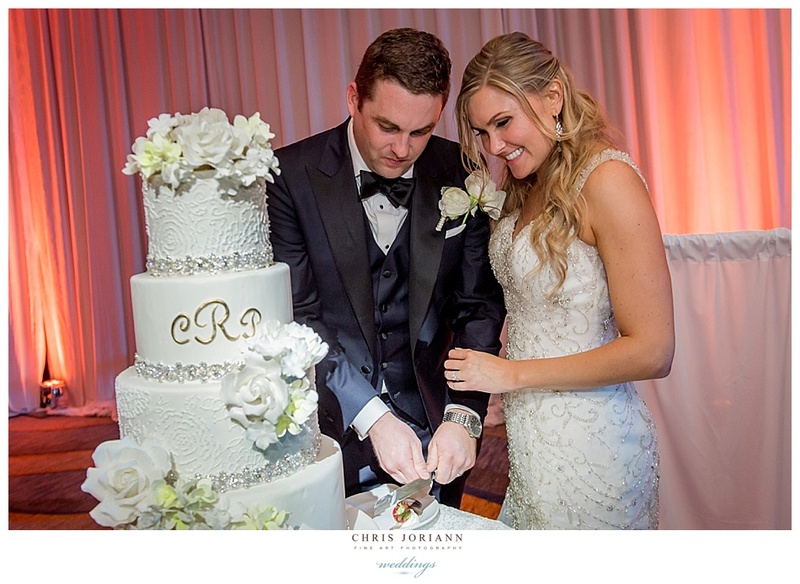 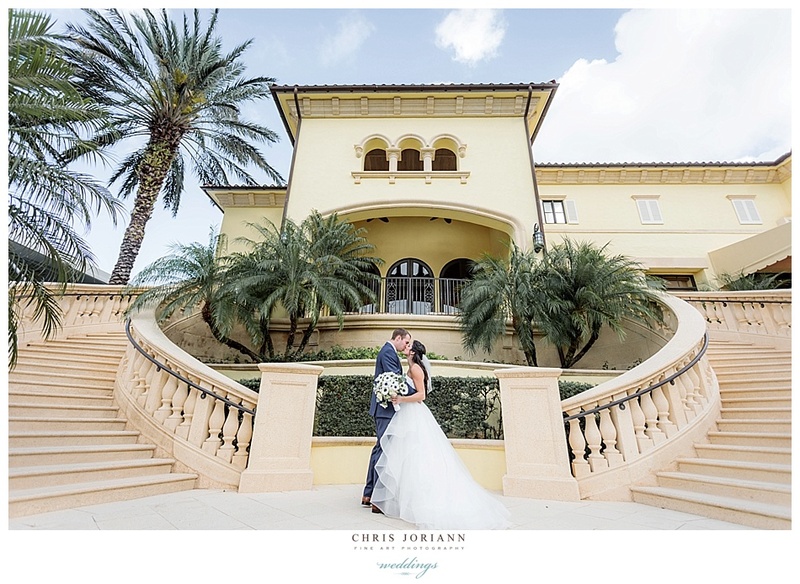 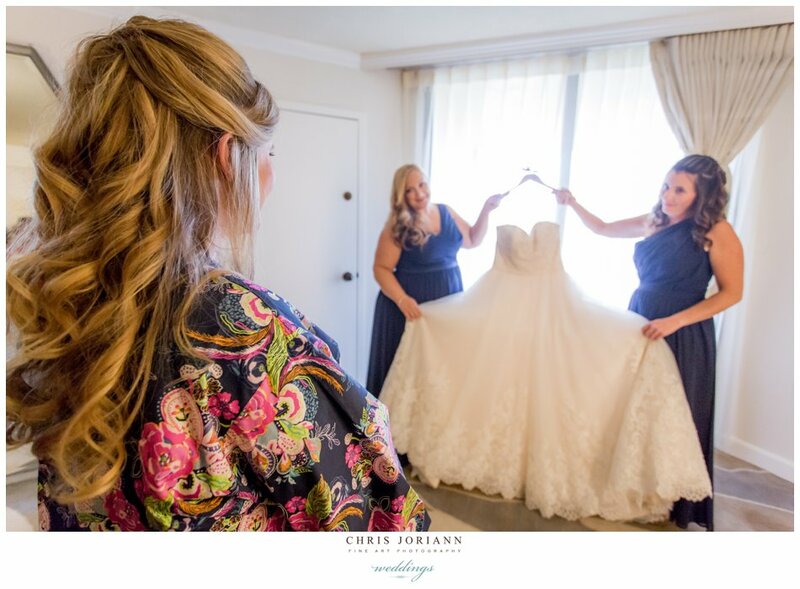 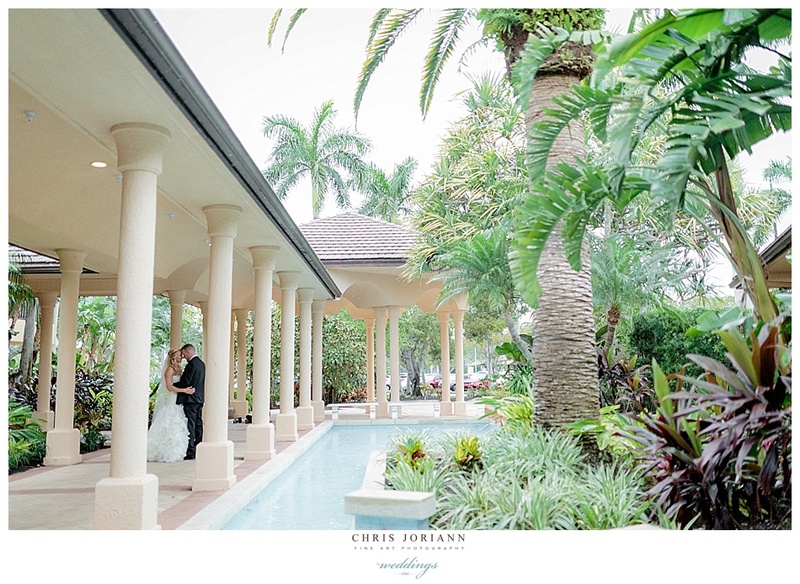 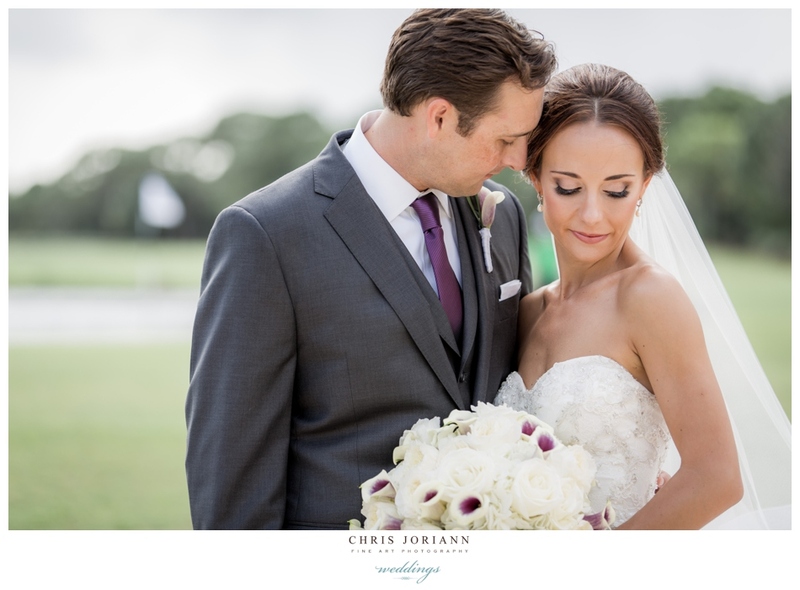 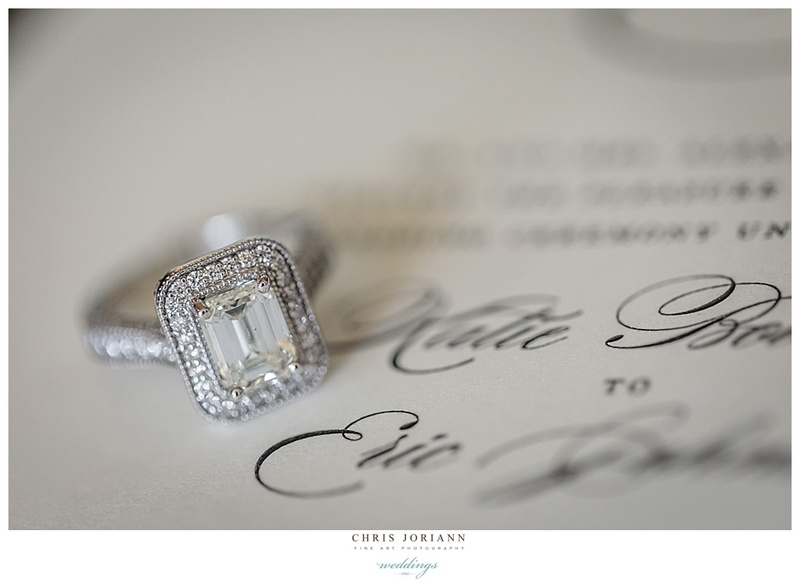 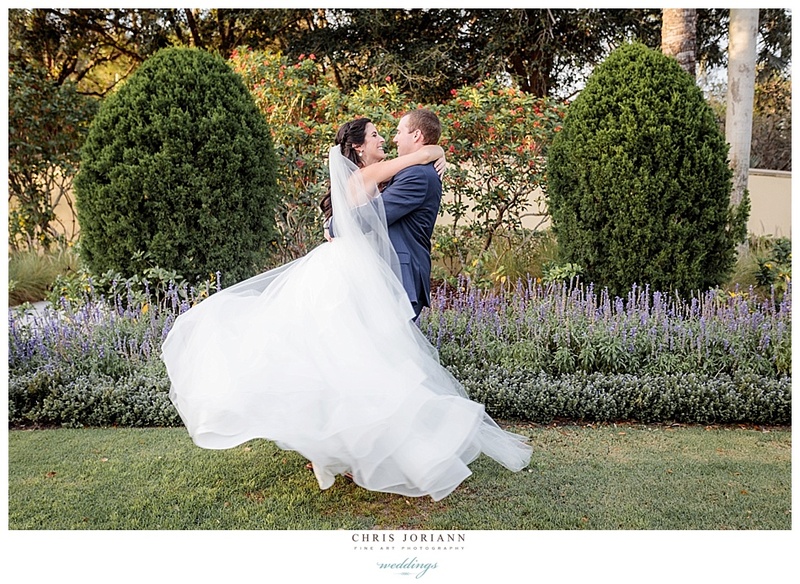 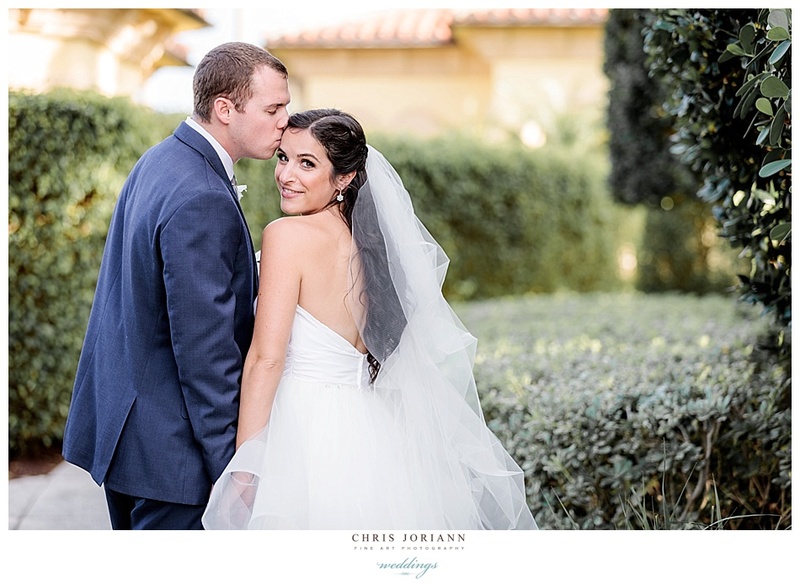 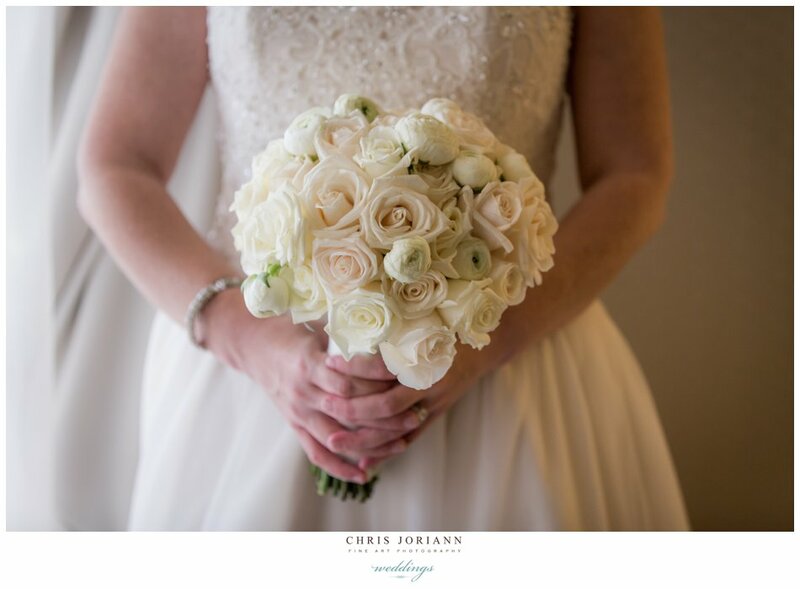 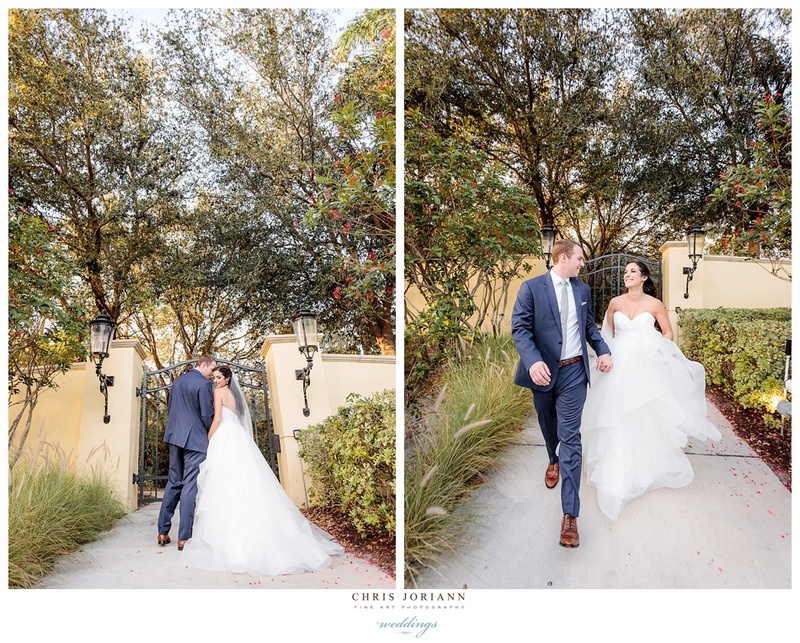 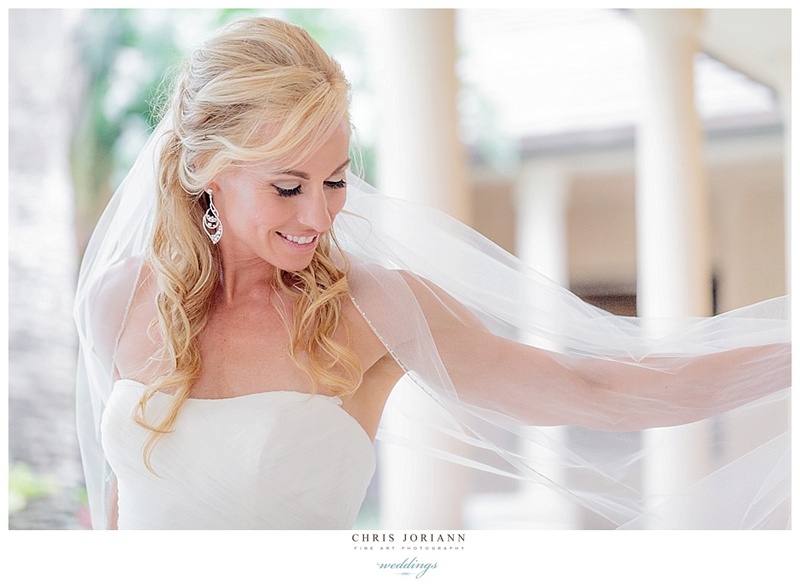 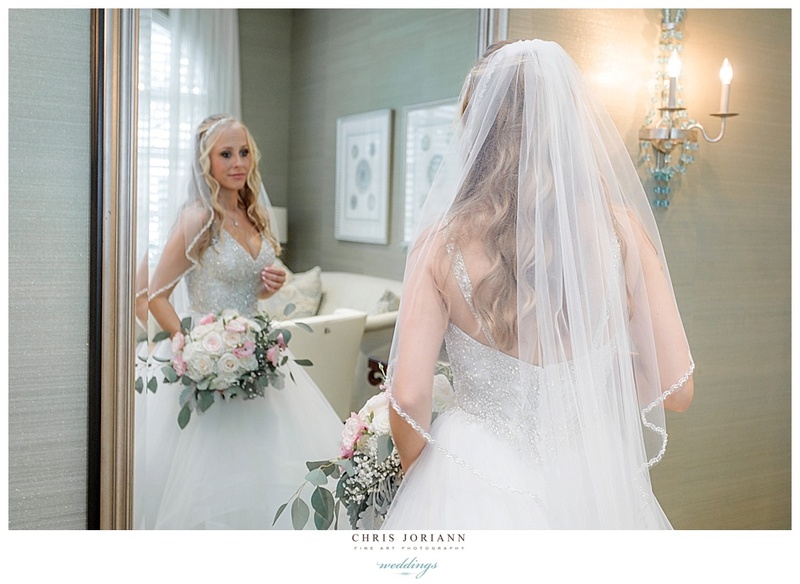 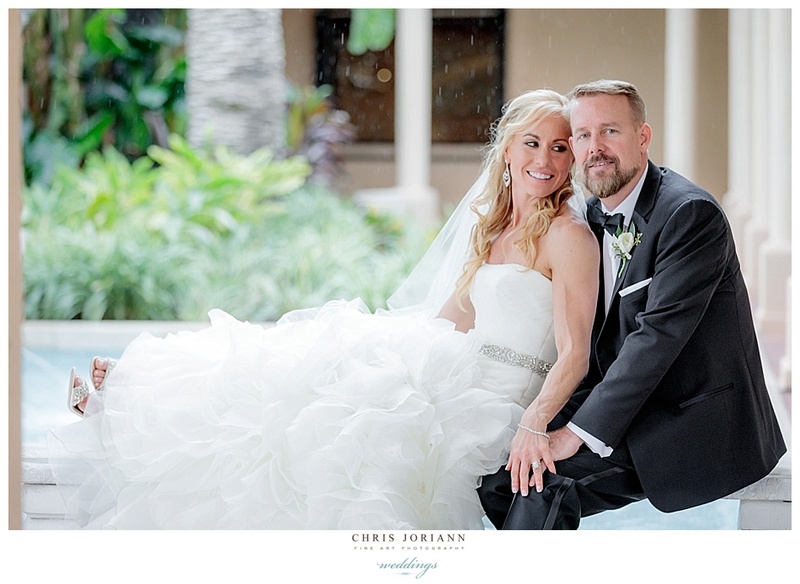 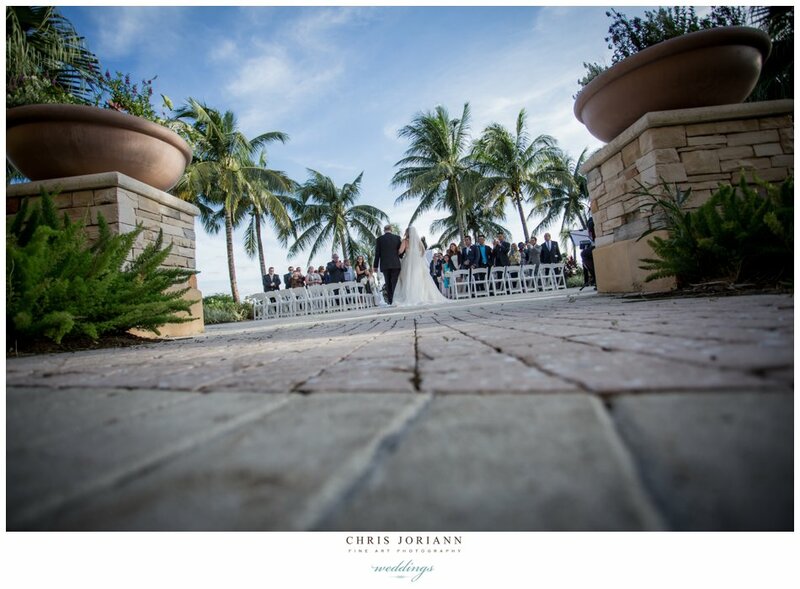 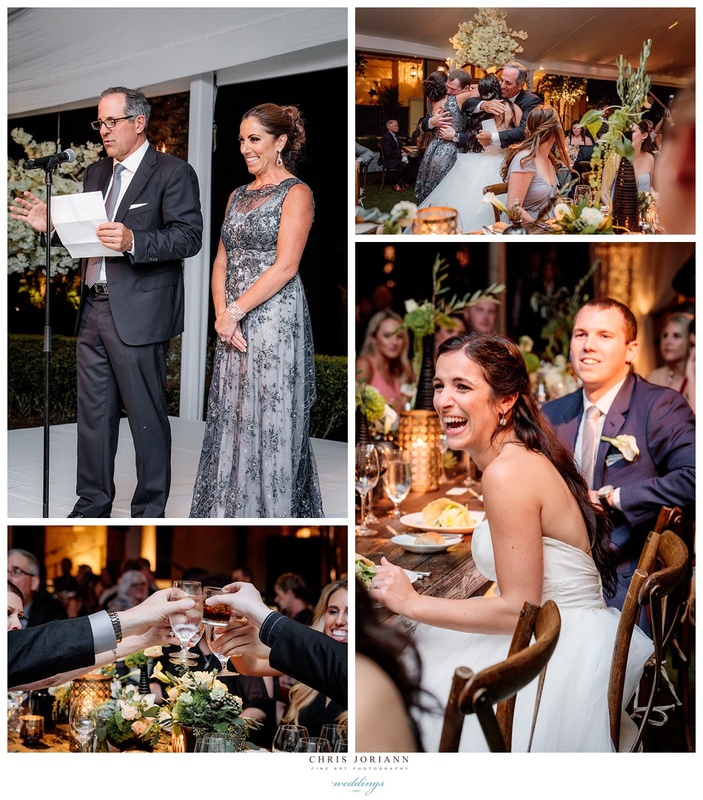 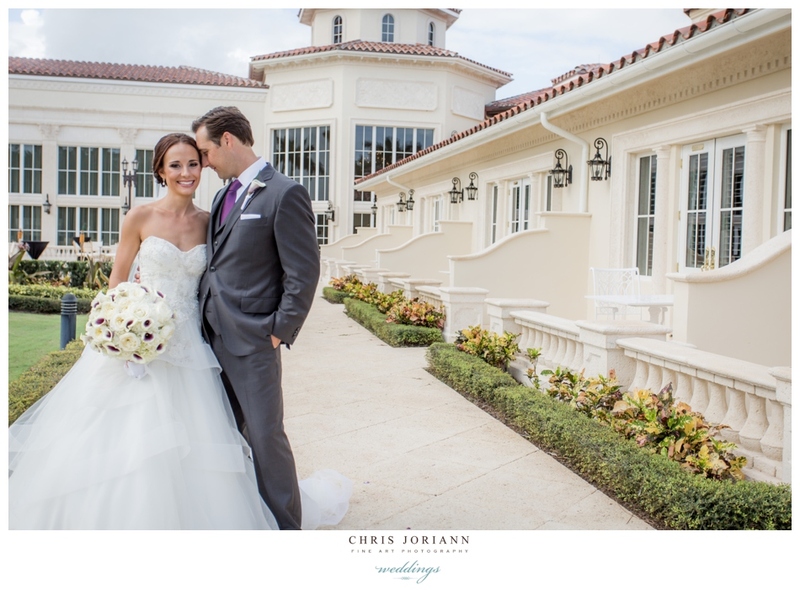 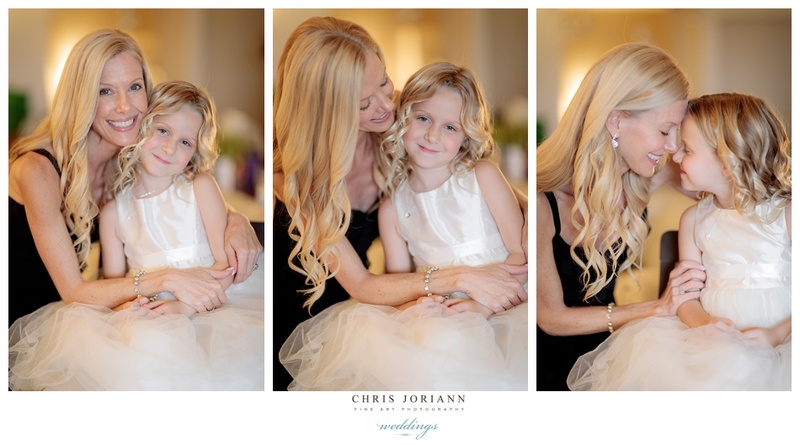 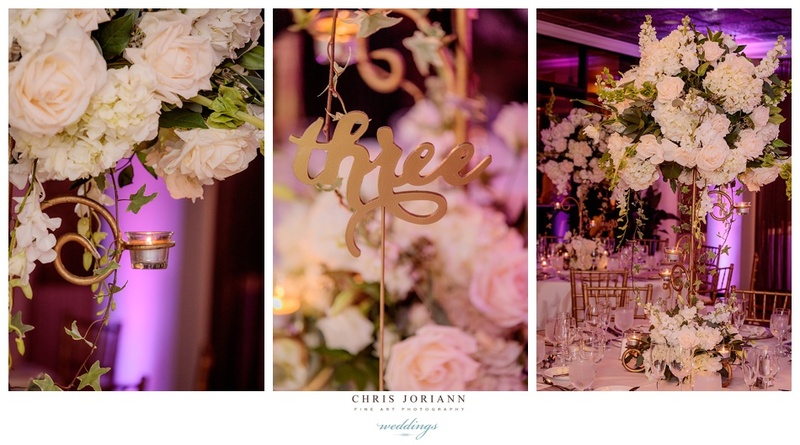 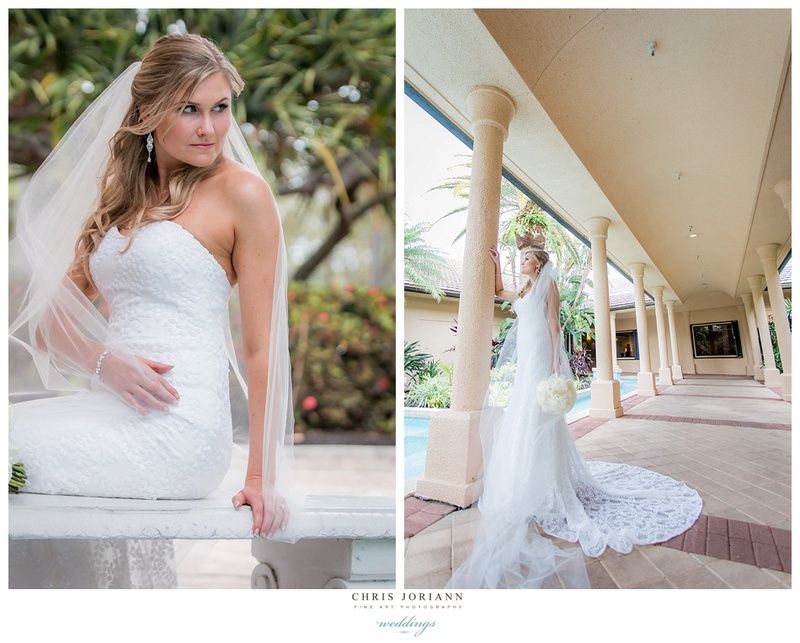 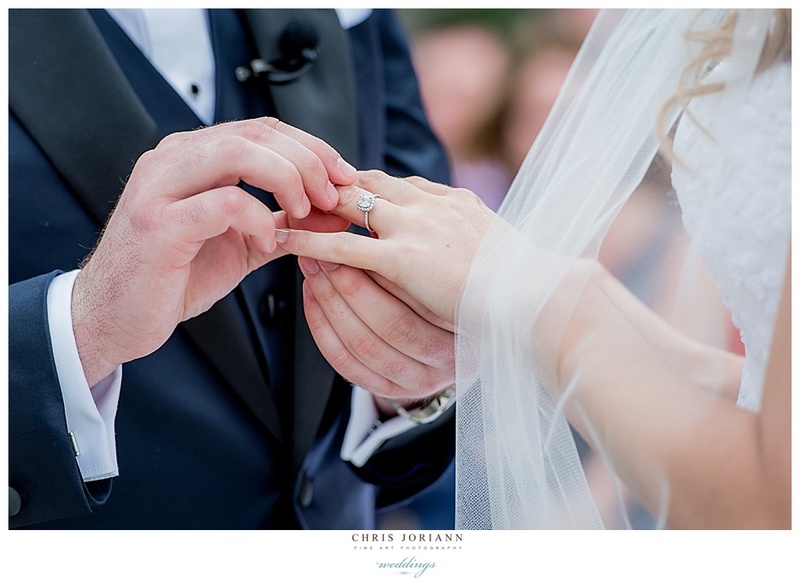 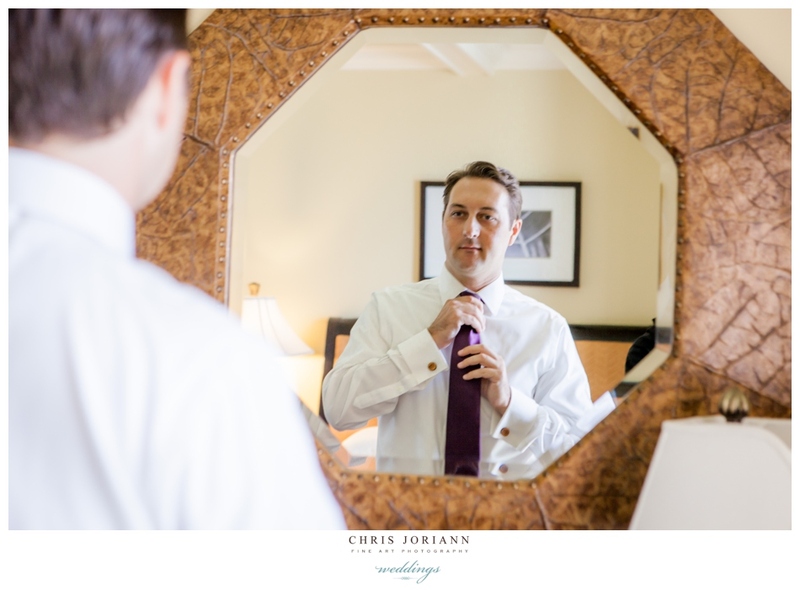 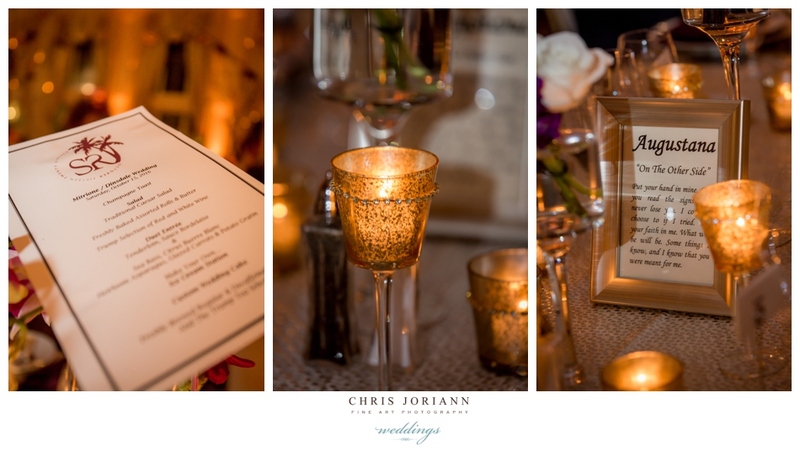 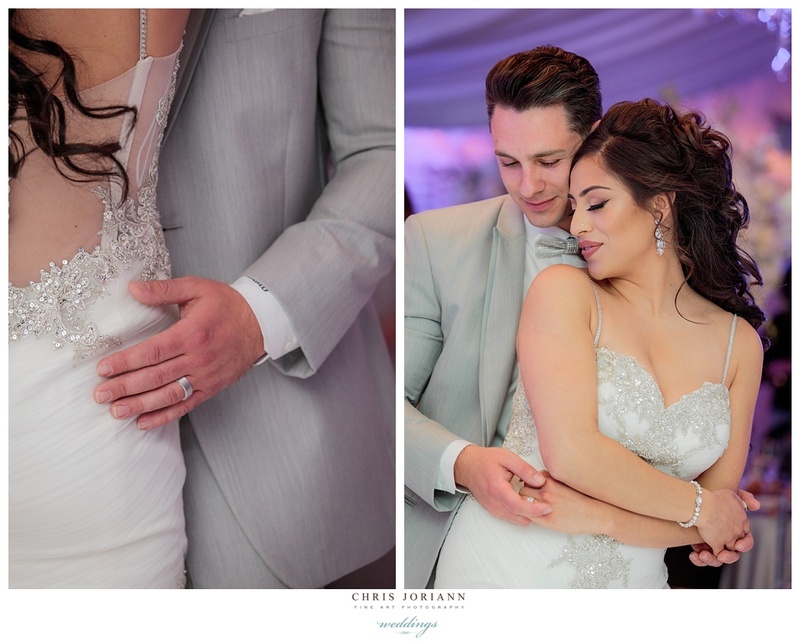 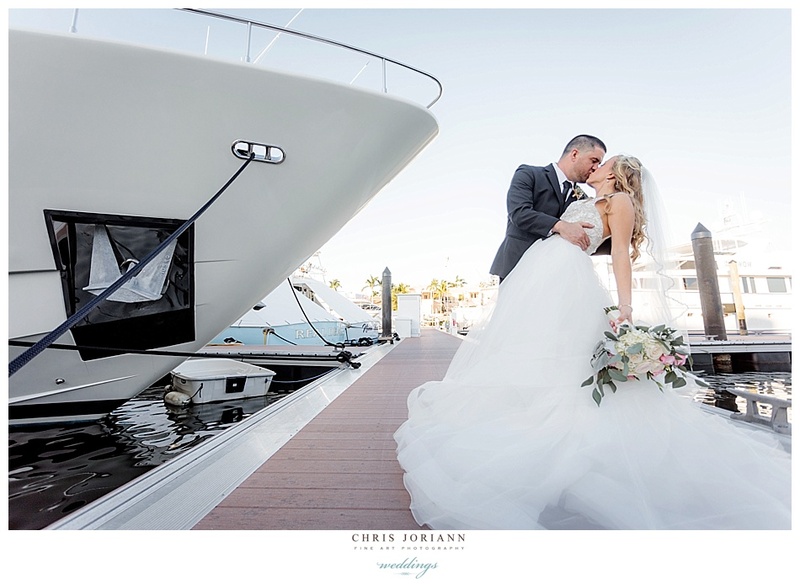 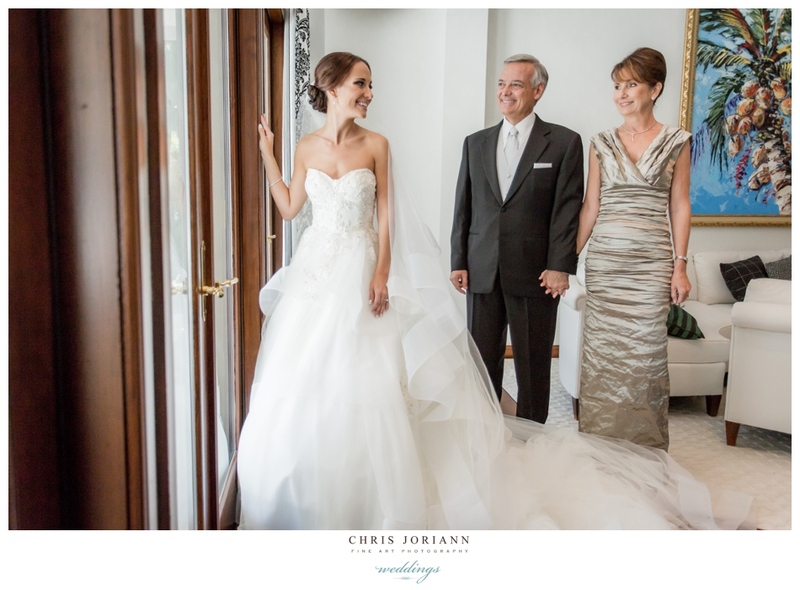 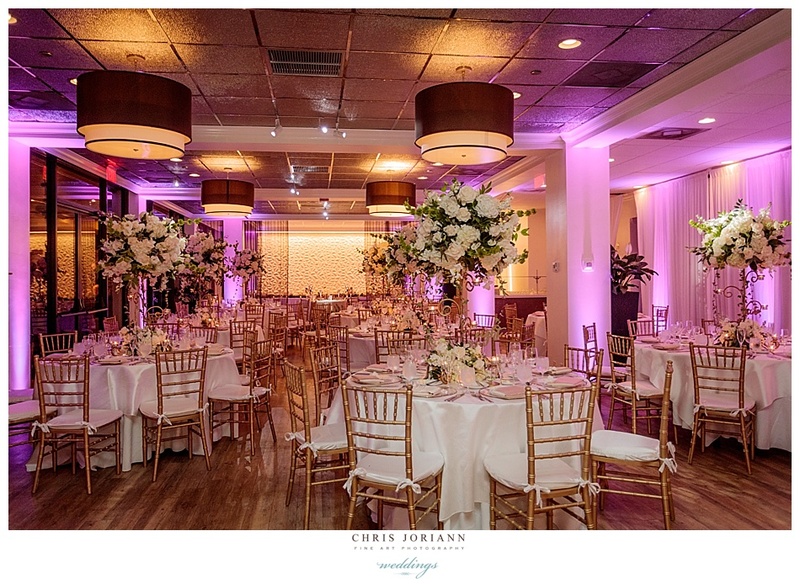 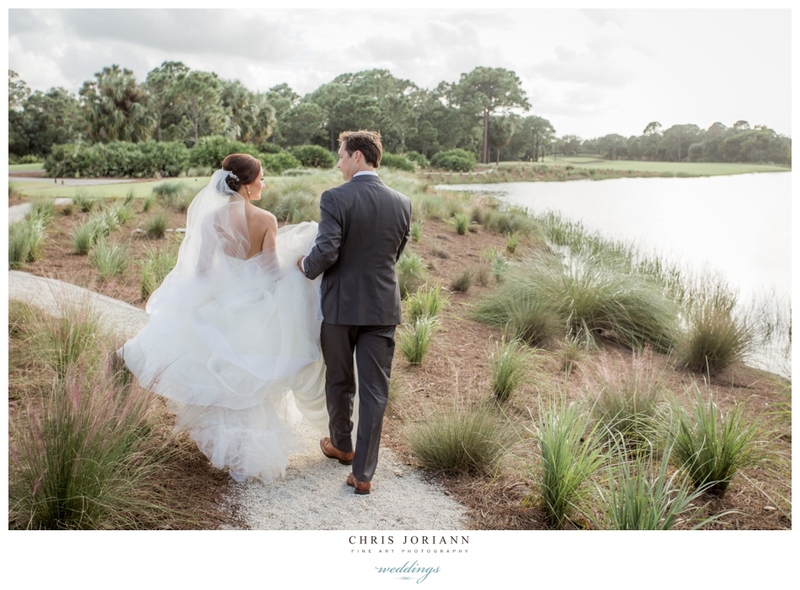 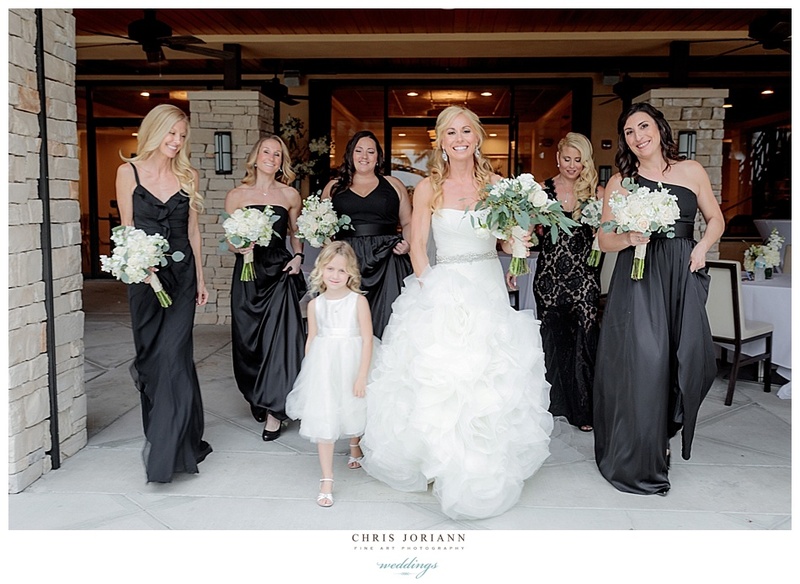 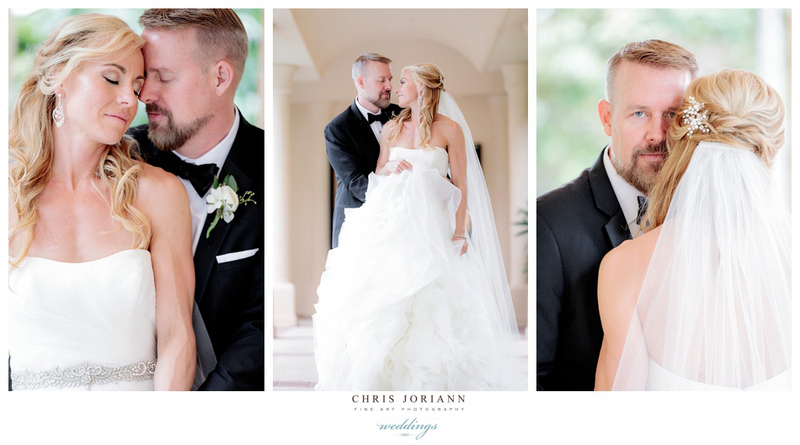 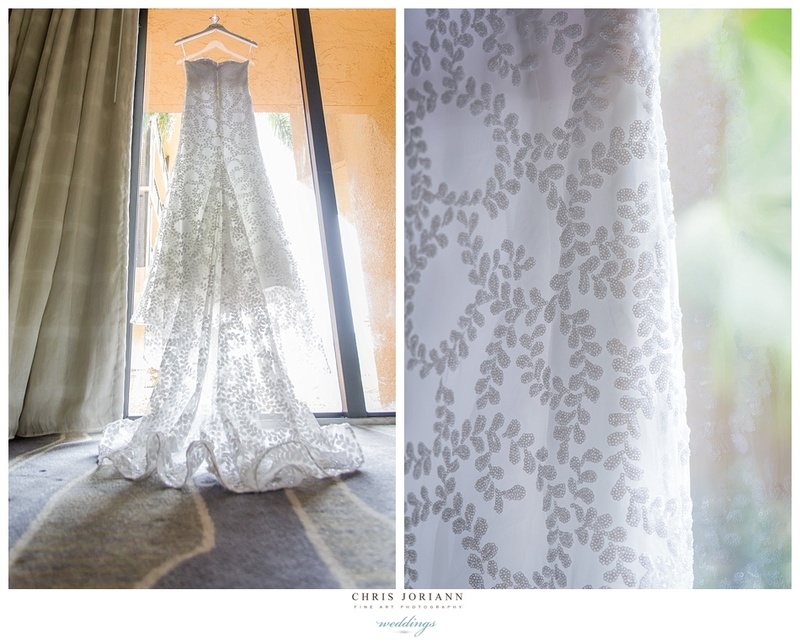 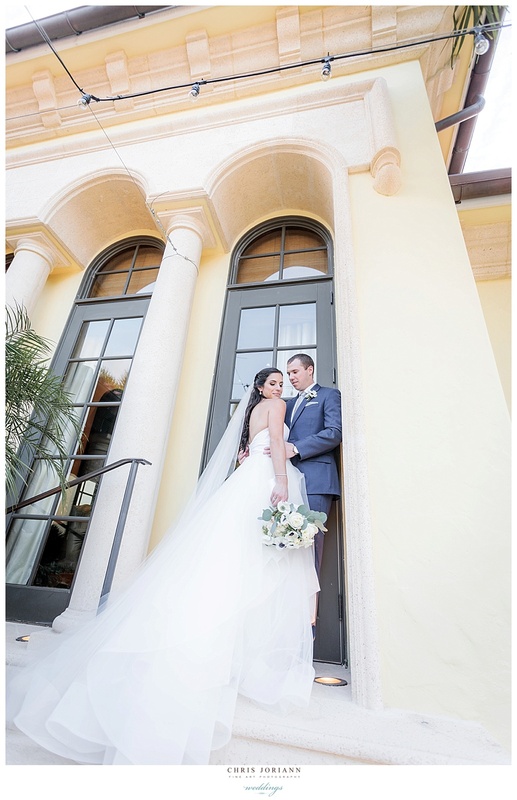 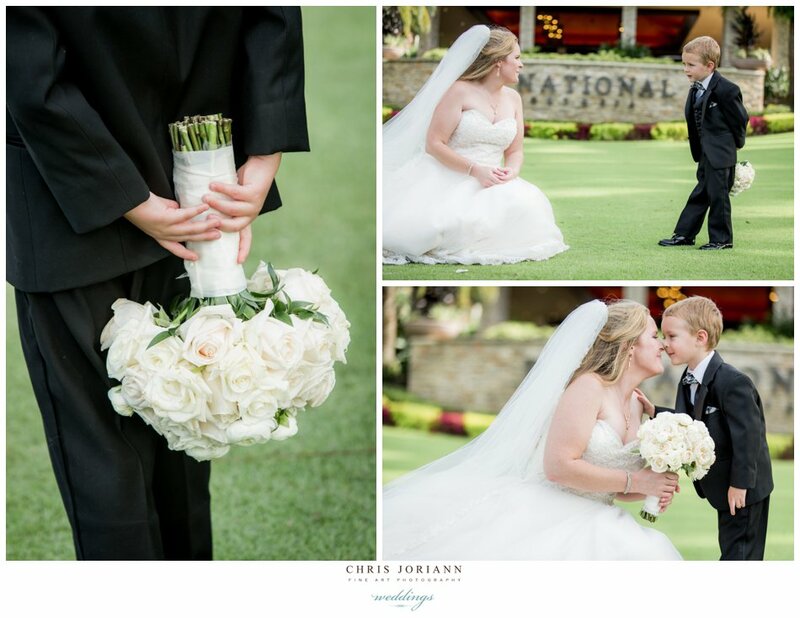 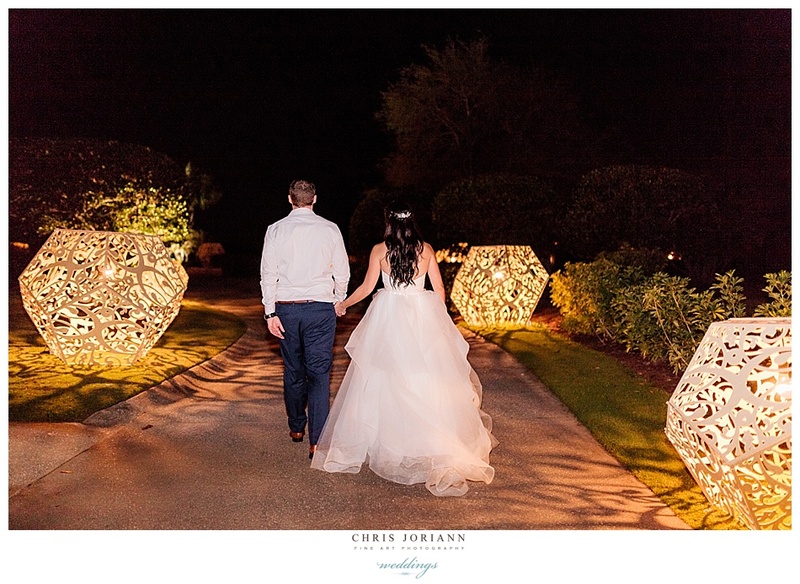 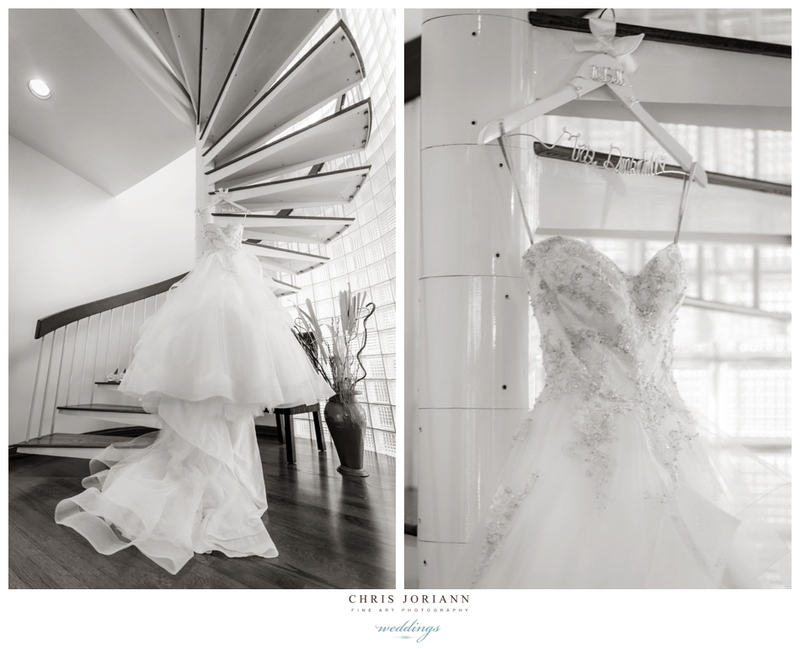 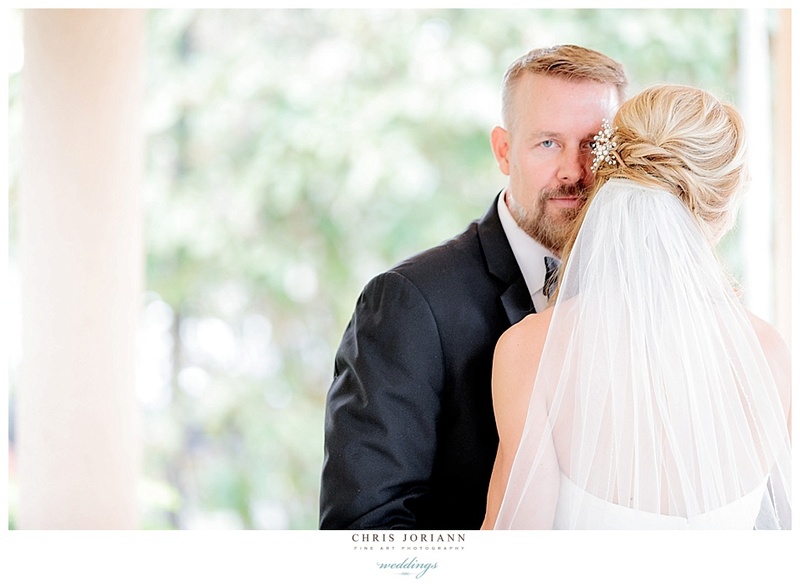 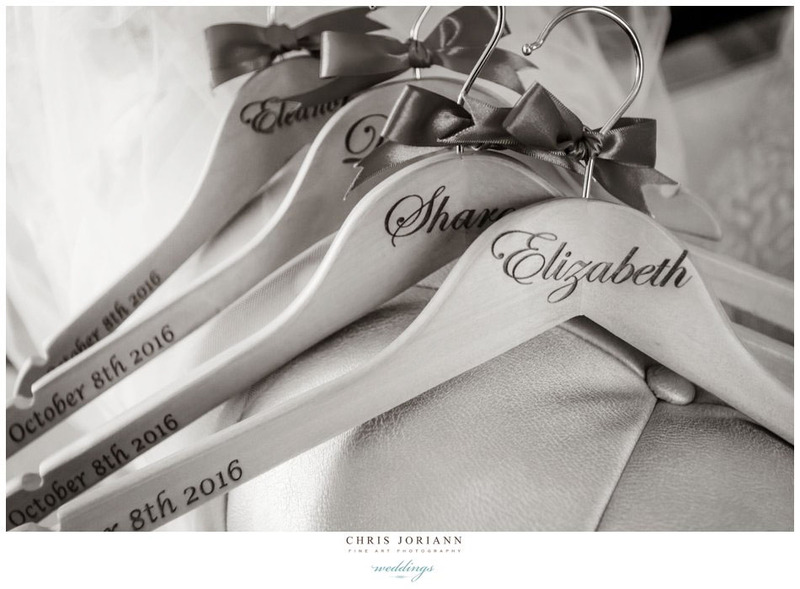 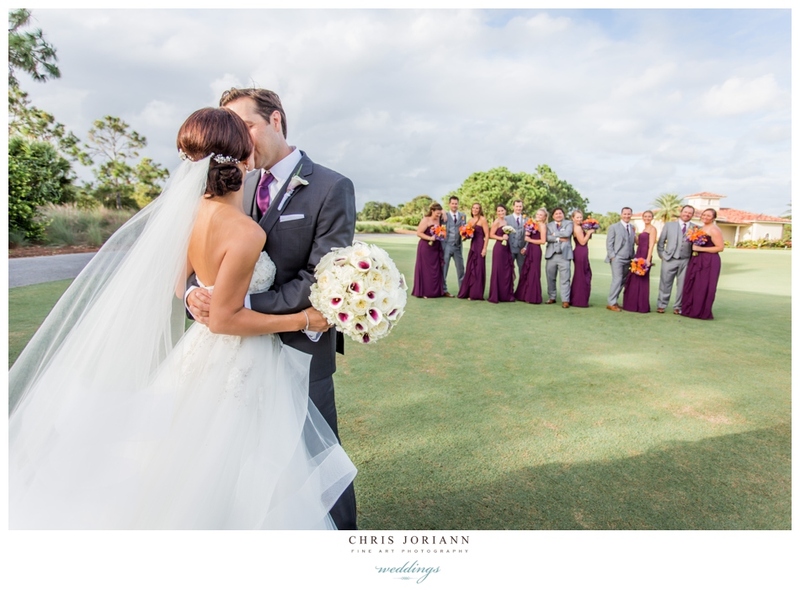 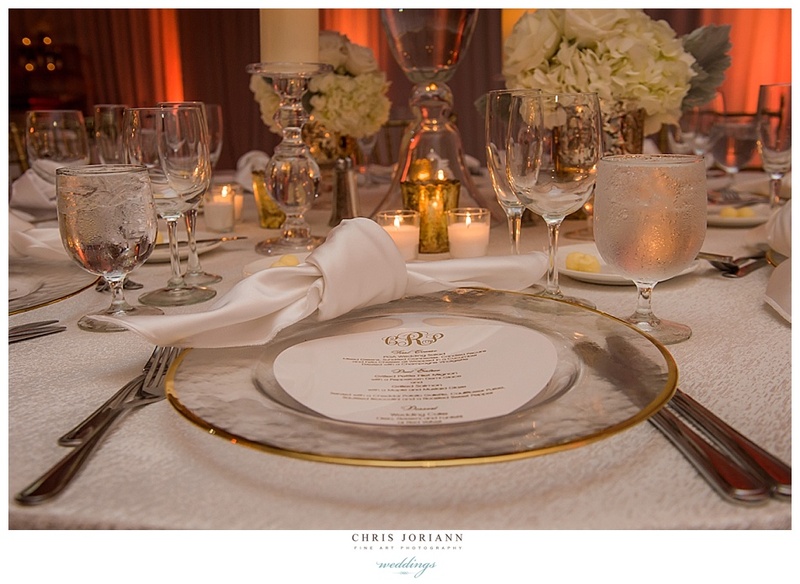 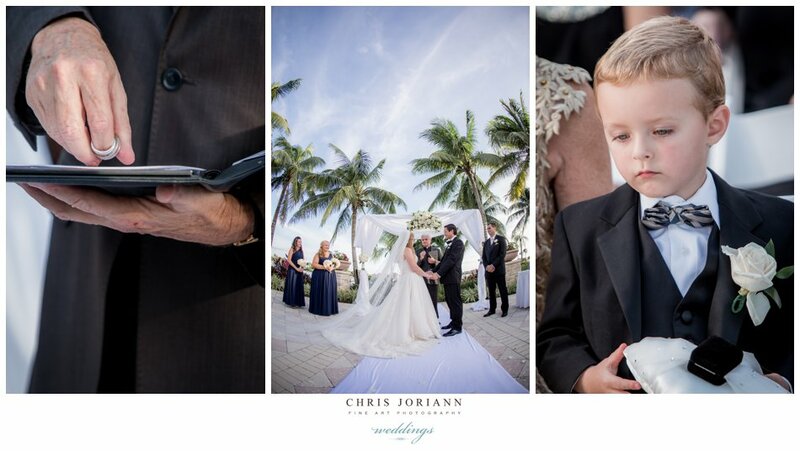 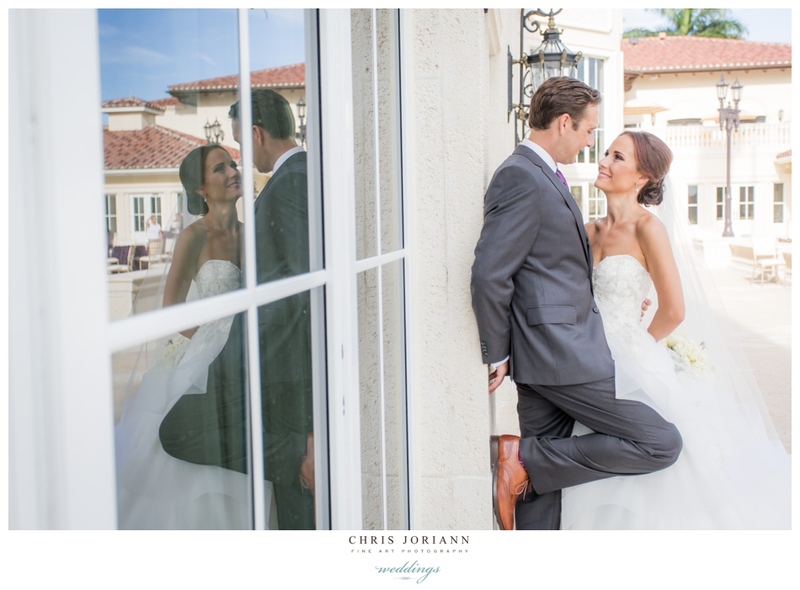 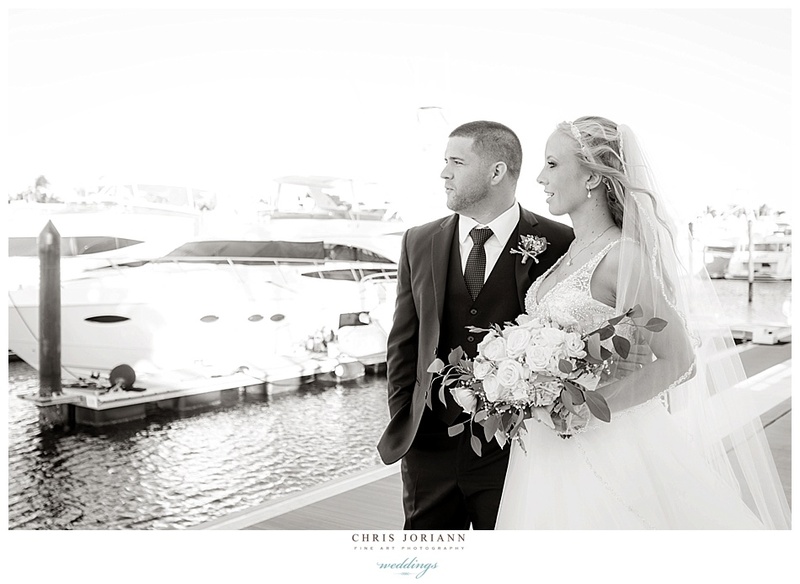 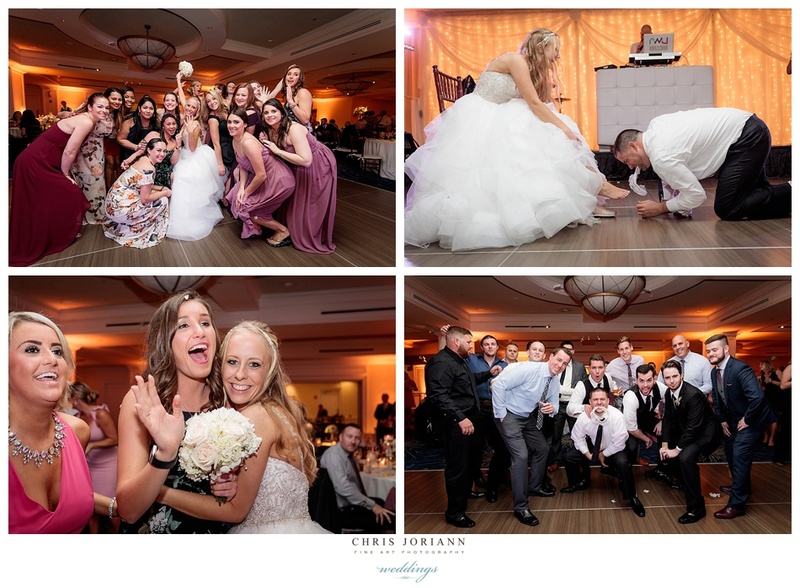 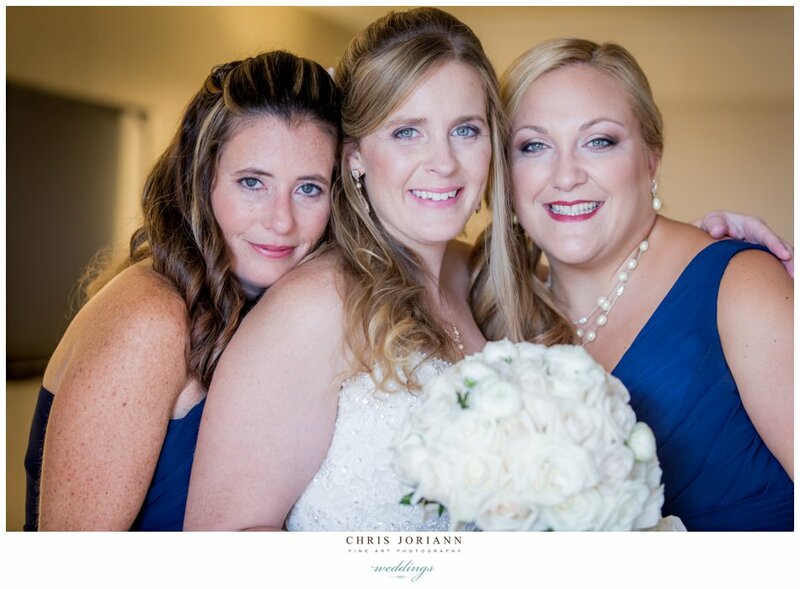 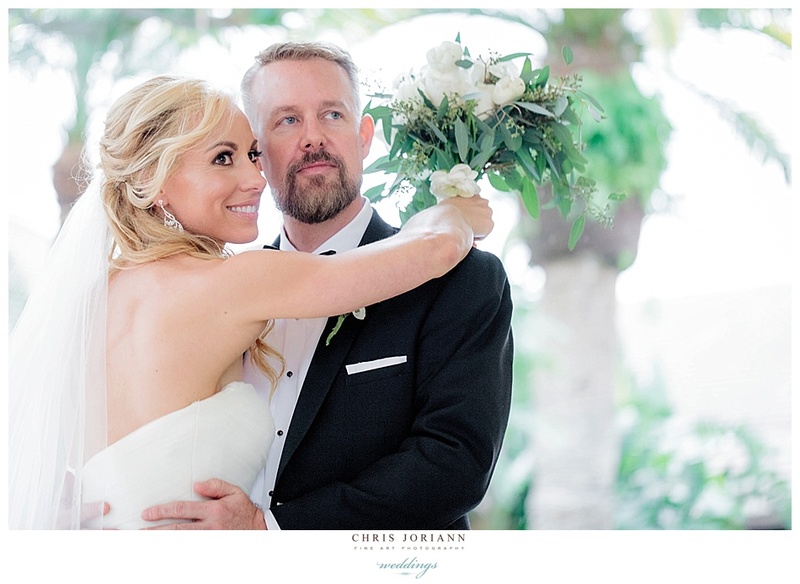 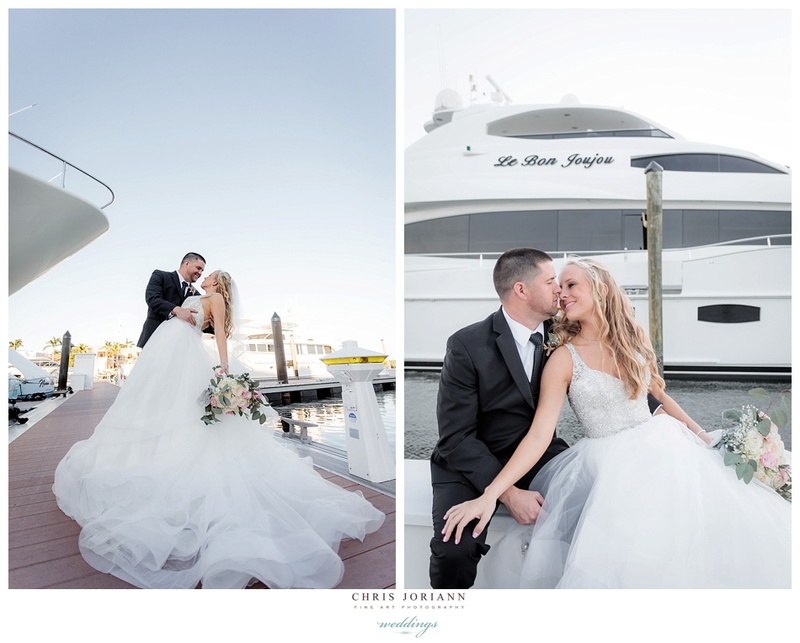 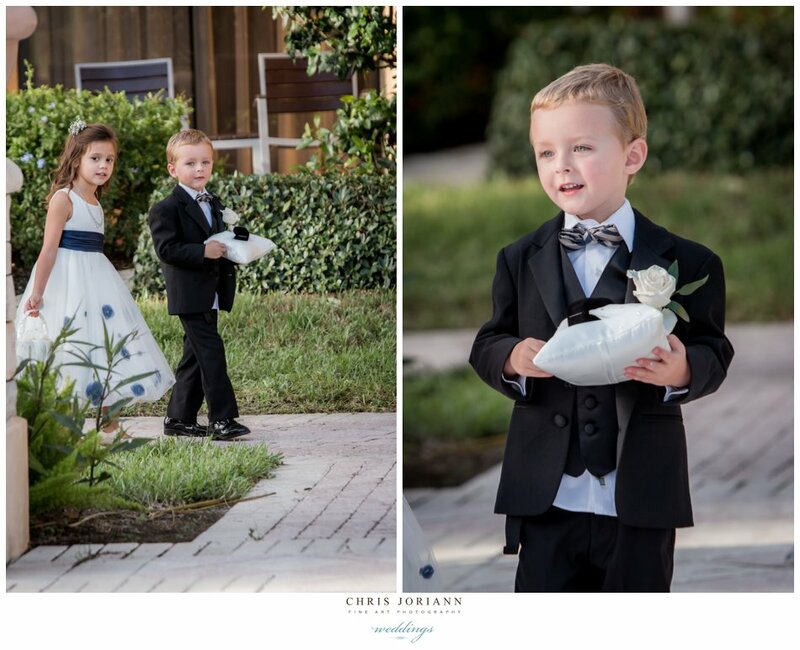 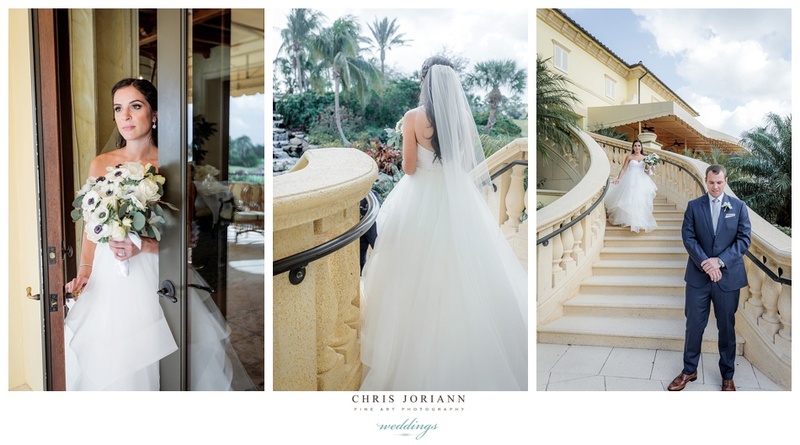 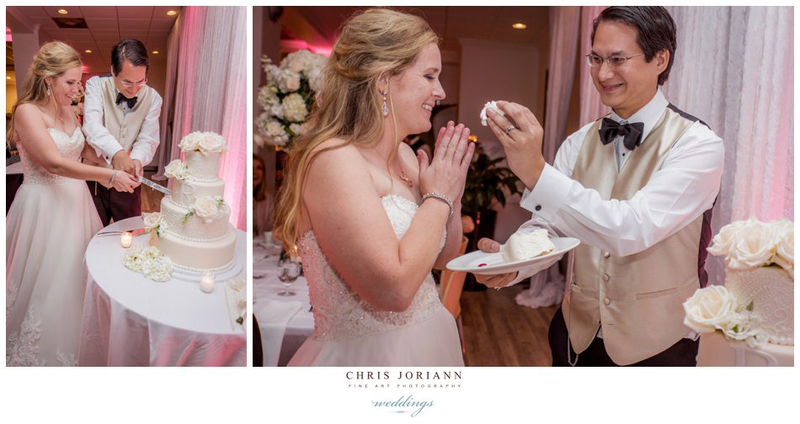 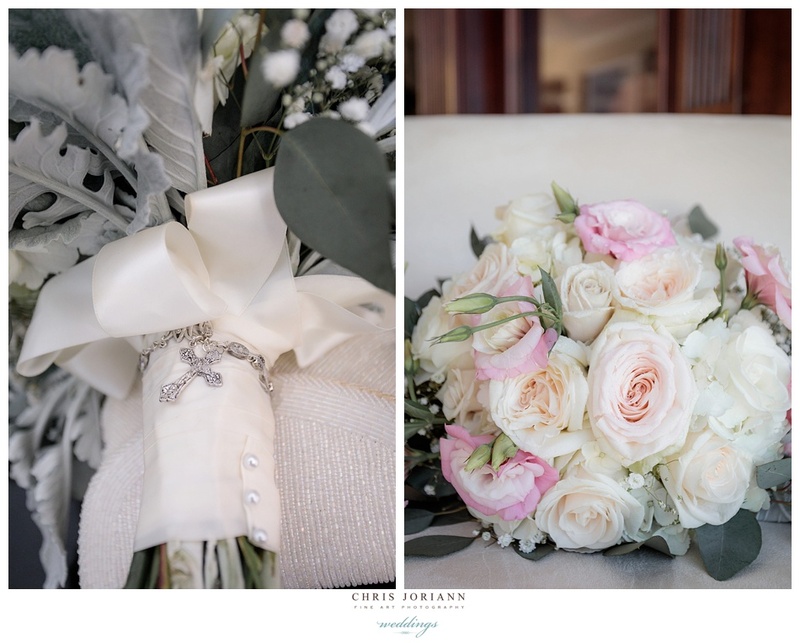 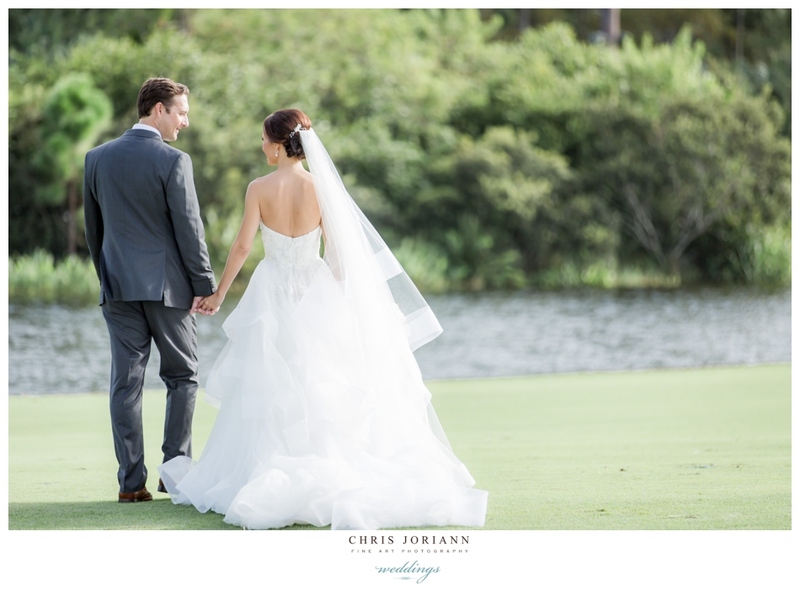 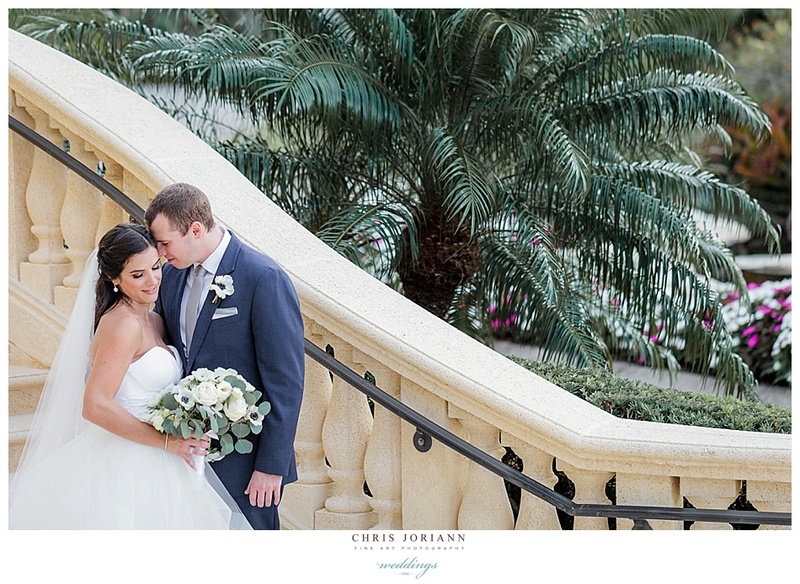 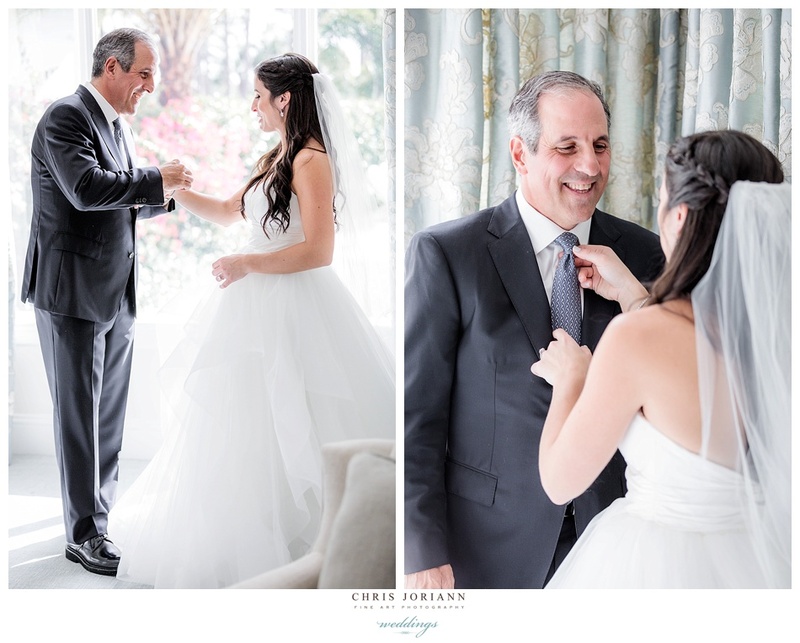 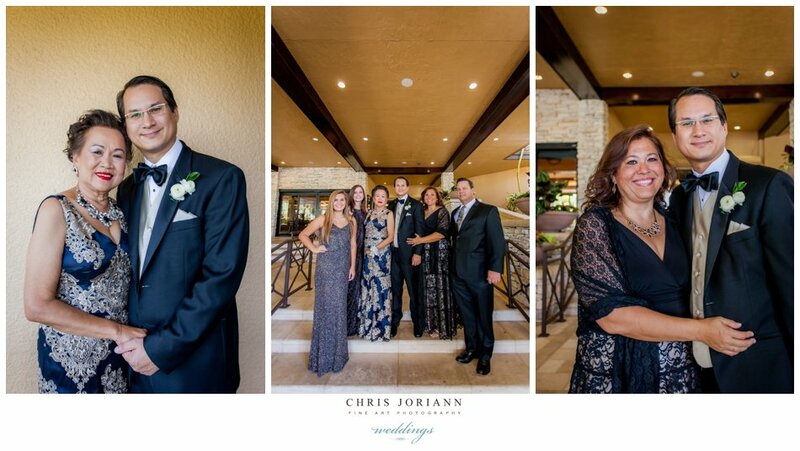 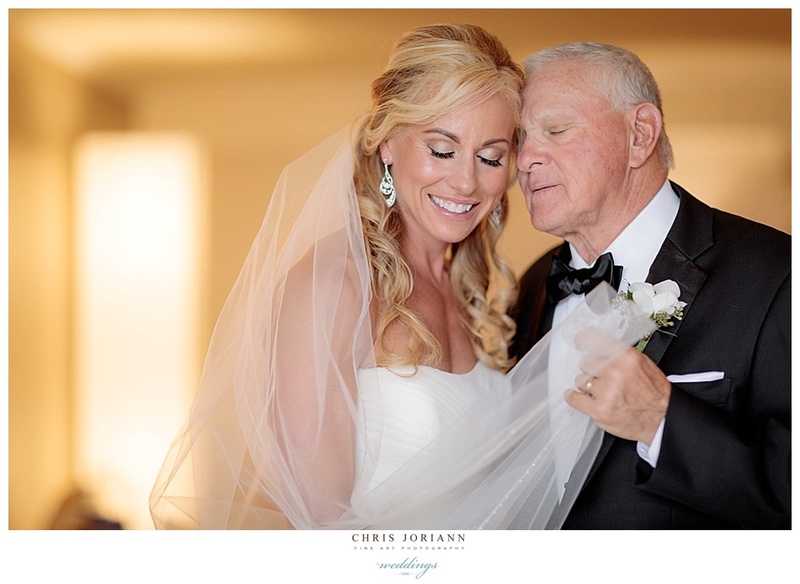 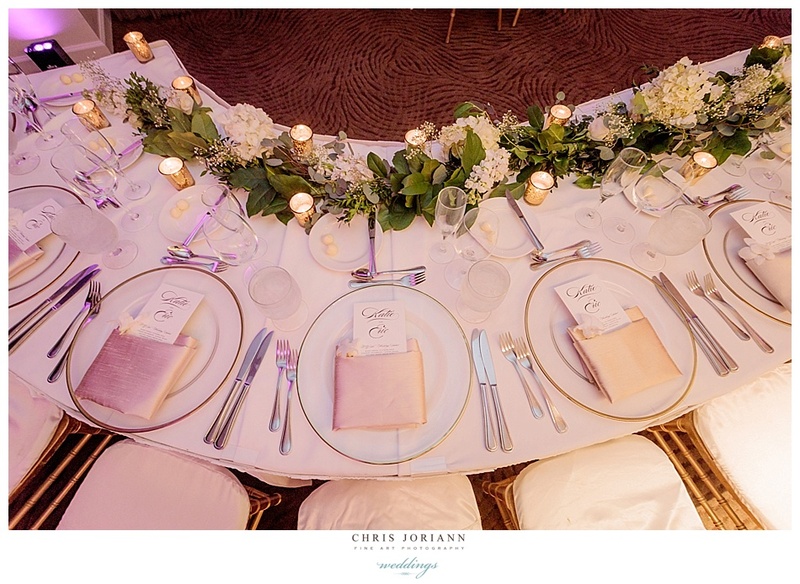 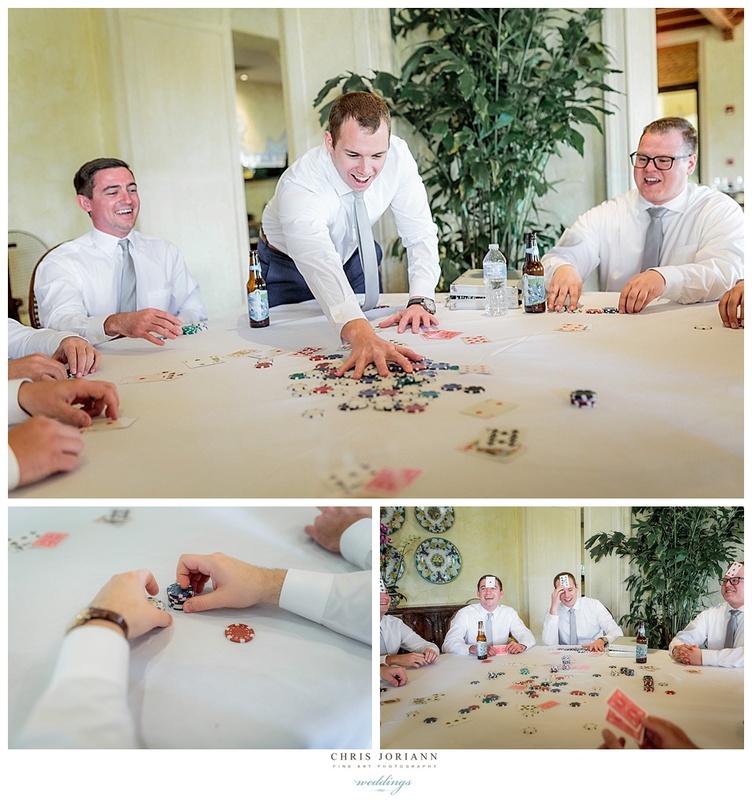 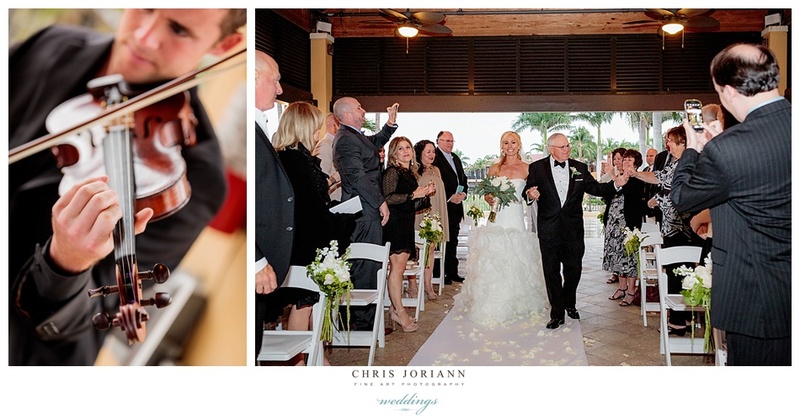 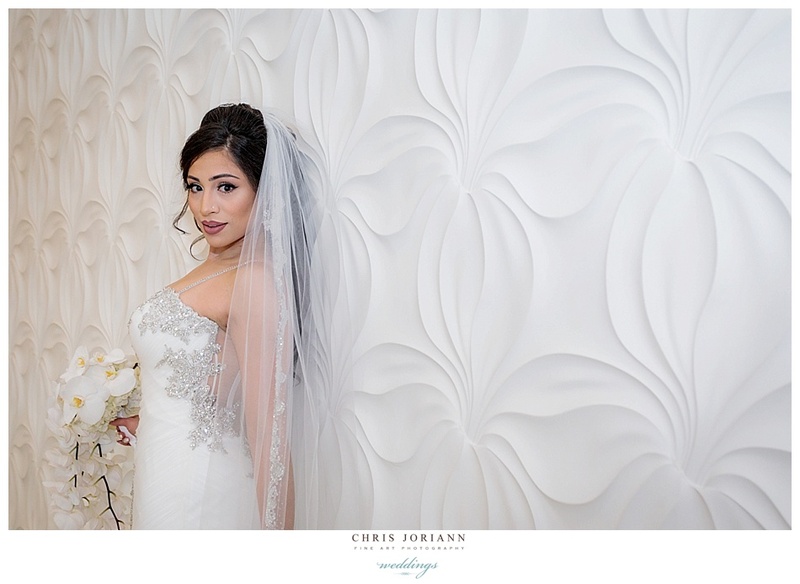 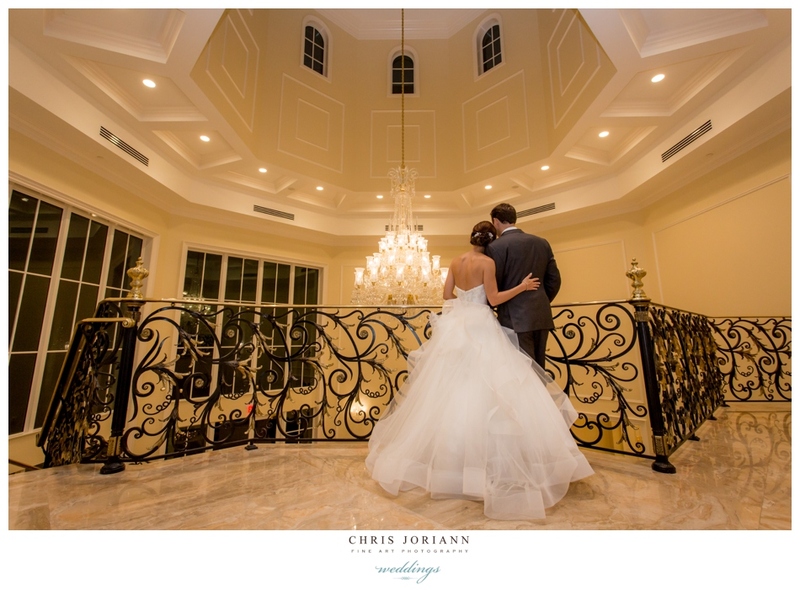 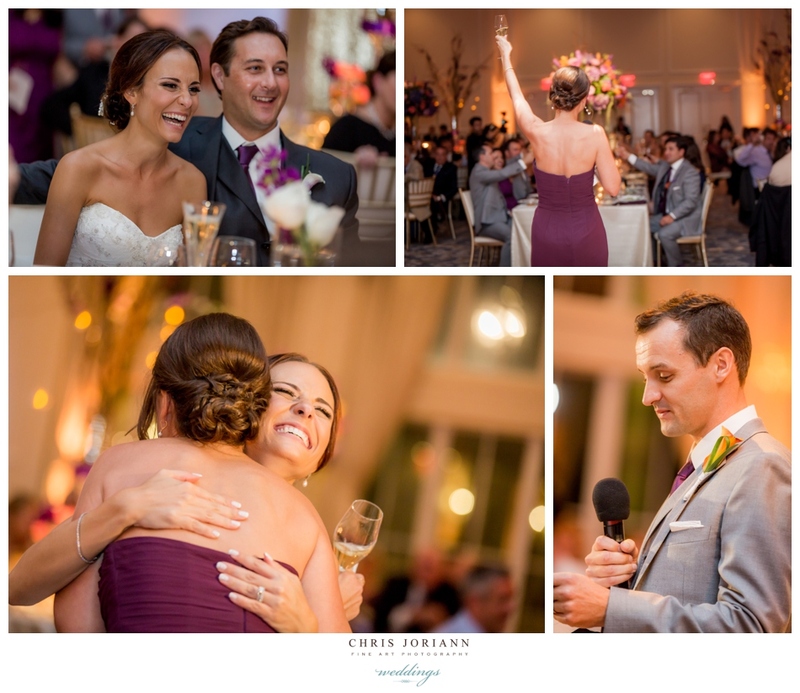 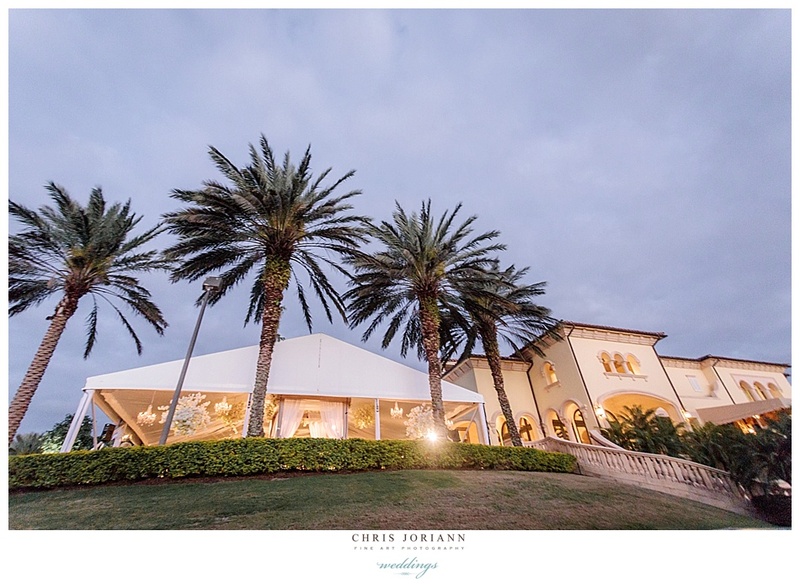 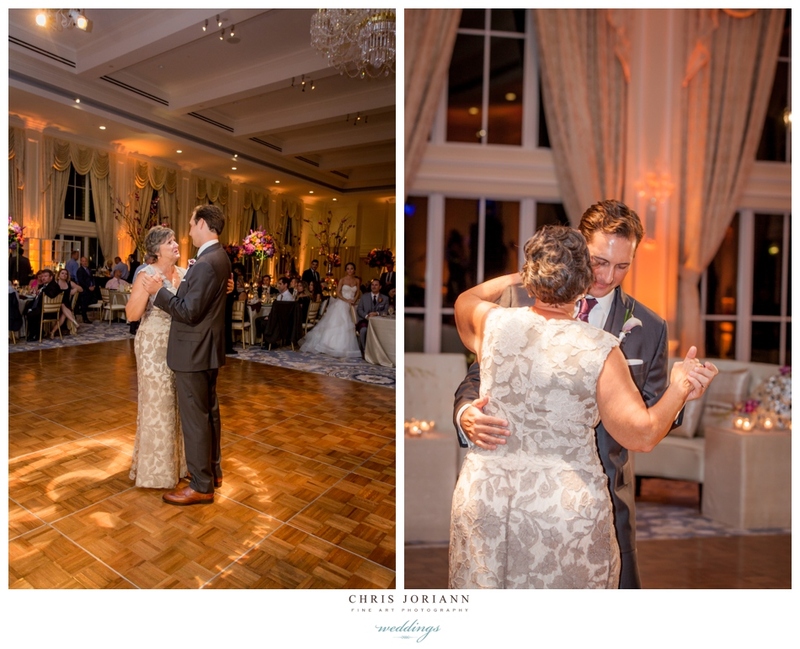 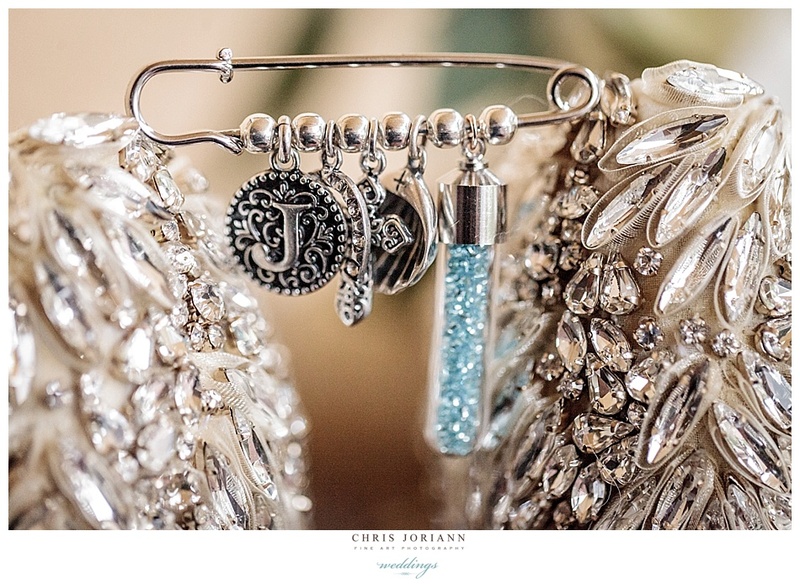 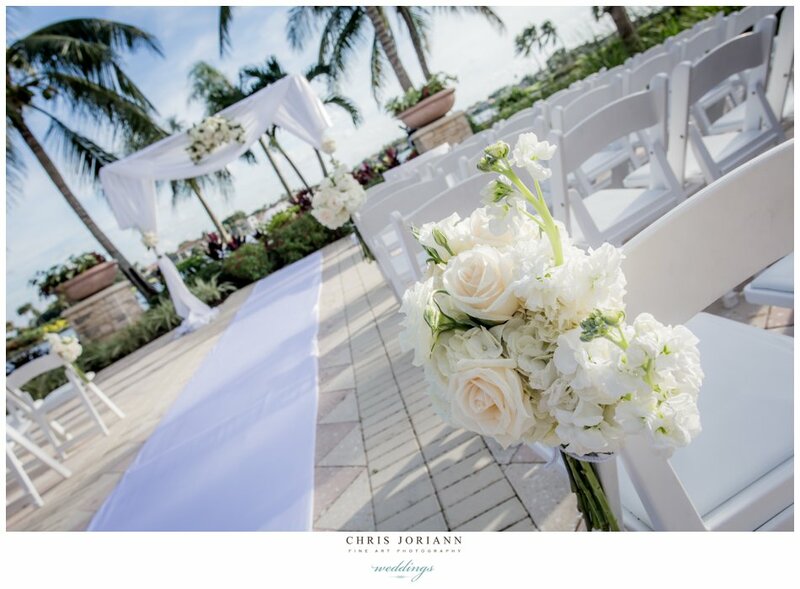 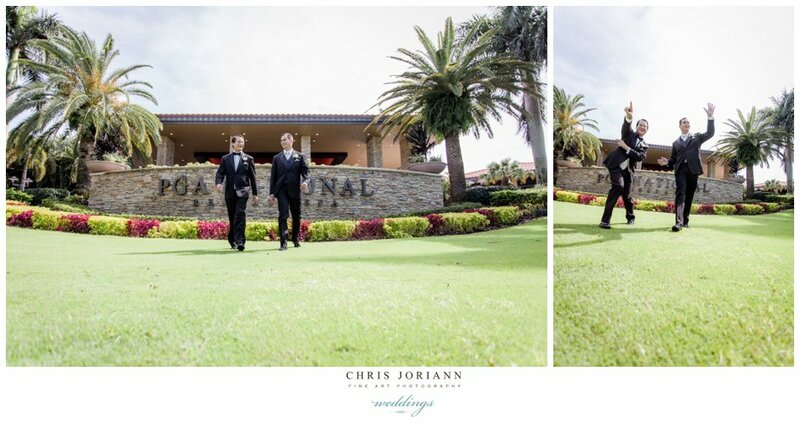 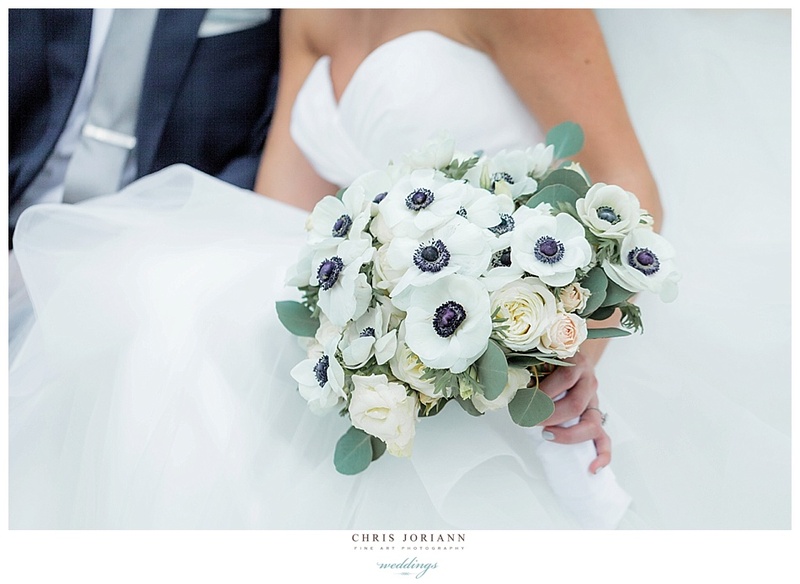 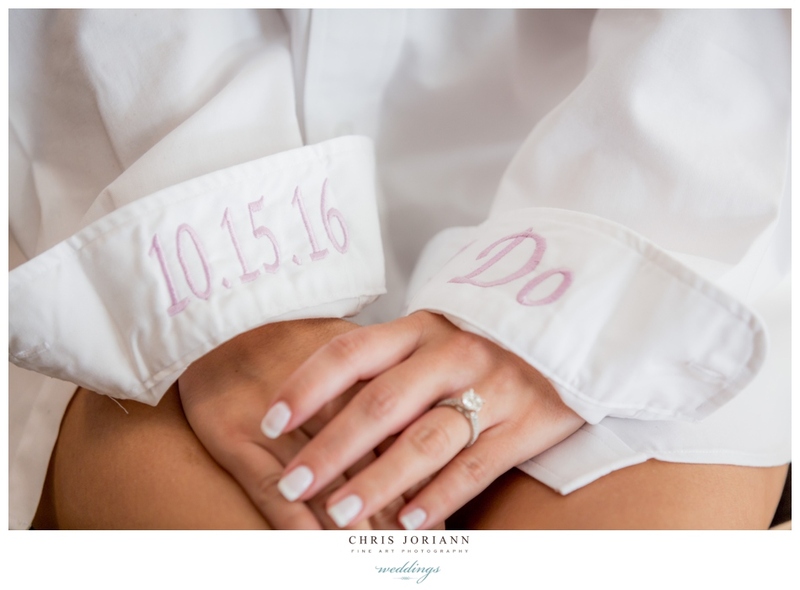 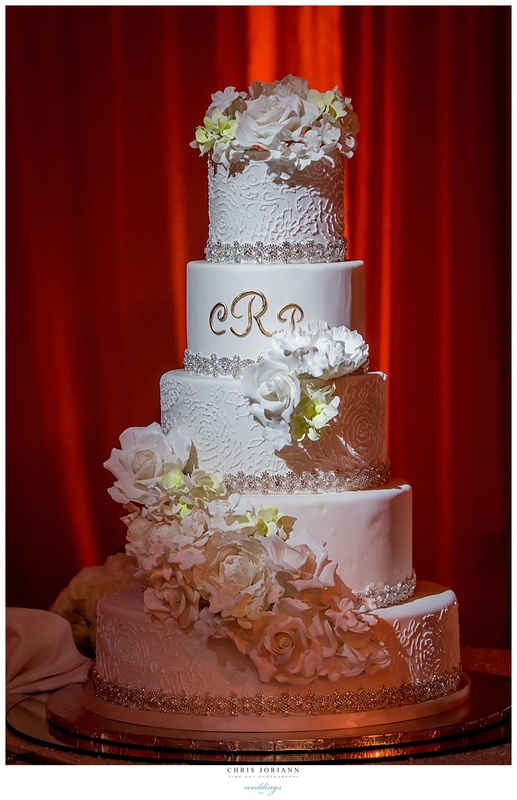 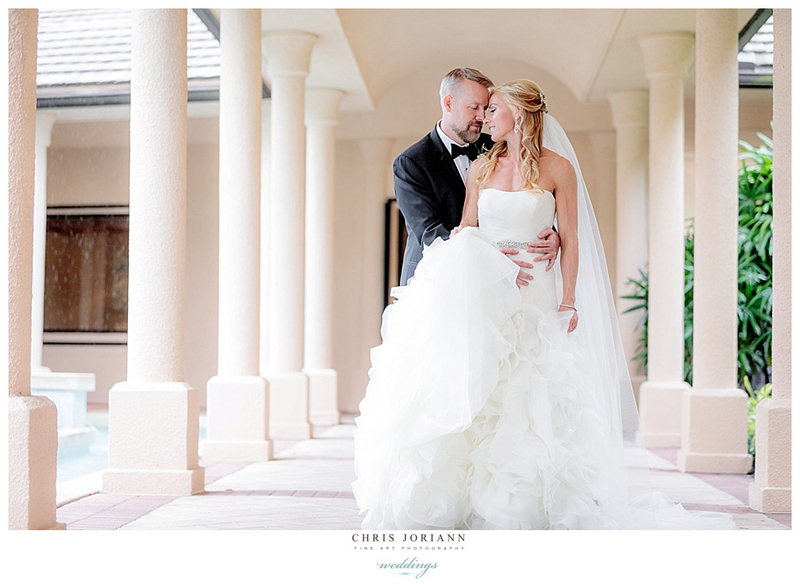 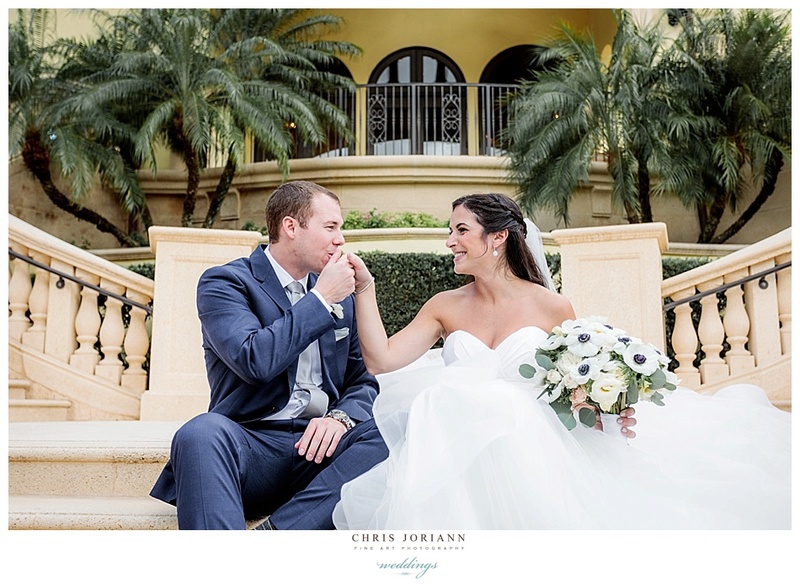 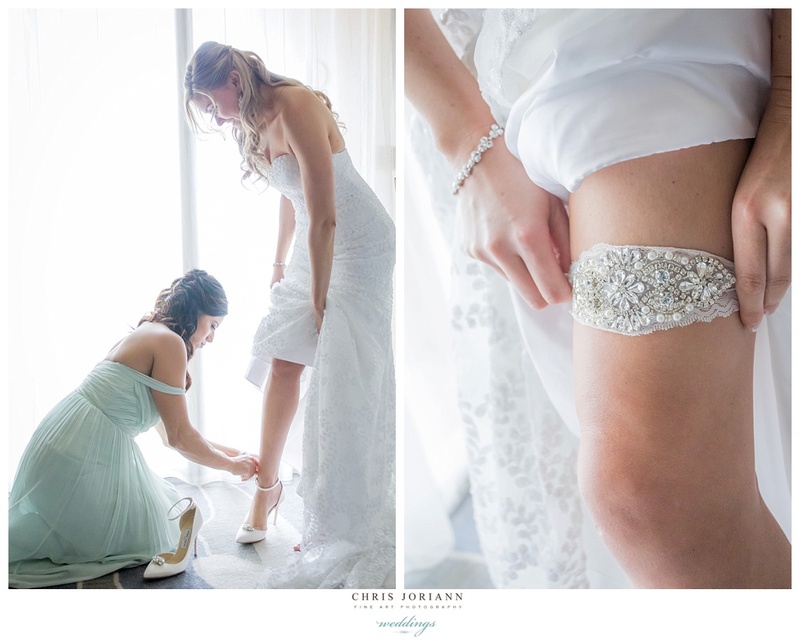 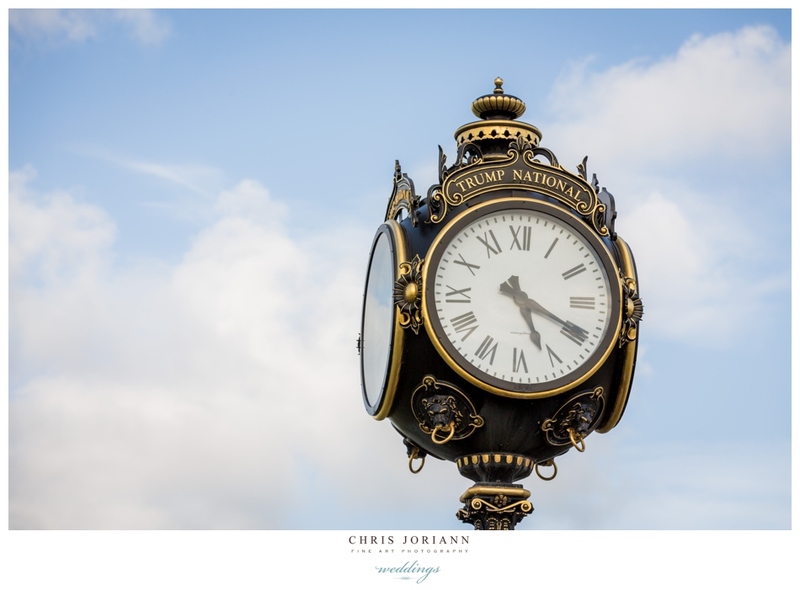 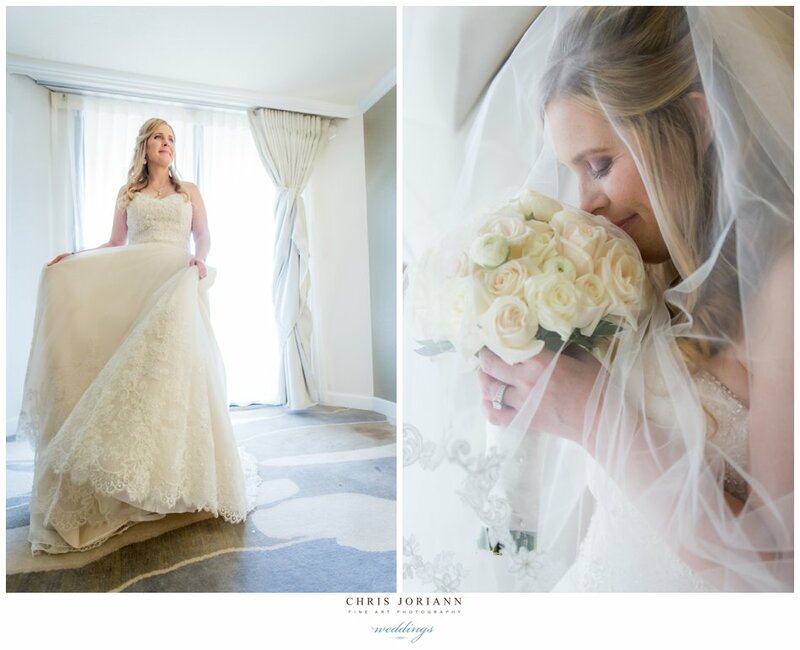 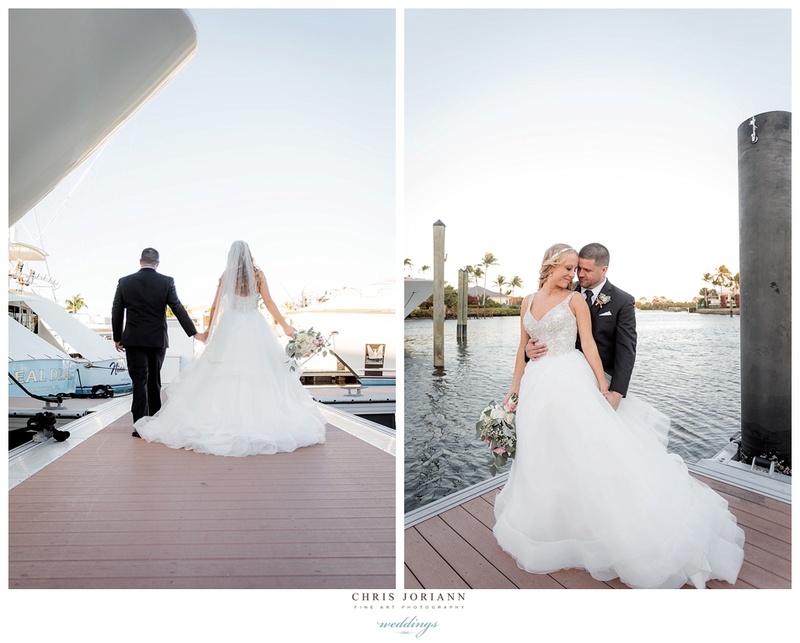 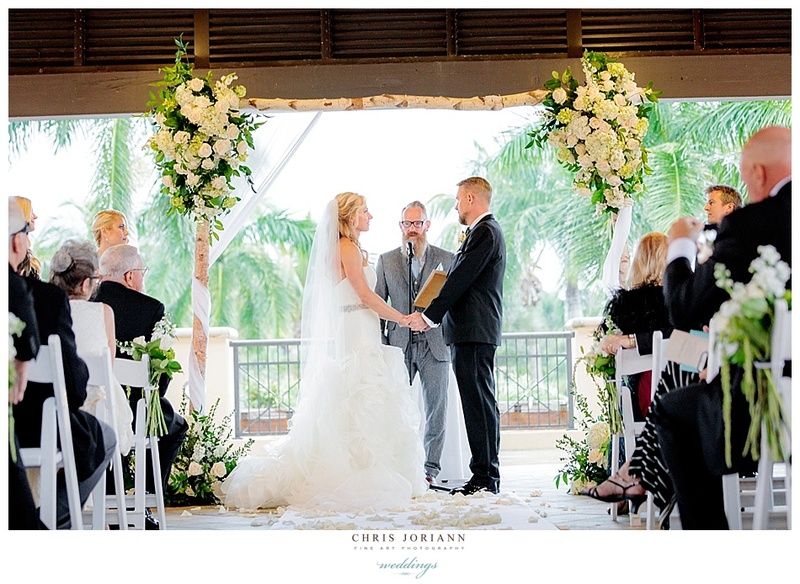 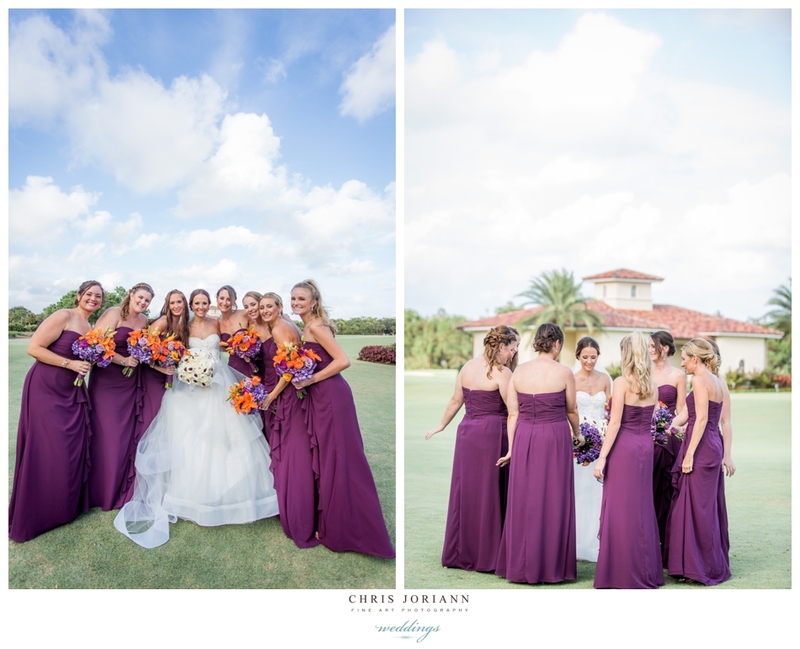 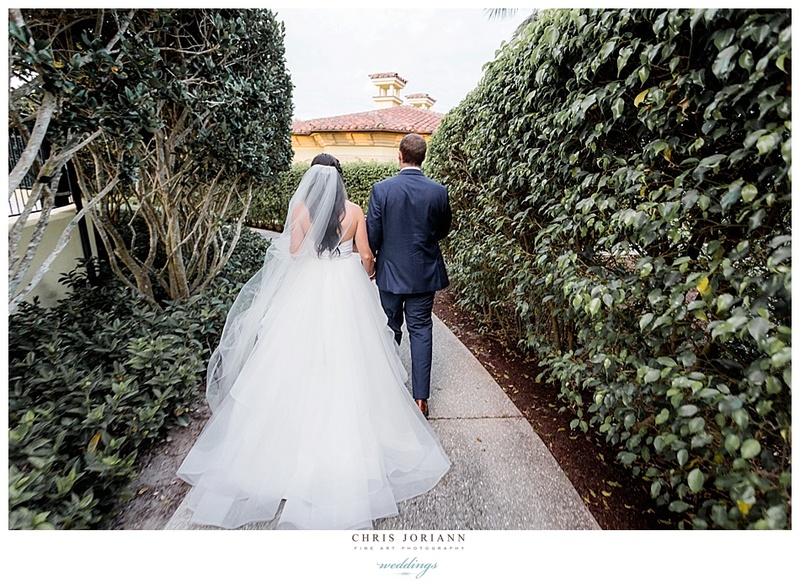 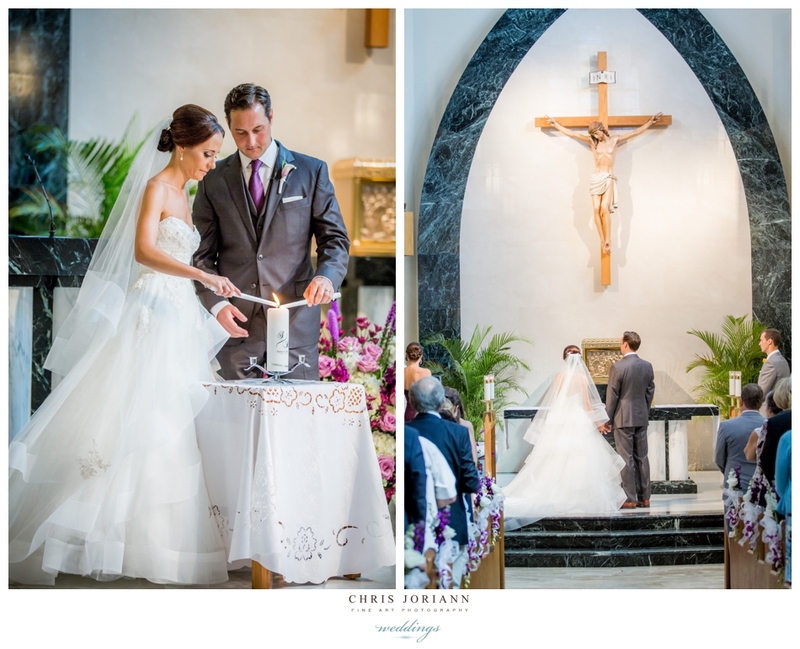 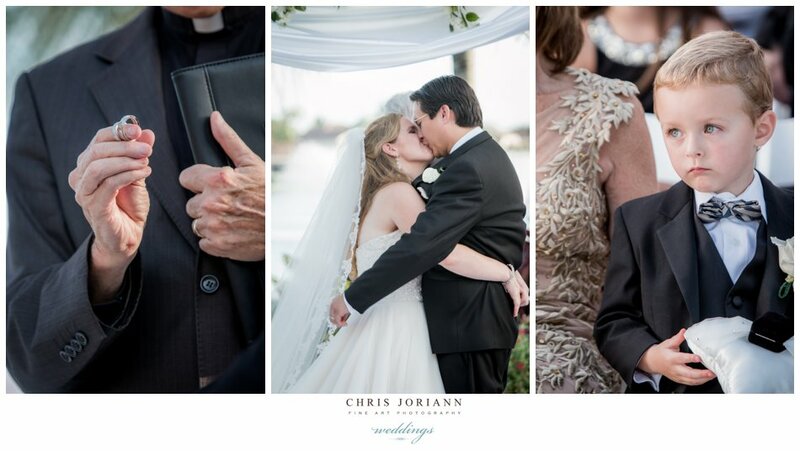 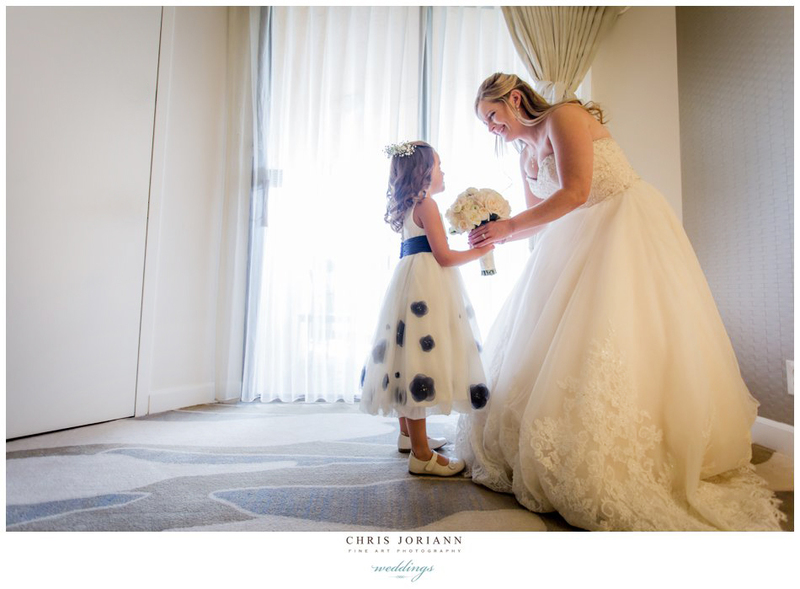 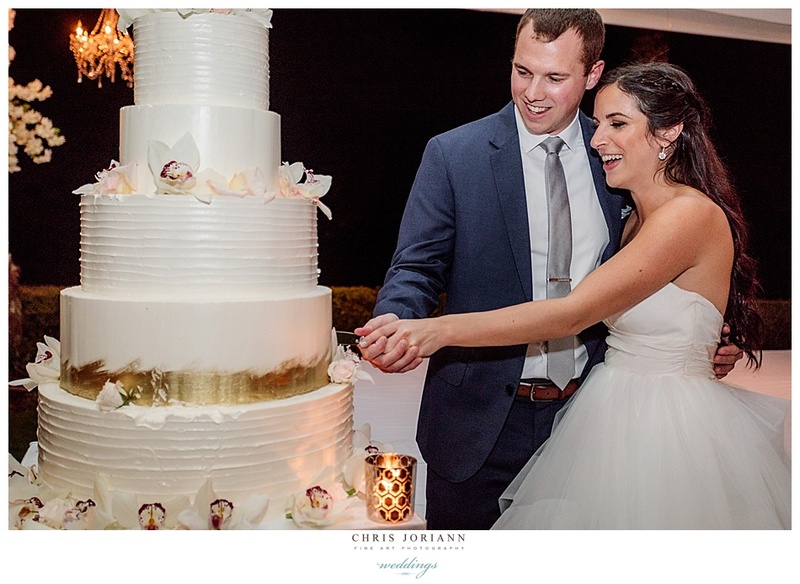 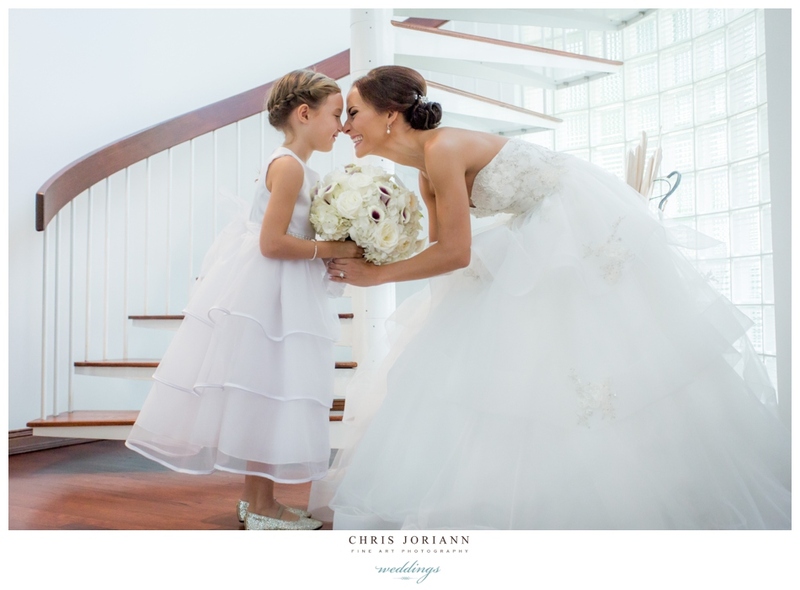 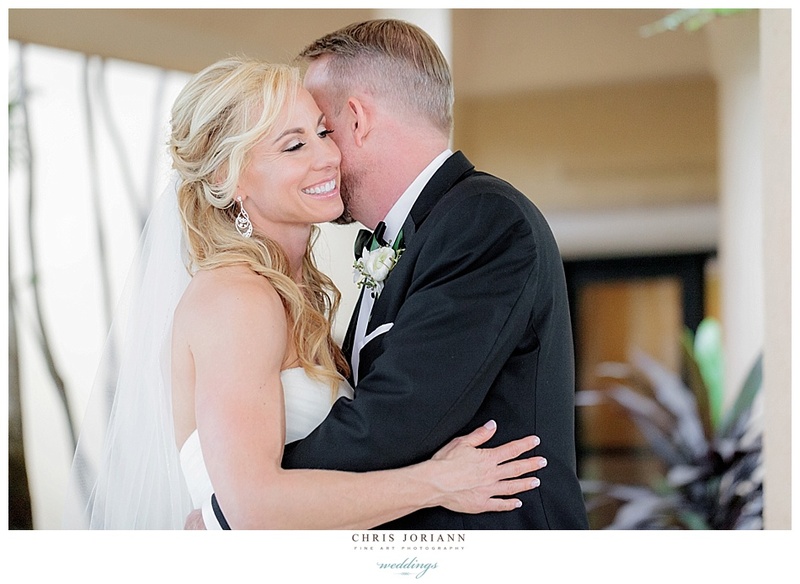 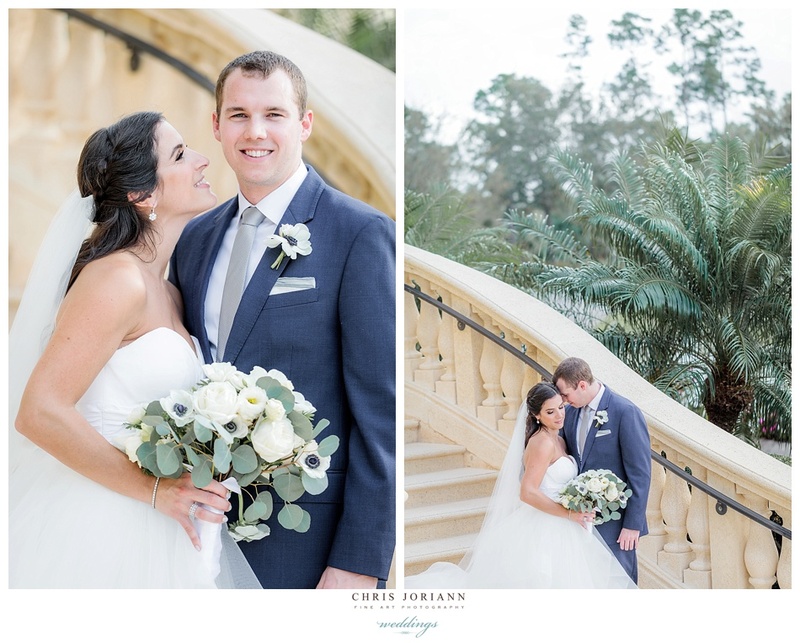 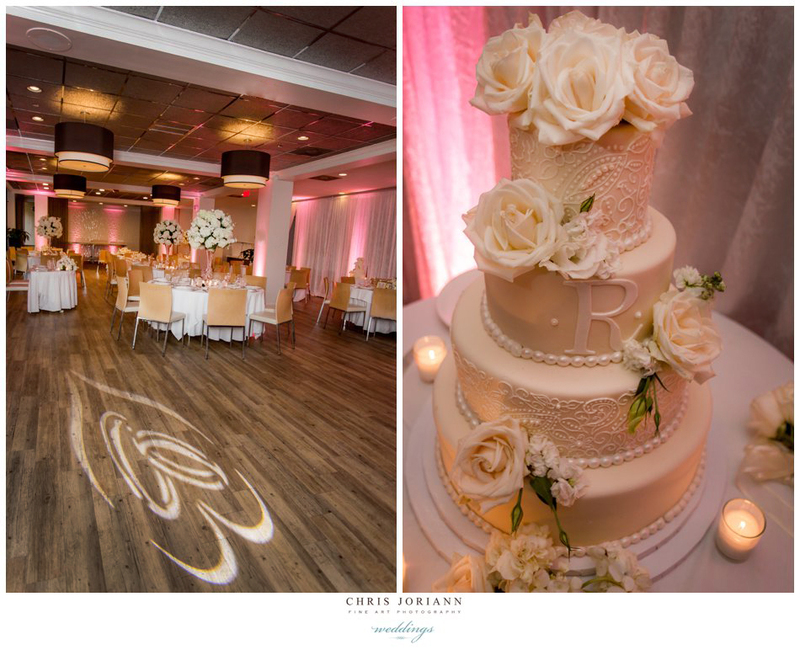 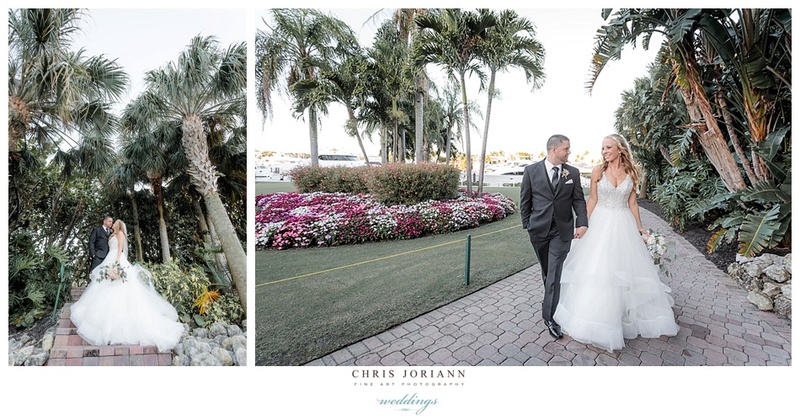 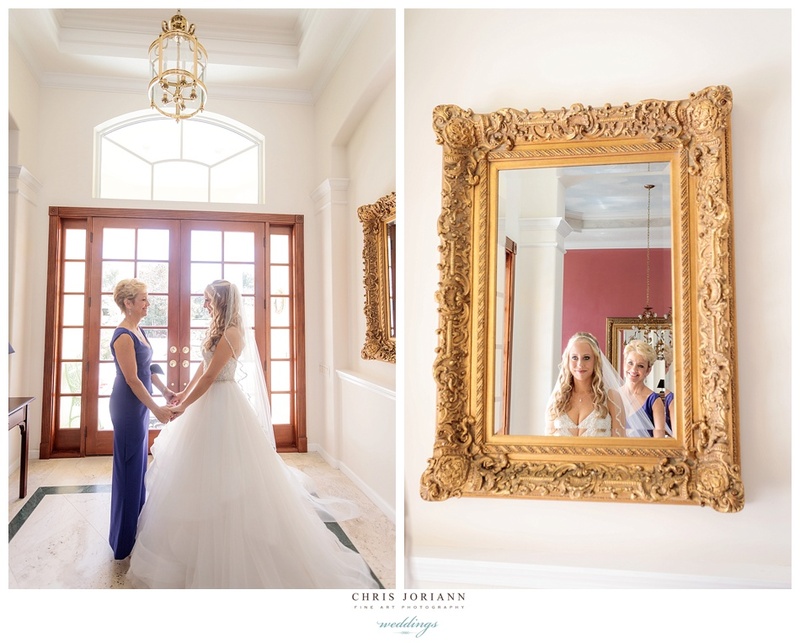 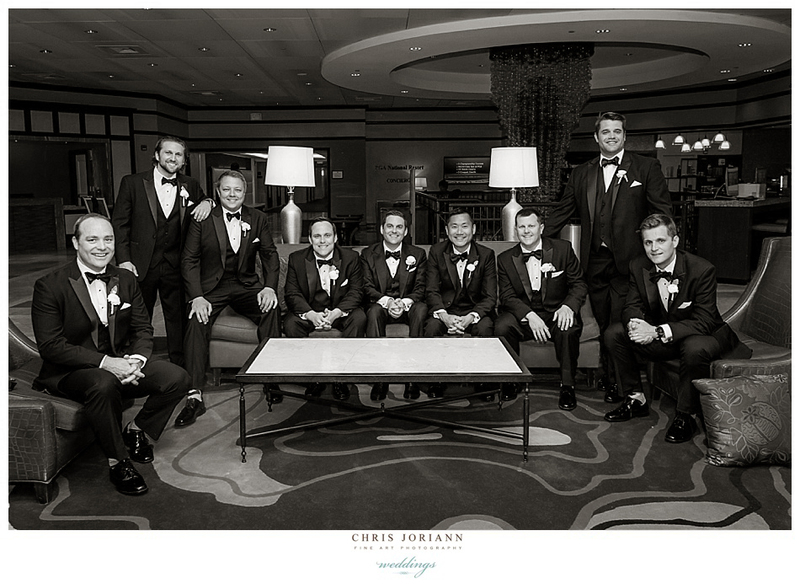 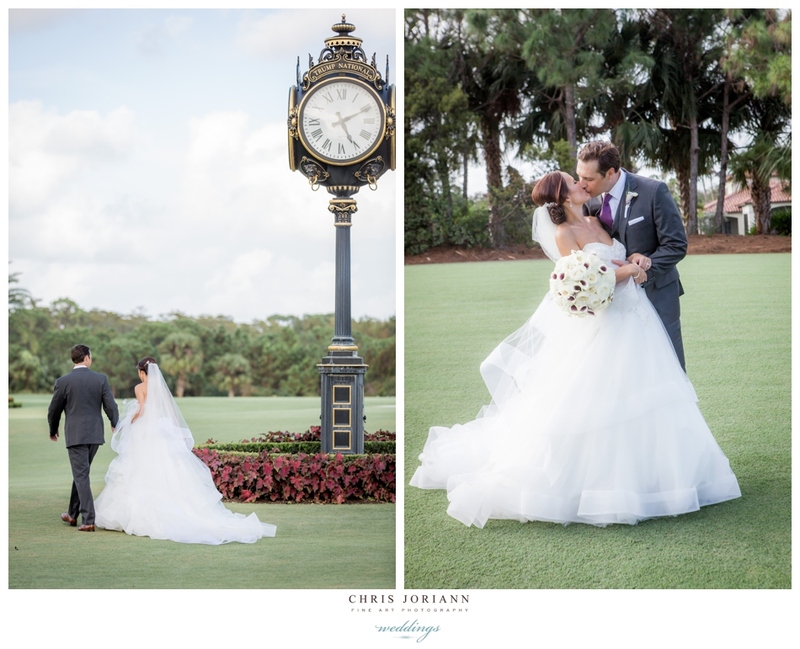 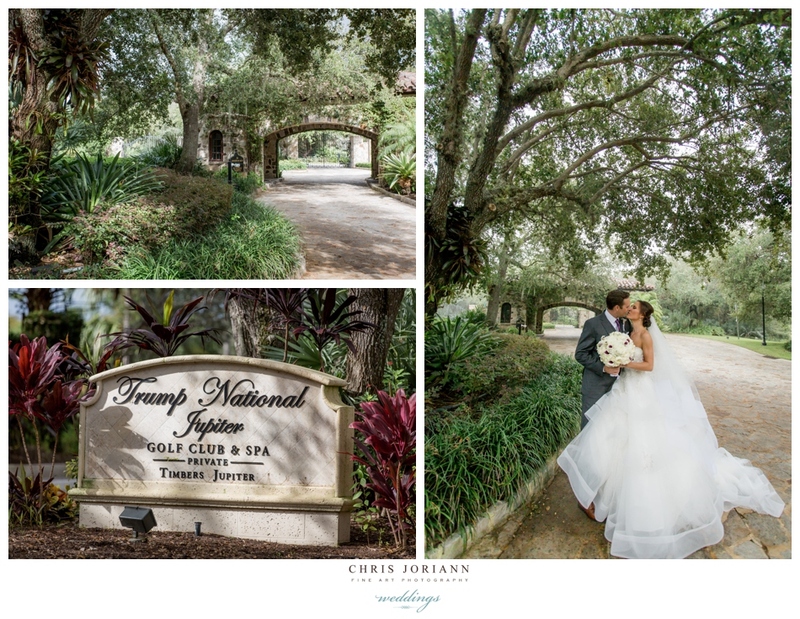 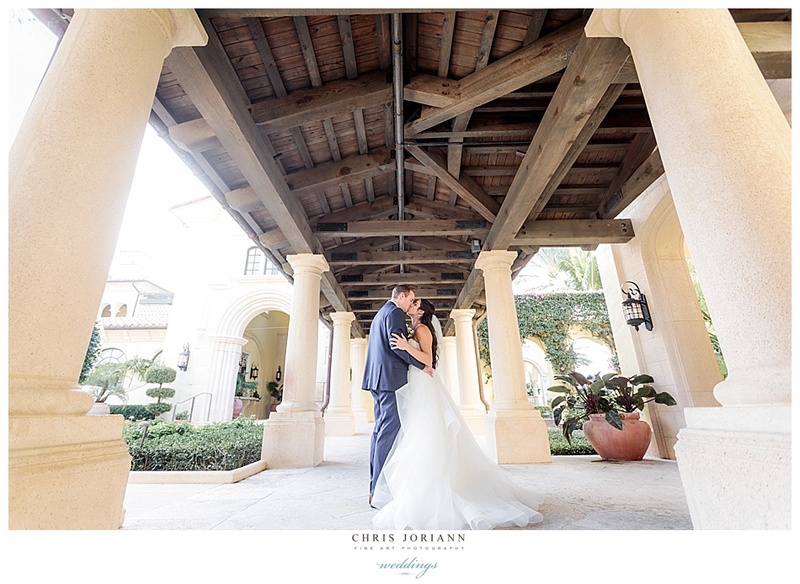 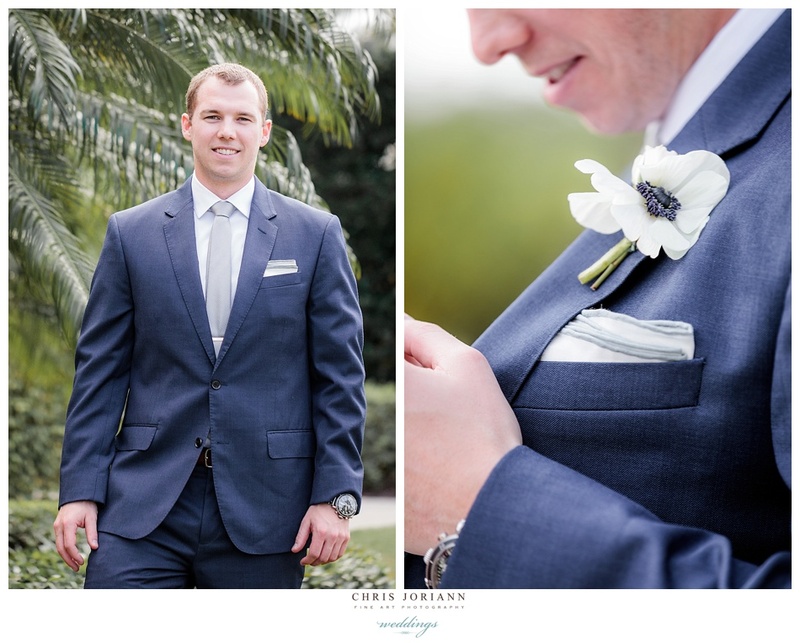 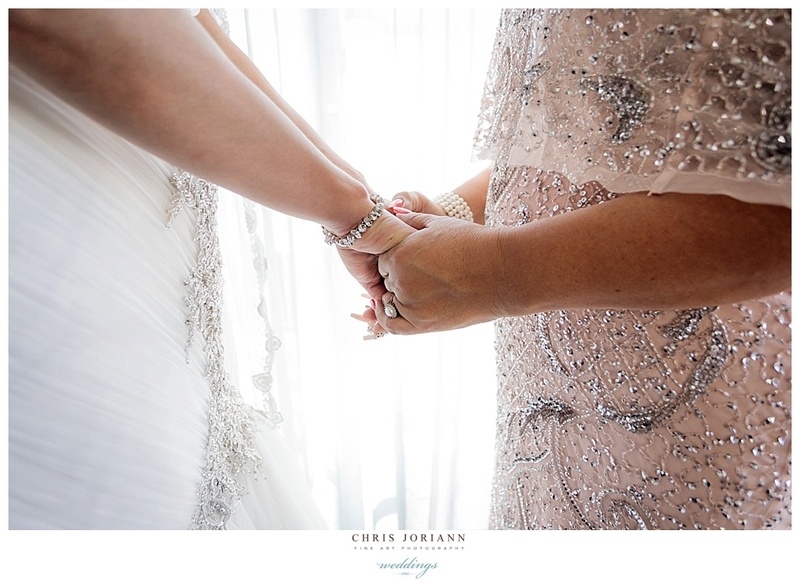 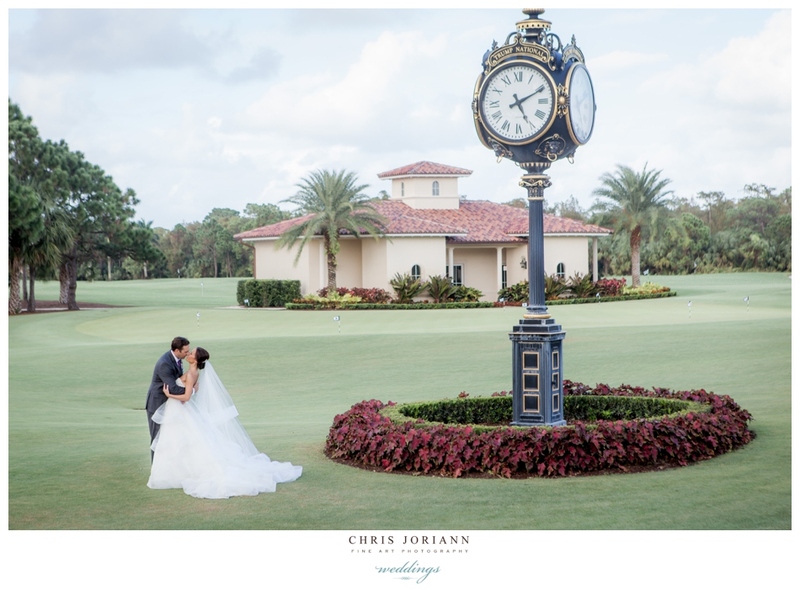 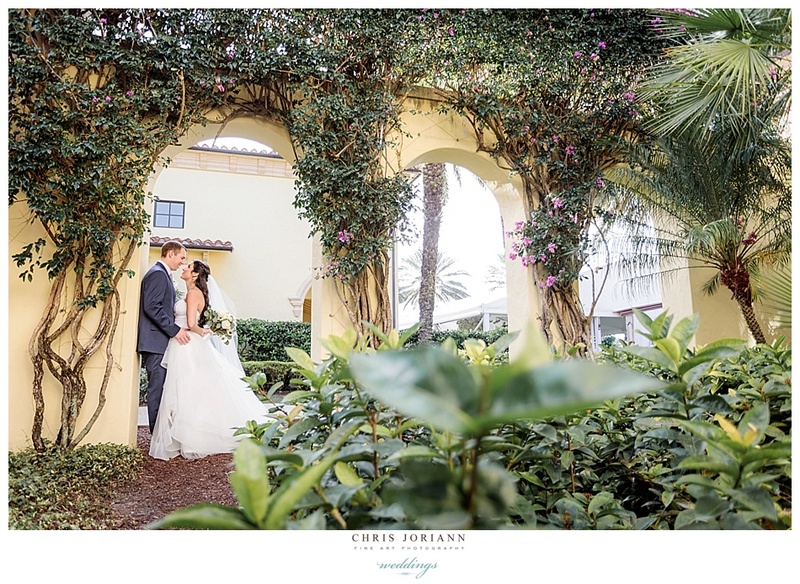 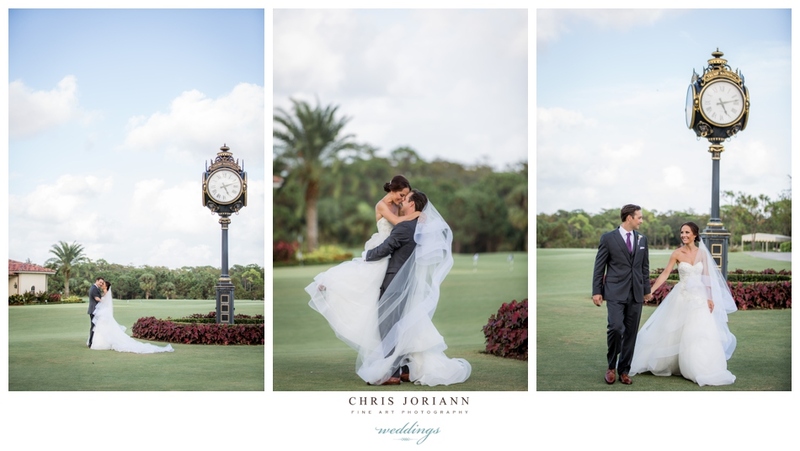 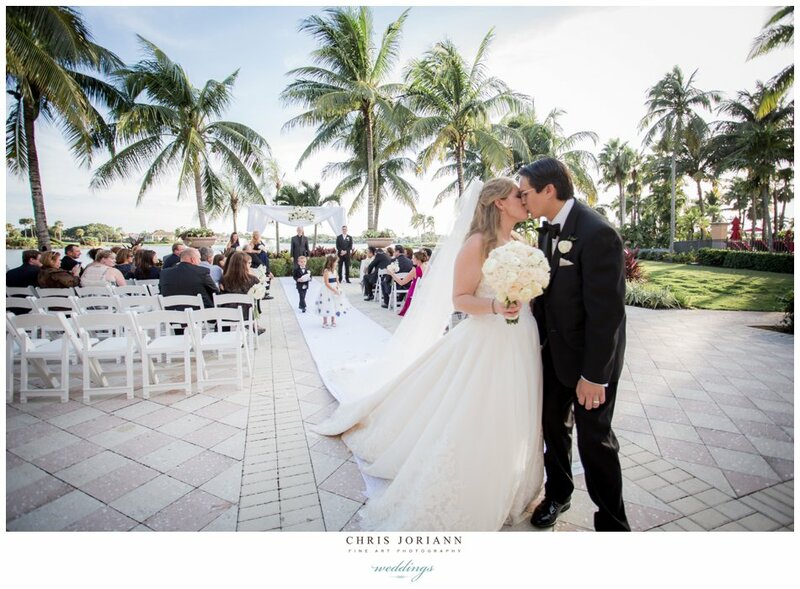 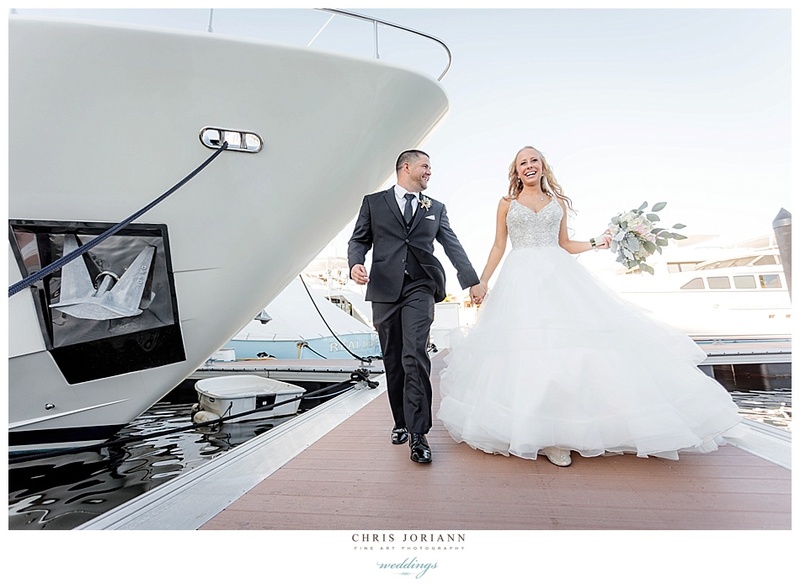 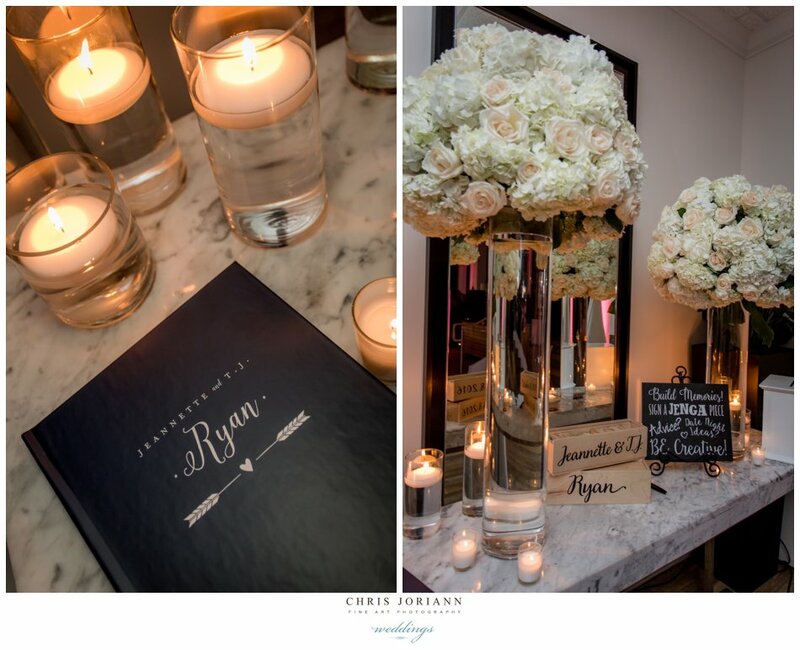 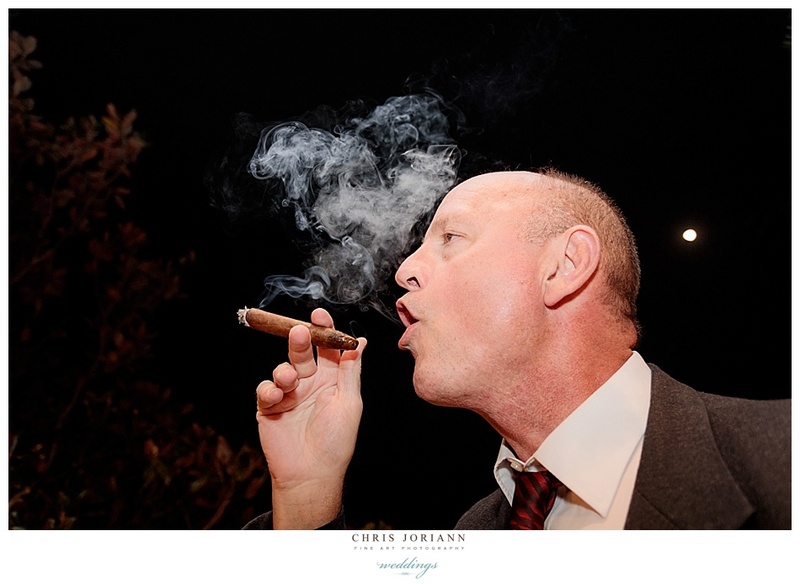 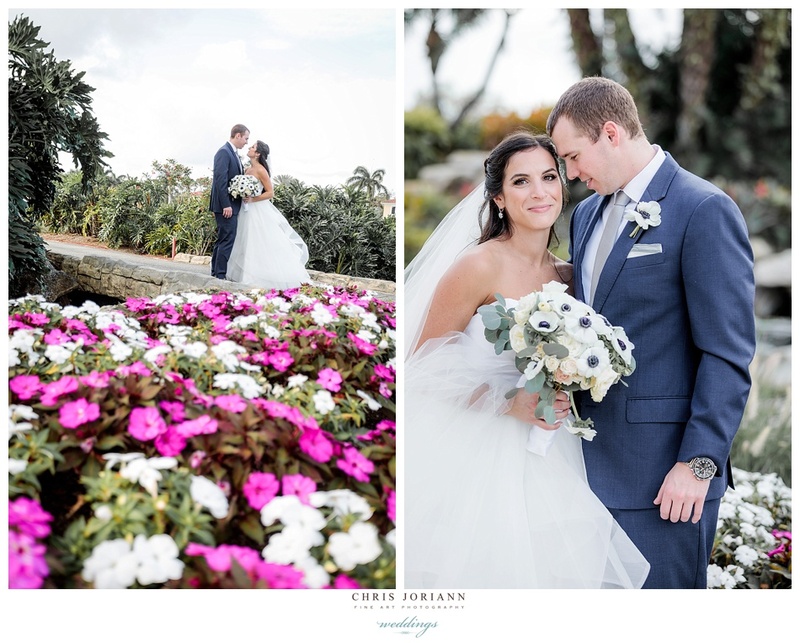 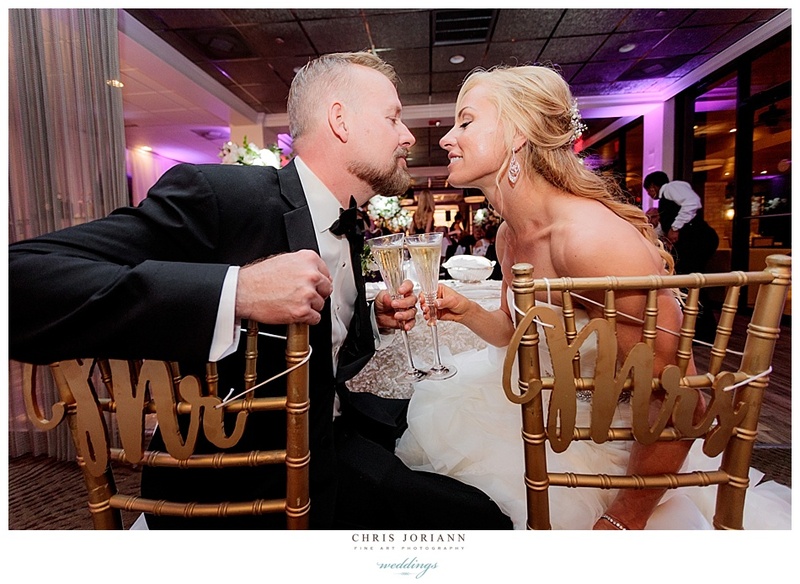 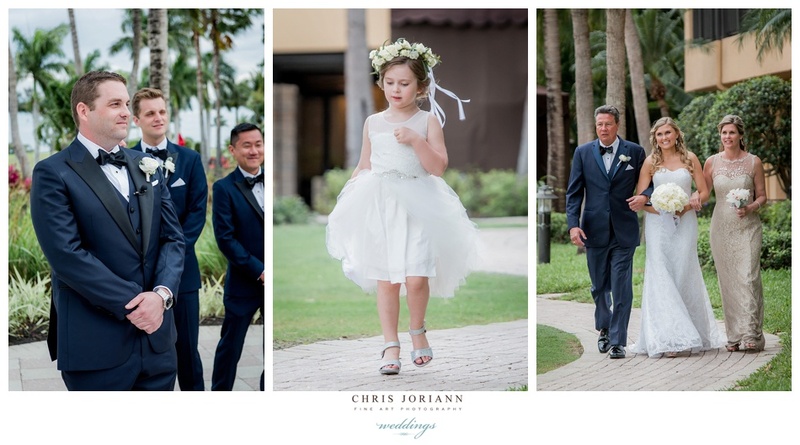 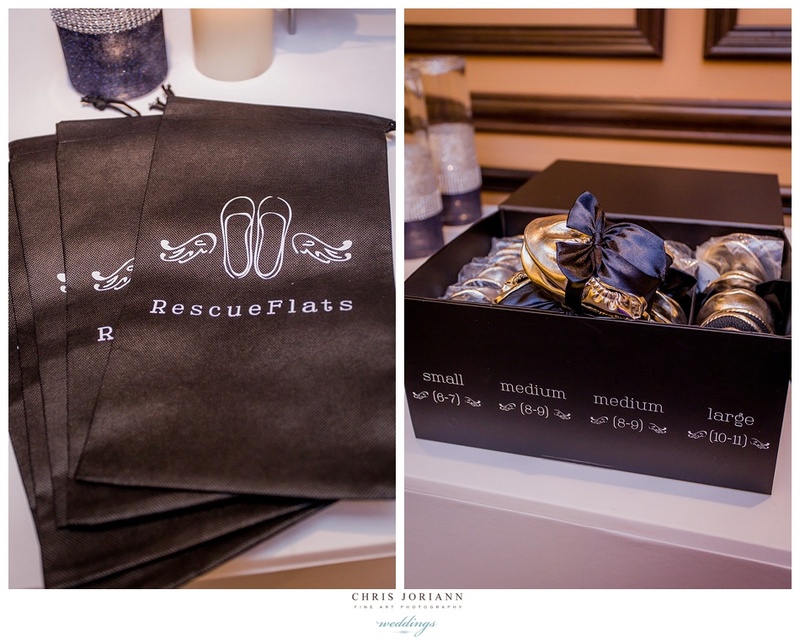 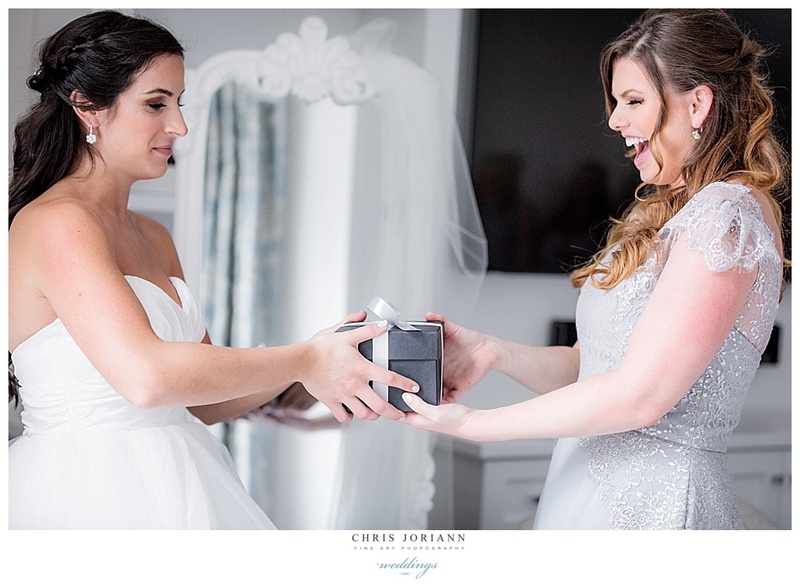 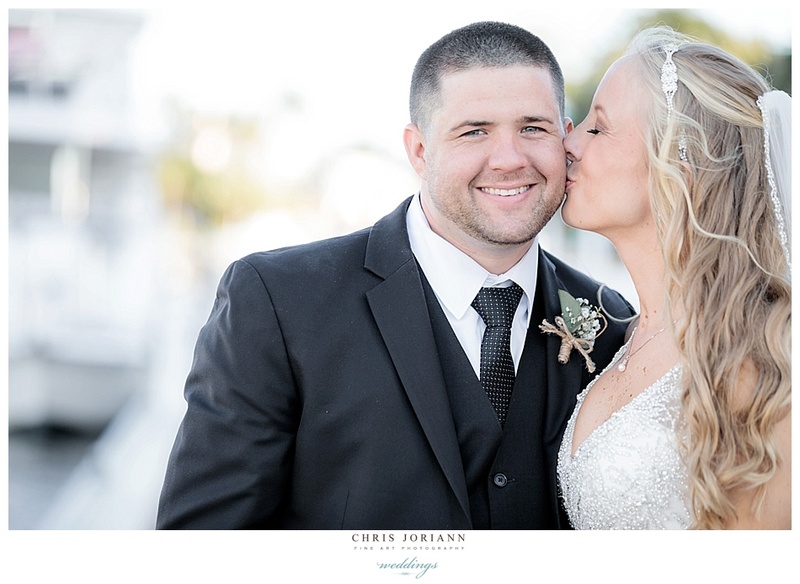 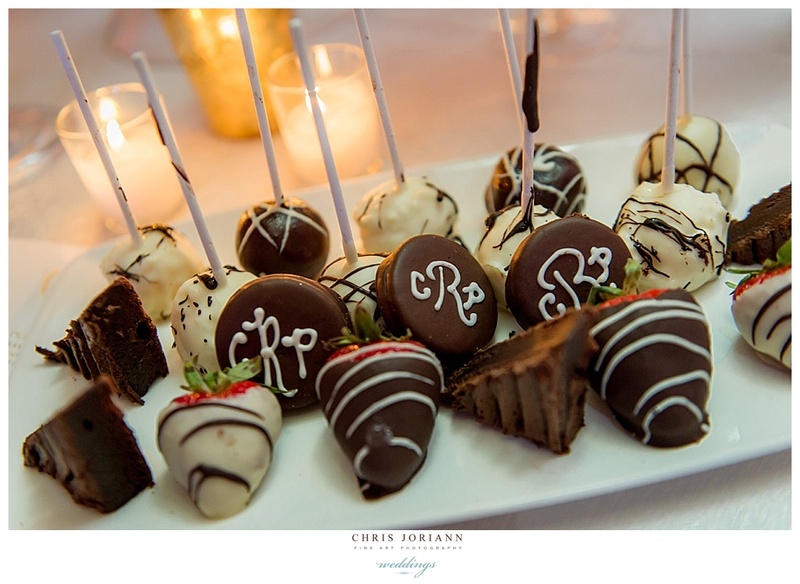 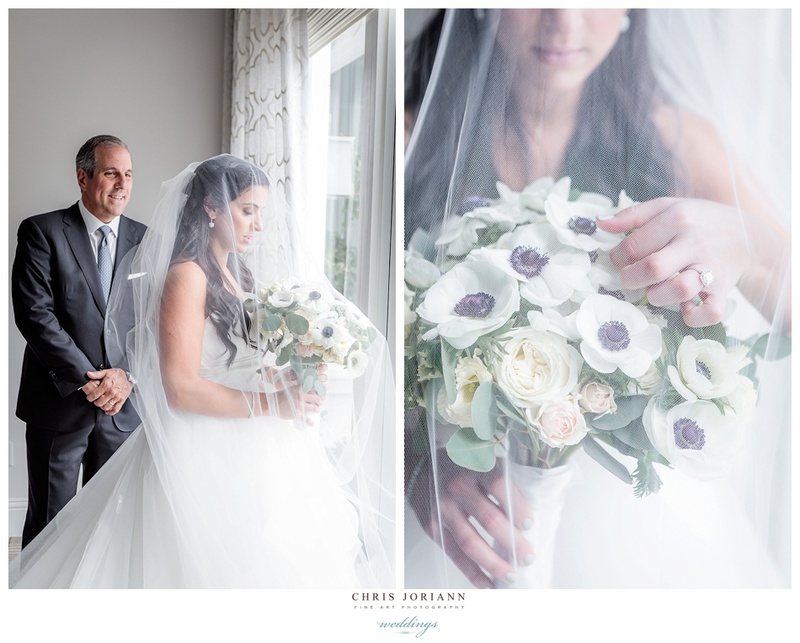 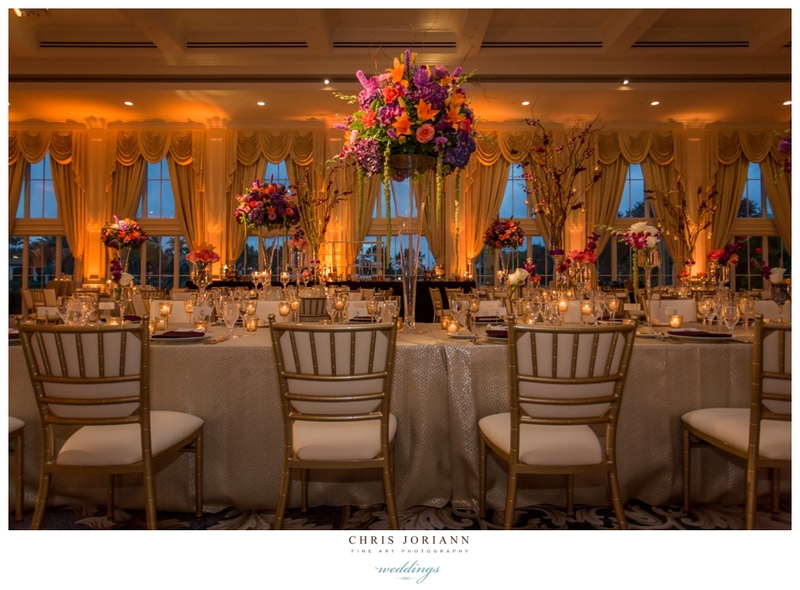 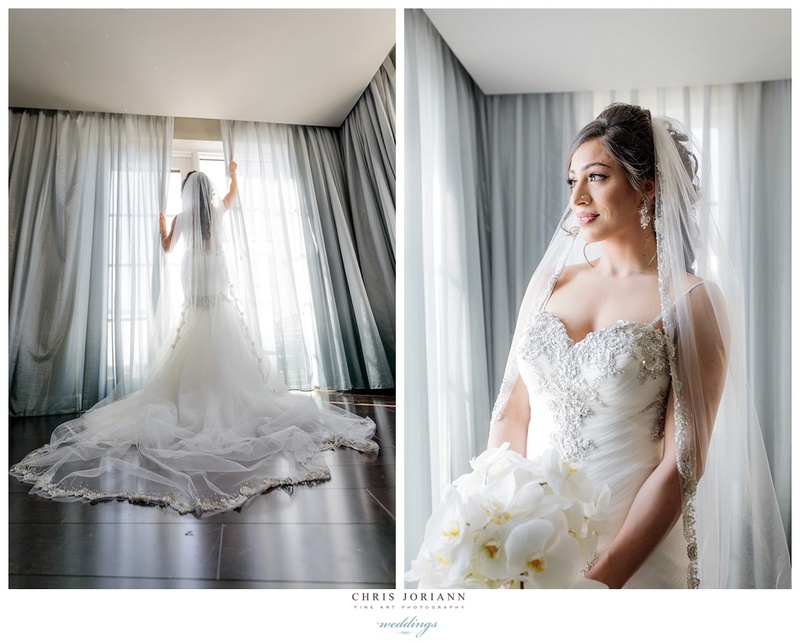 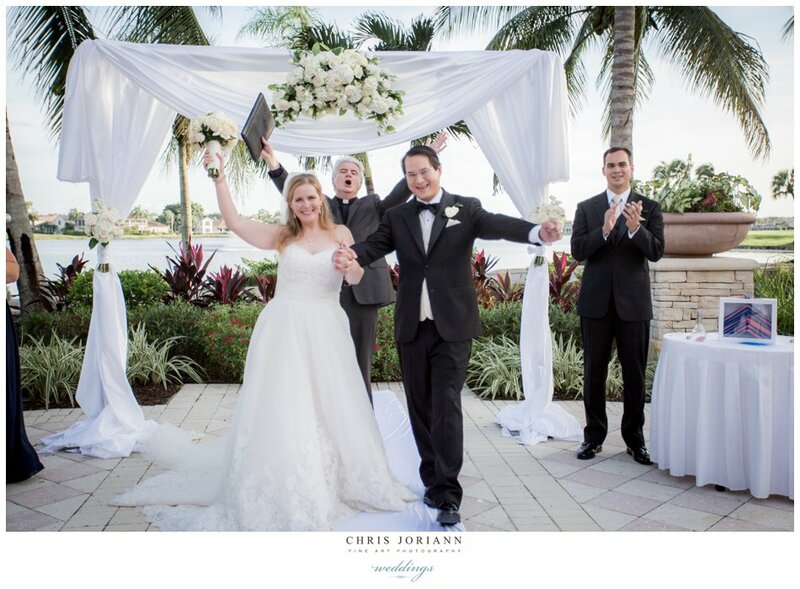 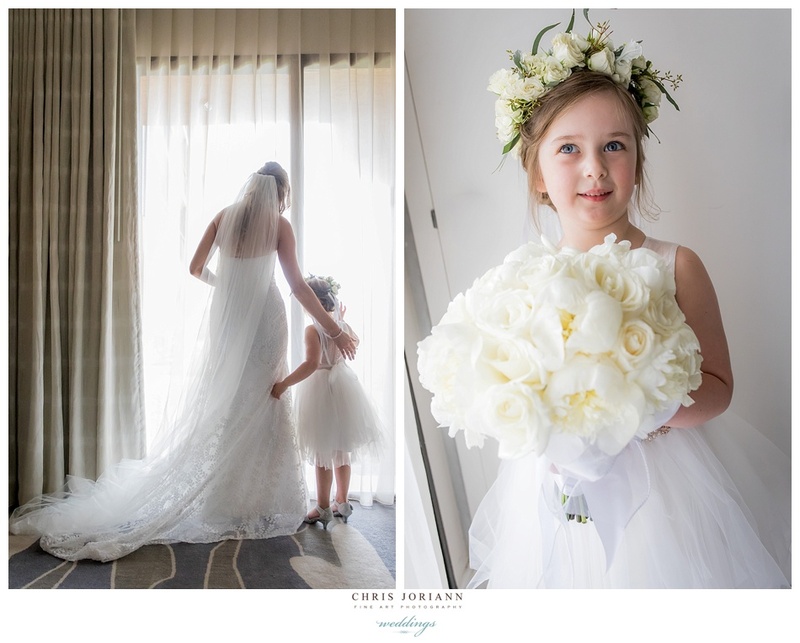 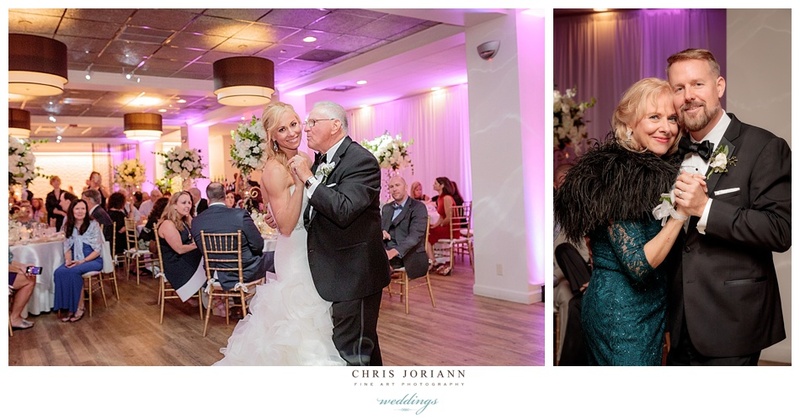 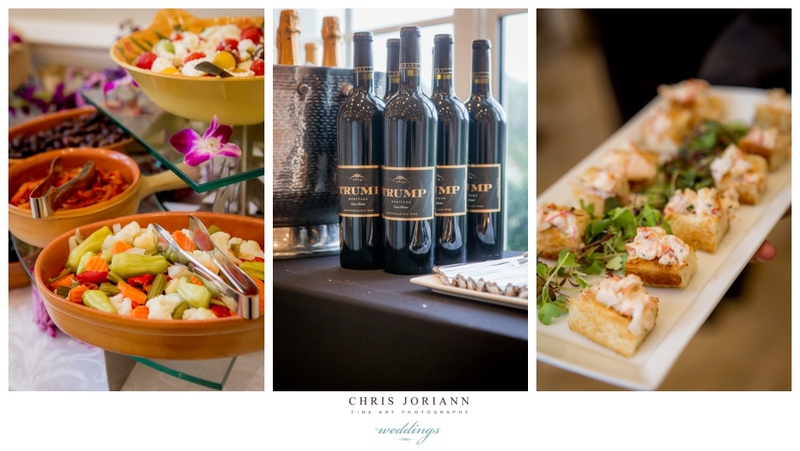 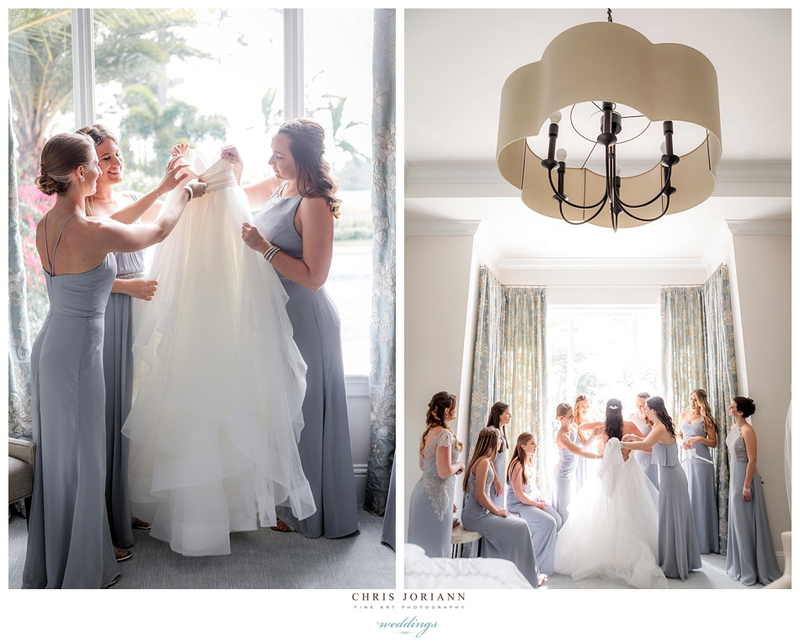 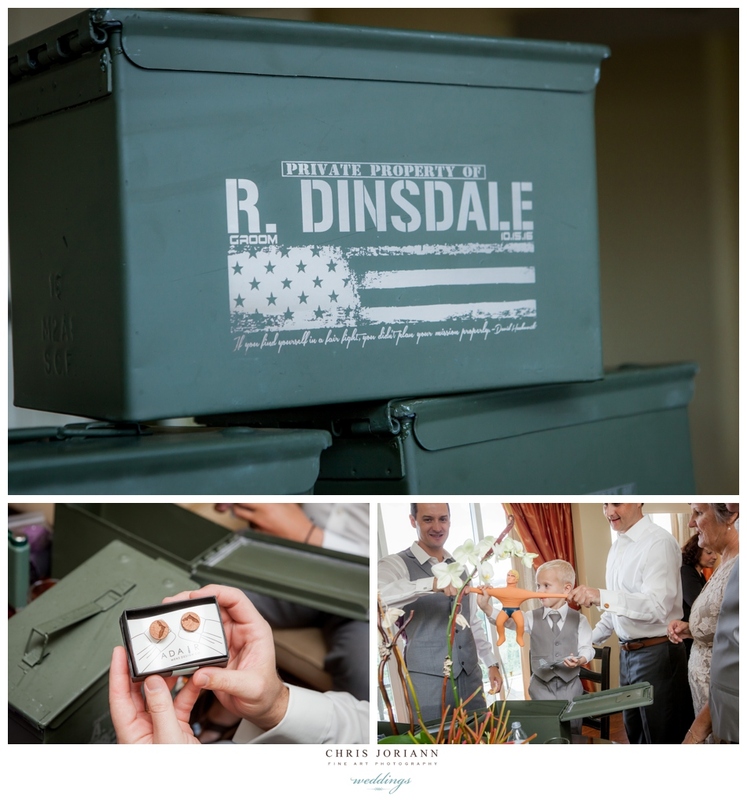 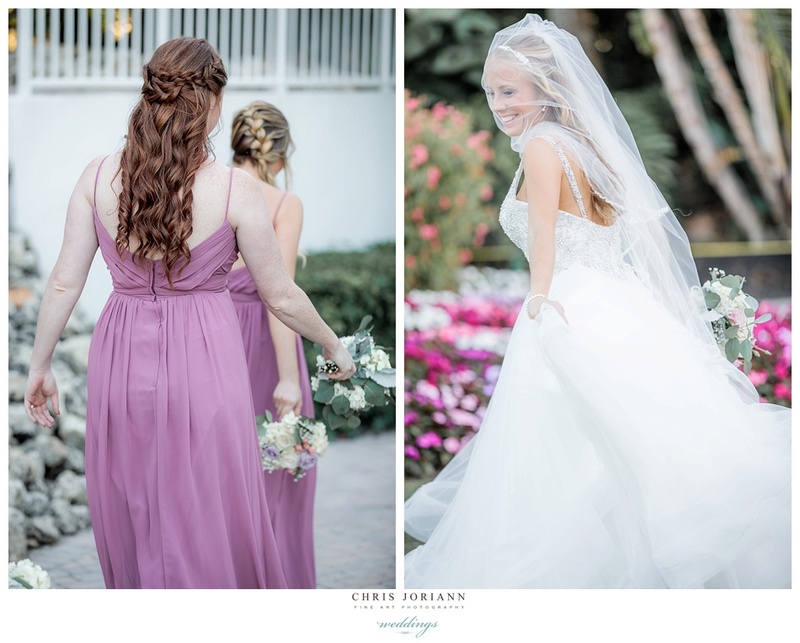 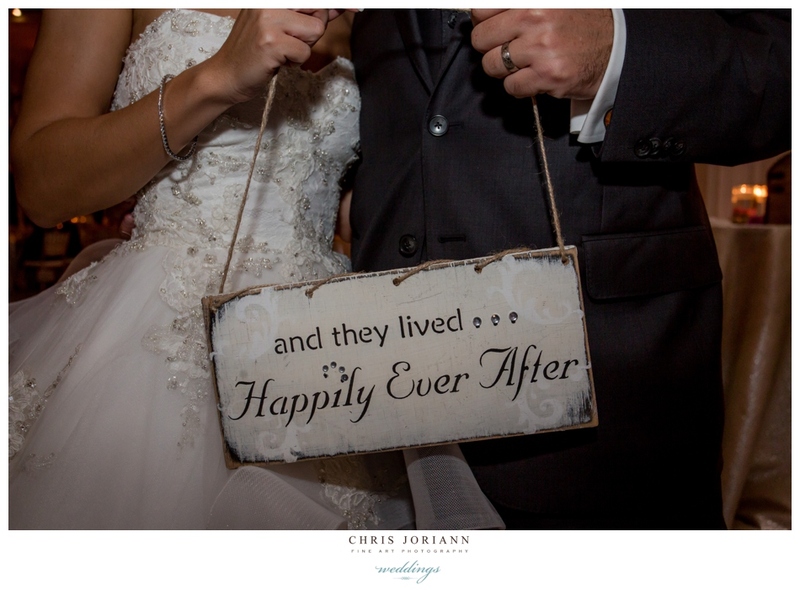 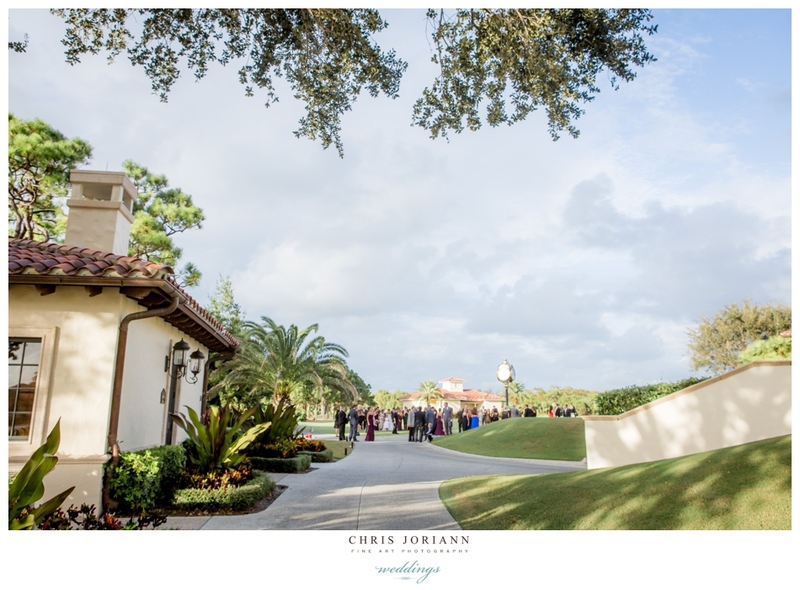 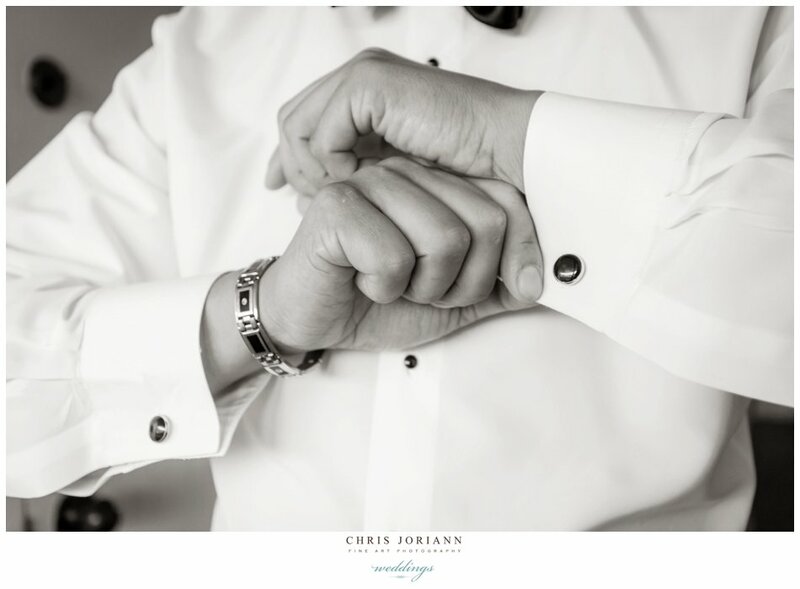 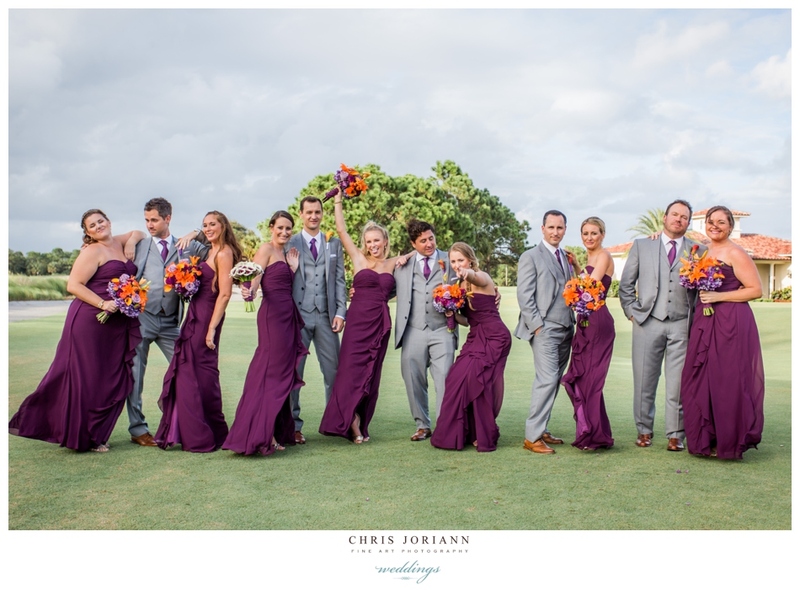 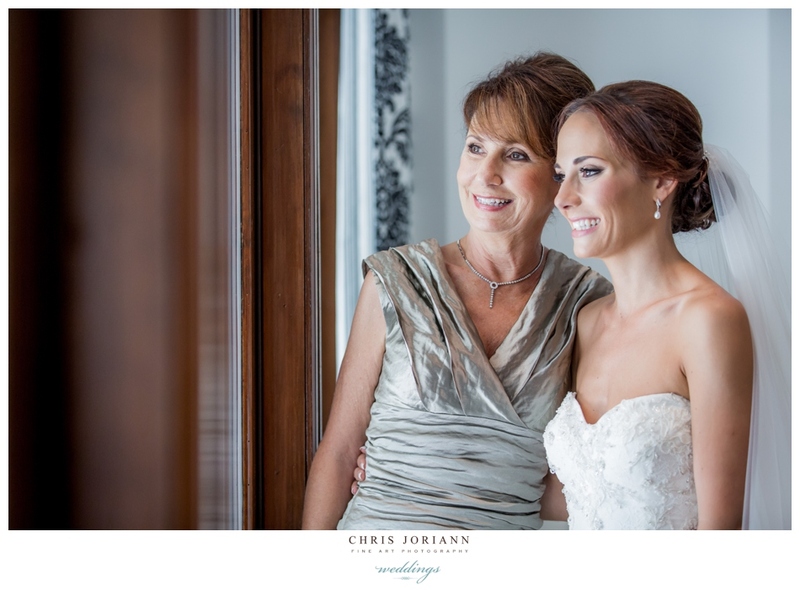 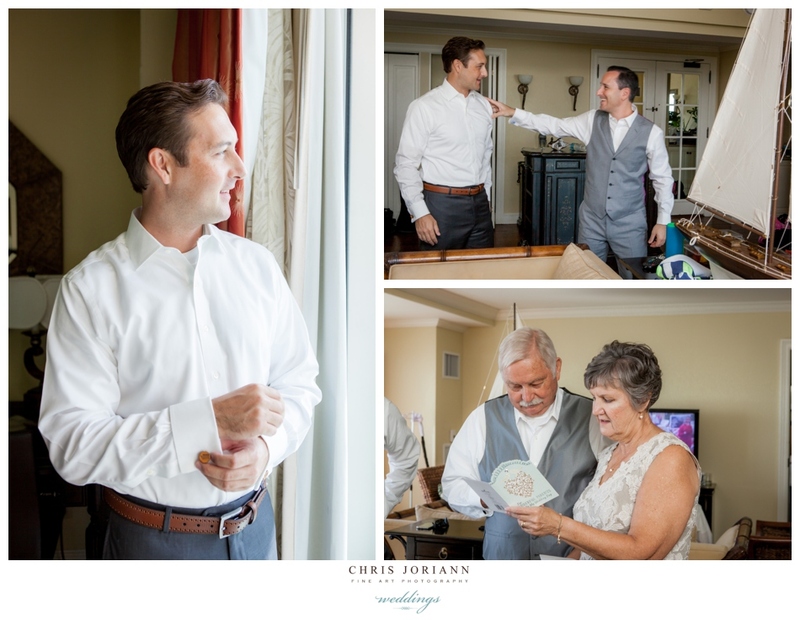 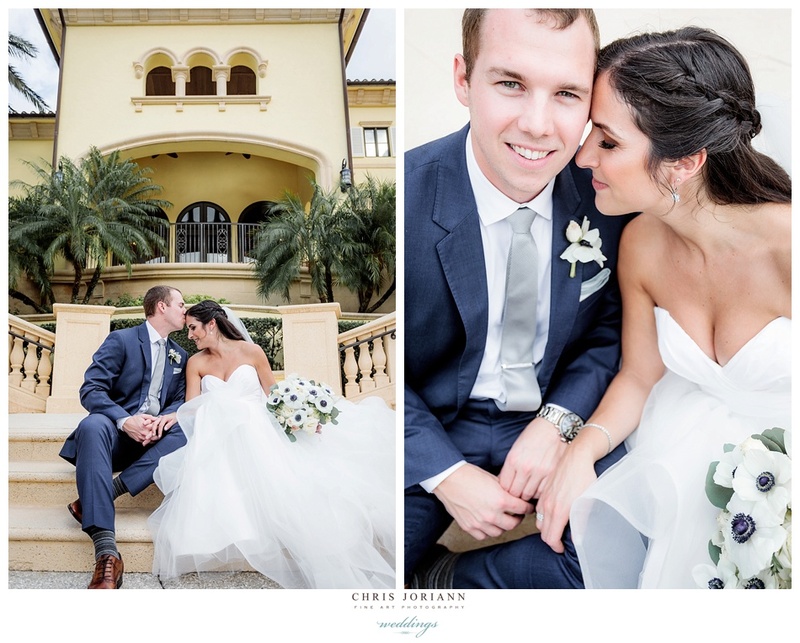 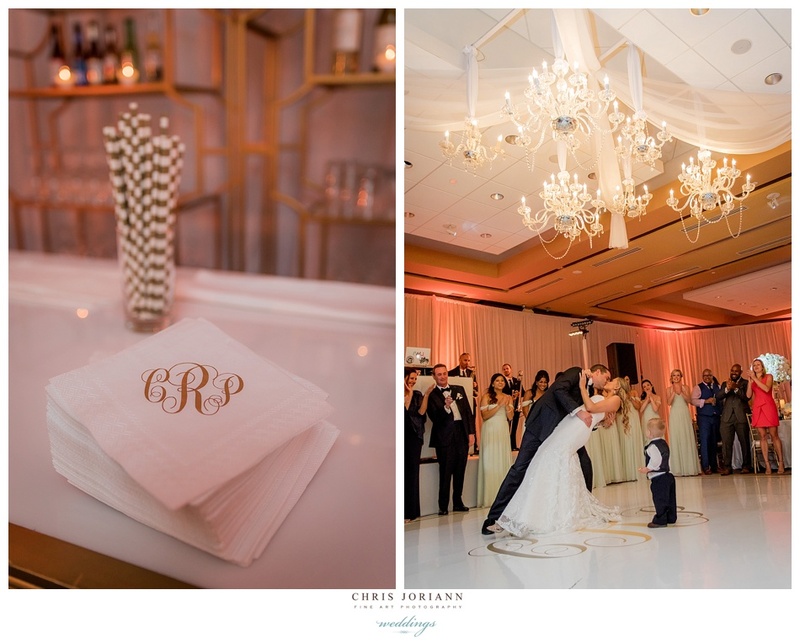 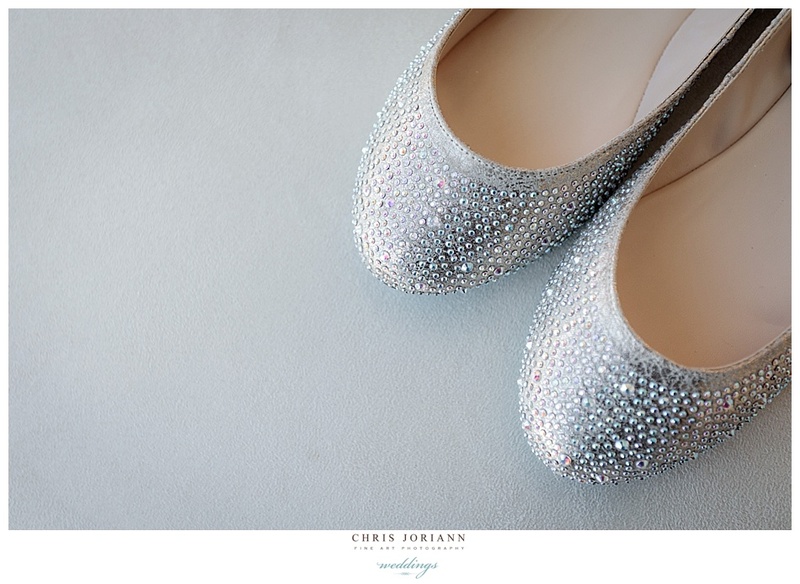 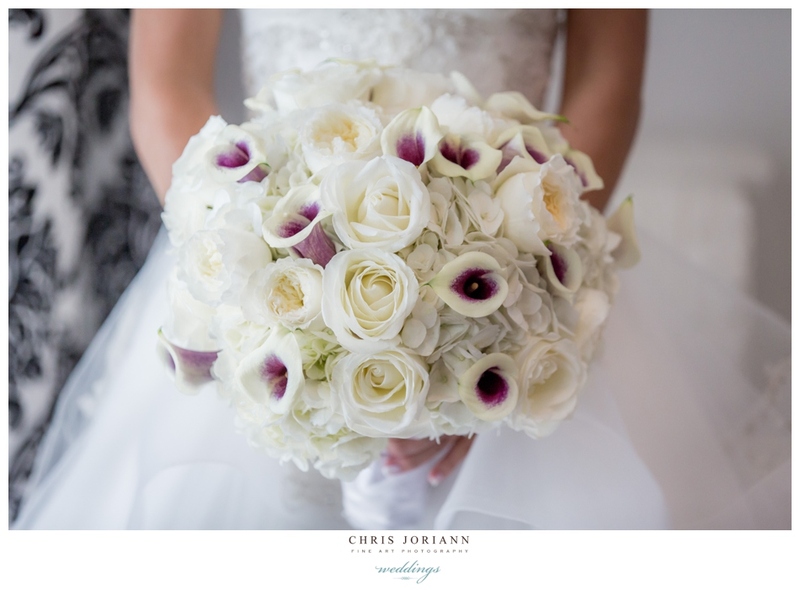 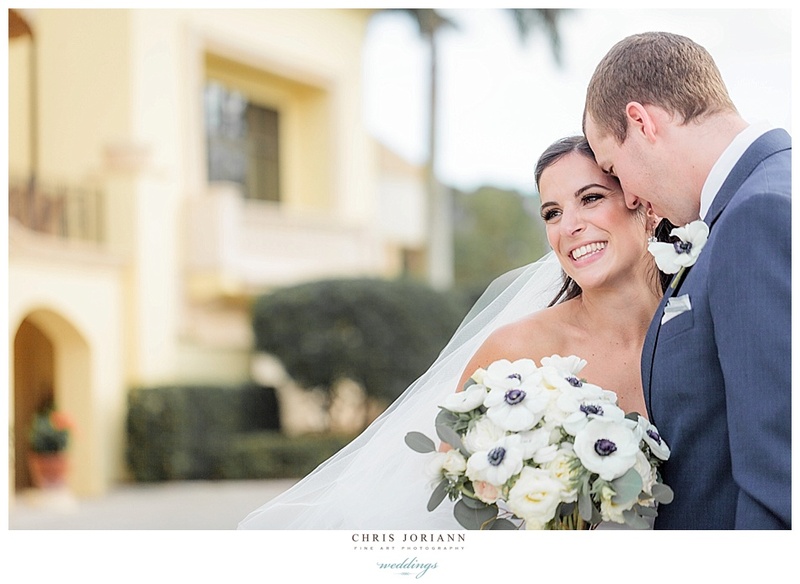 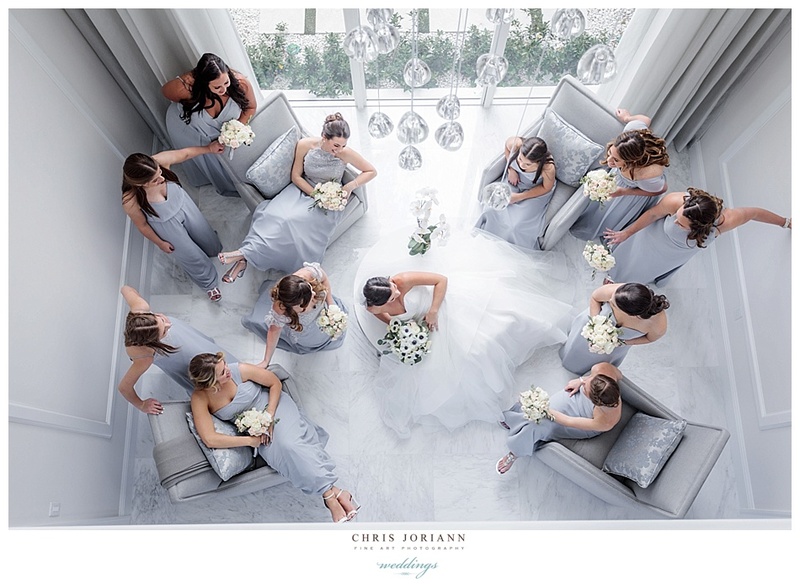 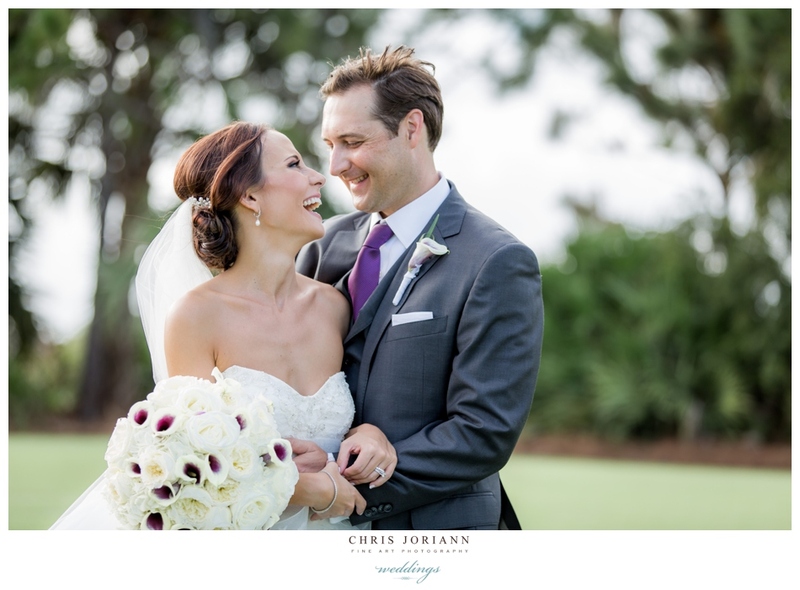 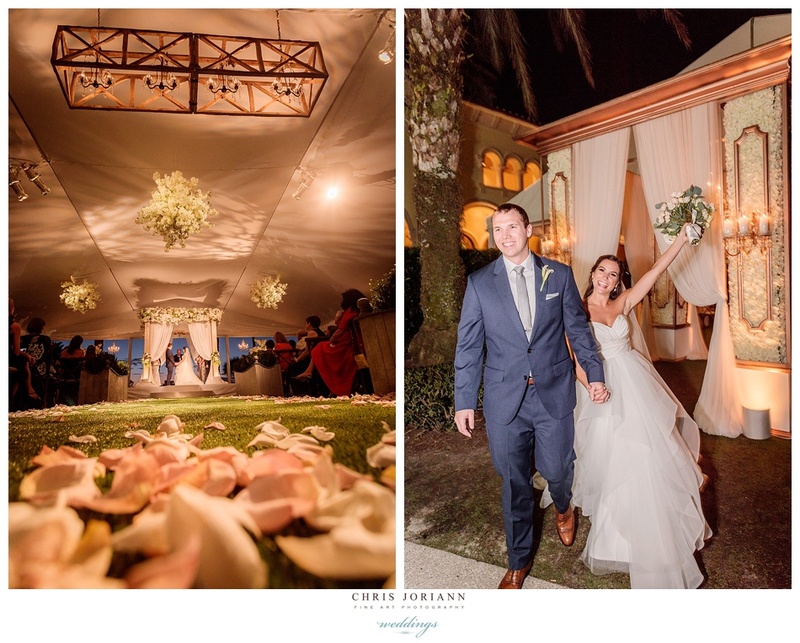 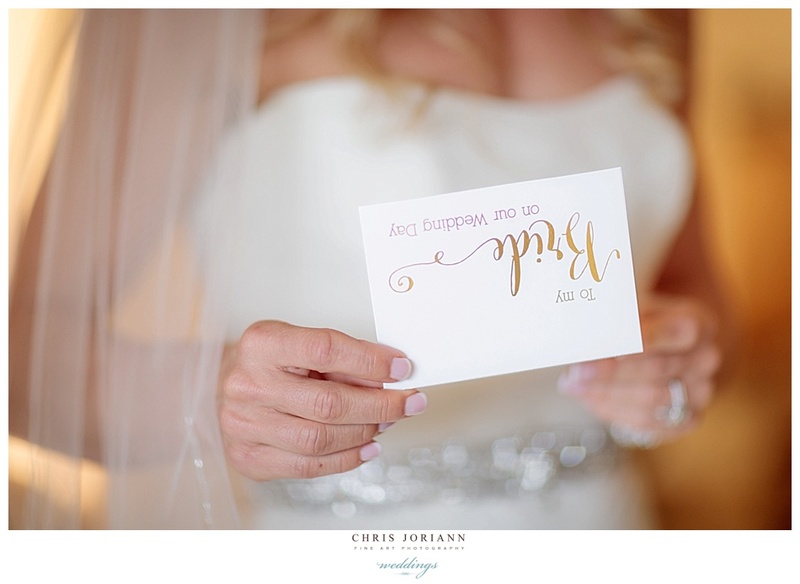 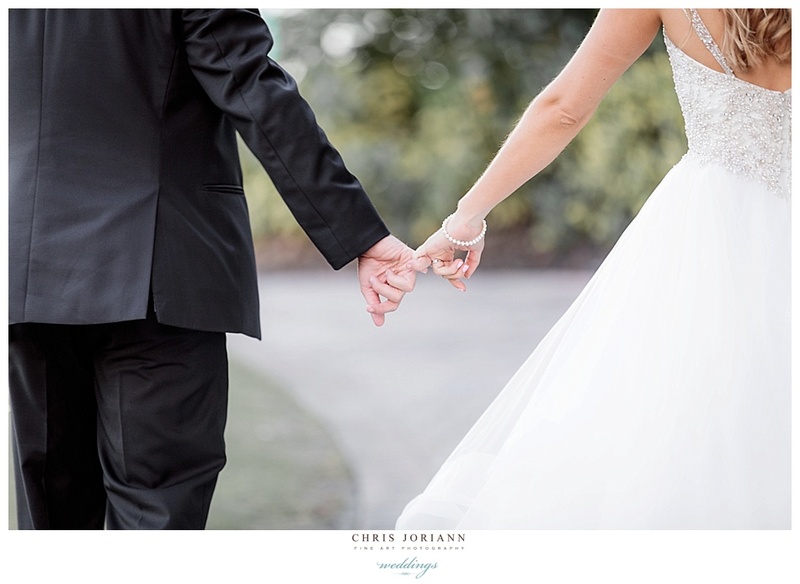 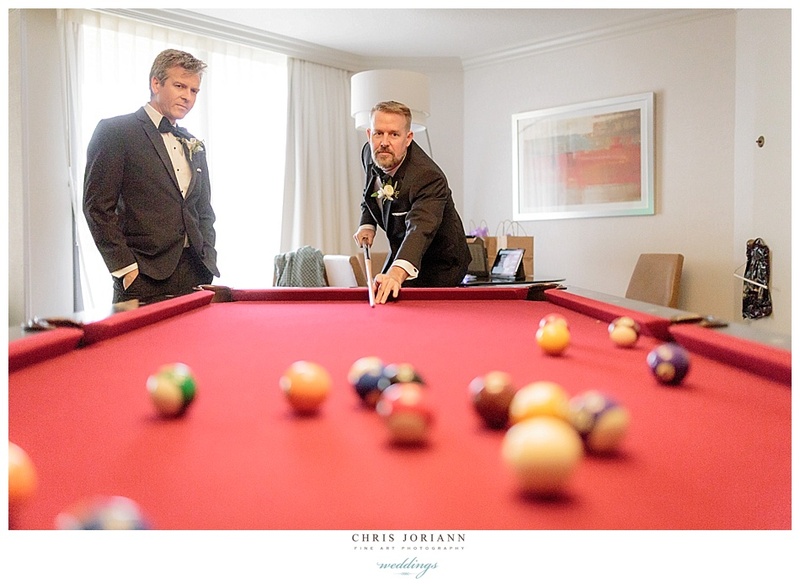 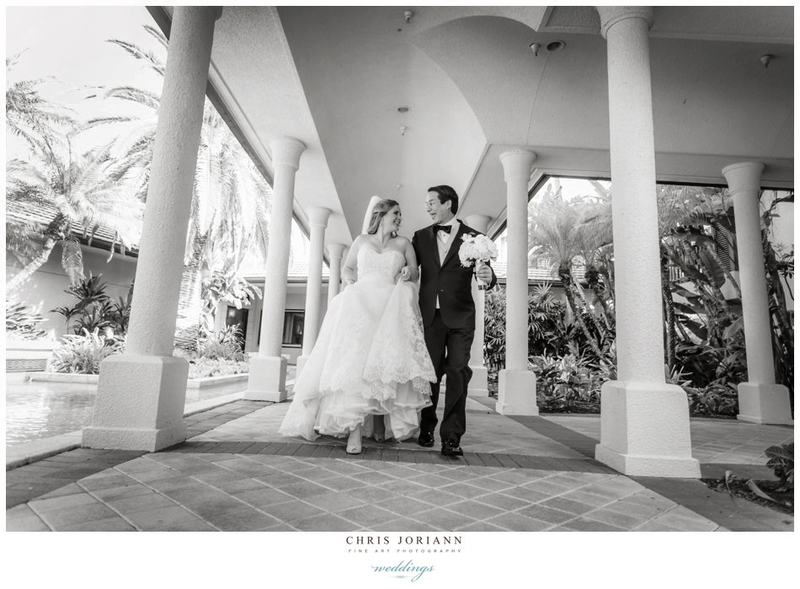 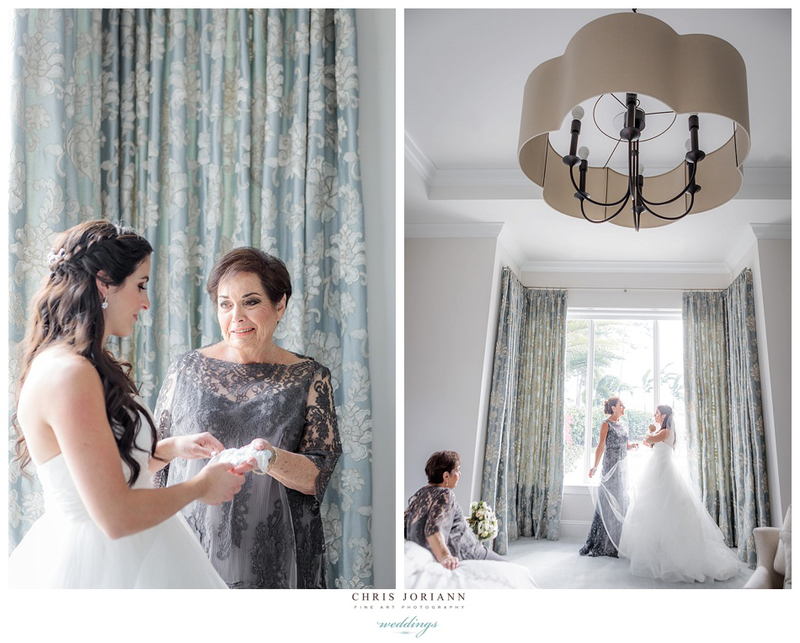 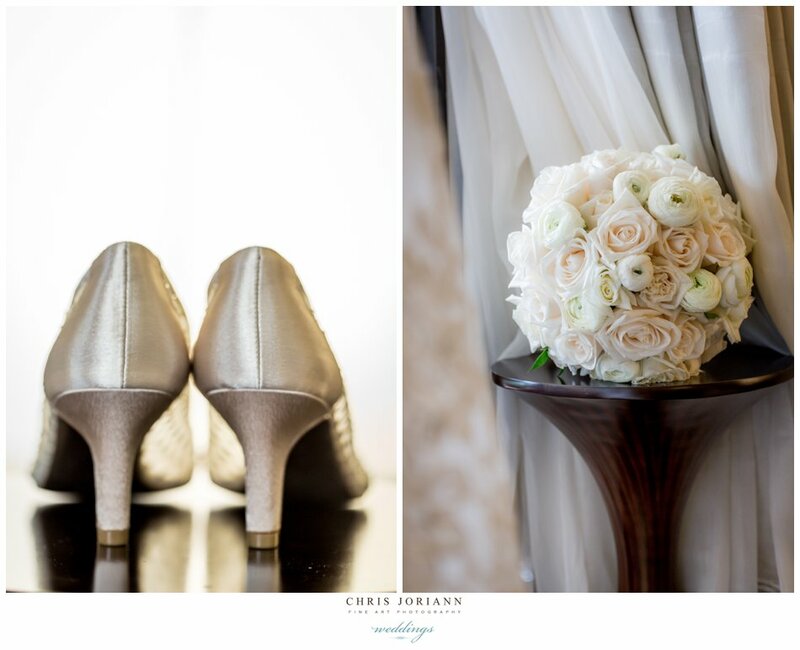 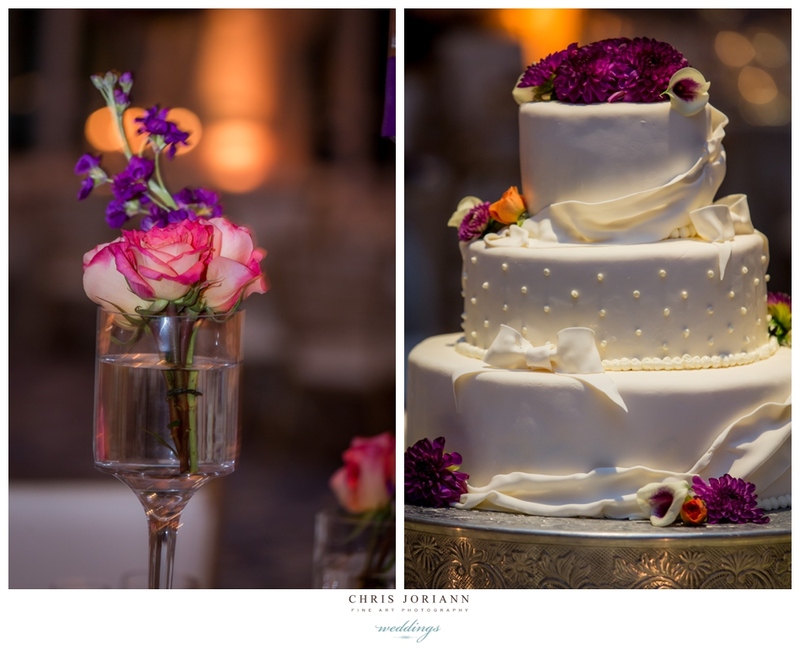 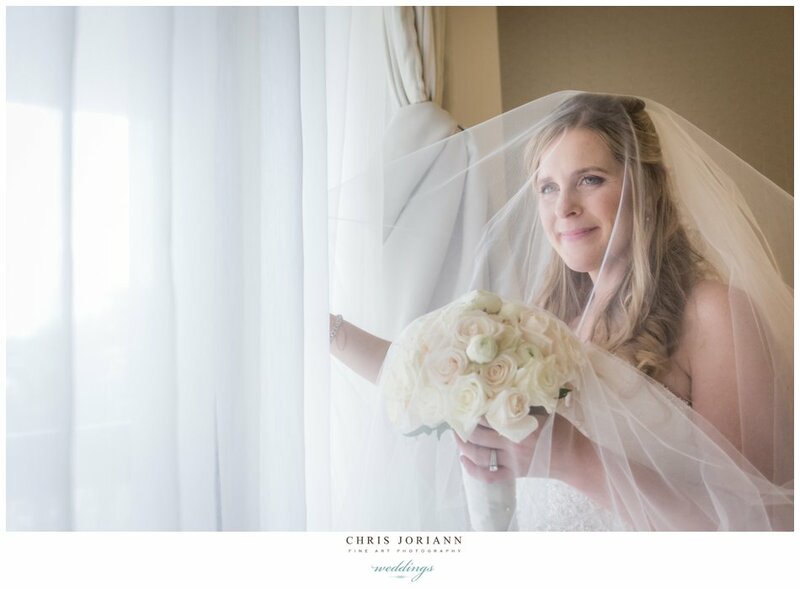 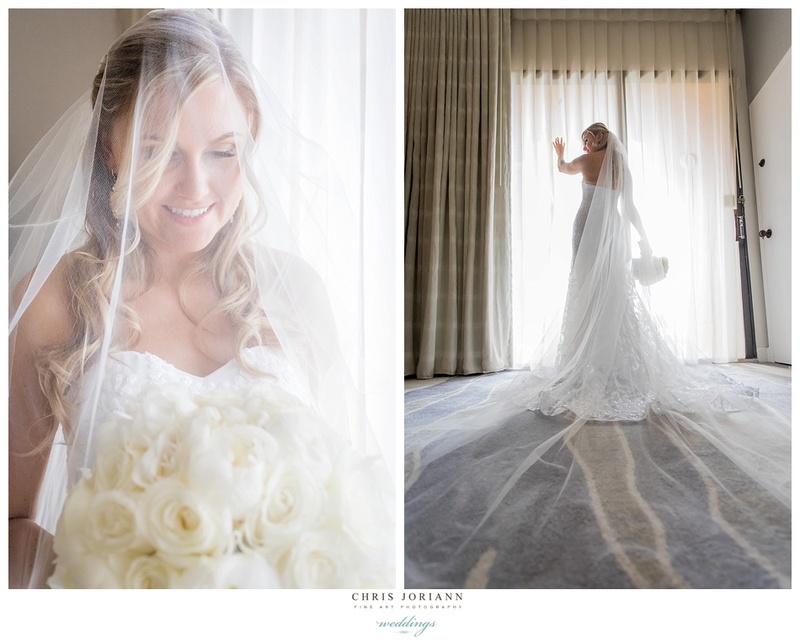 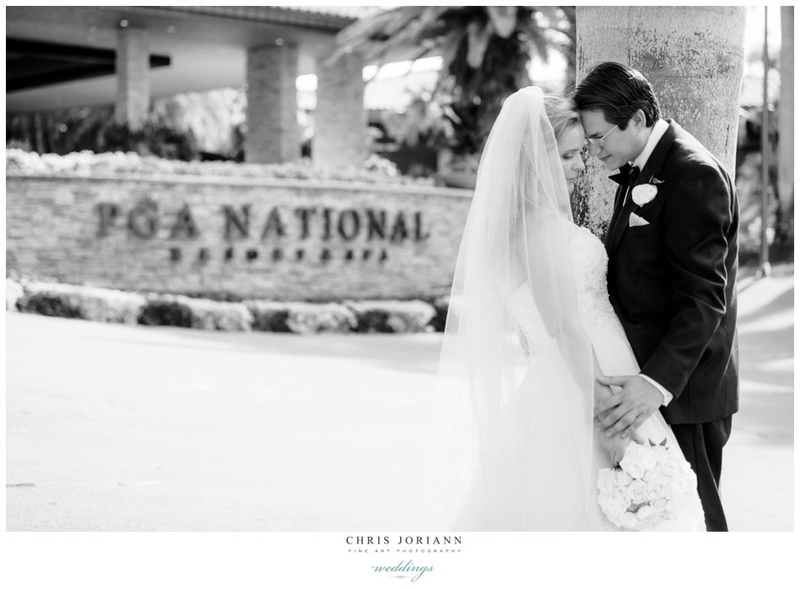 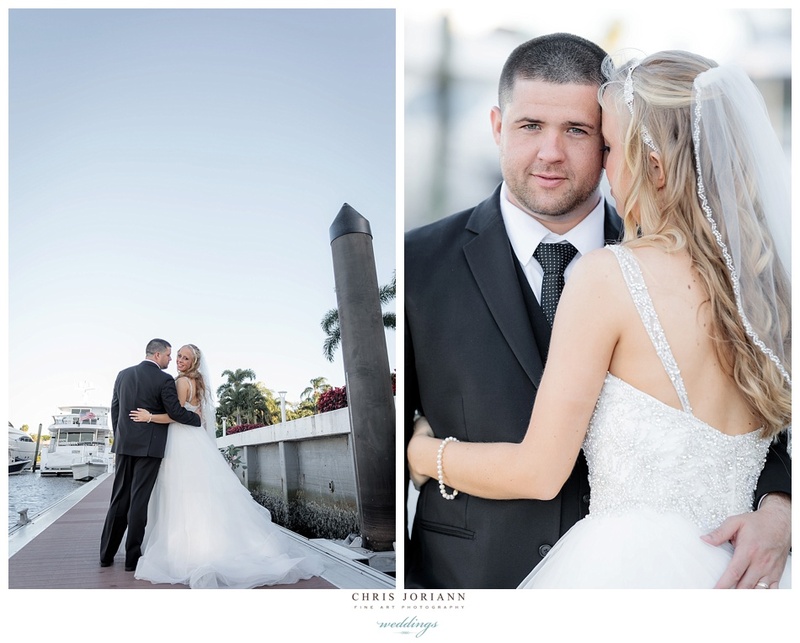 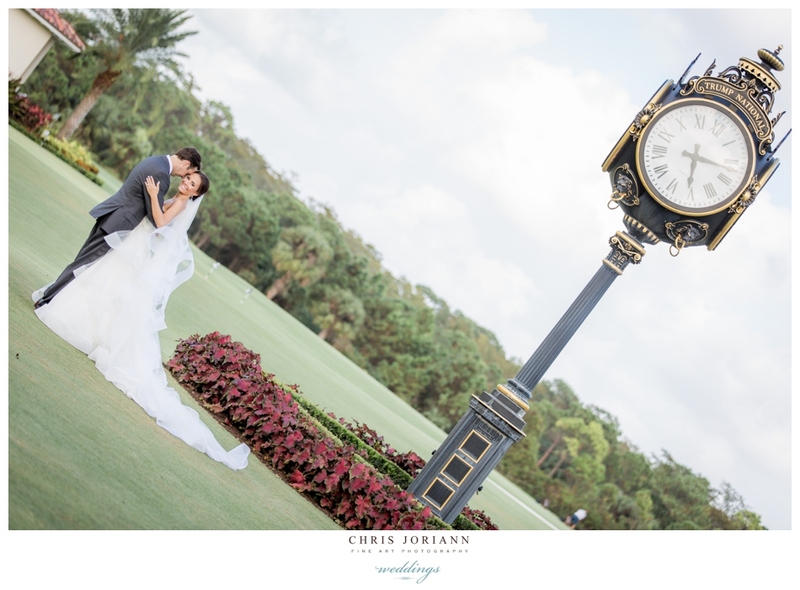 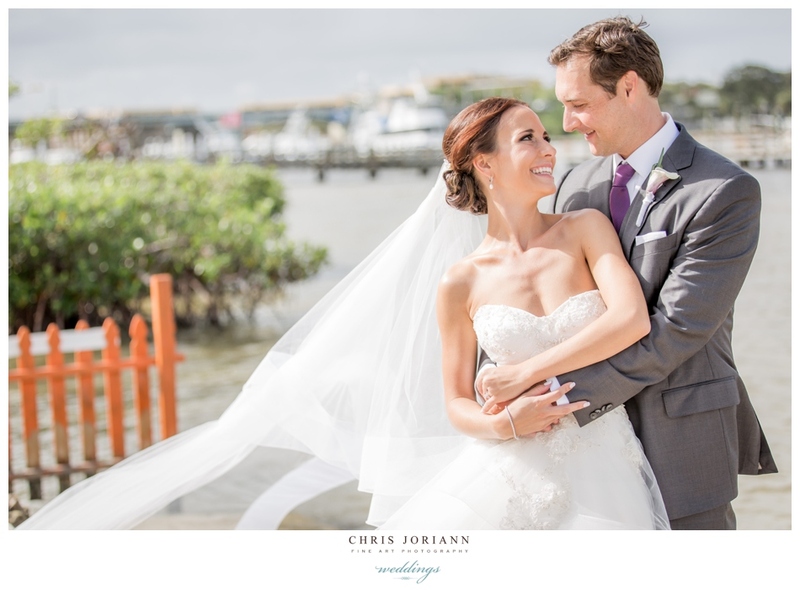 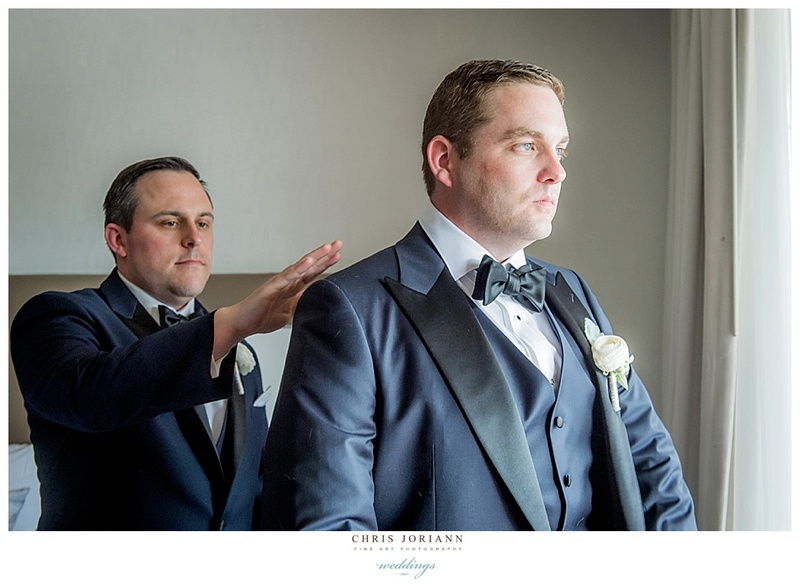 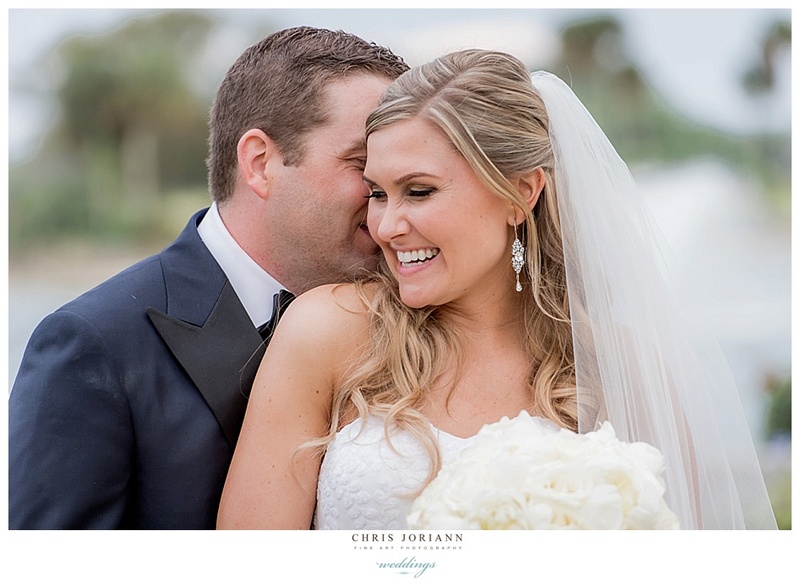 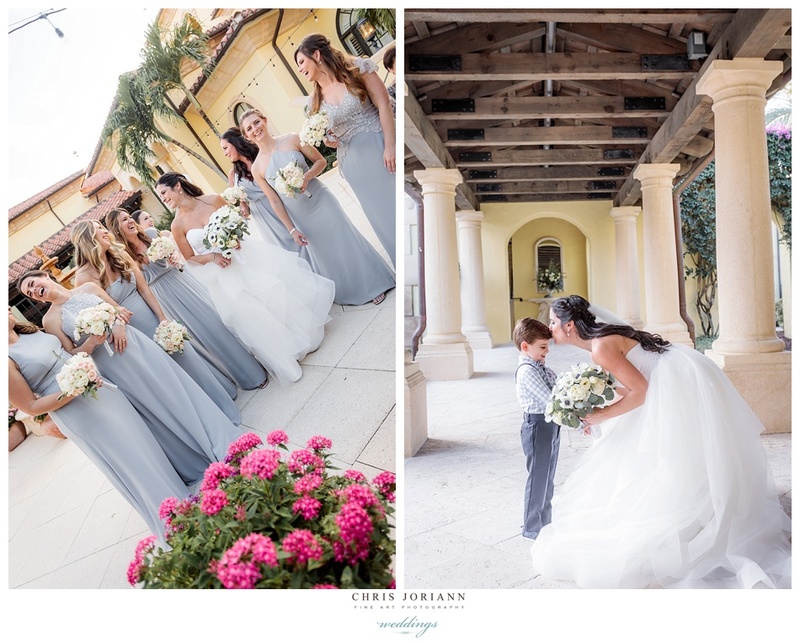 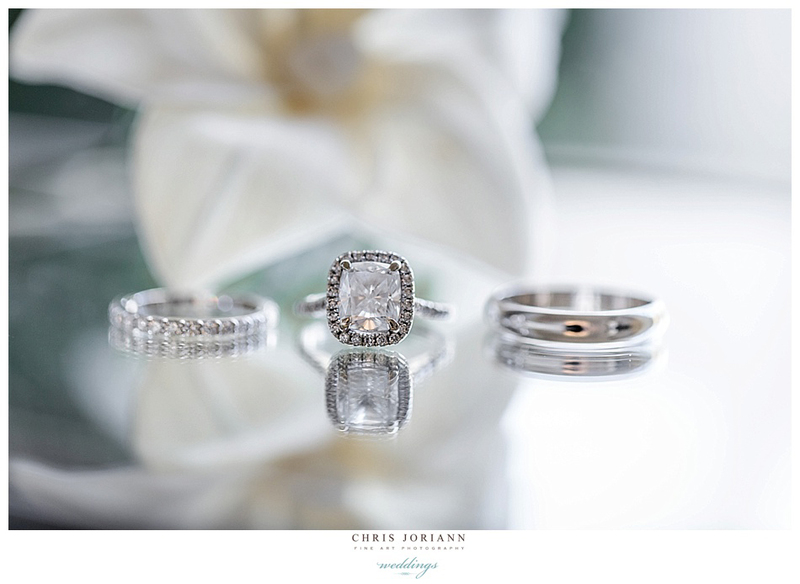 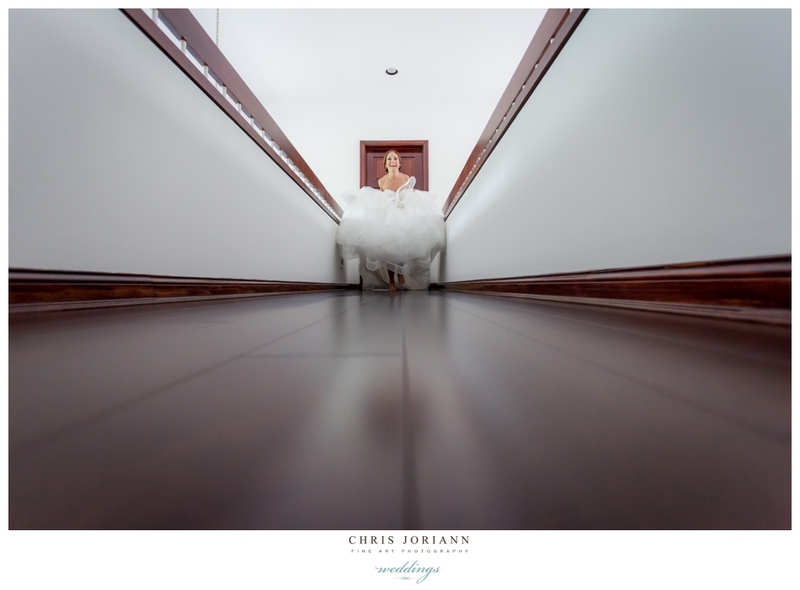 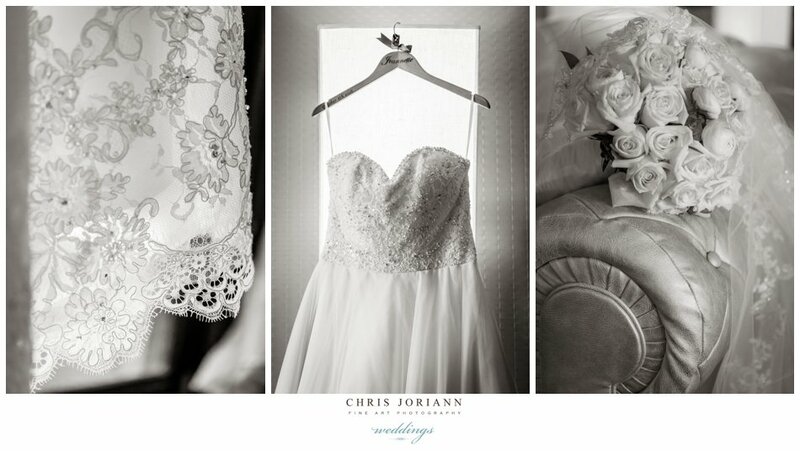 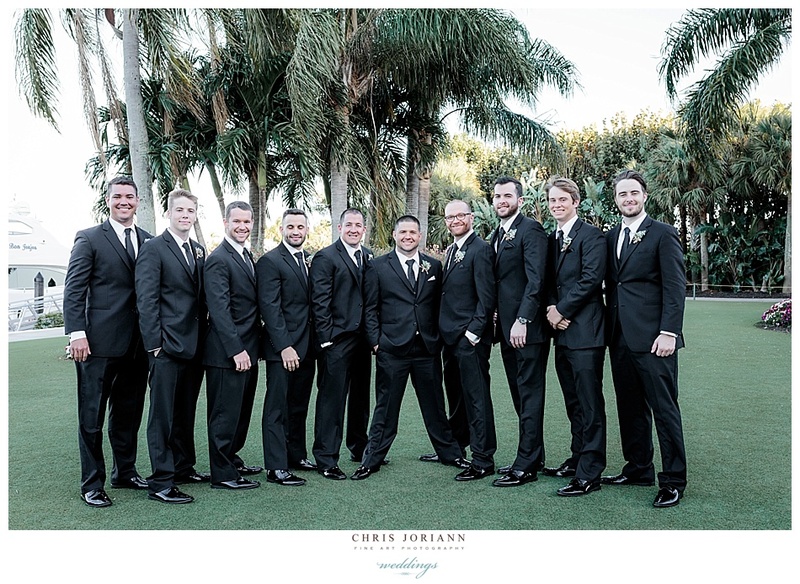 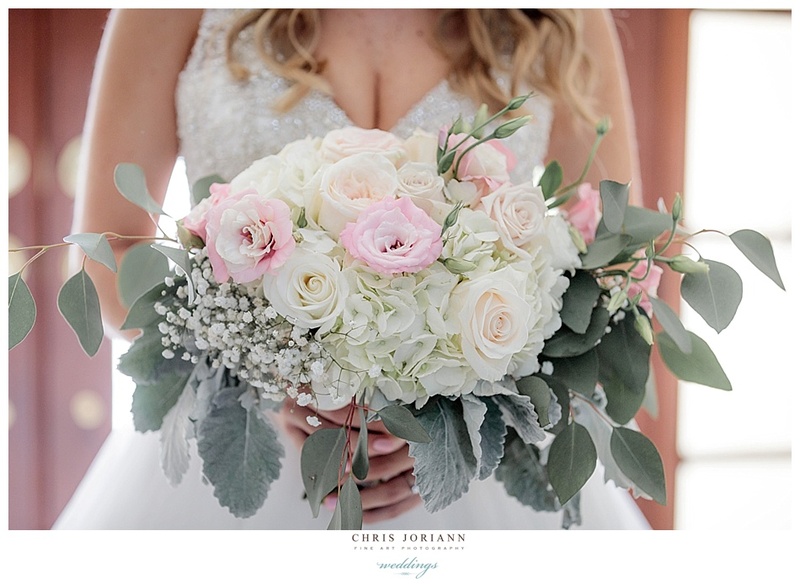 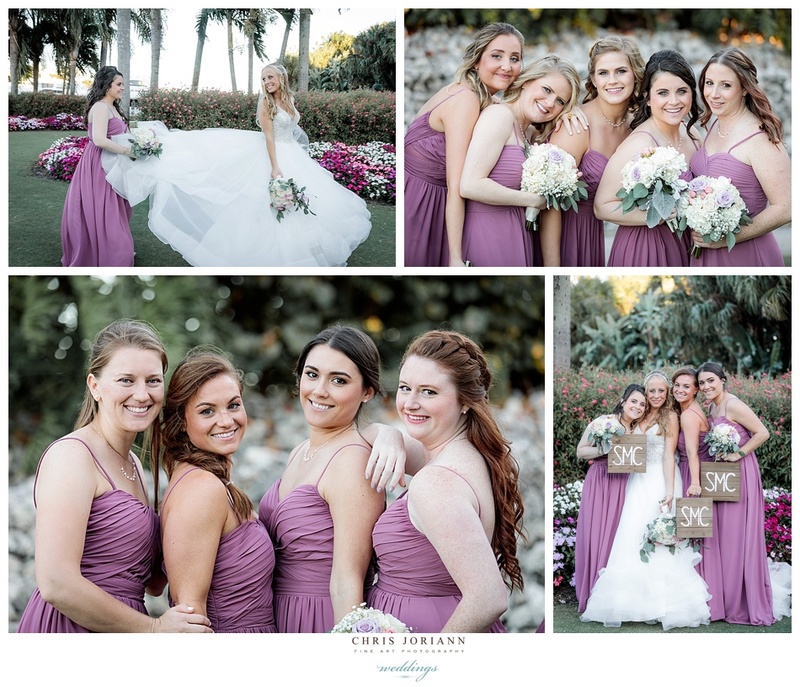 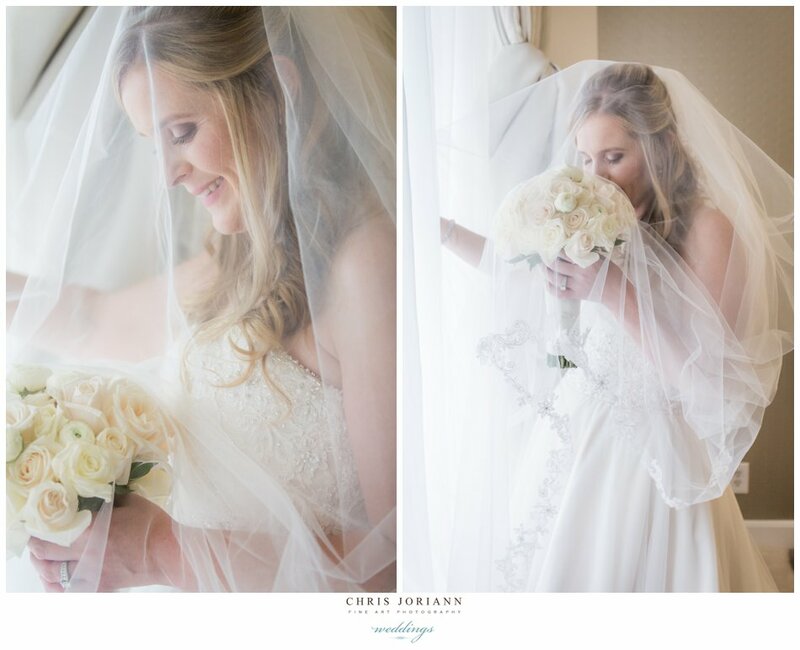 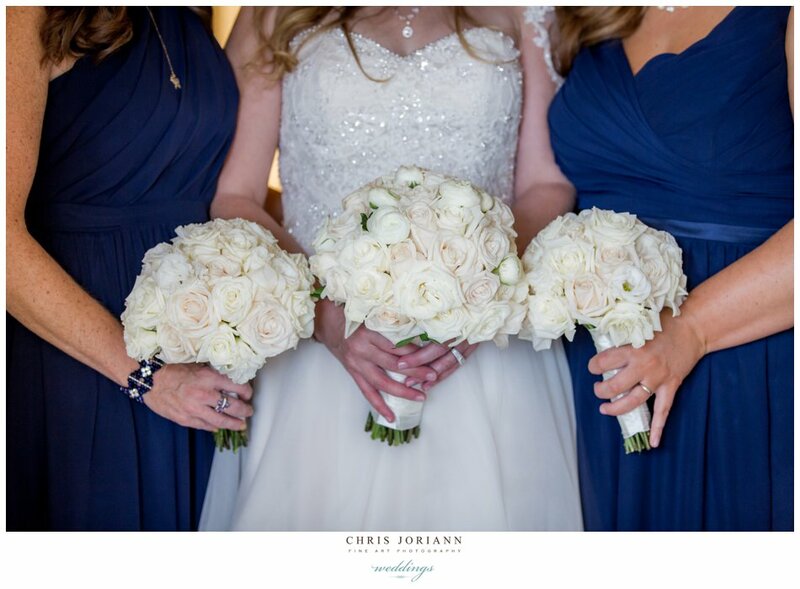 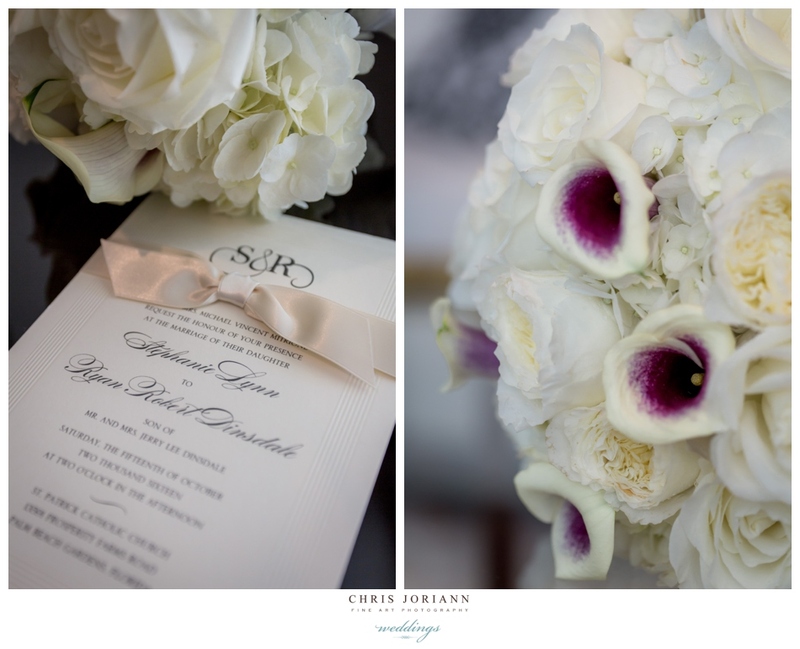 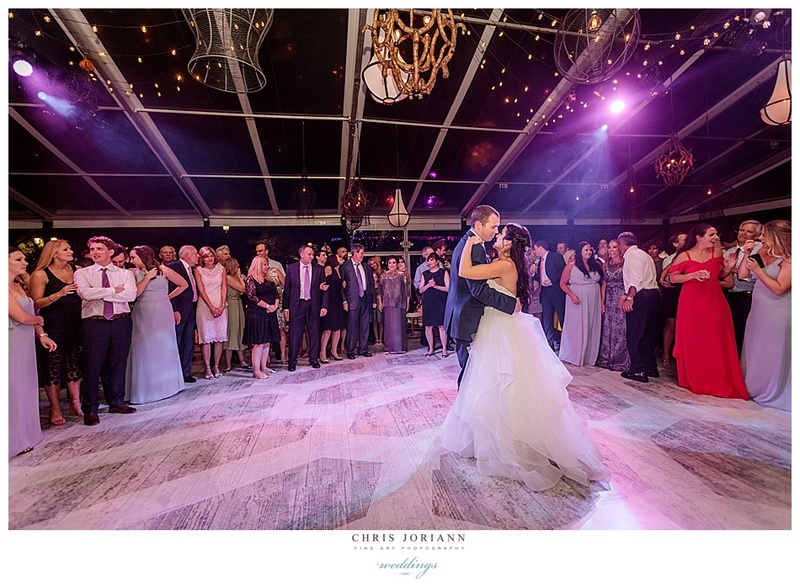 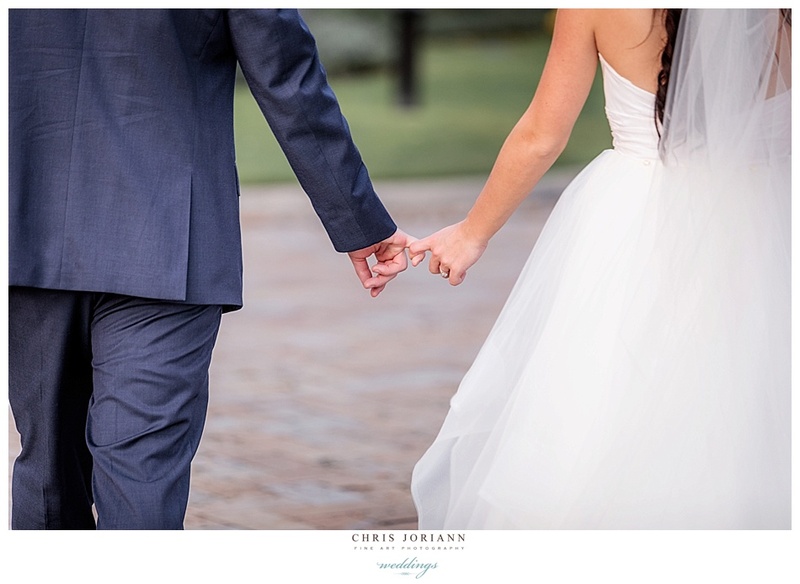 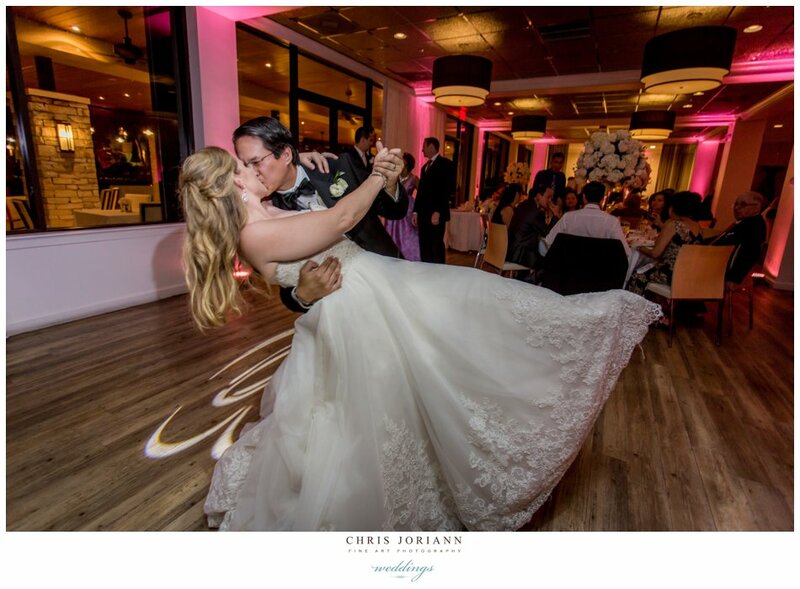 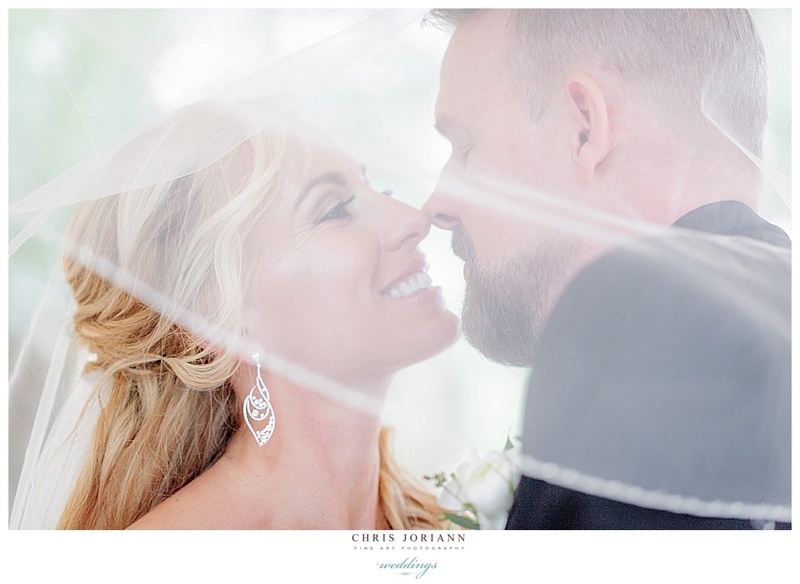 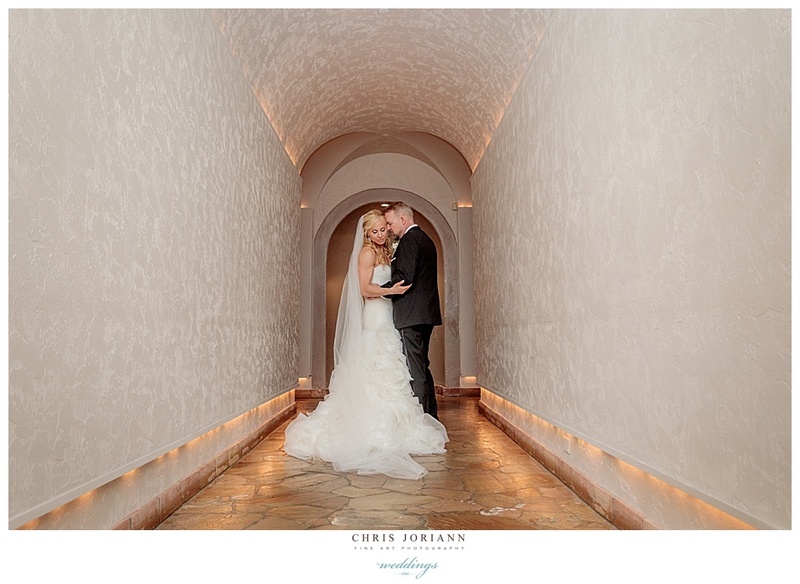 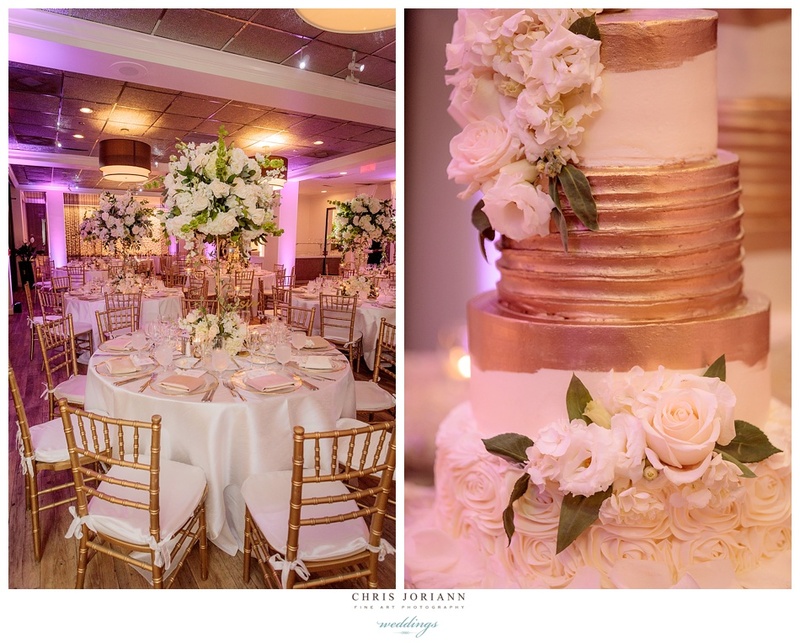 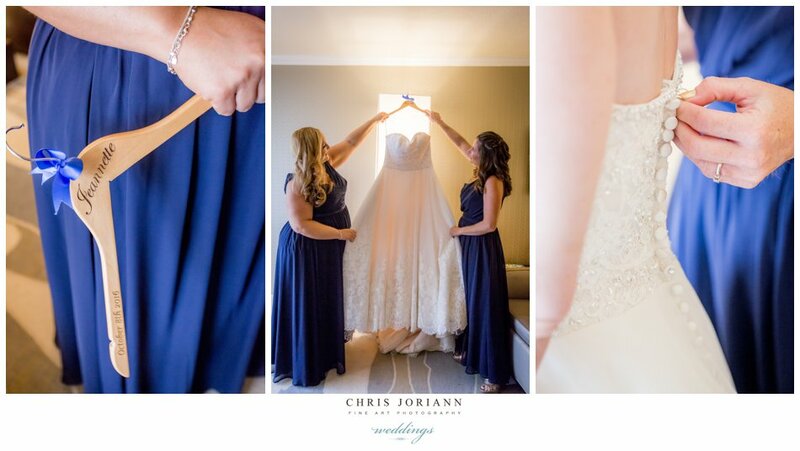 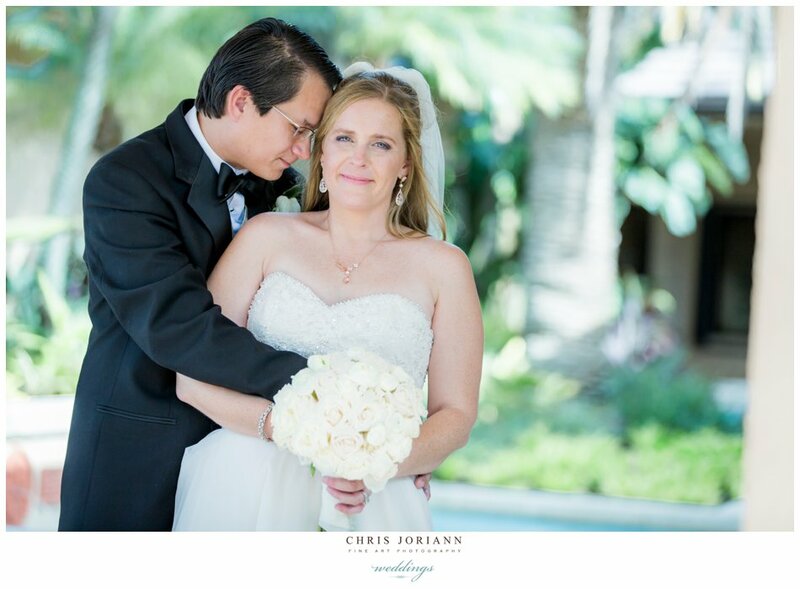 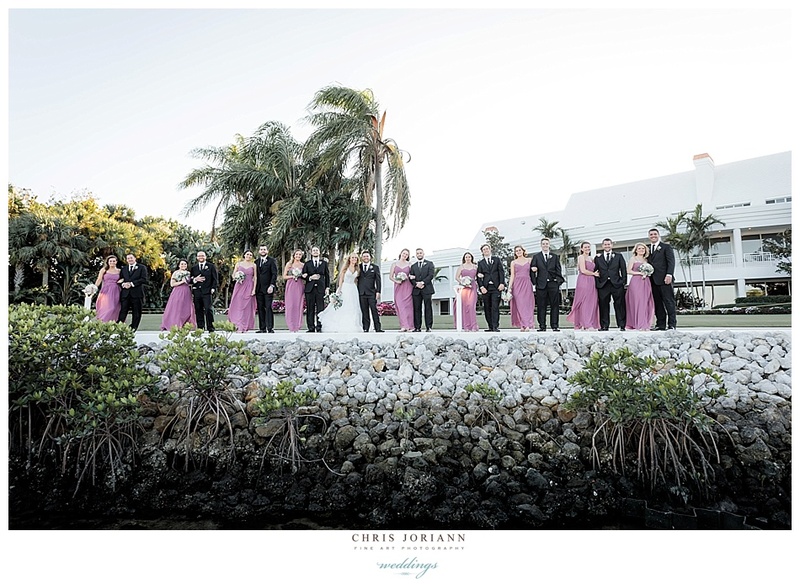 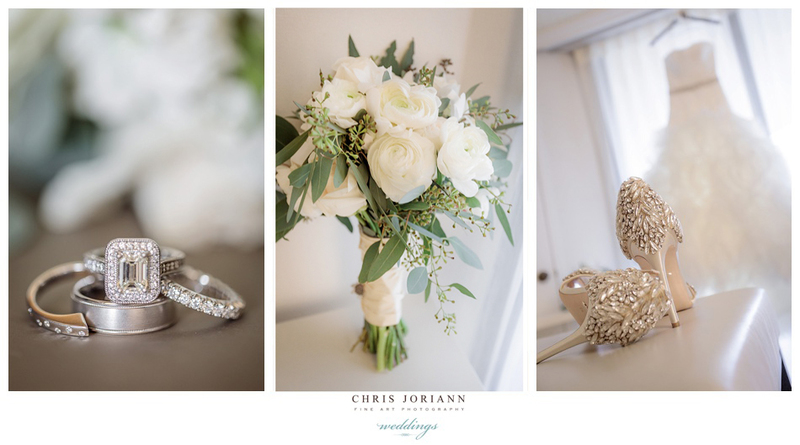 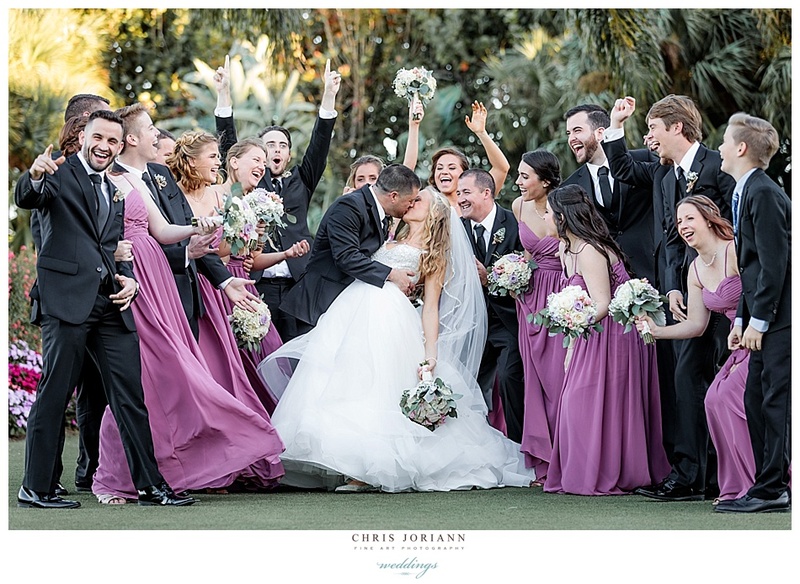 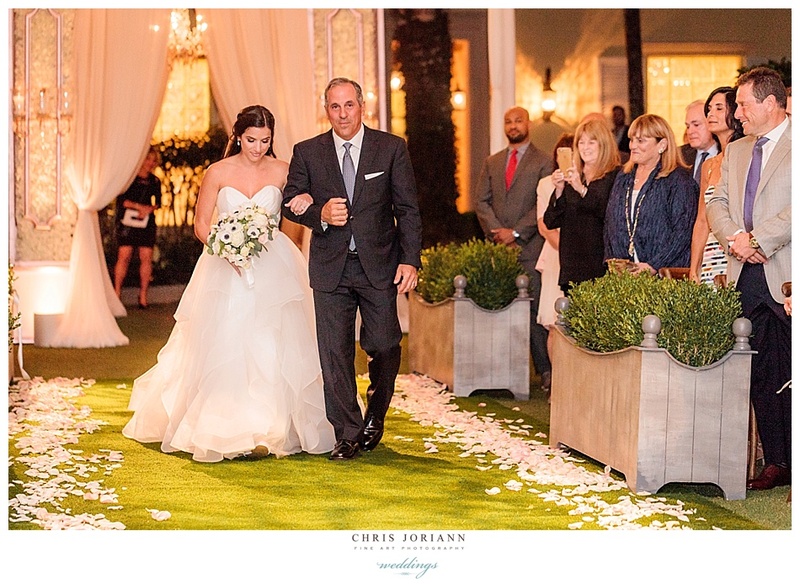 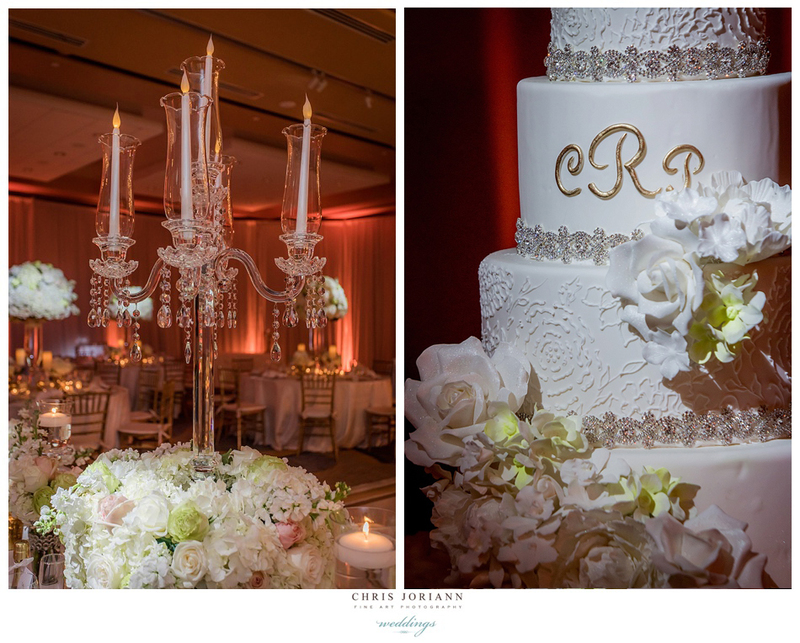 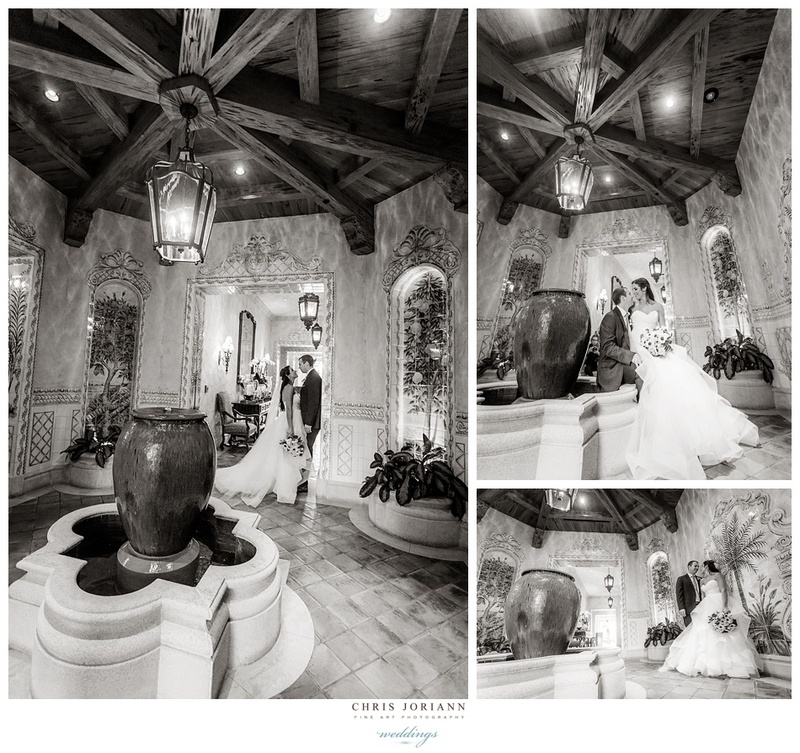 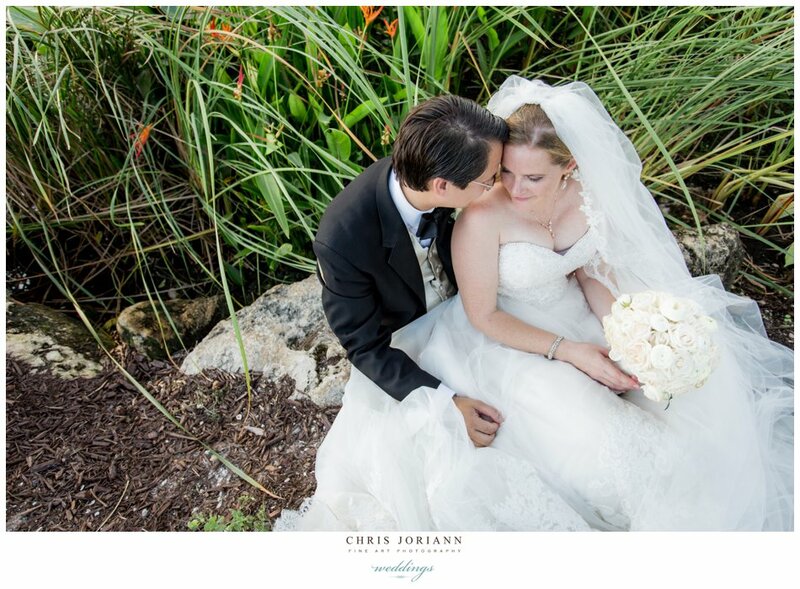 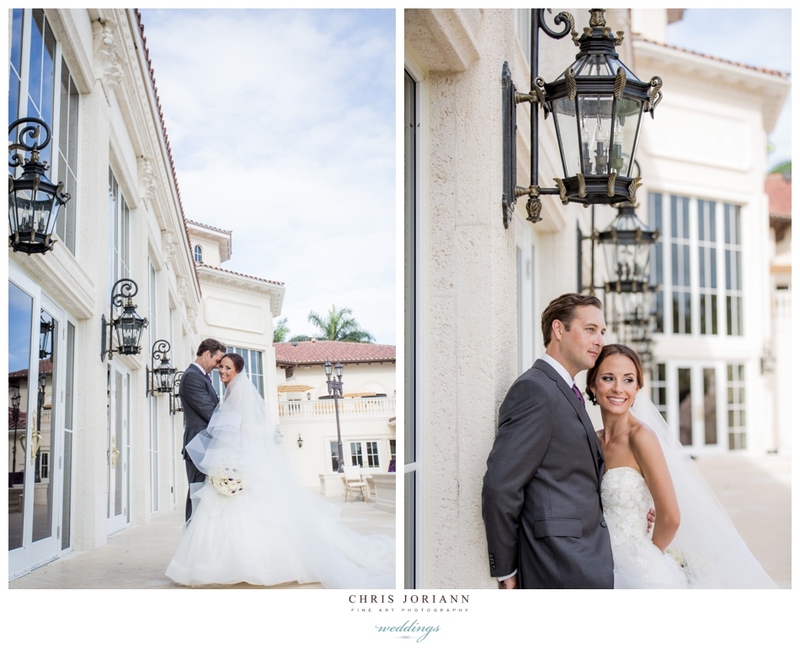 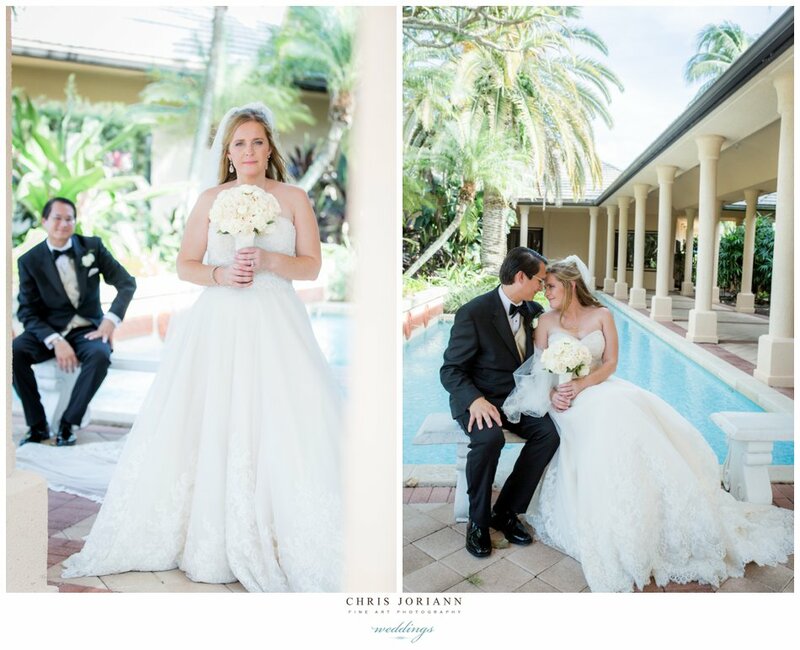 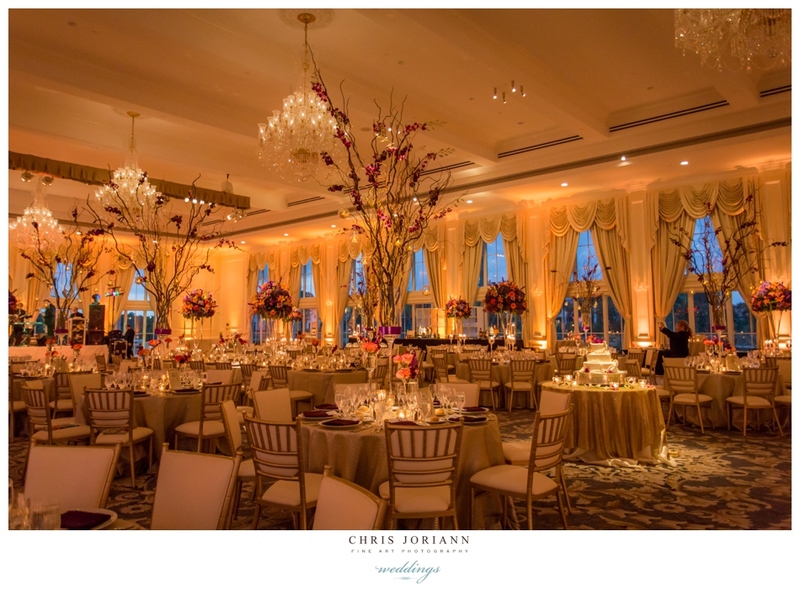 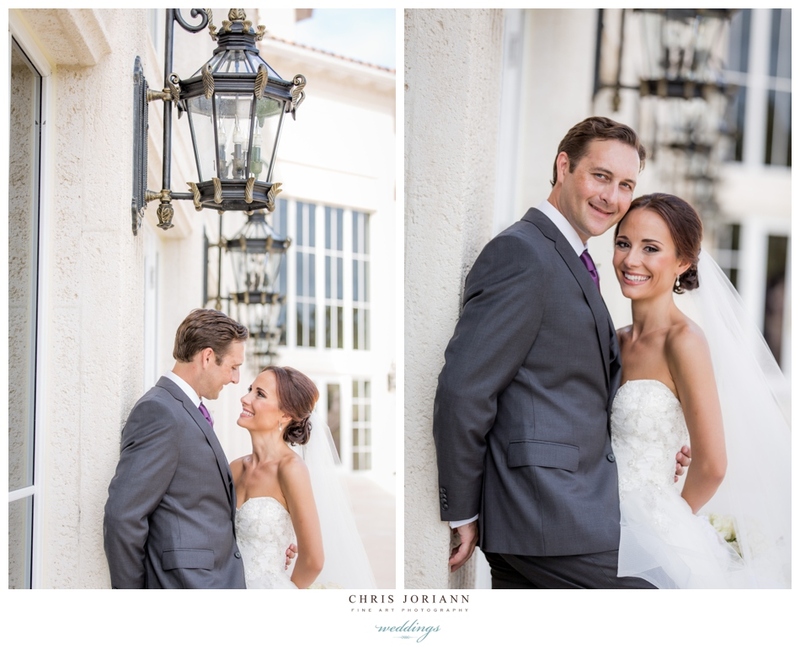 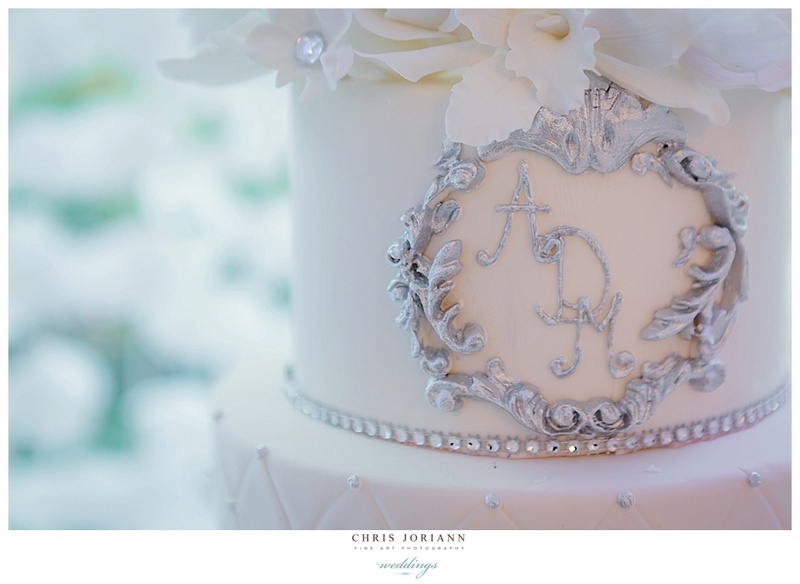 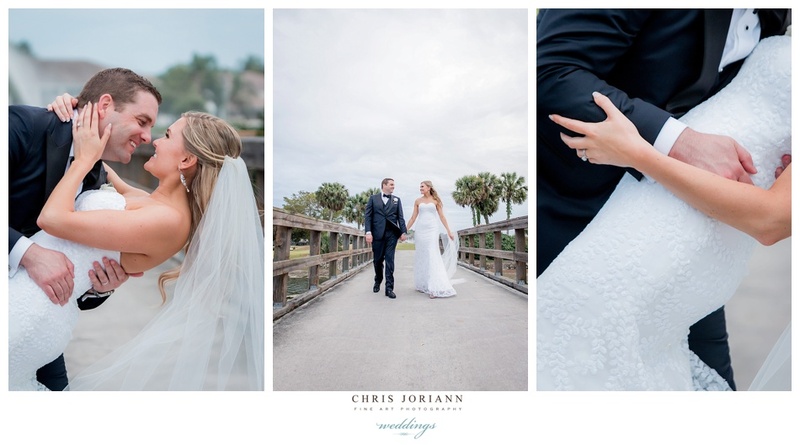 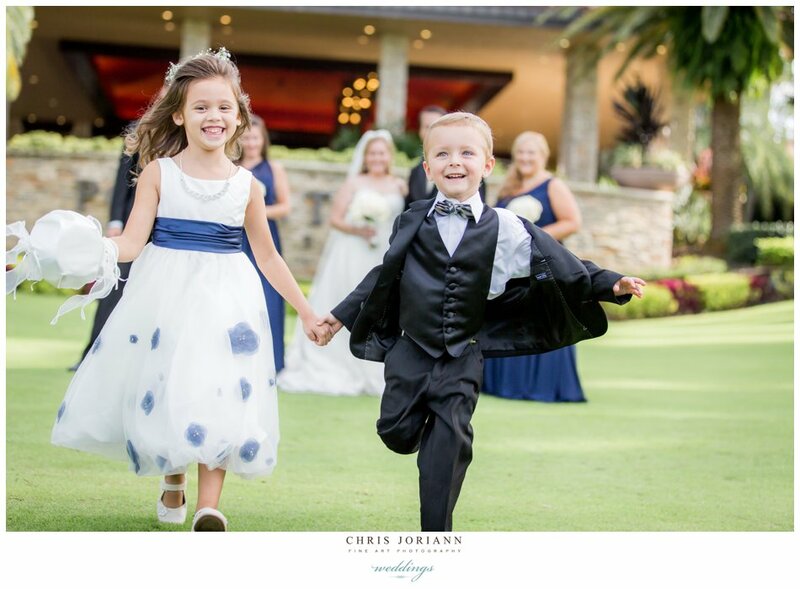 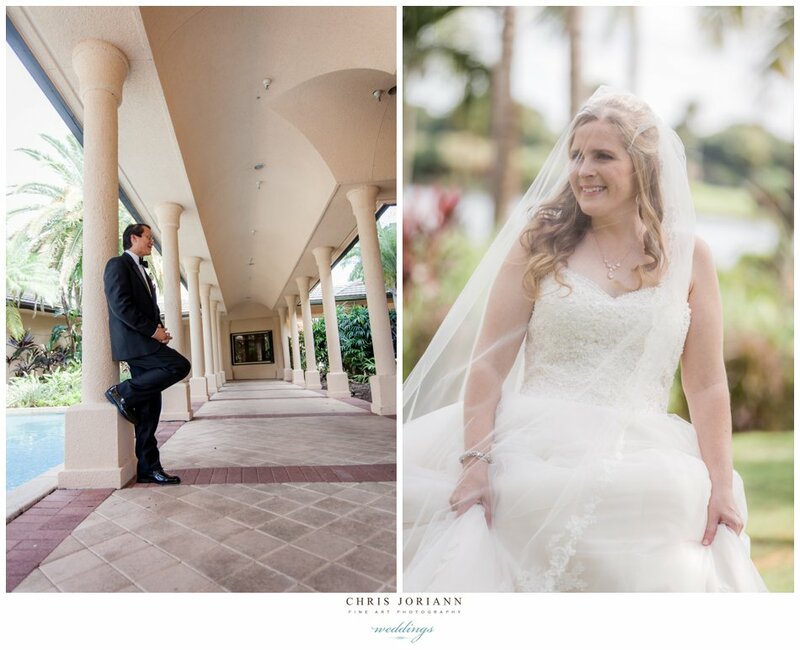 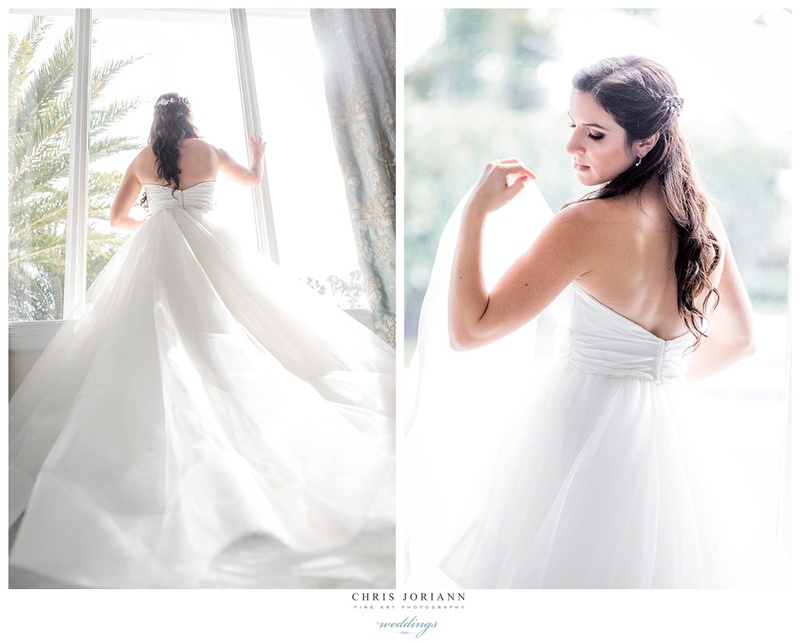 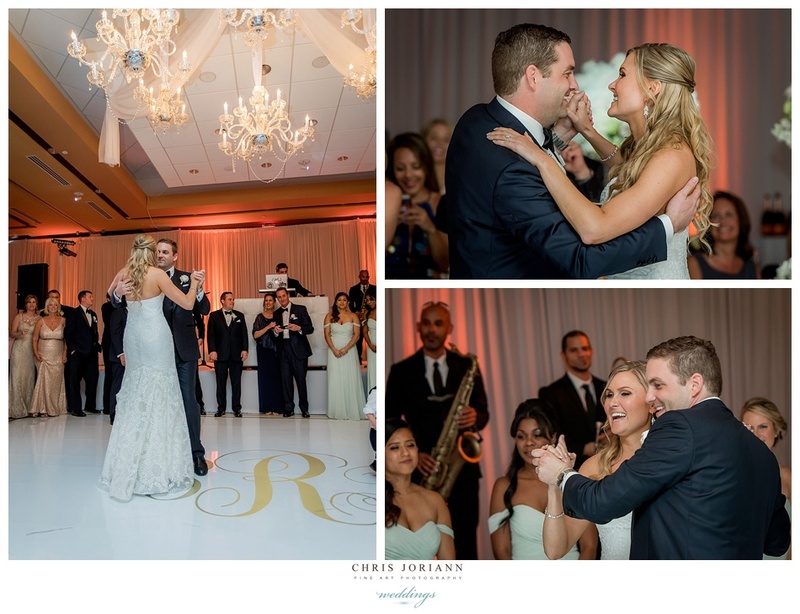 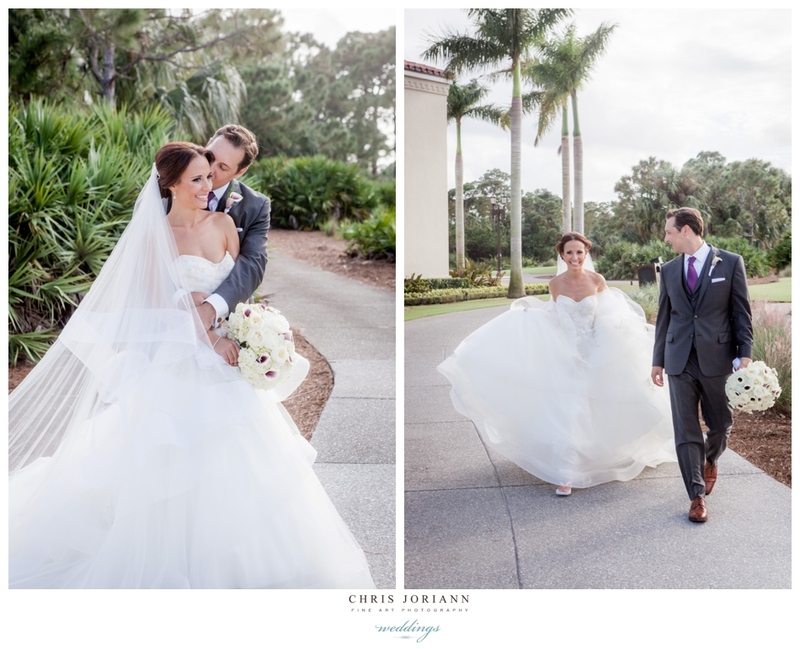 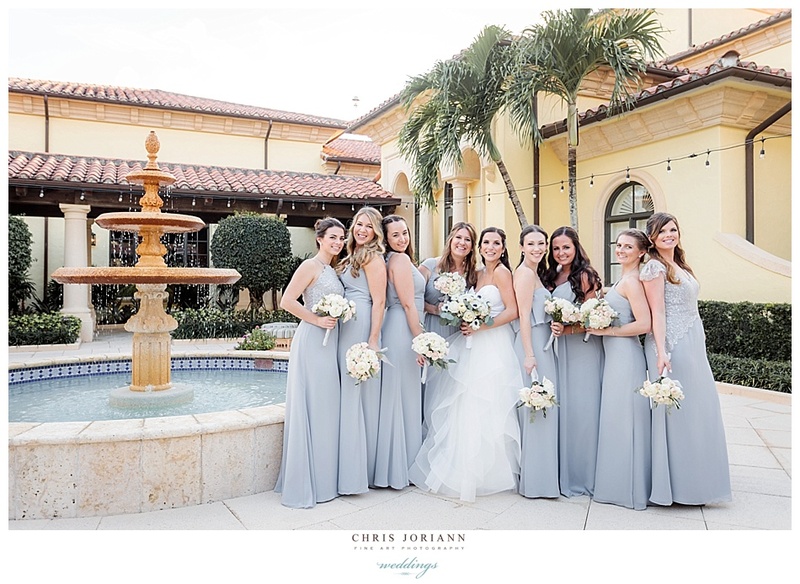 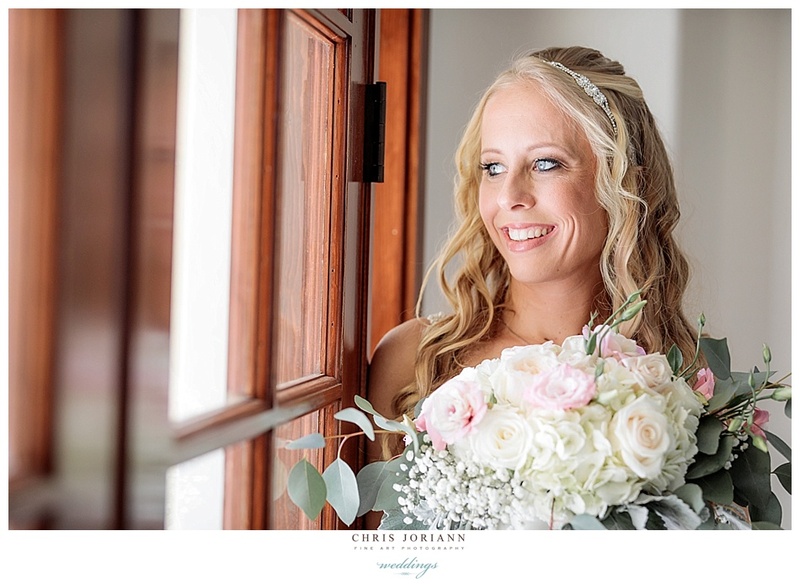 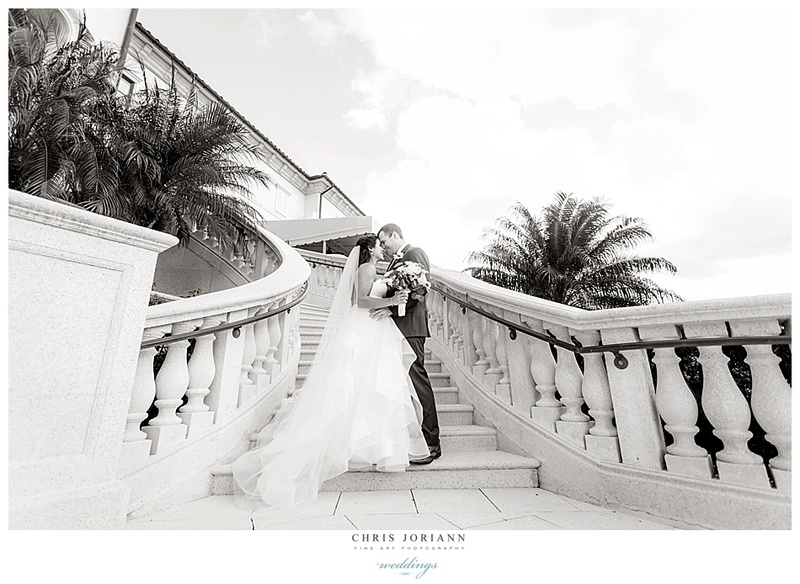 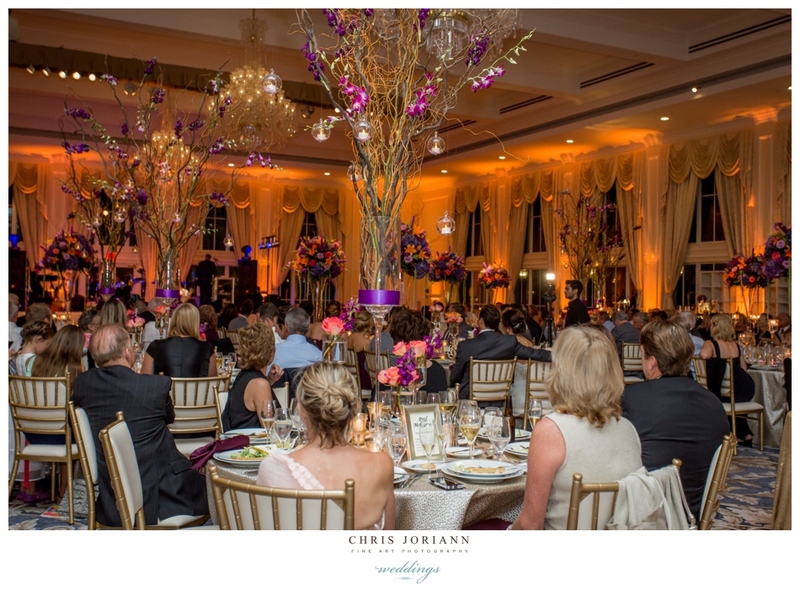 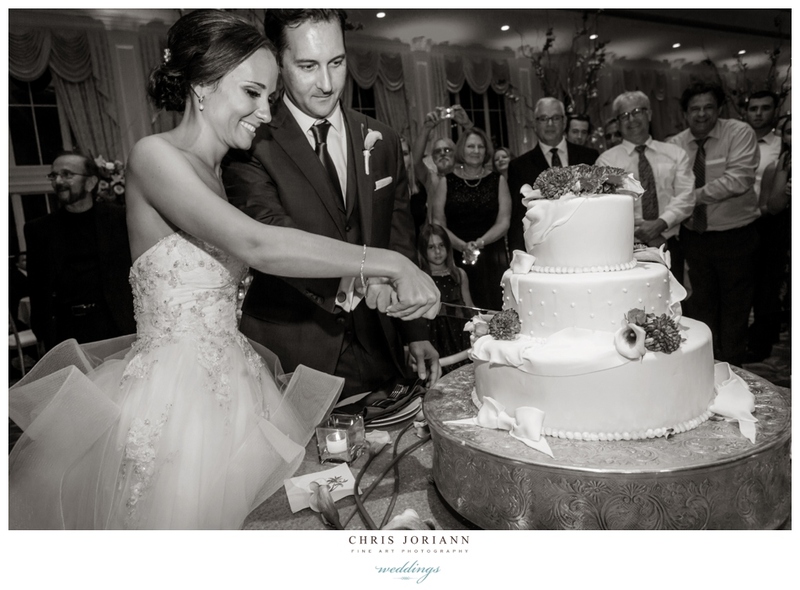 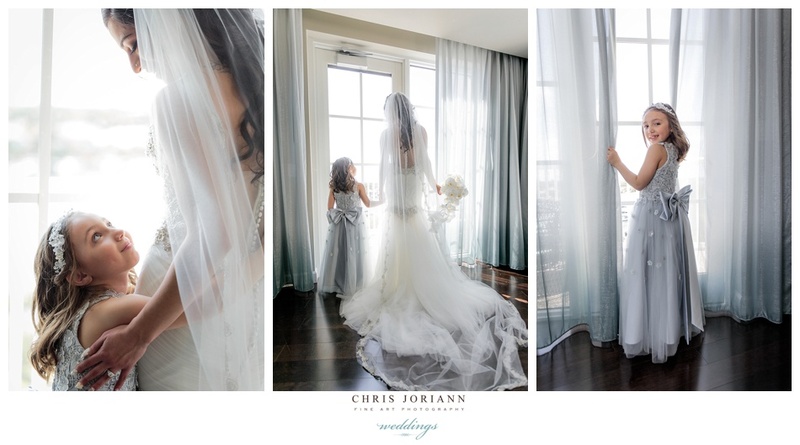 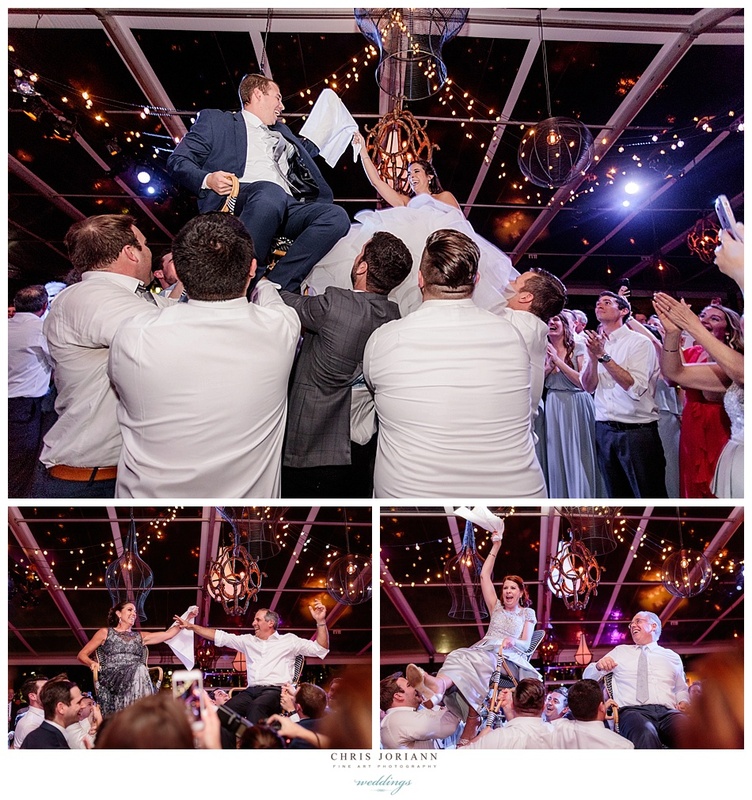 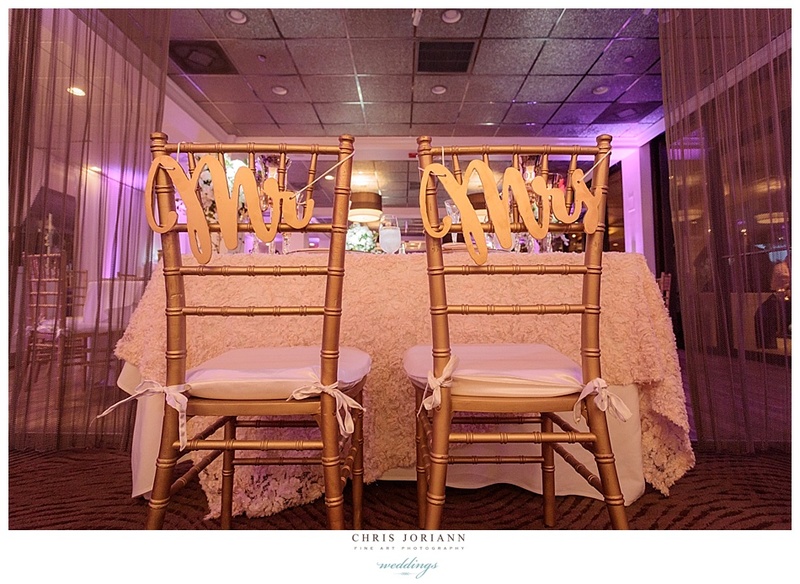 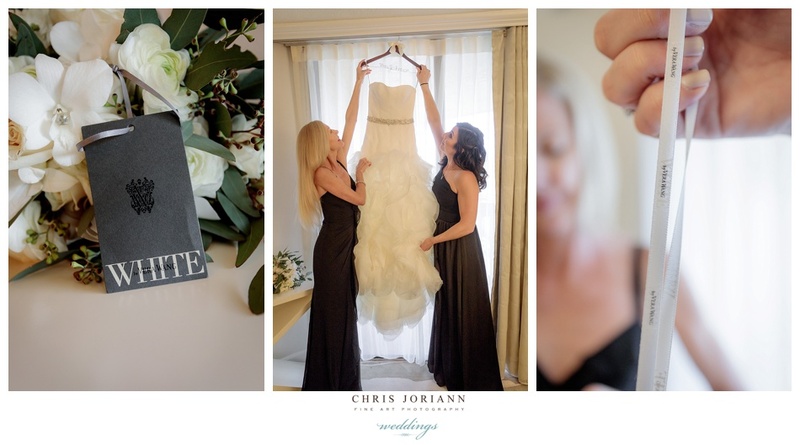 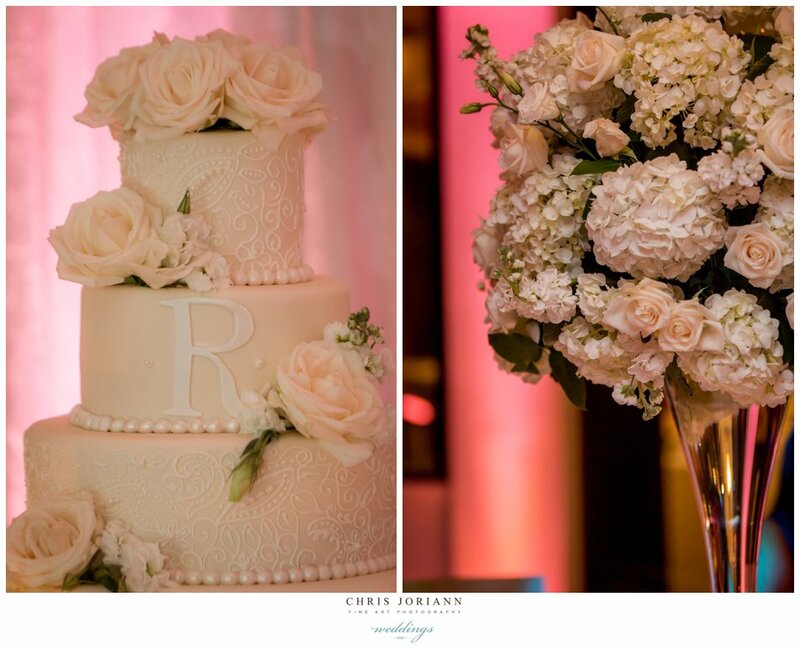 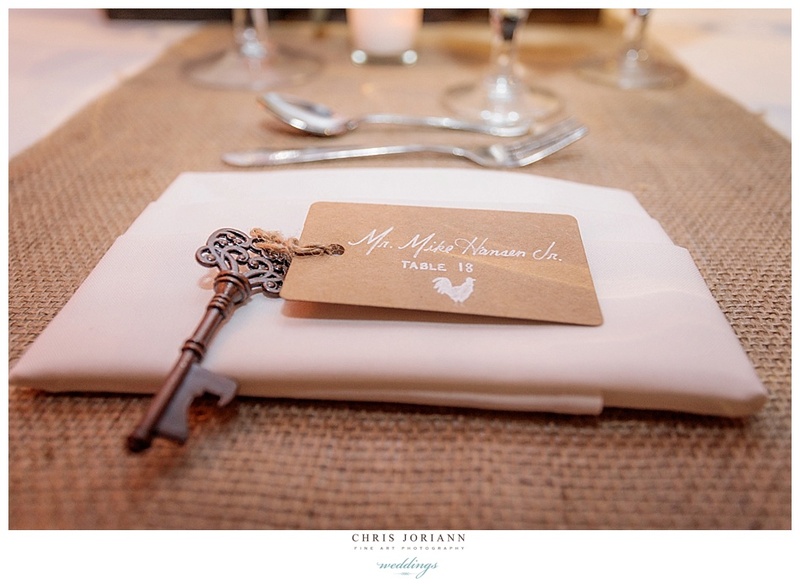 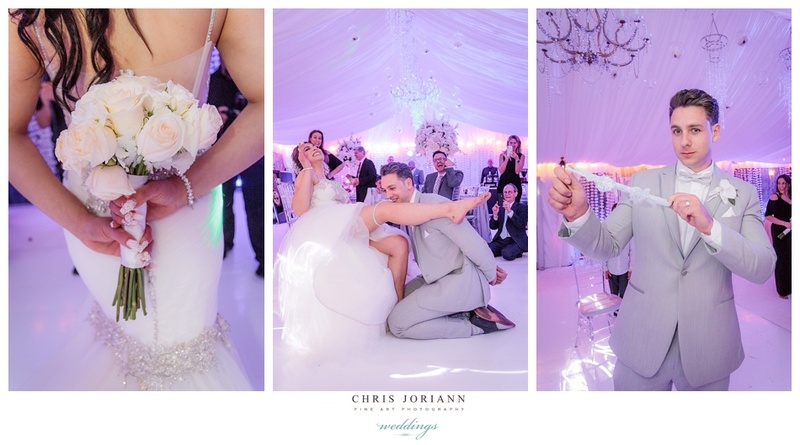 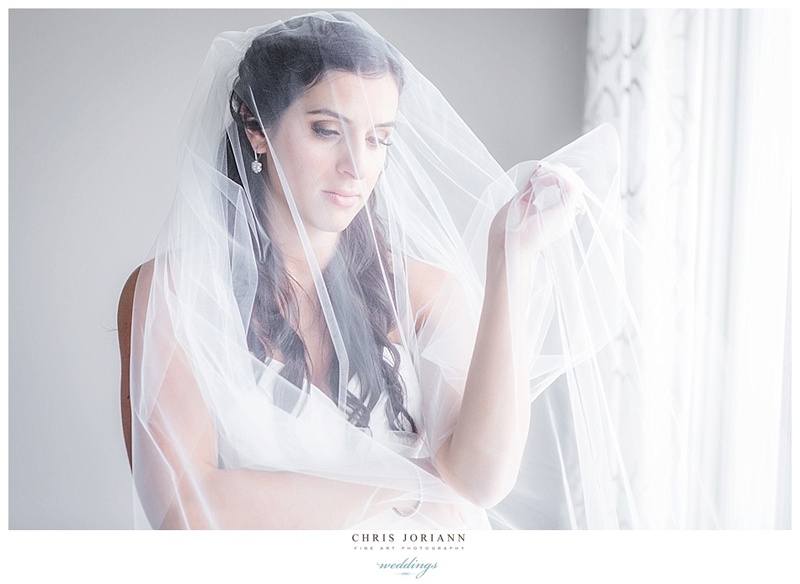 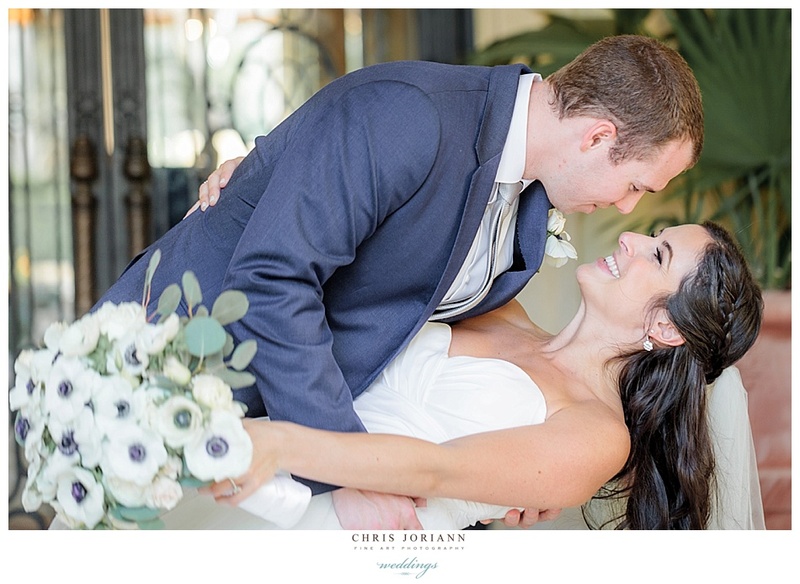 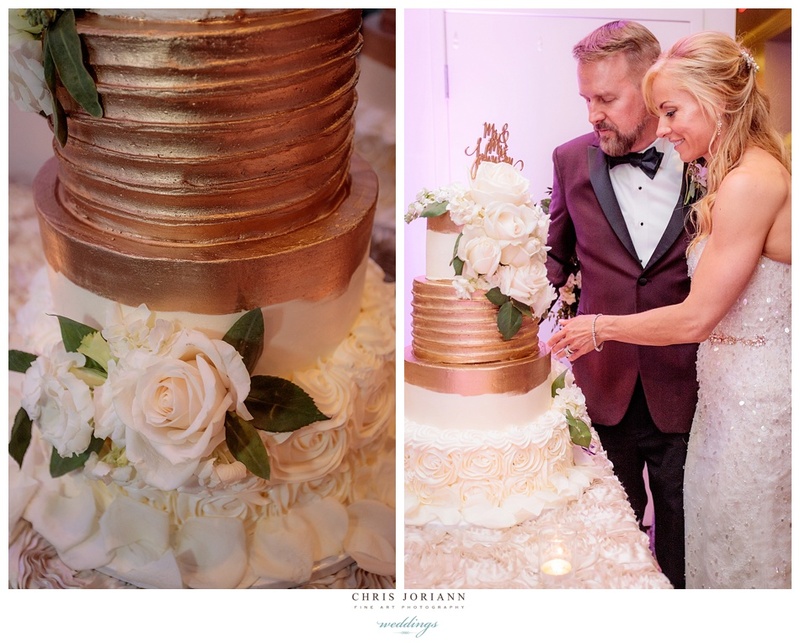 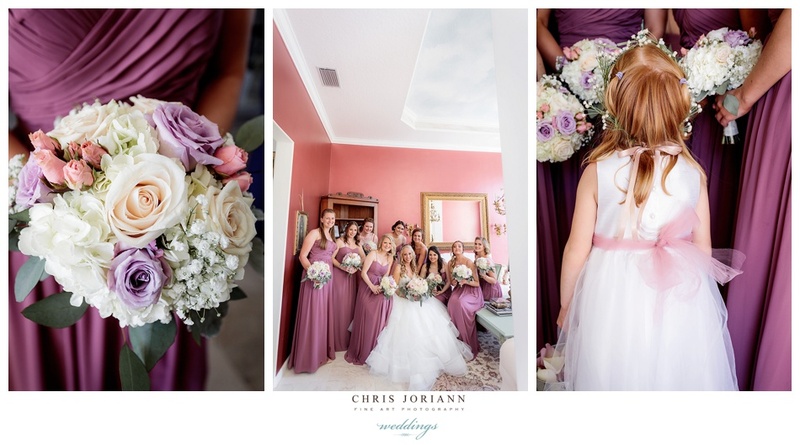 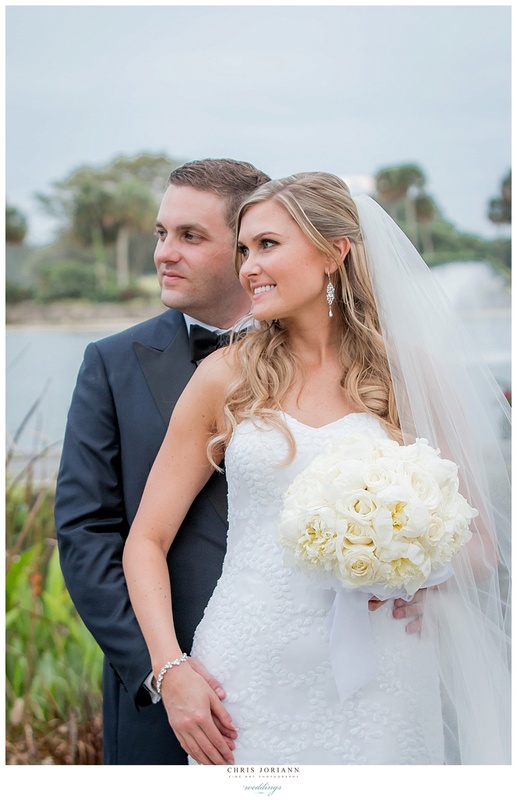 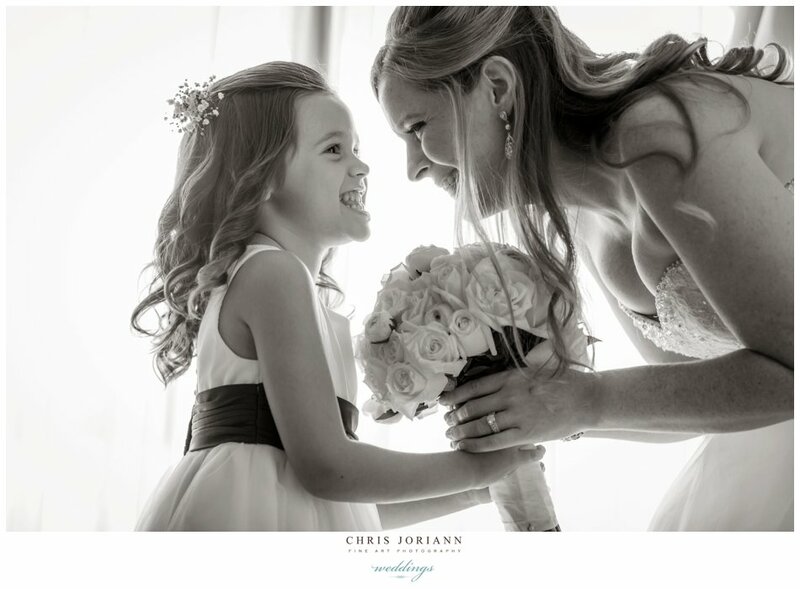 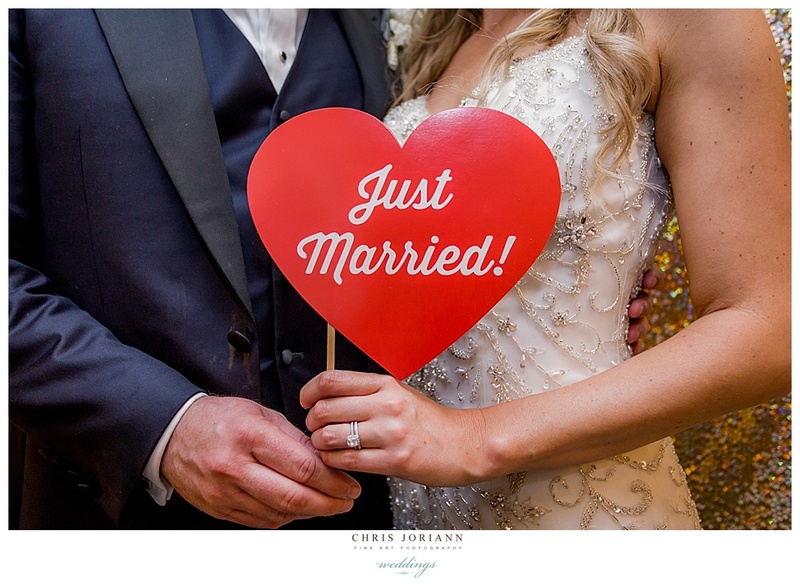 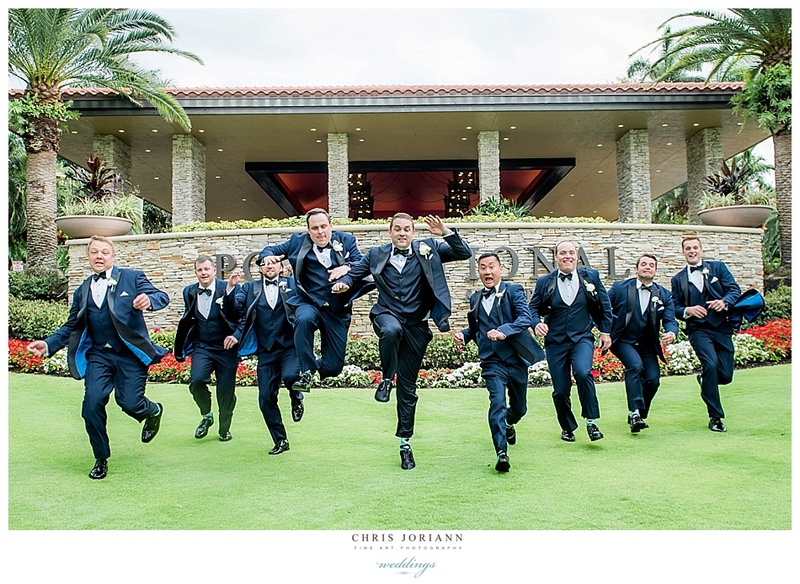 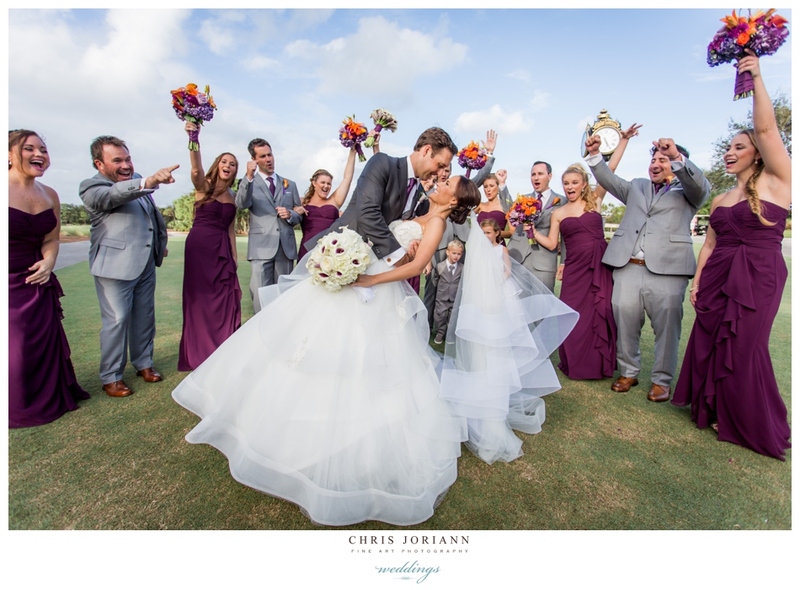 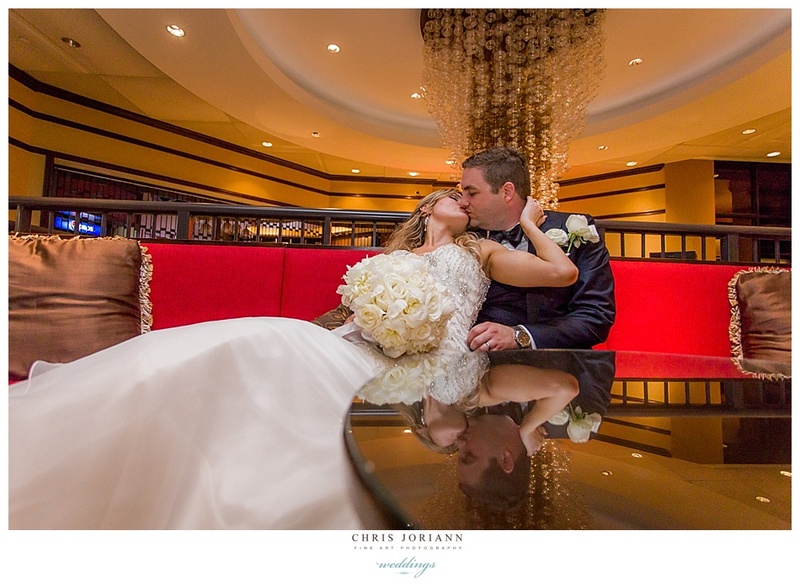 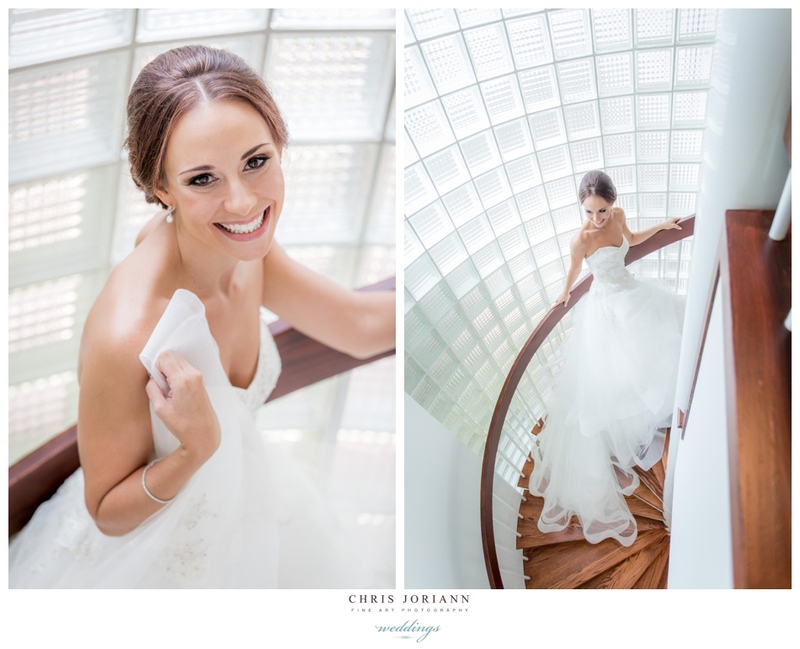 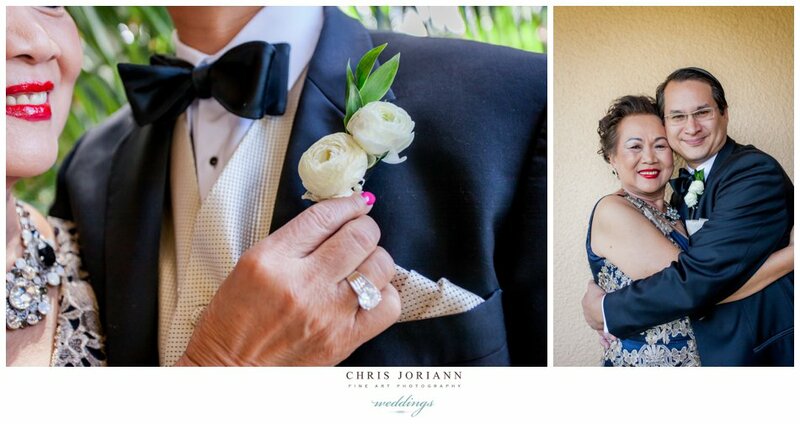 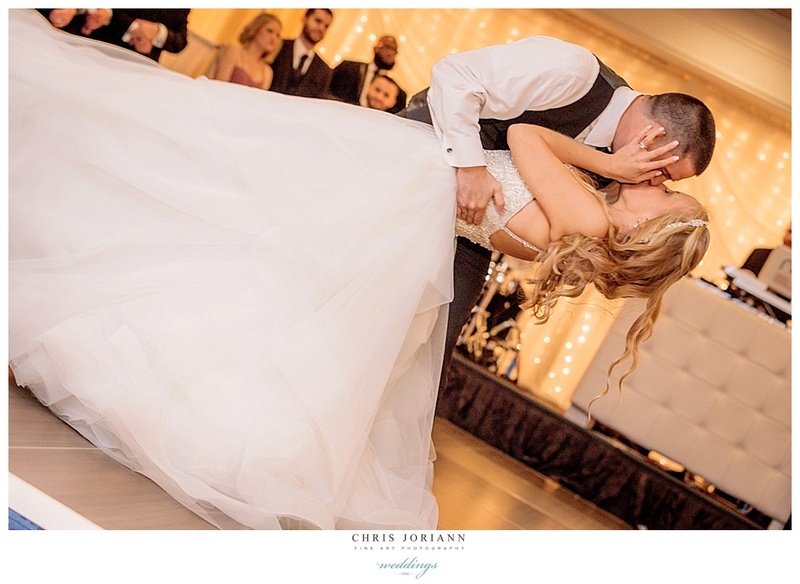 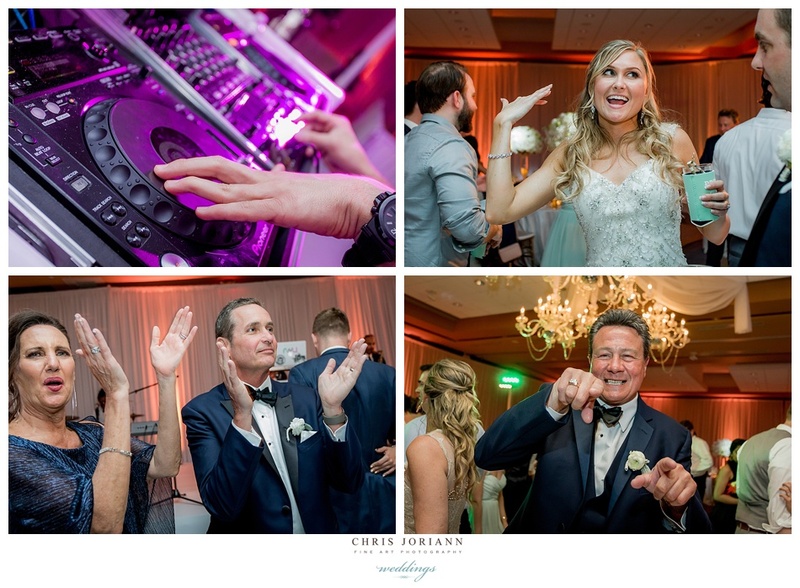 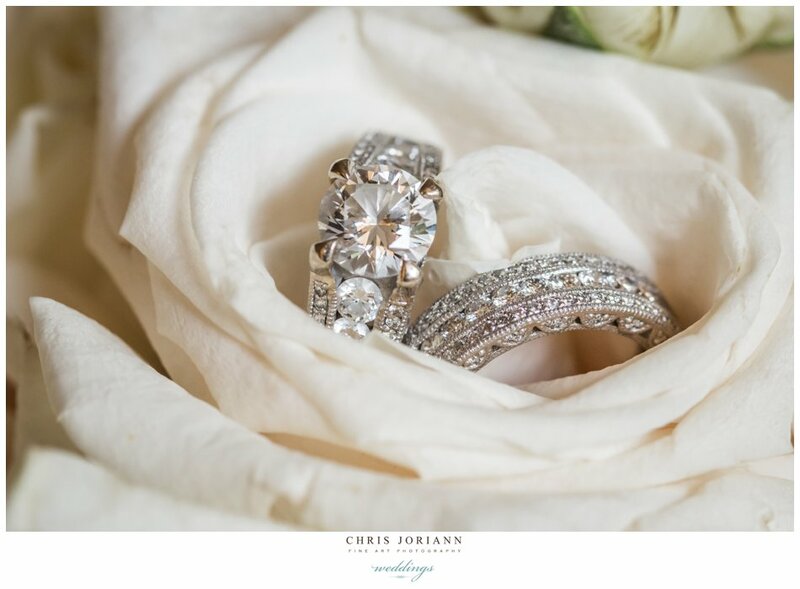 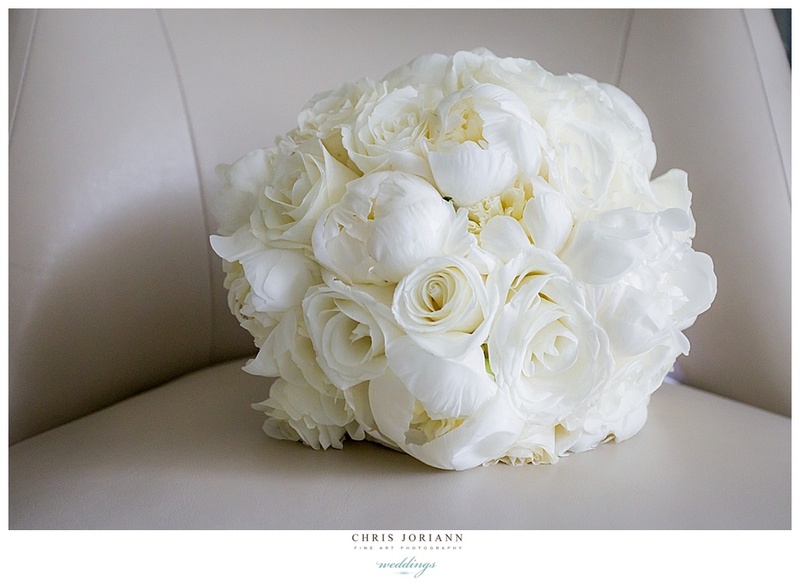 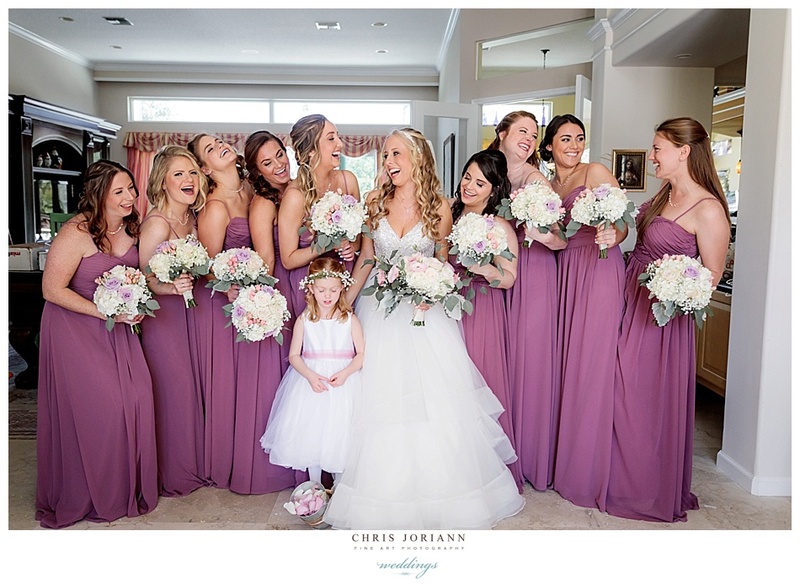 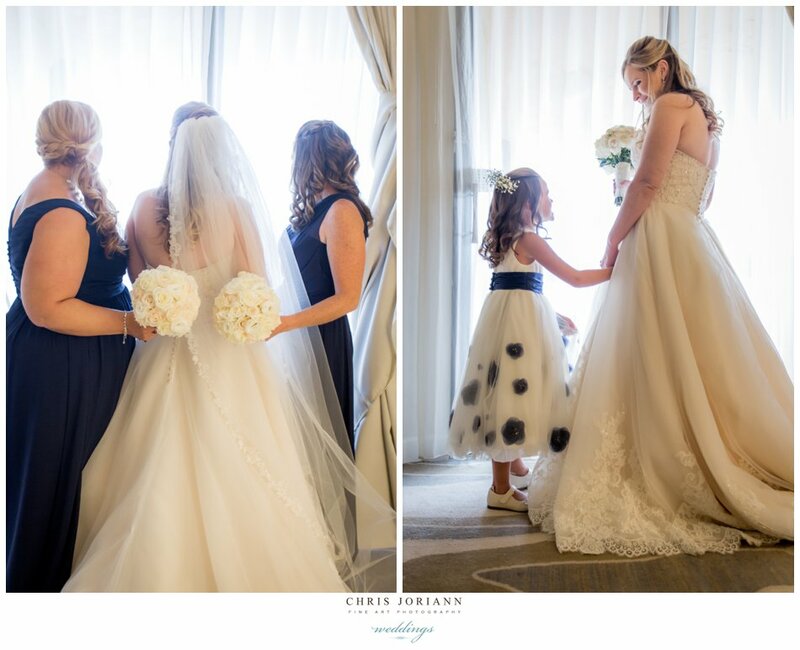 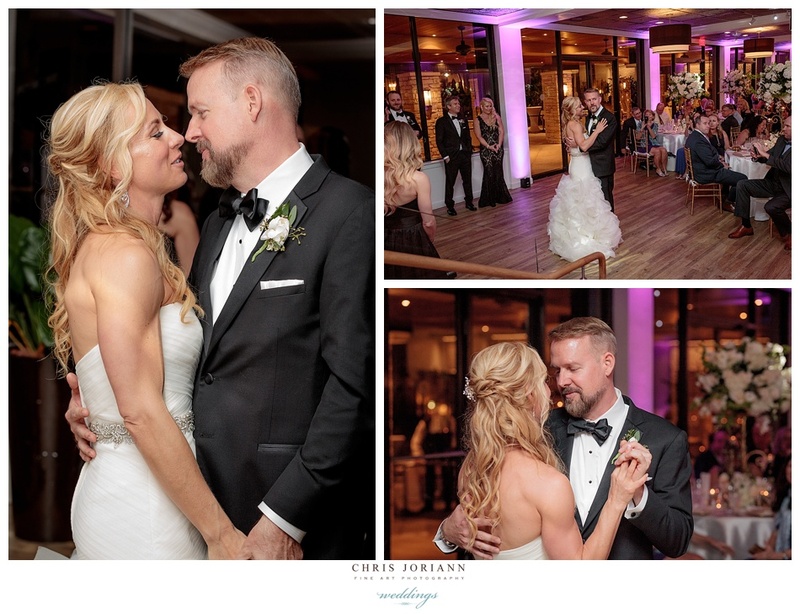 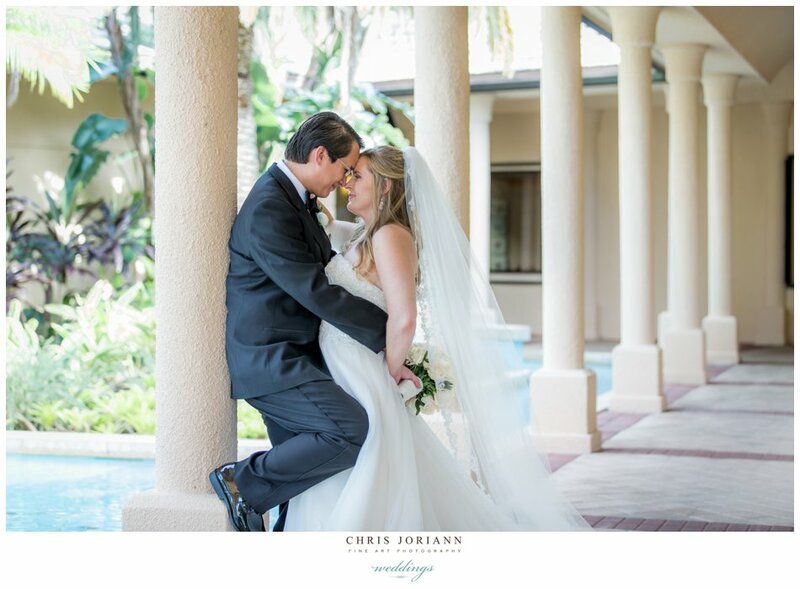 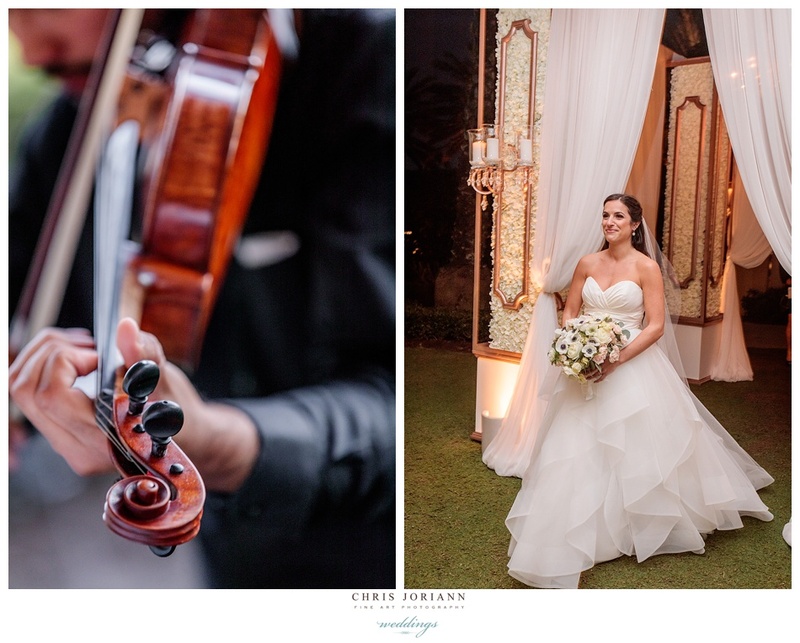 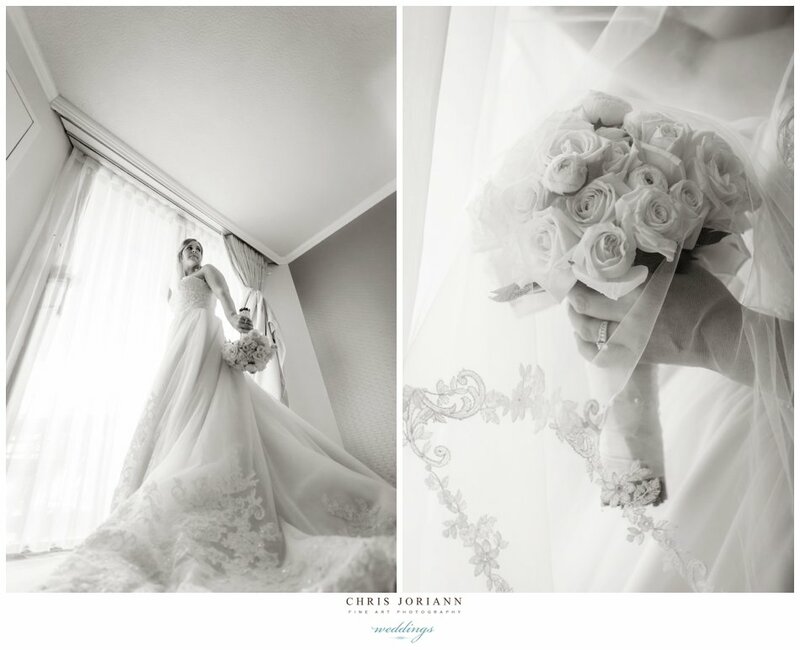 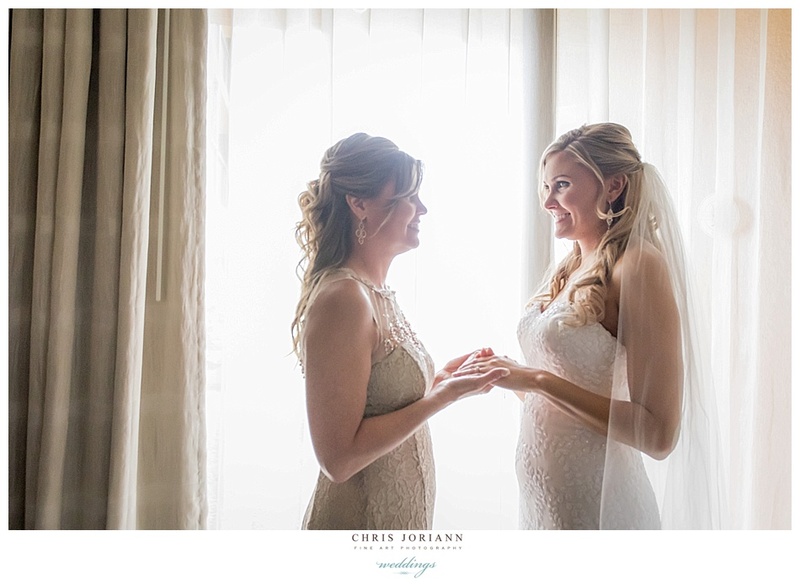 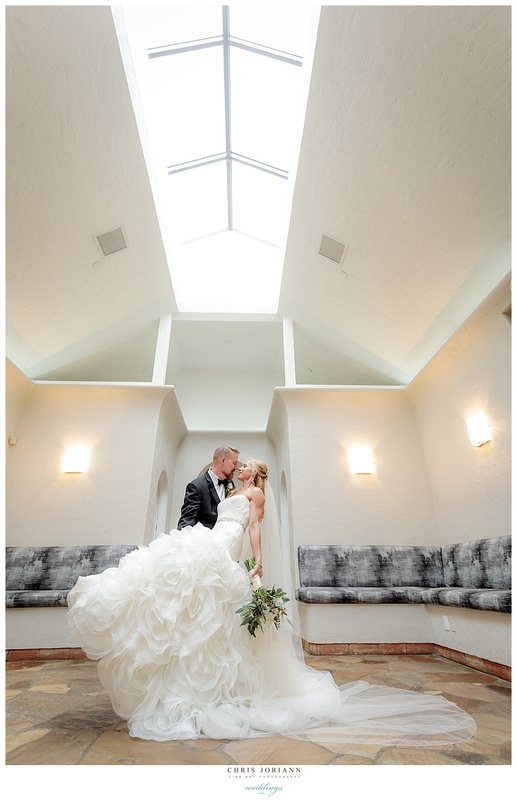 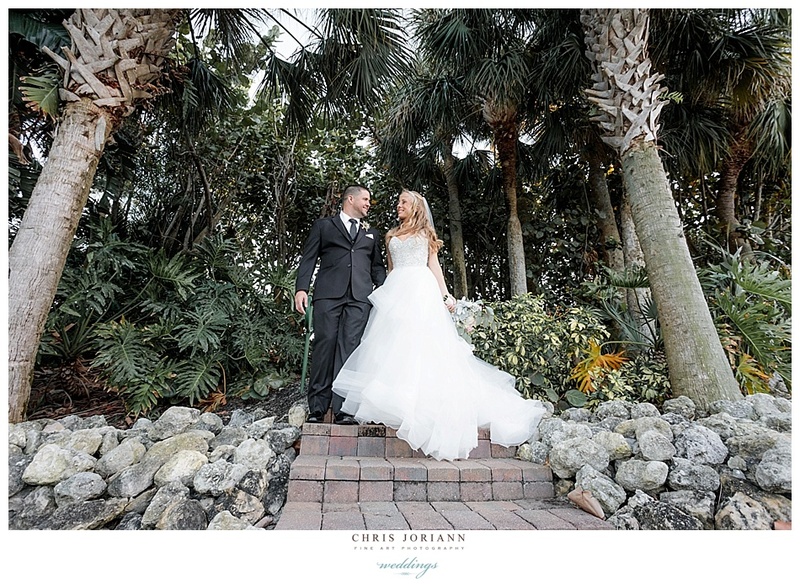 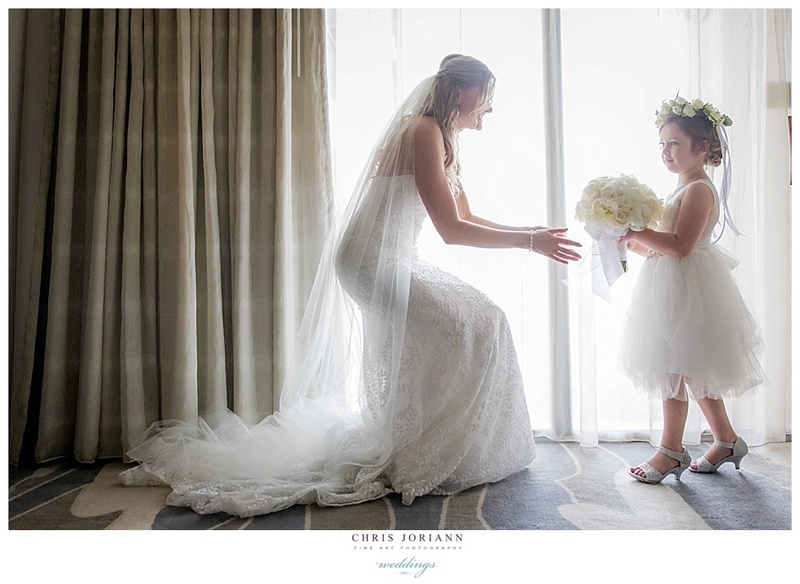 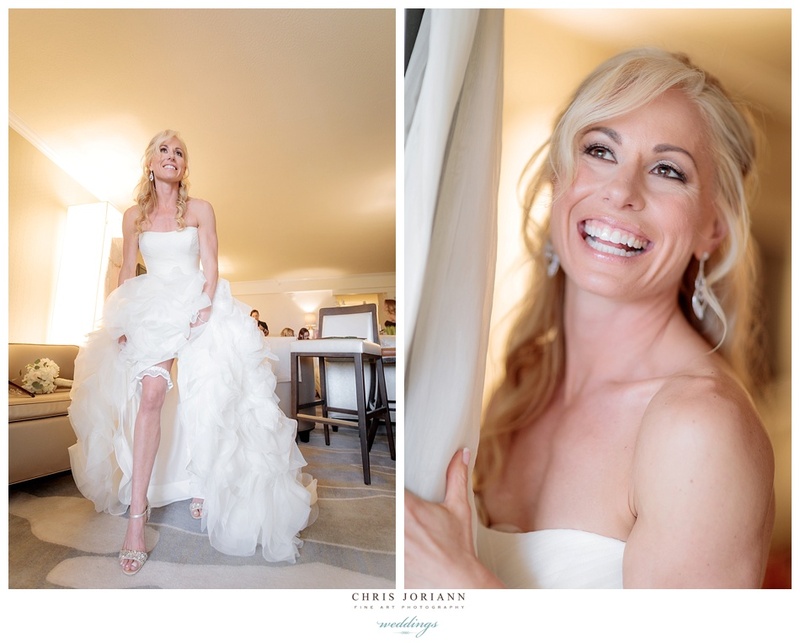 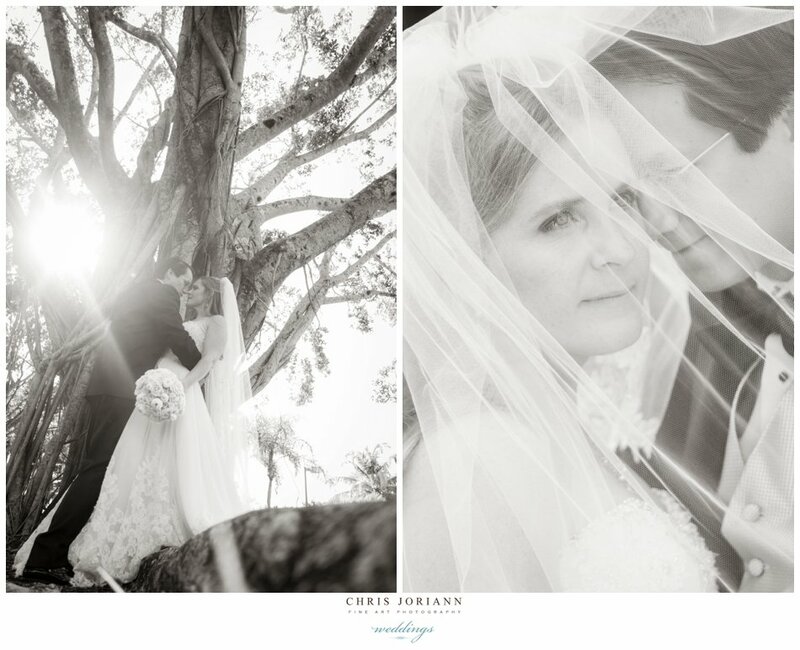 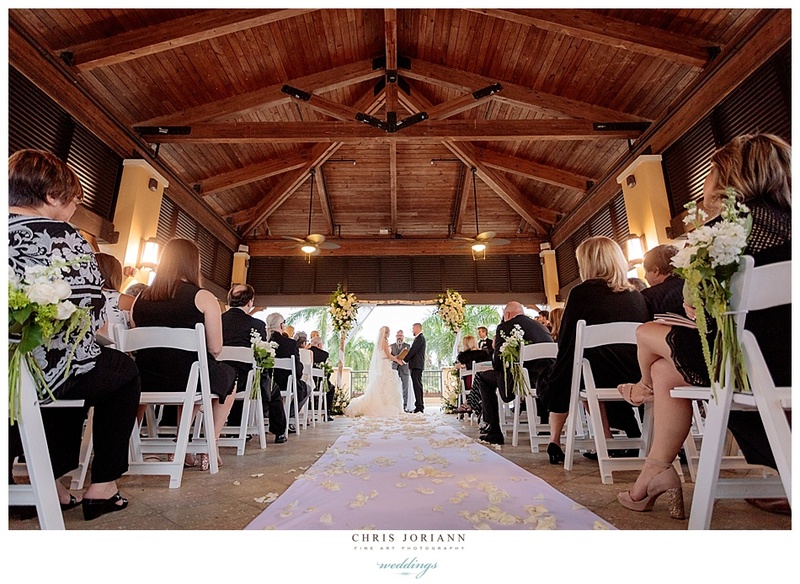 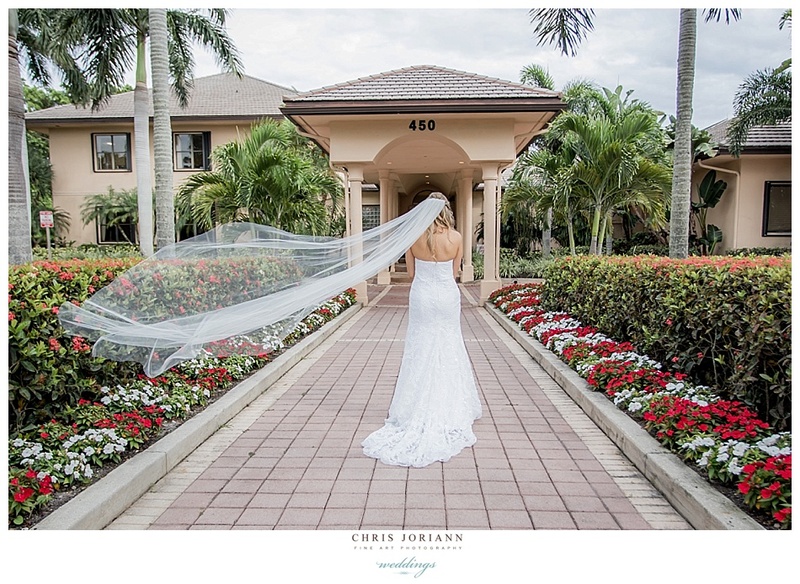 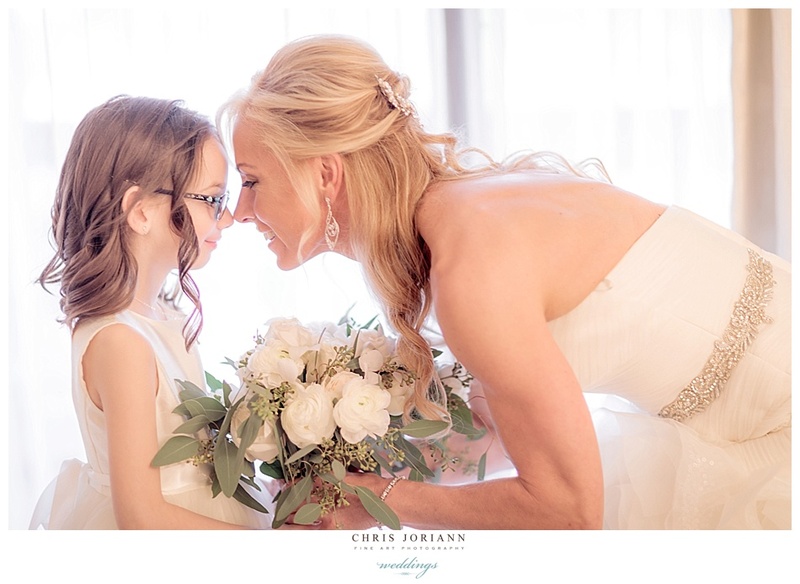 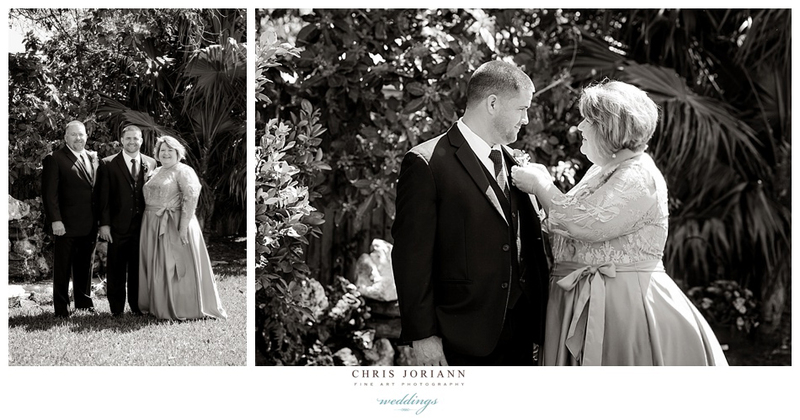 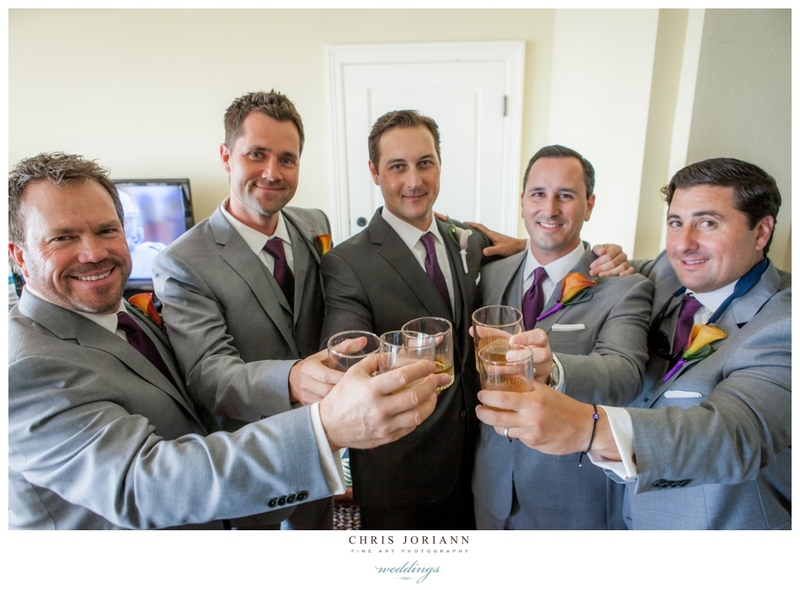 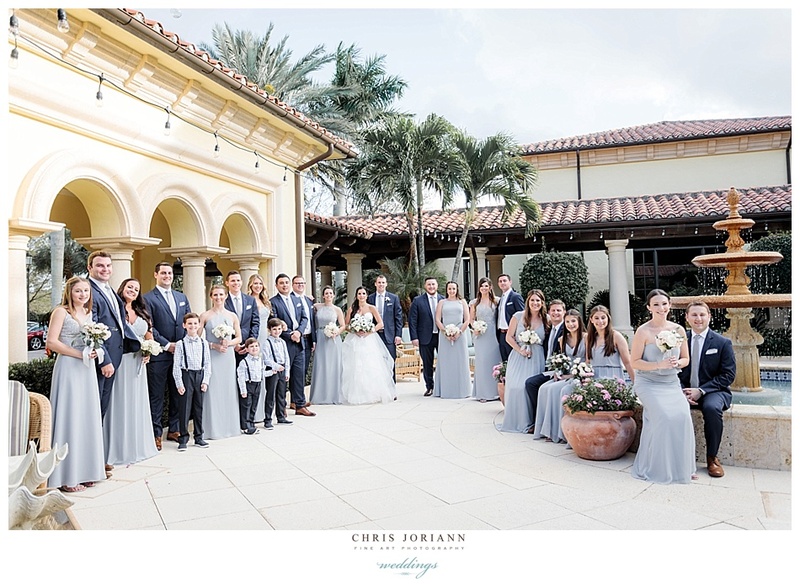 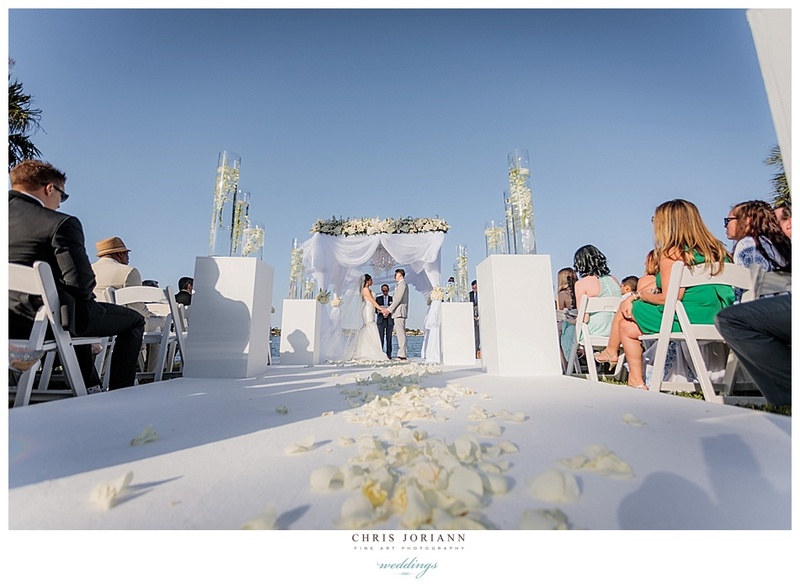 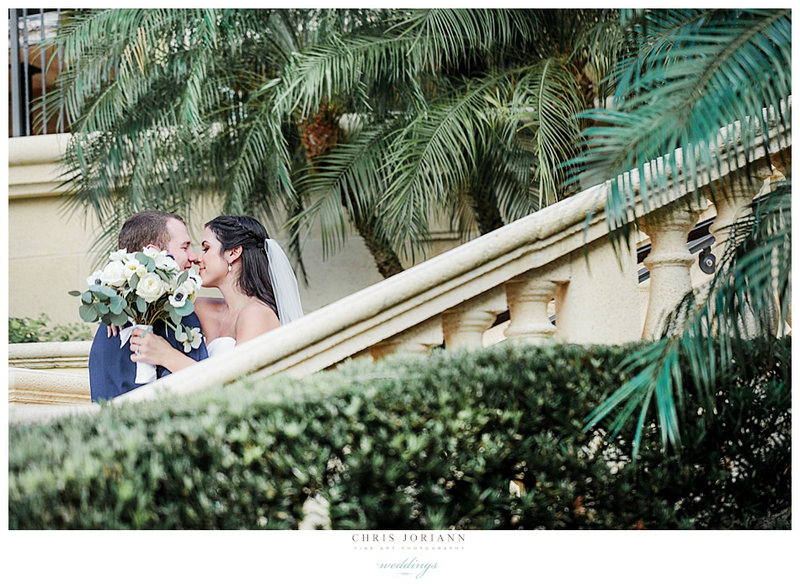 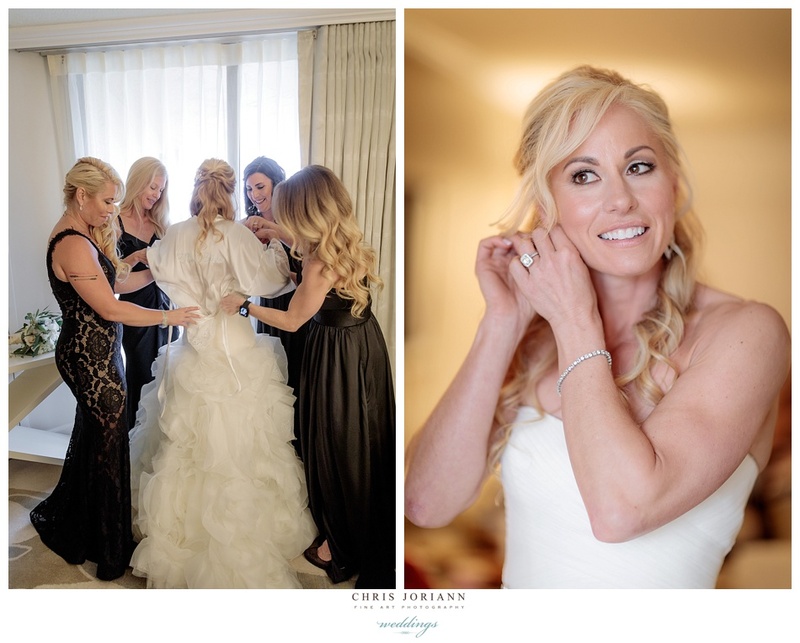 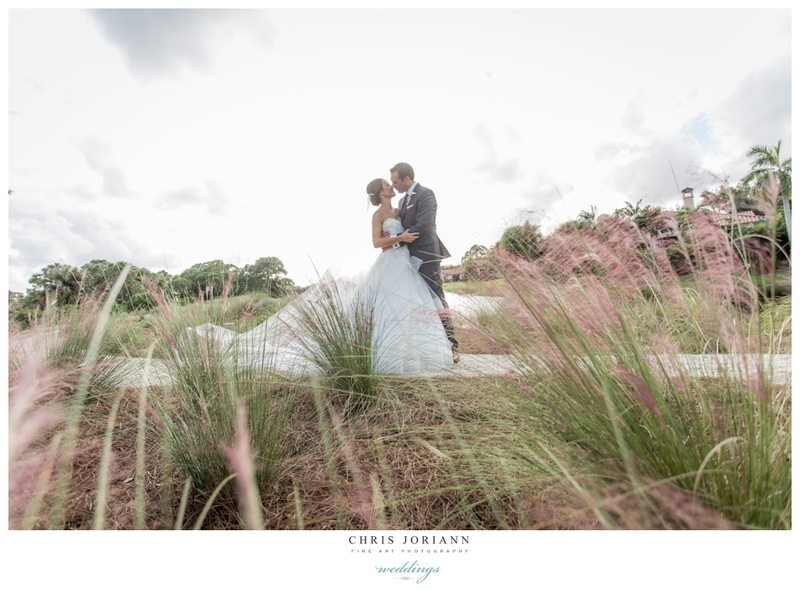 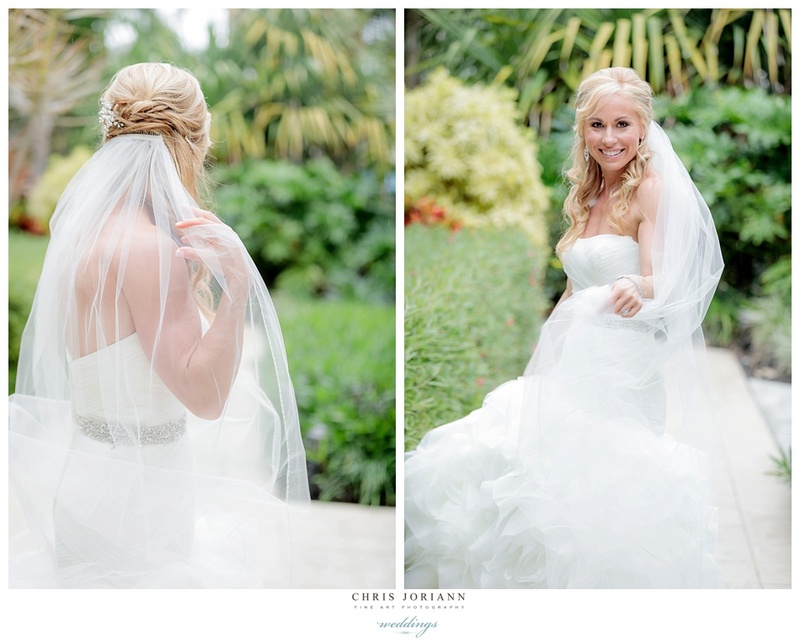 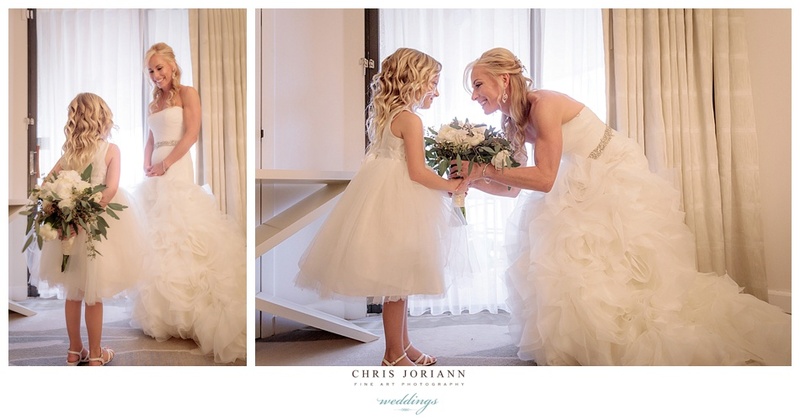 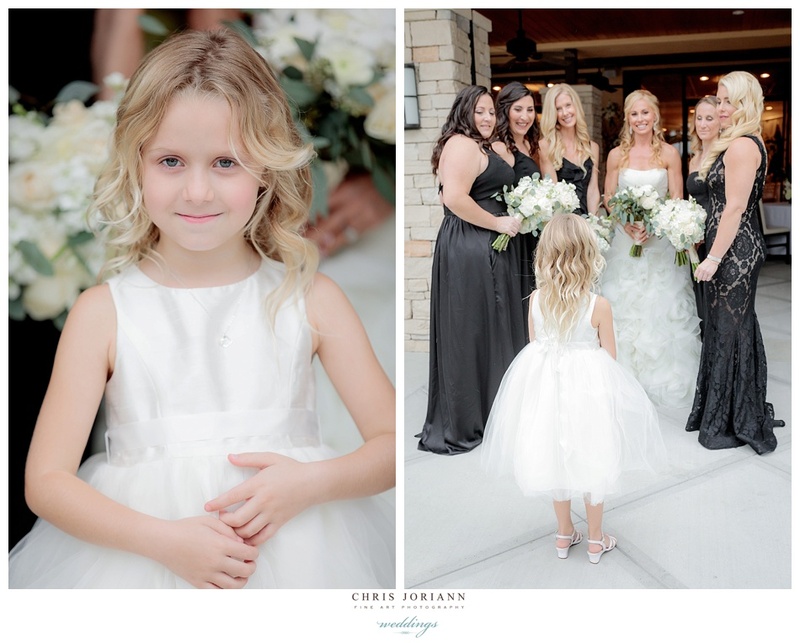 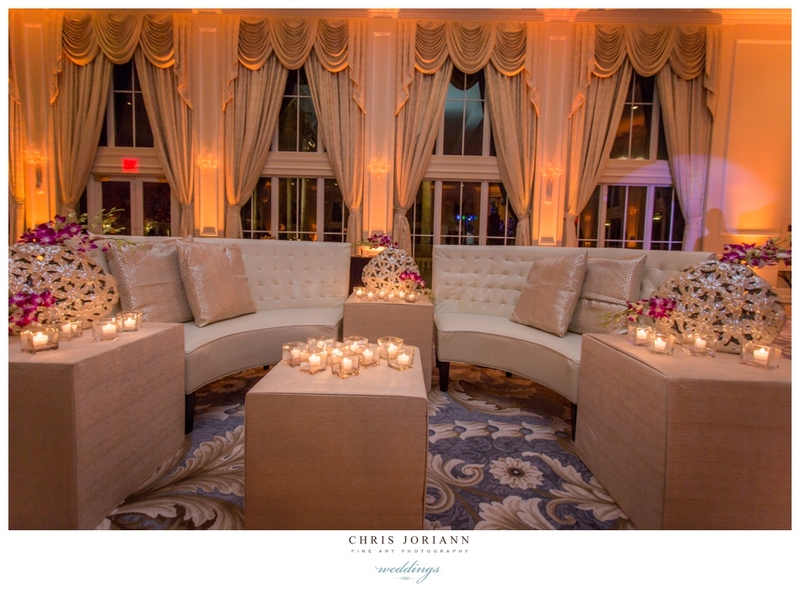 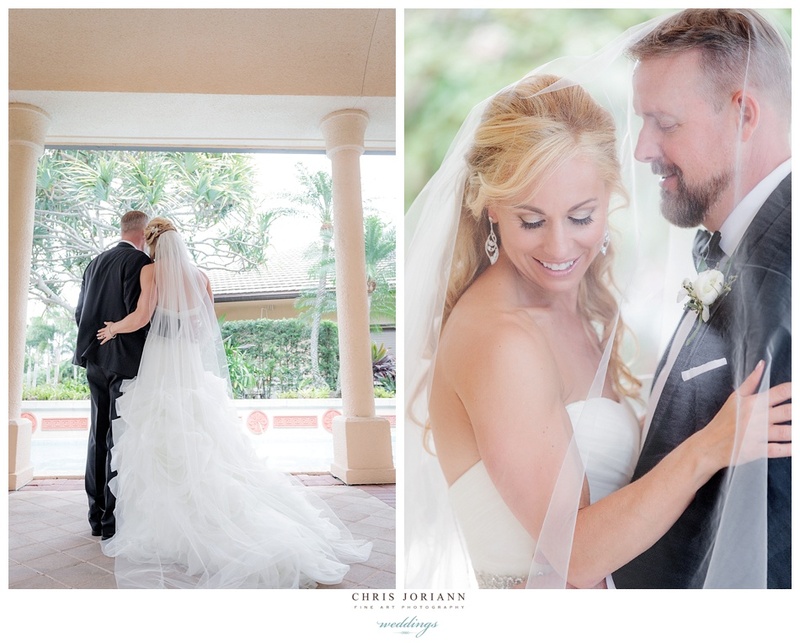 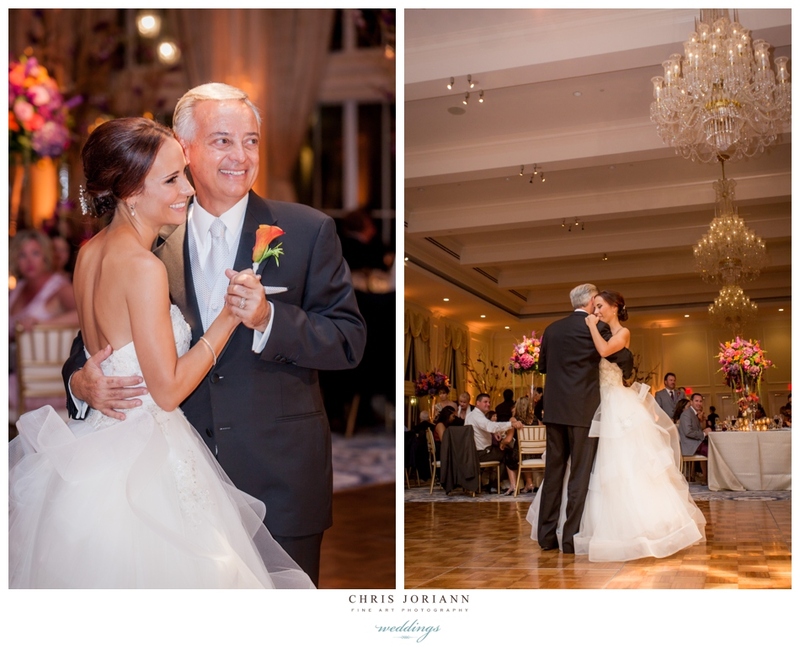 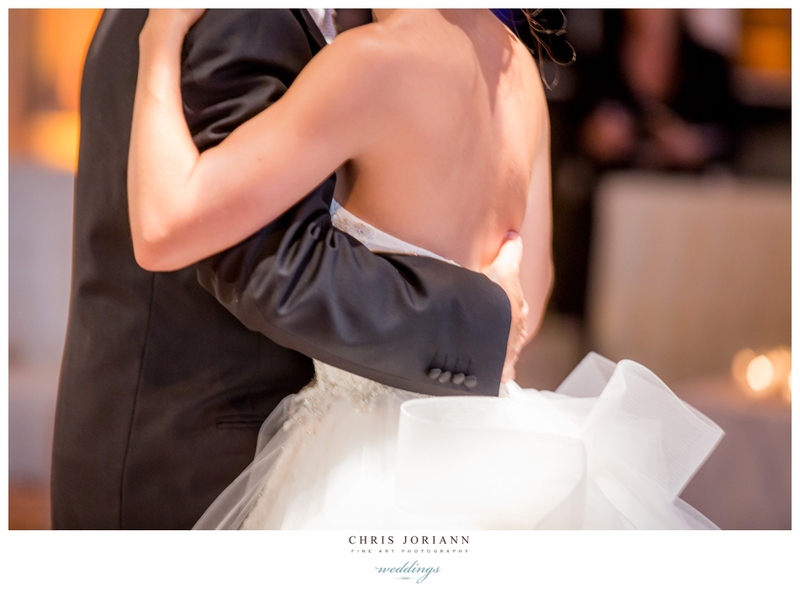 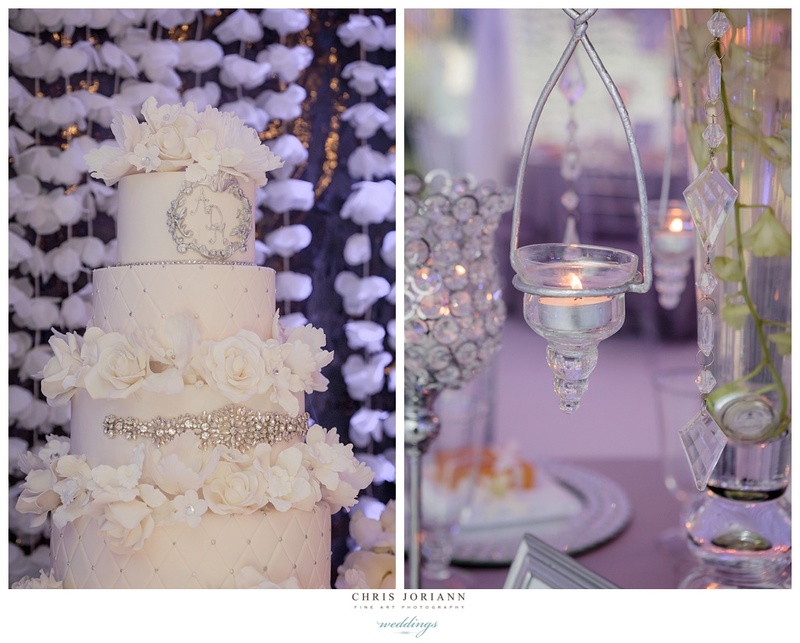 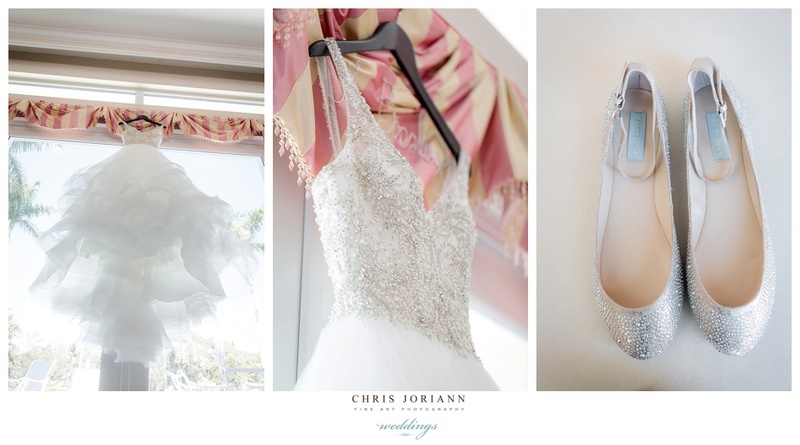 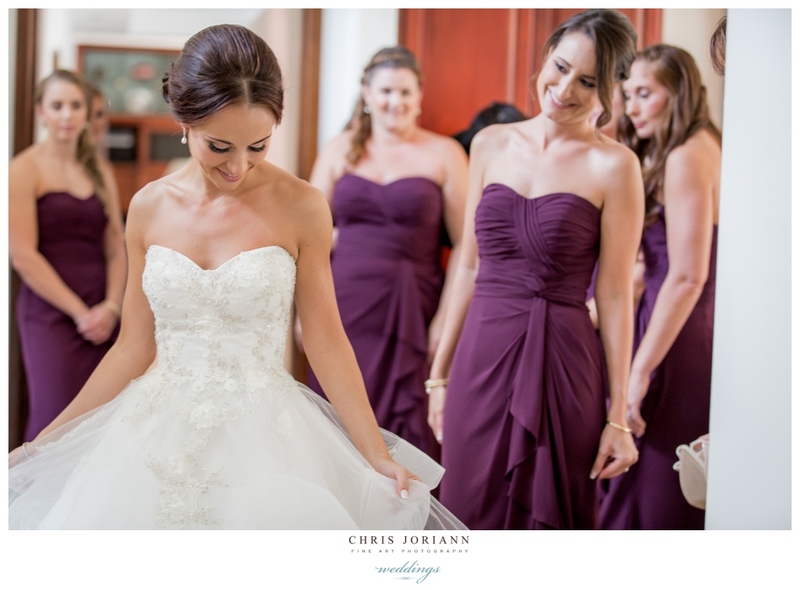 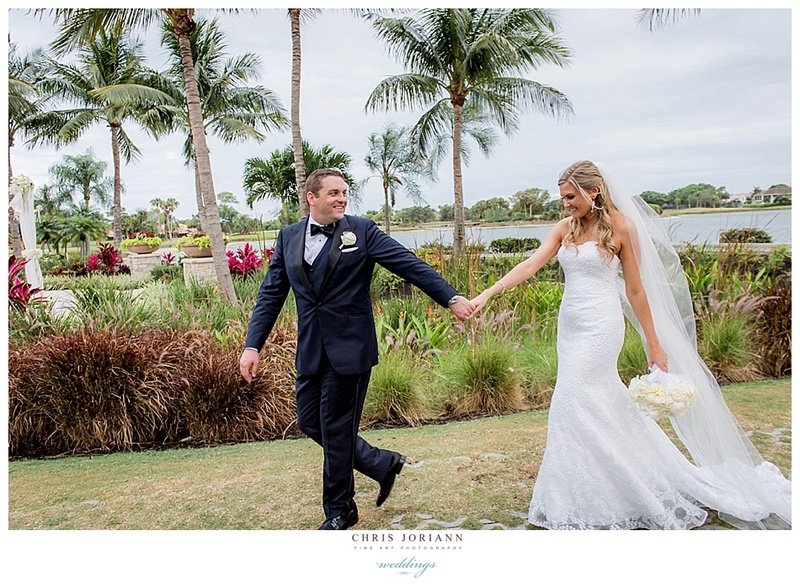 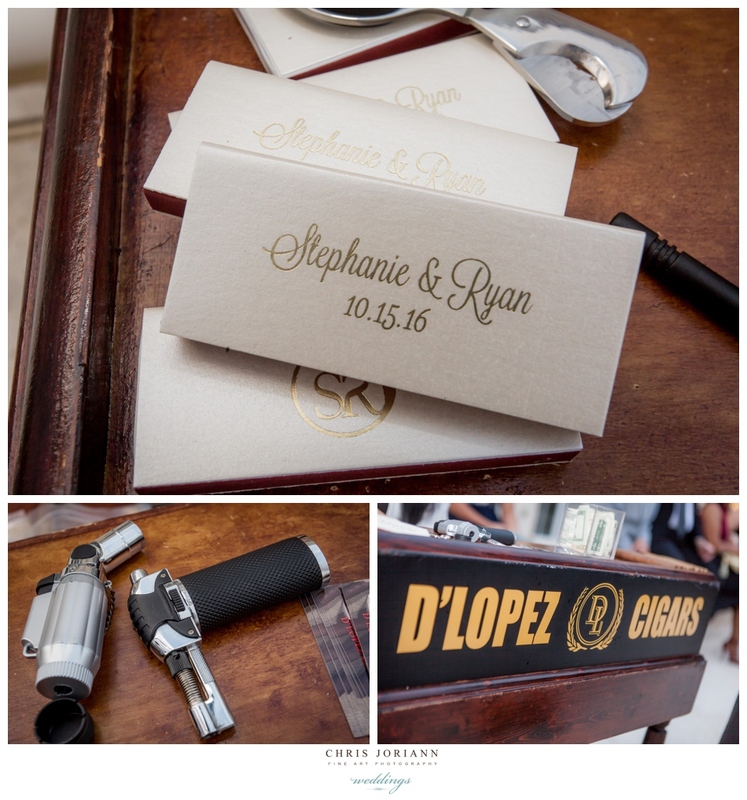 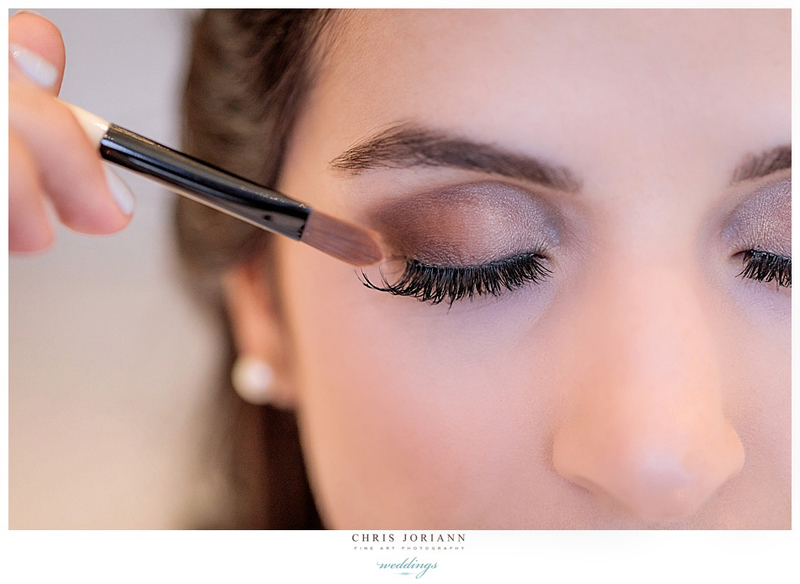 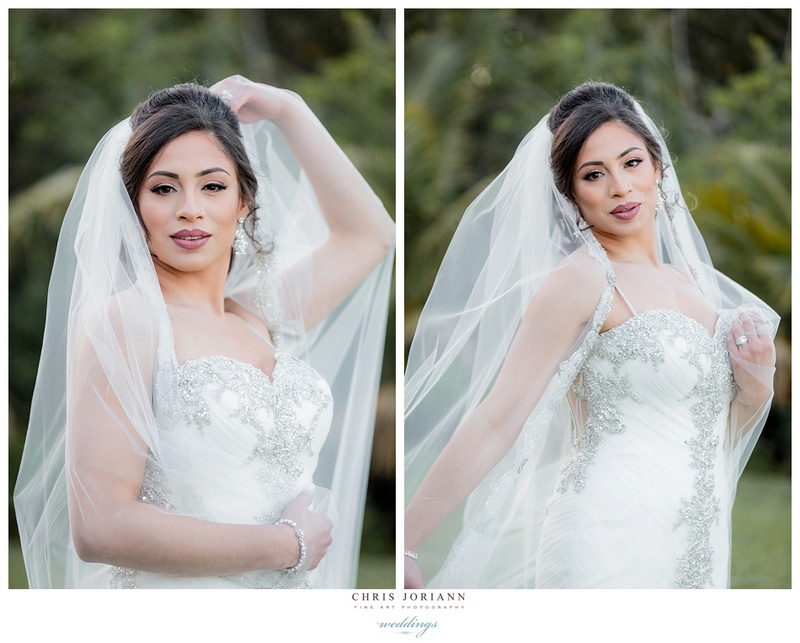 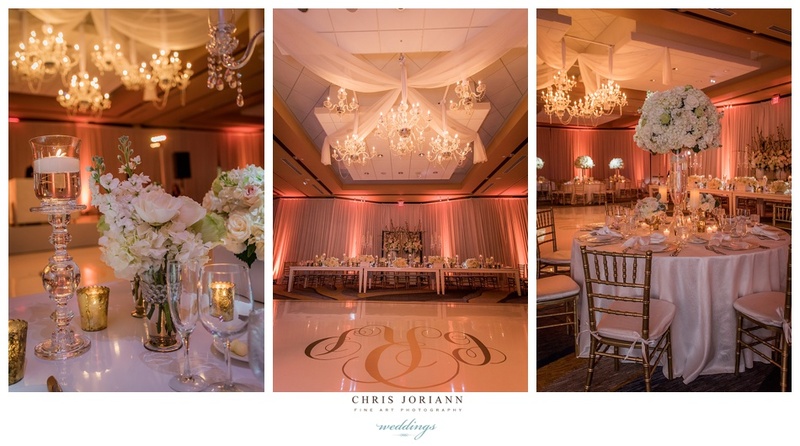 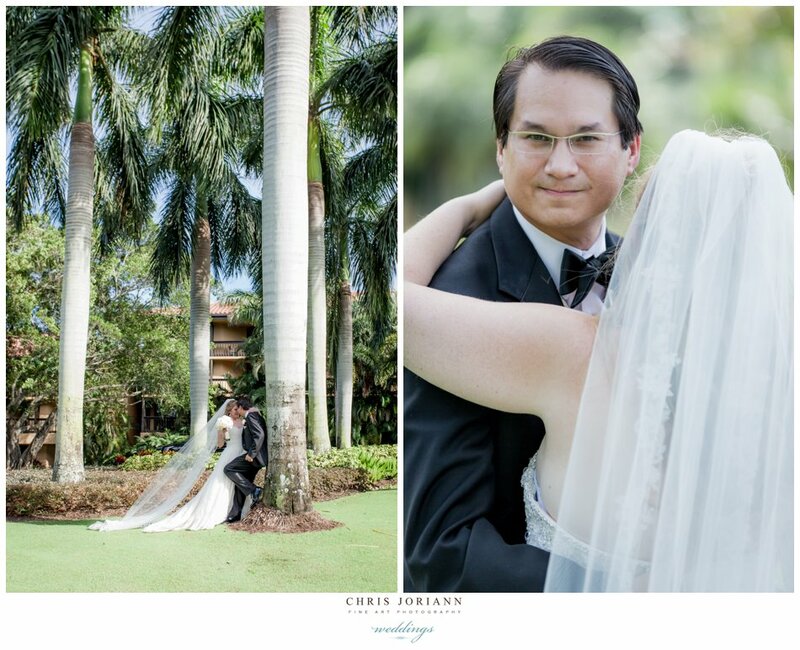 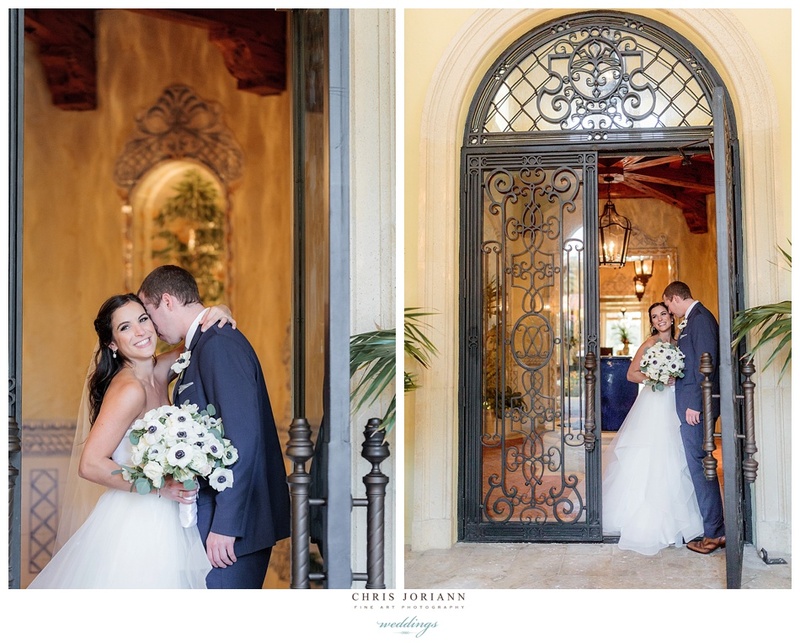 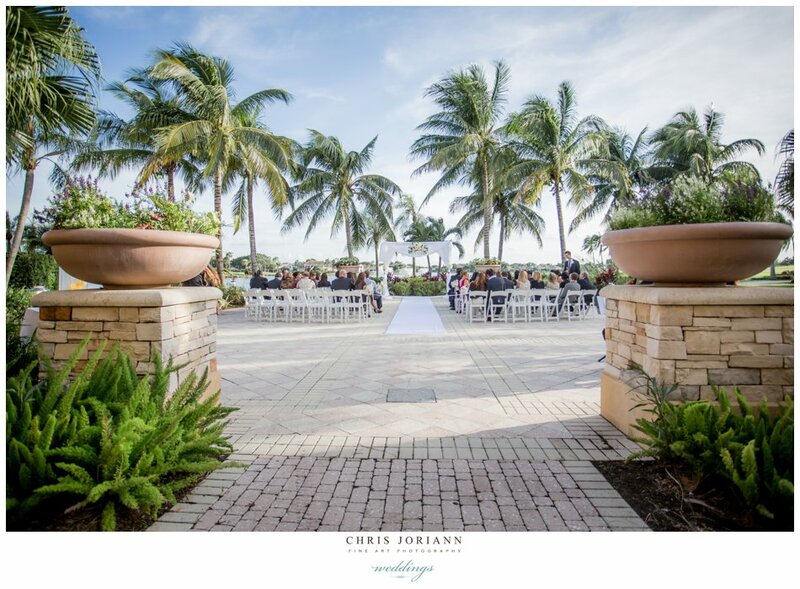 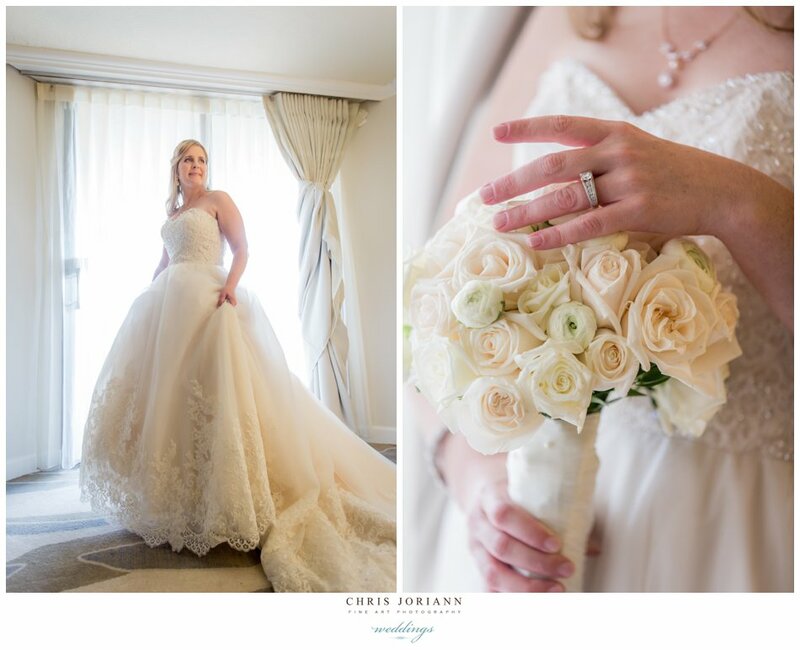 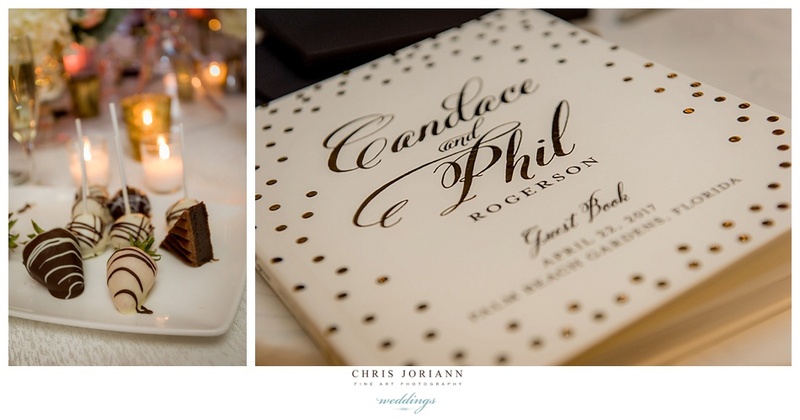 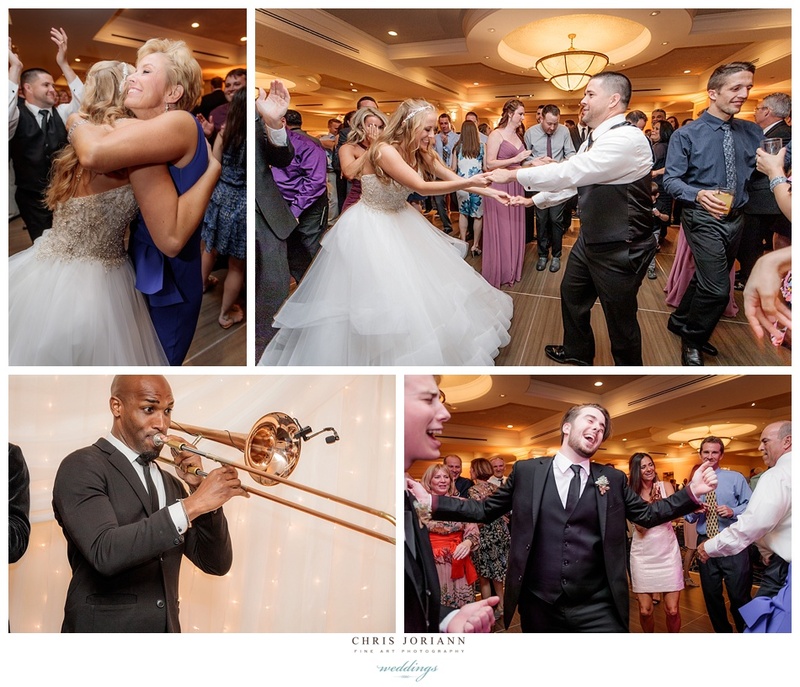 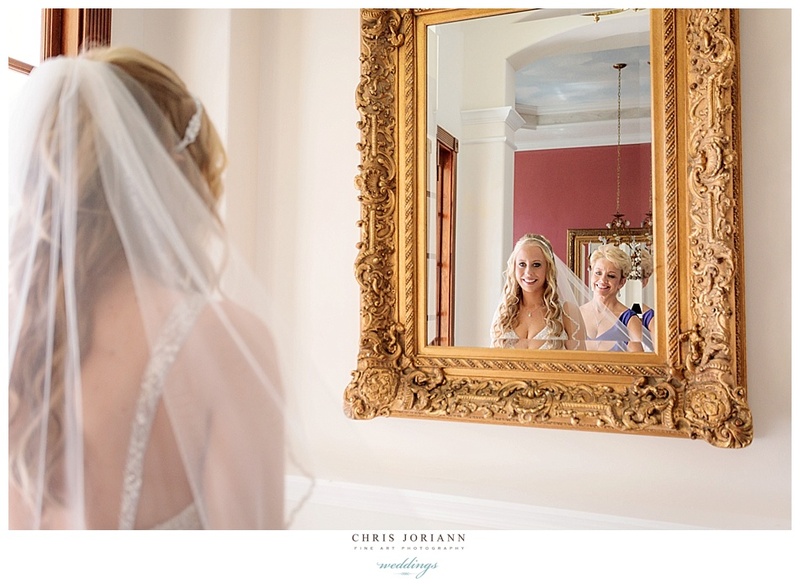 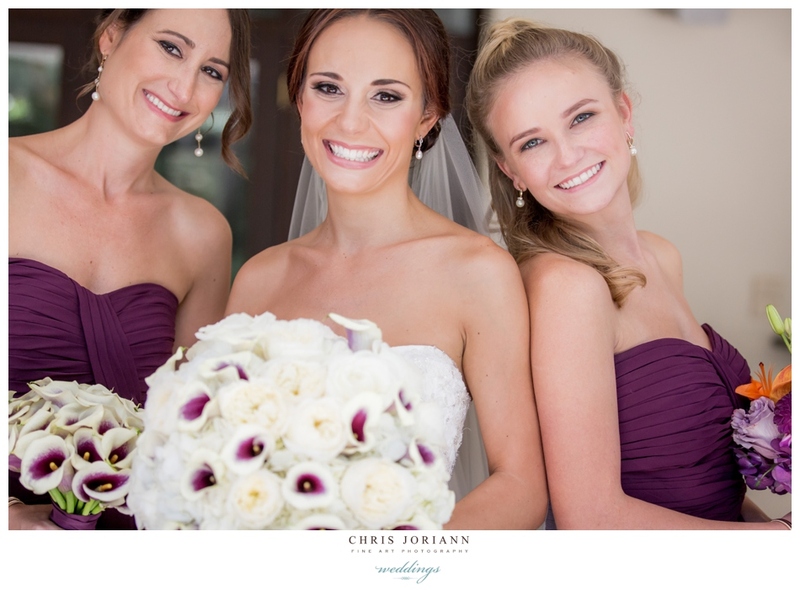 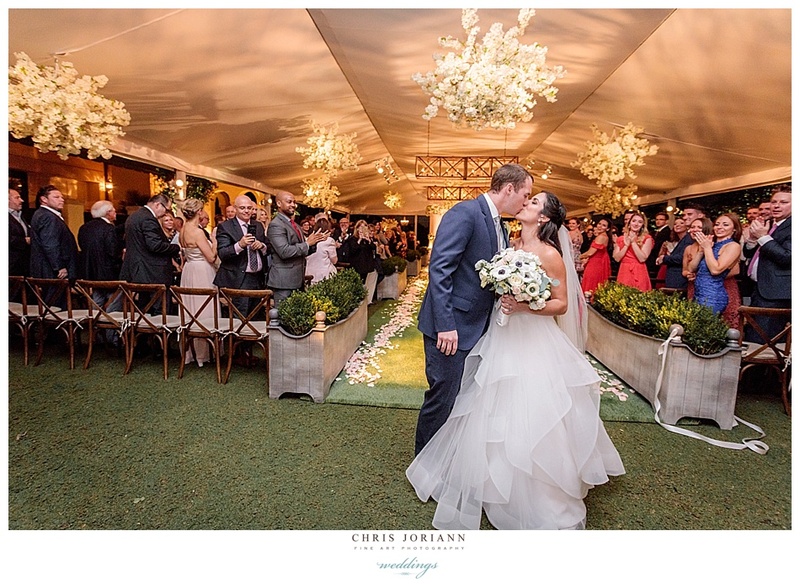 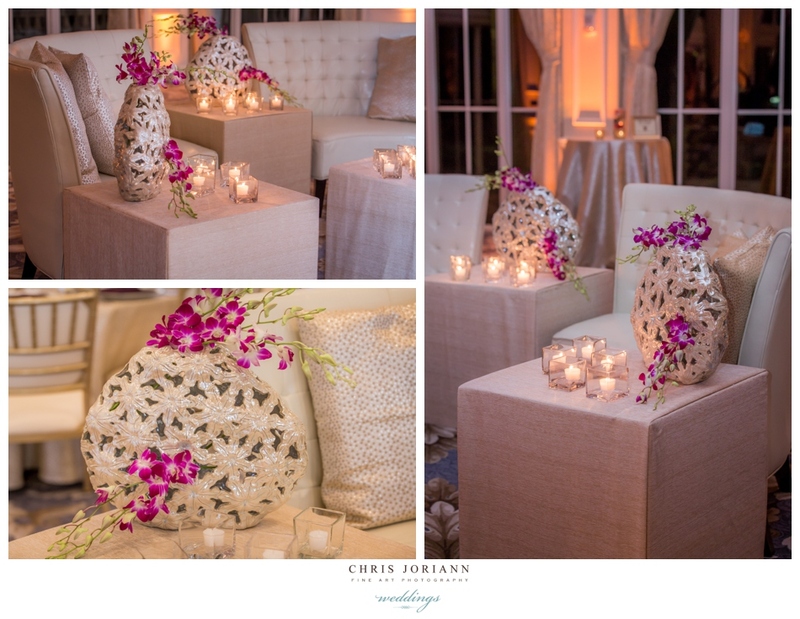 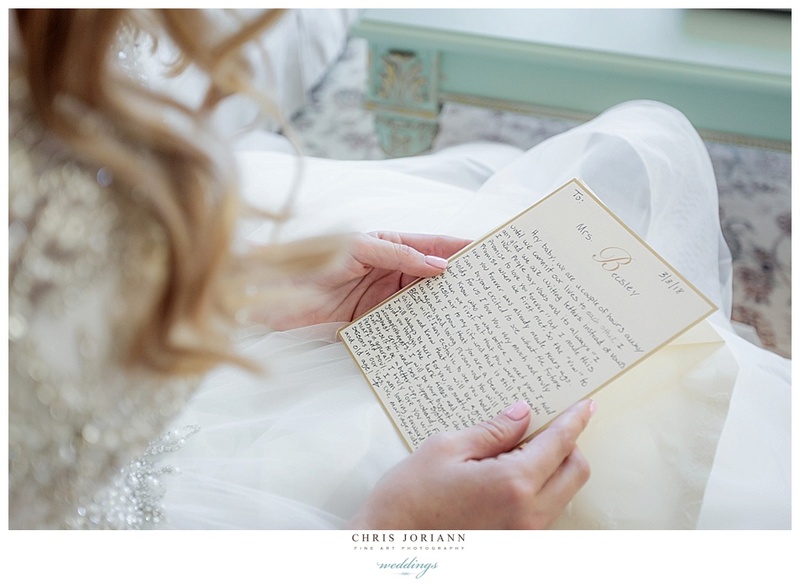 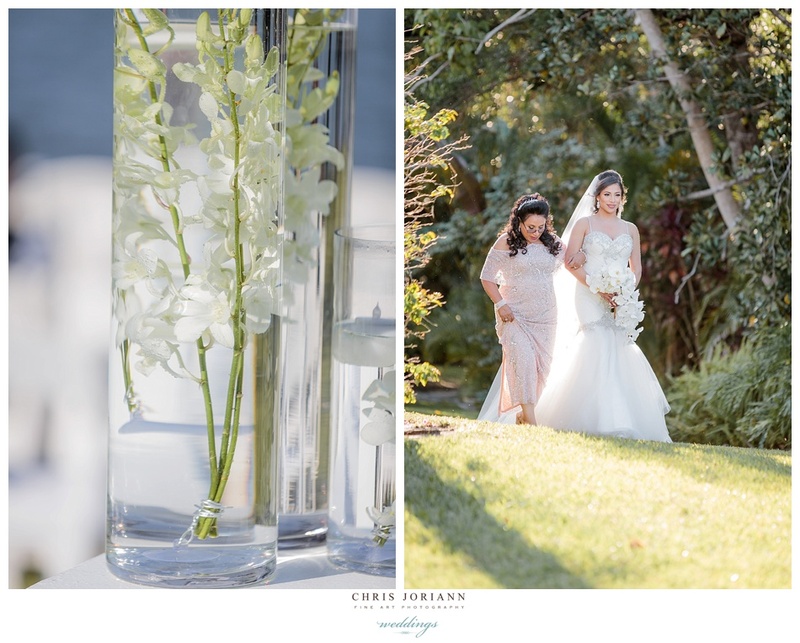 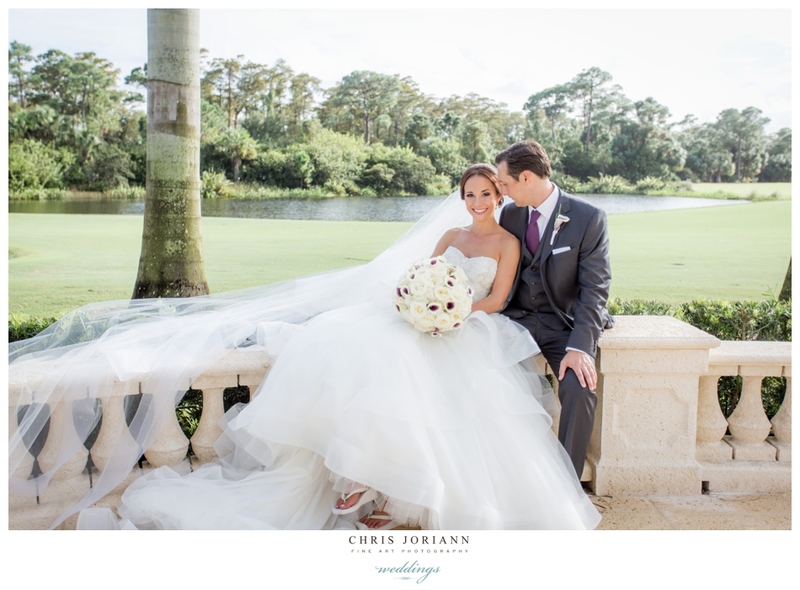 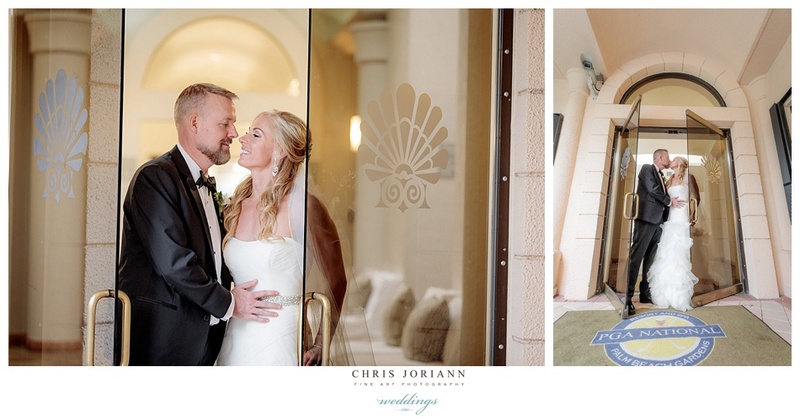 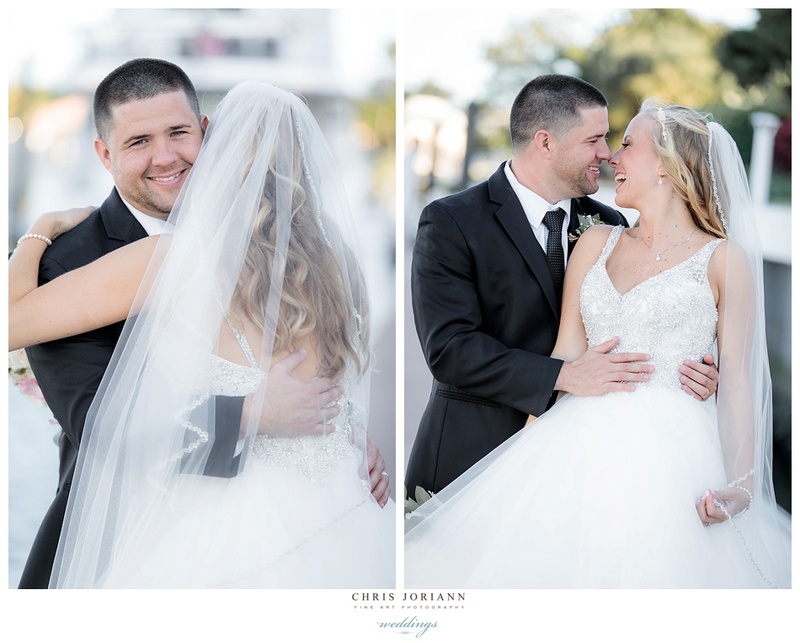 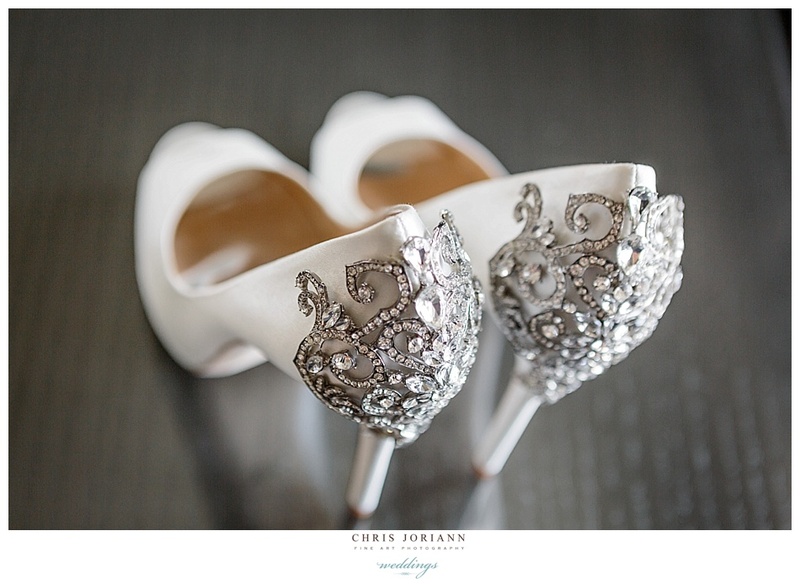 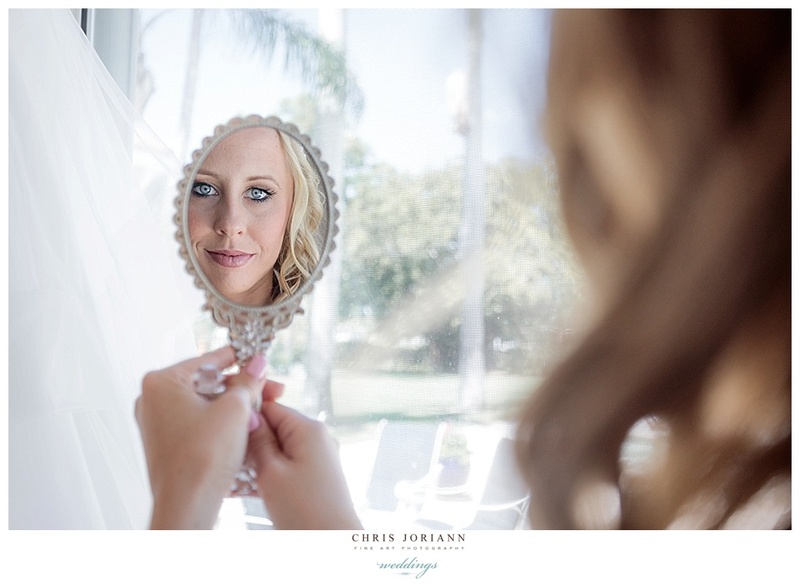 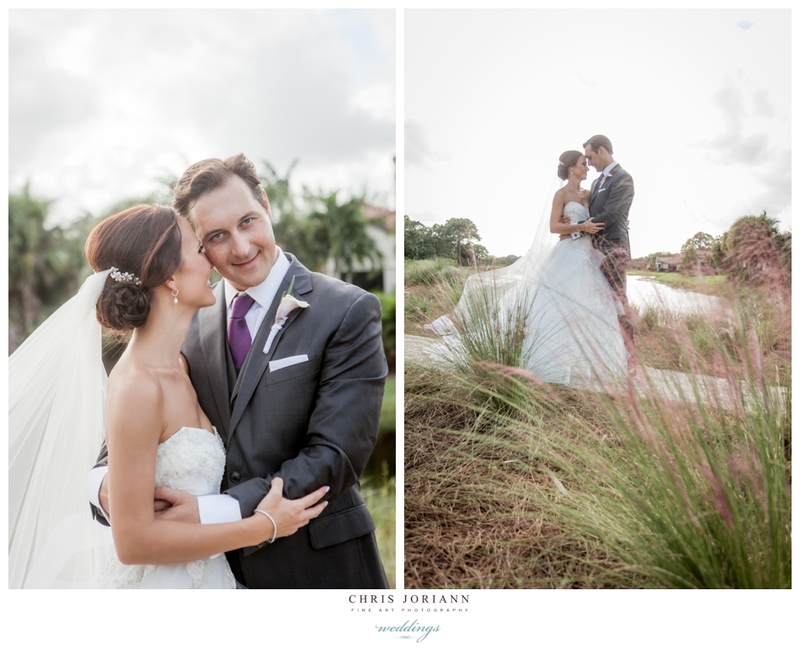 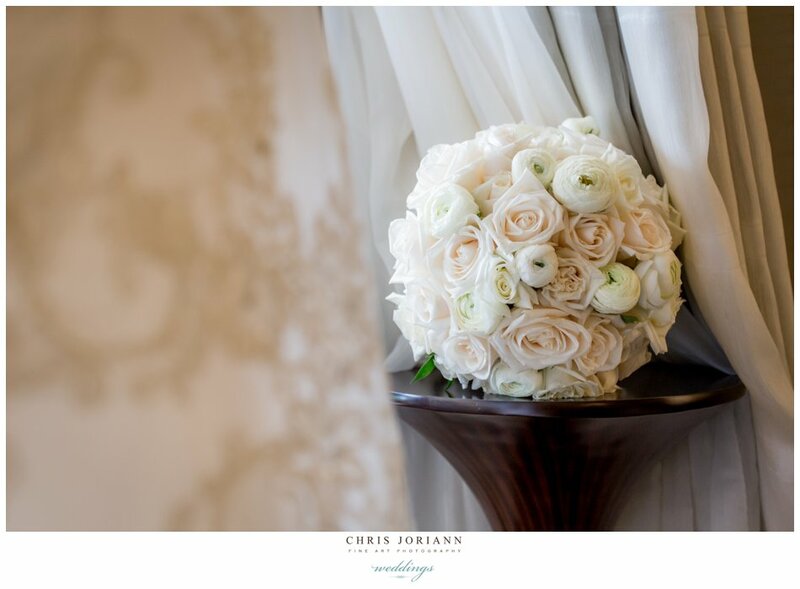 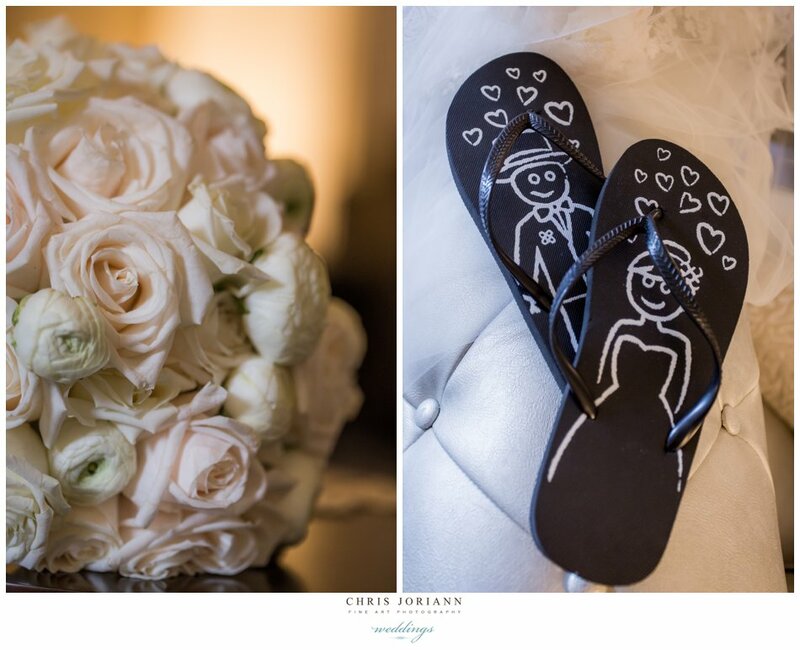 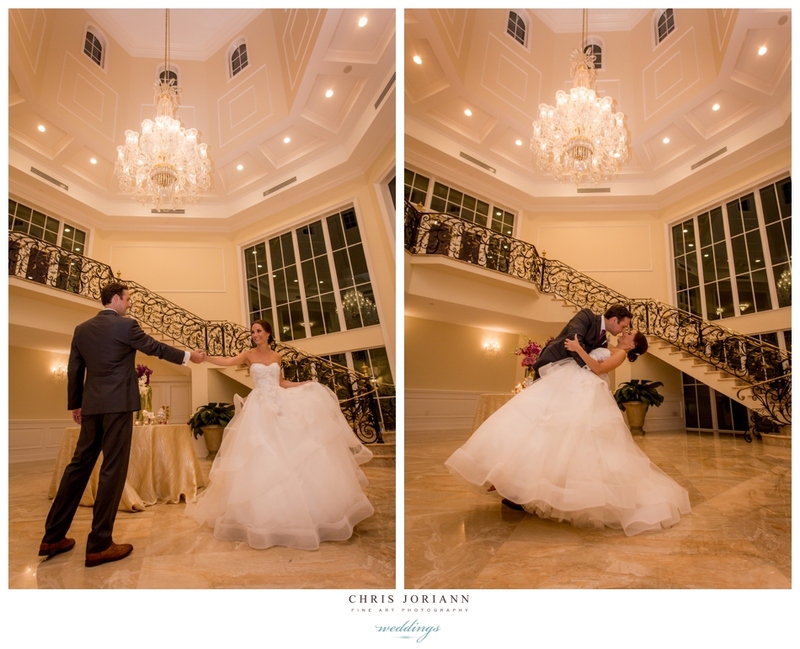 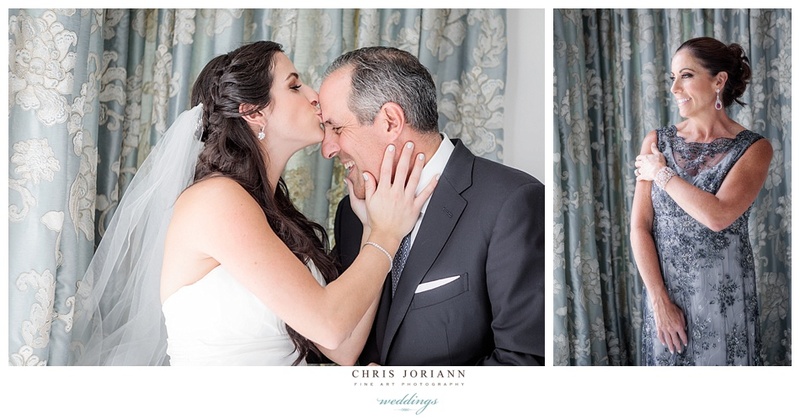 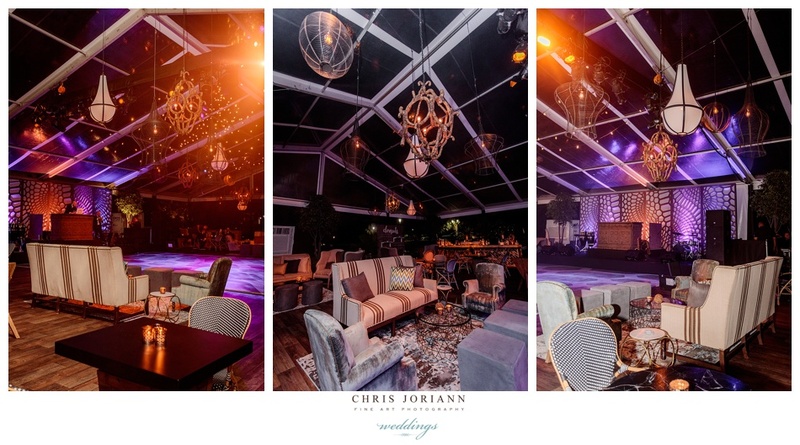 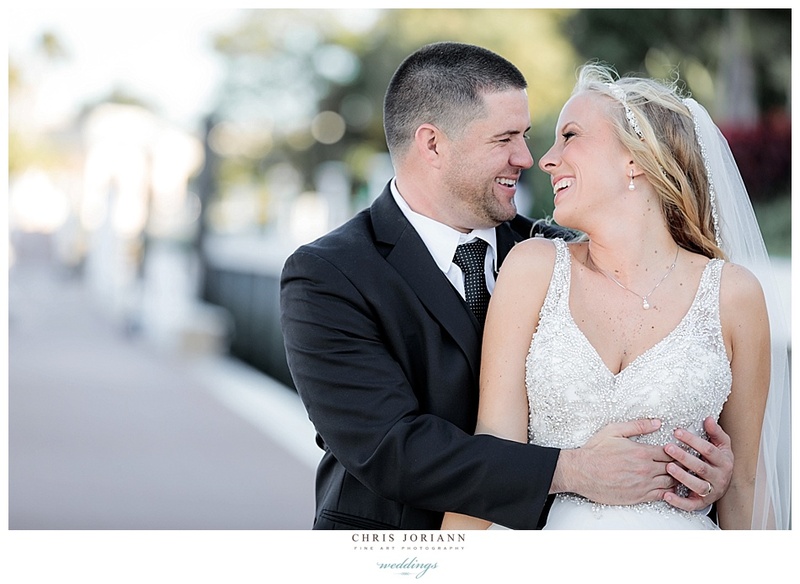 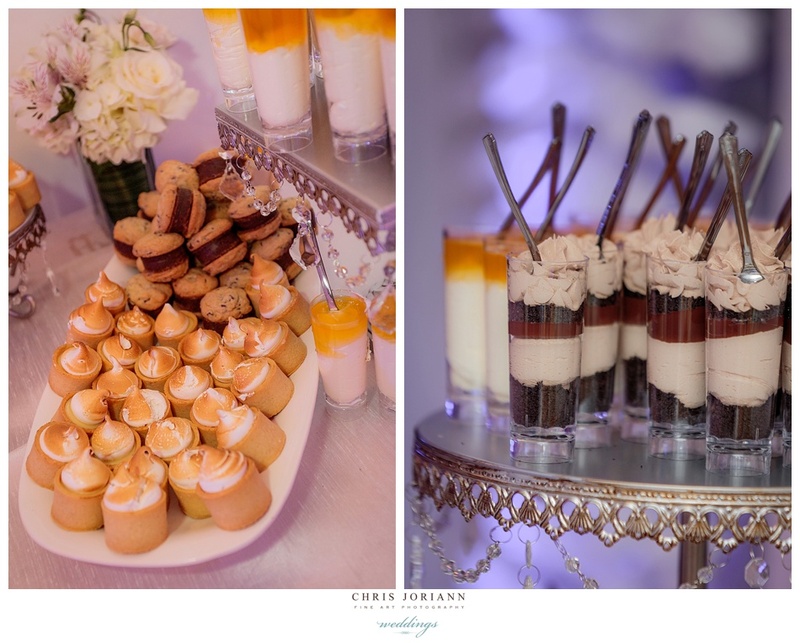 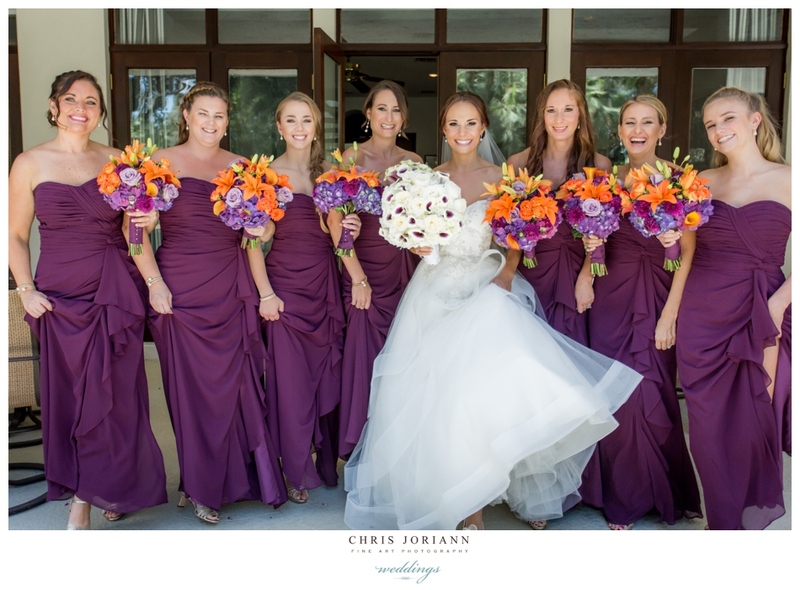 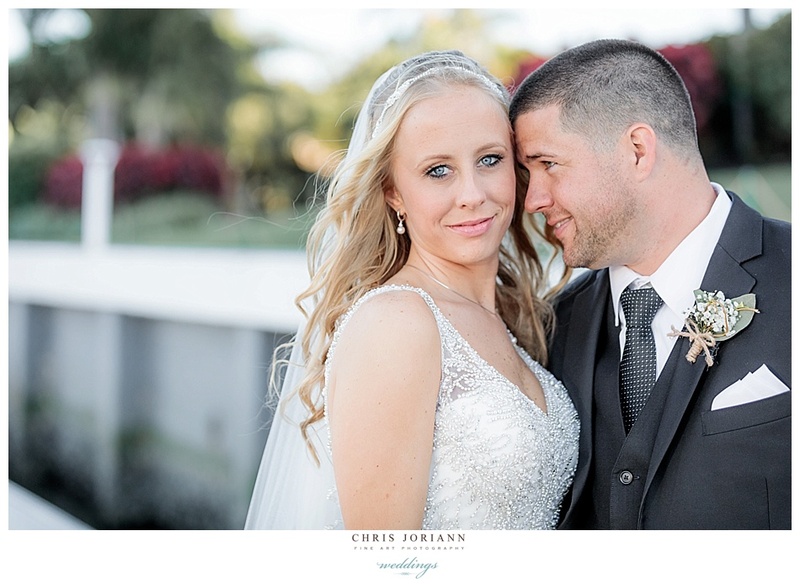 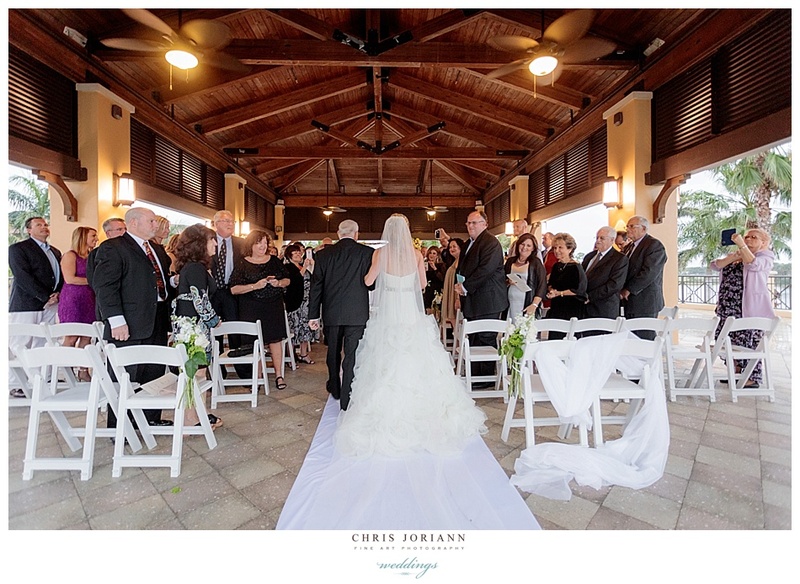 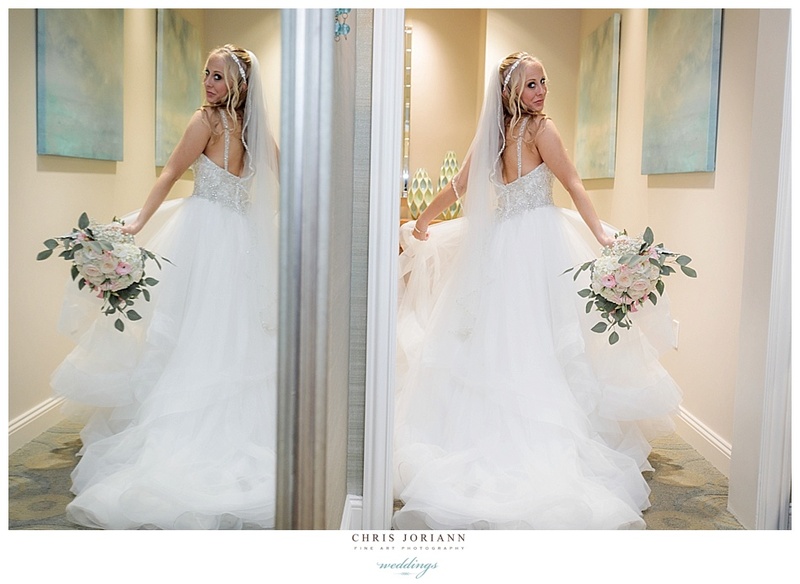 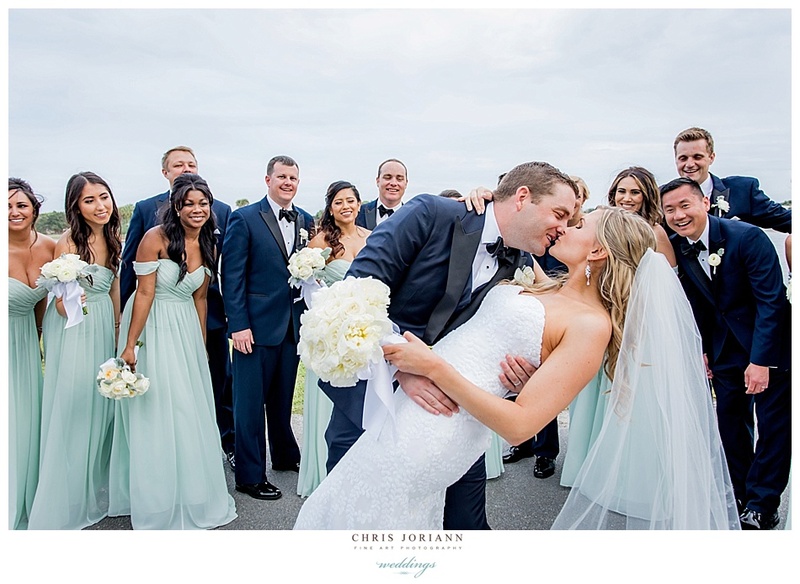 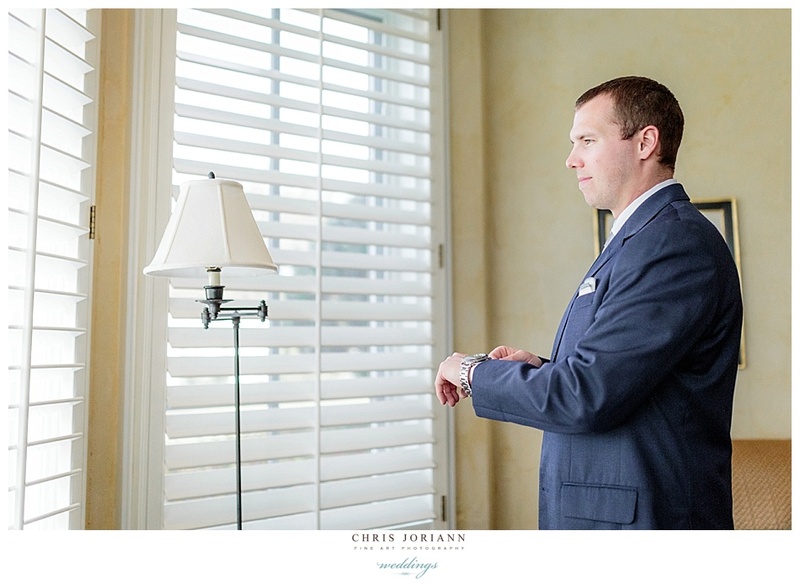 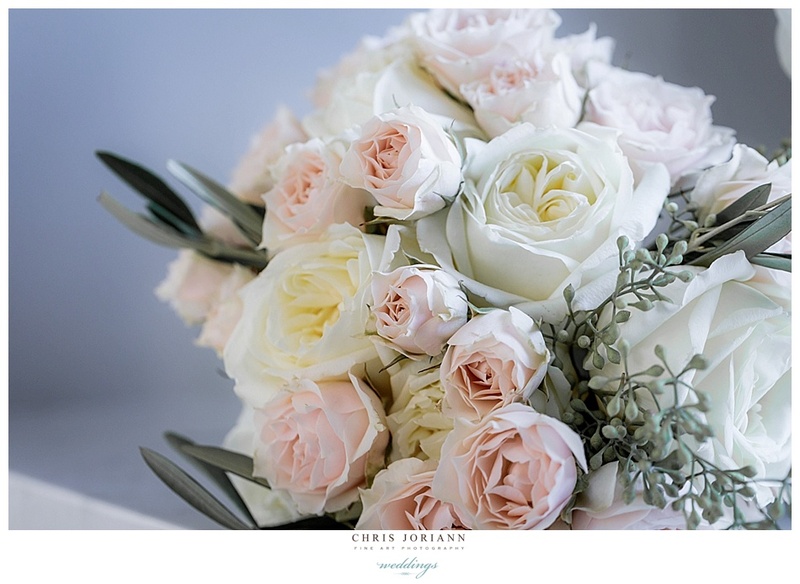 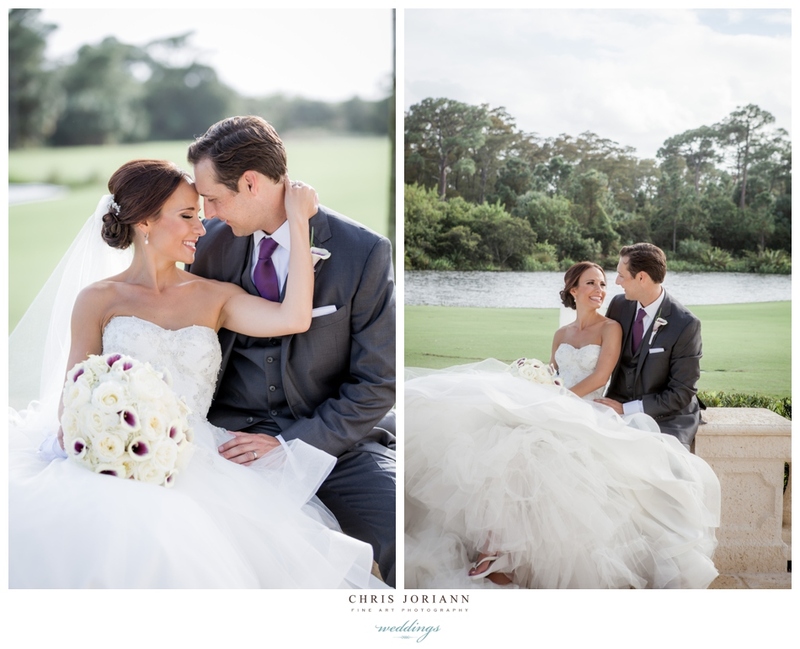 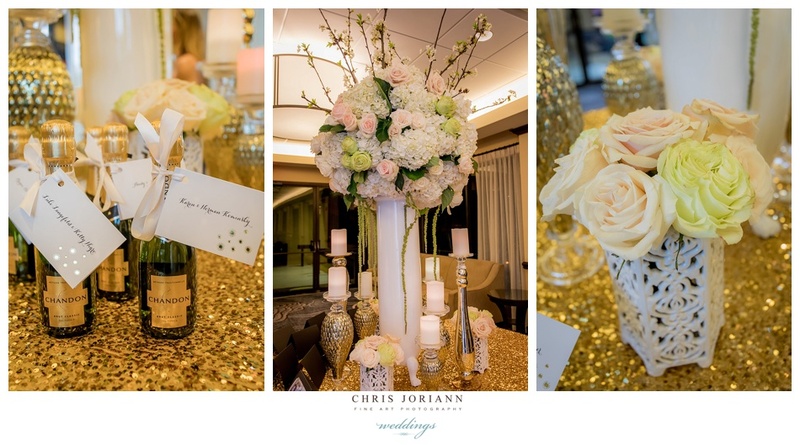 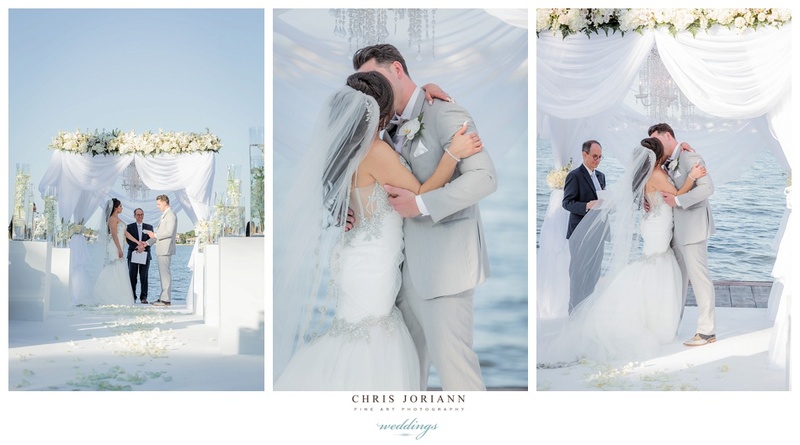 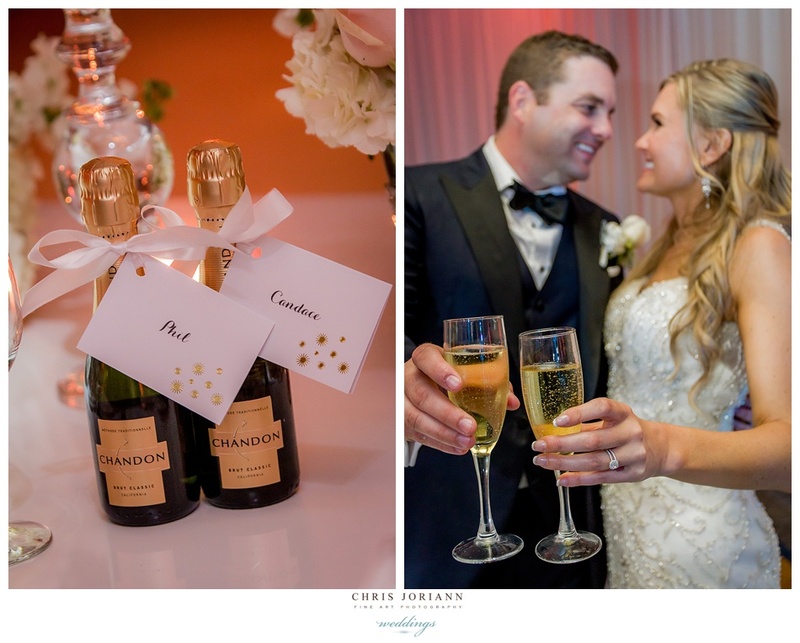 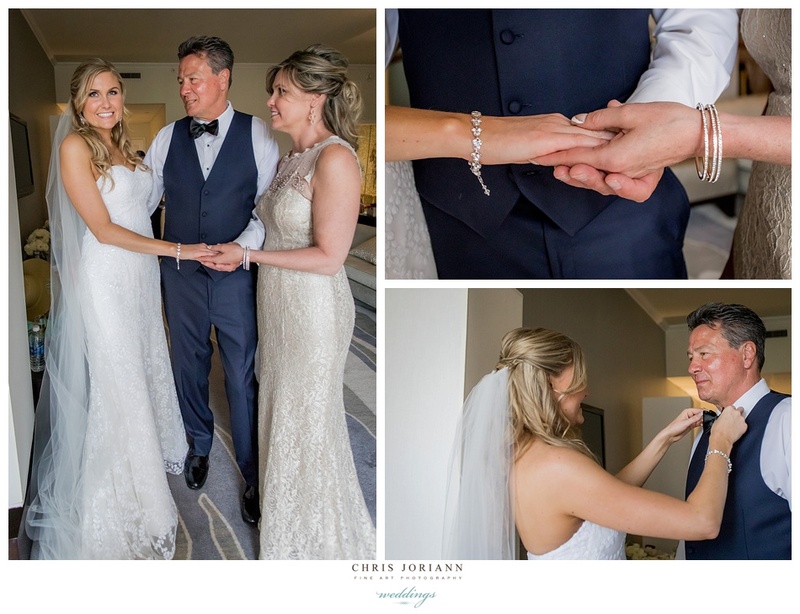 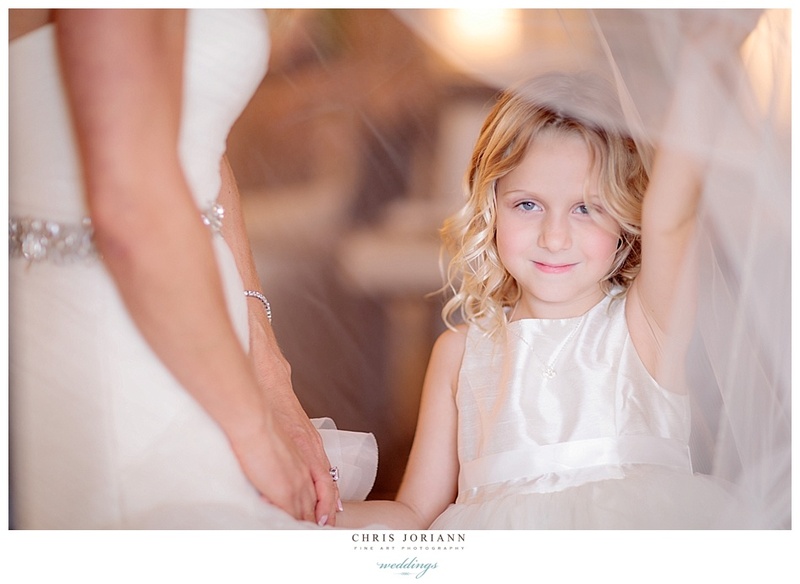 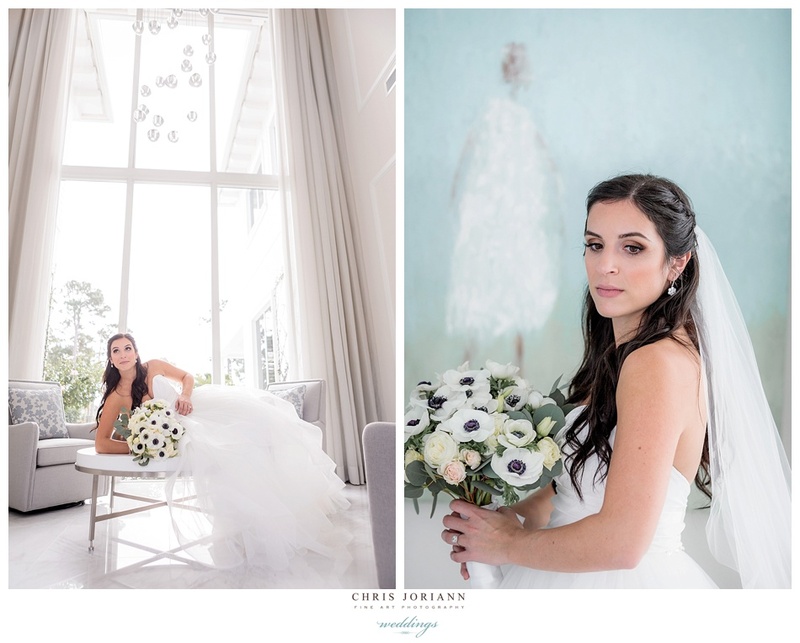 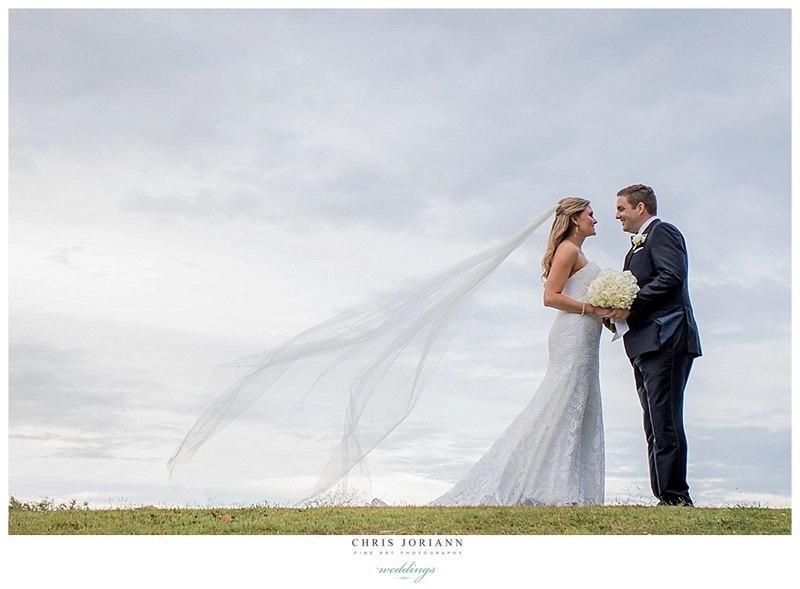 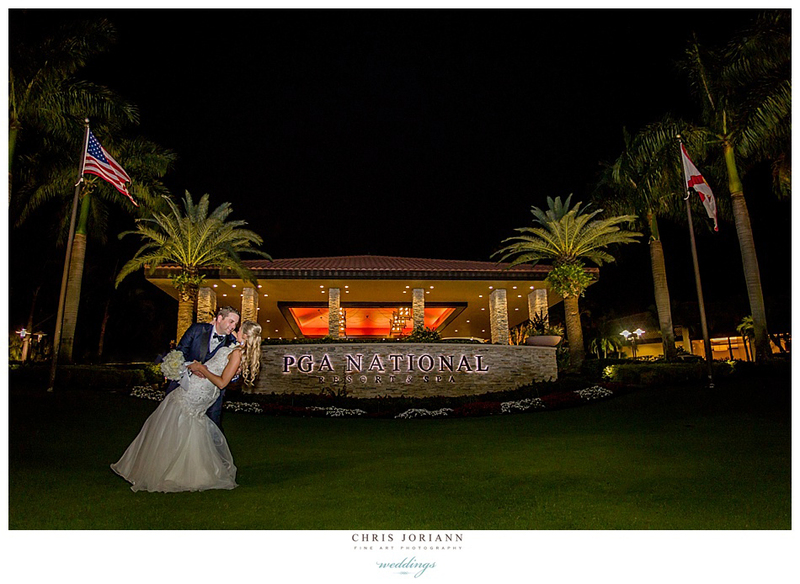 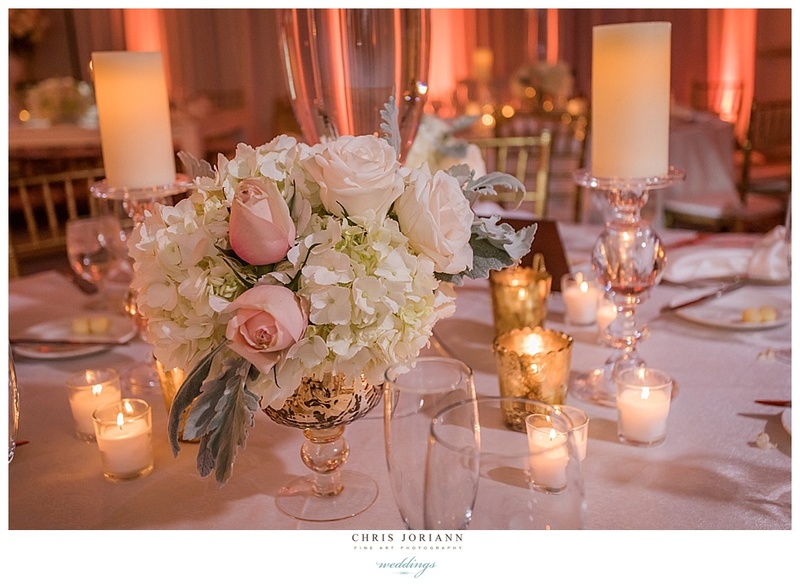 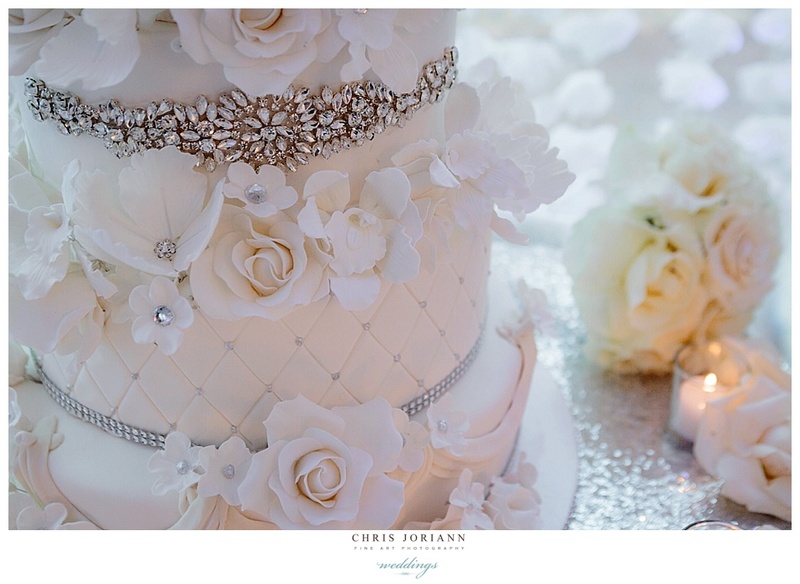 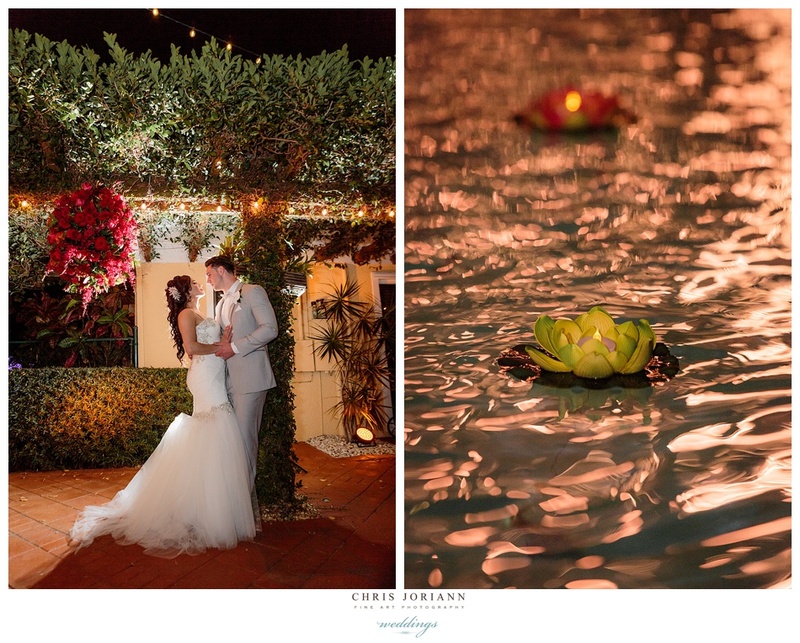 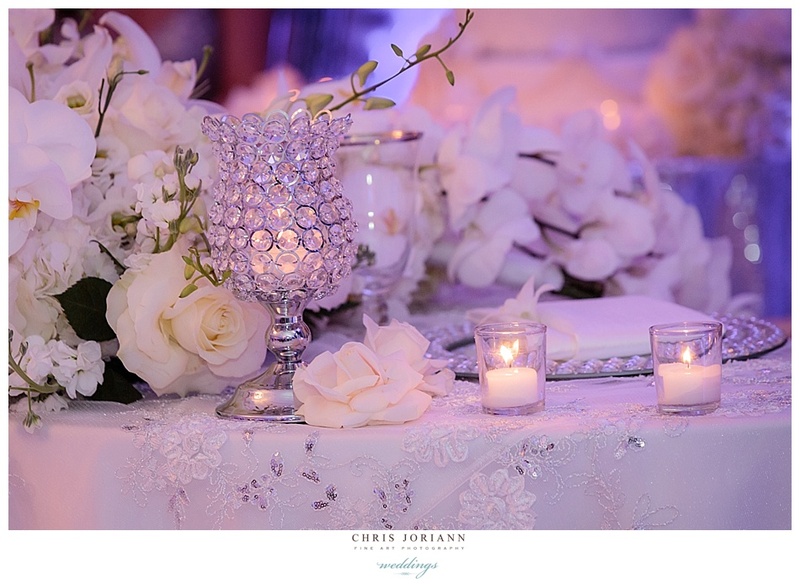 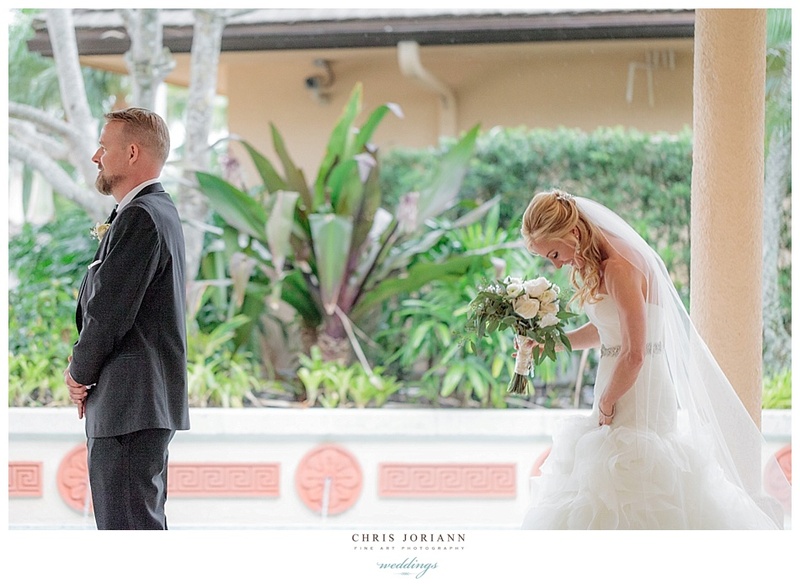 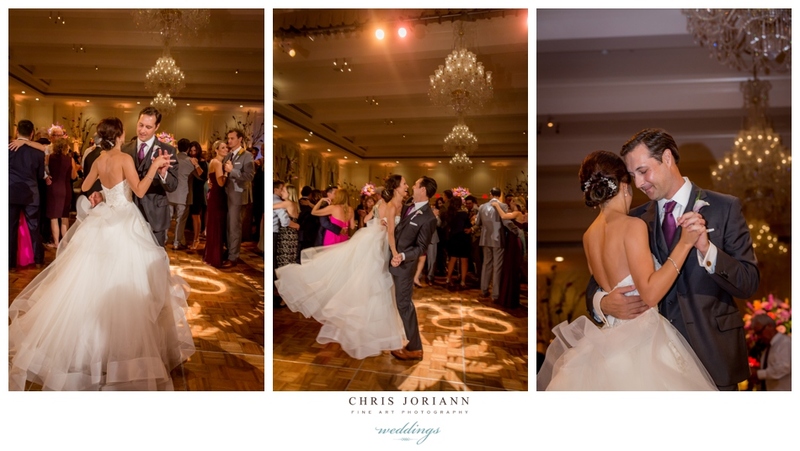 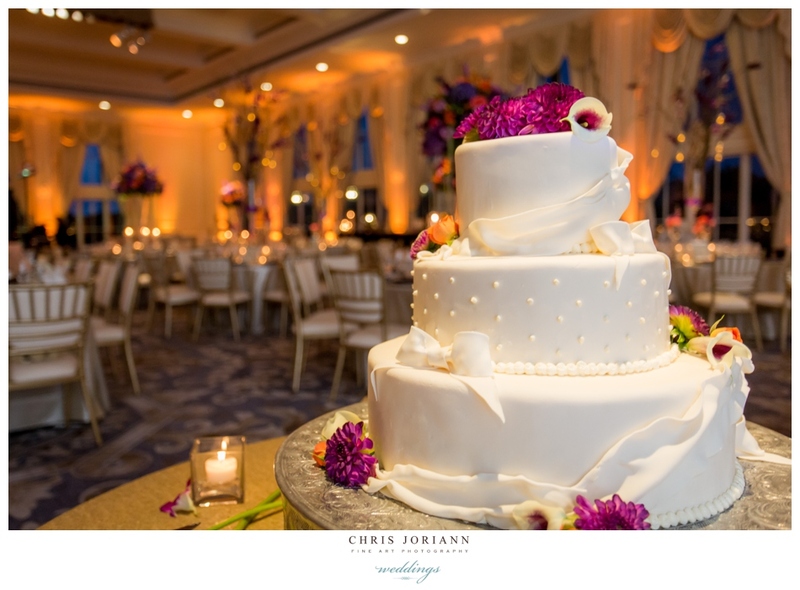 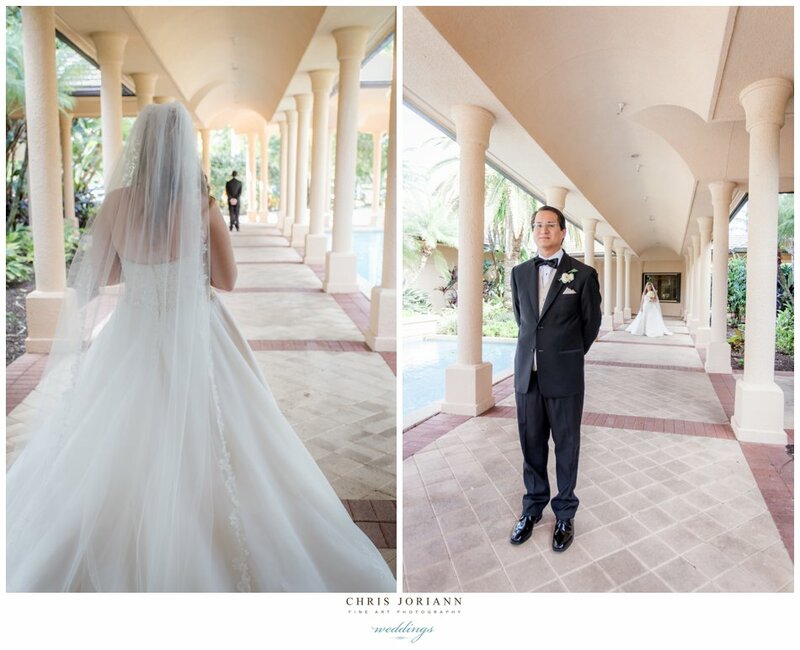 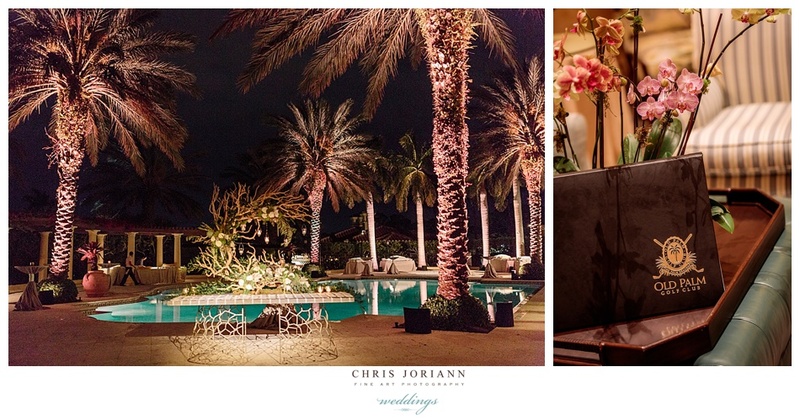 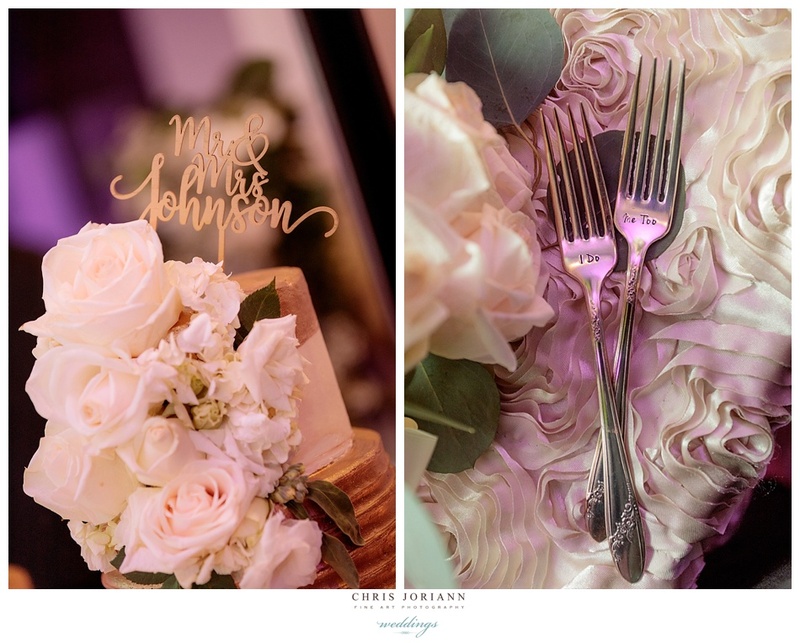 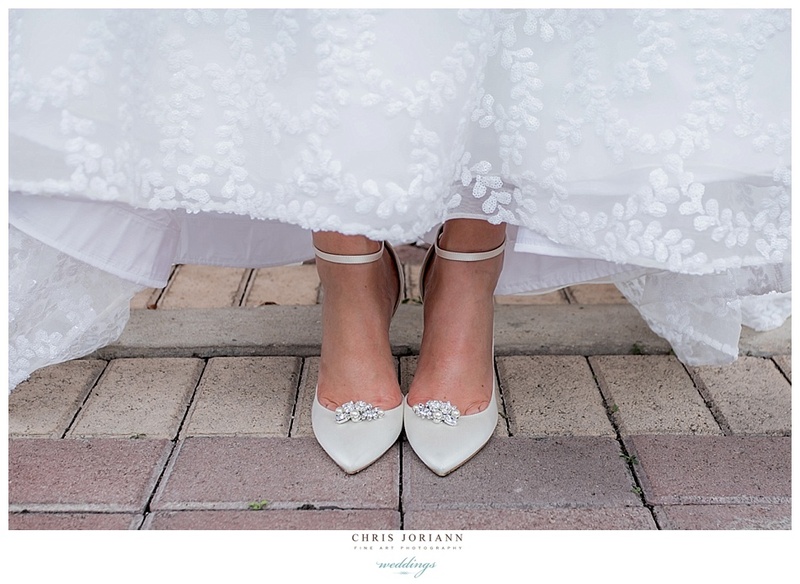 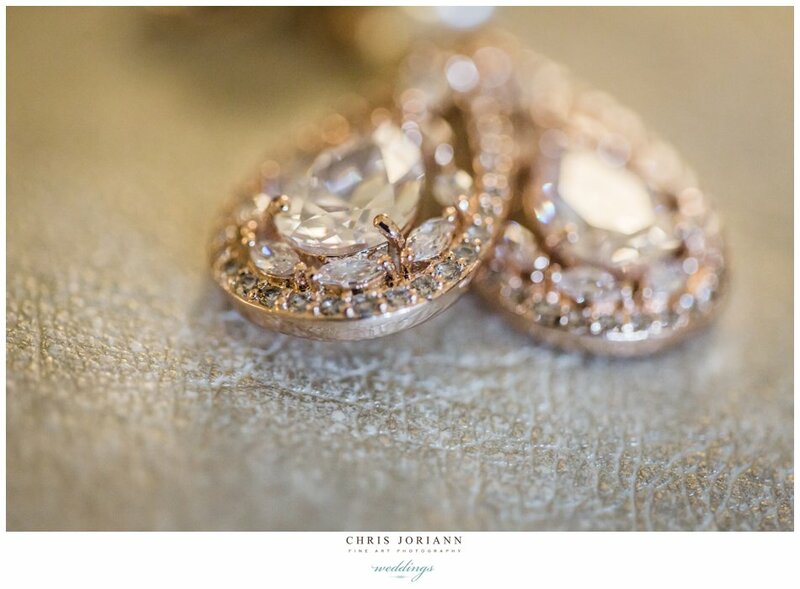 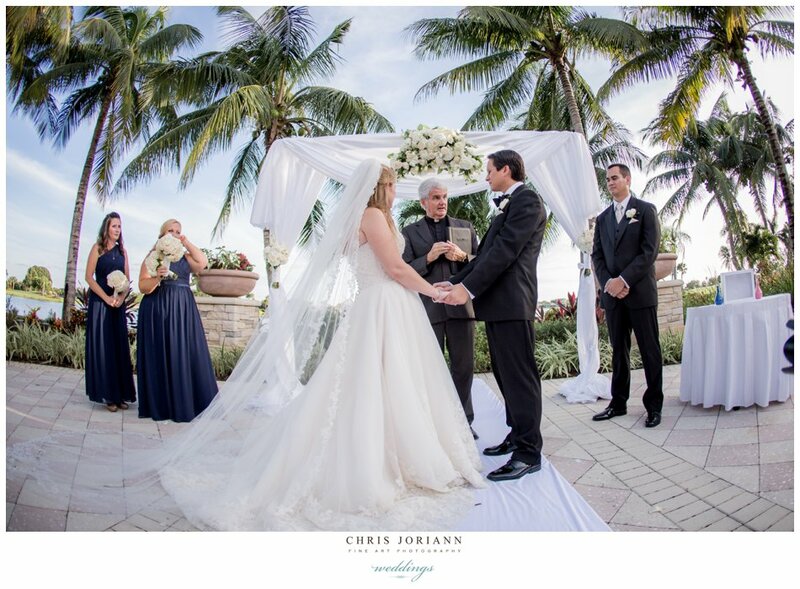 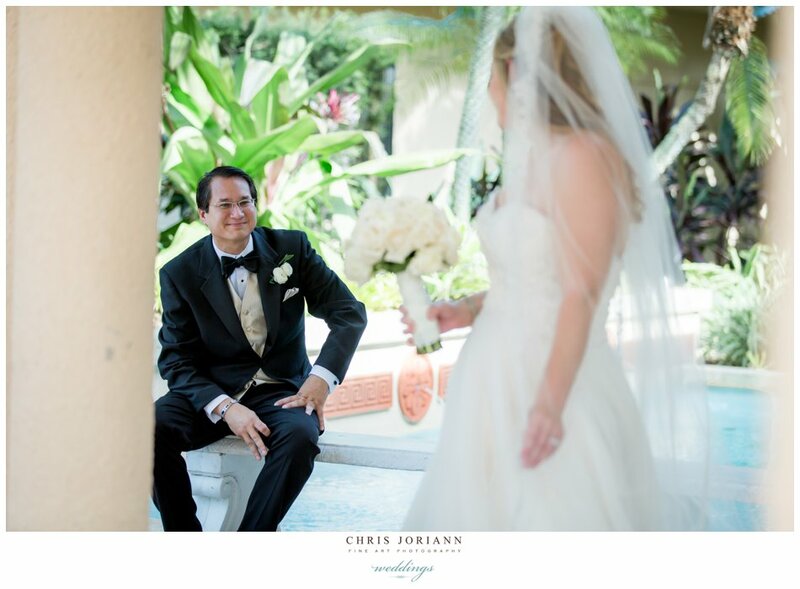 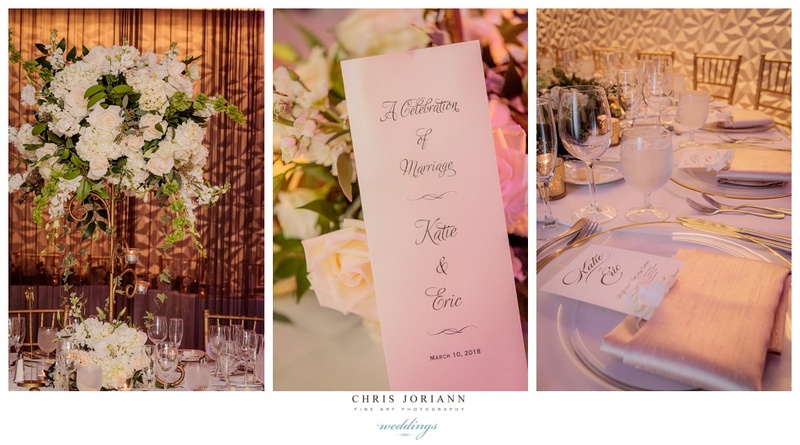 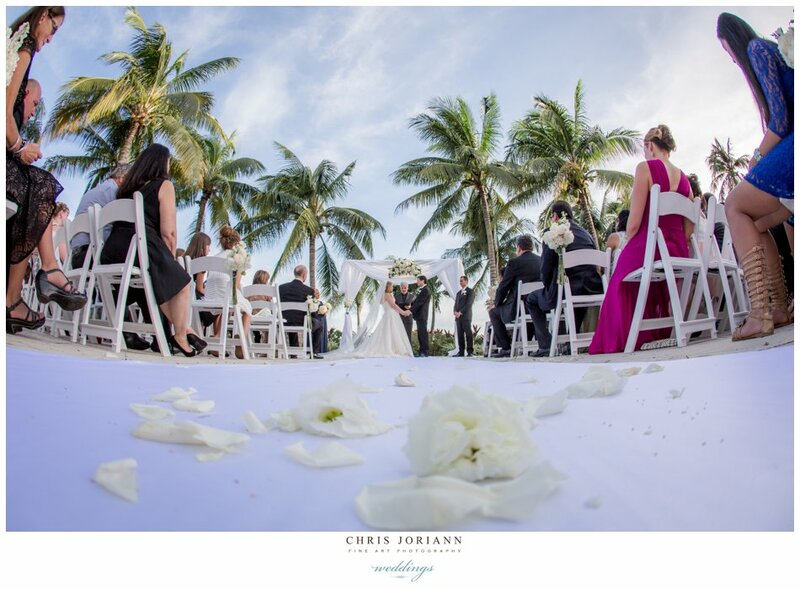 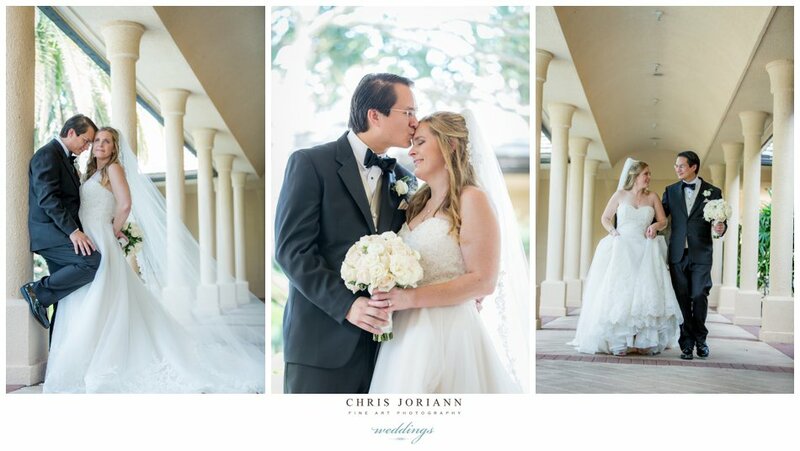 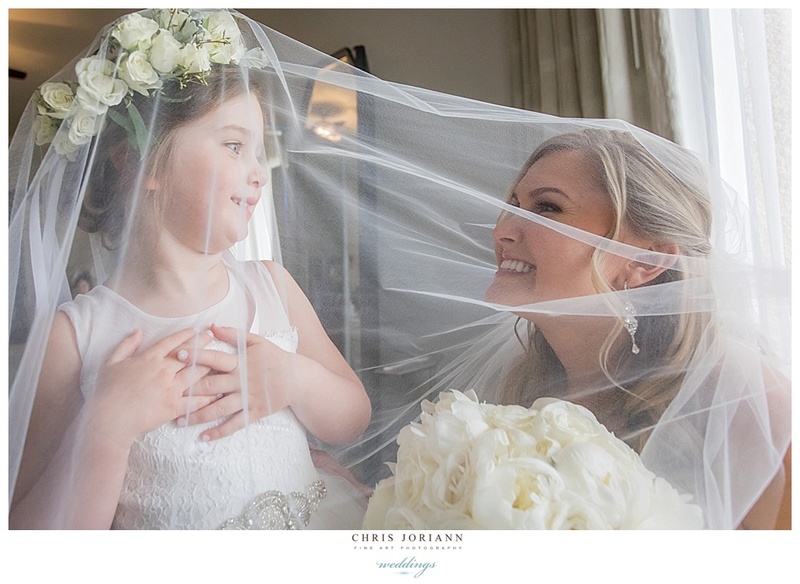 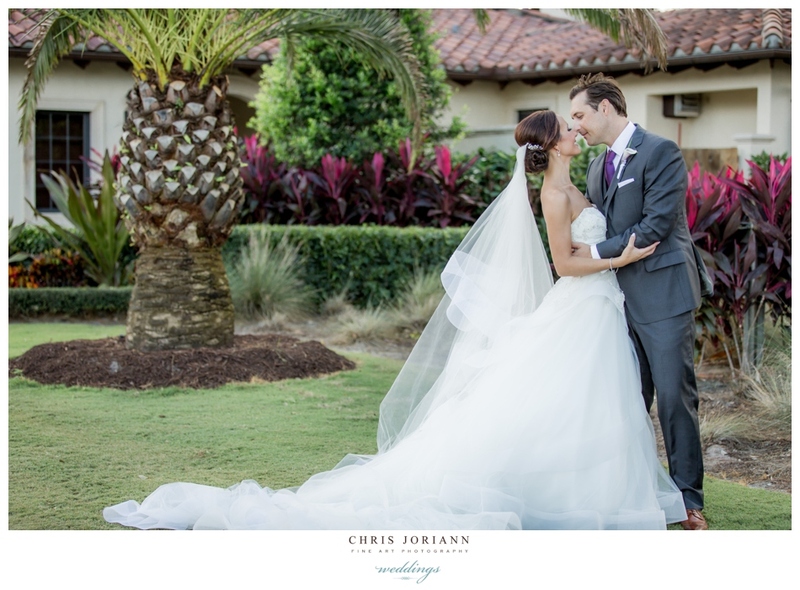 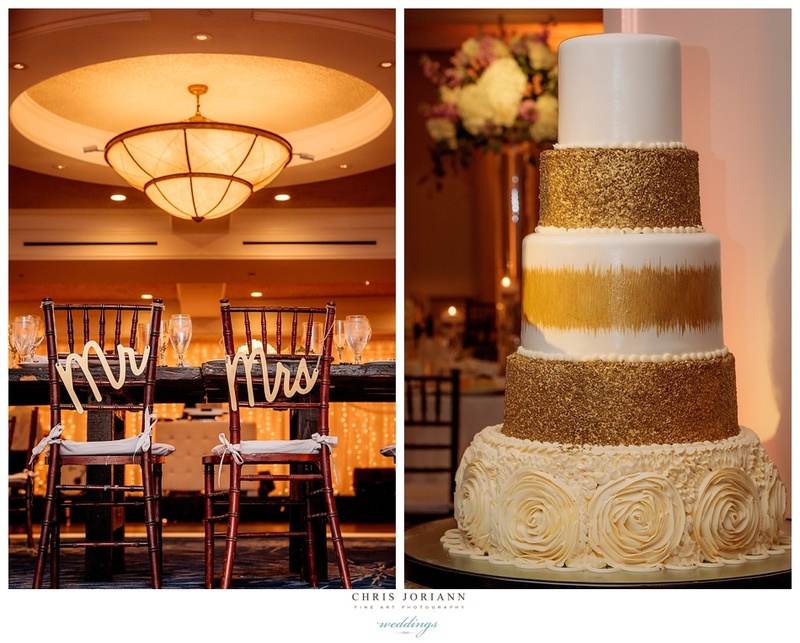 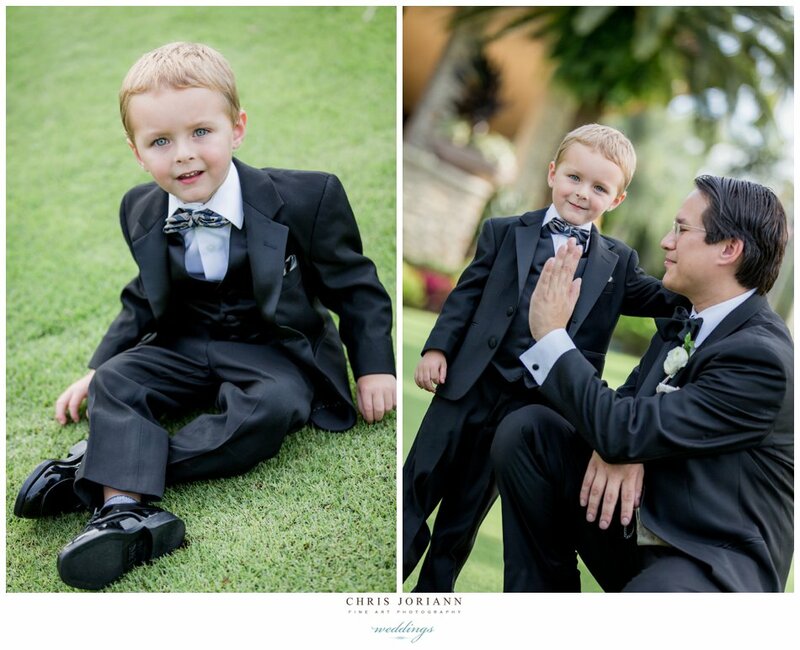 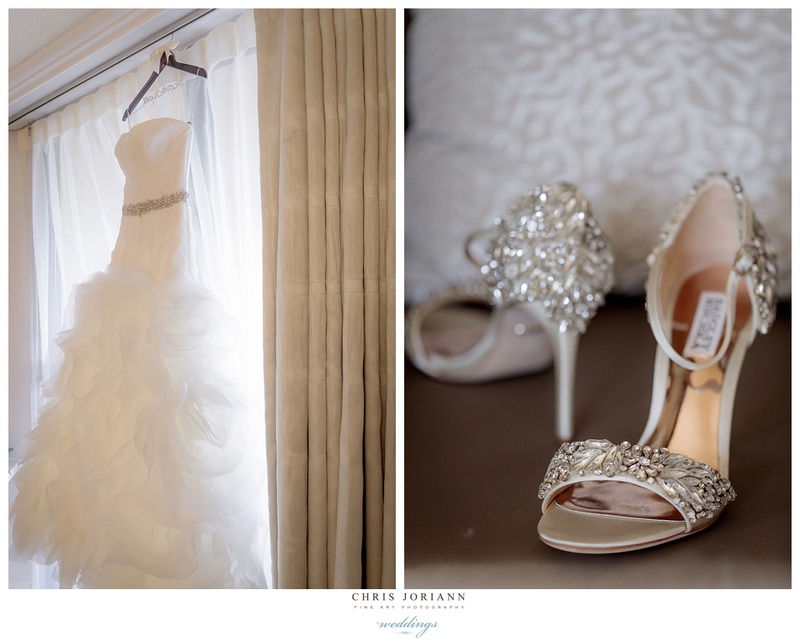 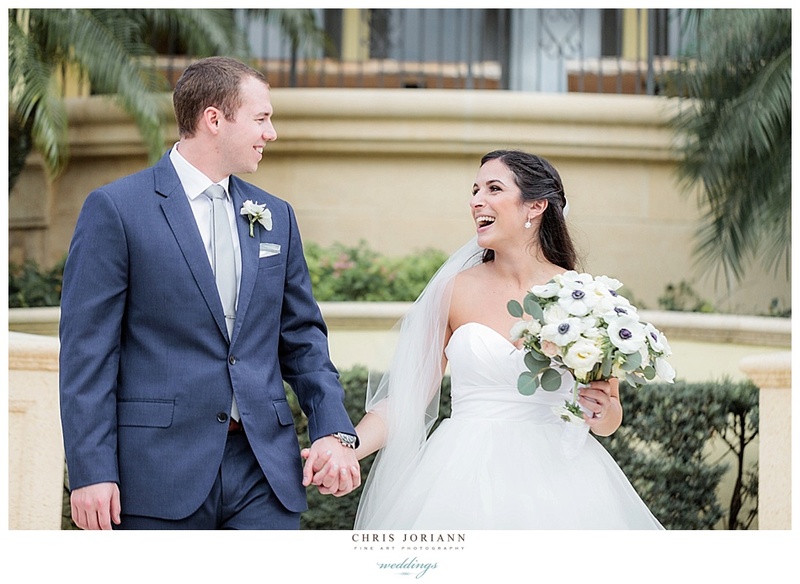 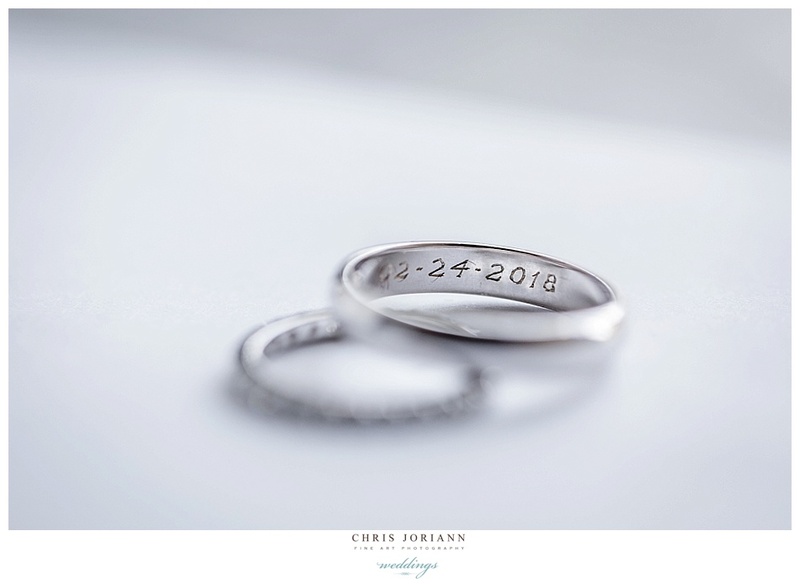 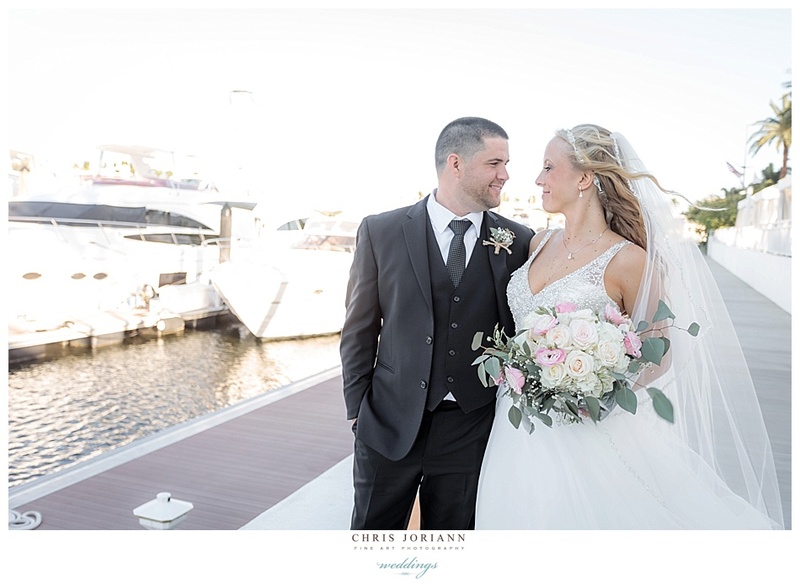 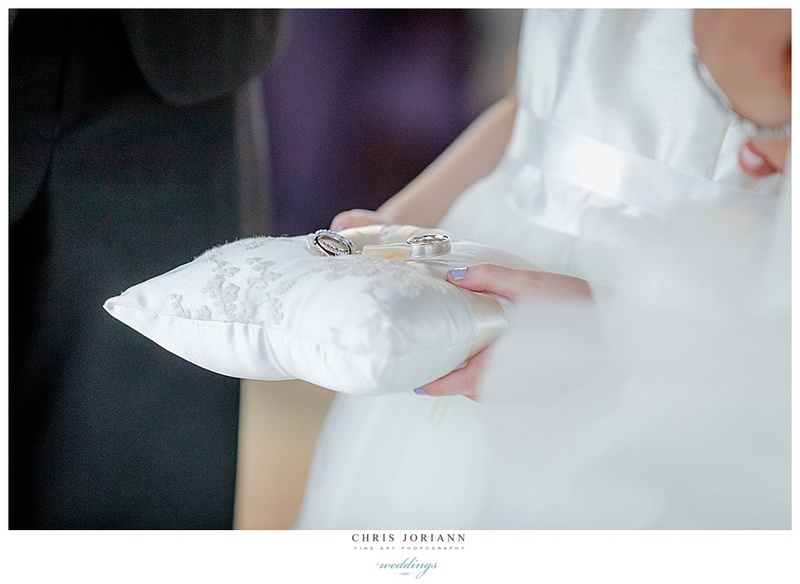 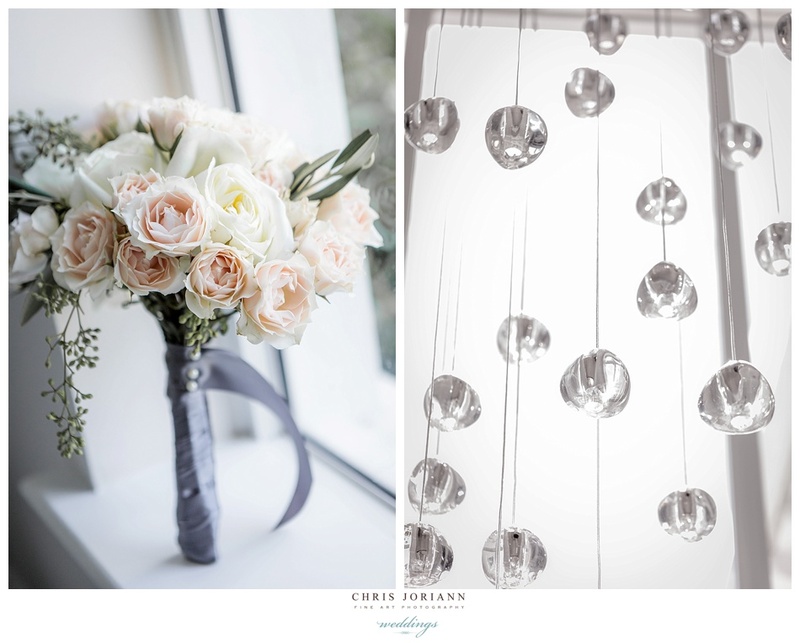 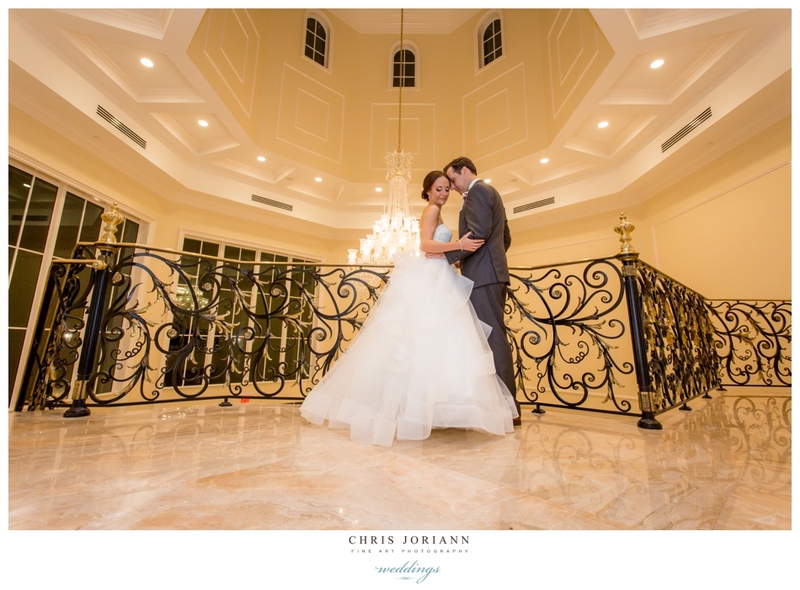 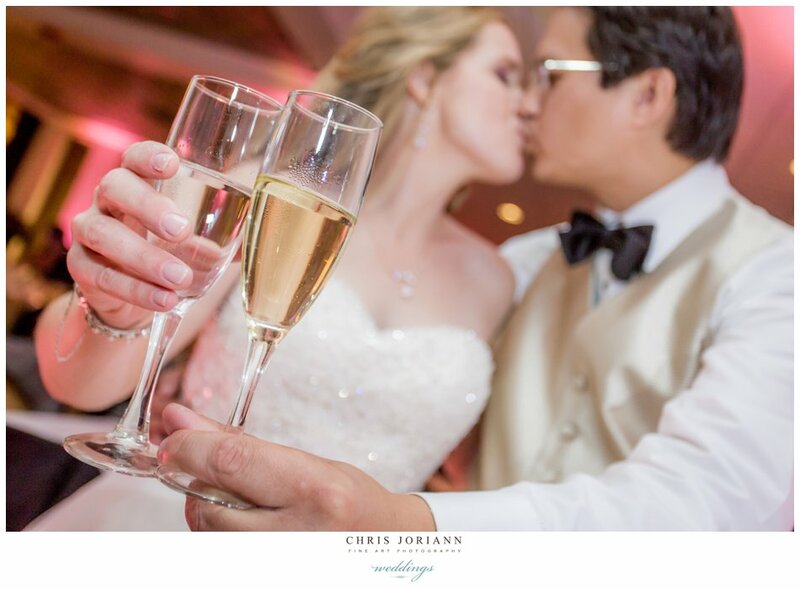 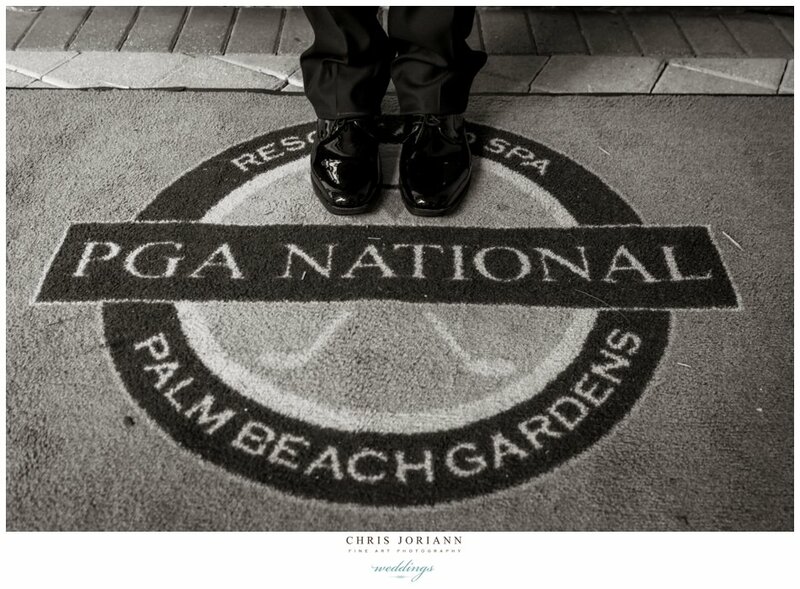 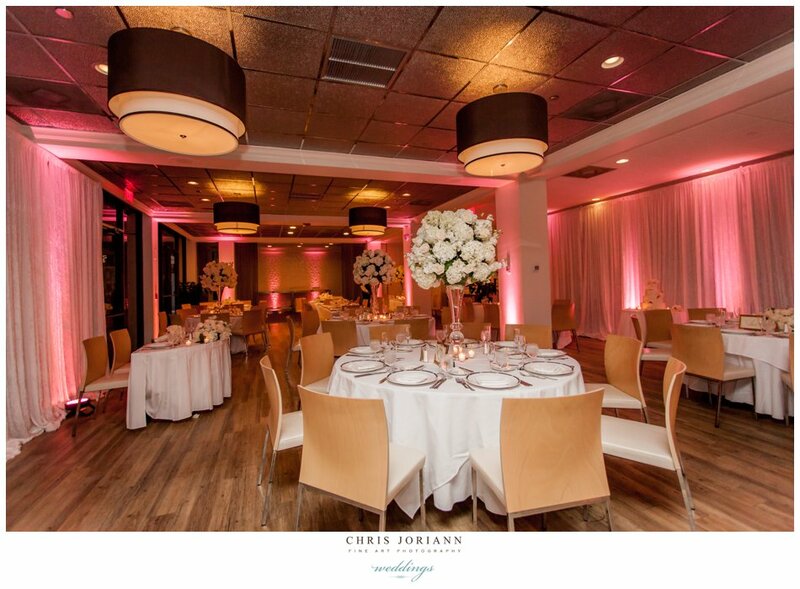 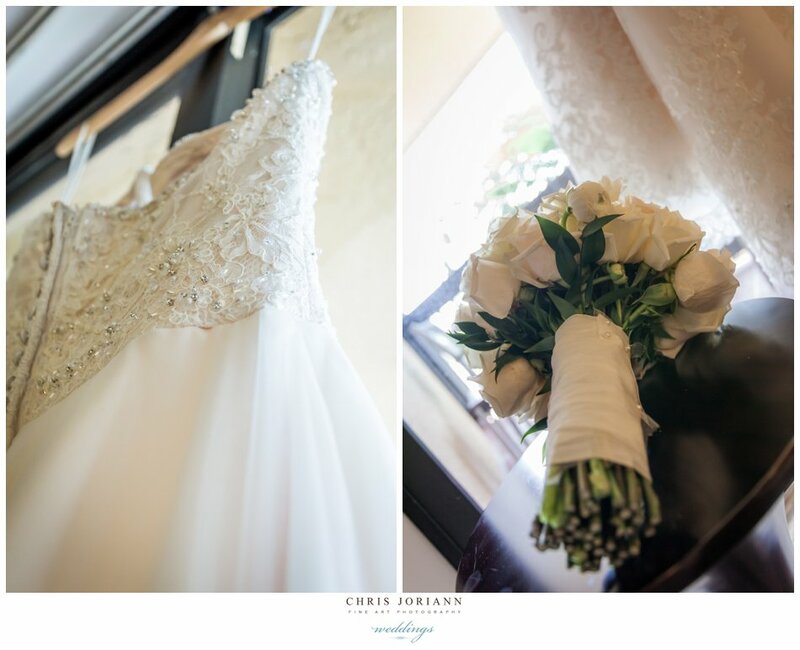 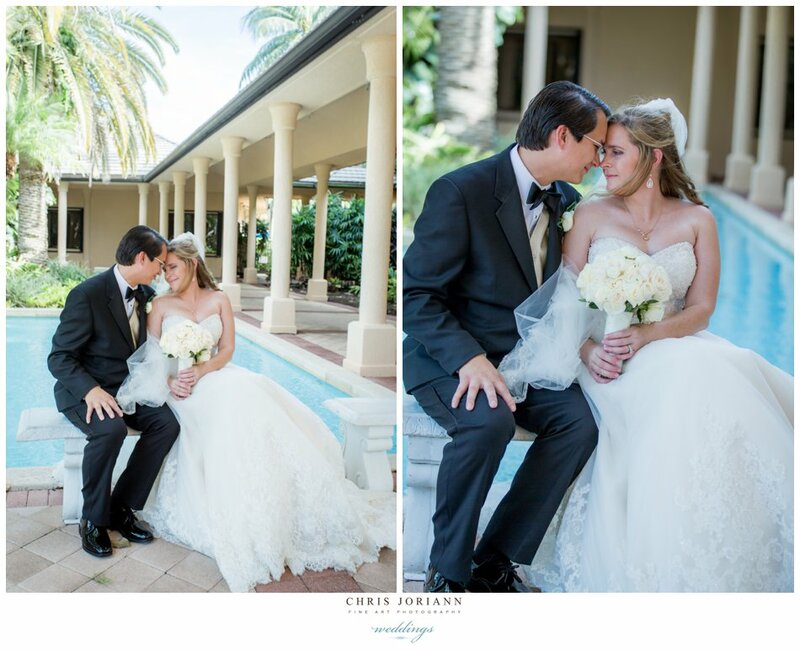 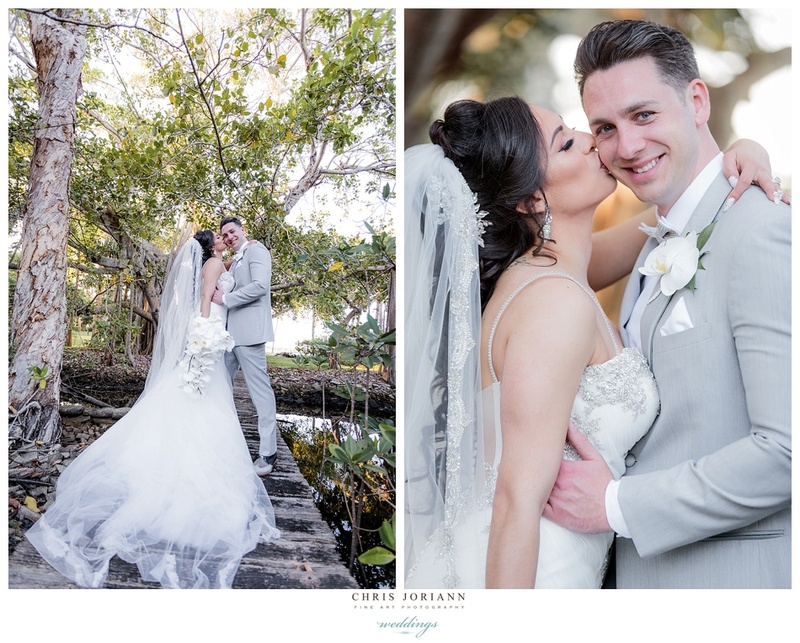 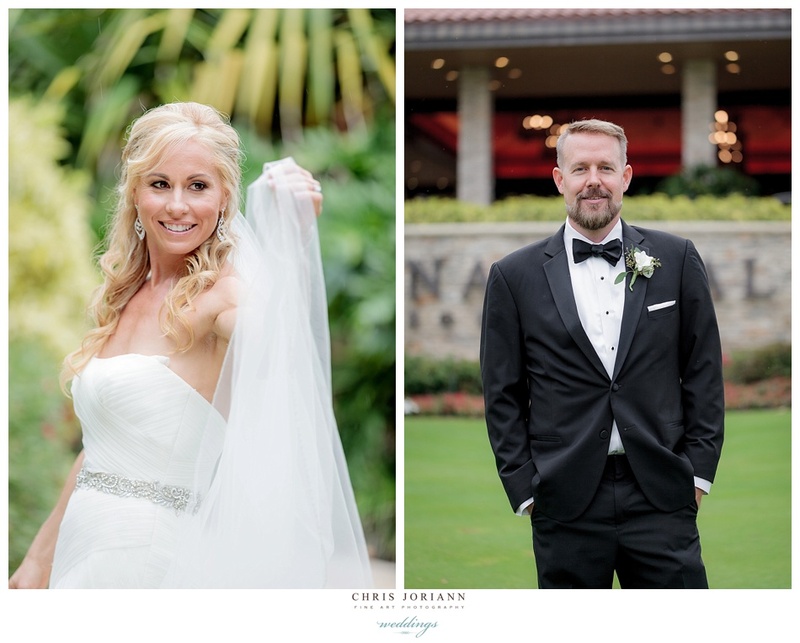 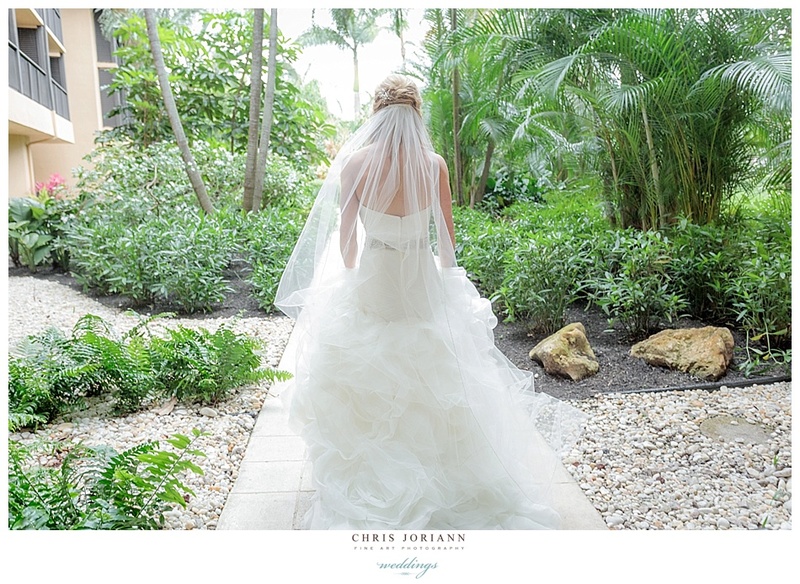 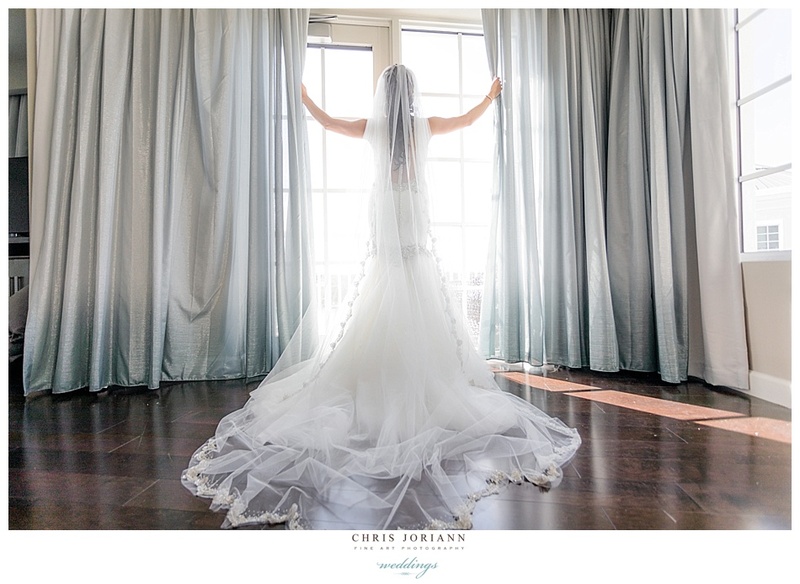 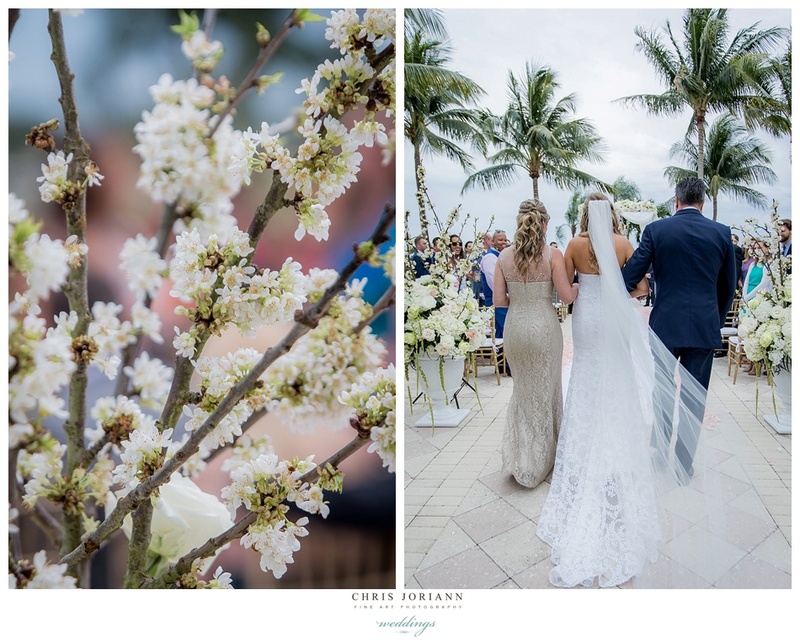 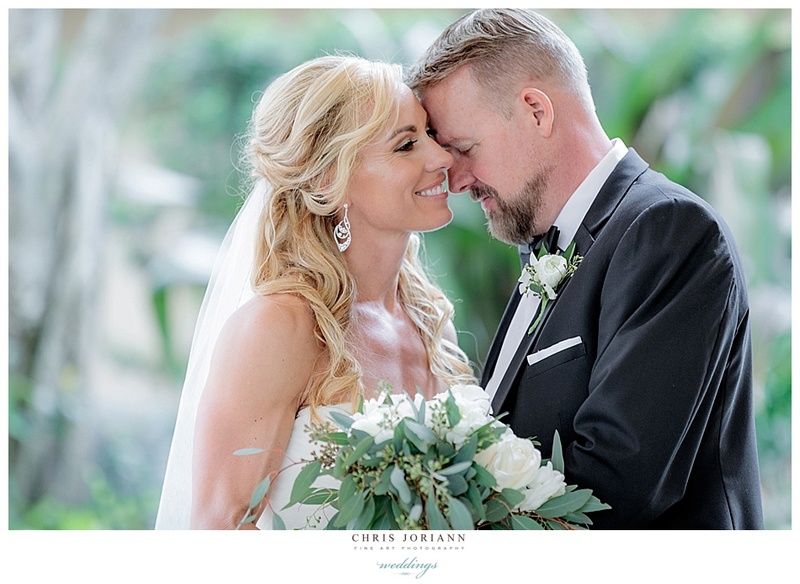 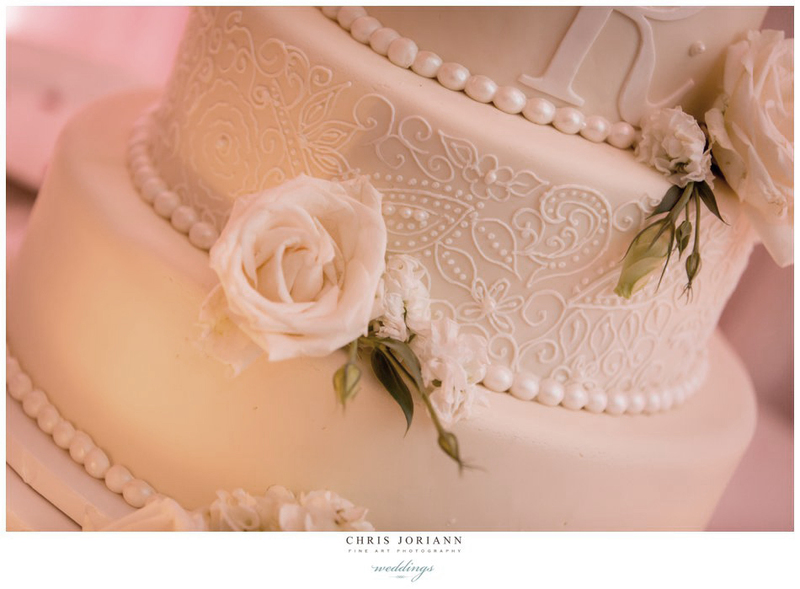 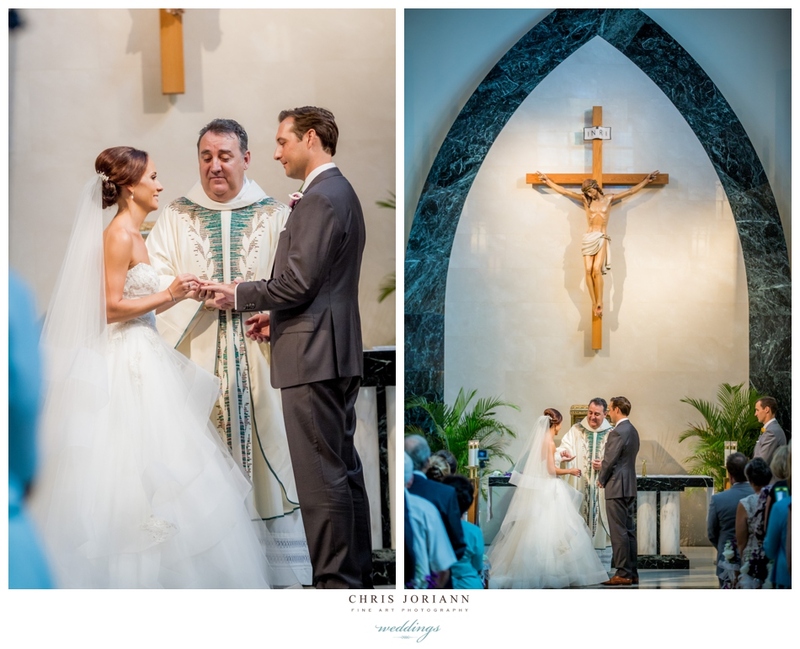 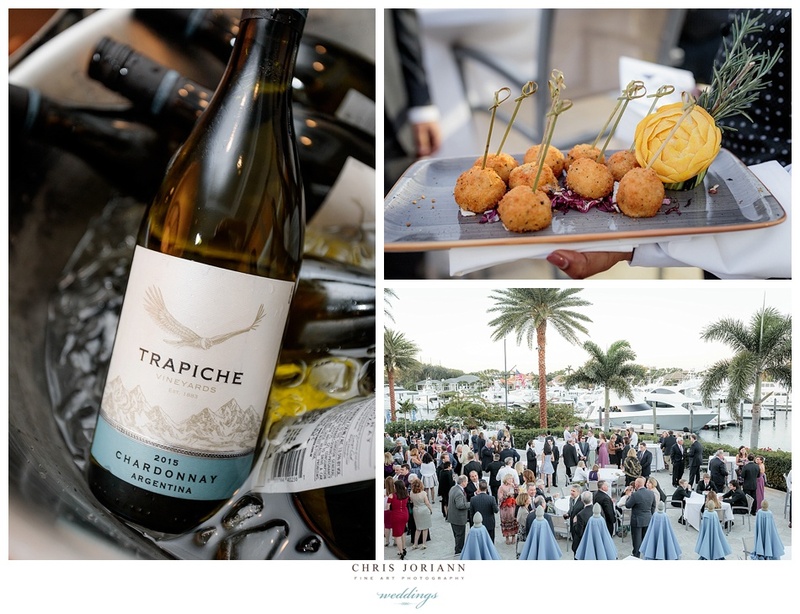 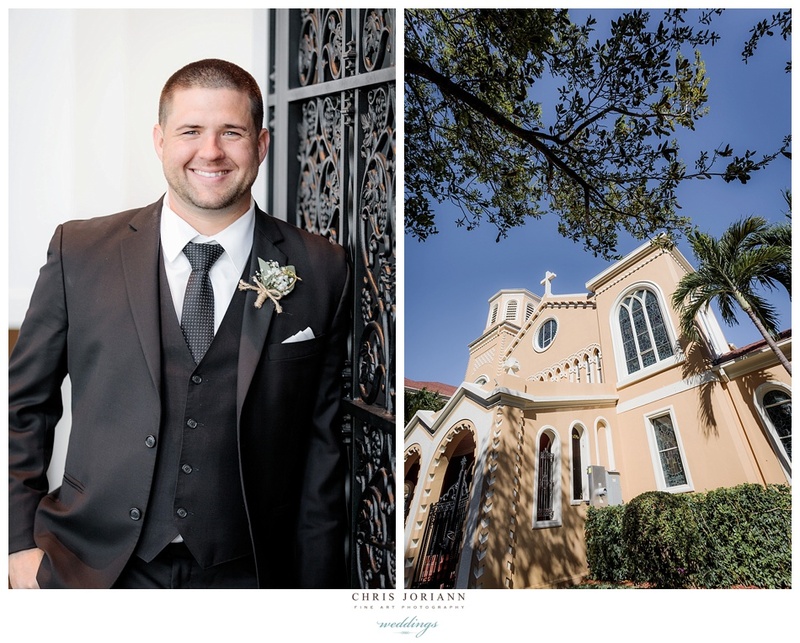 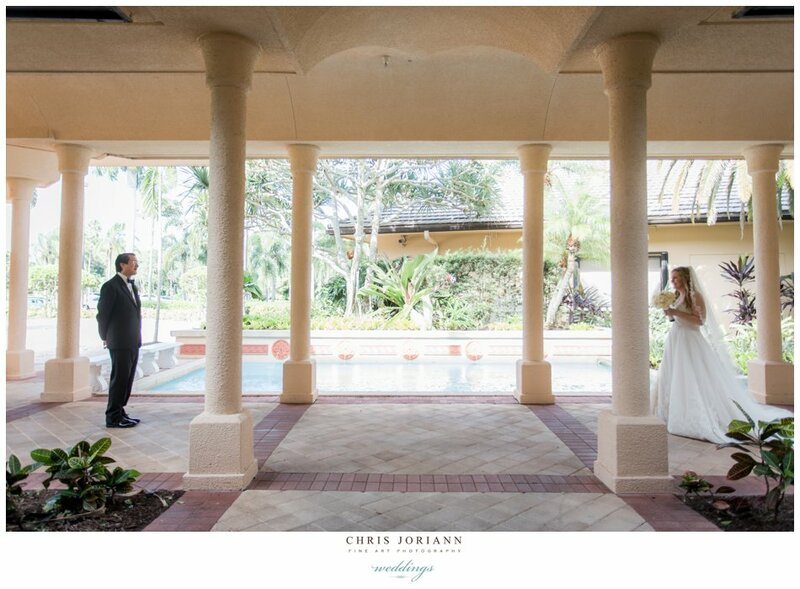 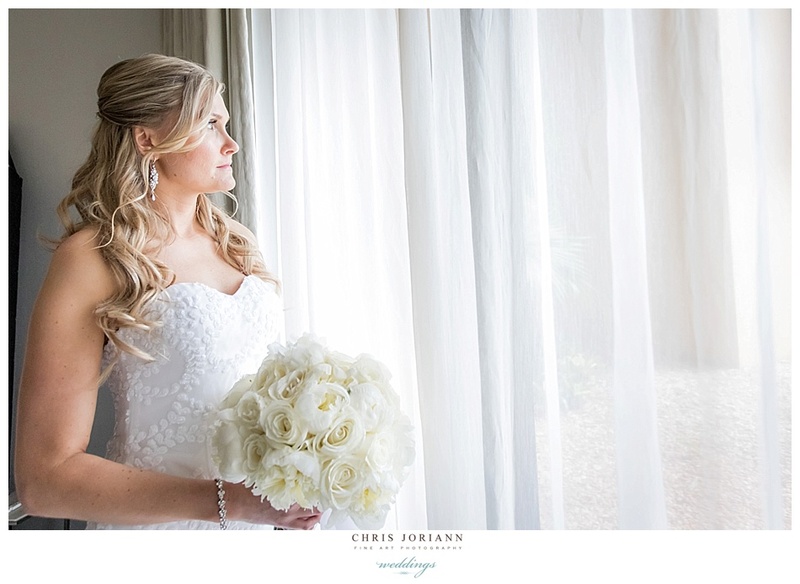 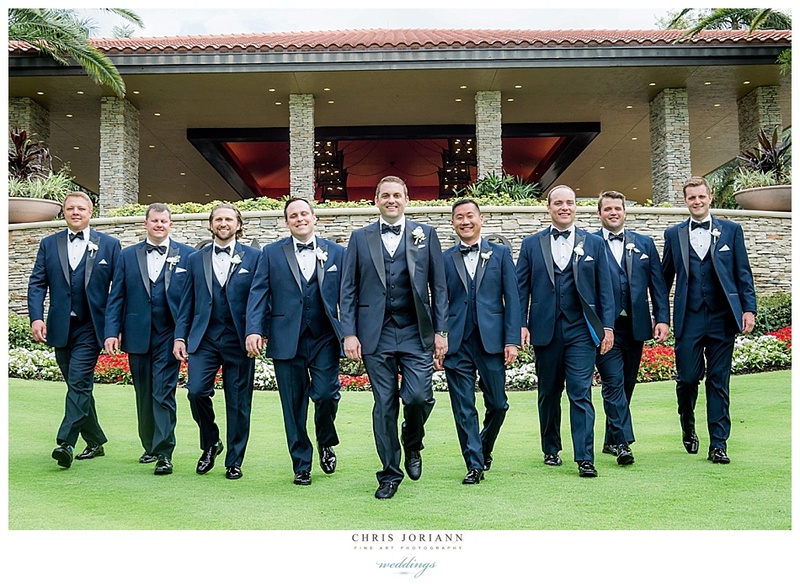 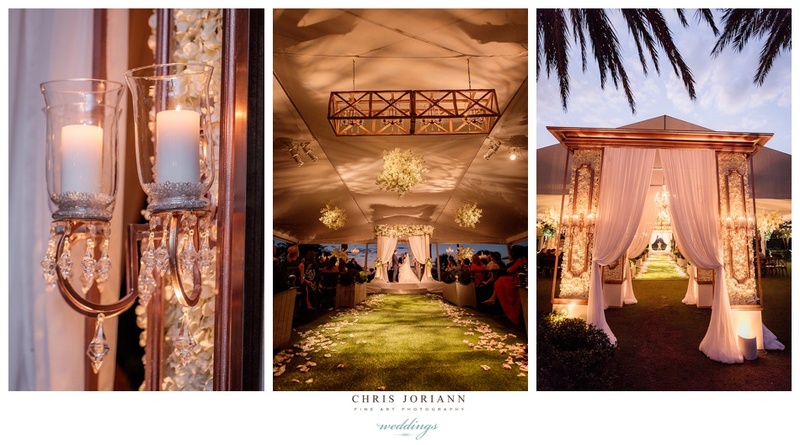 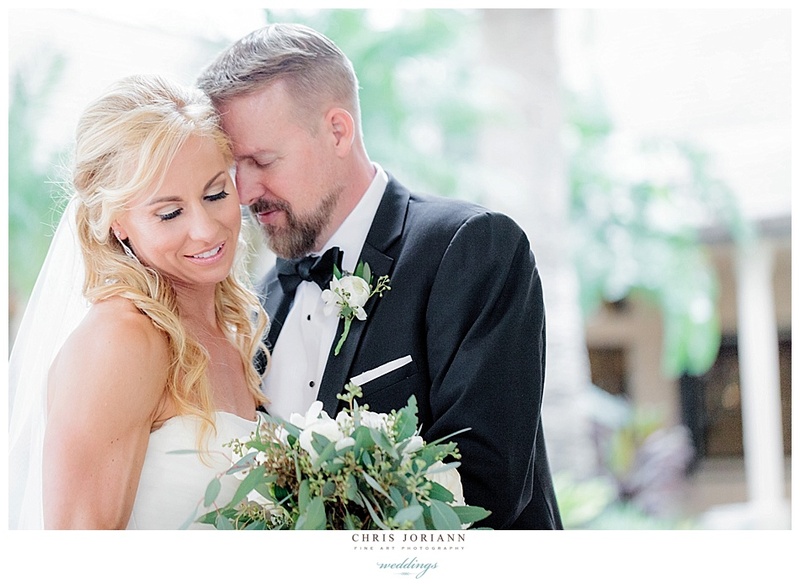 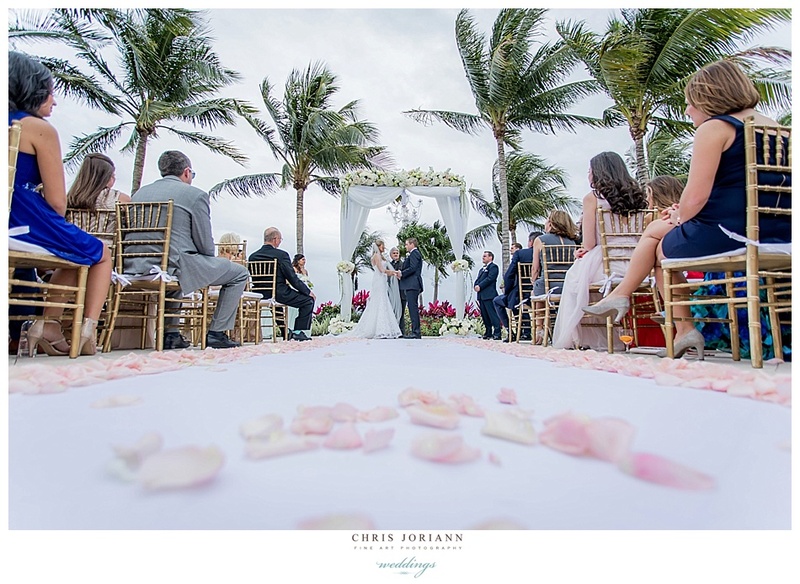 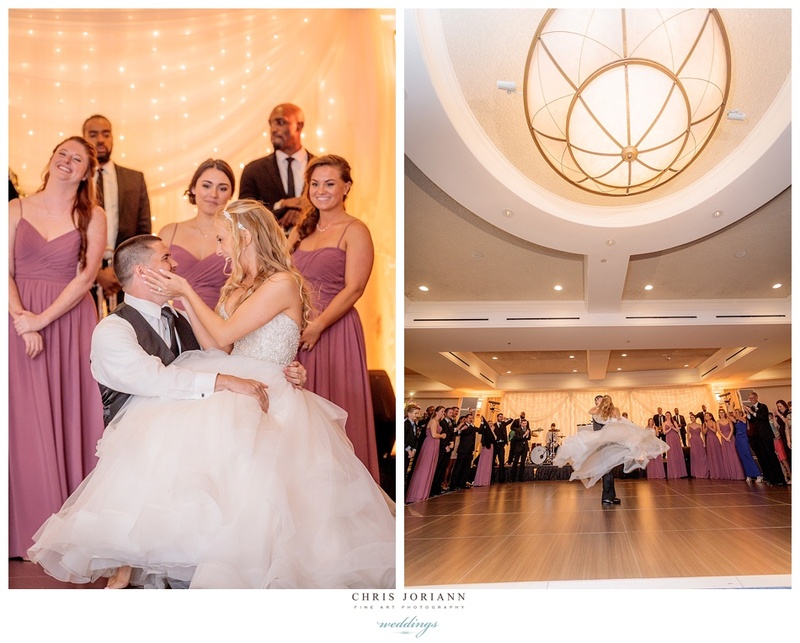 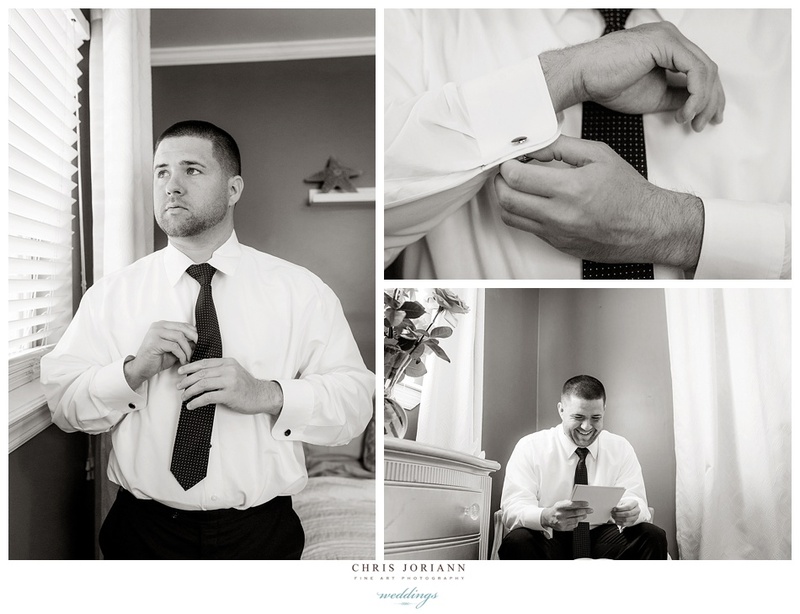 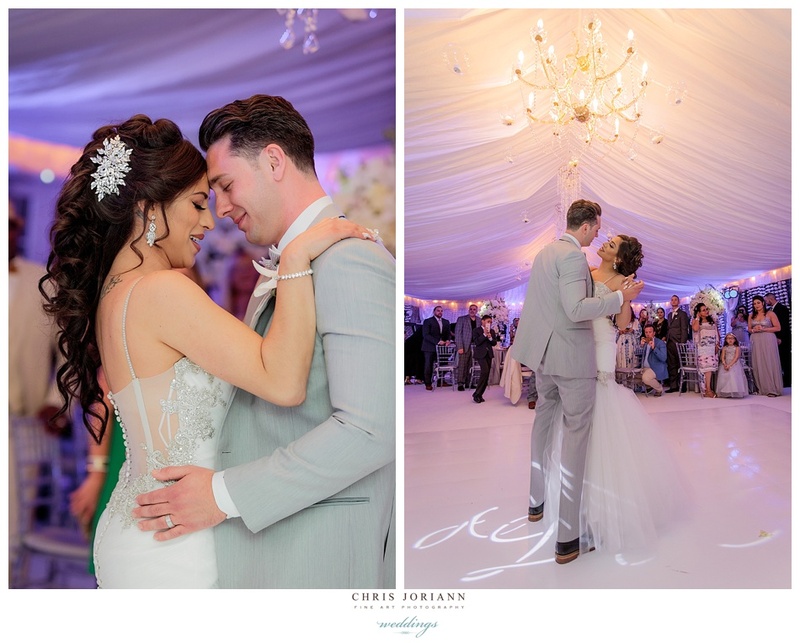 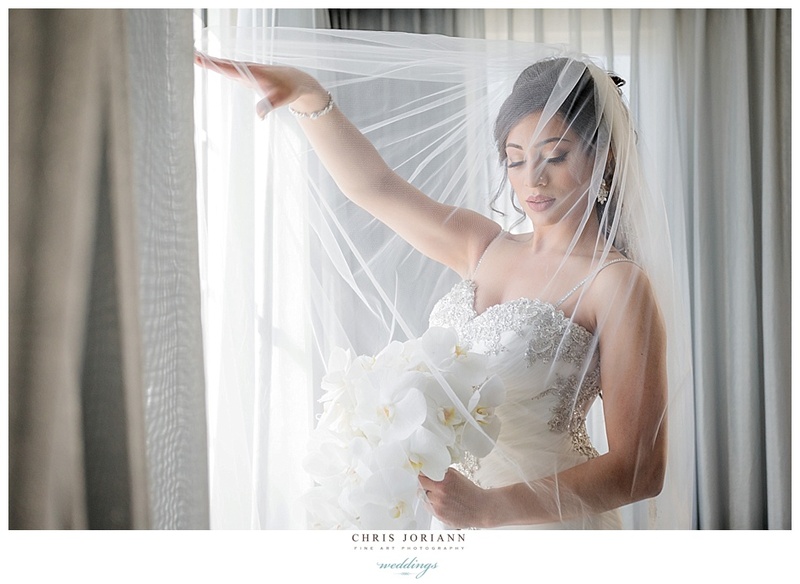 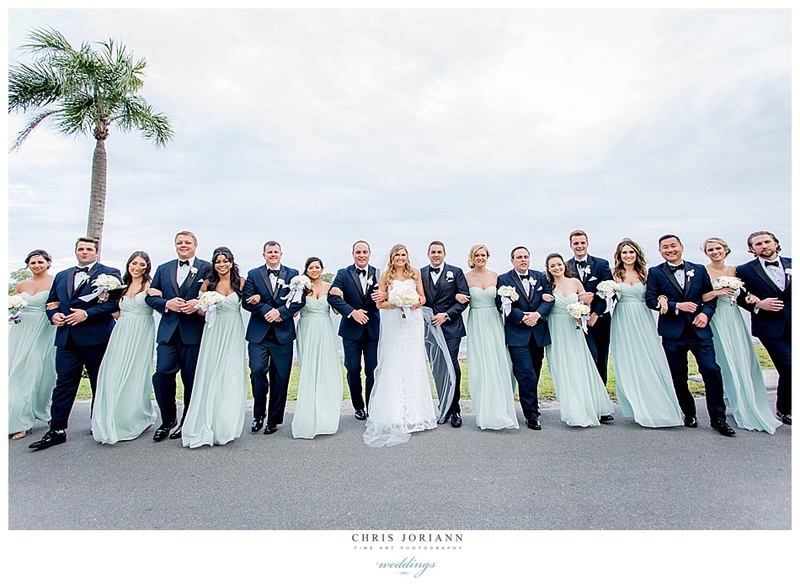 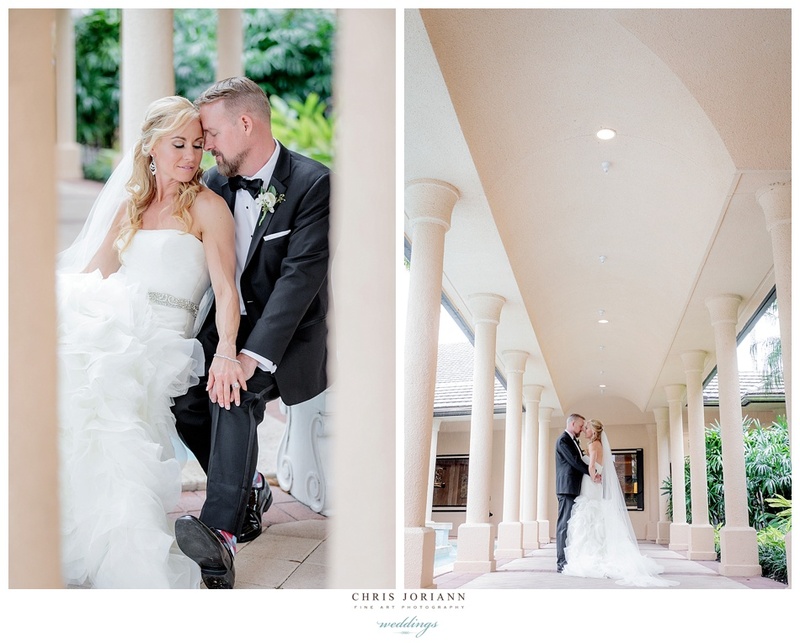 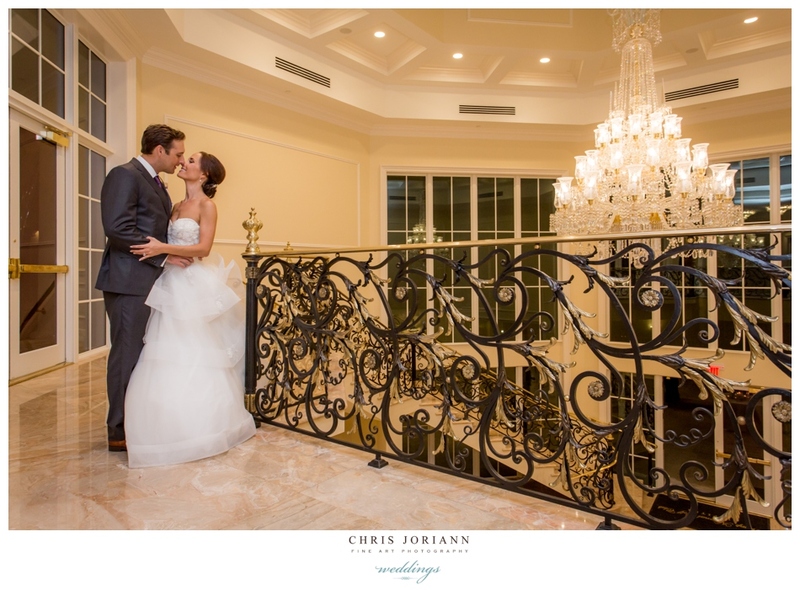 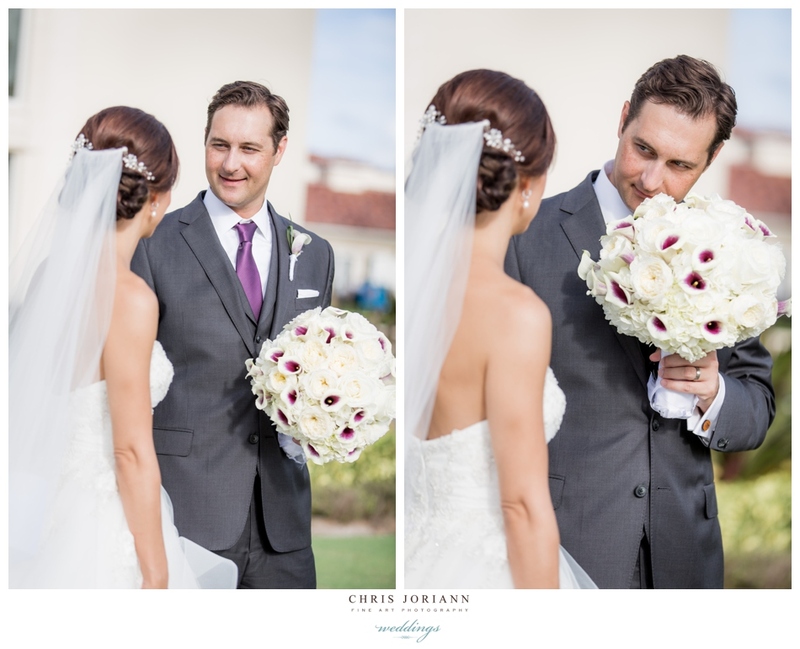 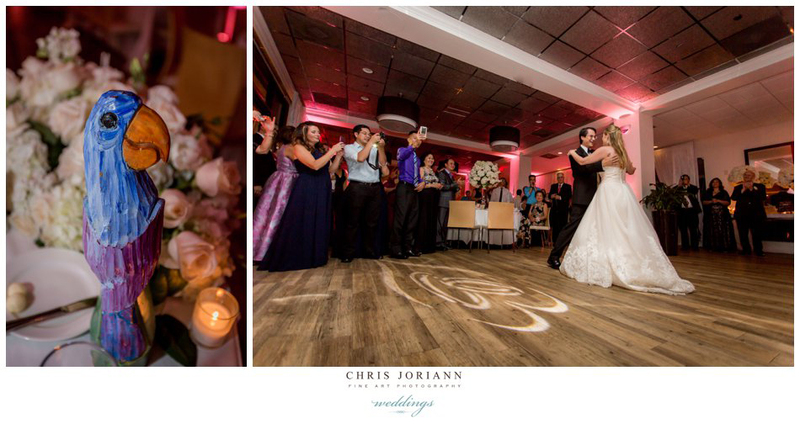 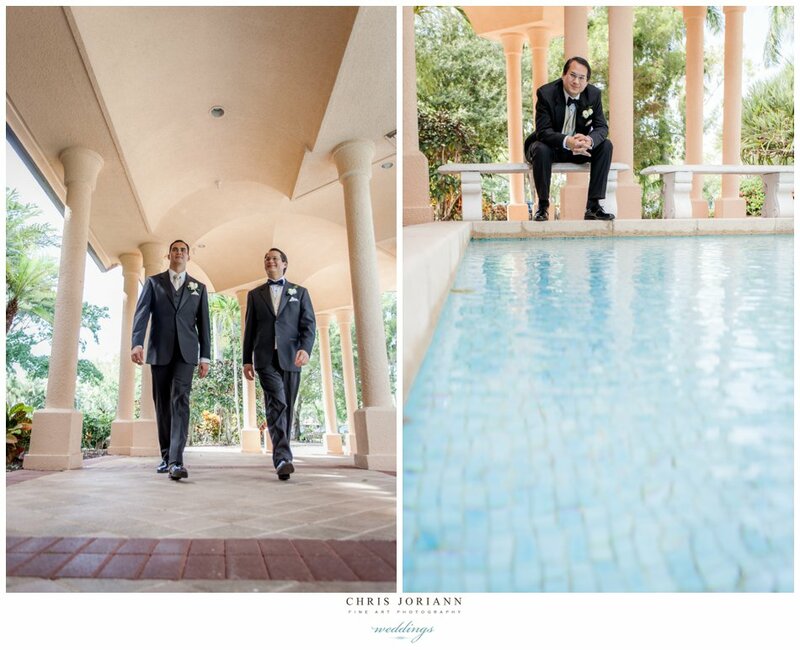 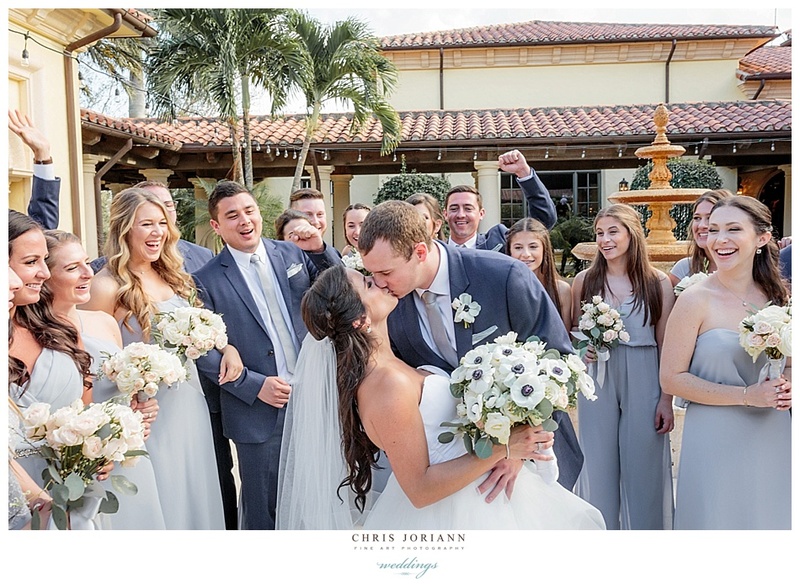 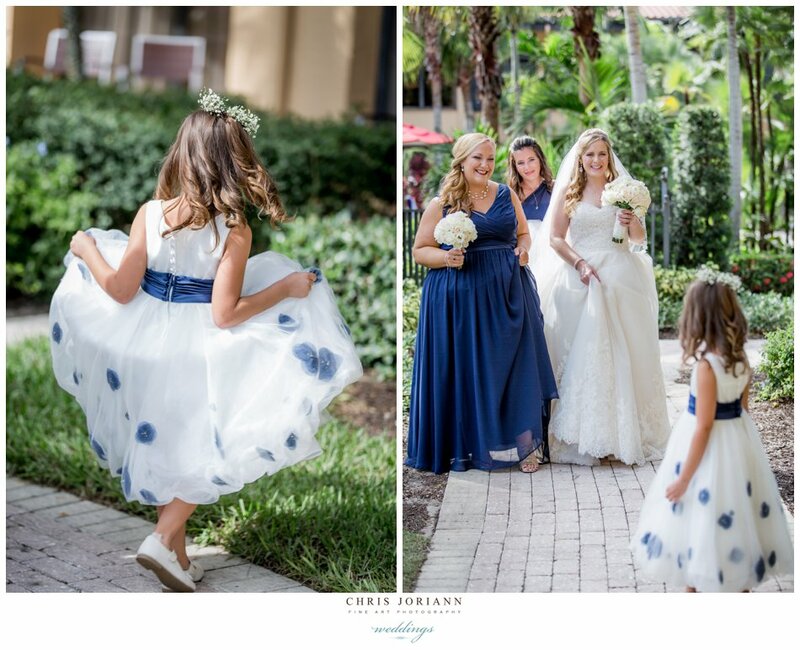 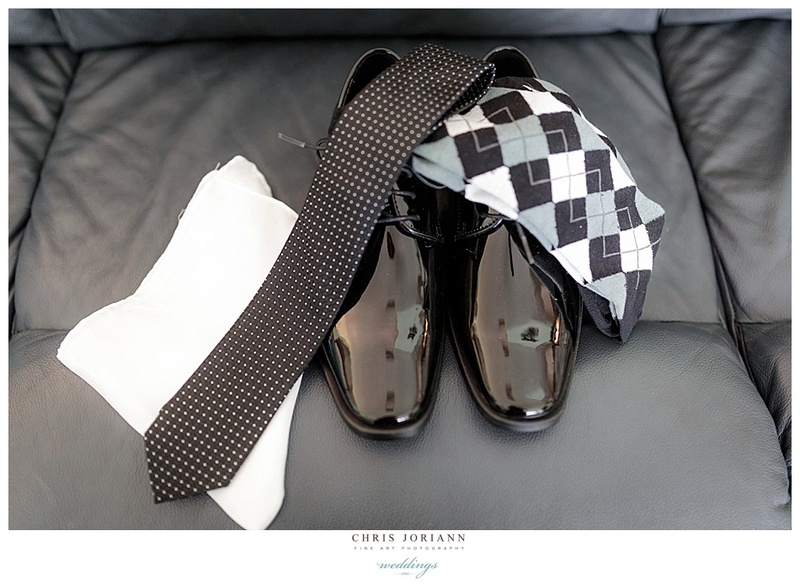 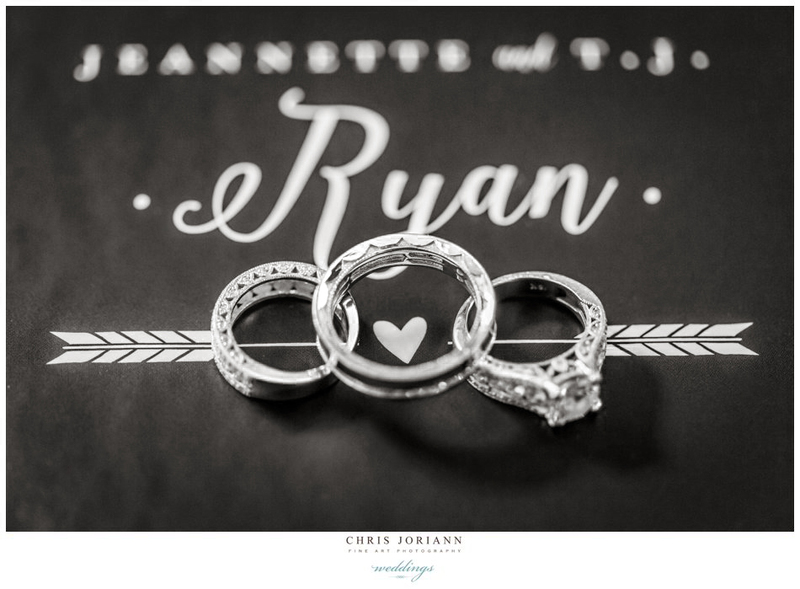 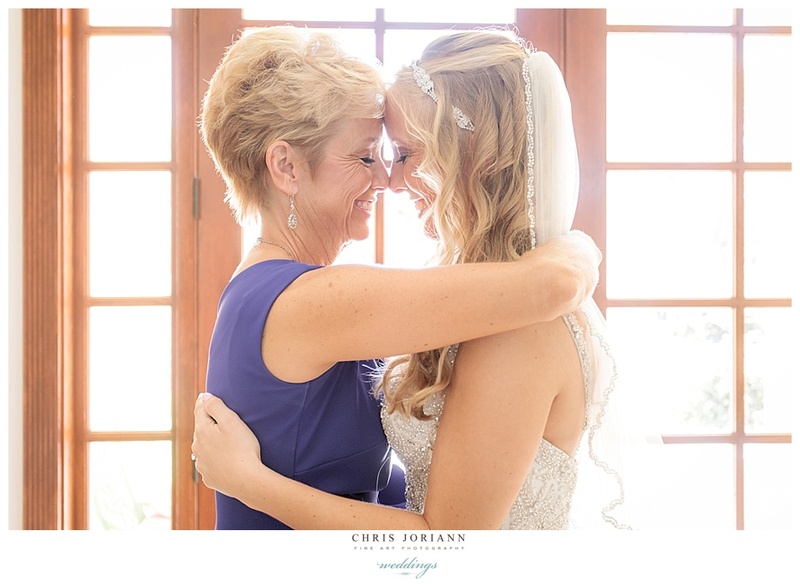 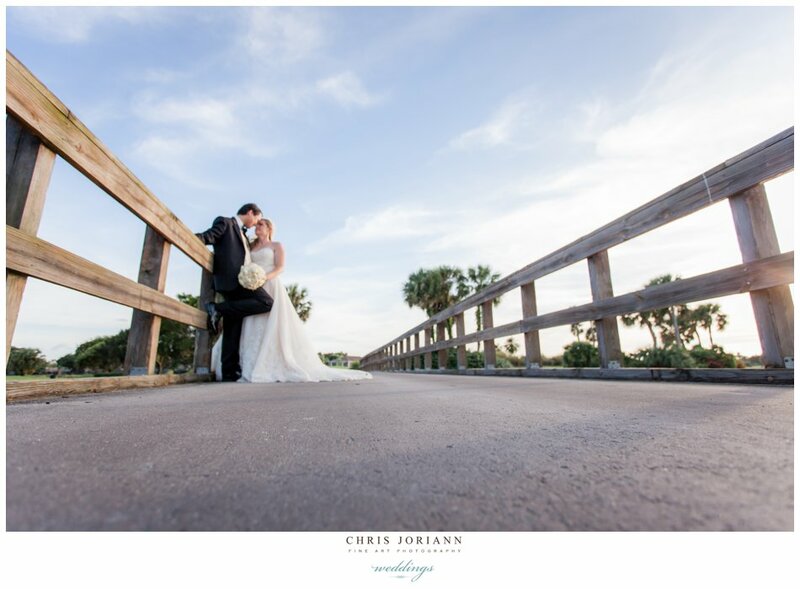 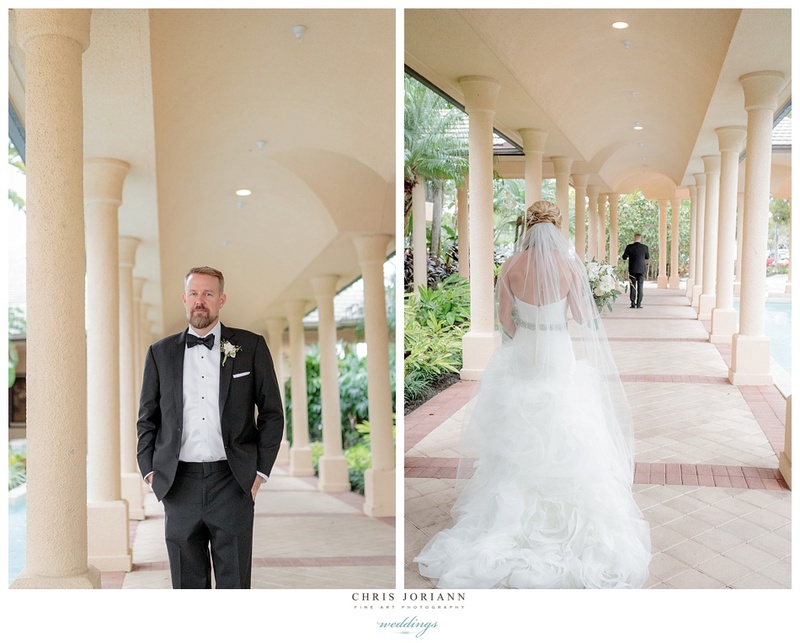 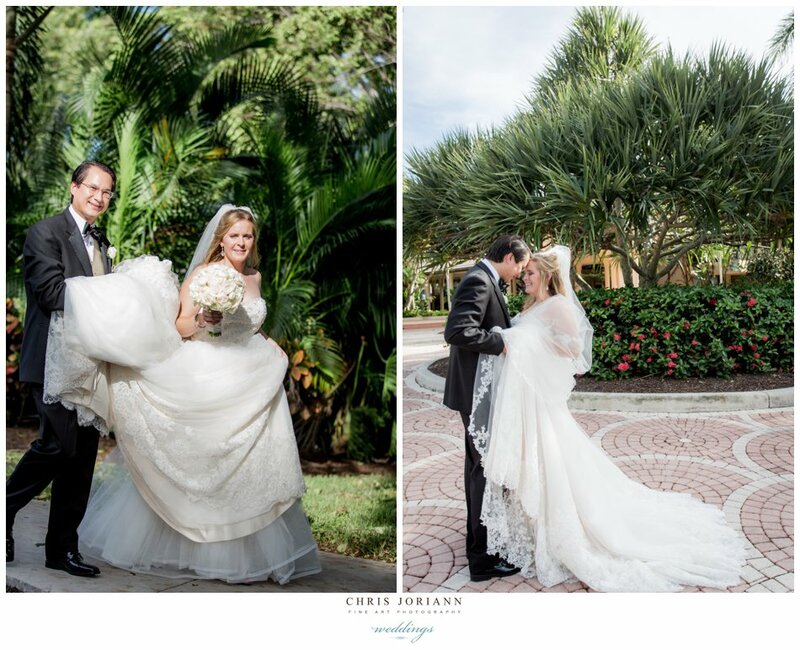 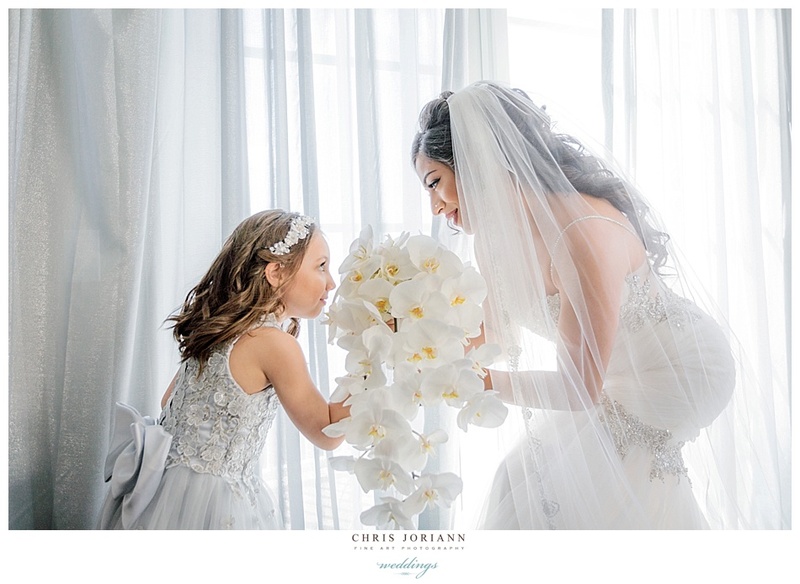 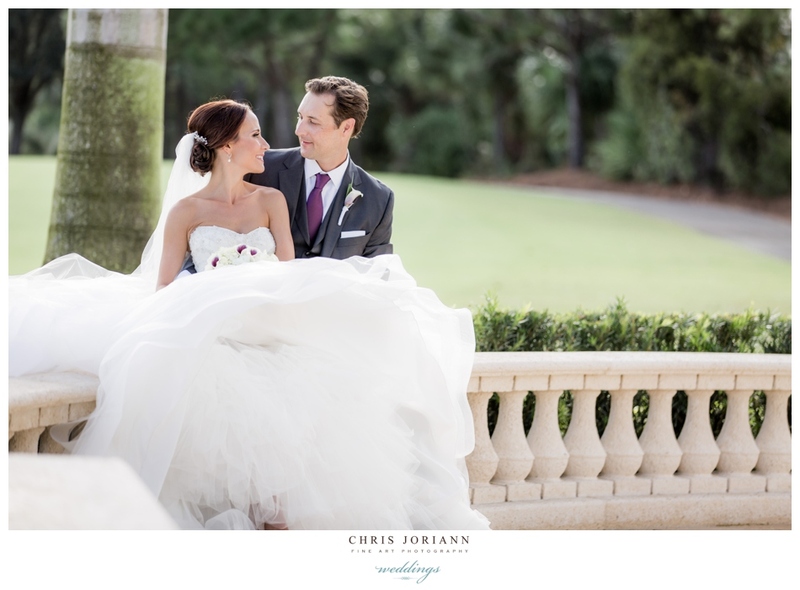 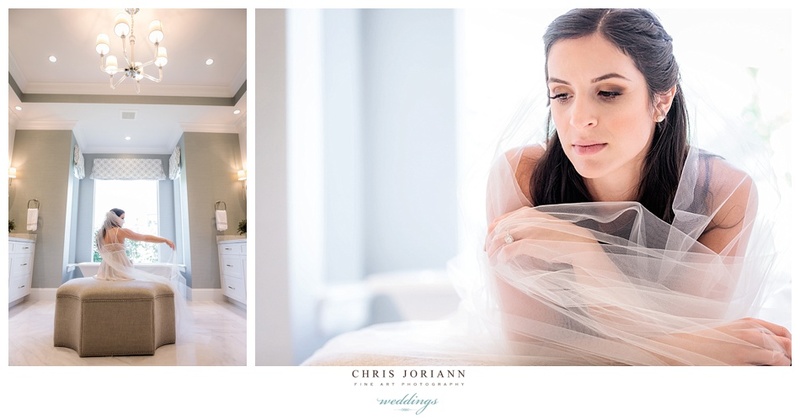 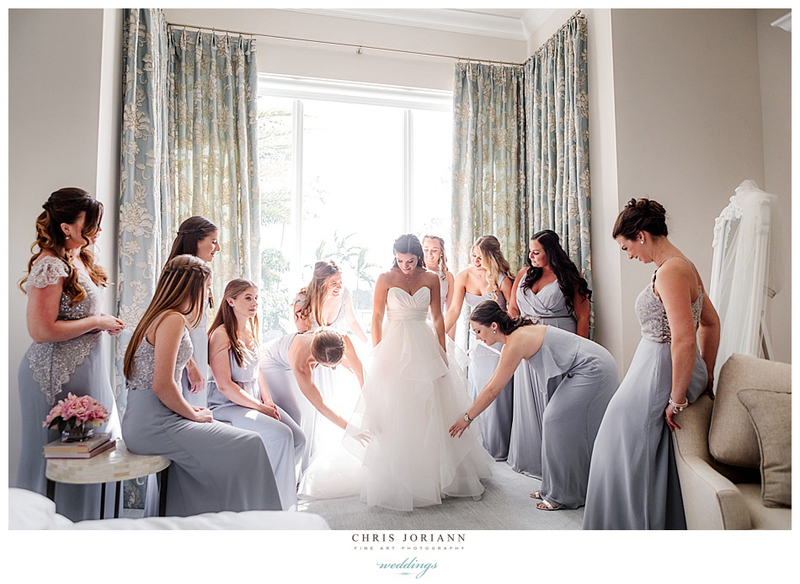 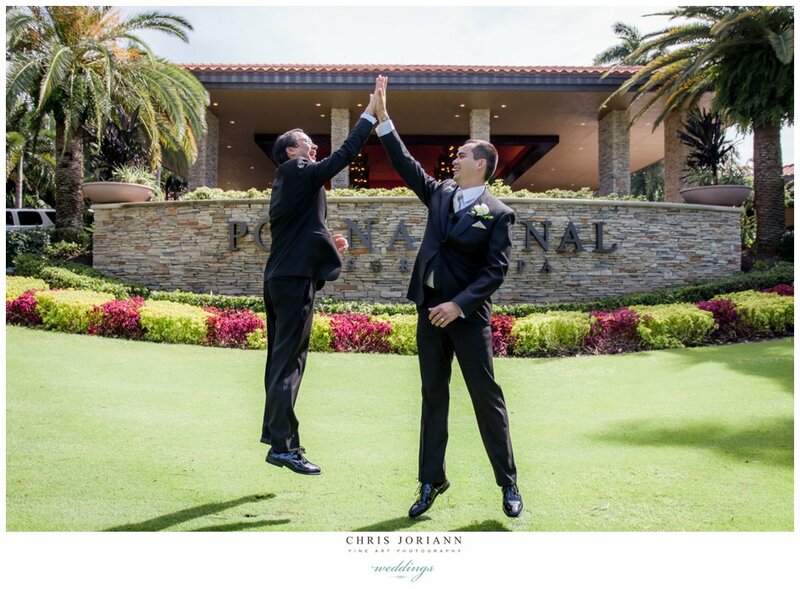 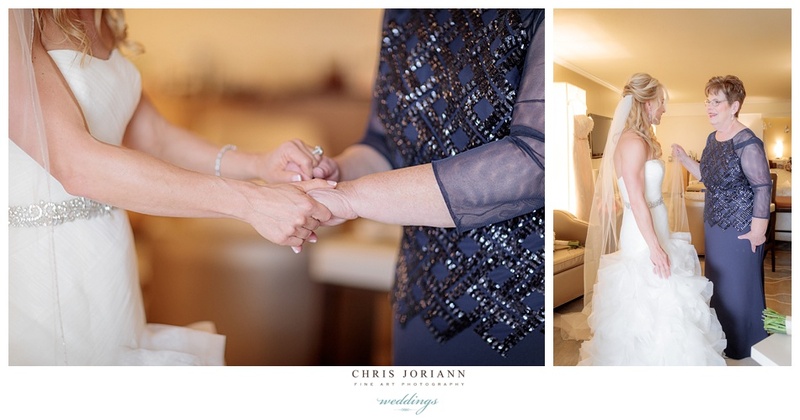 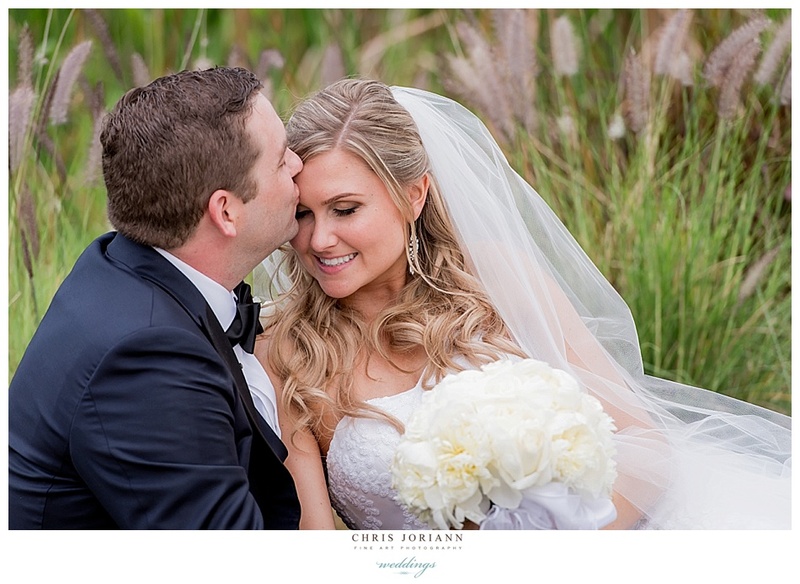 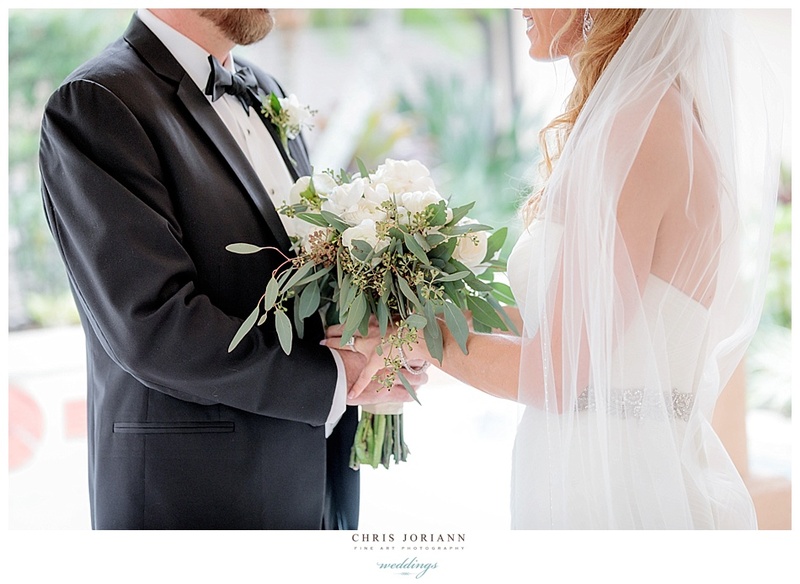 Stephanie + Ryan’s wedding reception was held at the exclusive Trump National, Jupiter. 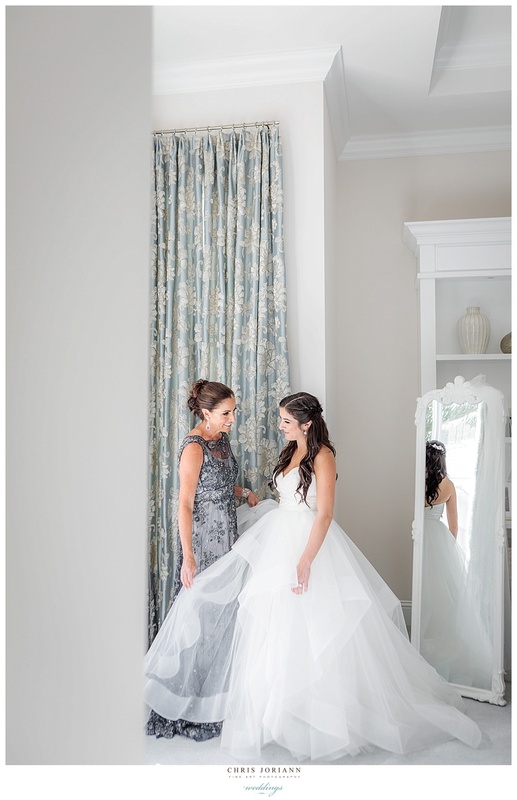 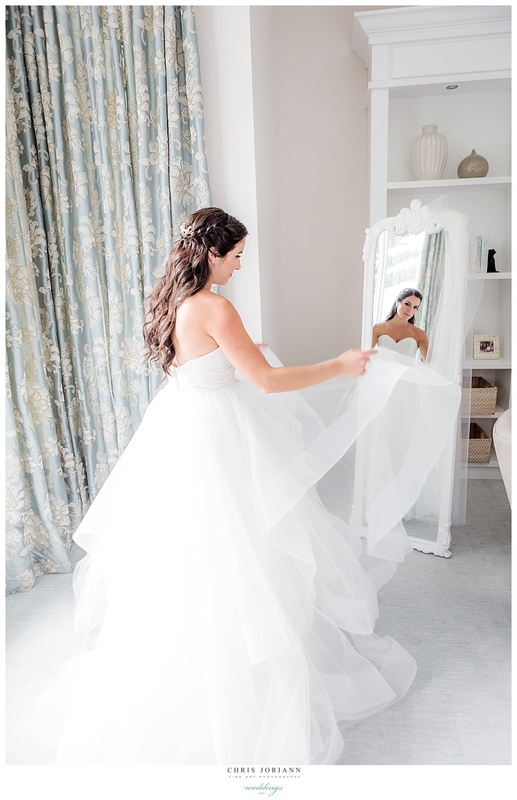 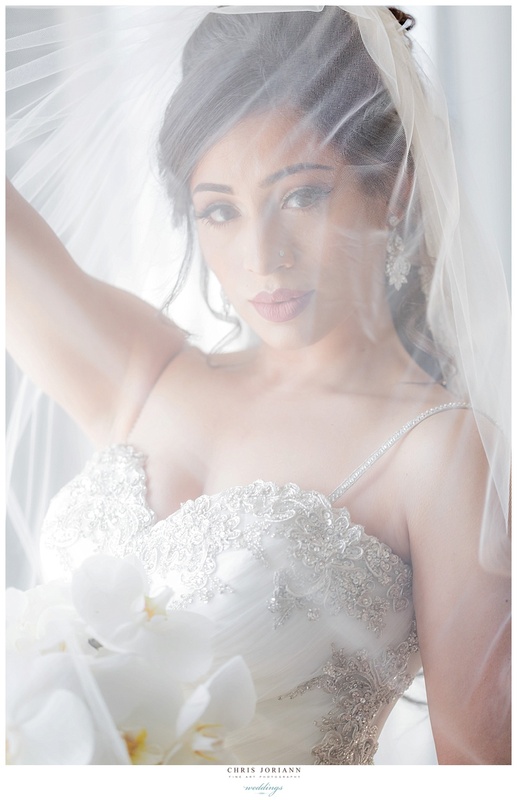 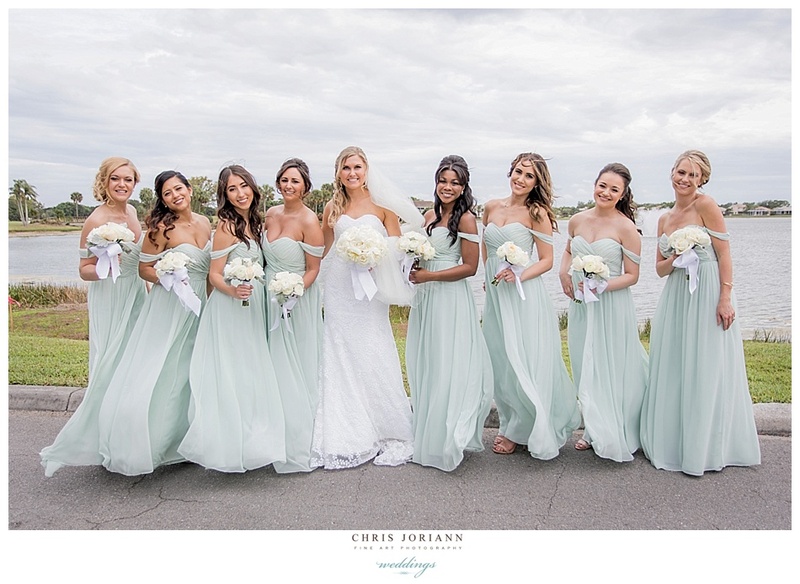 The bride was stunning in a Monique Lhullier gown. 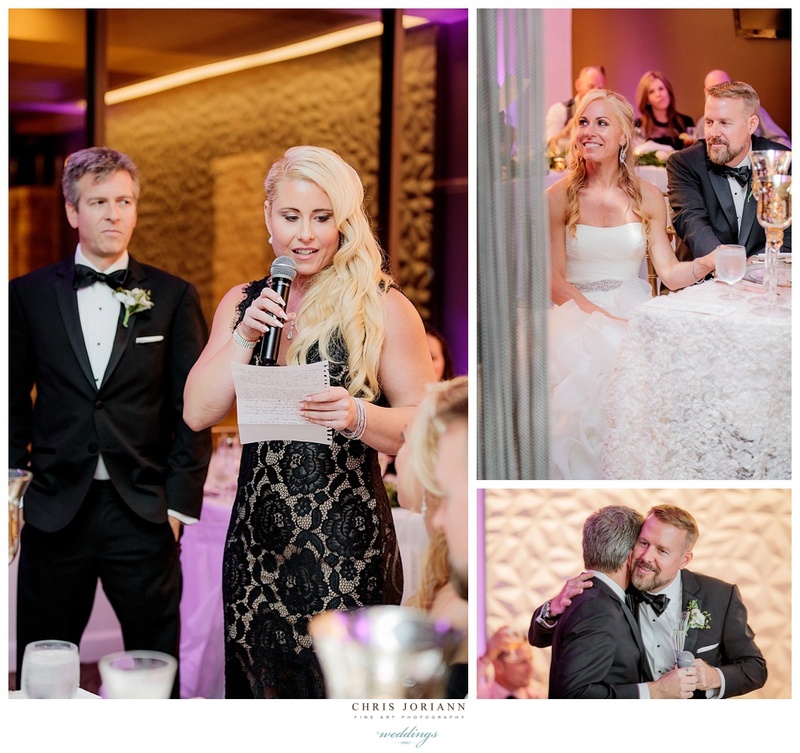 Following traditional nuptials at St. Patrick Catholic Church, guests enjoyed cocktails at sunset on the veranda overlooking Trump National’s golf course. 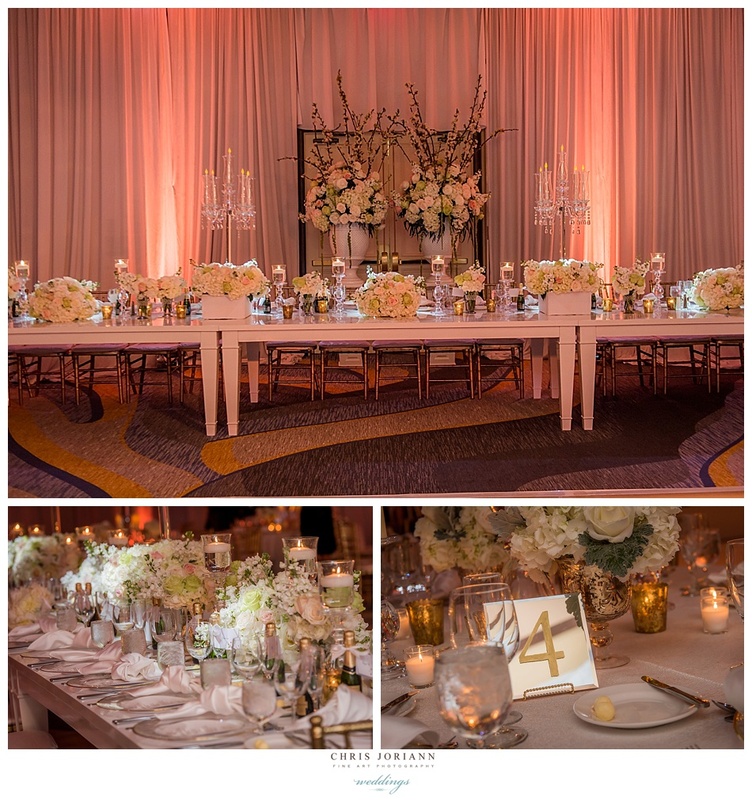 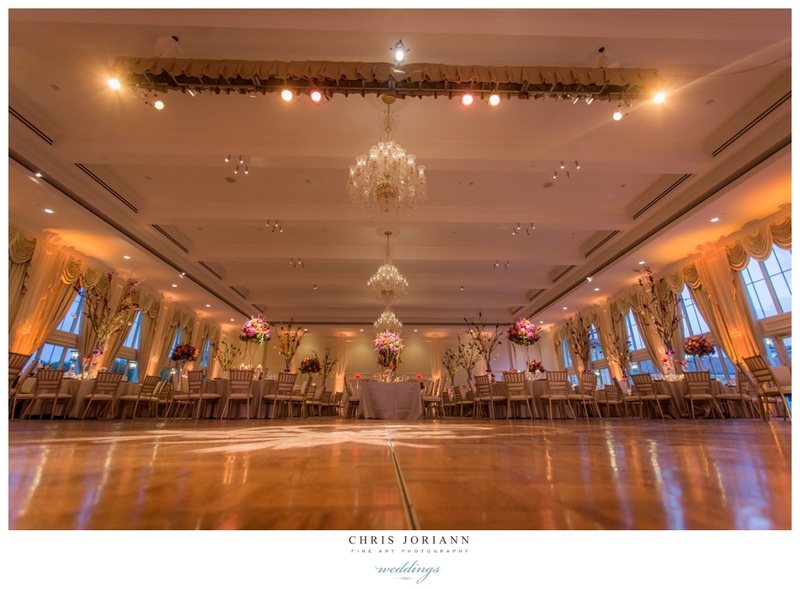 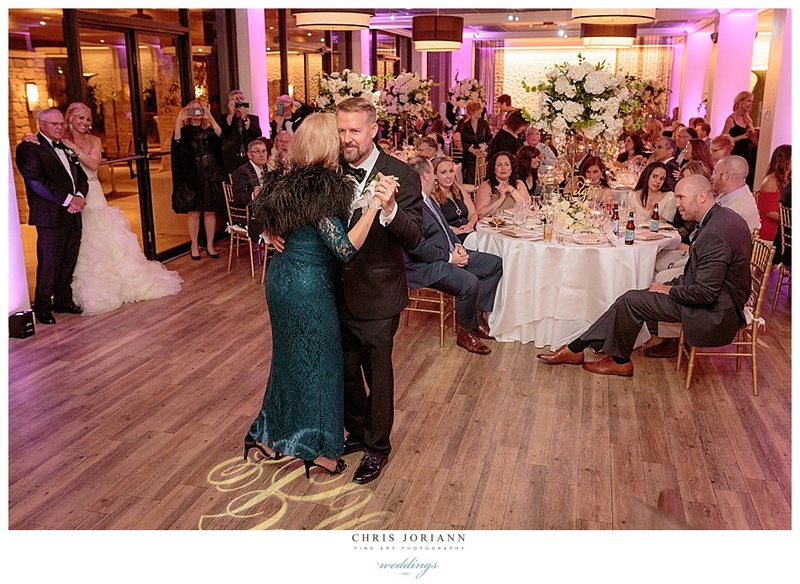 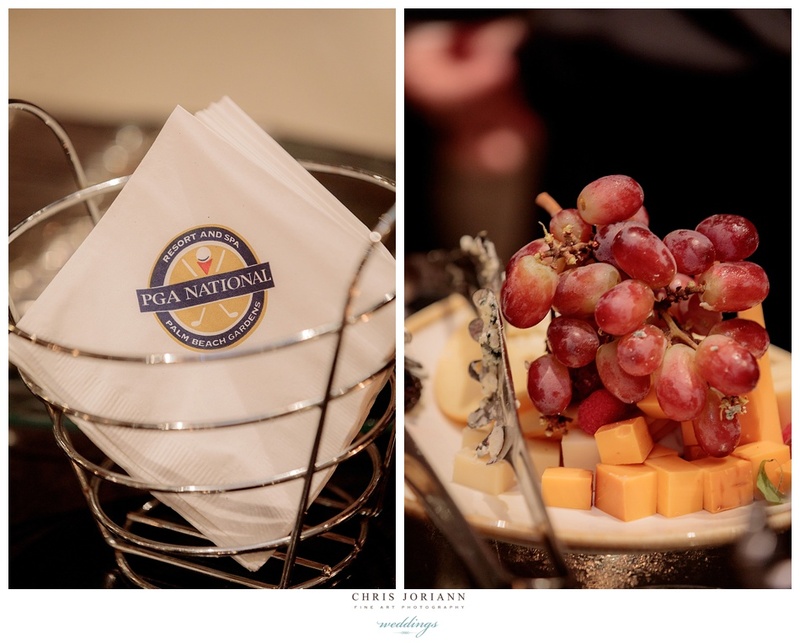 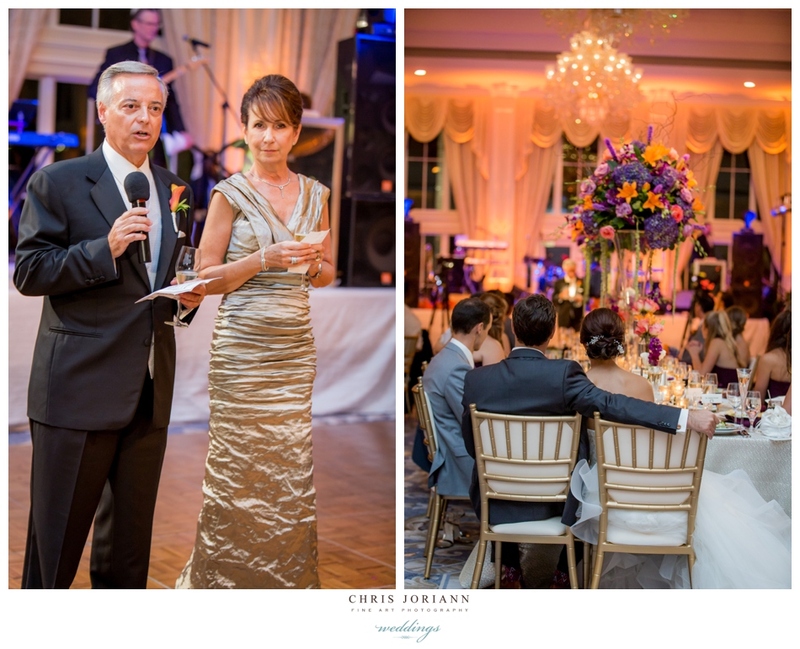 The reception dinner in the new ballroom, was coordinated by Jaime Mucciolo for Love Grace Weddings + Events and managed by Nancy Salatto Deighan for Trump National. 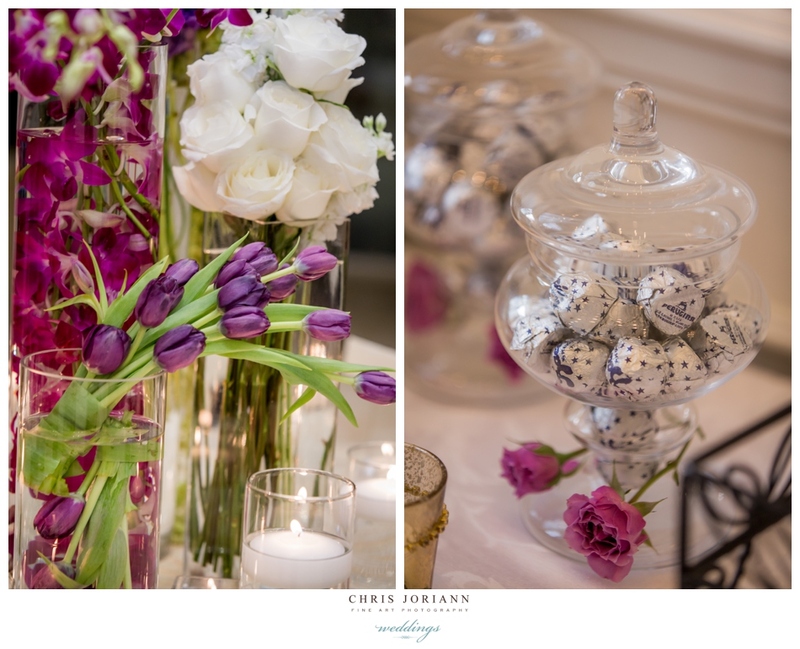 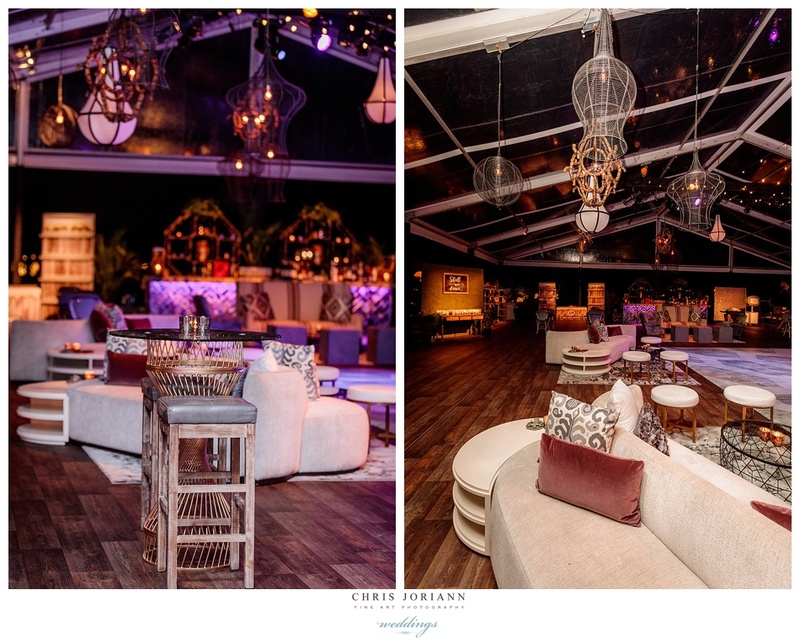 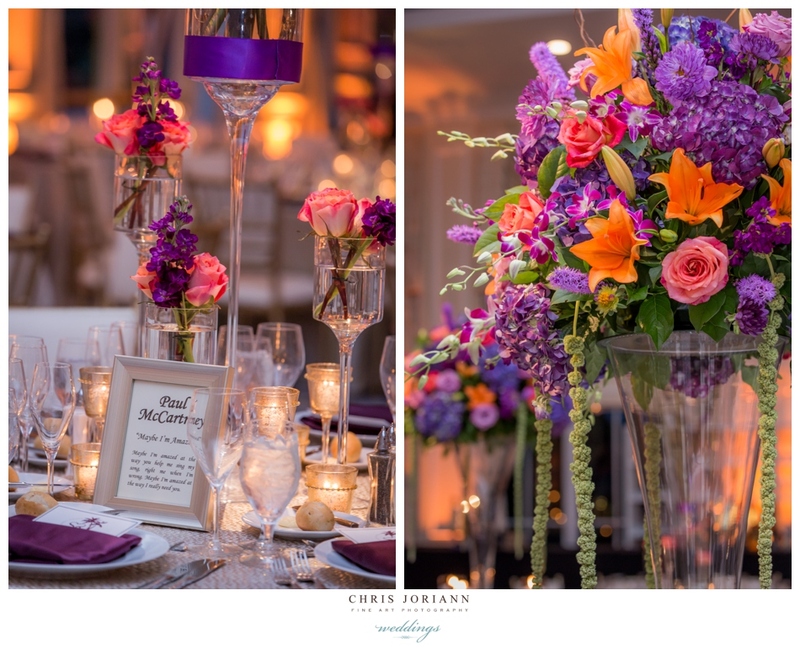 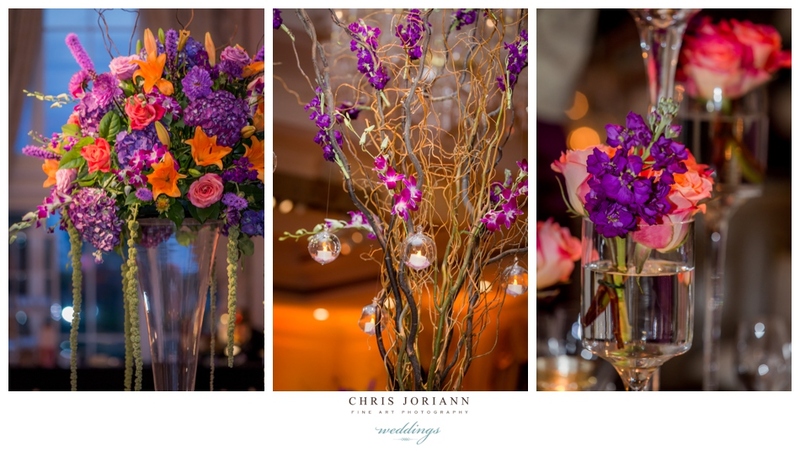 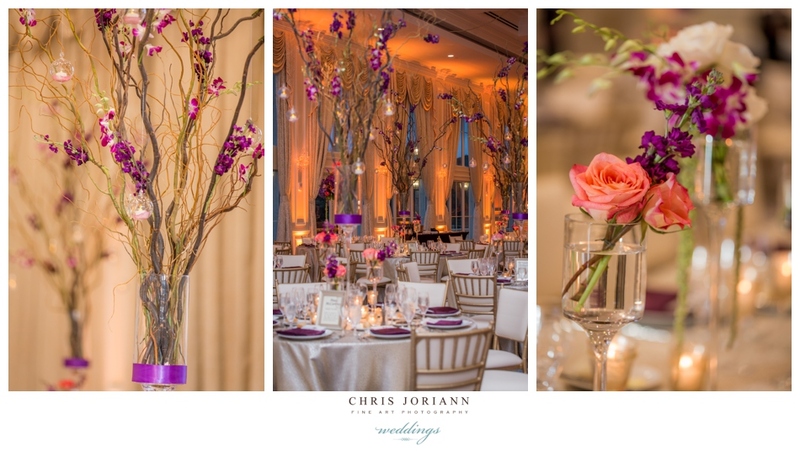 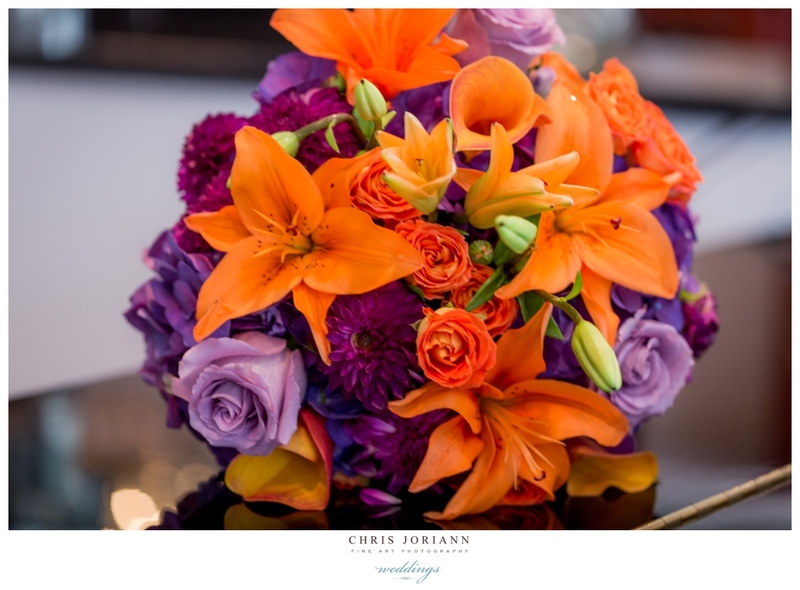 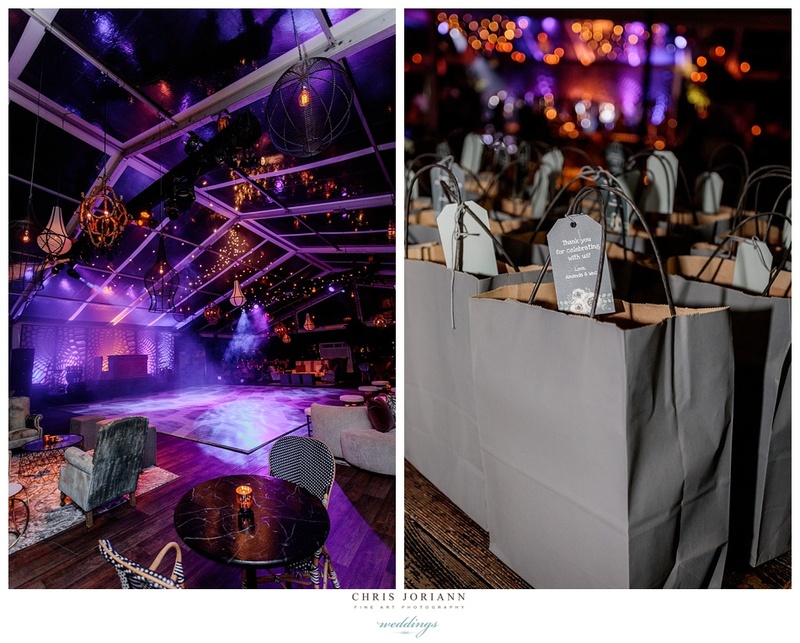 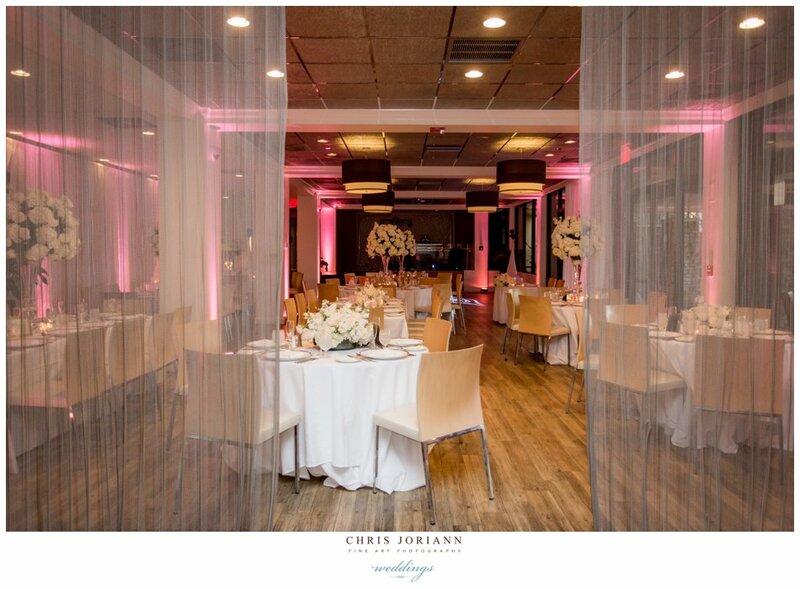 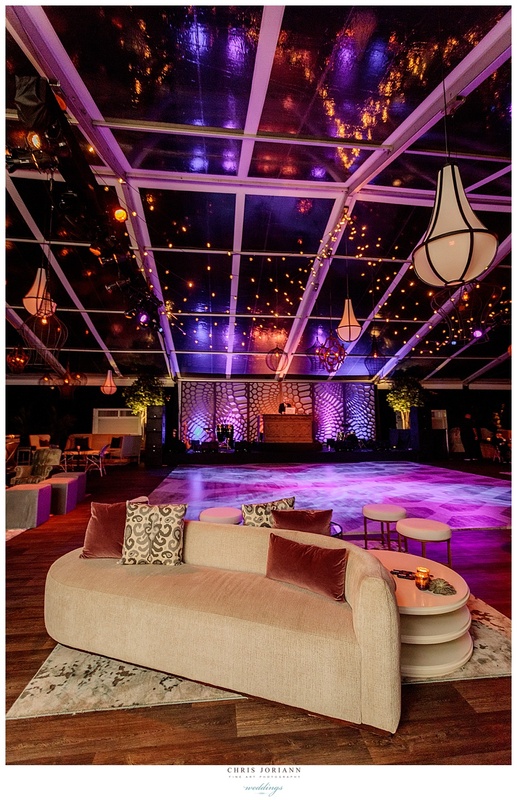 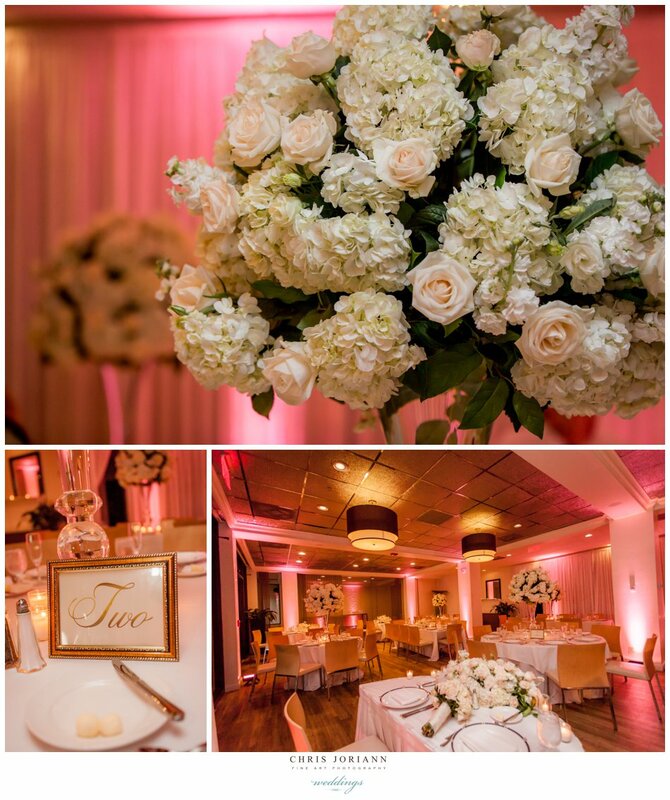 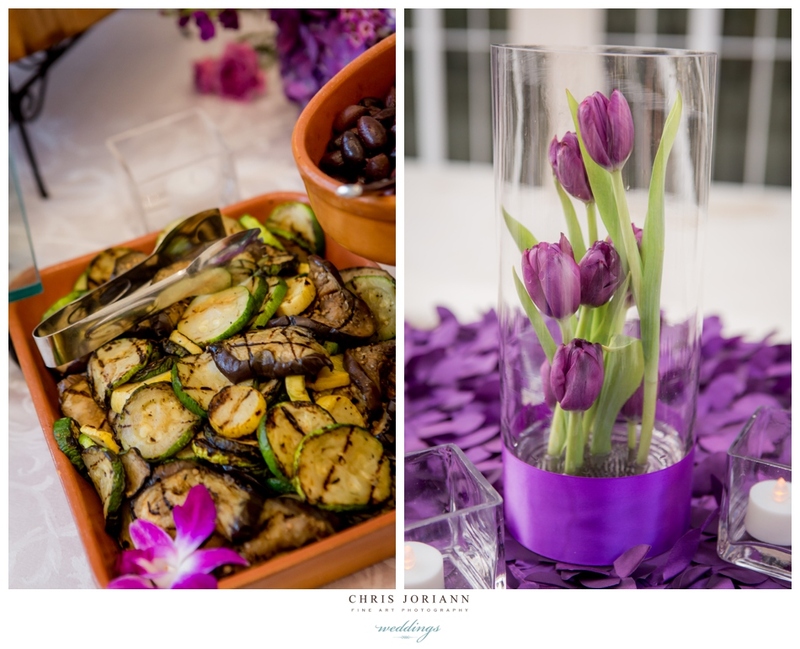 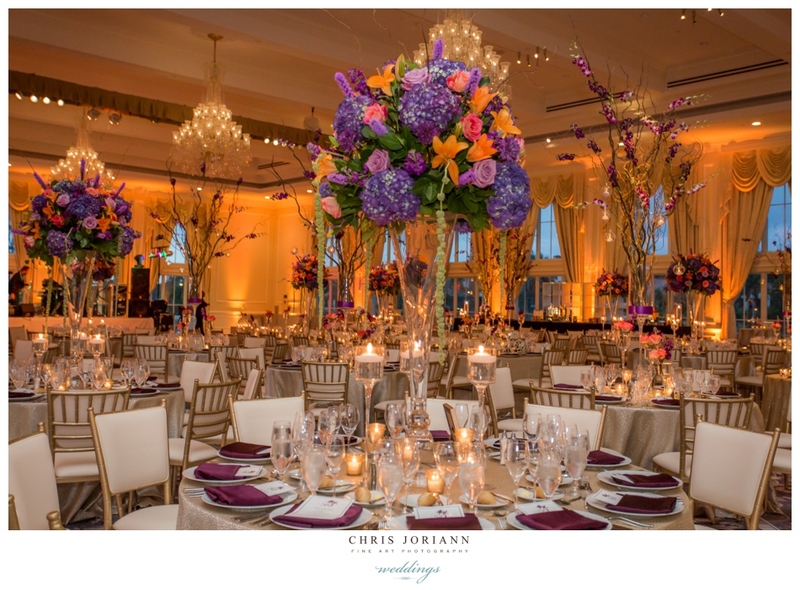 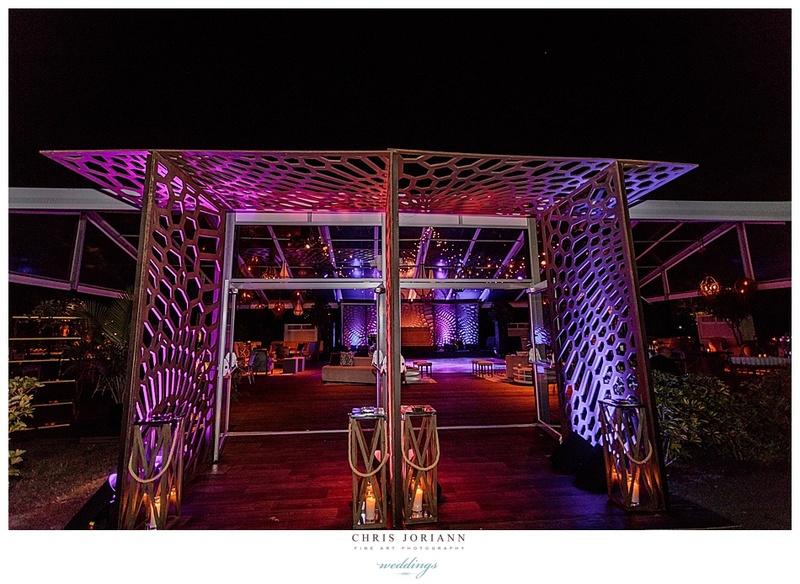 The event featured décor by Special Event Resource + Design Group in a beautiful plumb, magenta and orange palette.